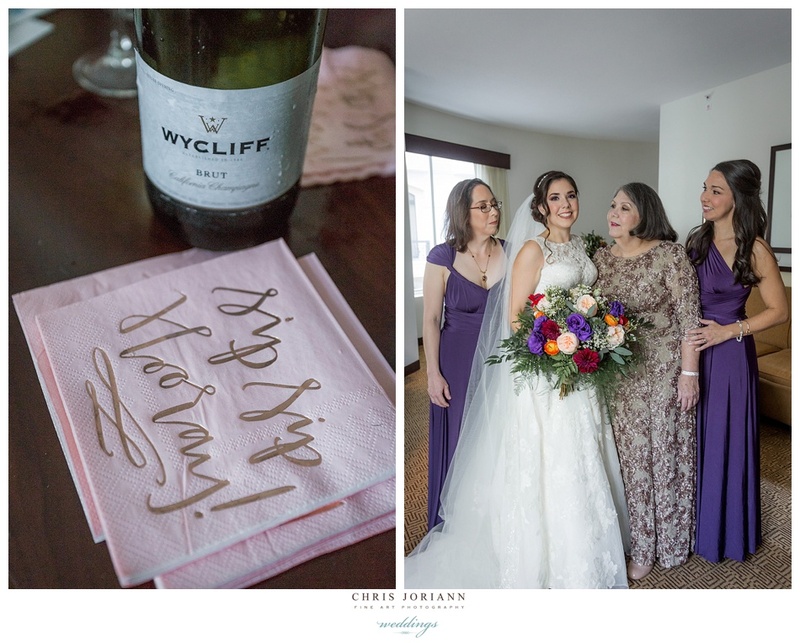 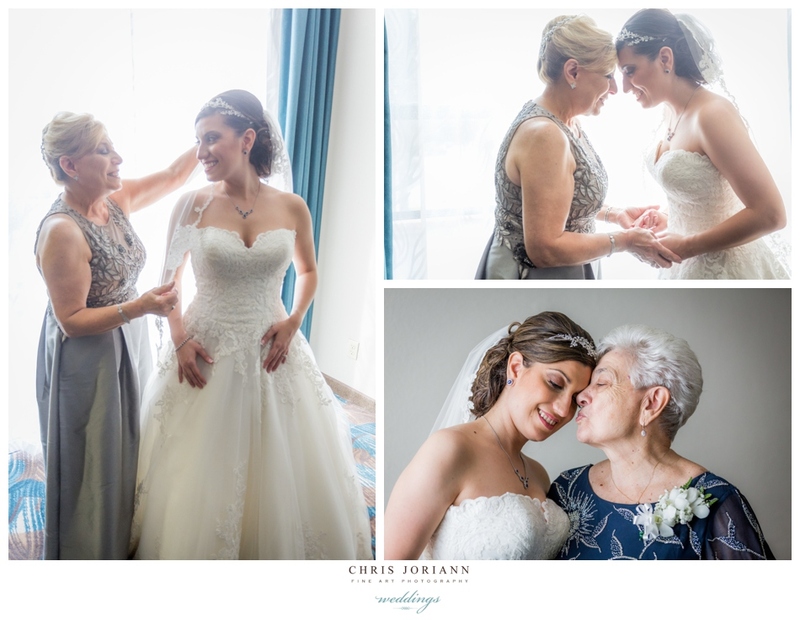 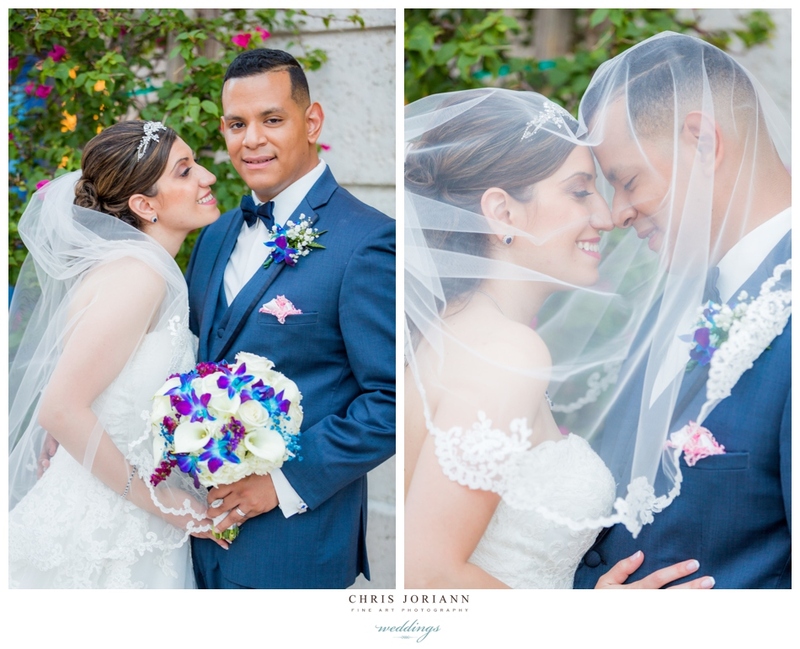 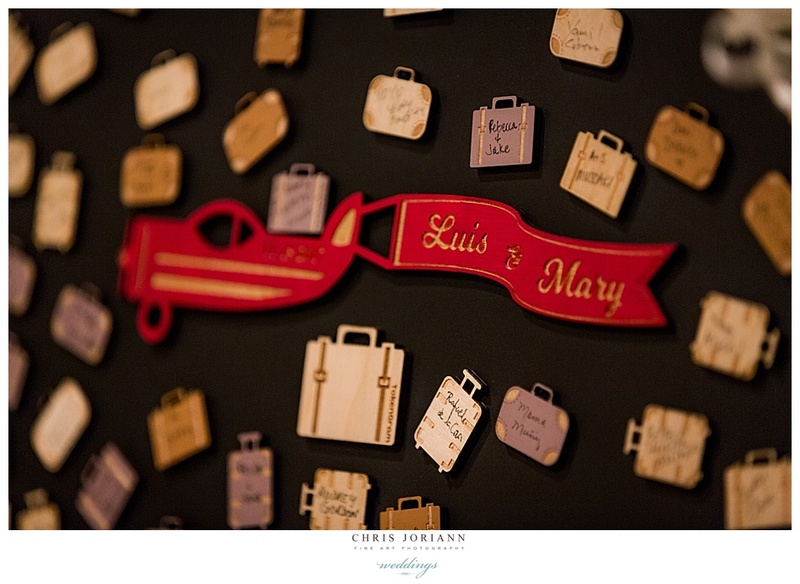 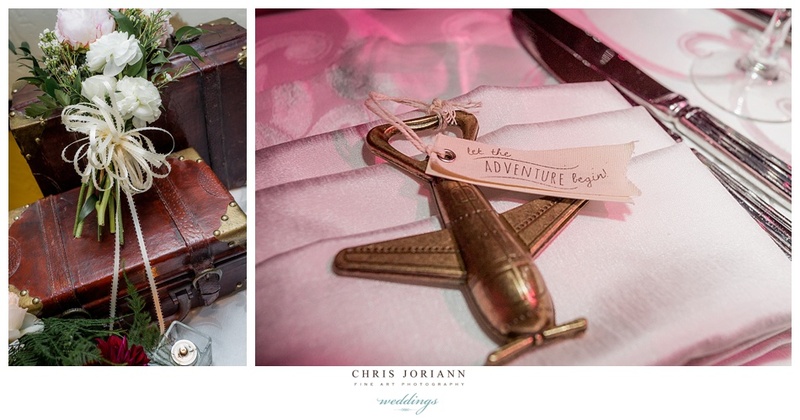 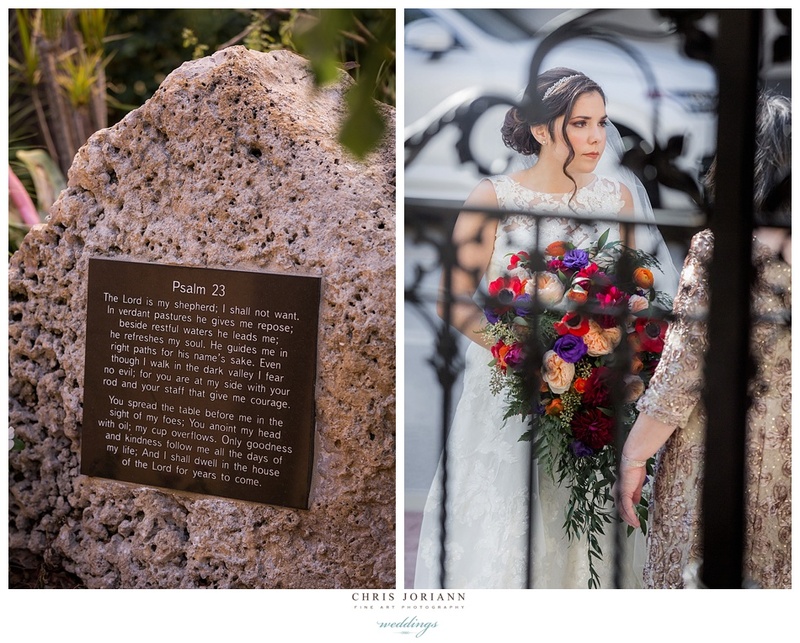 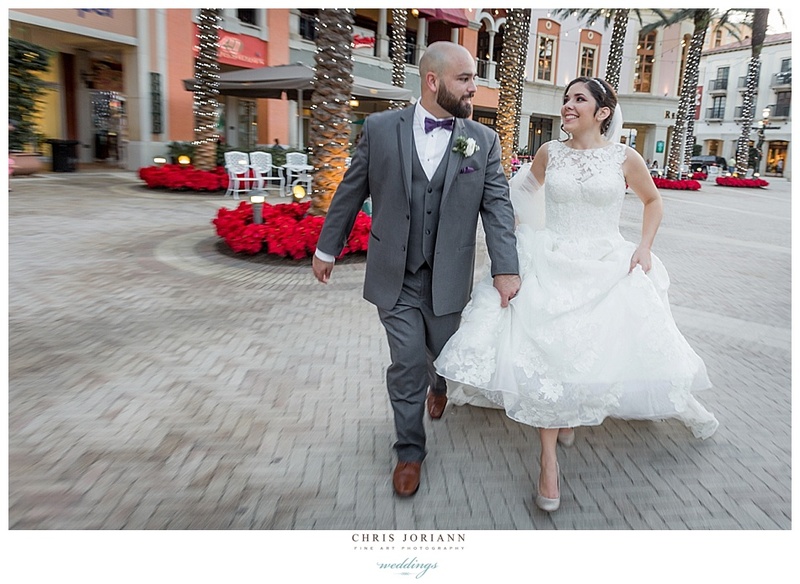 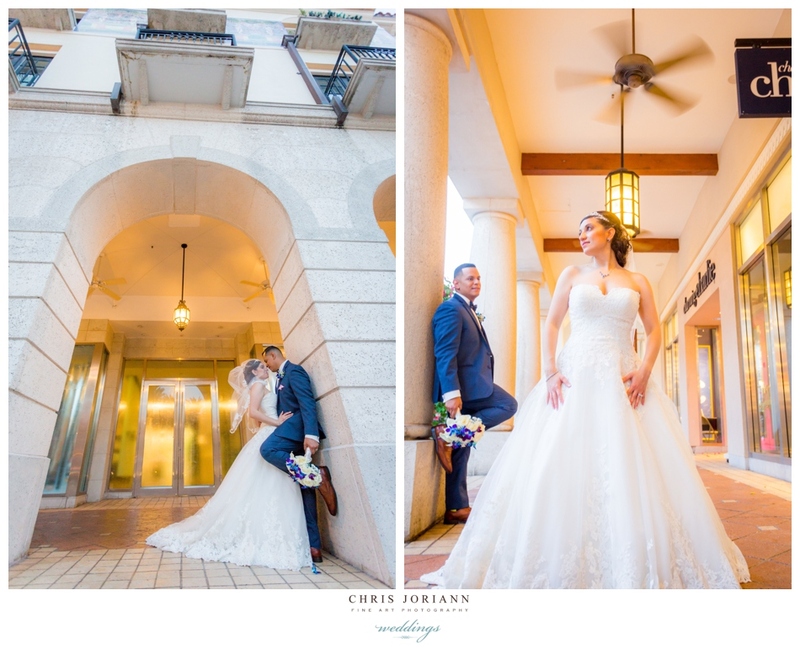 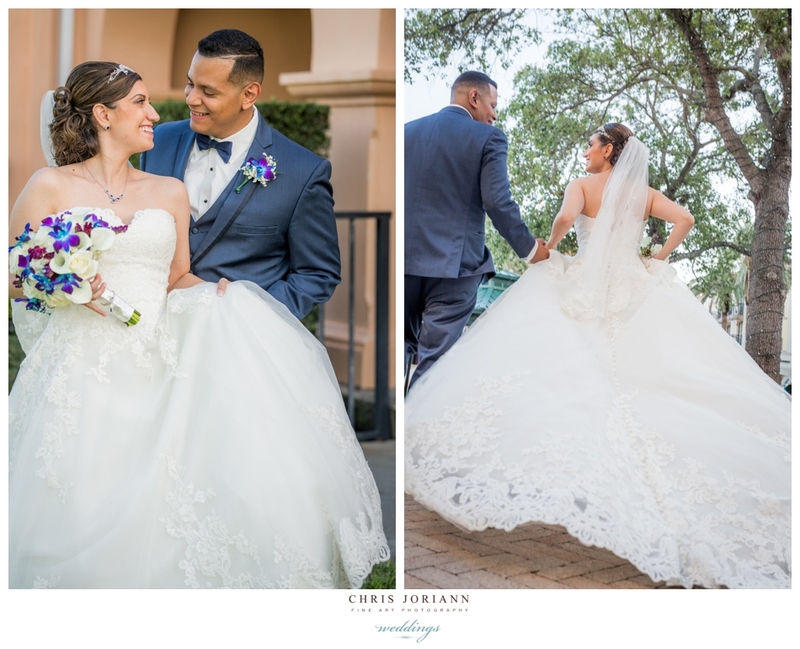 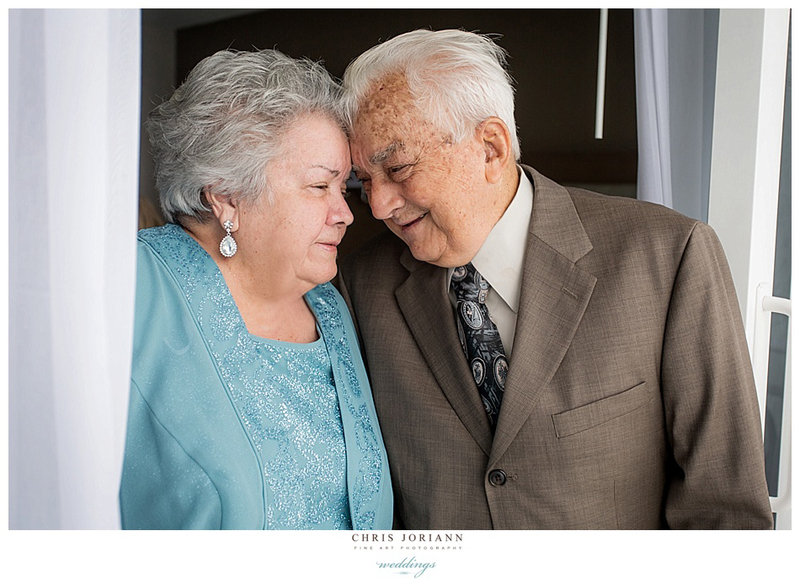 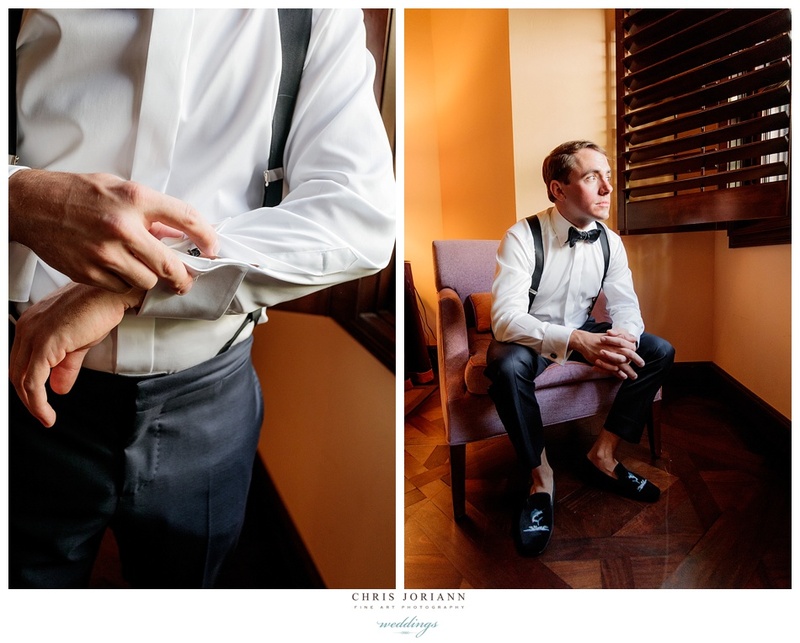 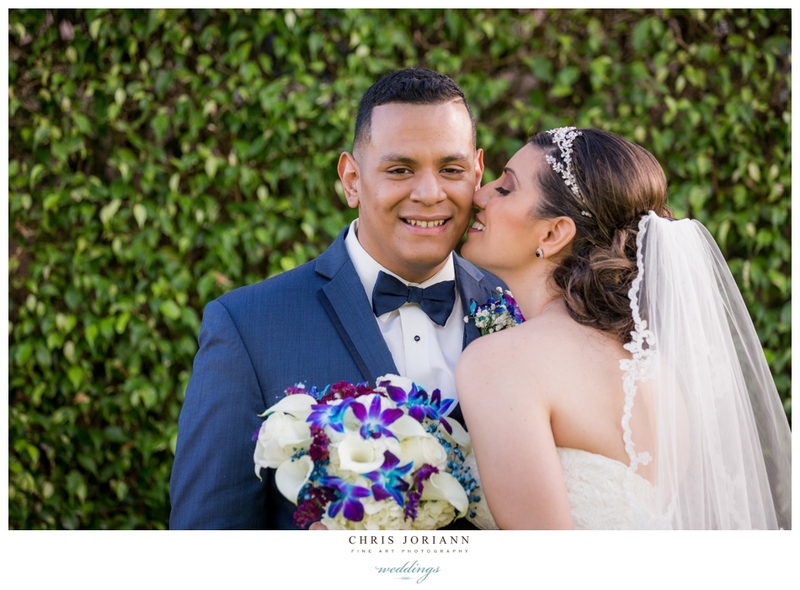 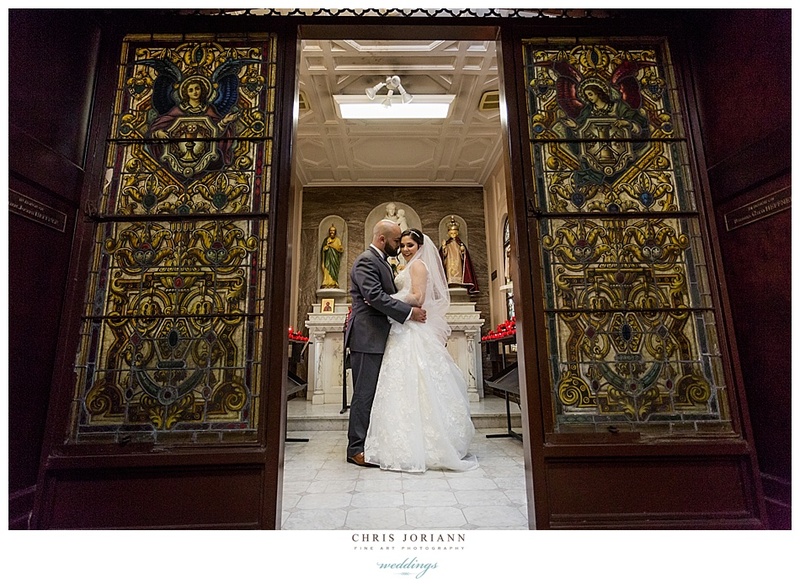 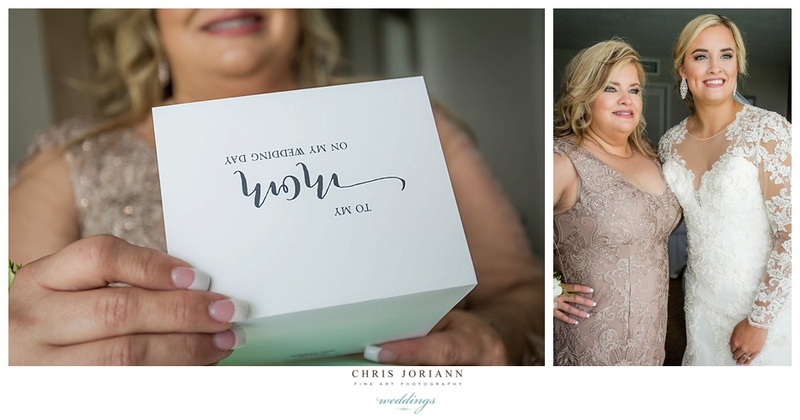 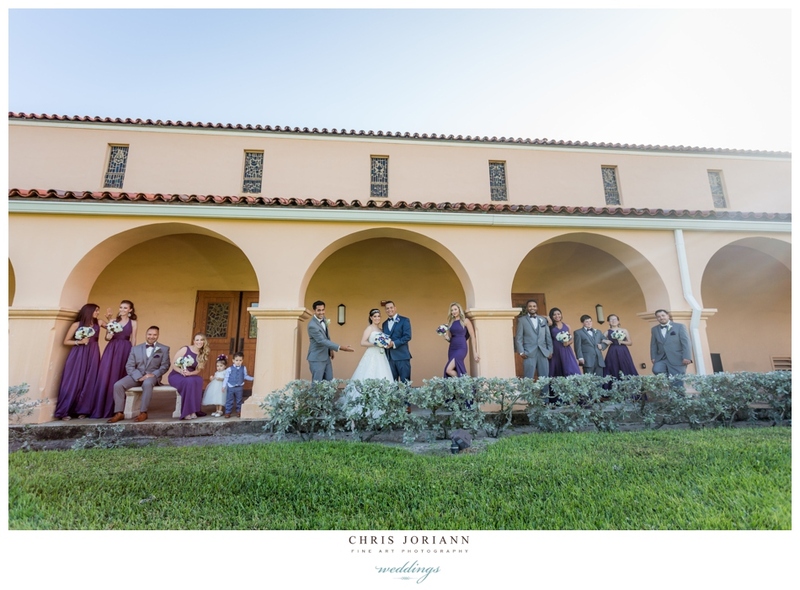 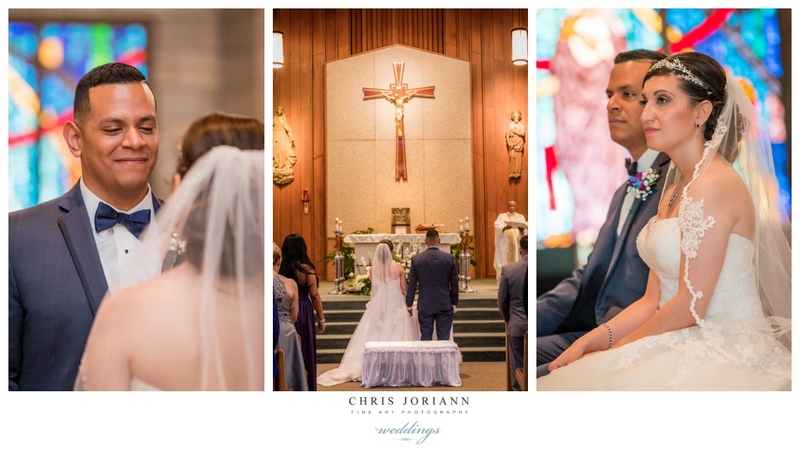 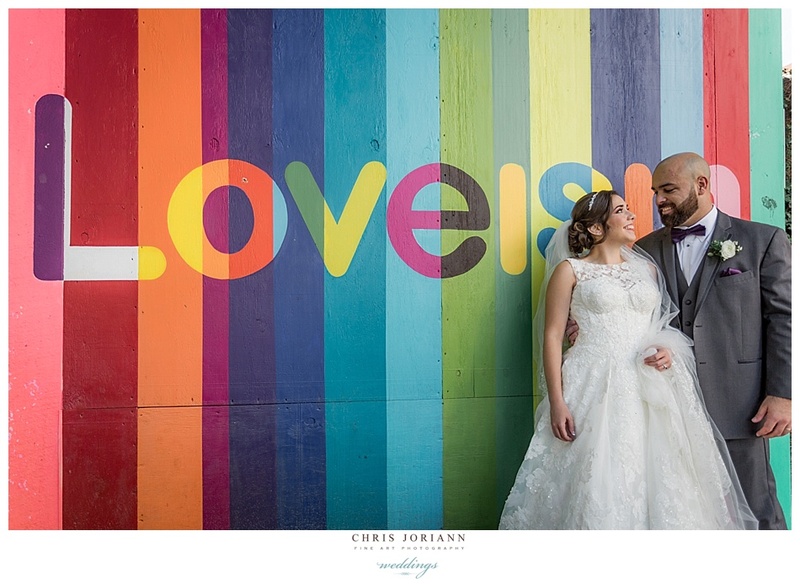 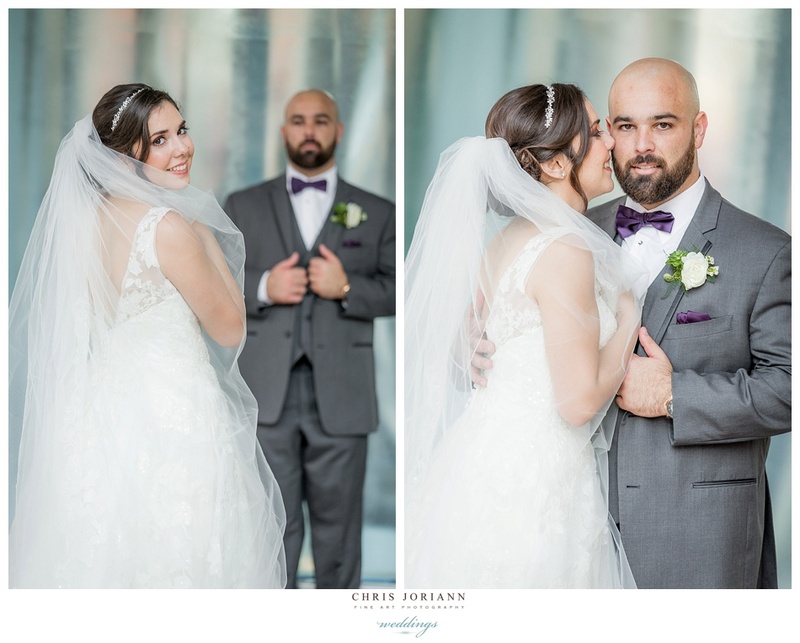 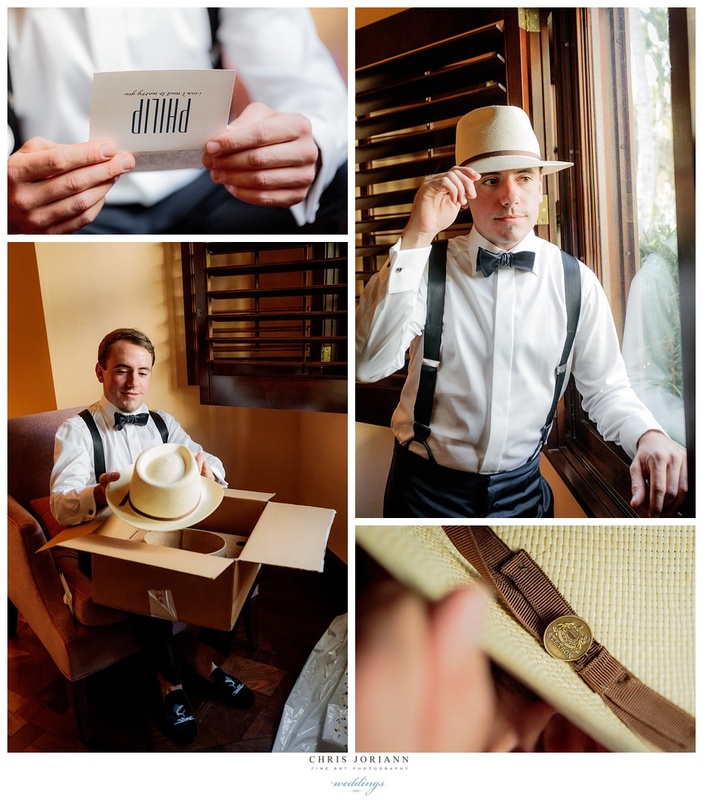 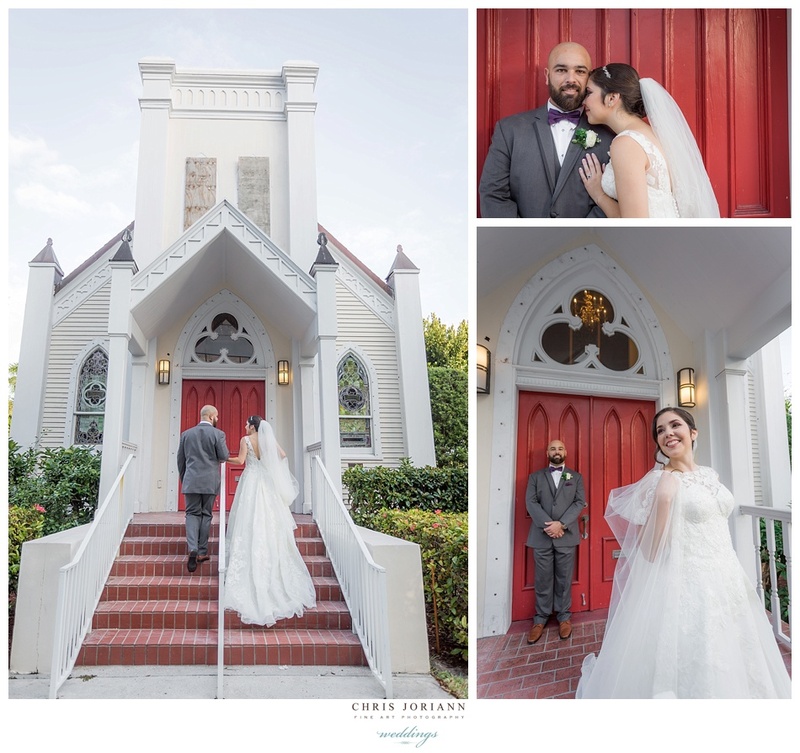 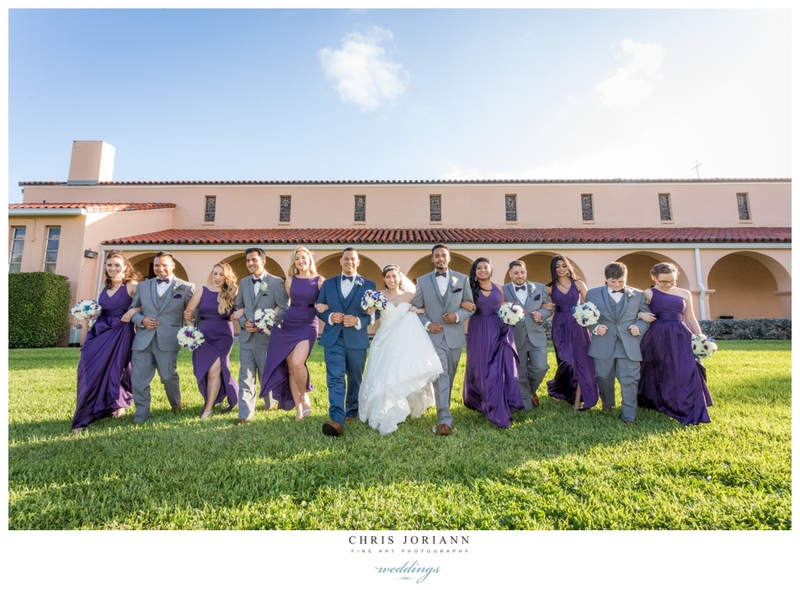 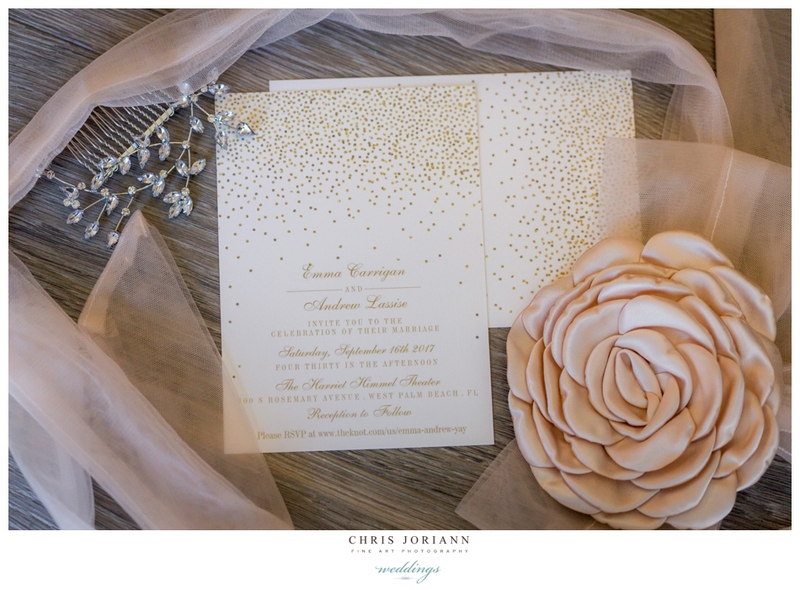 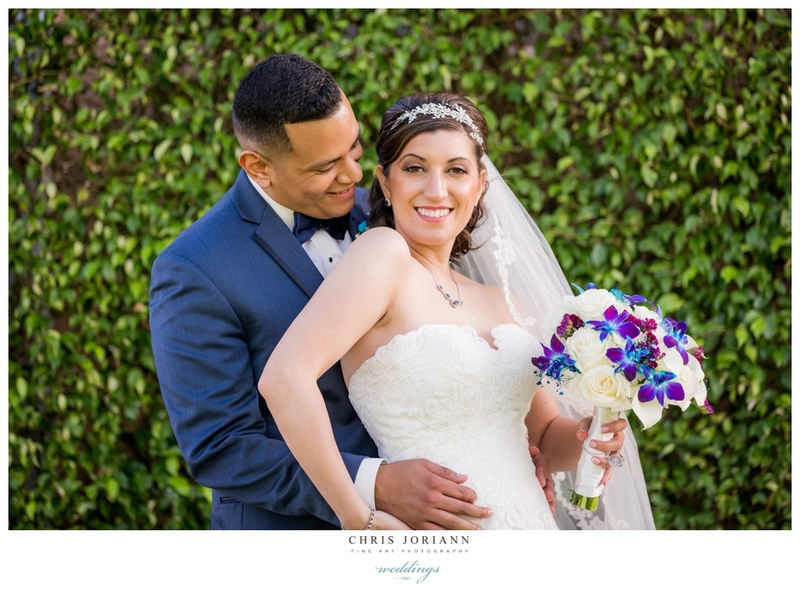 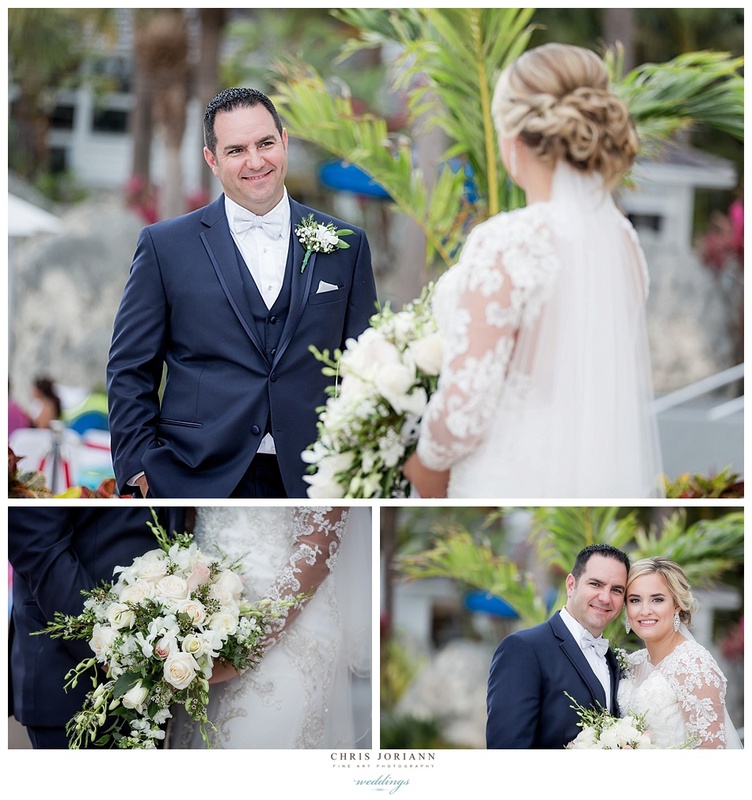 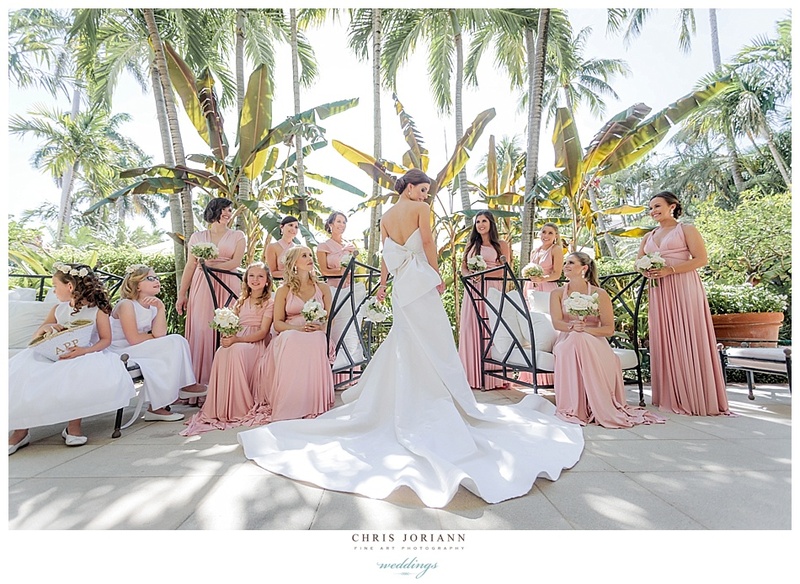 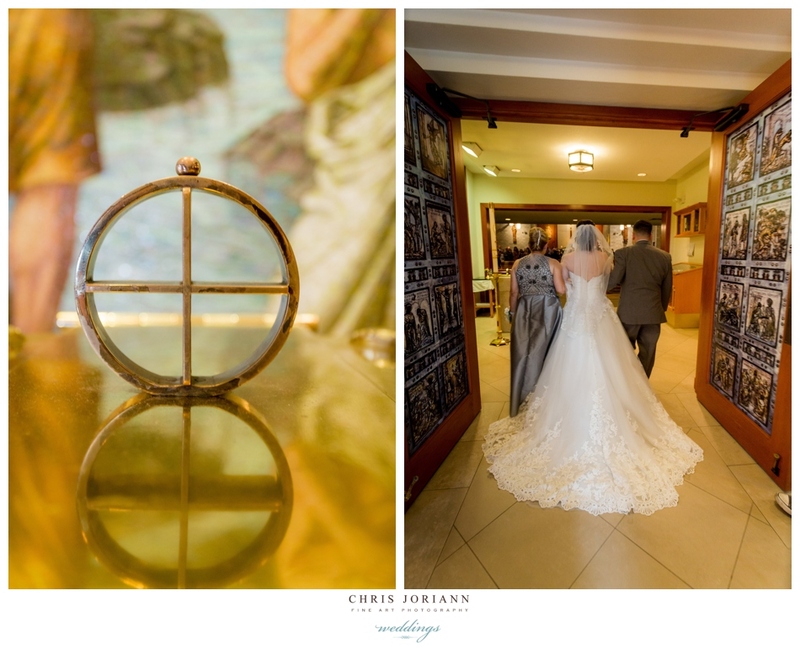 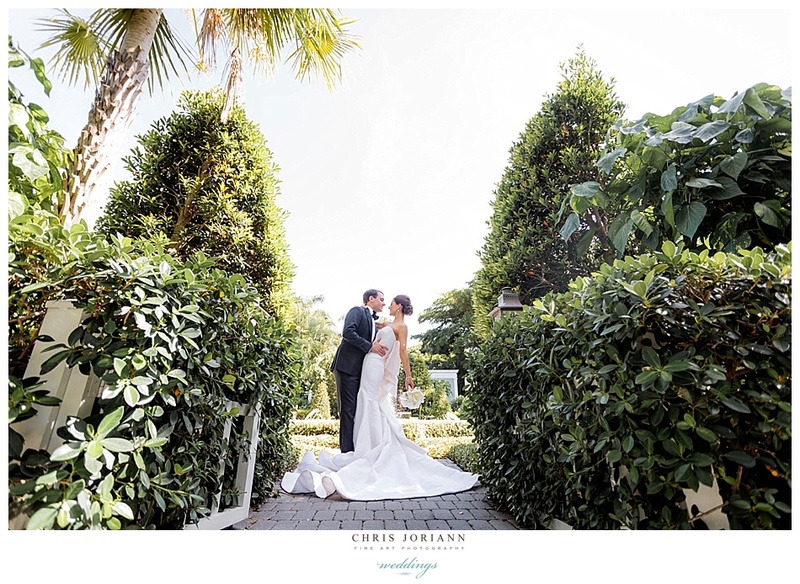 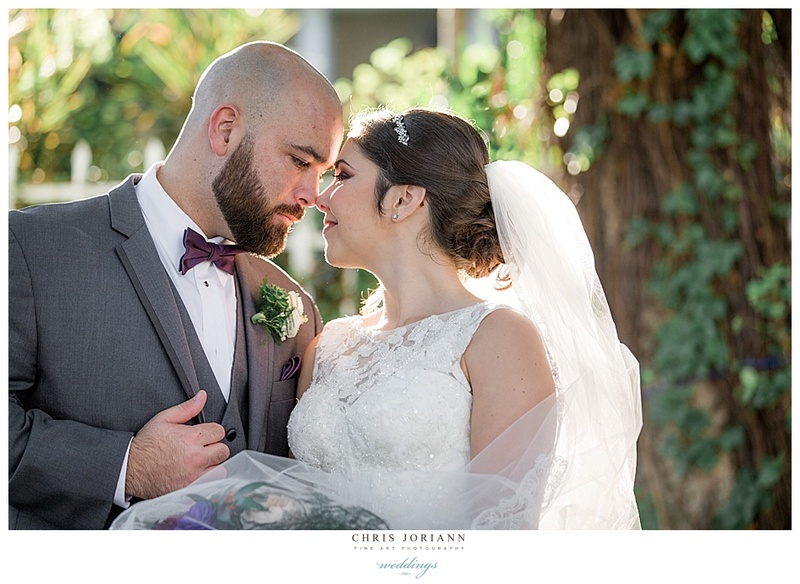 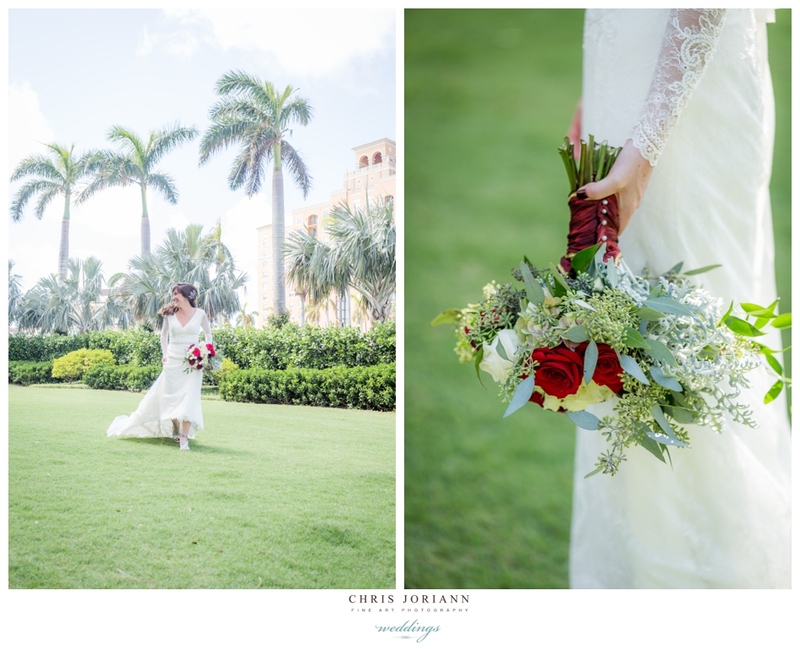 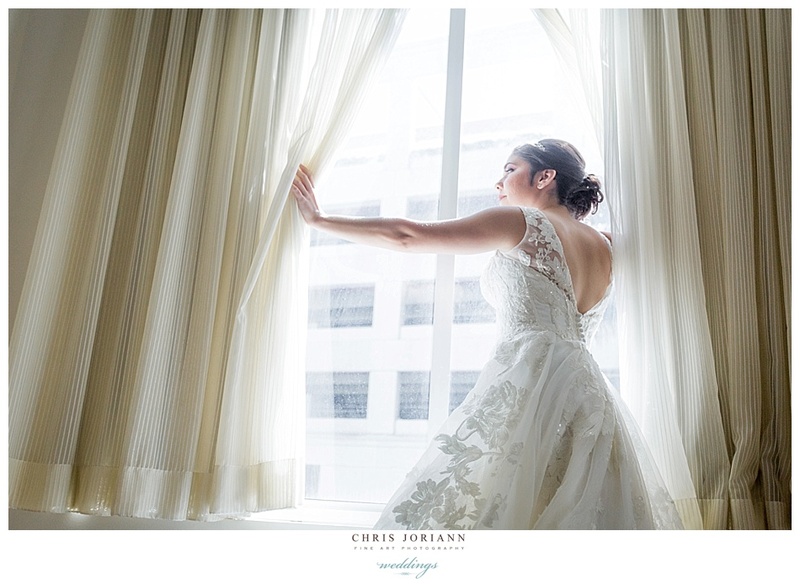 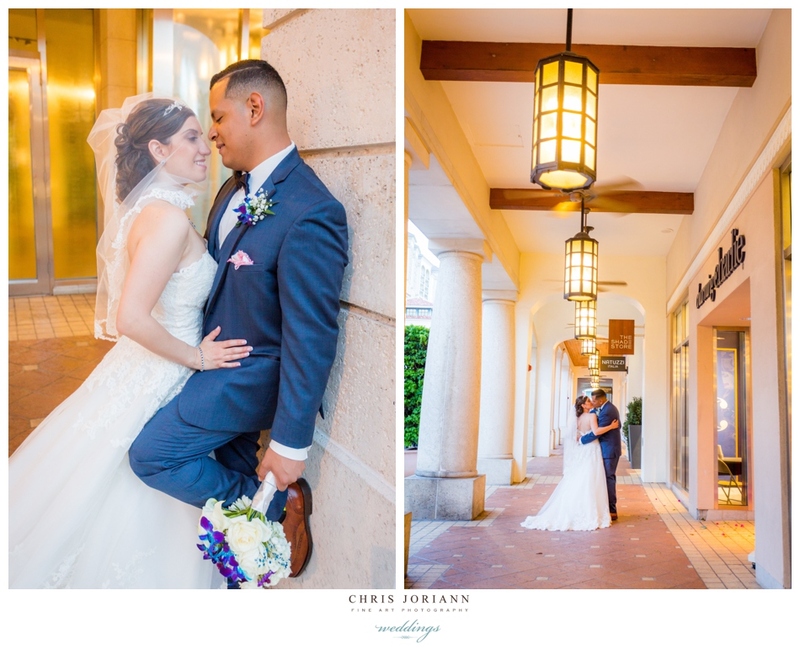 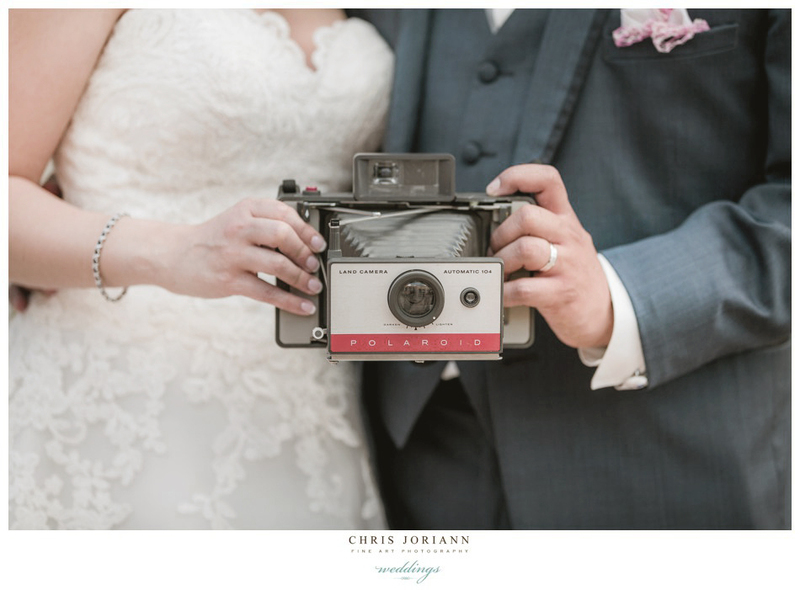 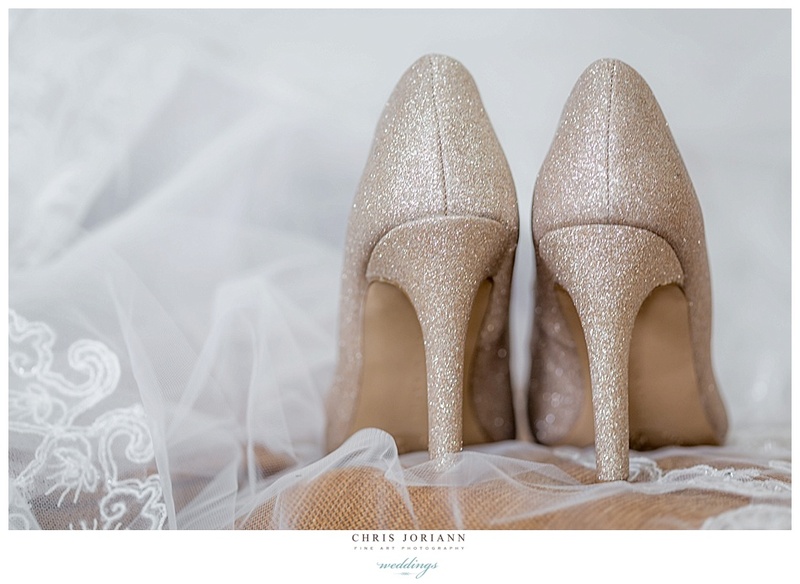 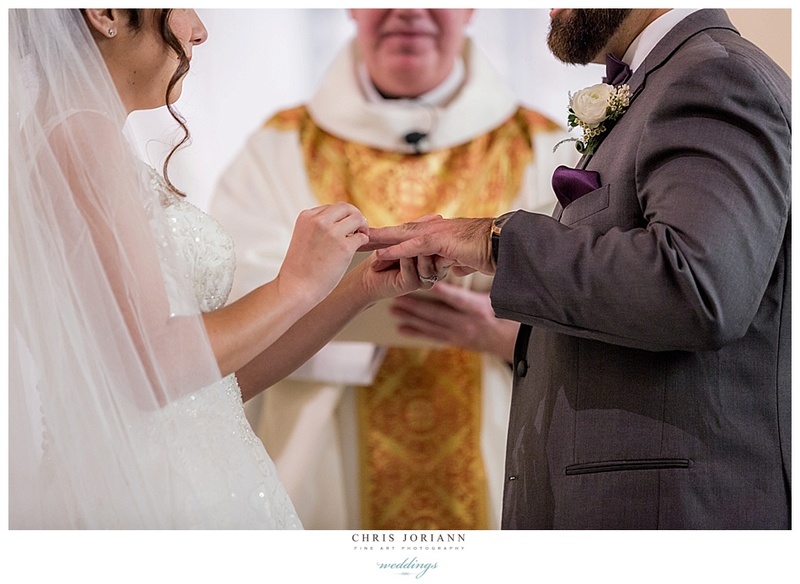 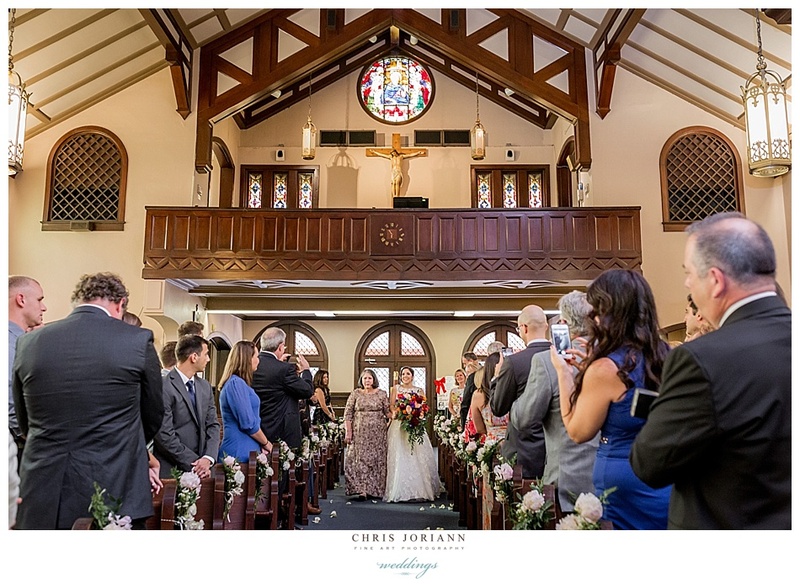 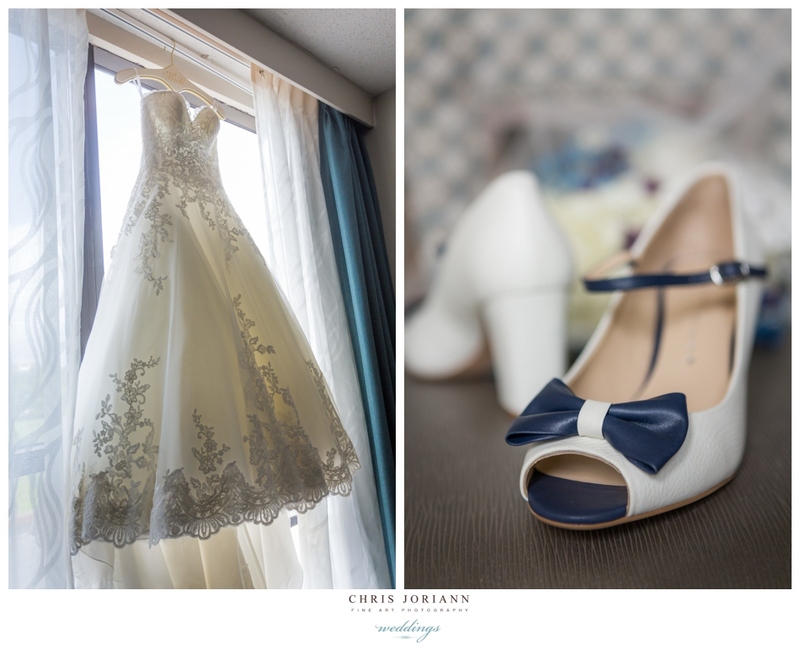 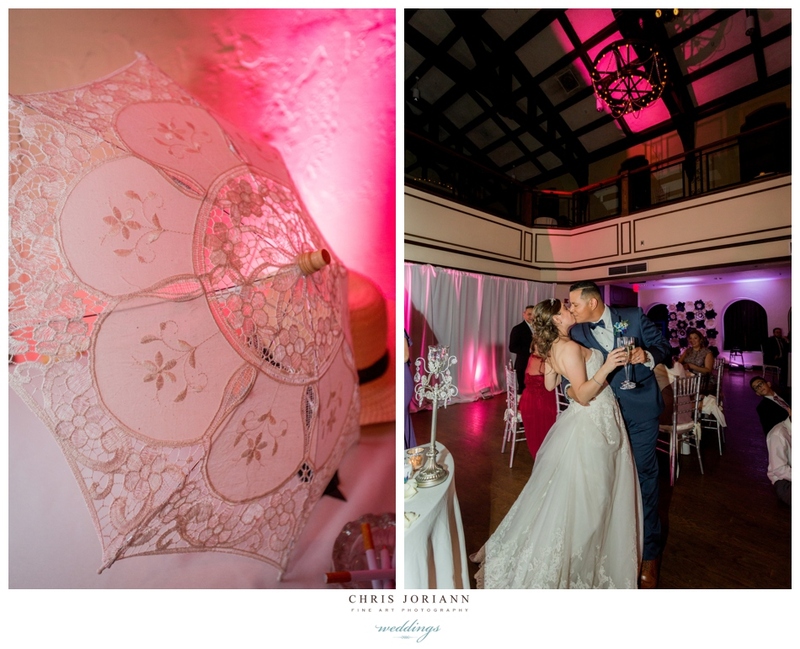 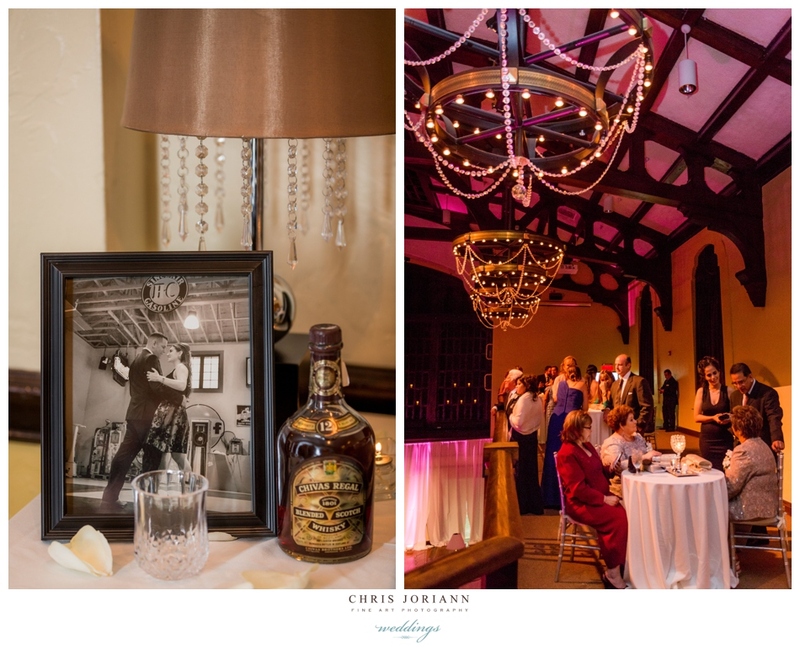 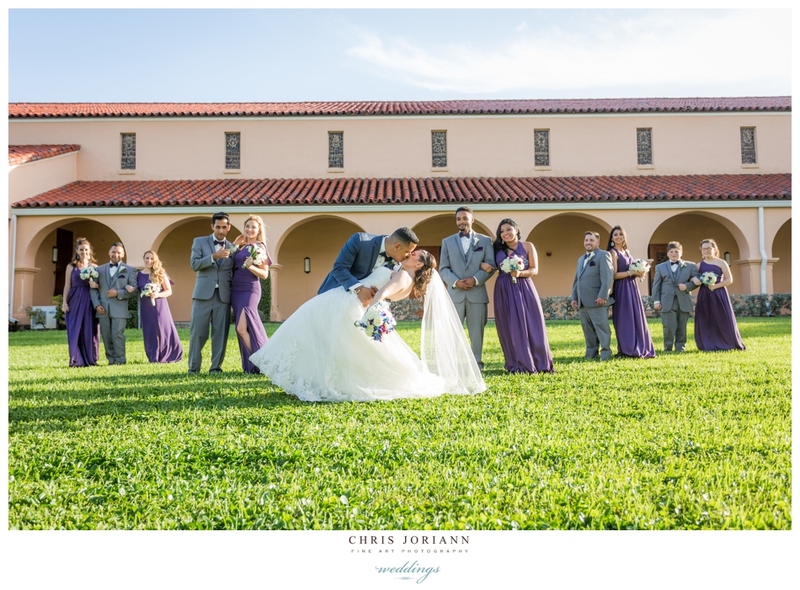 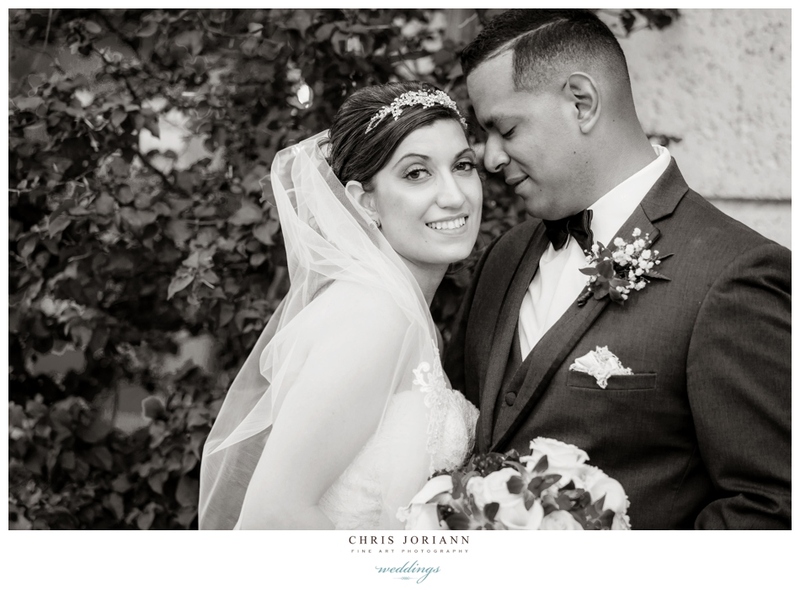 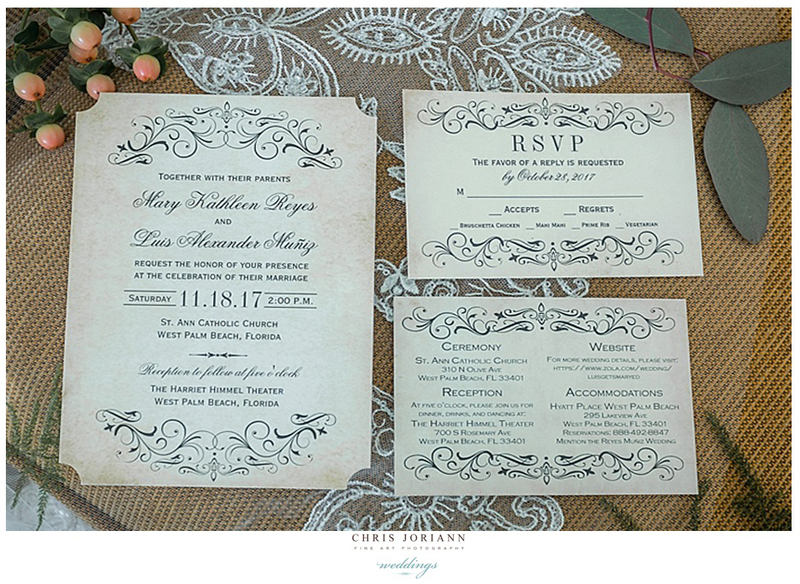 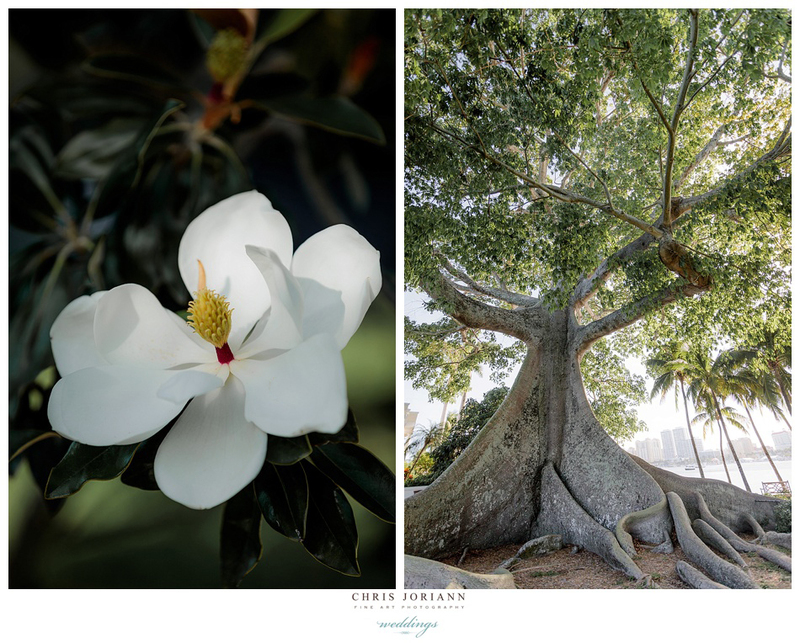 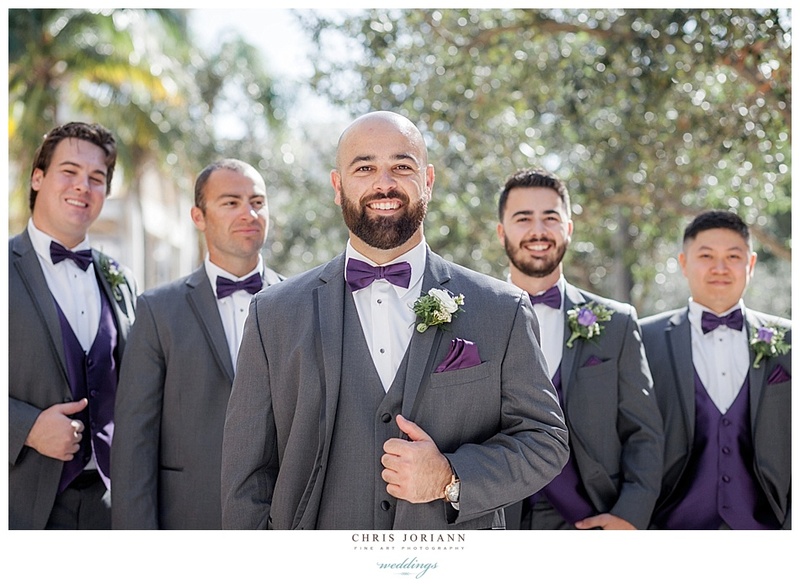 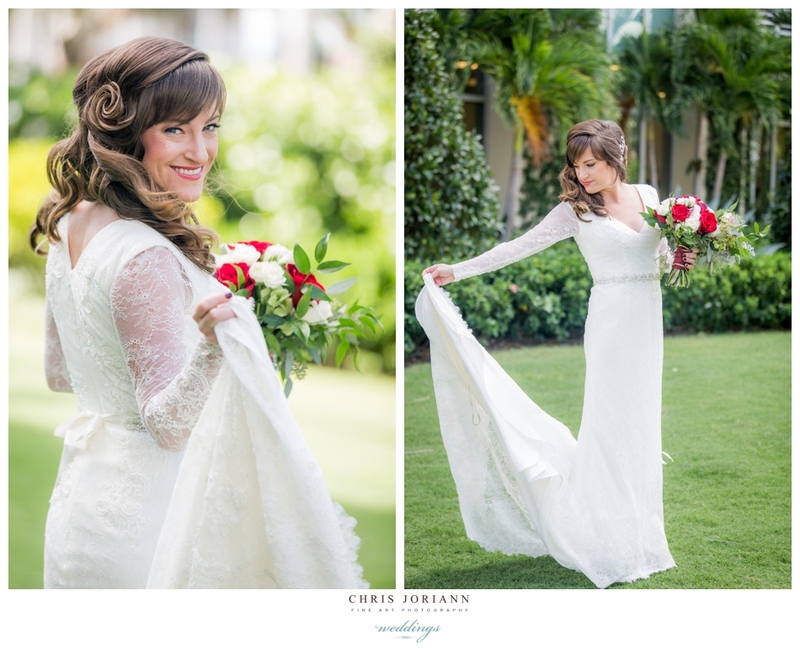 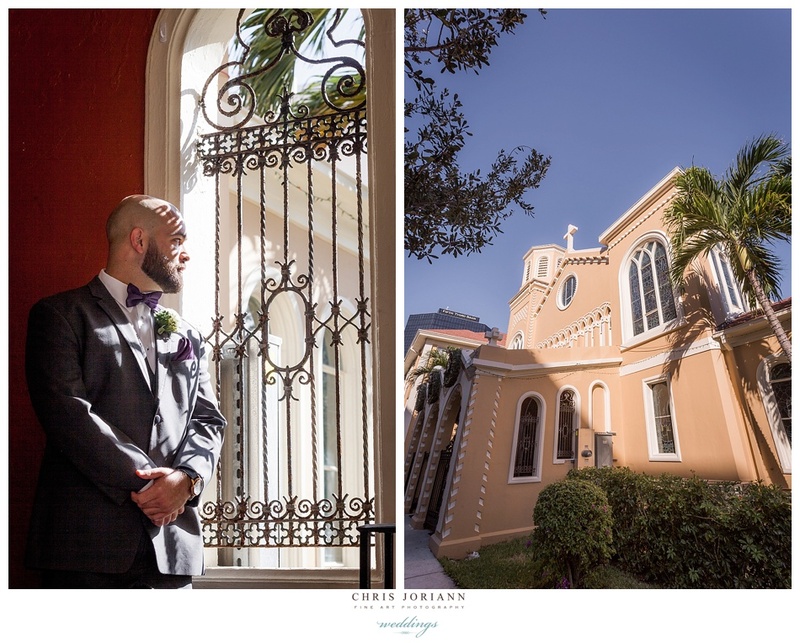 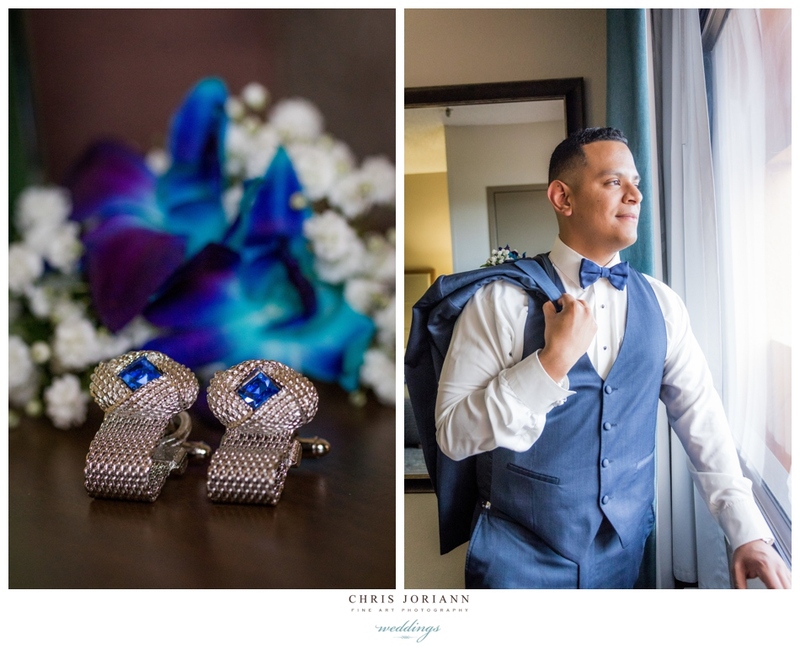 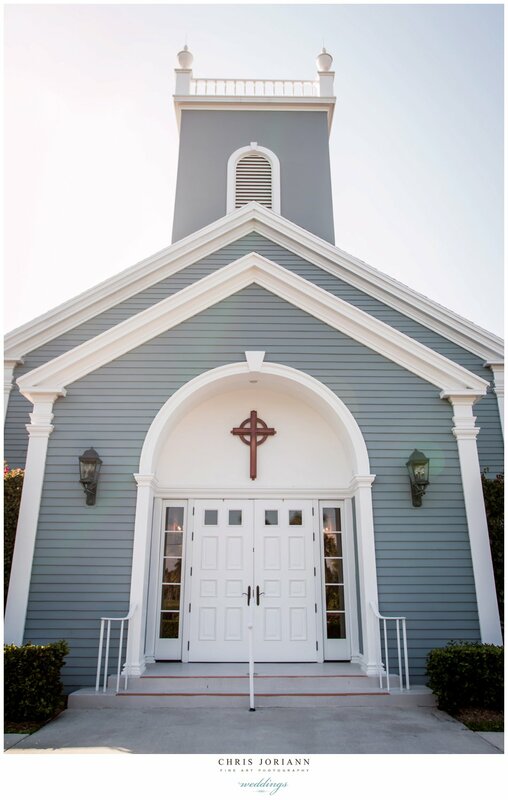 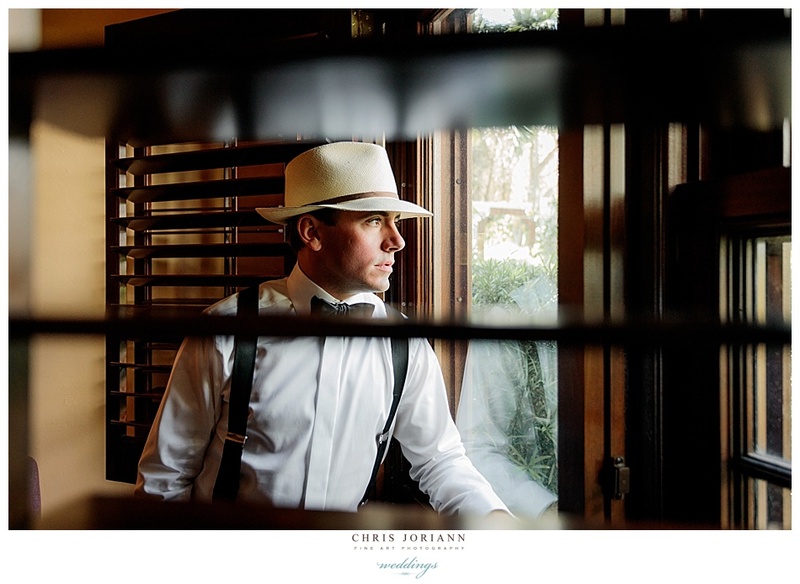 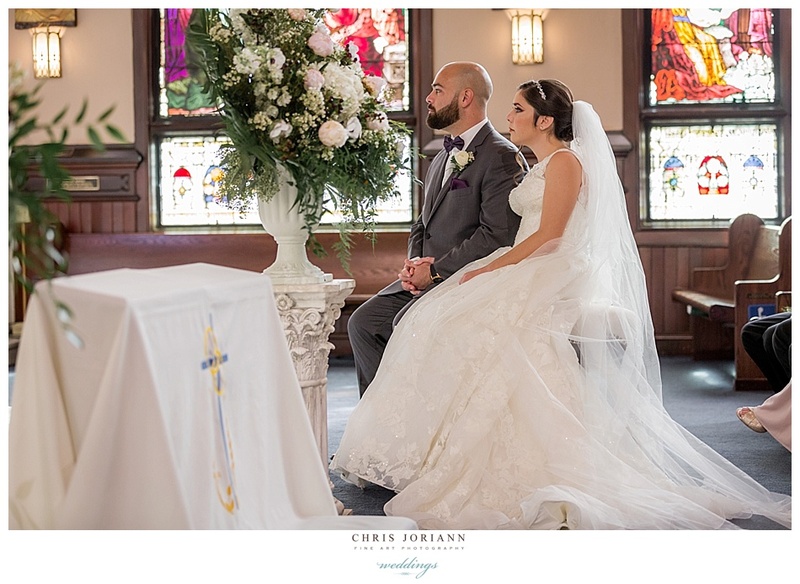 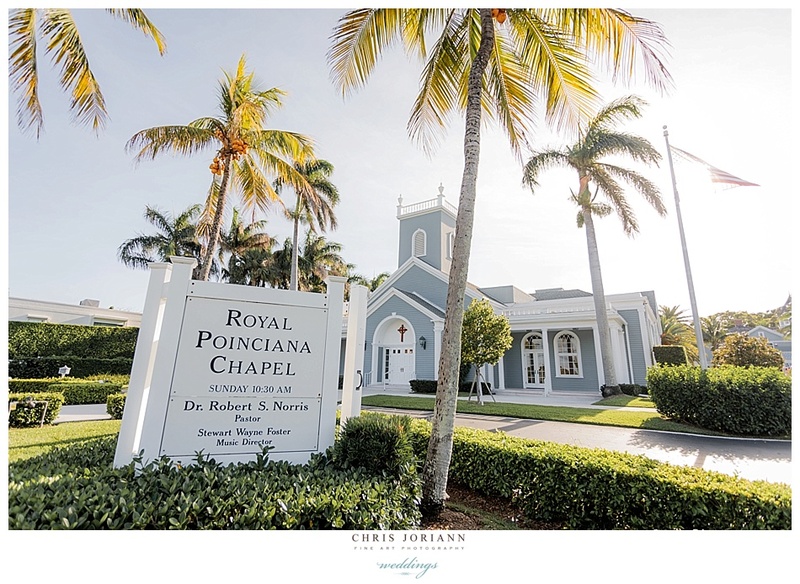 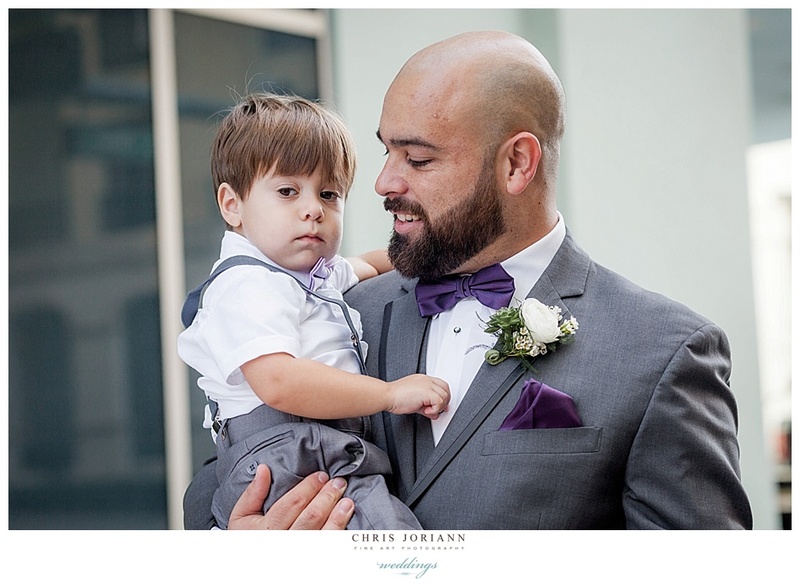 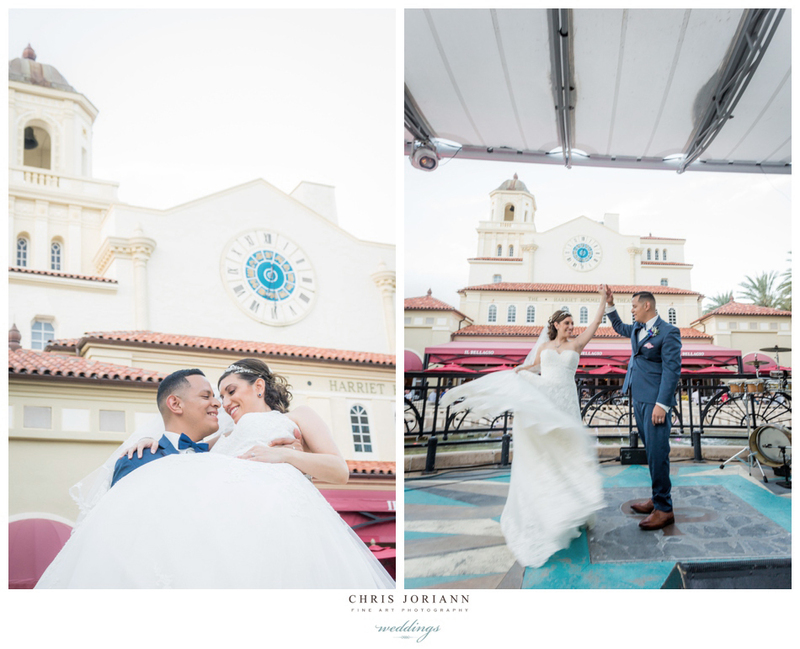 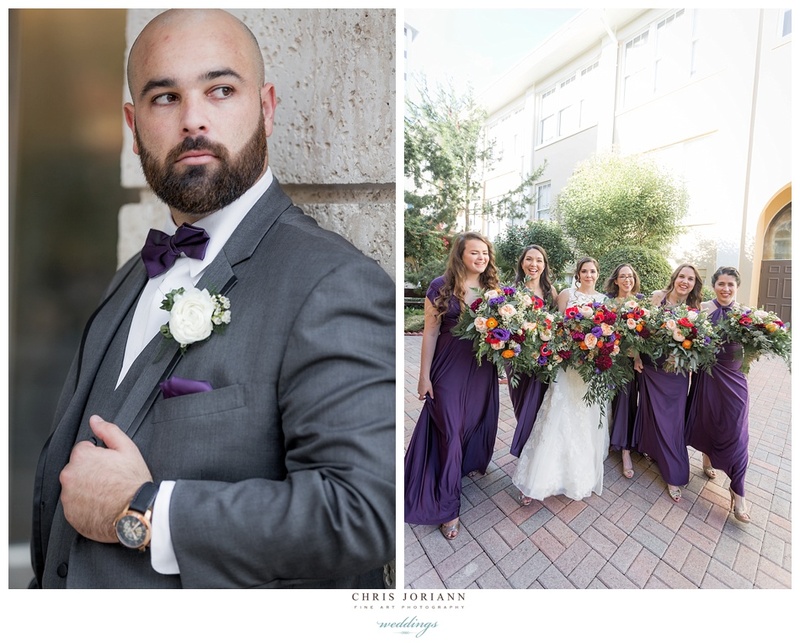 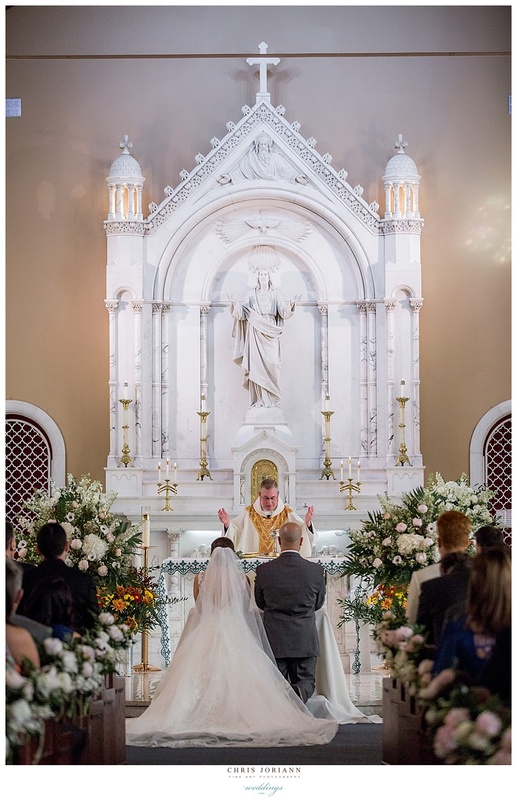 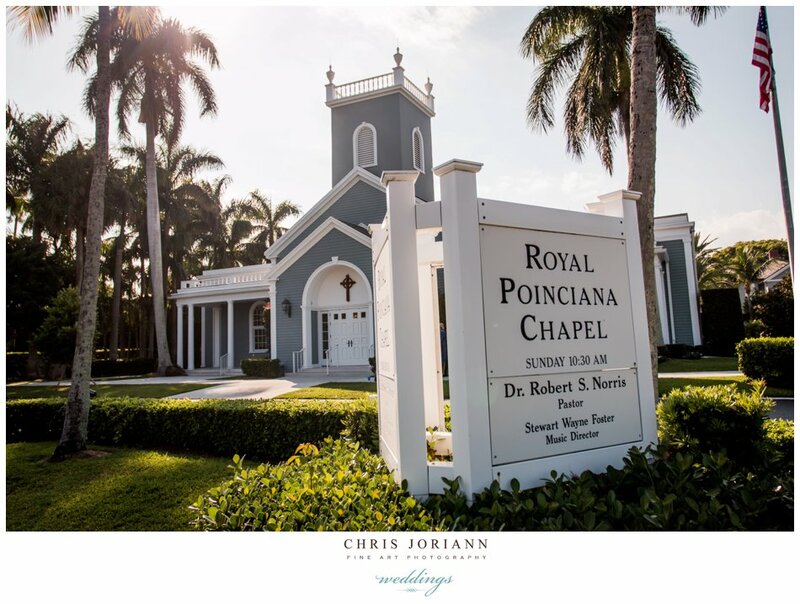 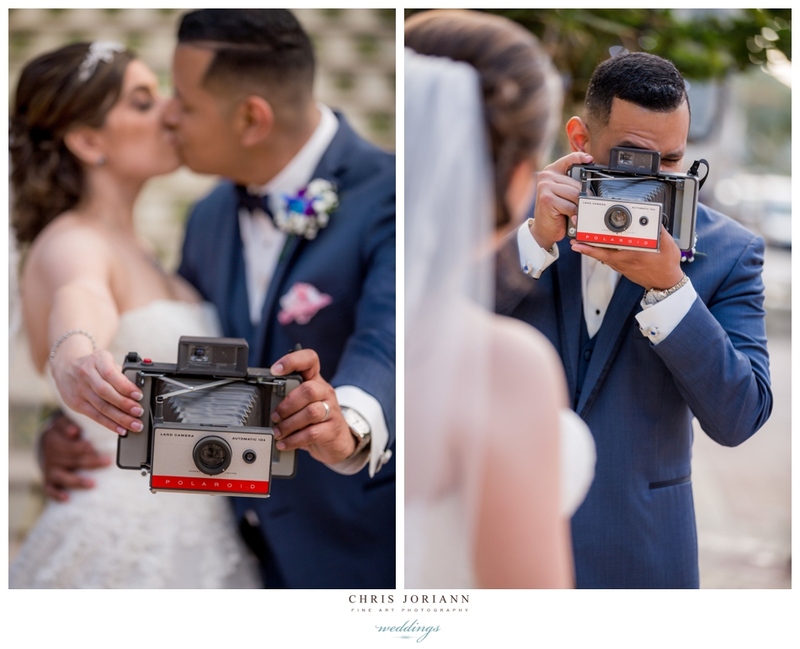 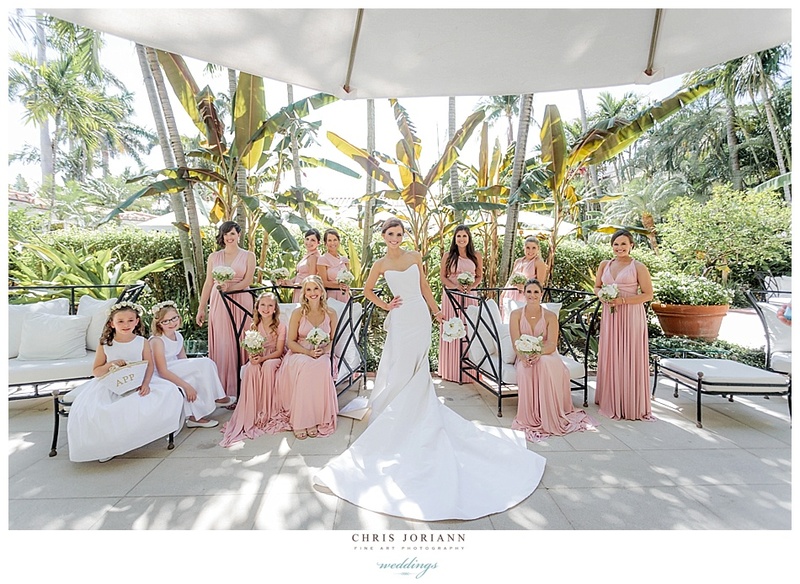 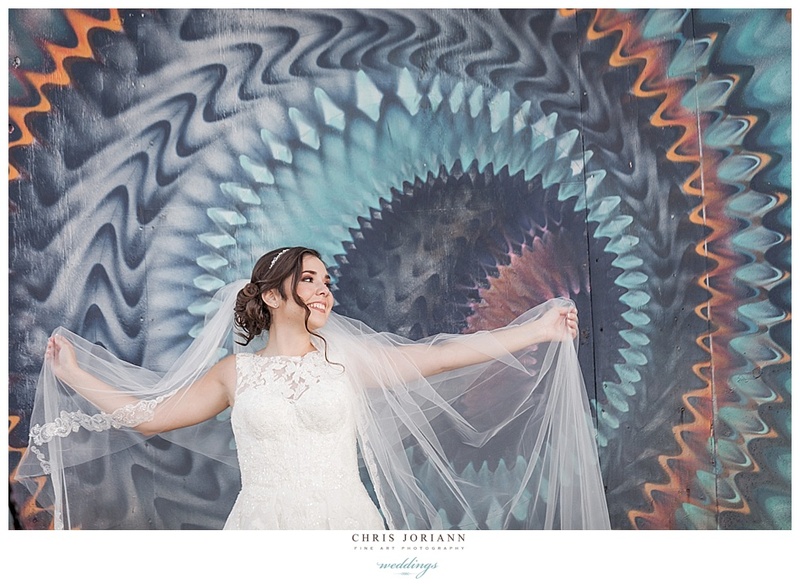 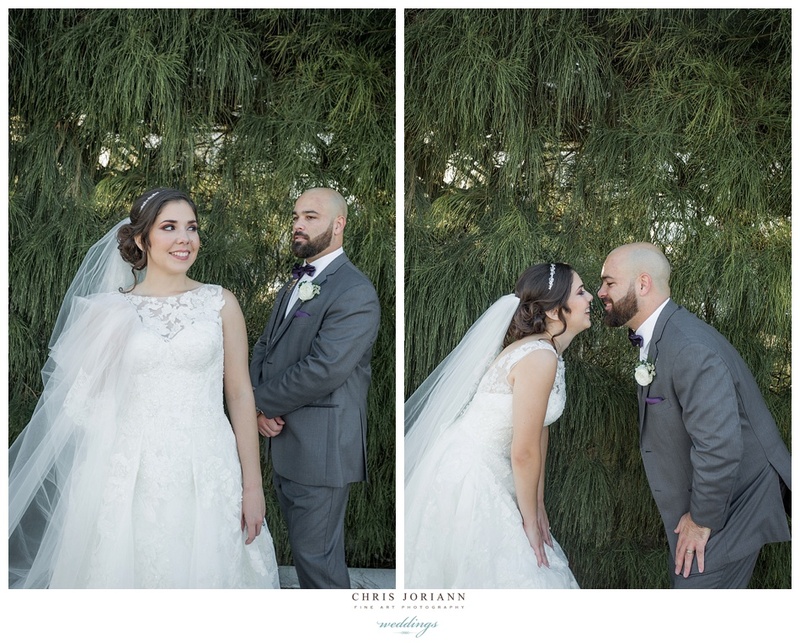 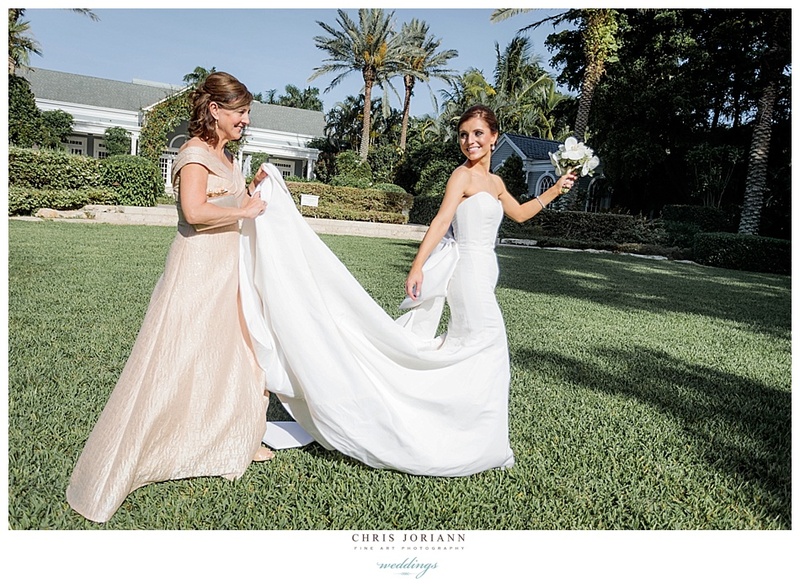 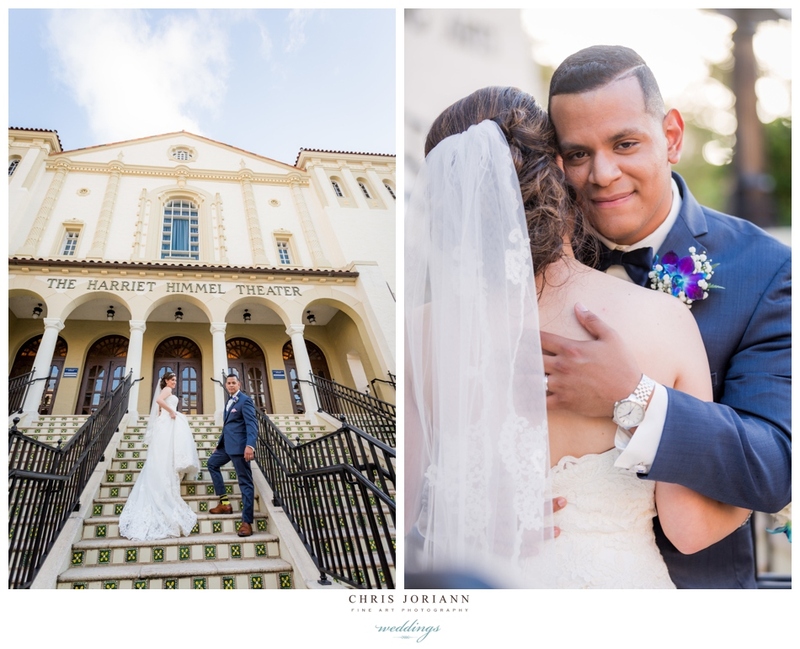 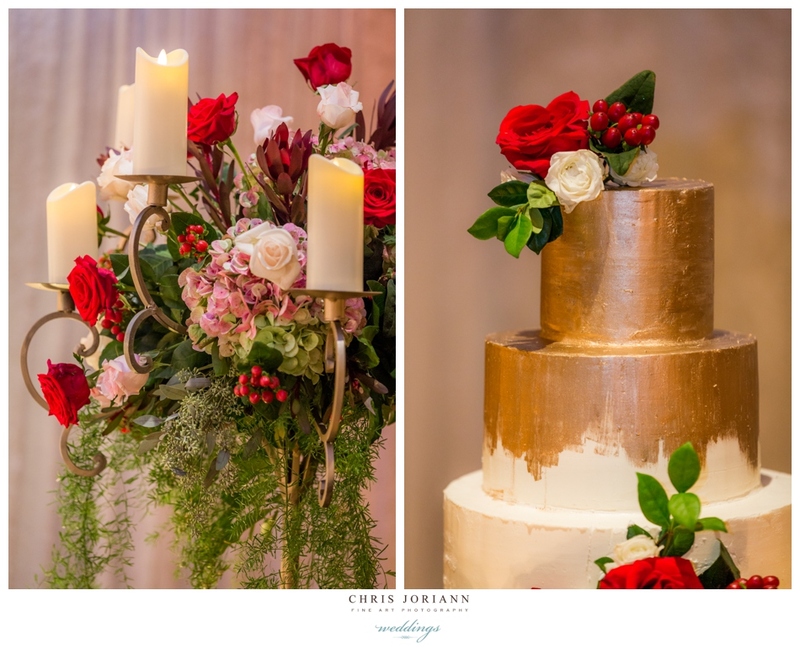 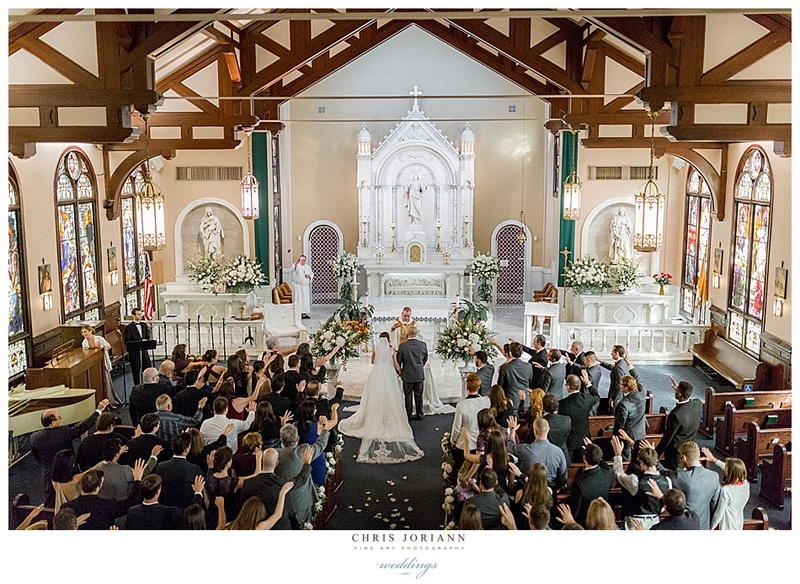 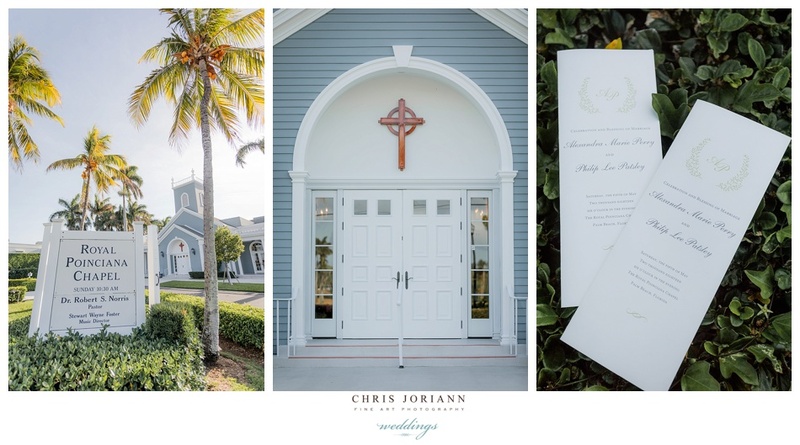 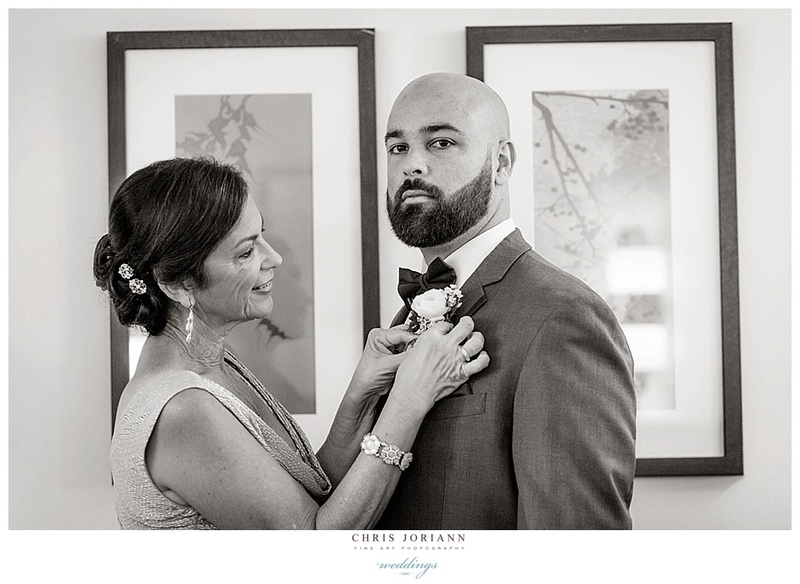 Mary + Luis’ vintage travel themed wedding took place at St. Ann Church followed by a cocktails + reception at Harriet Himmel Theater in West Palm Beach. 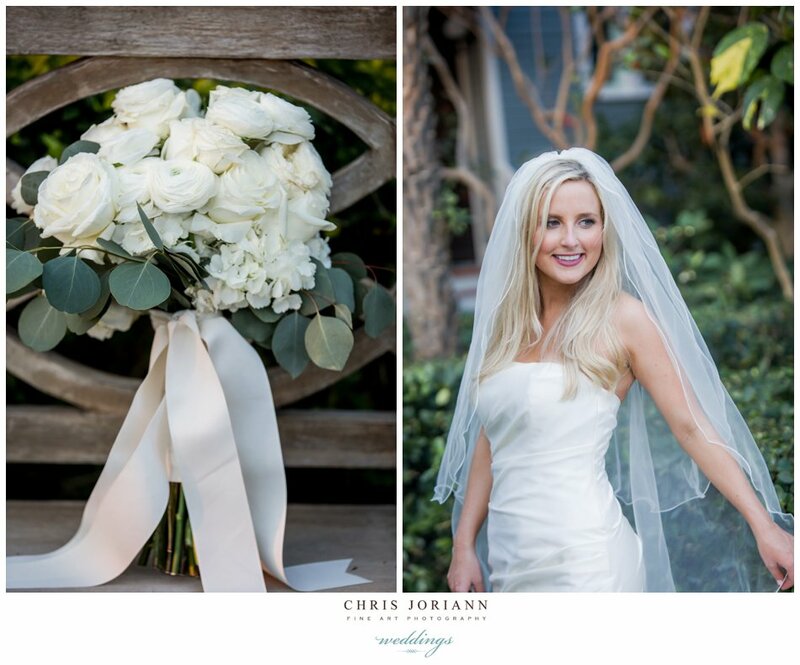 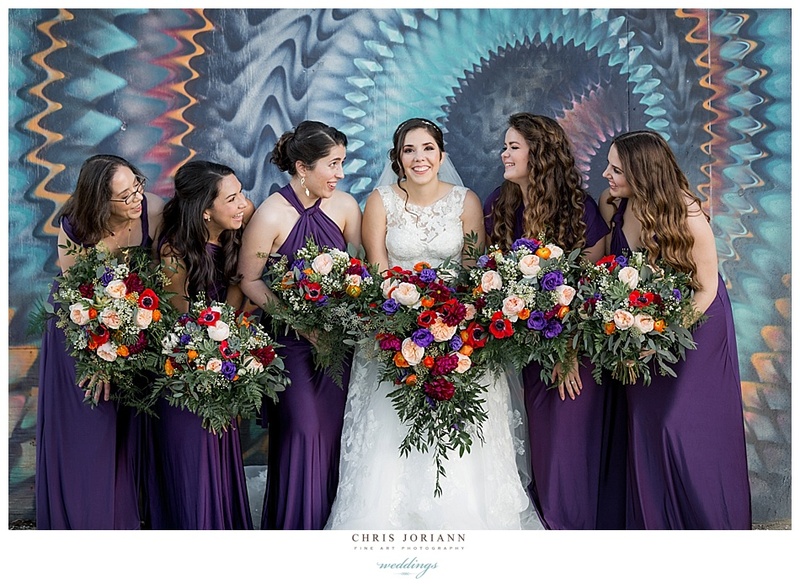 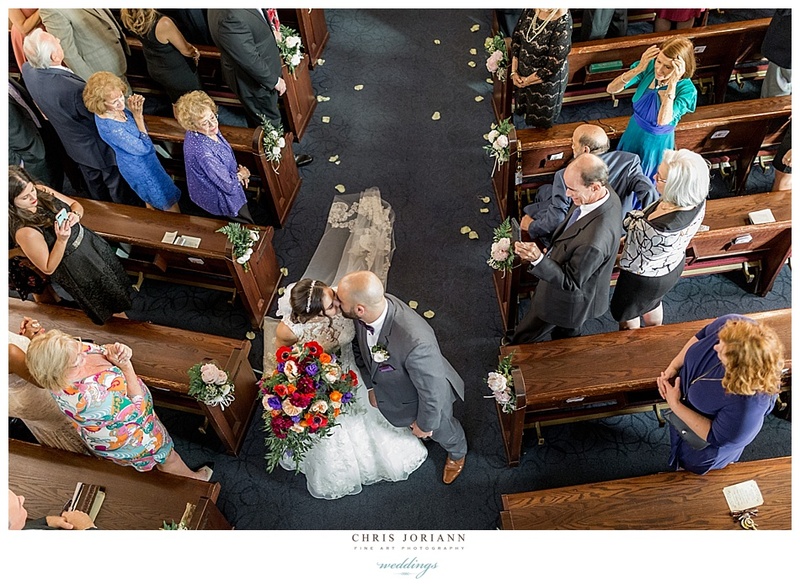 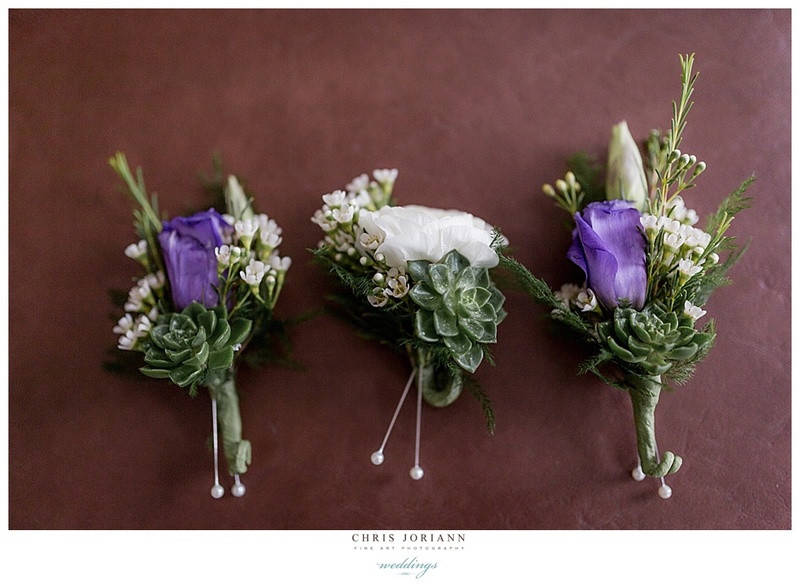 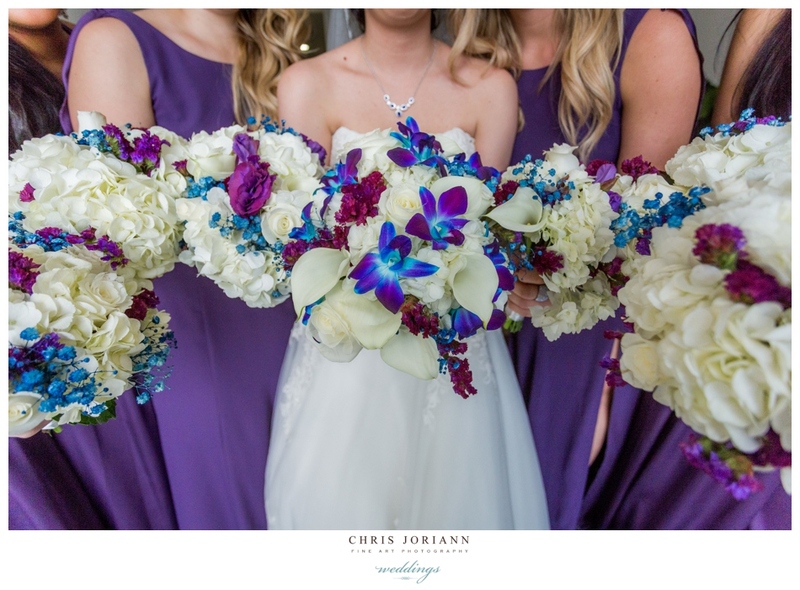 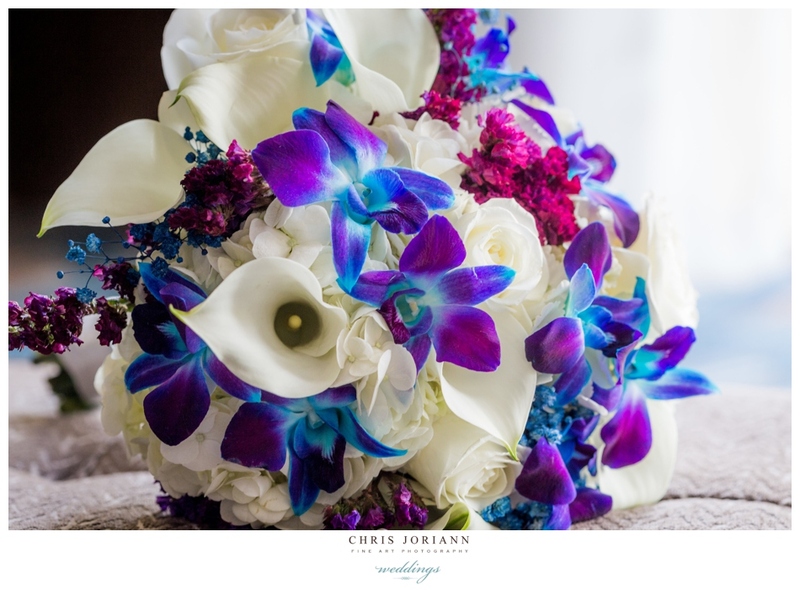 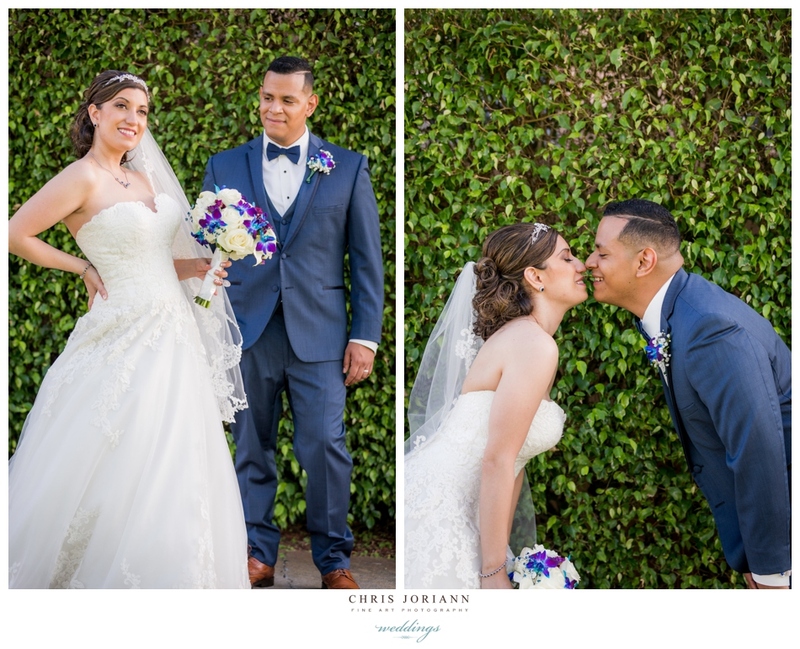 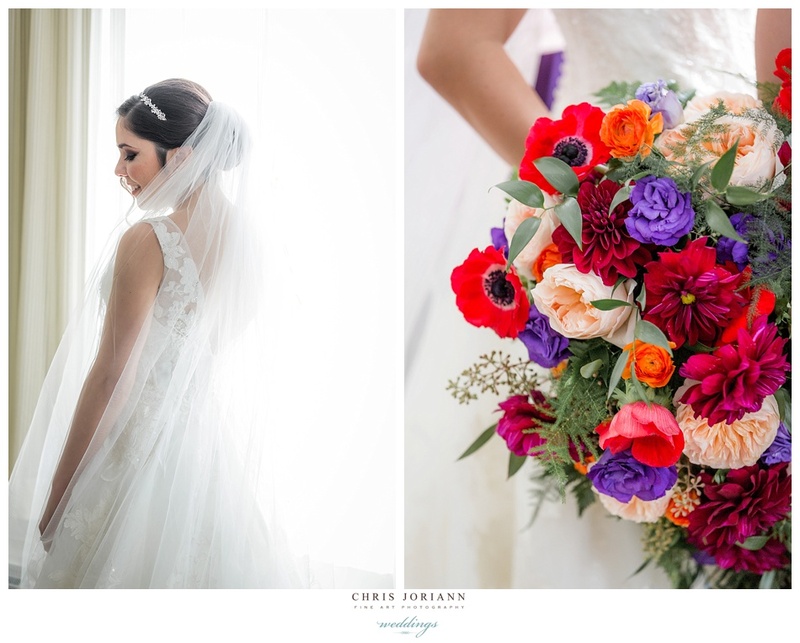 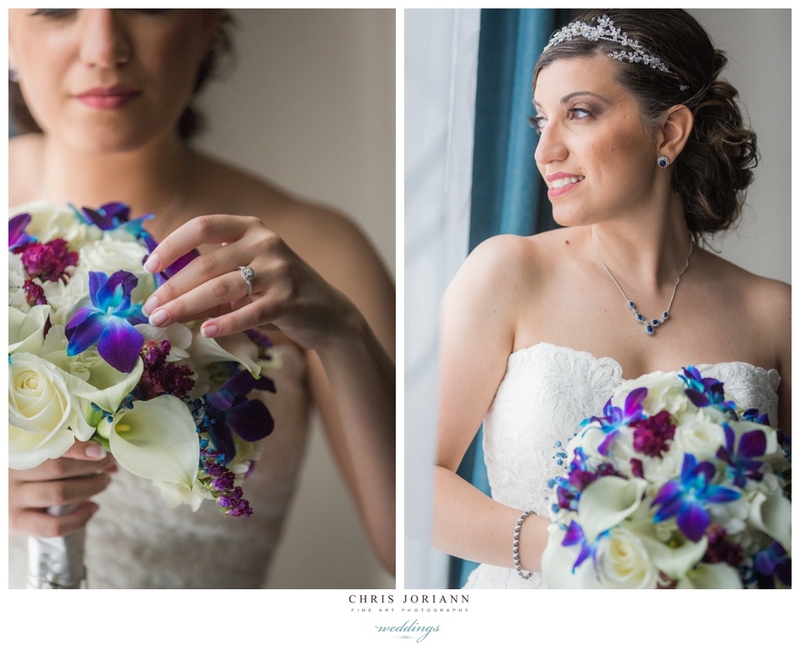 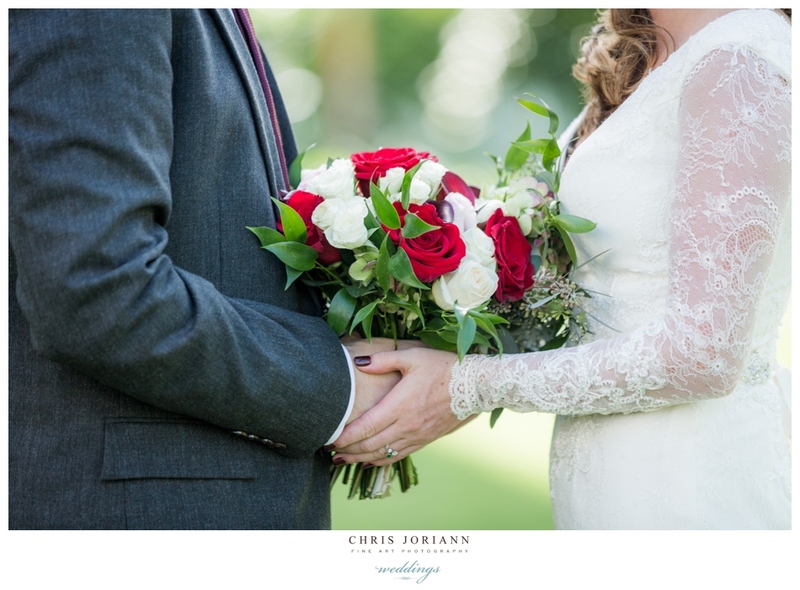 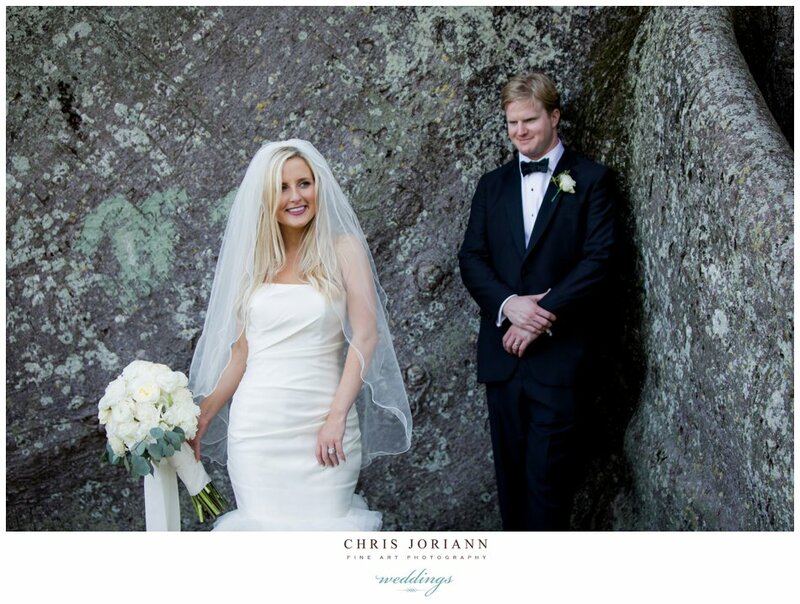 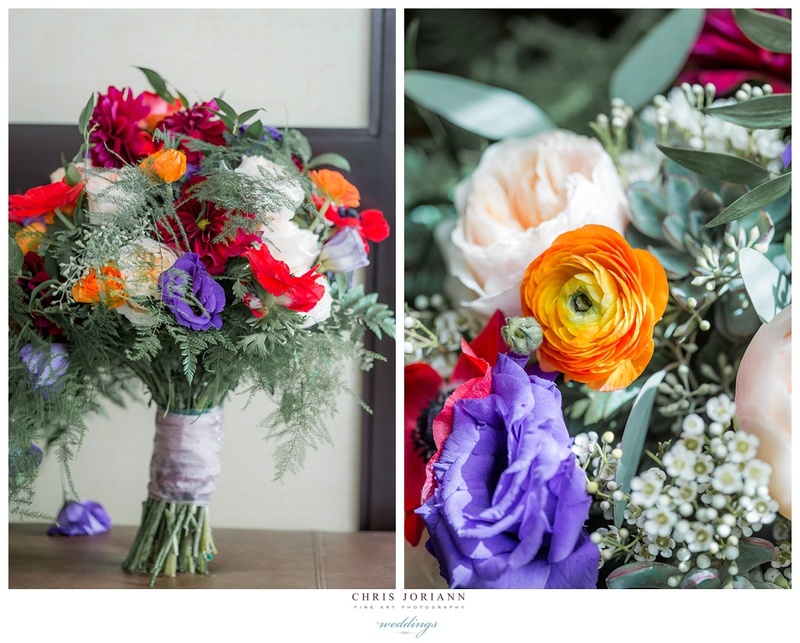 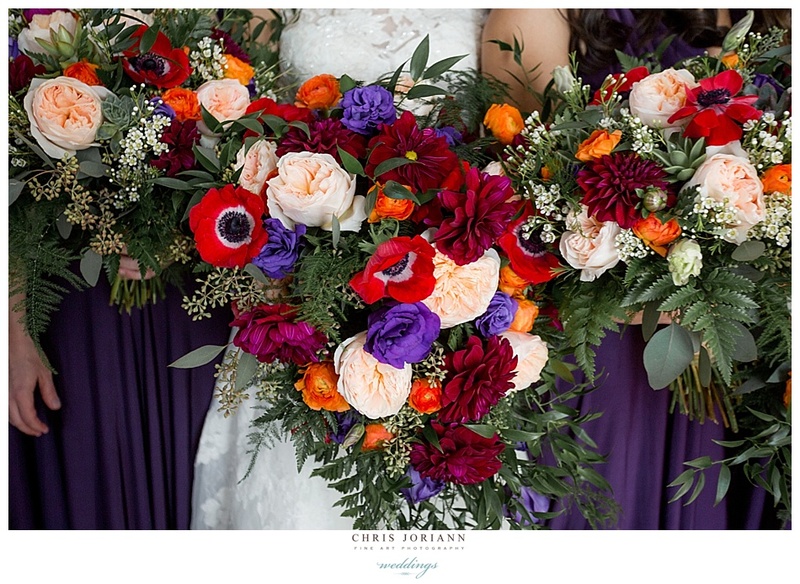 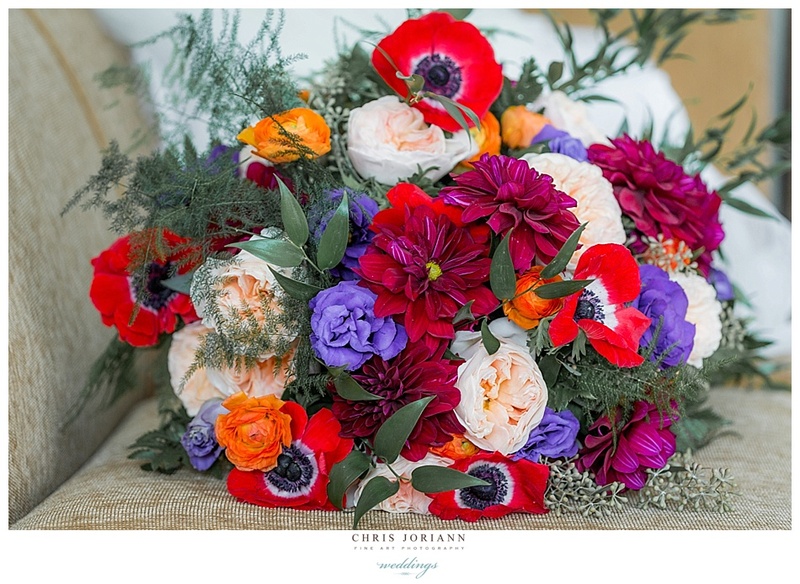 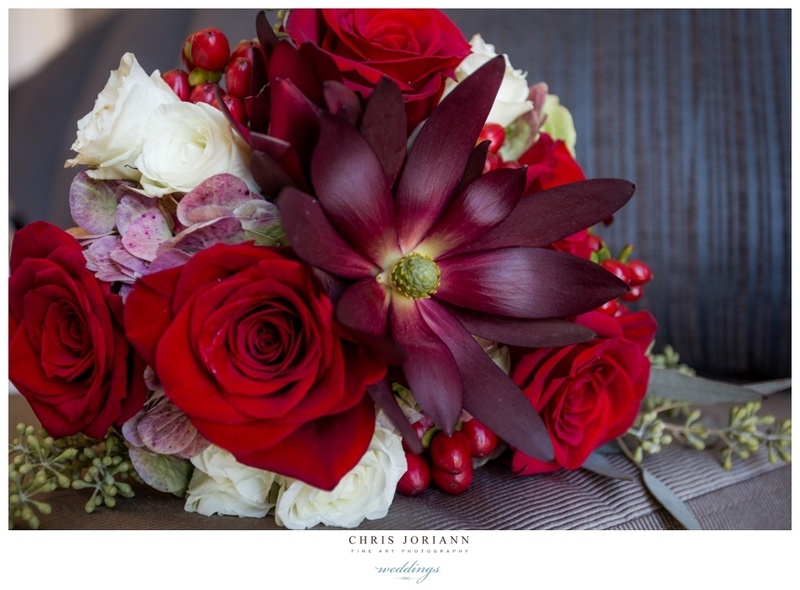 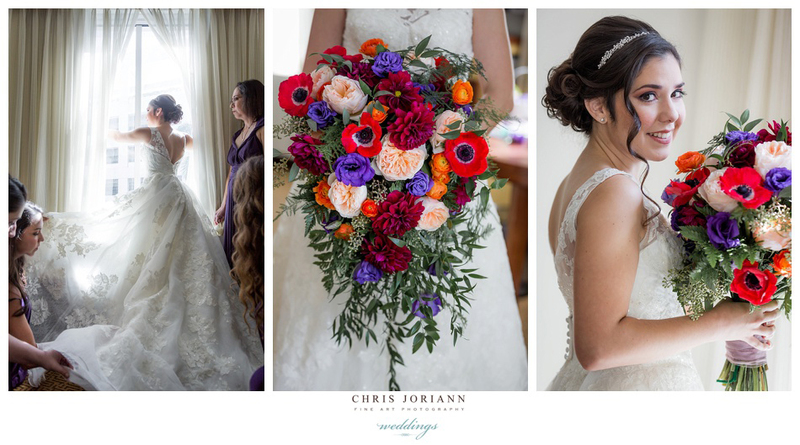 The bride wore a couture gown by Oleg Cassini in silk and organza, with a bouquet featuring bold colors and succulents. 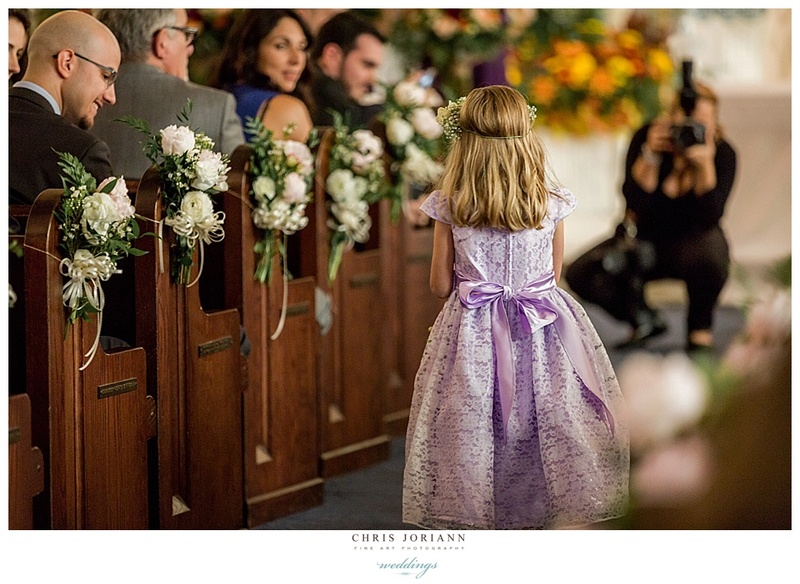 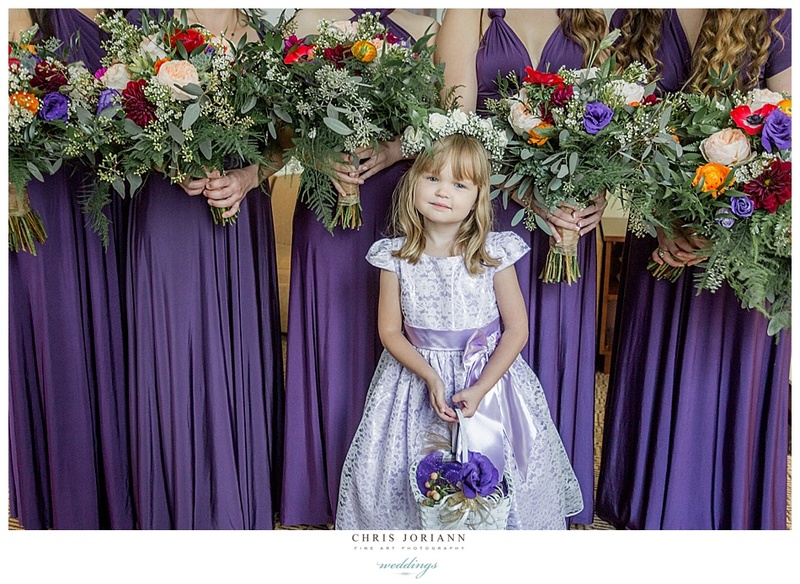 Her bridemaids donned deep plum infinity gowns in various custom wrapped styles, coordinating with the adorable flower girl in a lilac eyelet. 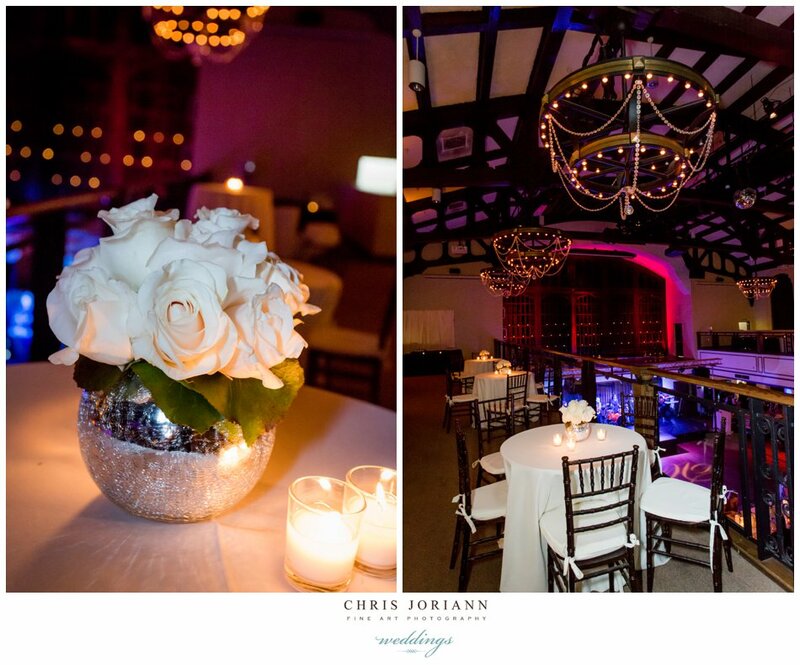 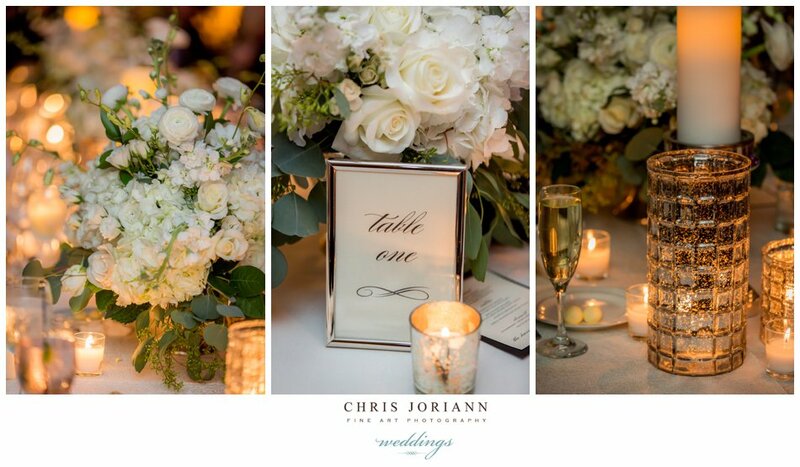 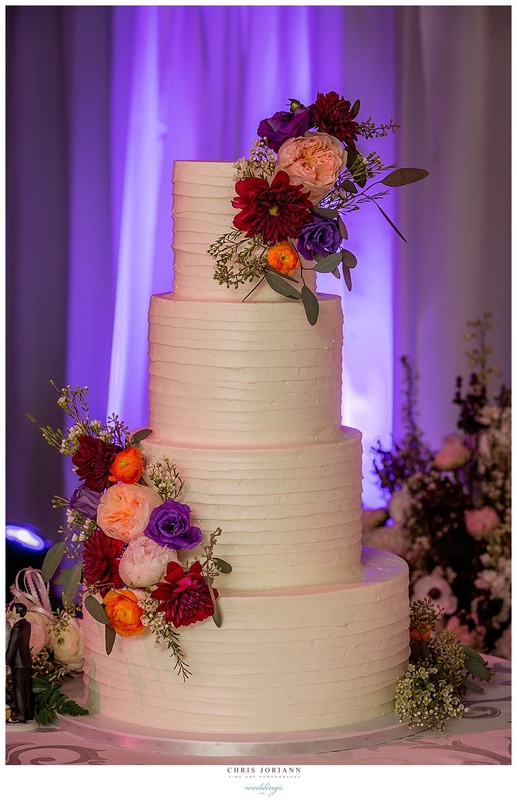 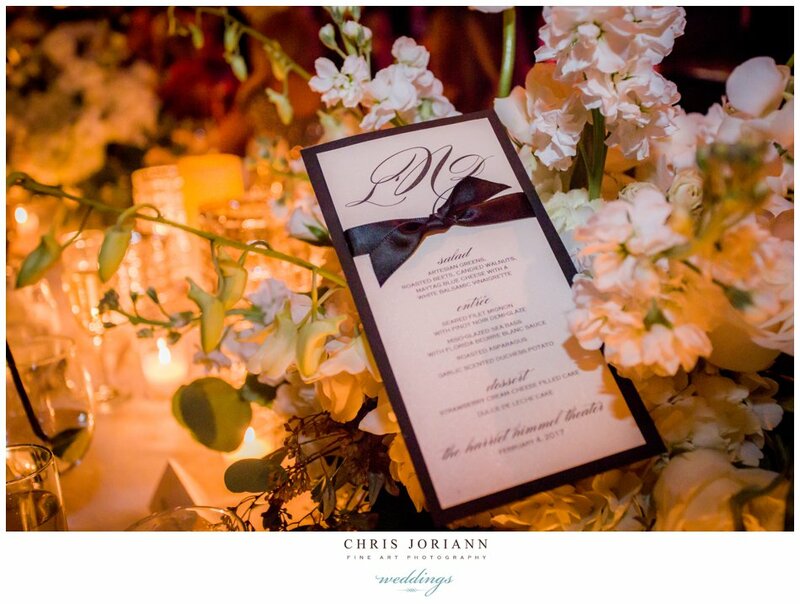 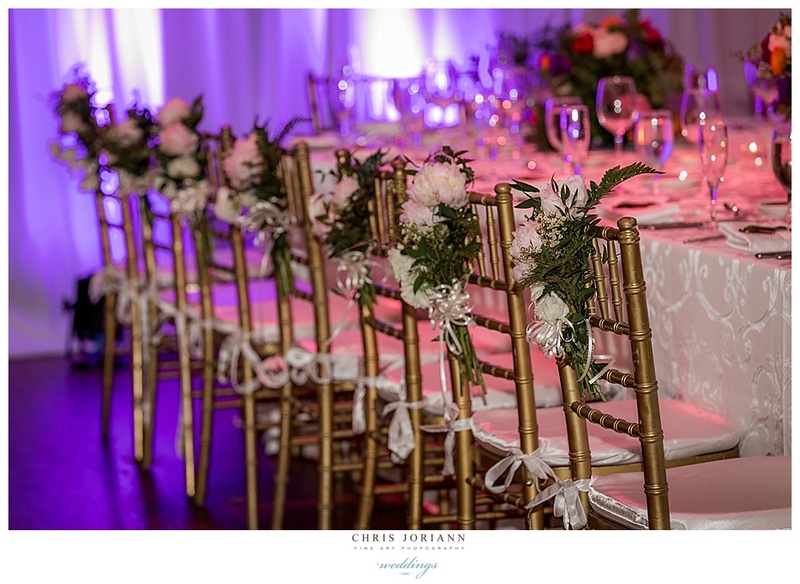 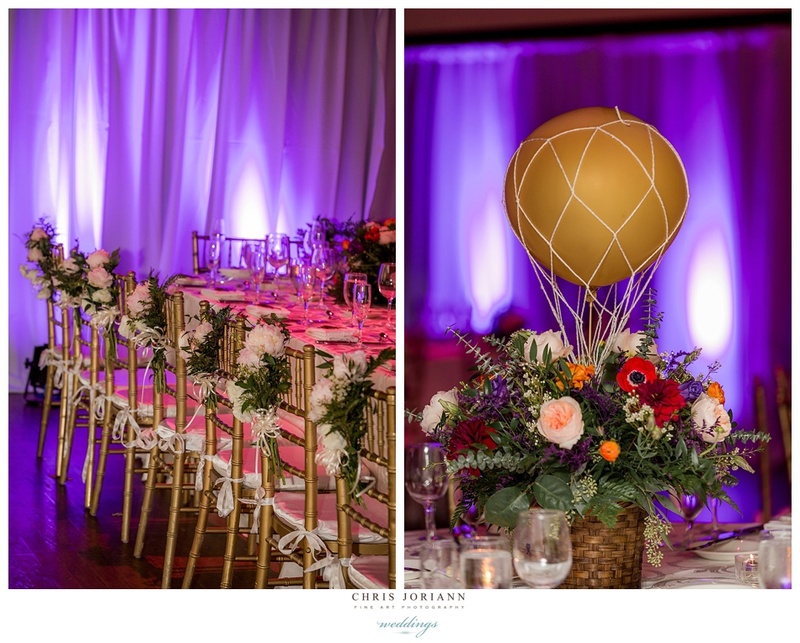 The candle-lit reception space was awash in purple hues, with florals + décor created by Kish Events + Decor. 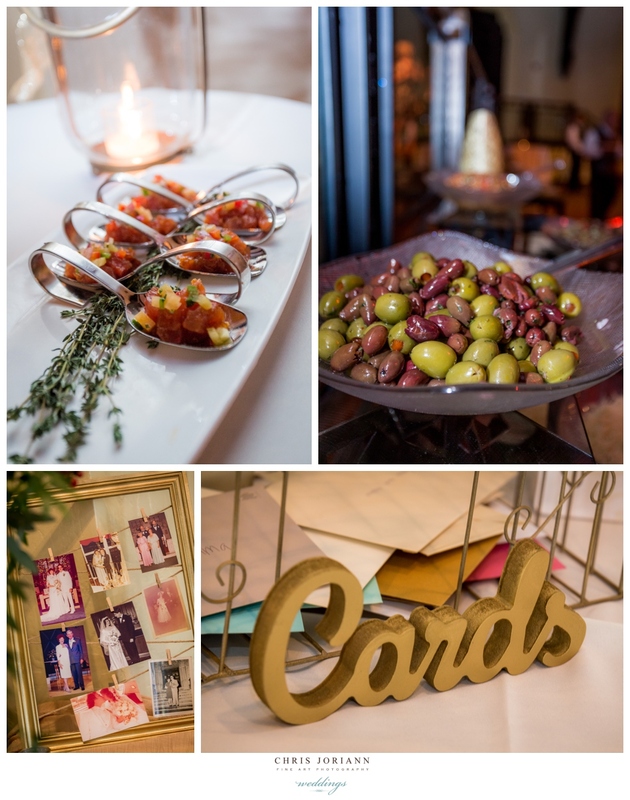 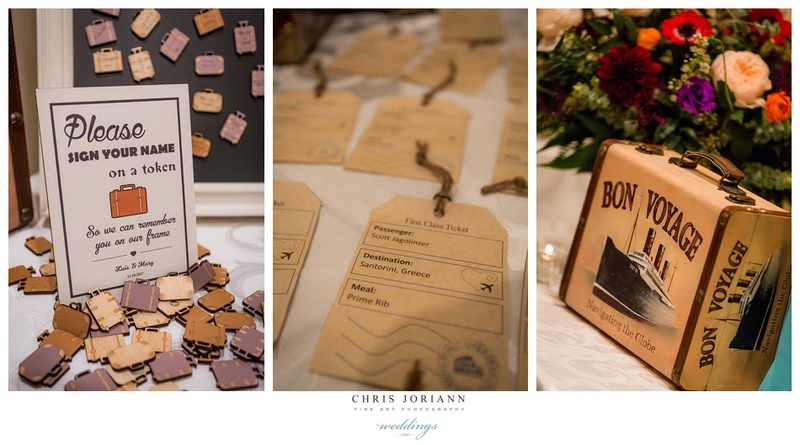 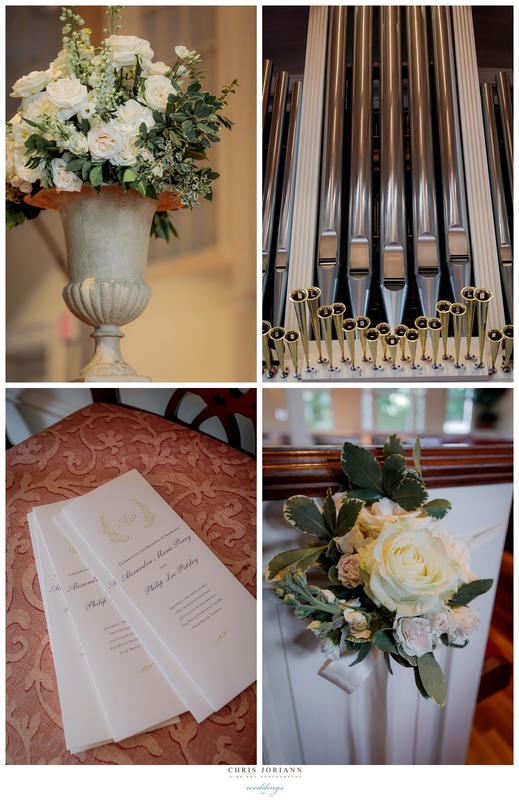 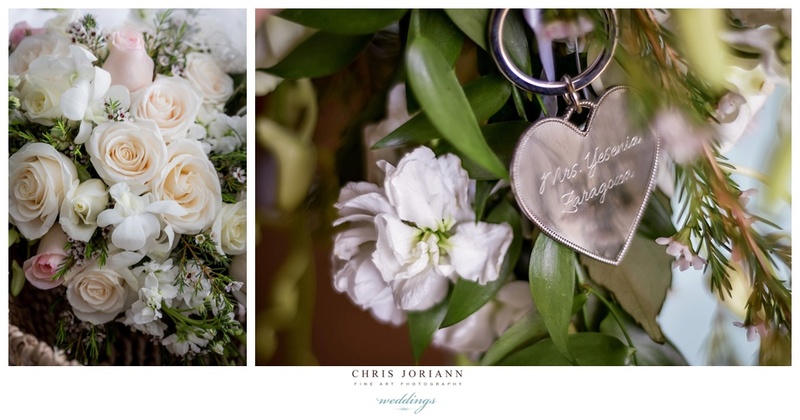 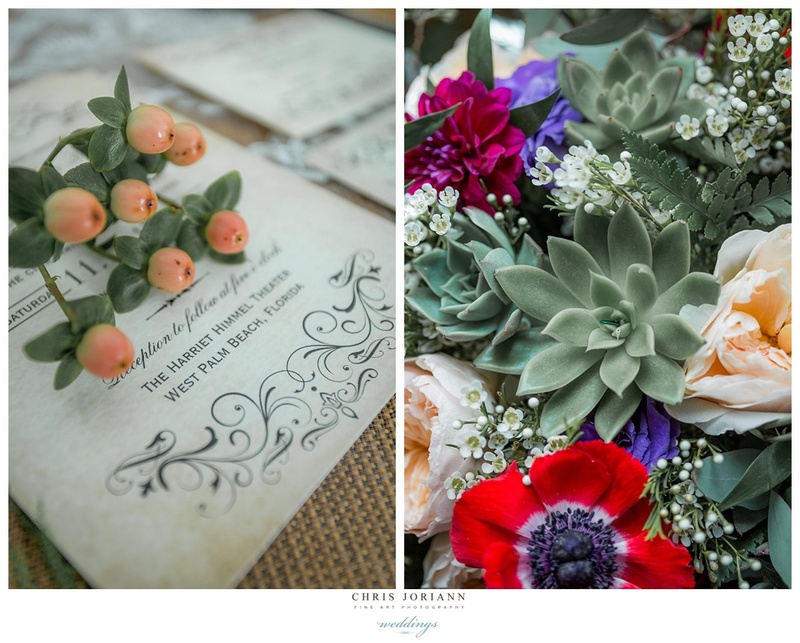 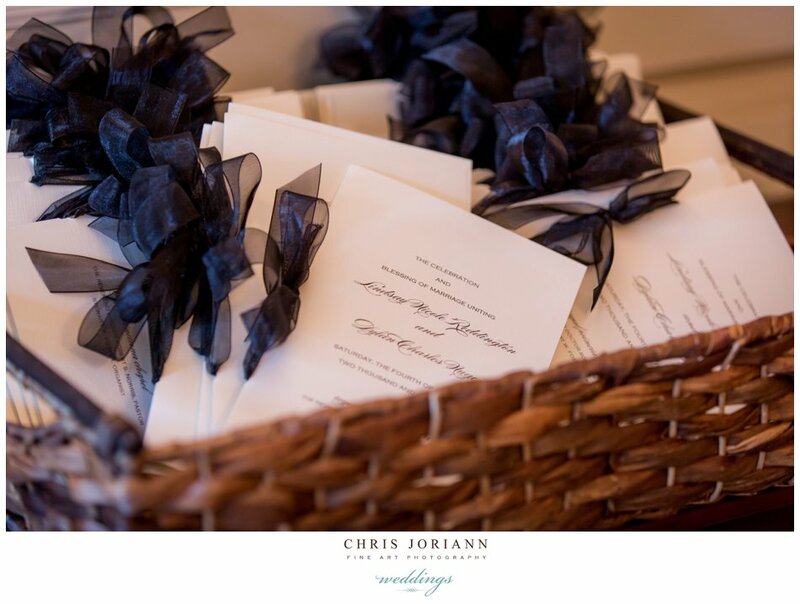 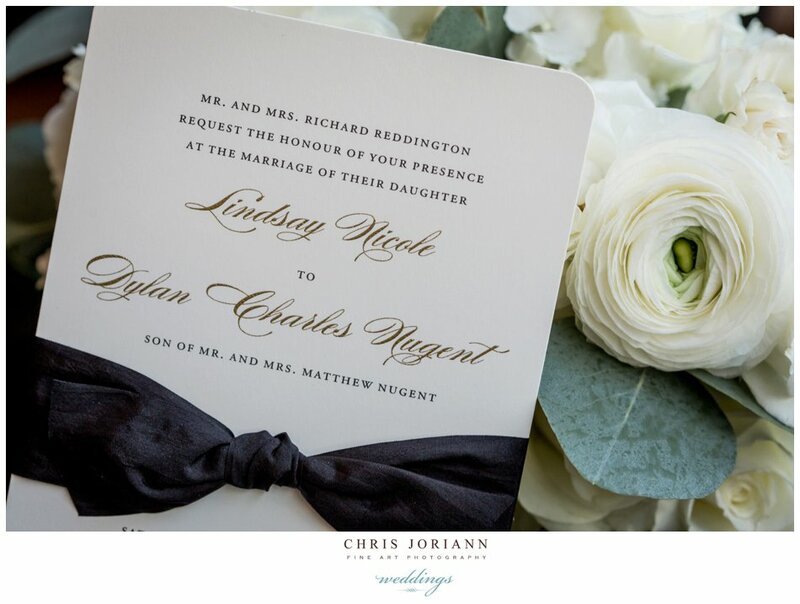 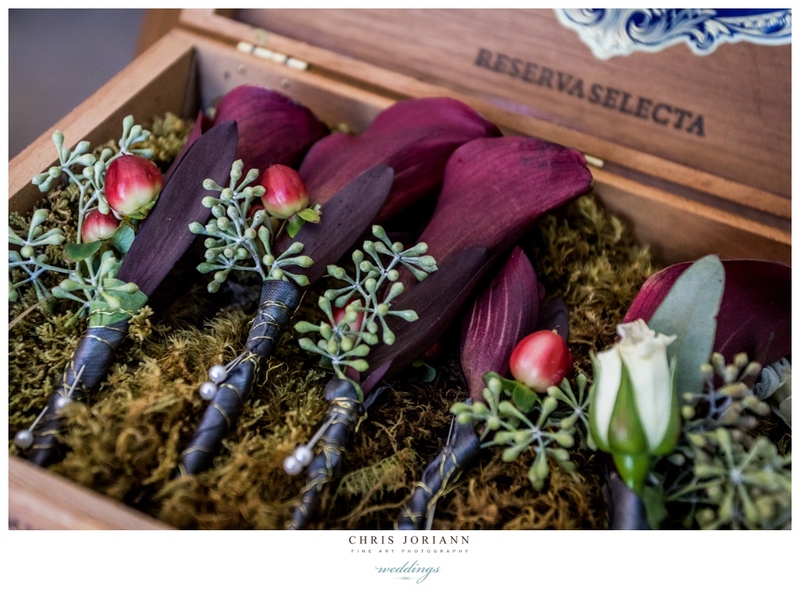 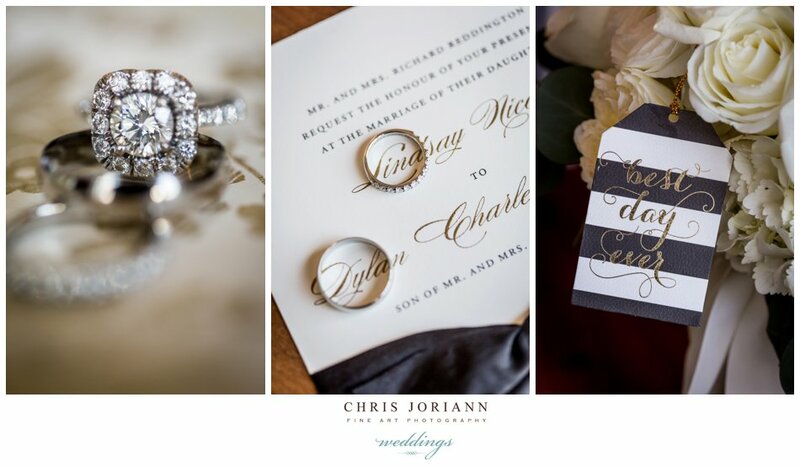 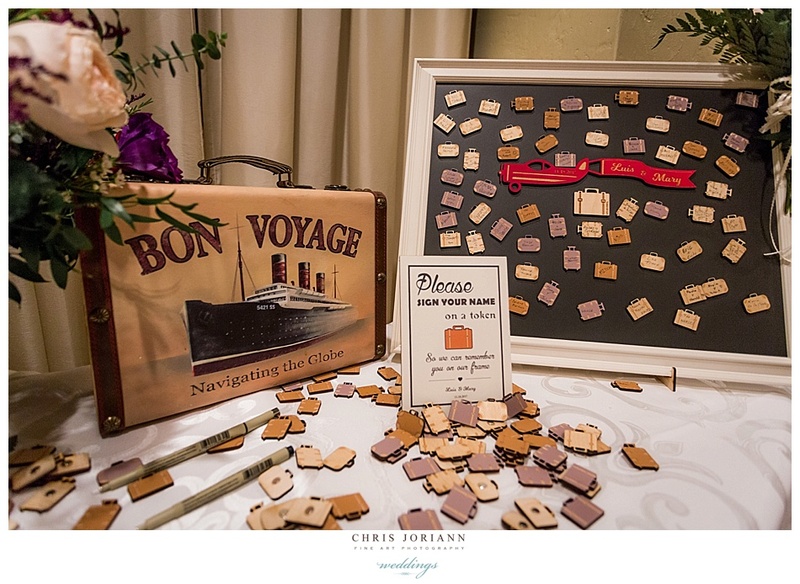 Placecards were antique passports, favors were rustic brass airplane/openers, and each table centerpiece featured a basket of flowers with a hot air balloon sailing above it. 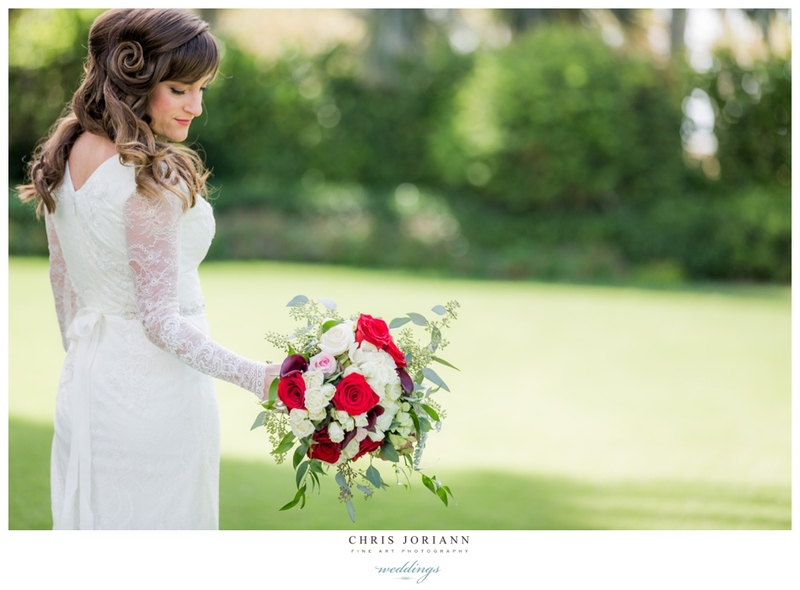 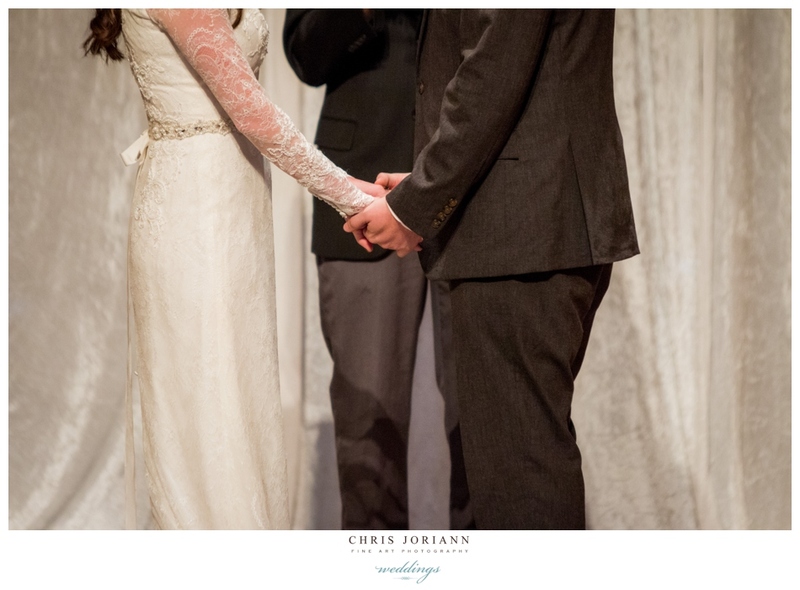 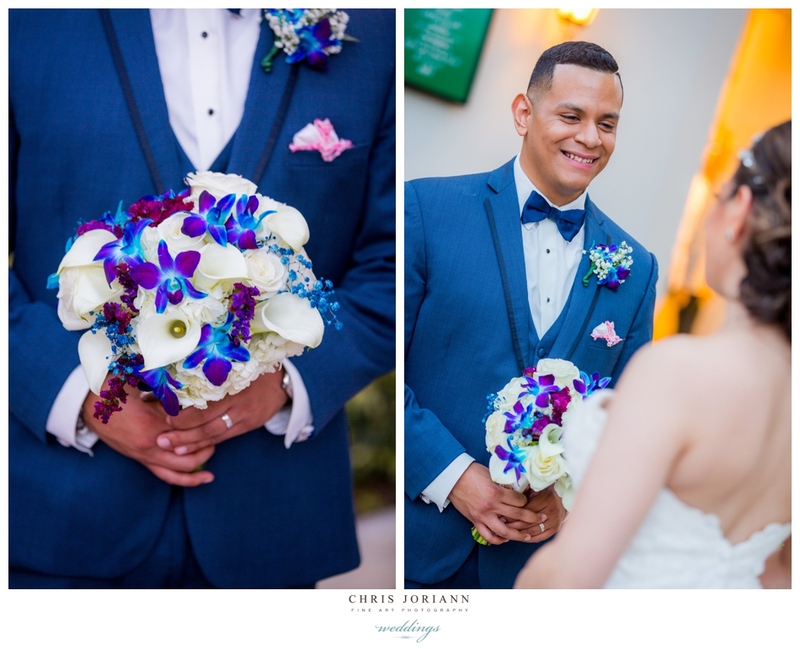 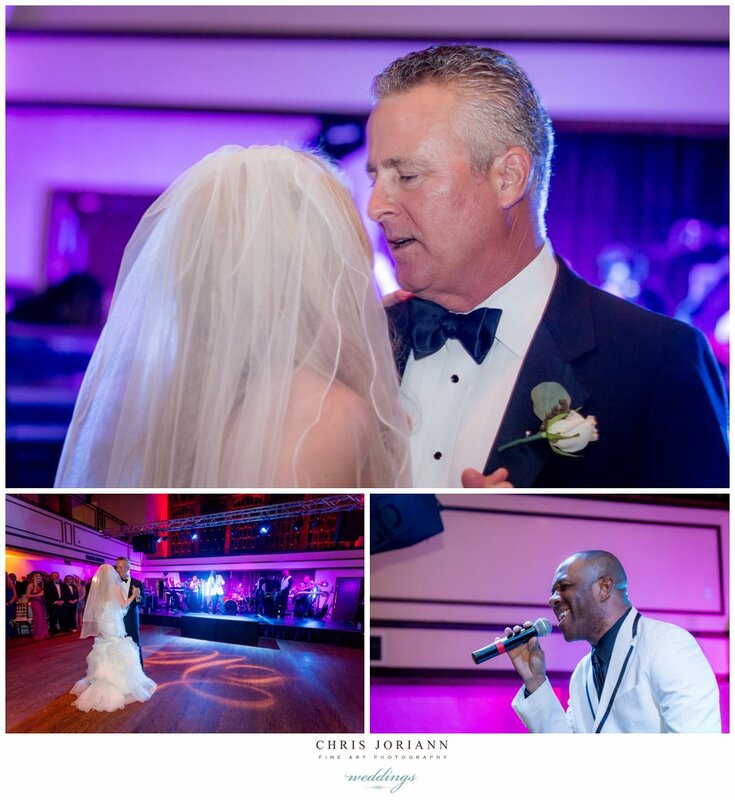 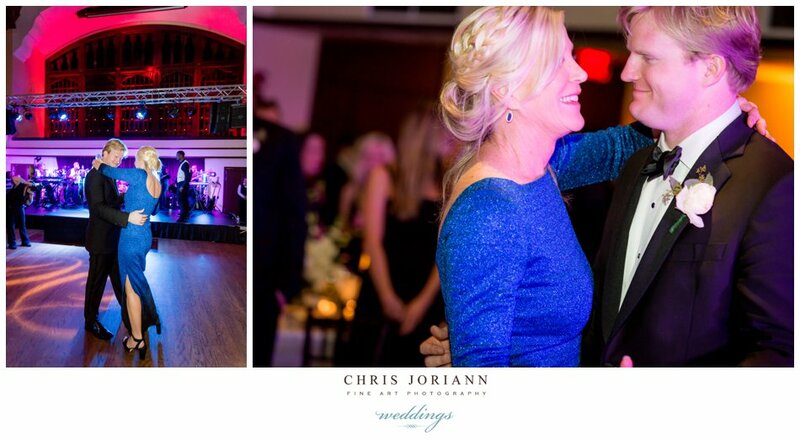 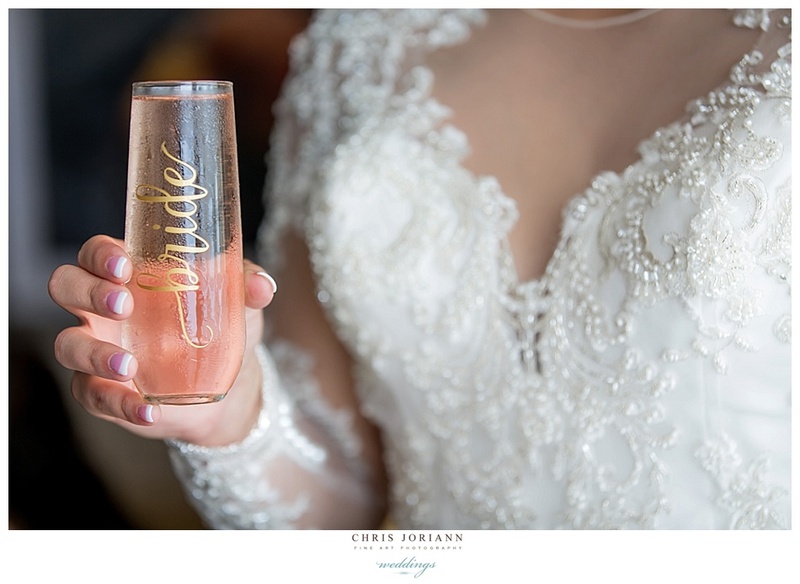 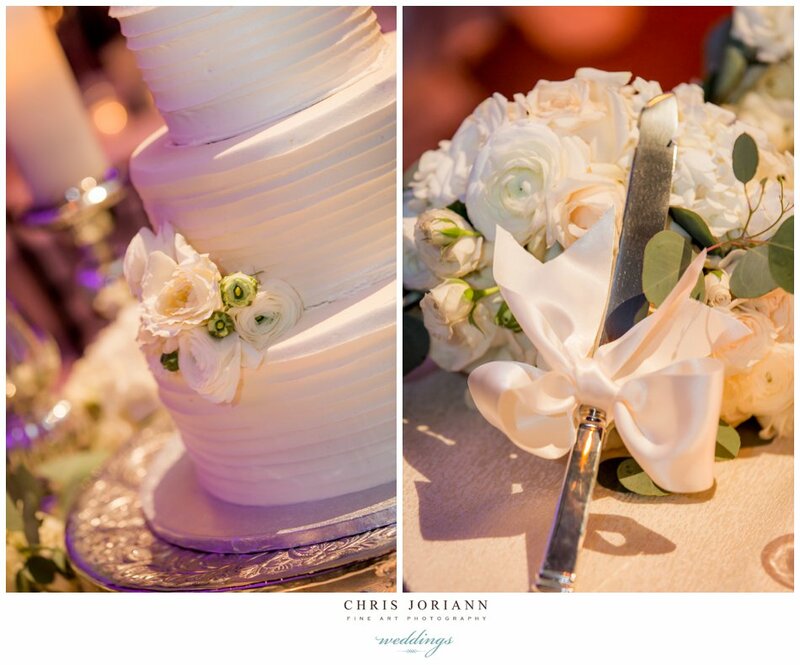 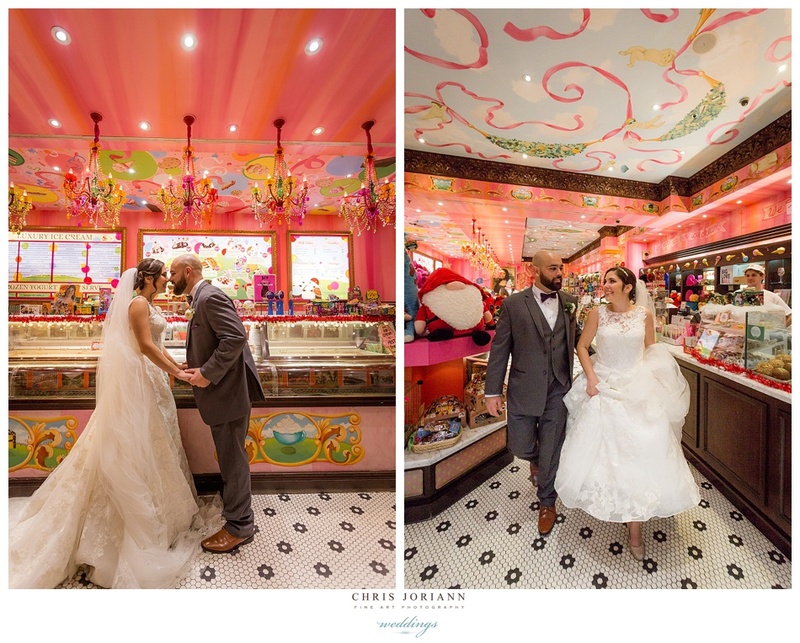 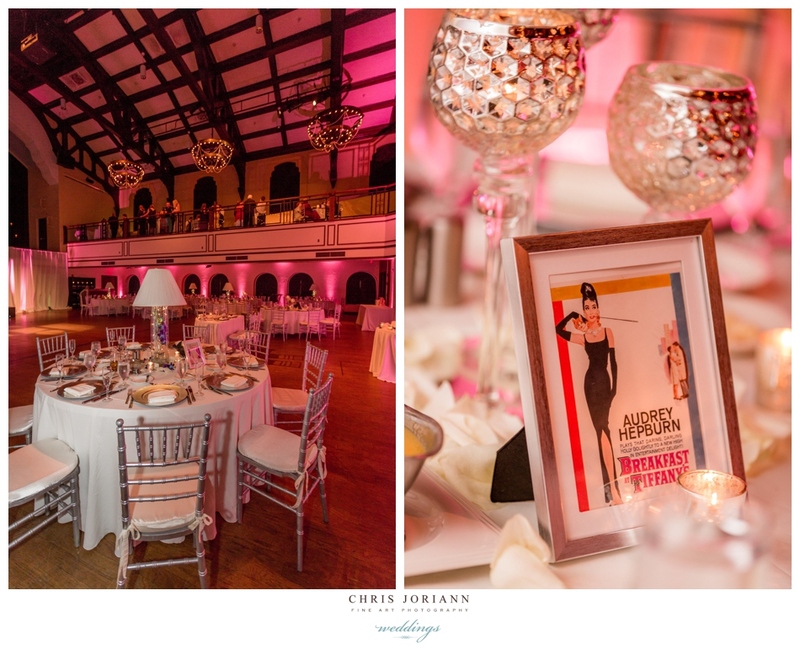 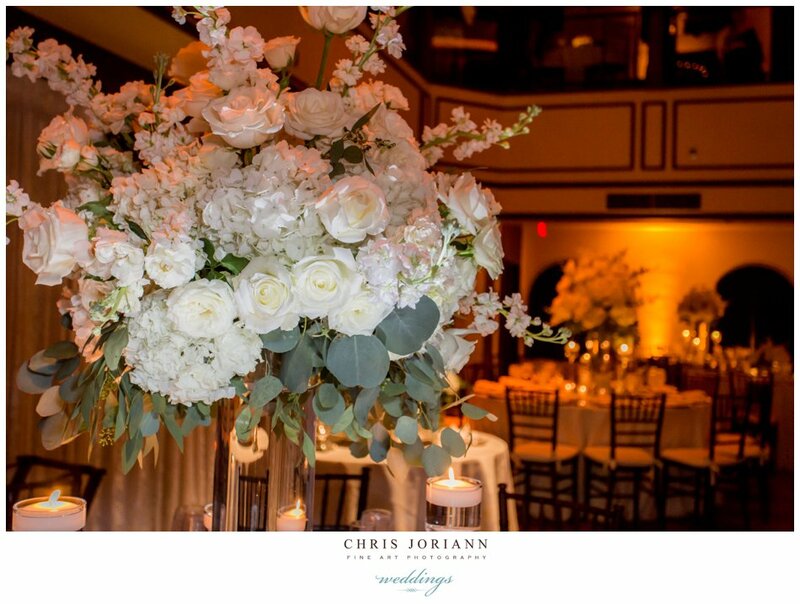 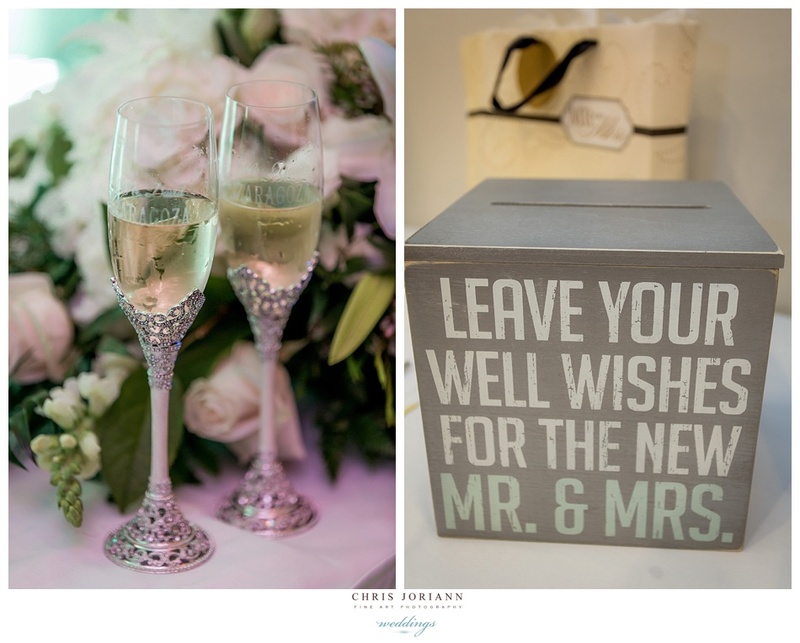 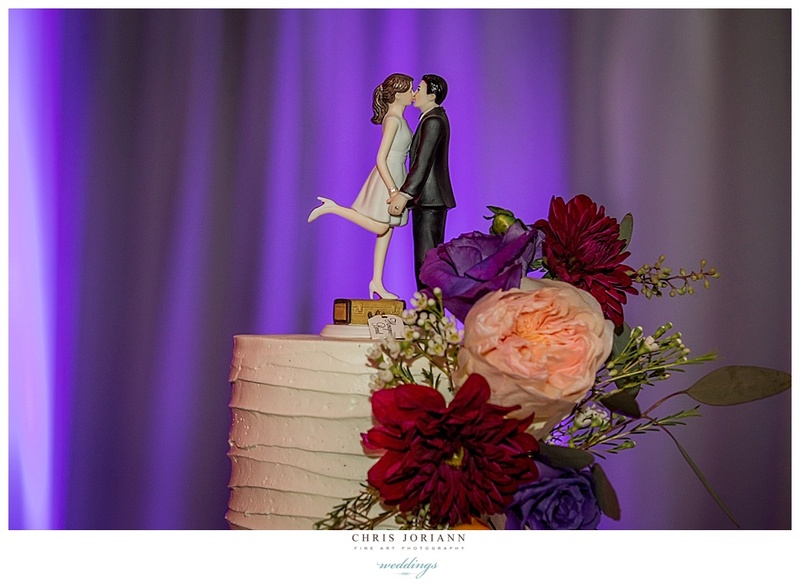 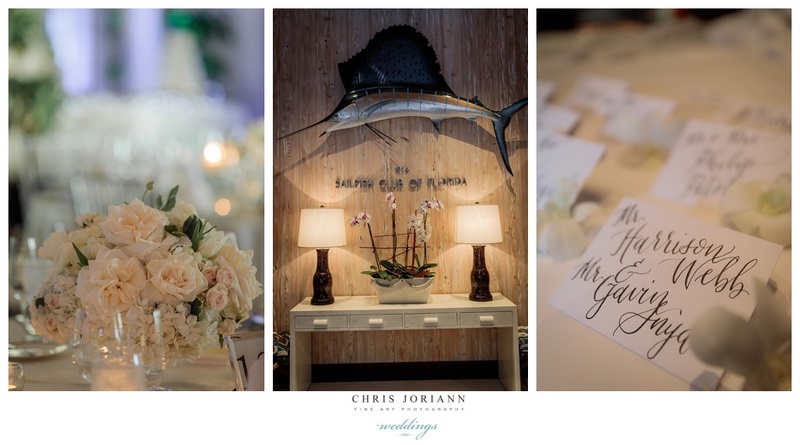 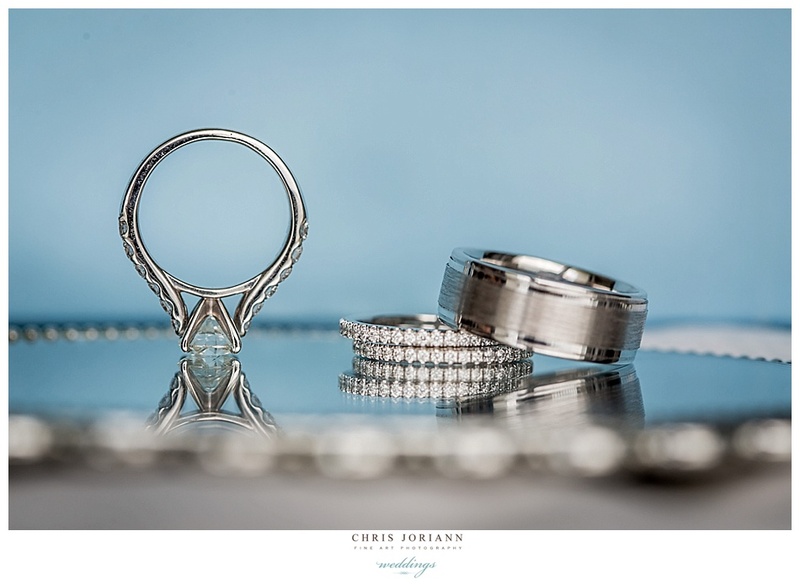 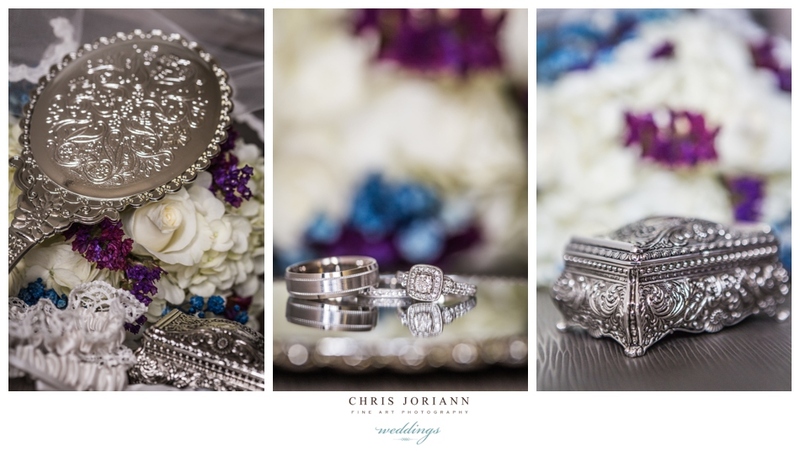 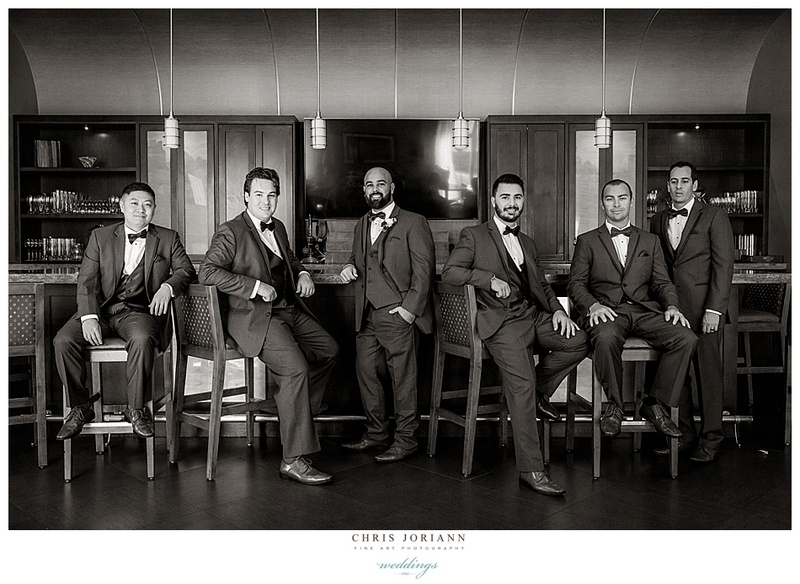 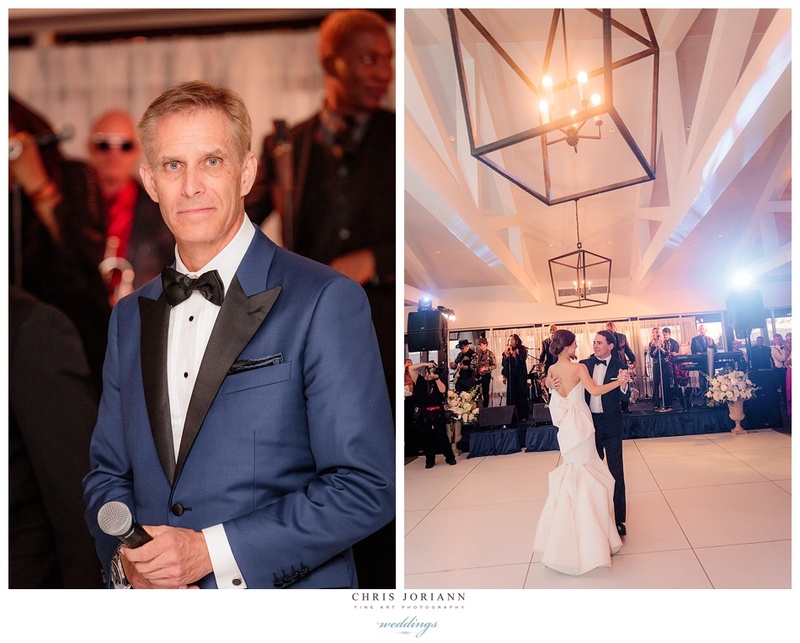 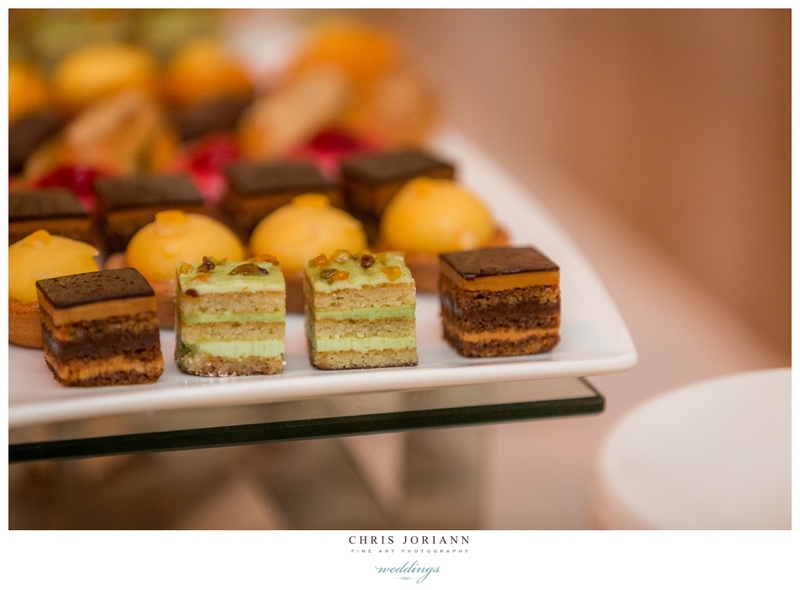 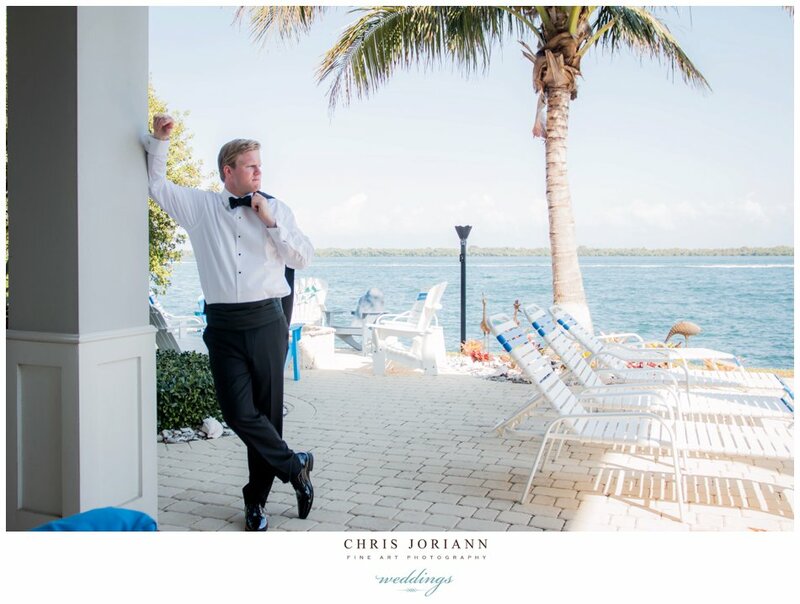 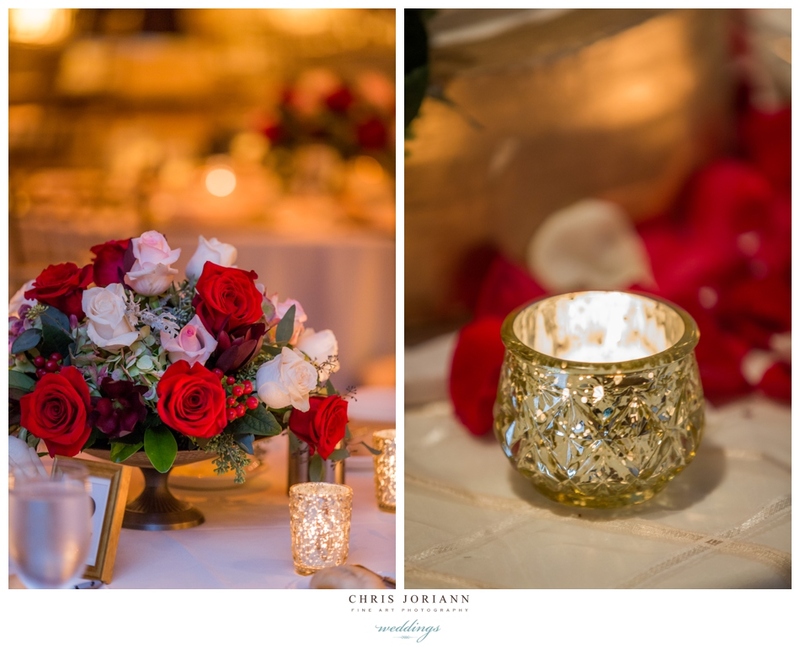 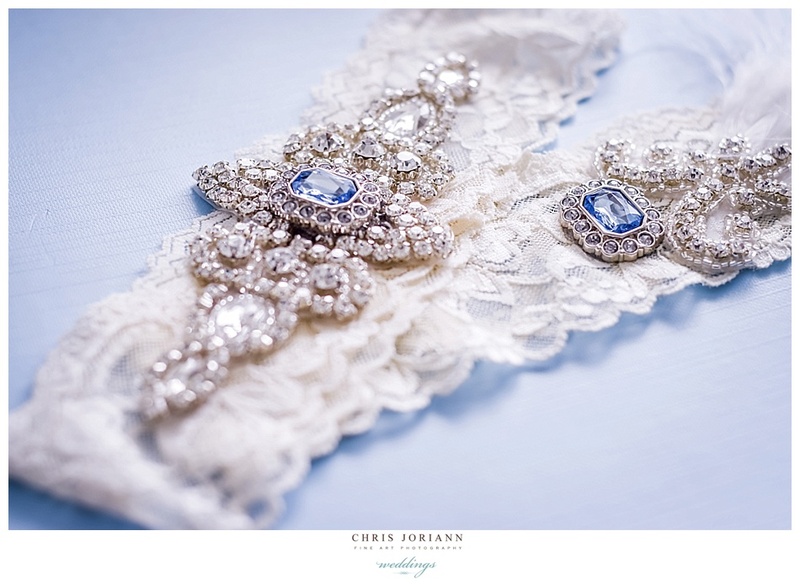 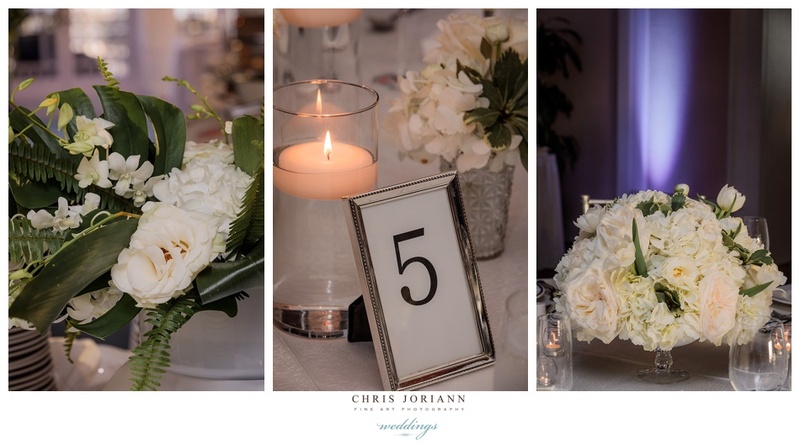 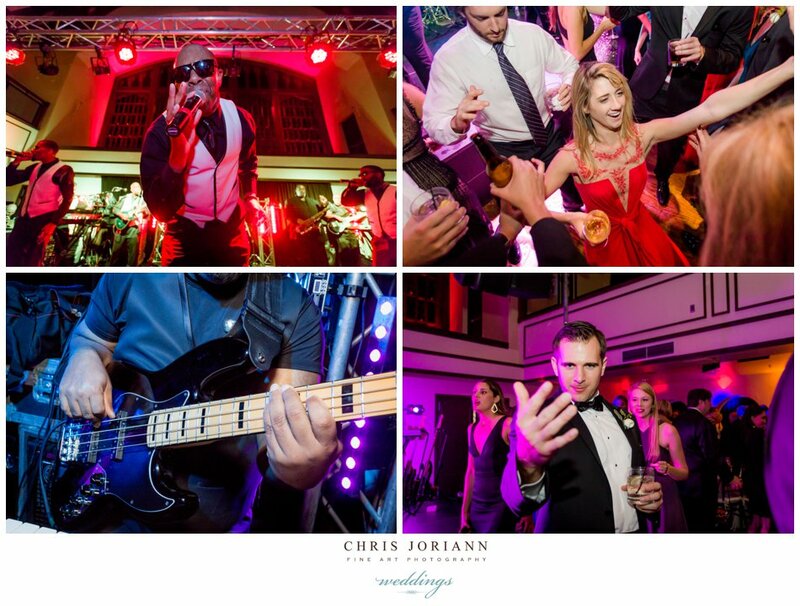 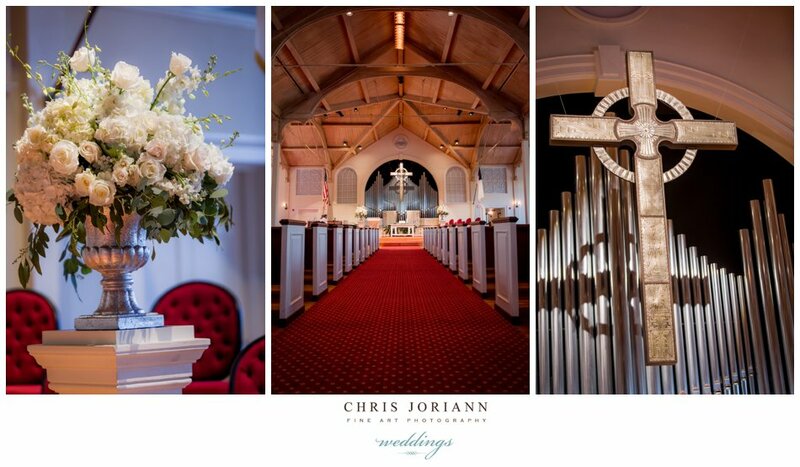 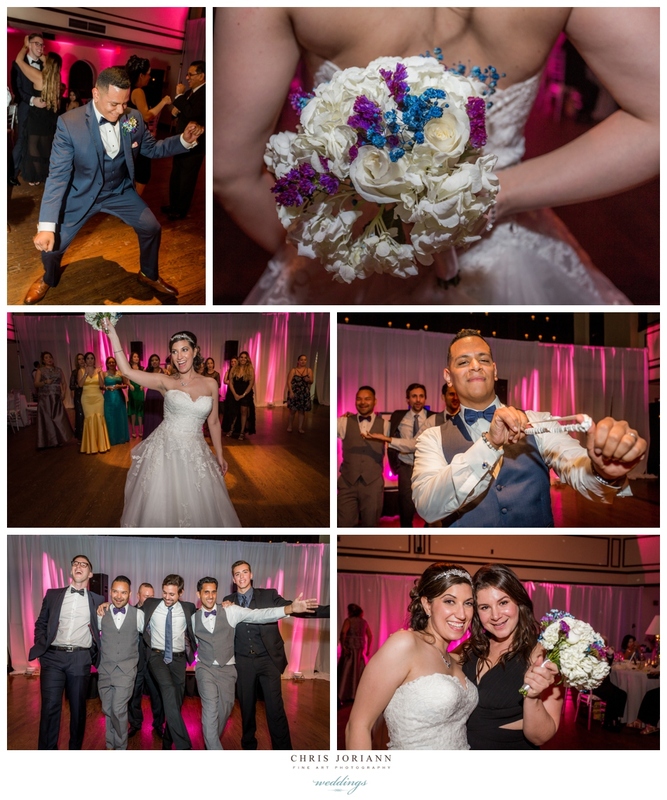 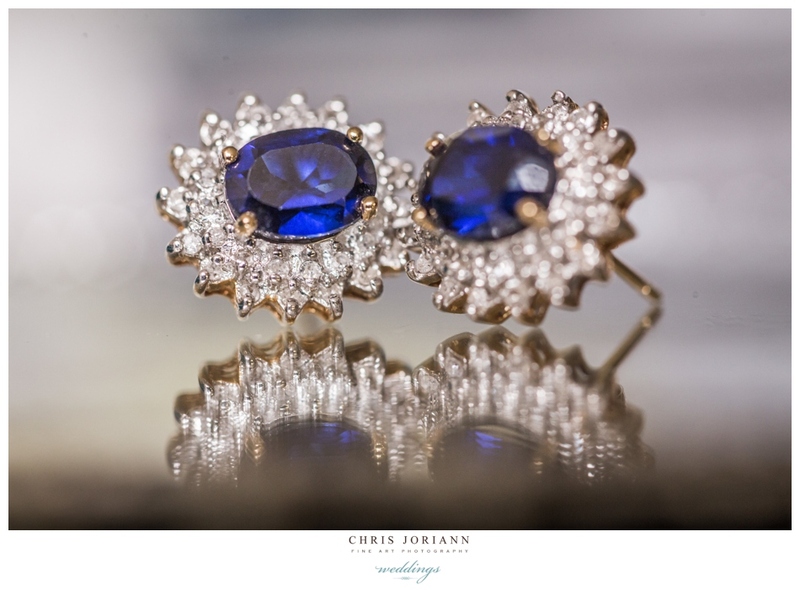 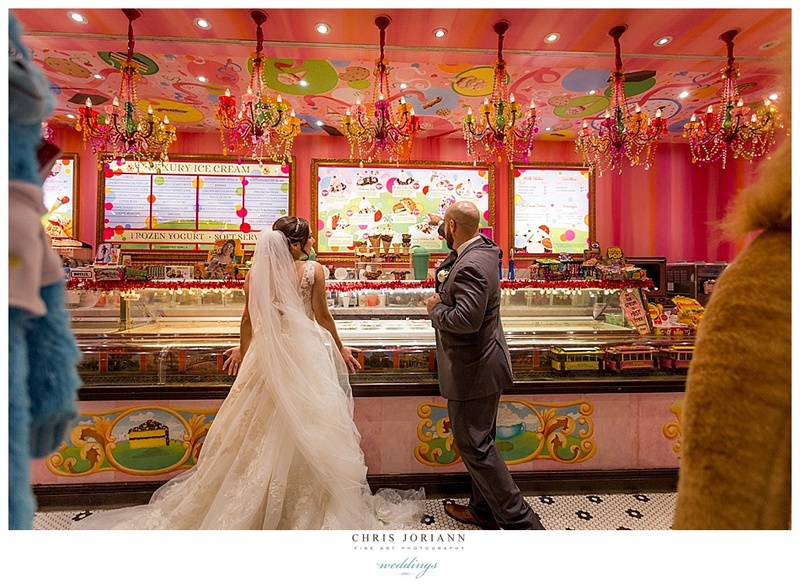 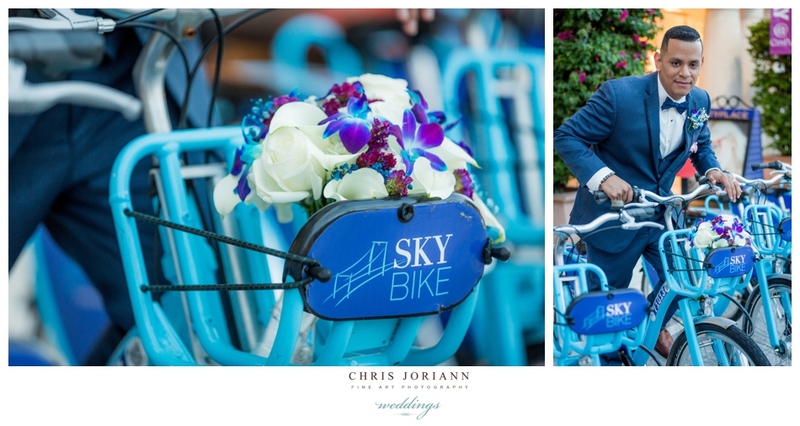 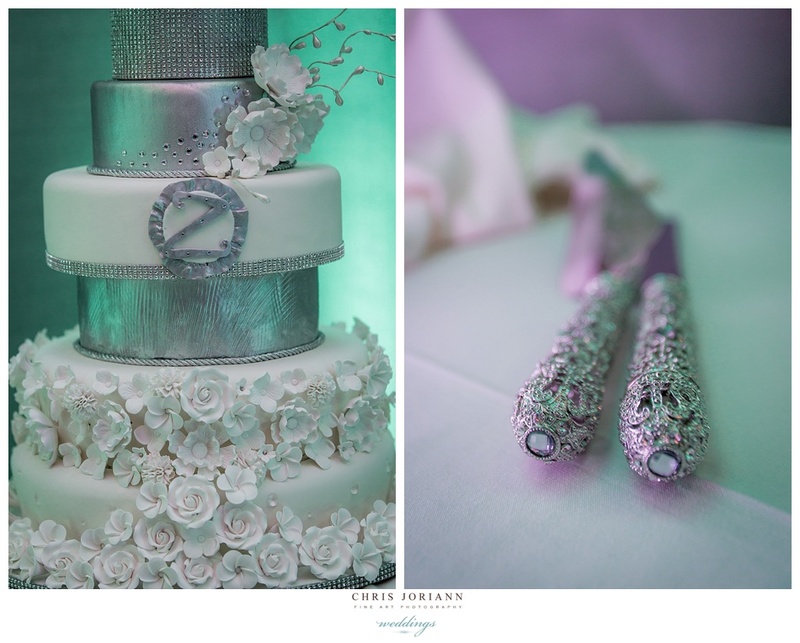 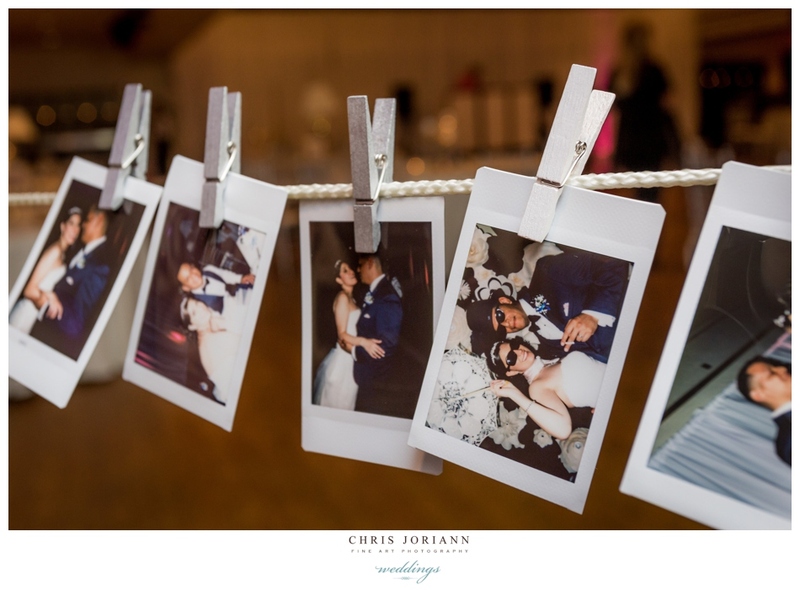 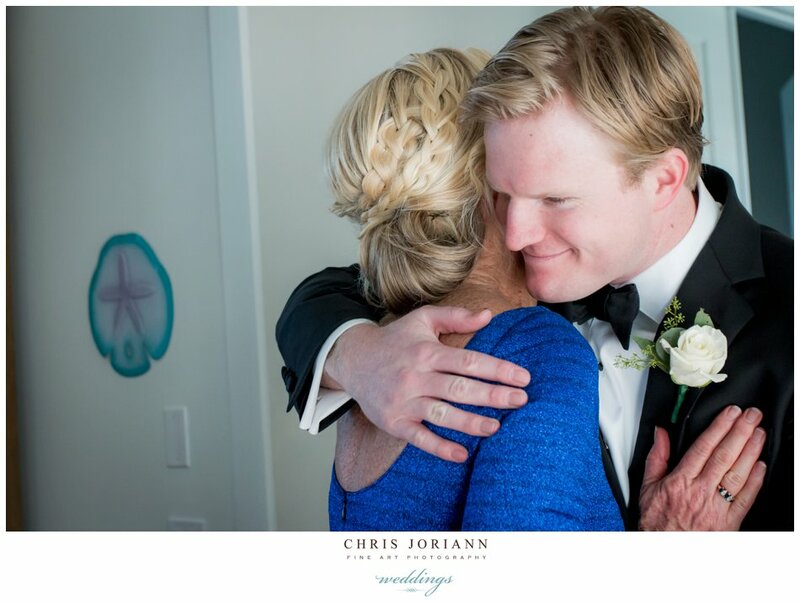 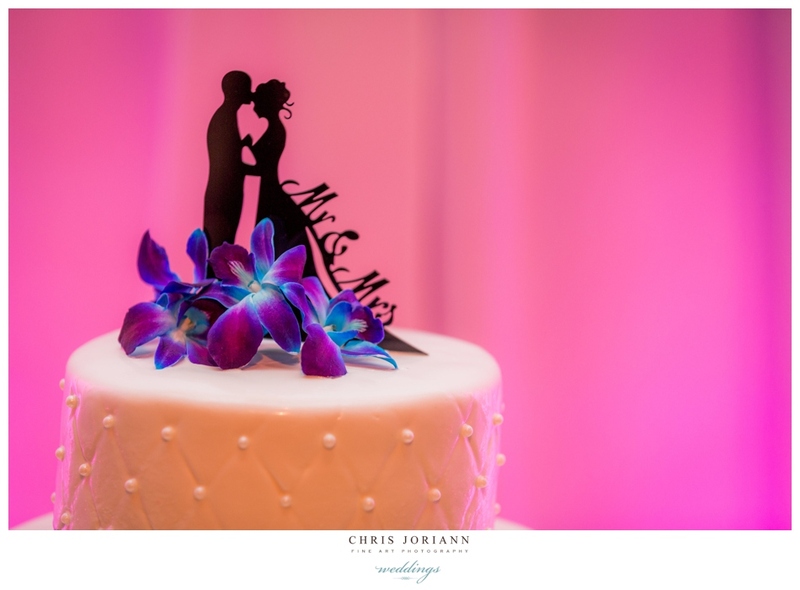 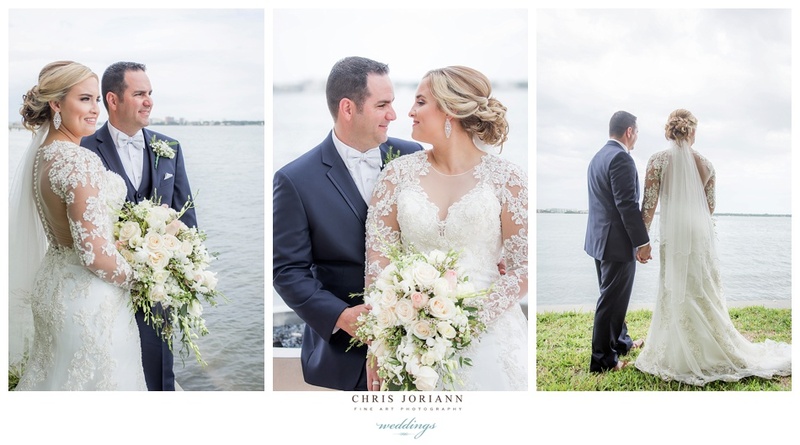 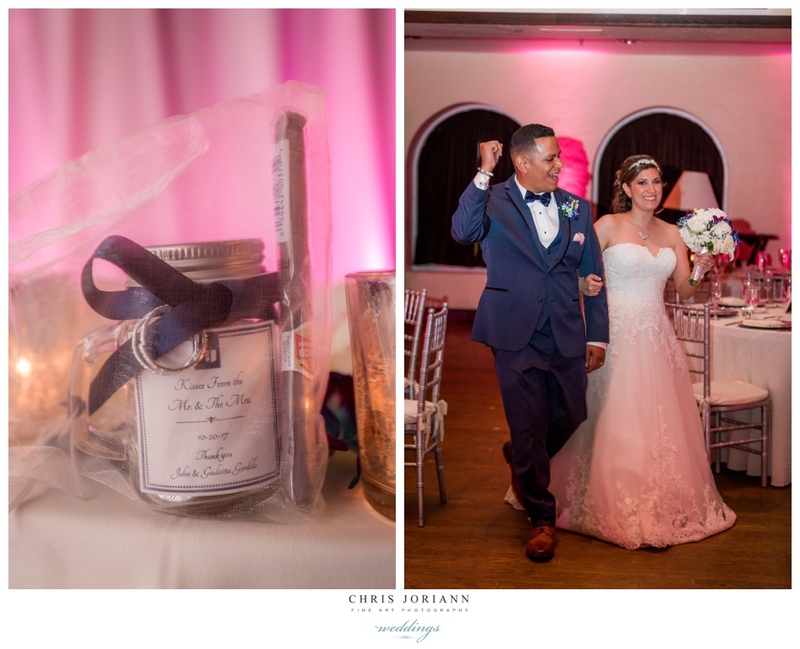 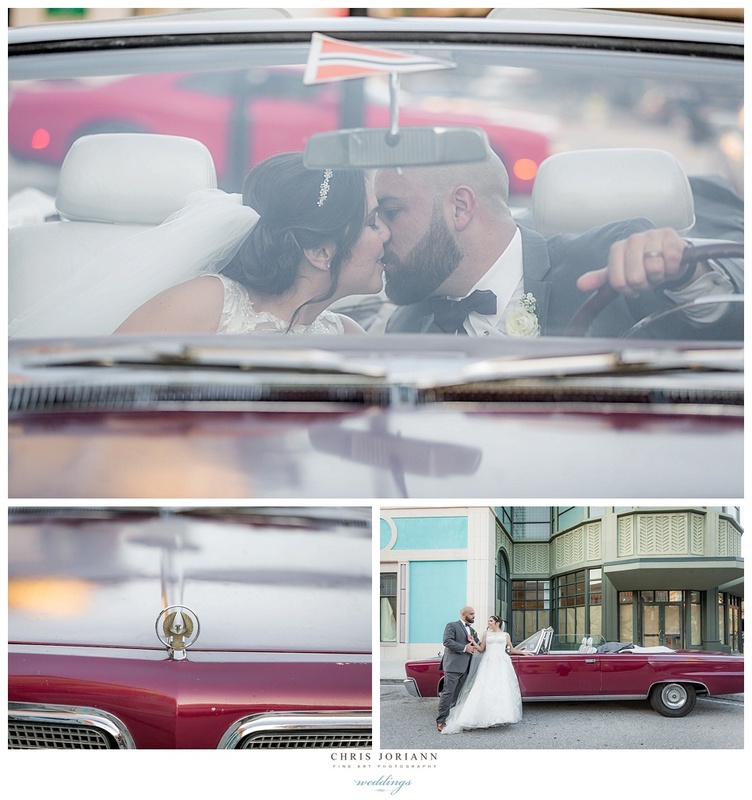 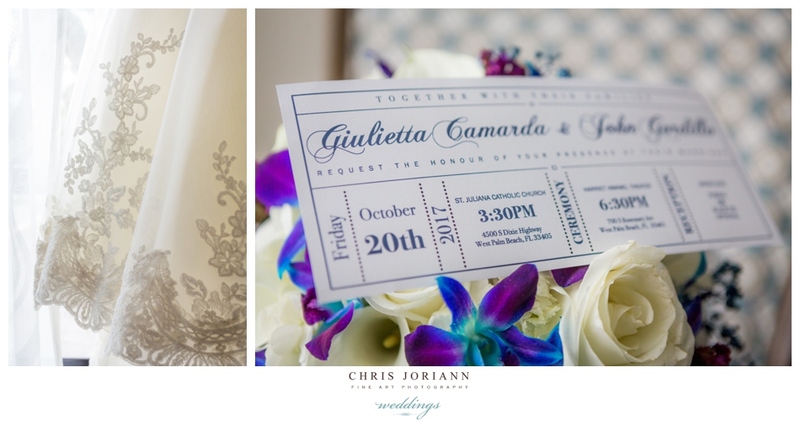 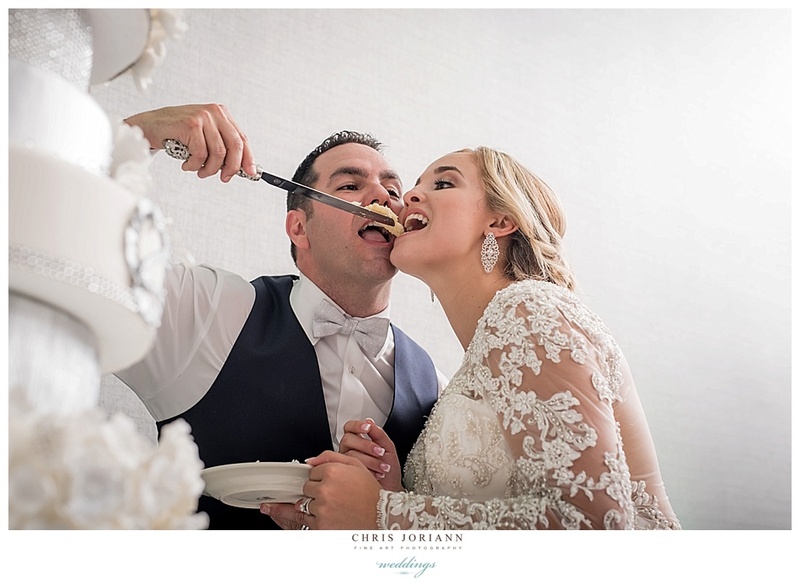 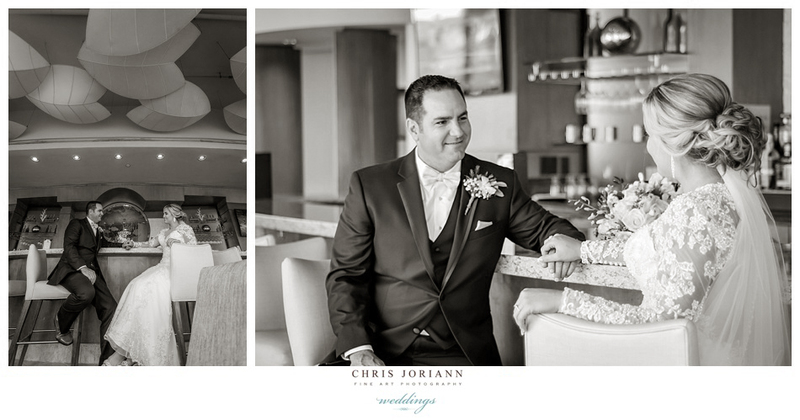 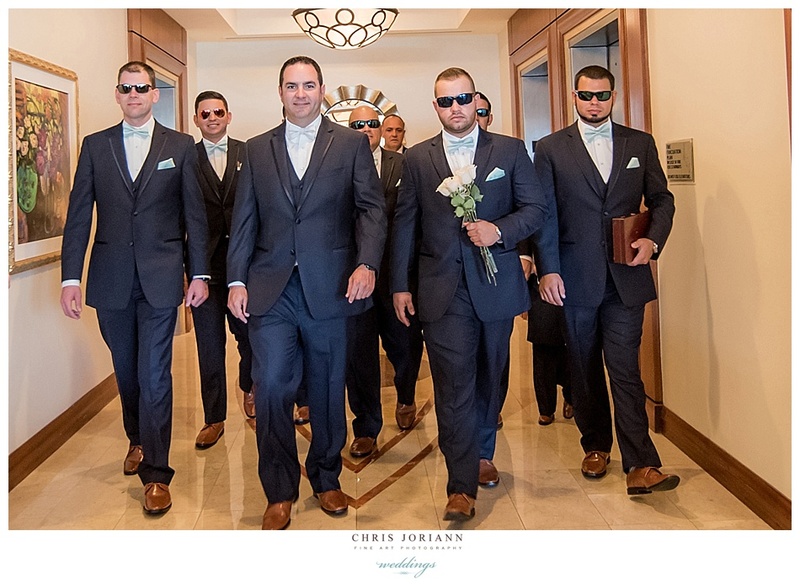 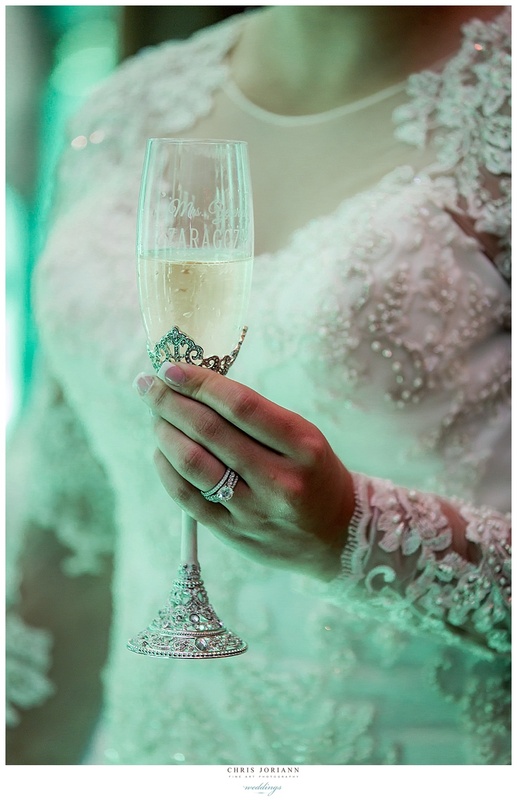 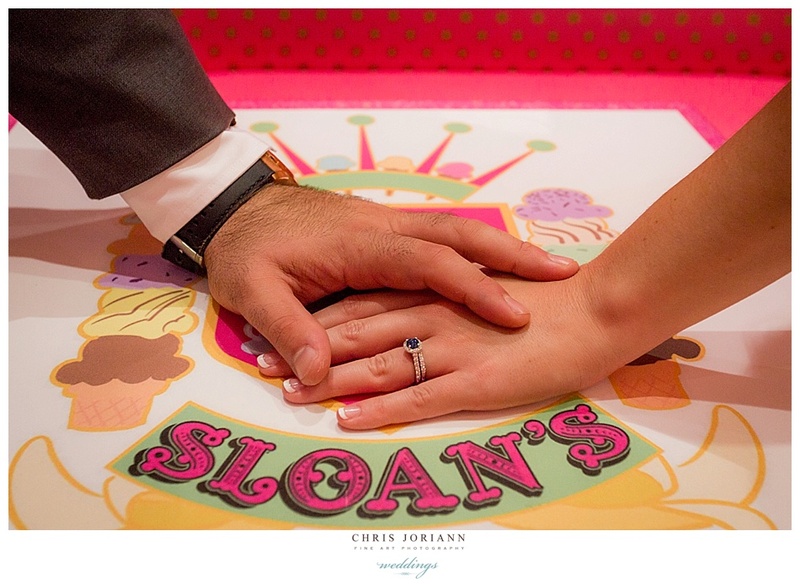 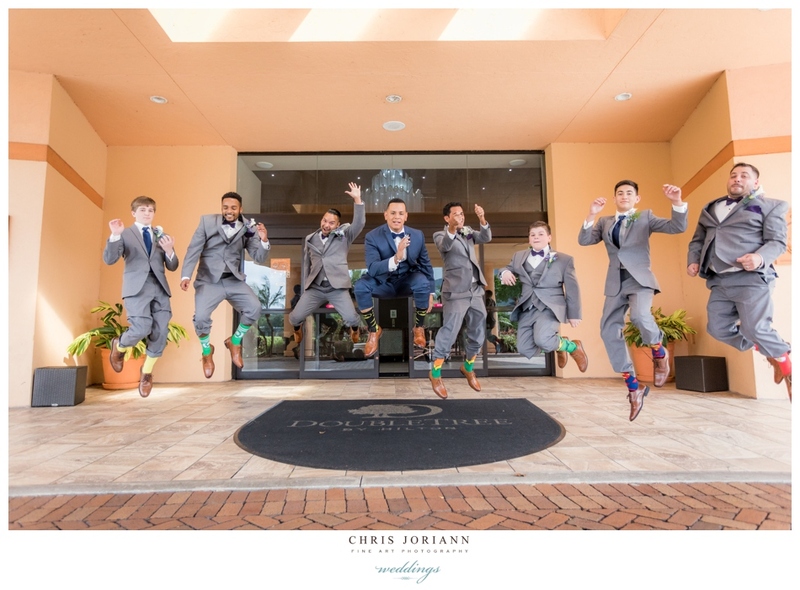 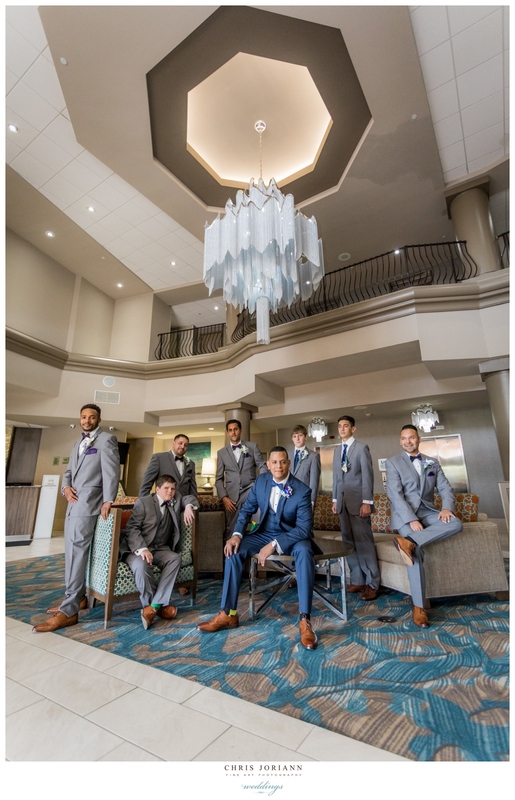 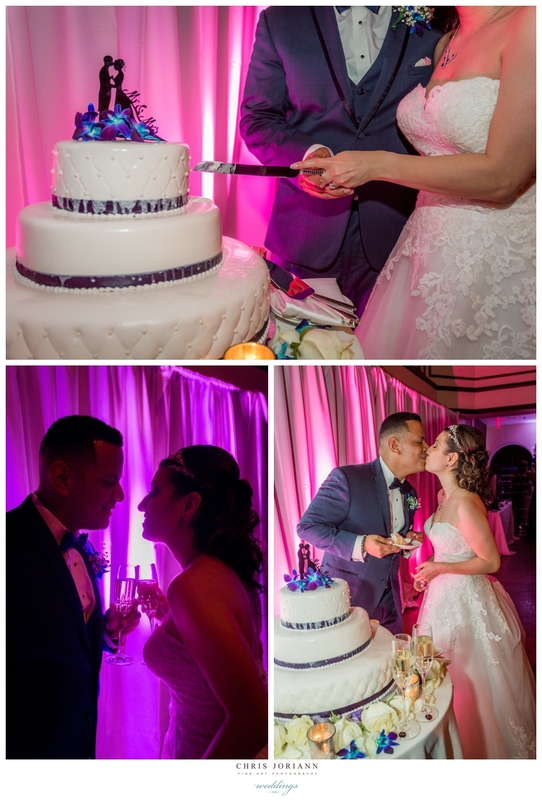 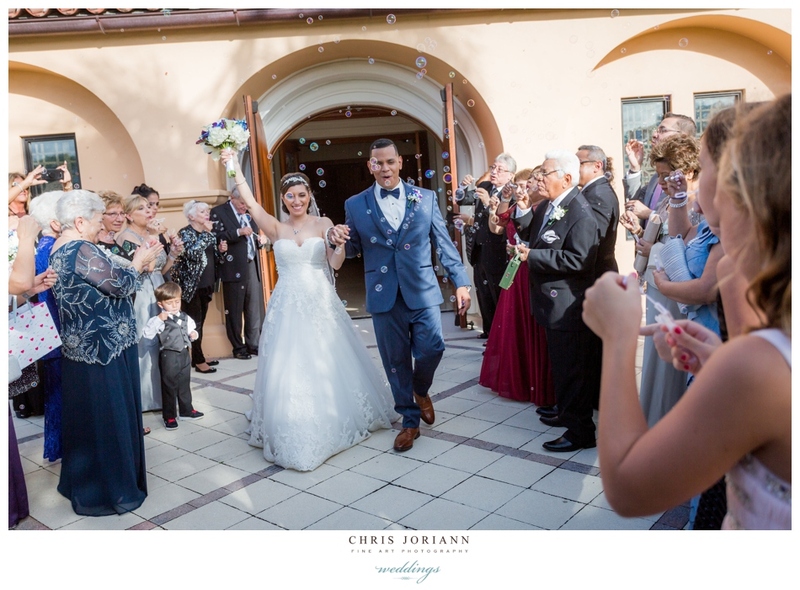 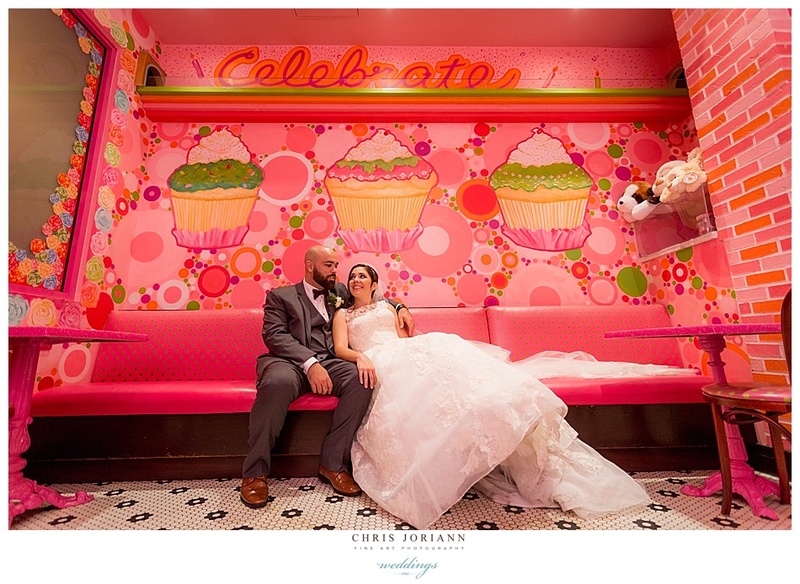 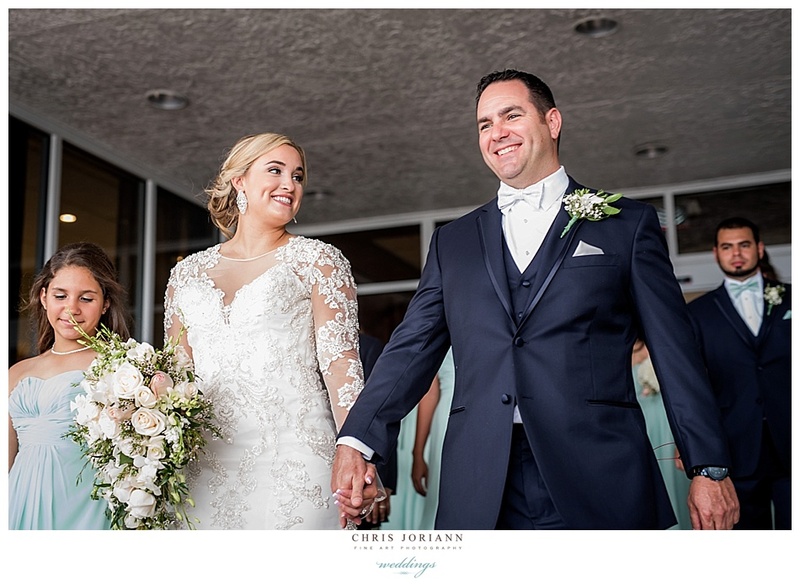 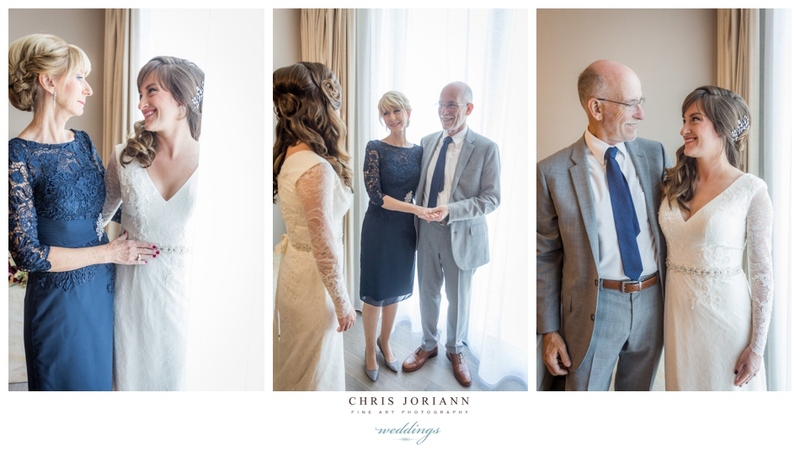 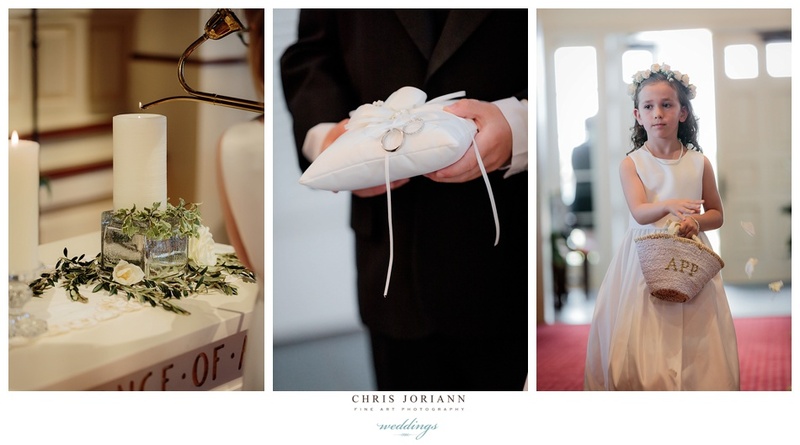 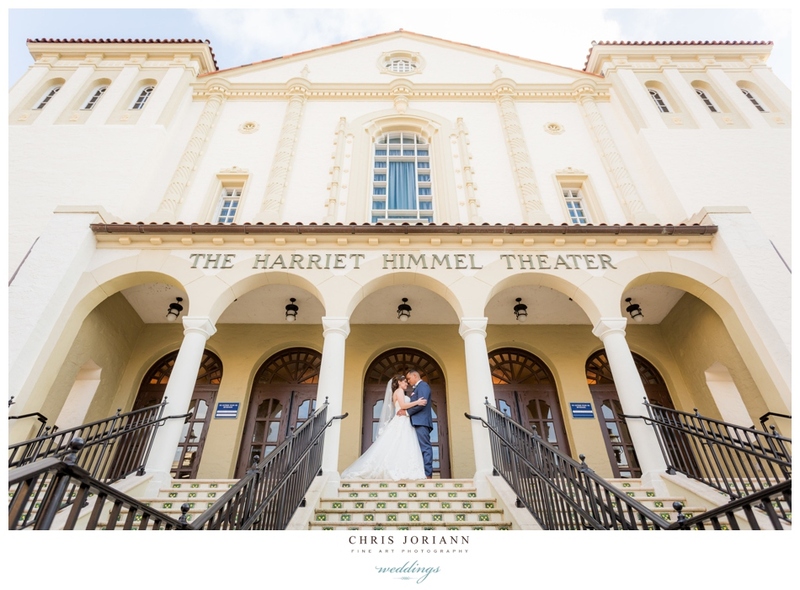 Gulietta + John’s vintage 1960’s themed wedding took place at Harriet Himmel Theater in West Palm Beach. 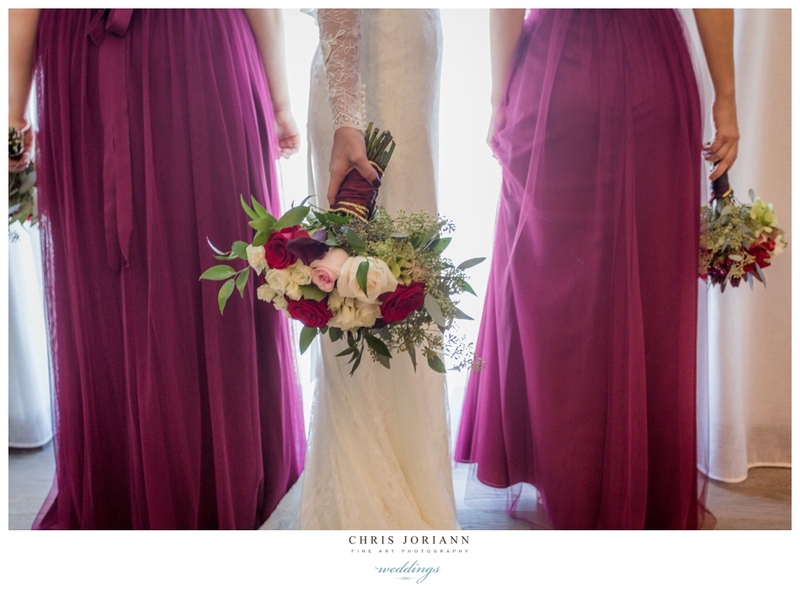 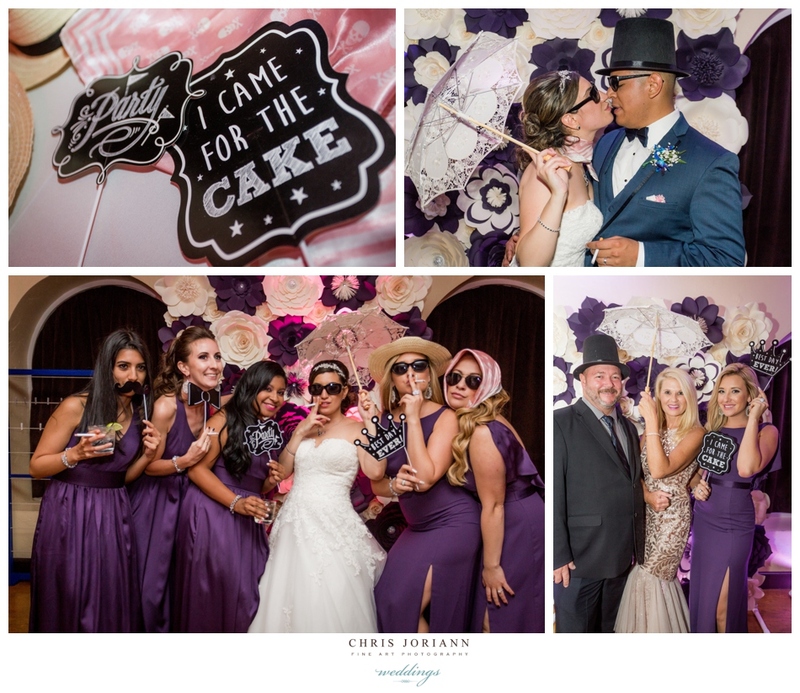 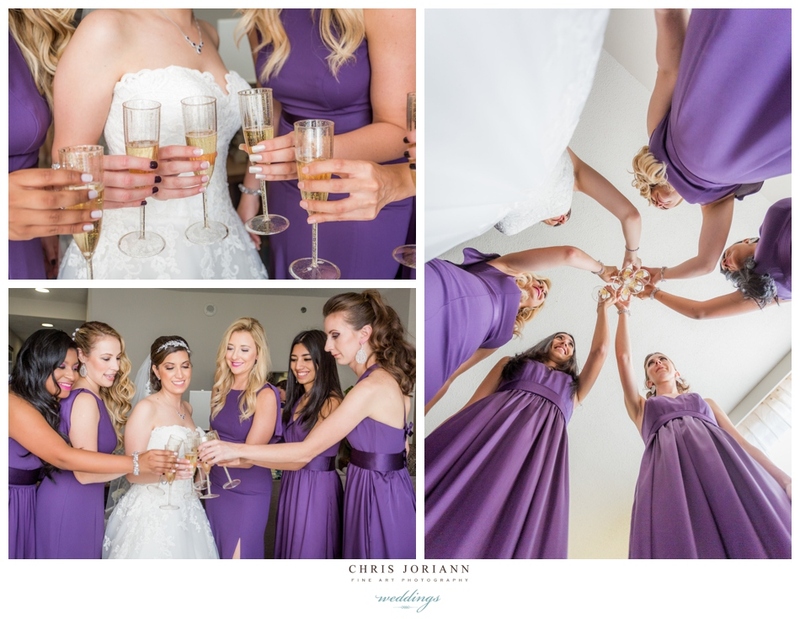 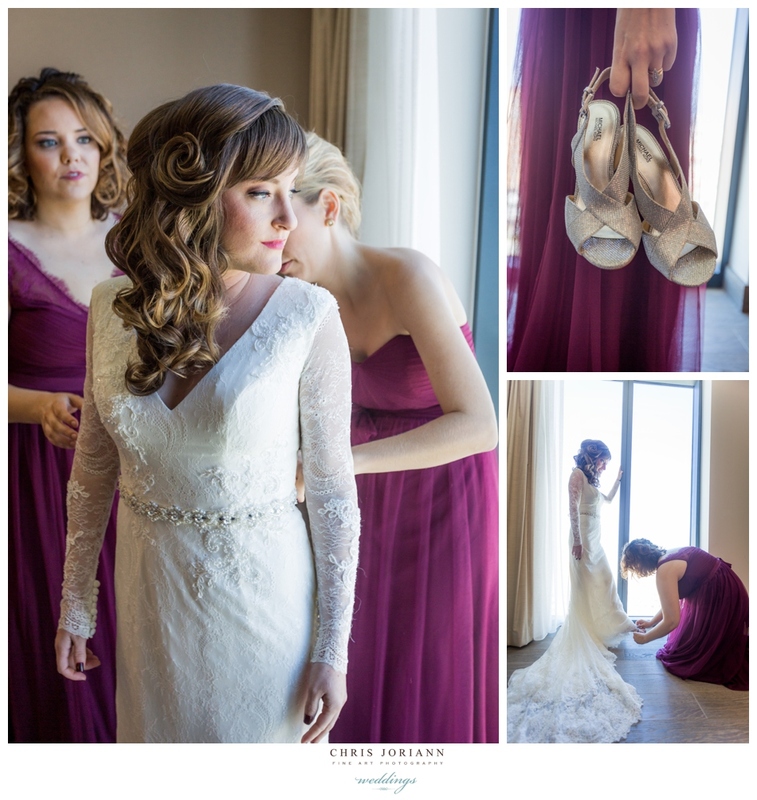 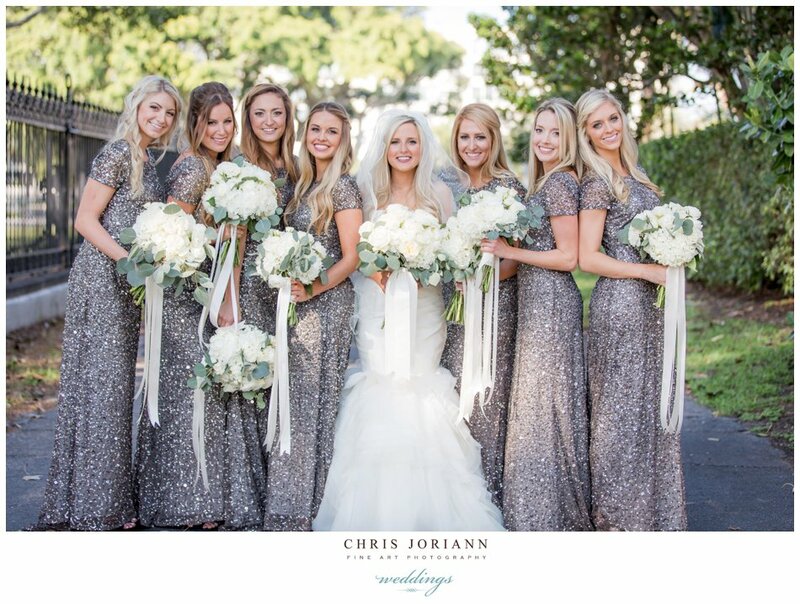 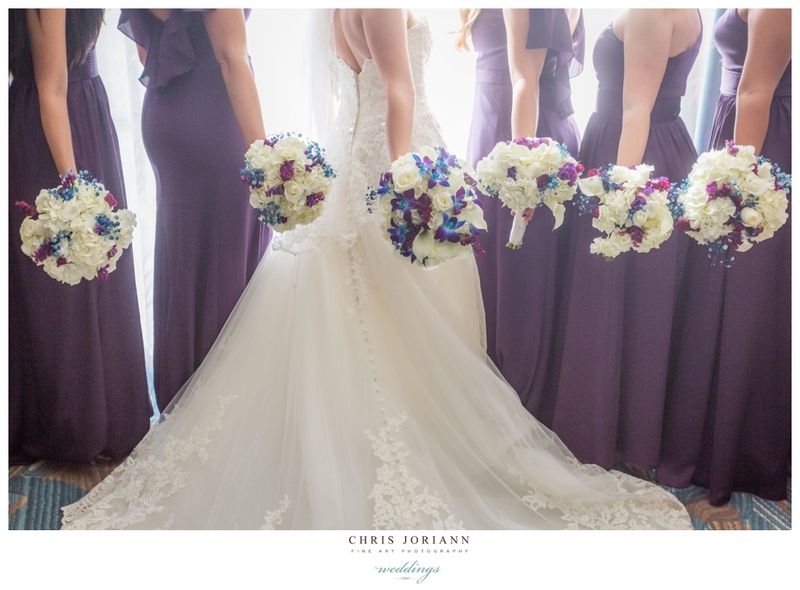 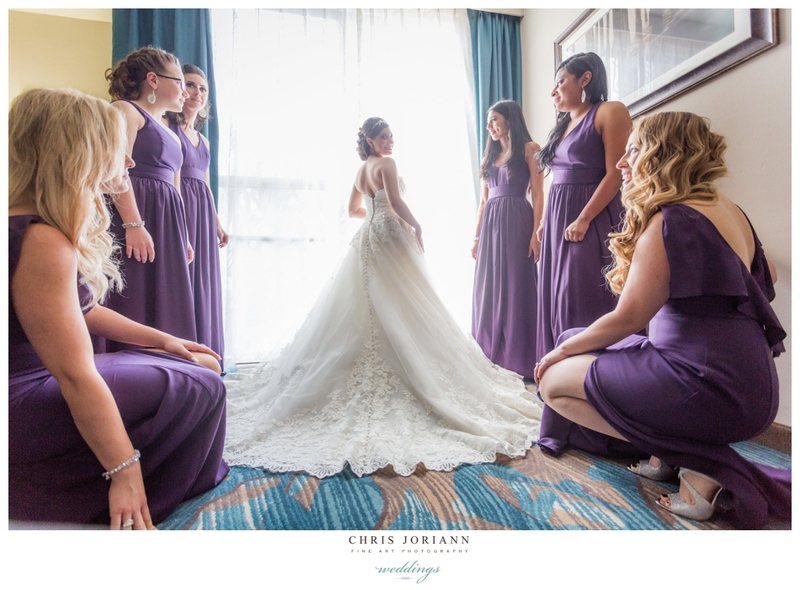 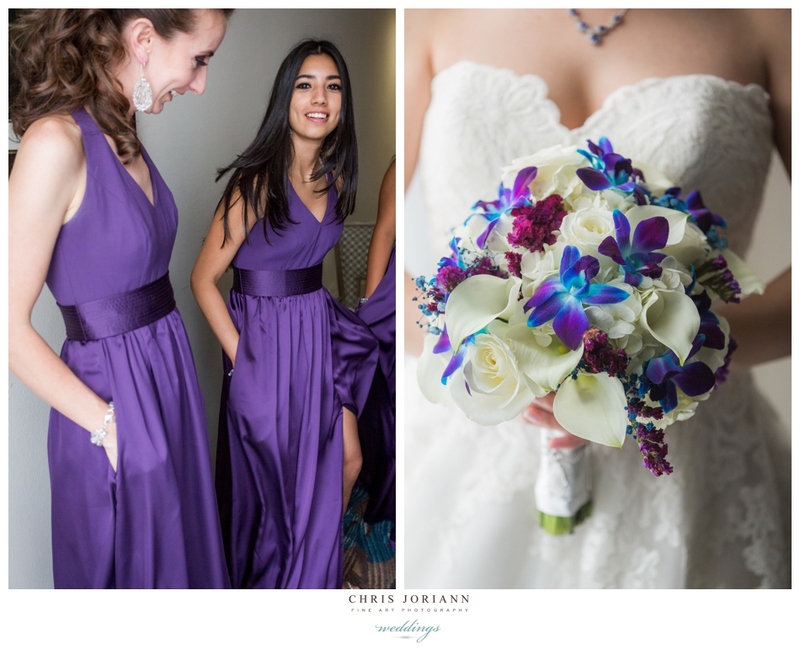 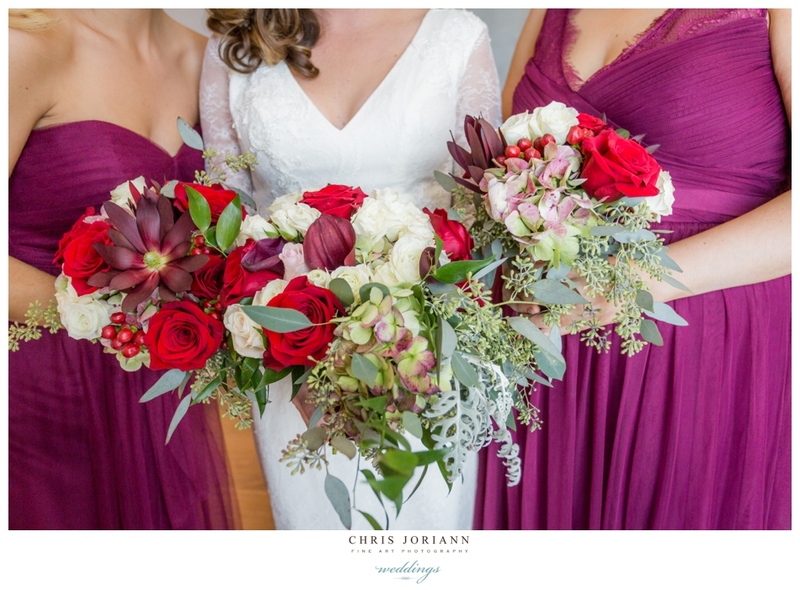 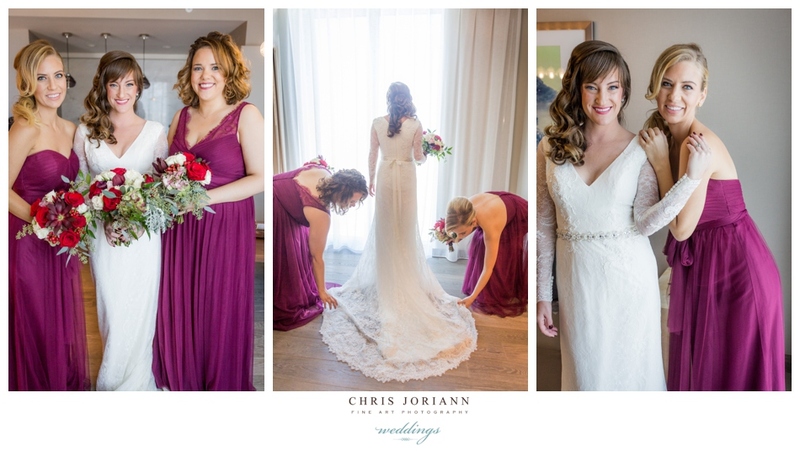 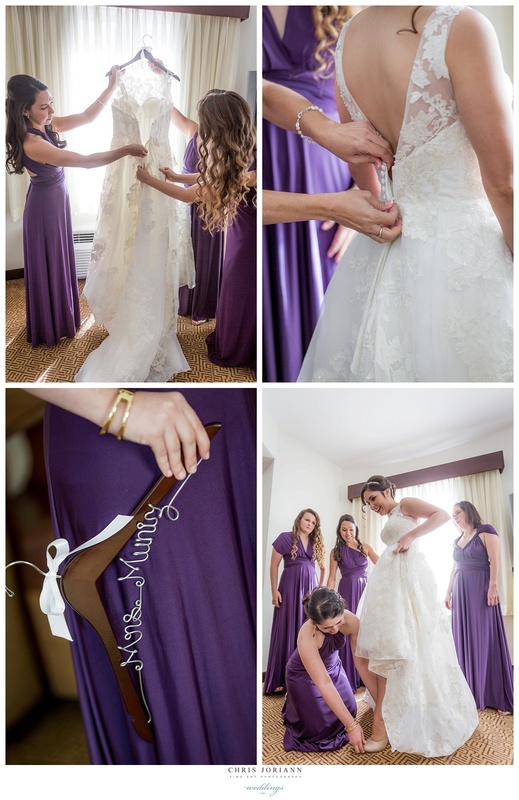 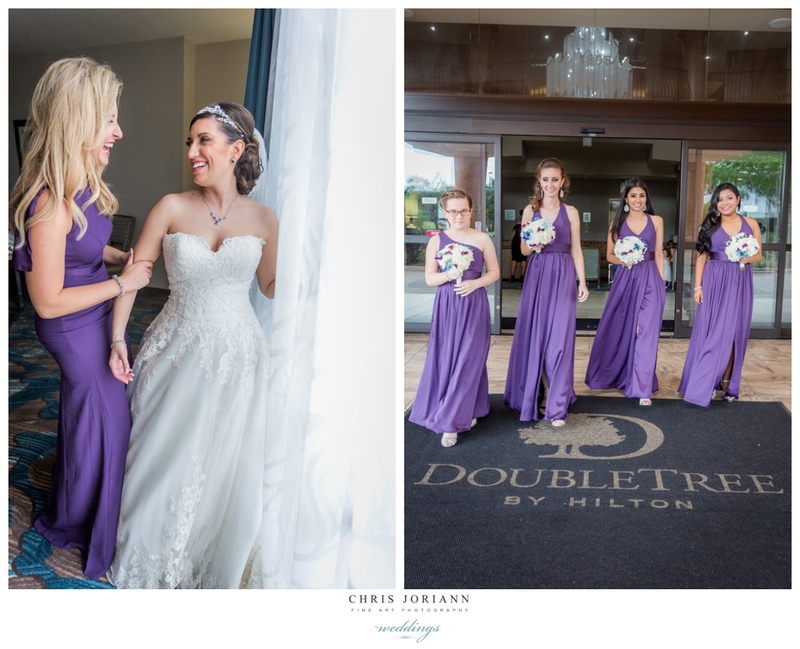 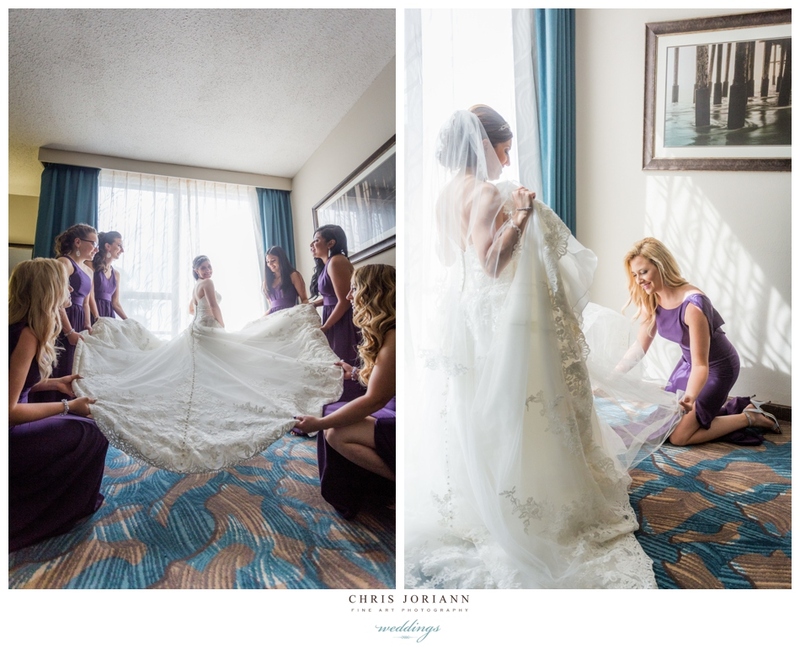 The bride wore a lace couture gown by Legenda, and bridesmaids wore plum gowns, to go with the navy and plum palette. 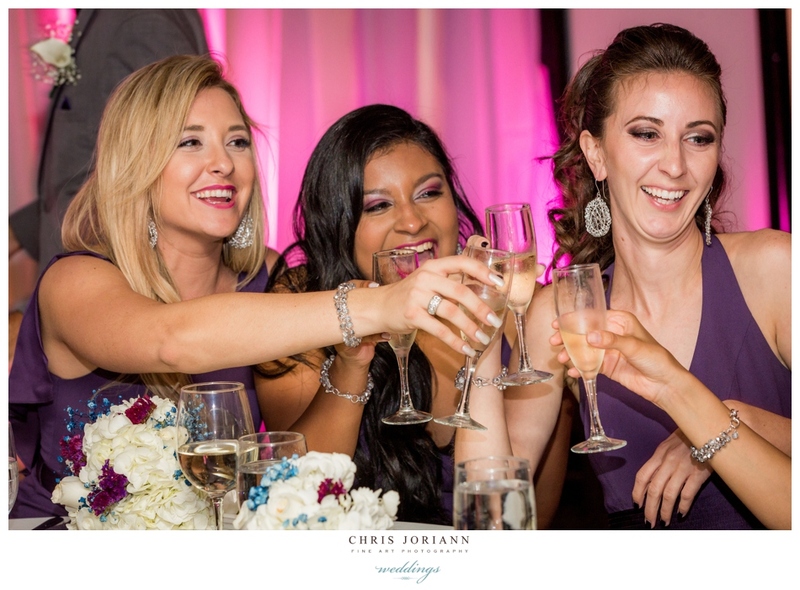 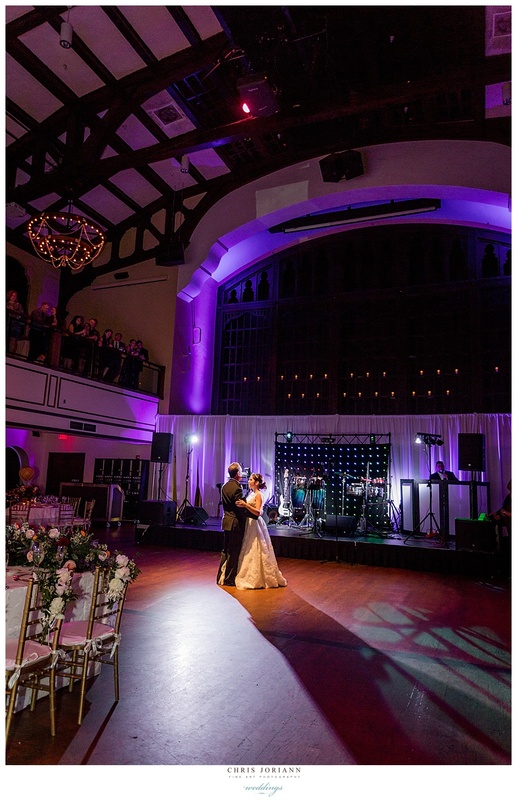 The candle-lit ceremony and reception space was awash in purple hues, with florals + décor created by Kish Events + Decor. 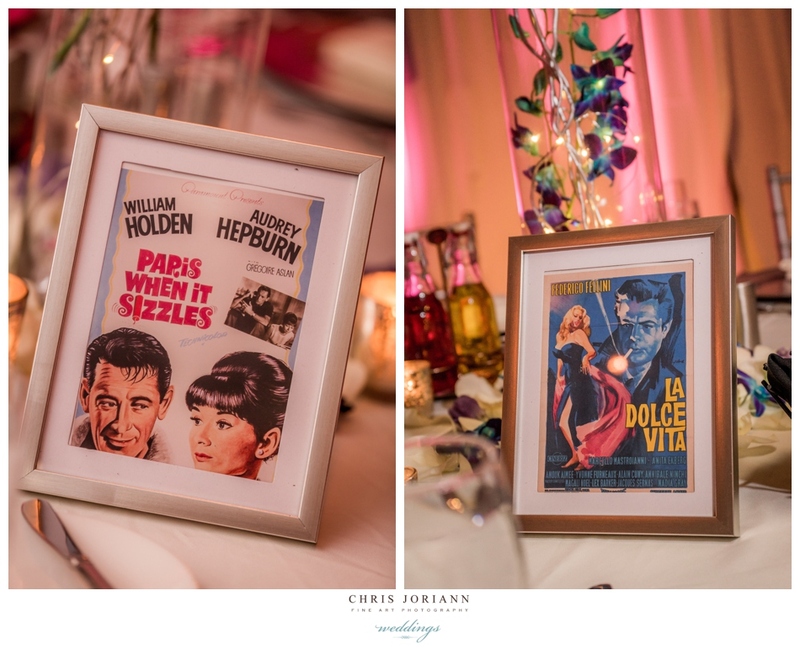 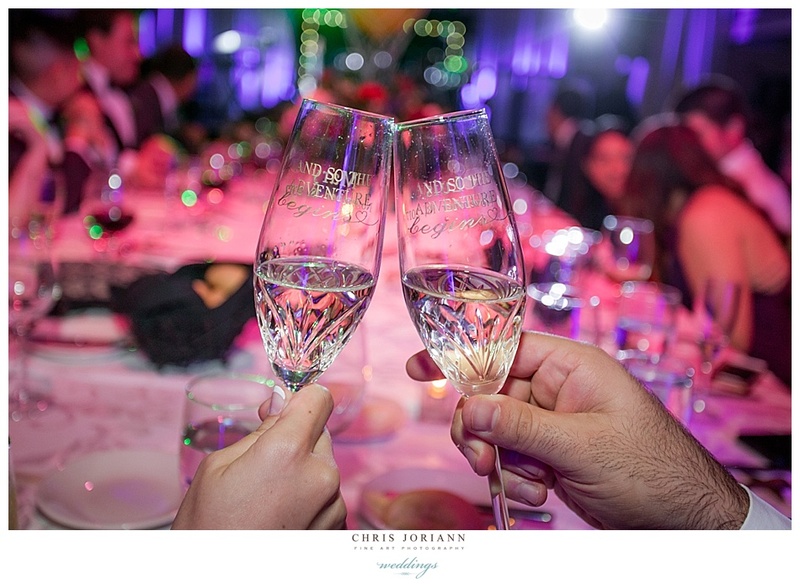 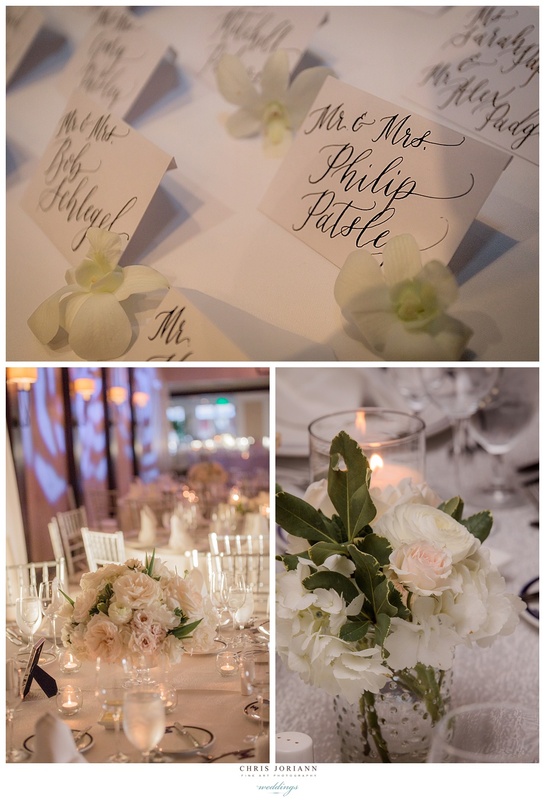 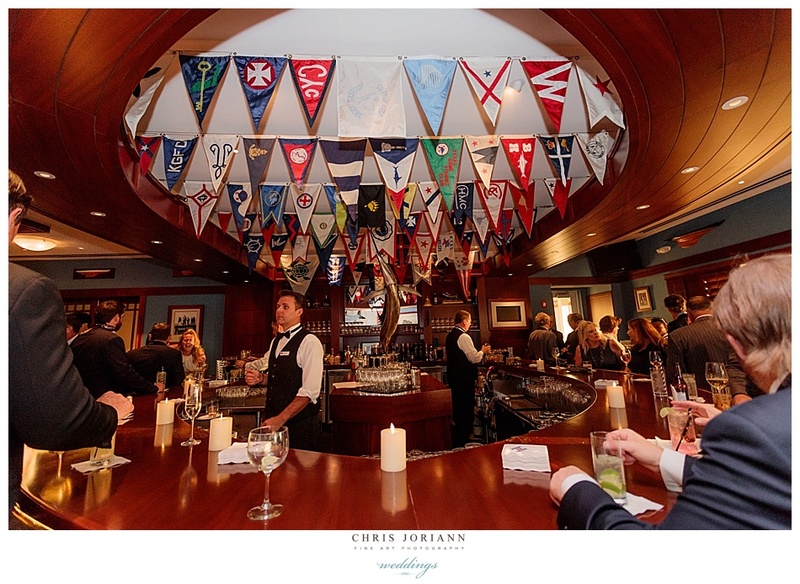 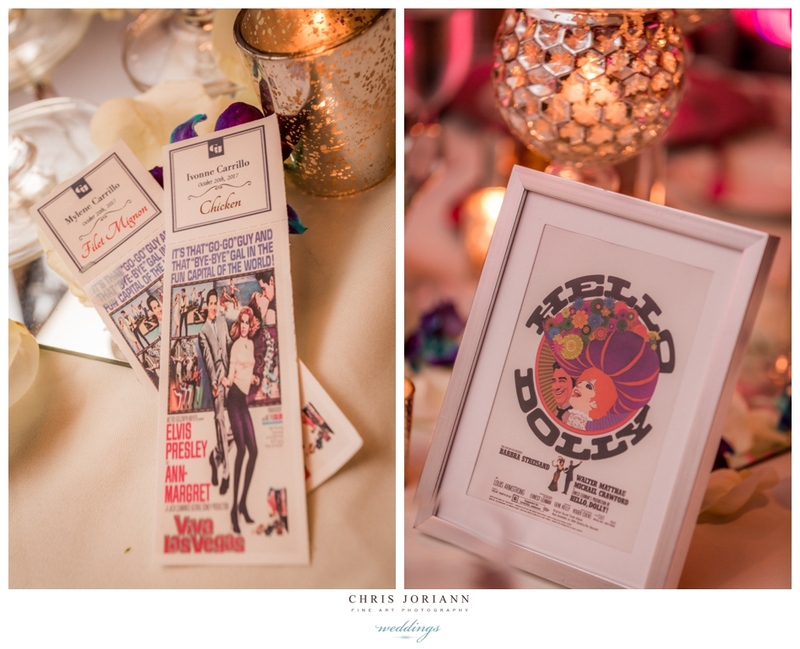 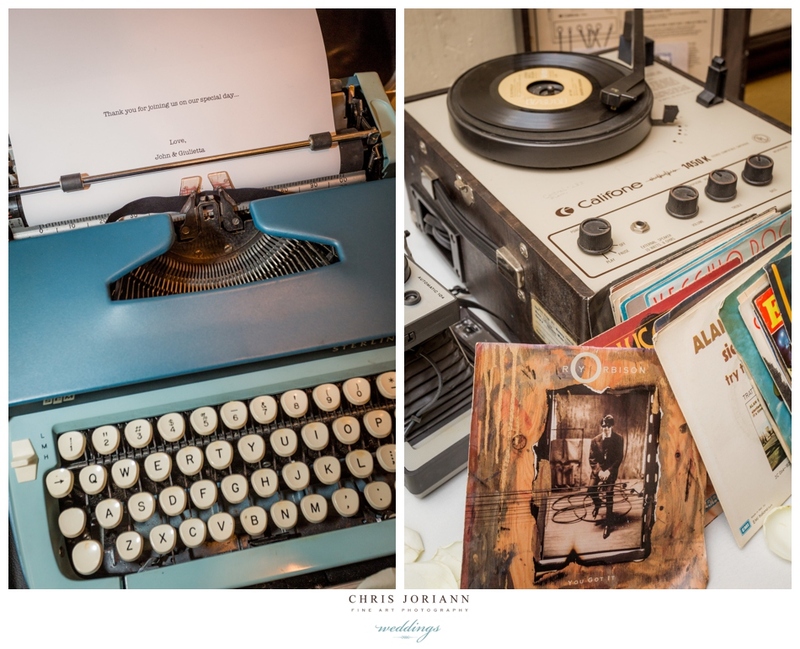 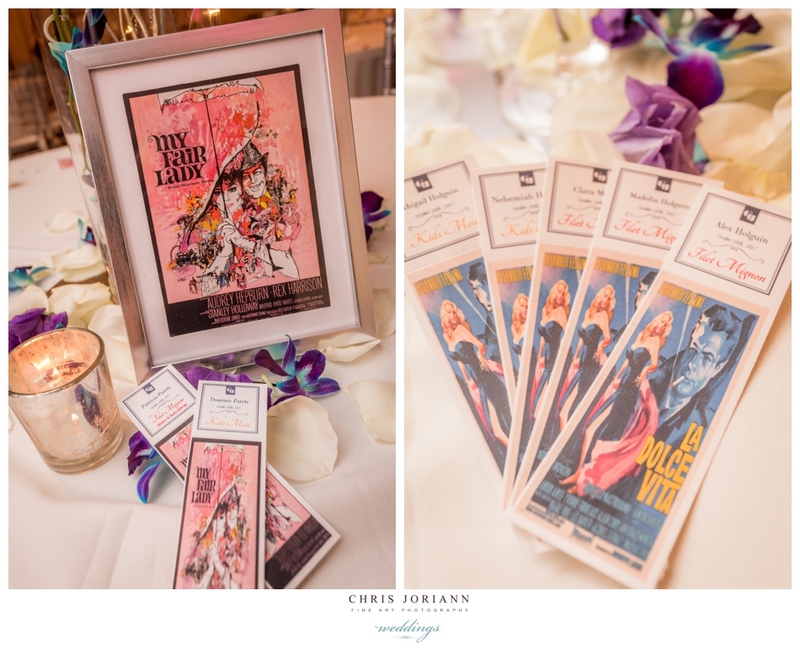 Each table was named after a famous 1960’s movie, complete with retro movie poster, that matched the movie ticket stub place cards. 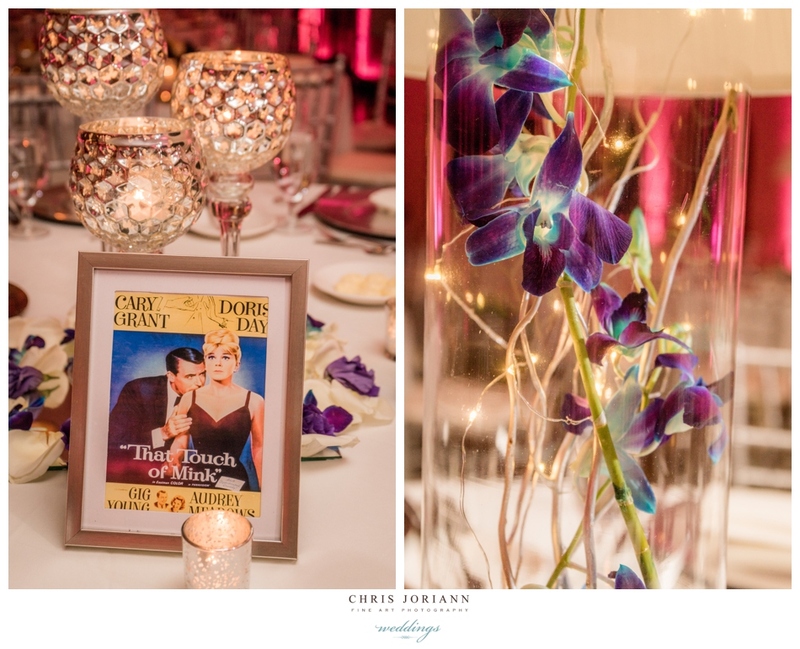 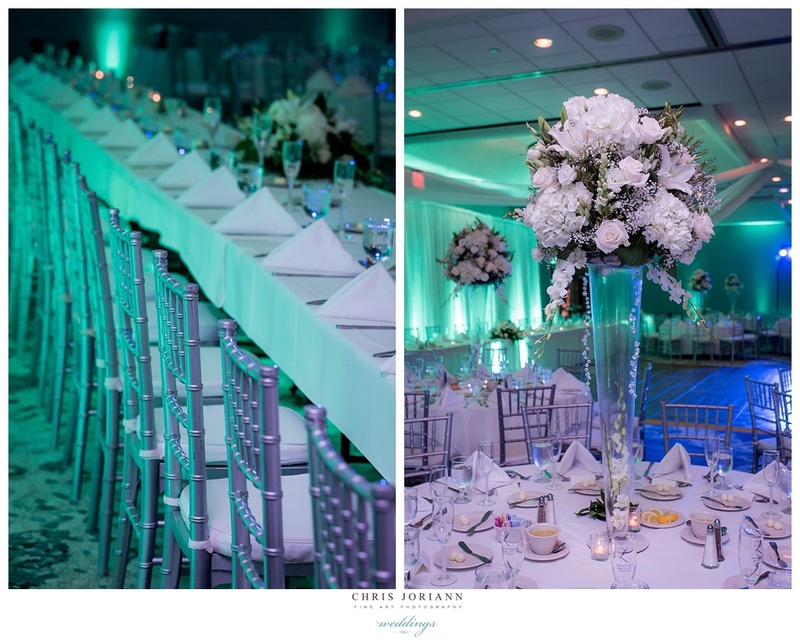 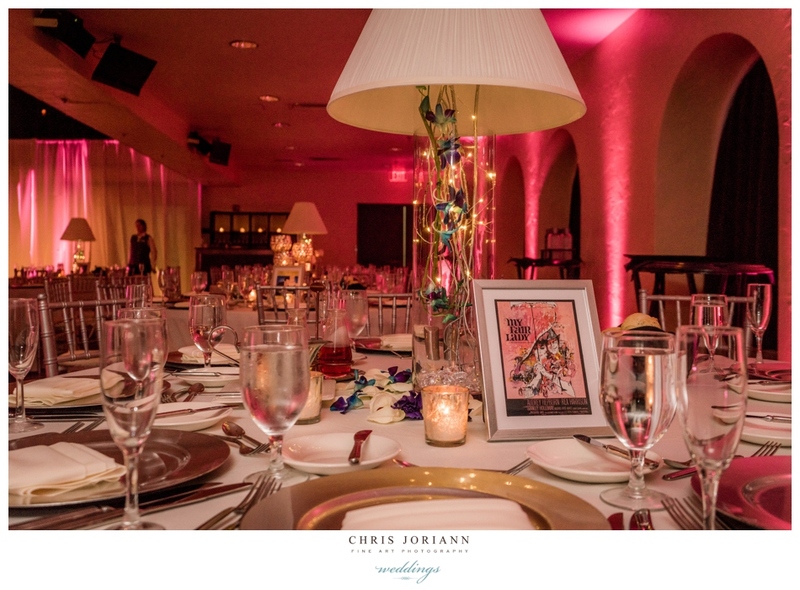 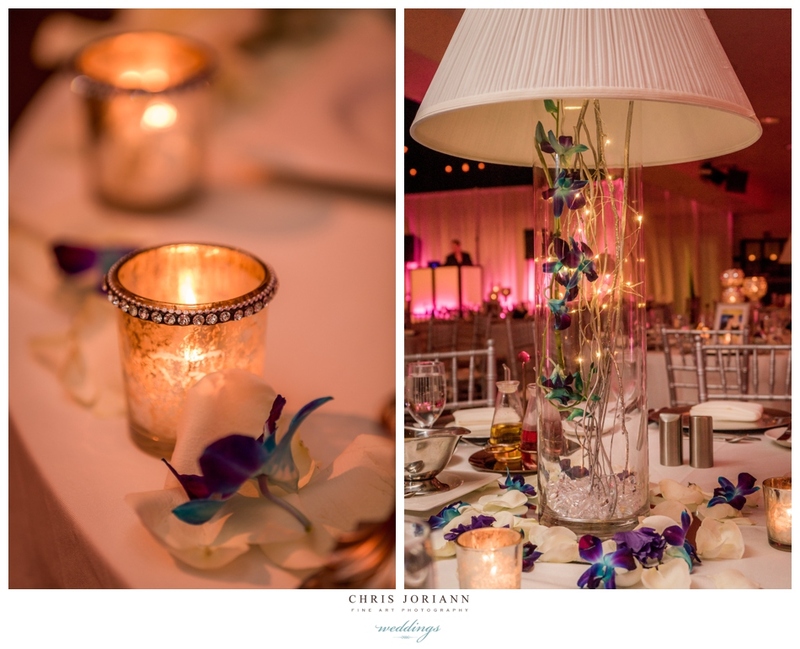 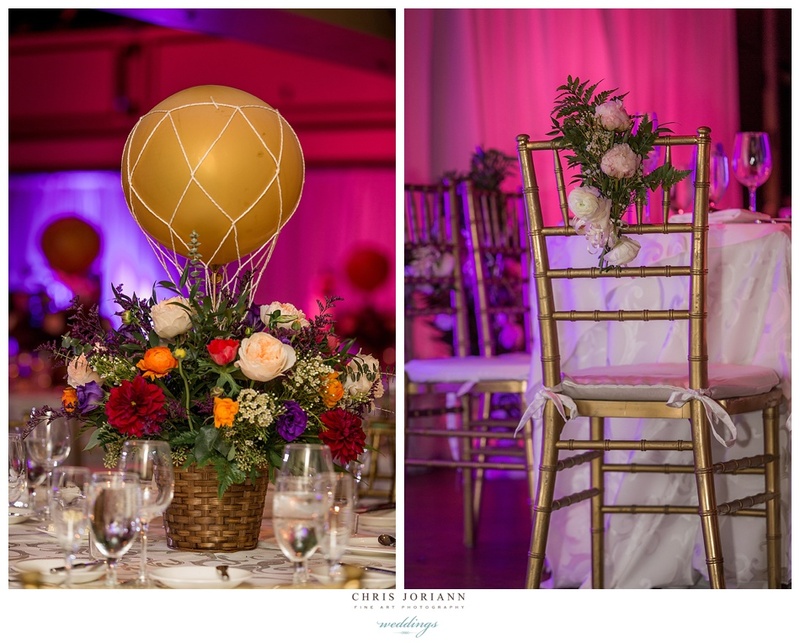 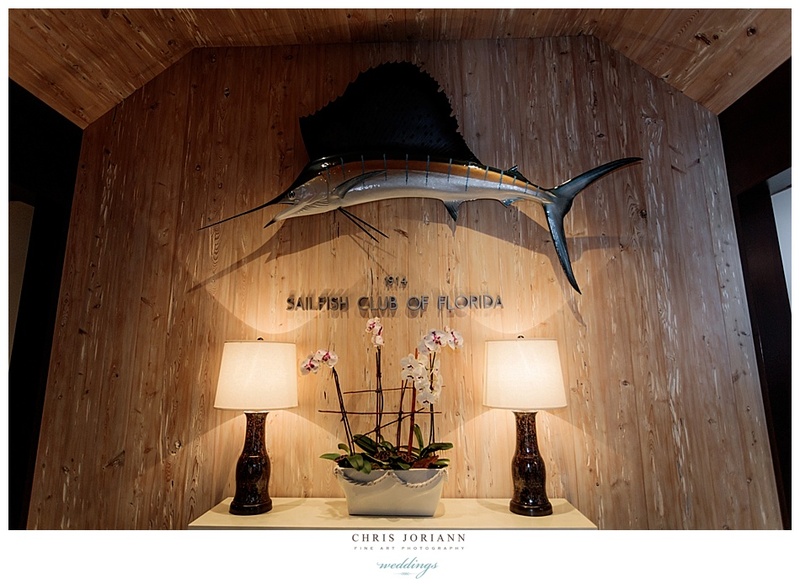 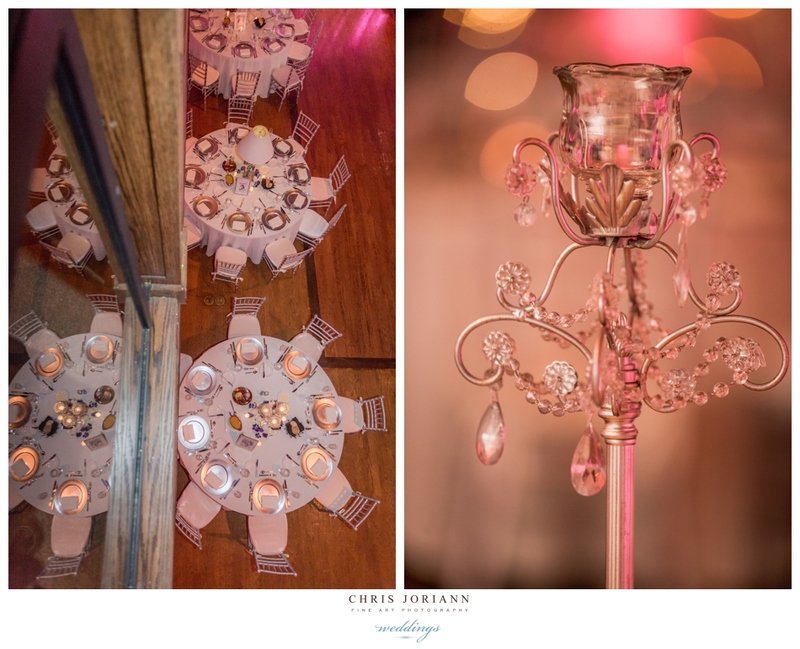 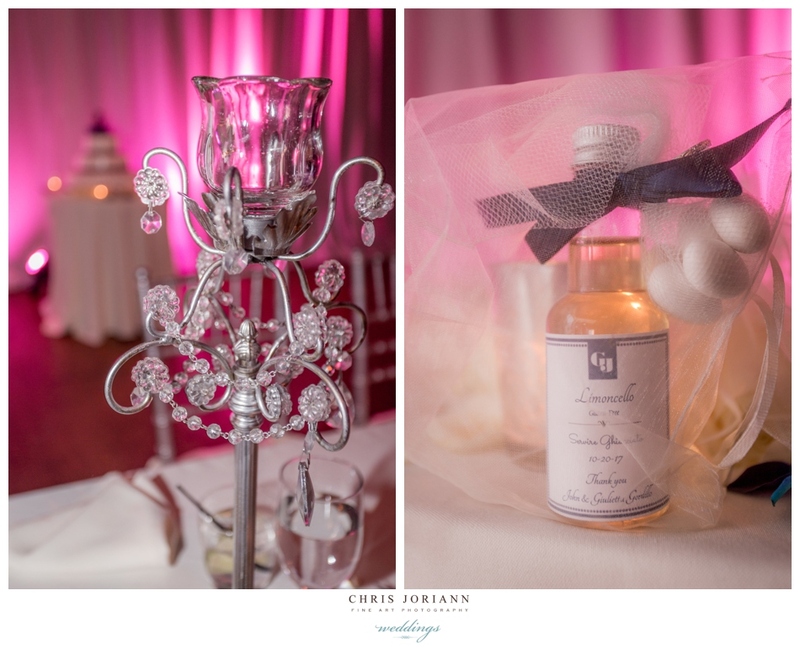 Centerpieces featured lampshades and floating purple orchid, and light filled bases. 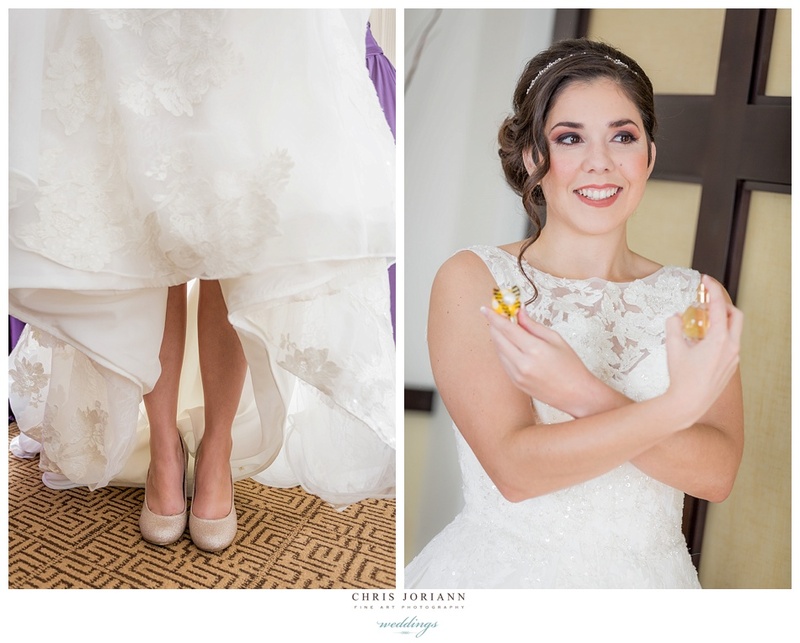 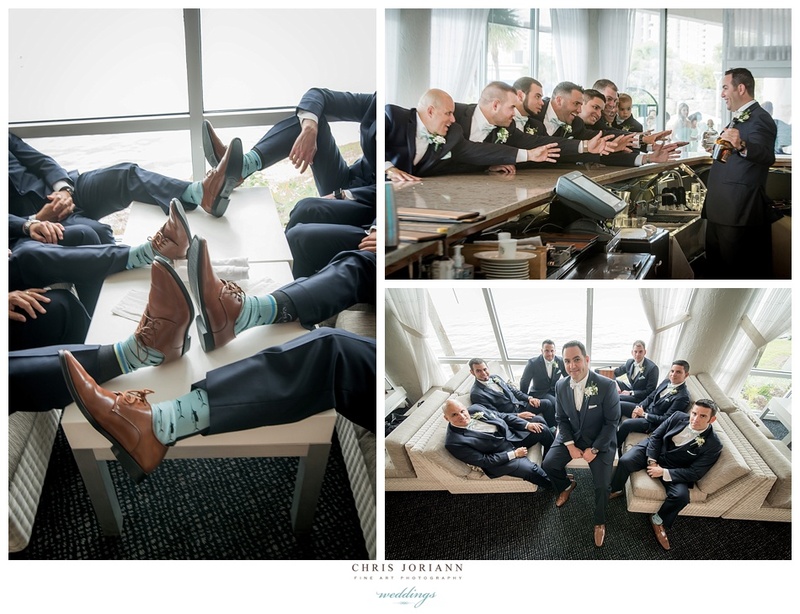 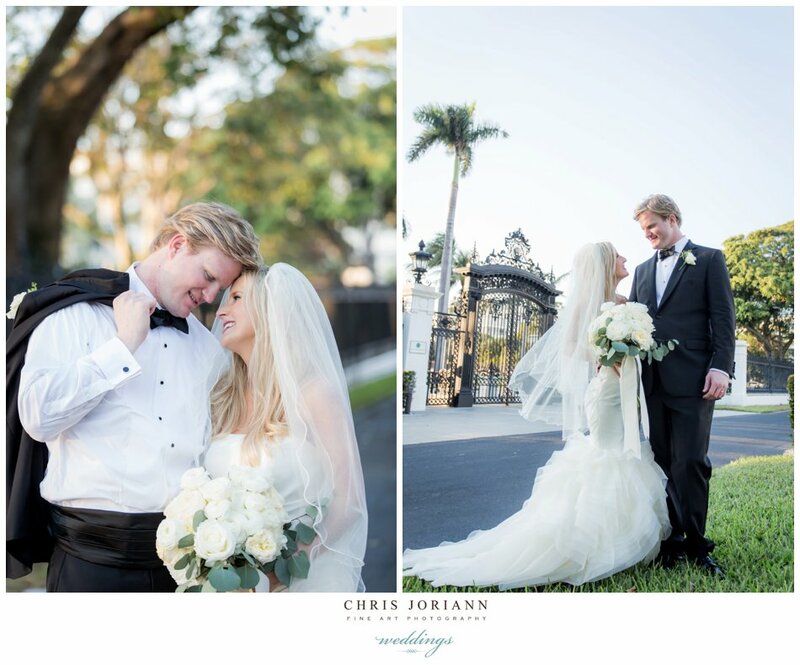 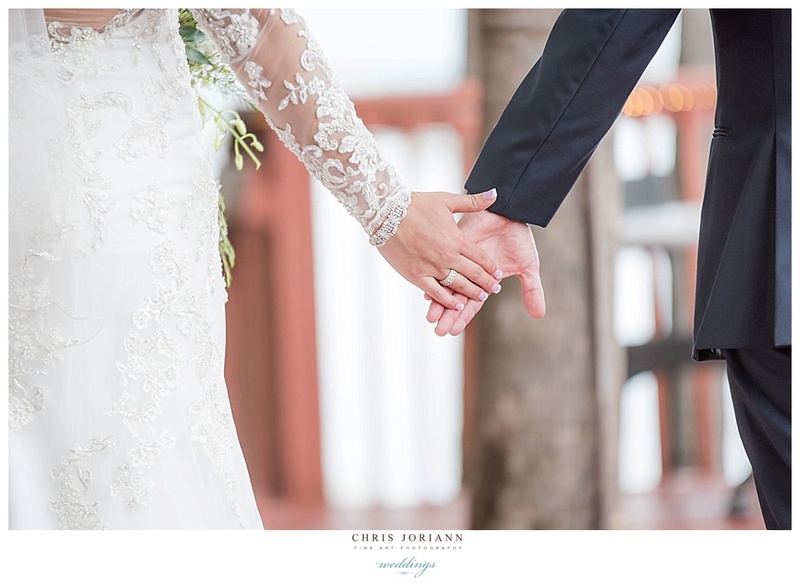 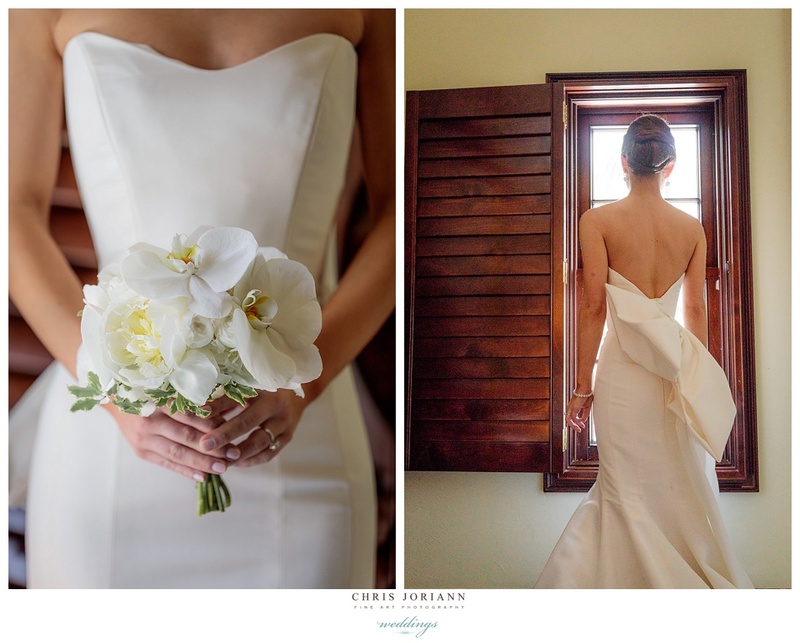 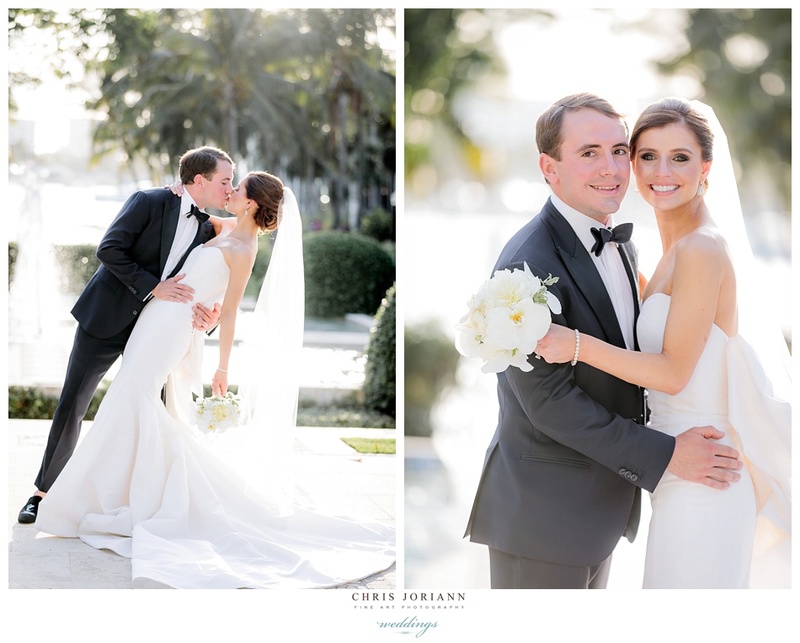 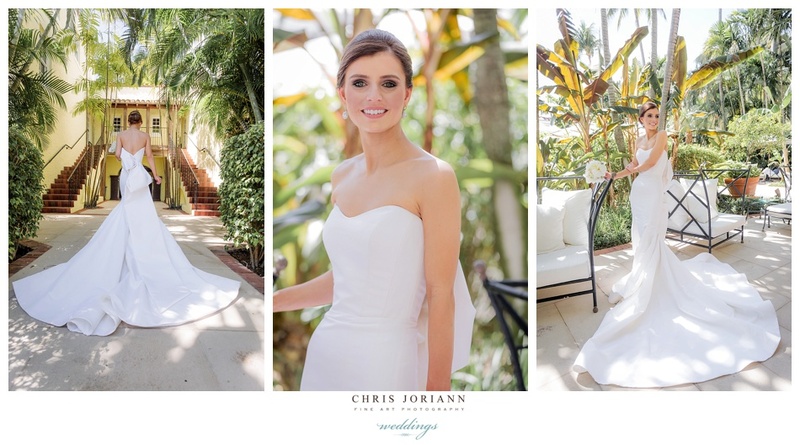 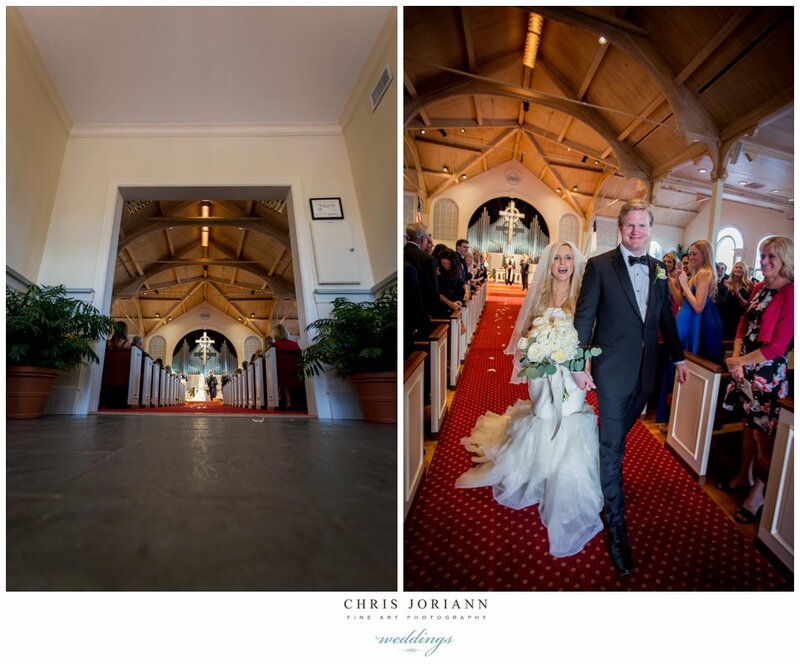 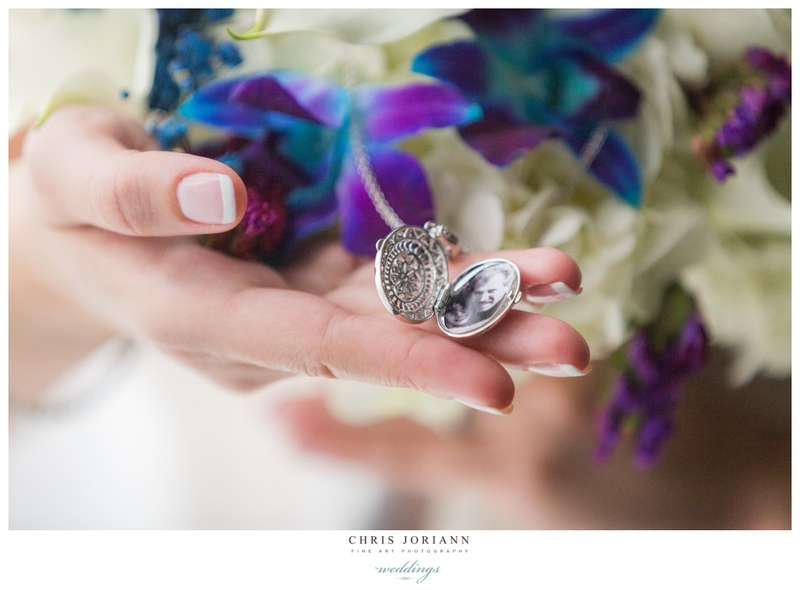 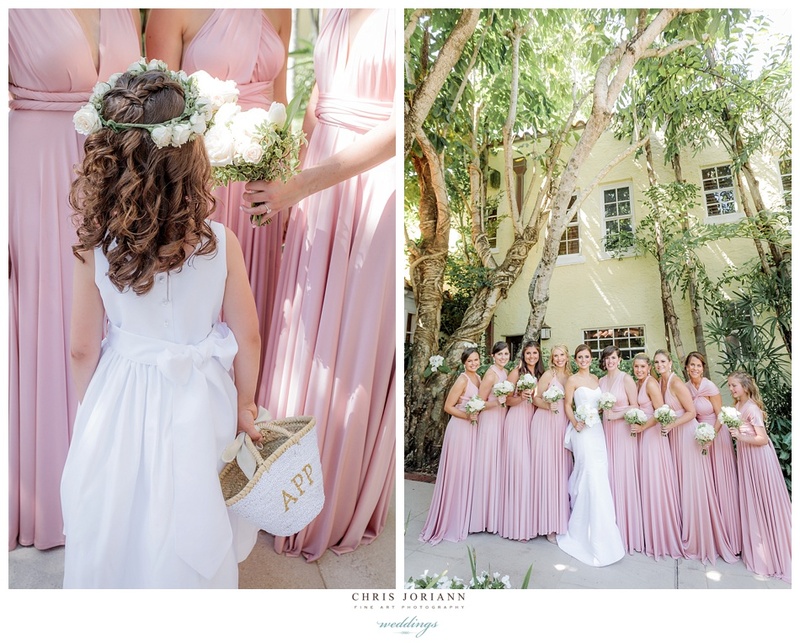 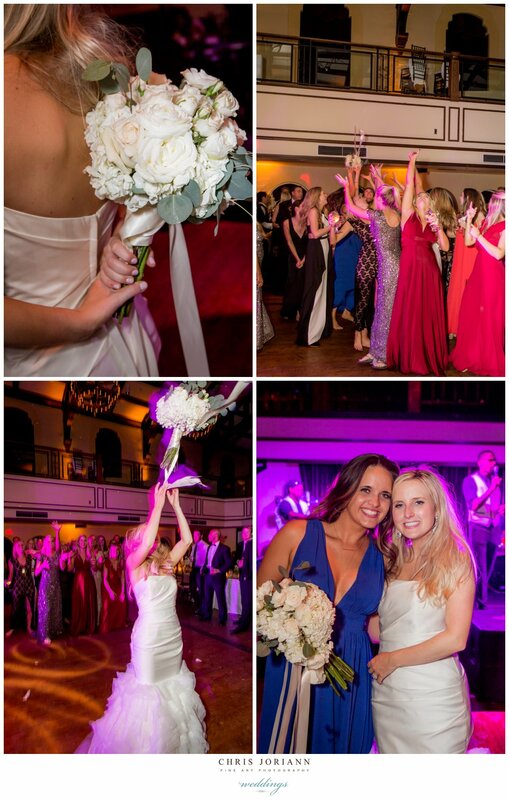 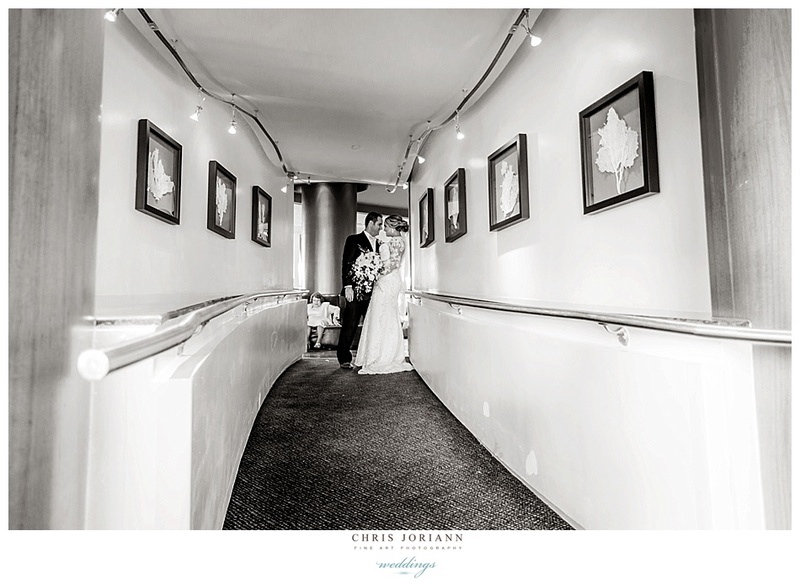 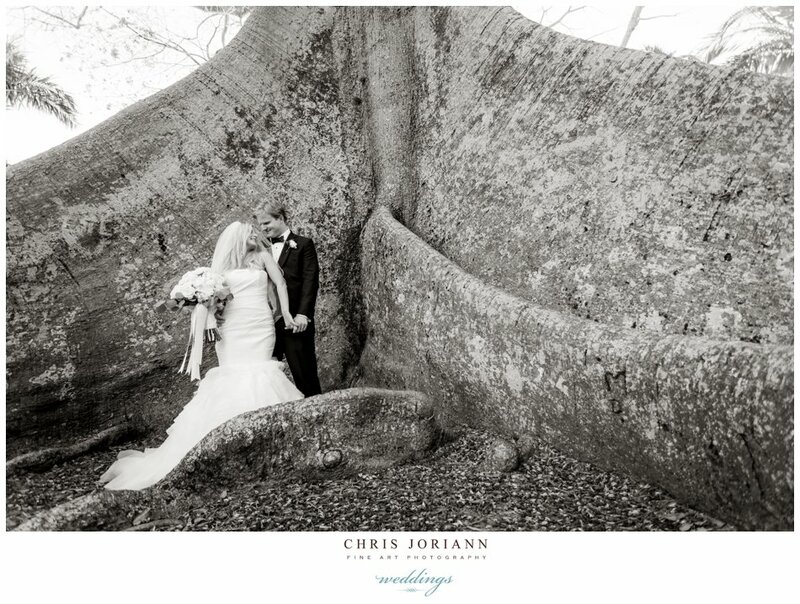 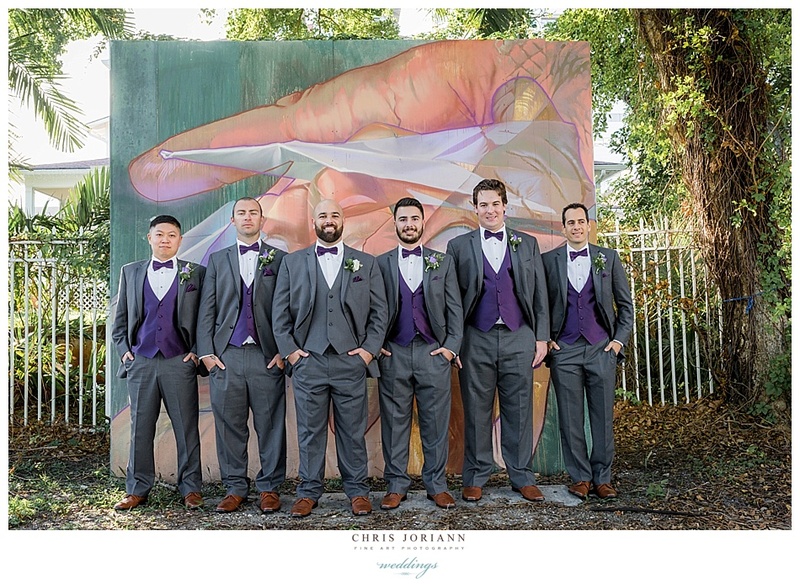 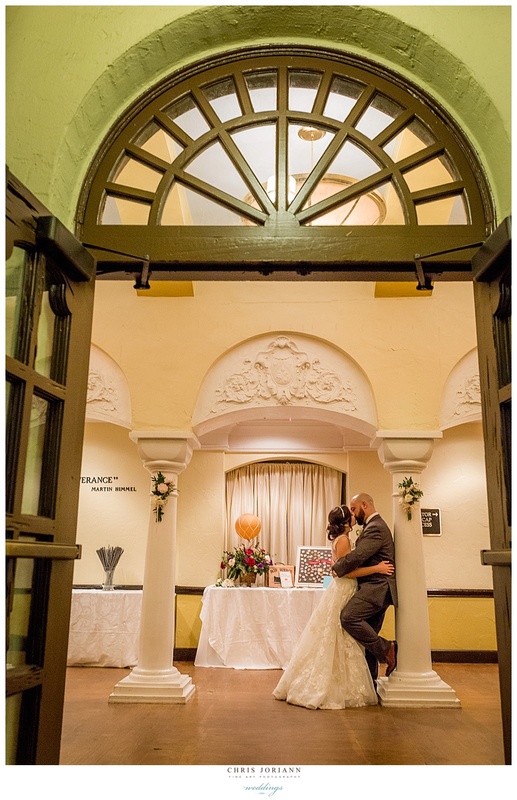 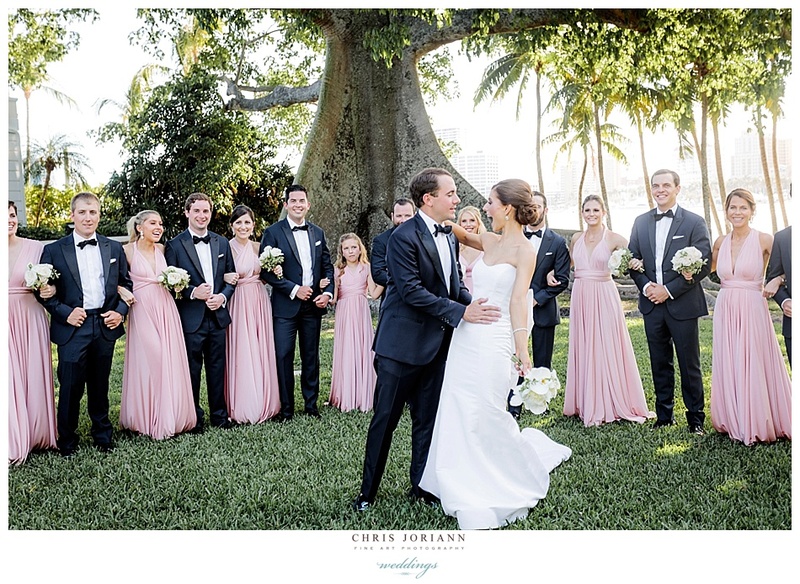 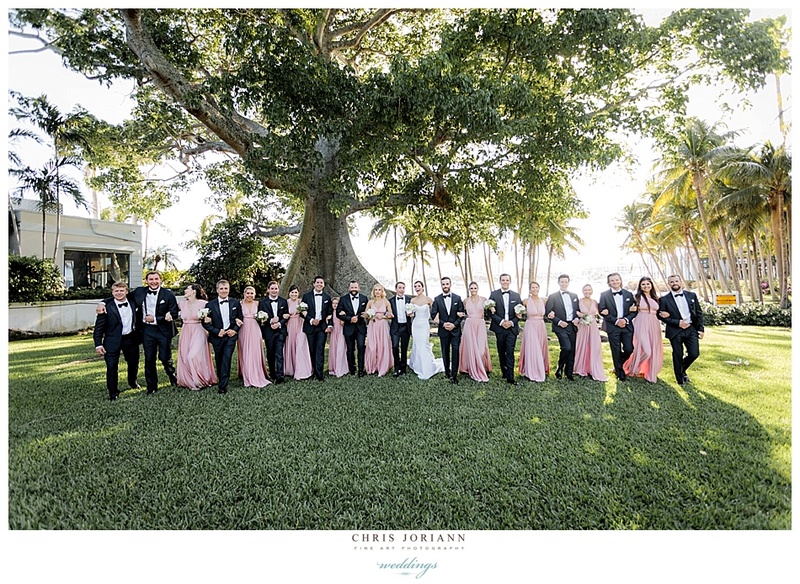 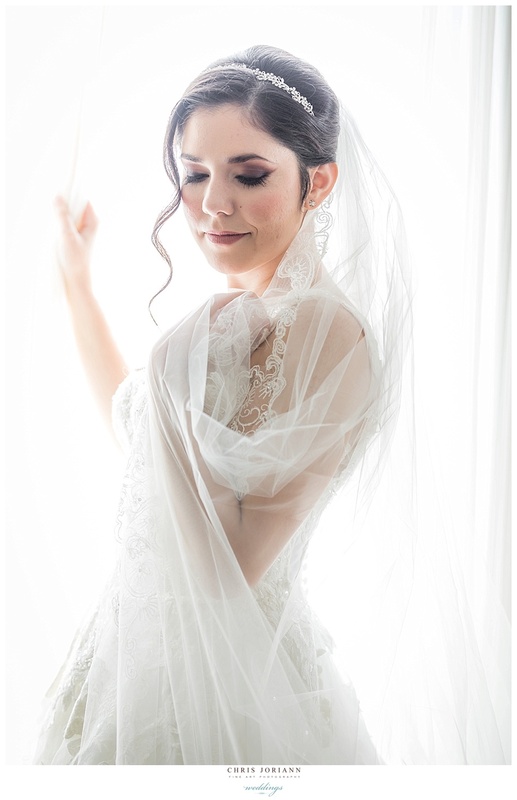 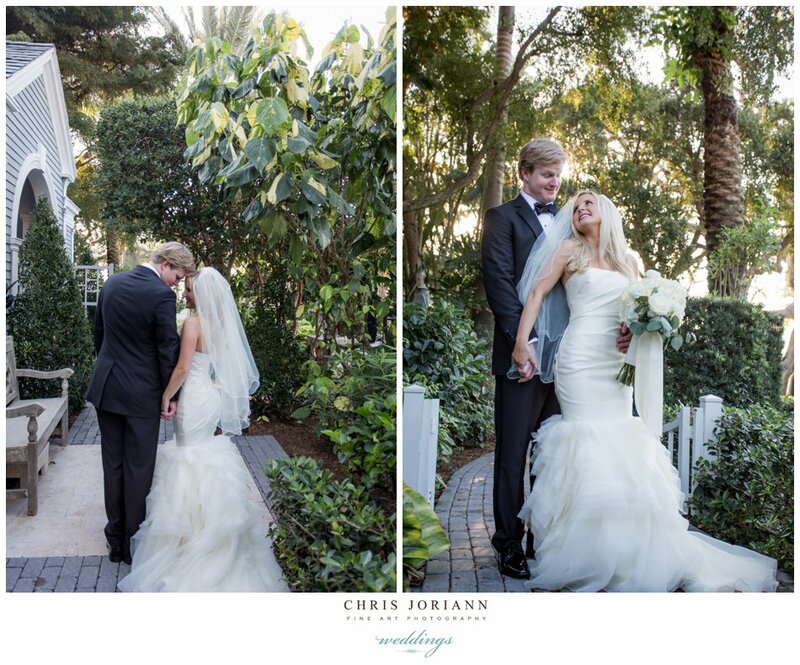 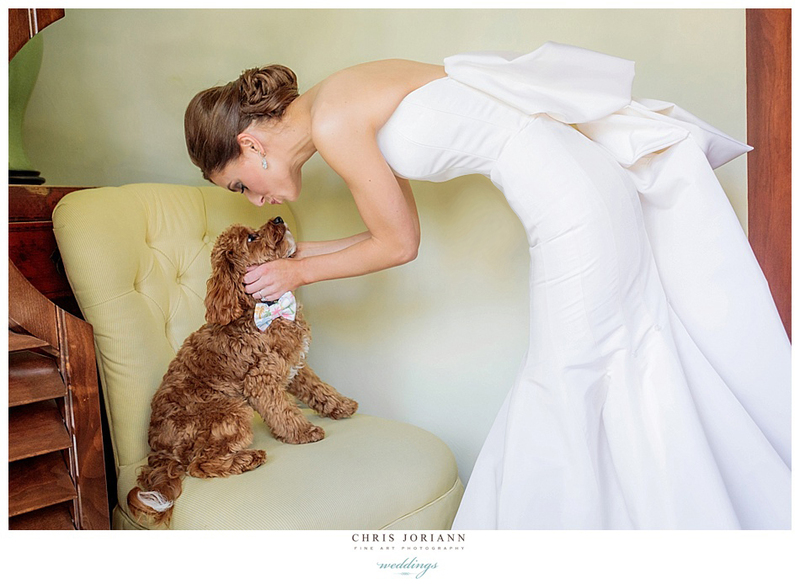 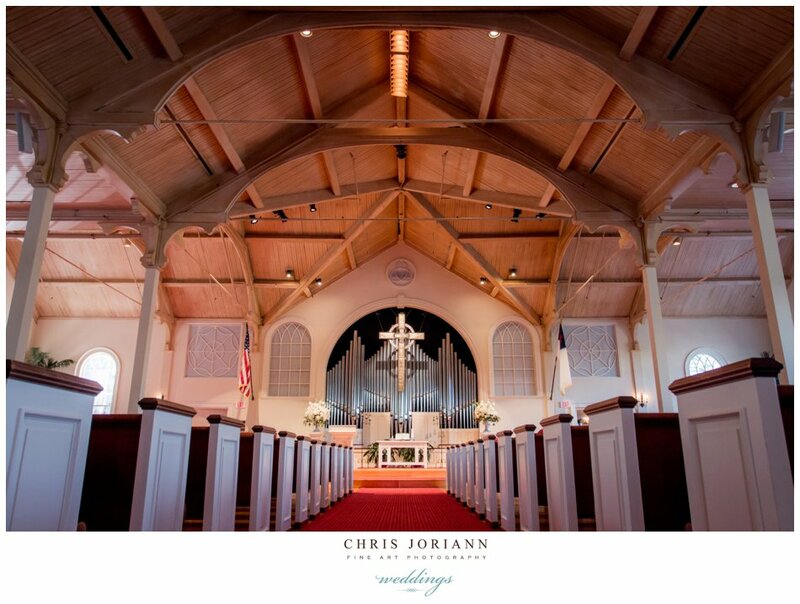 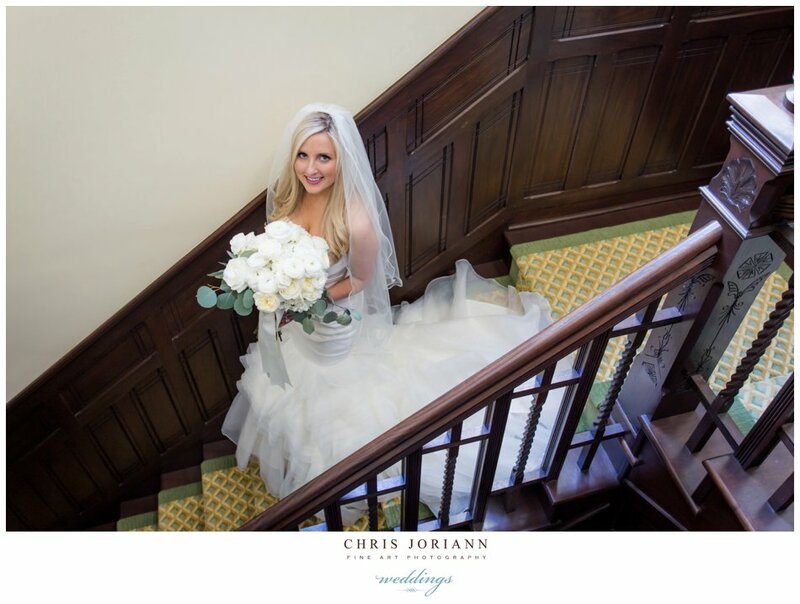 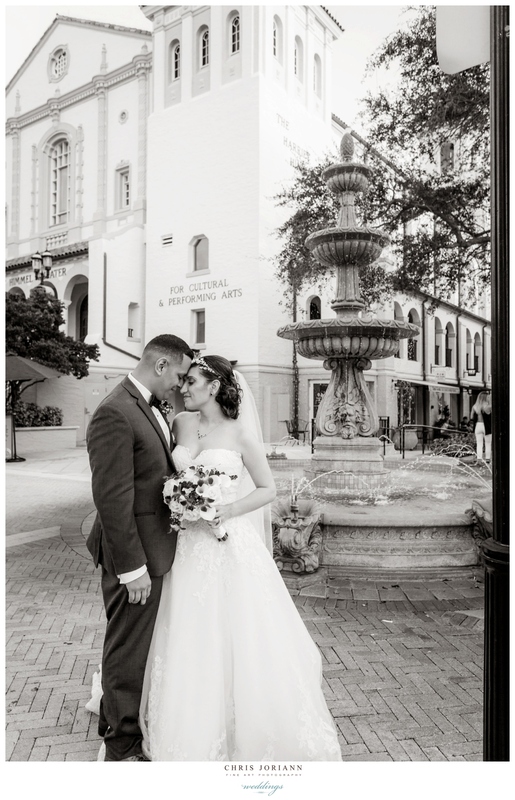 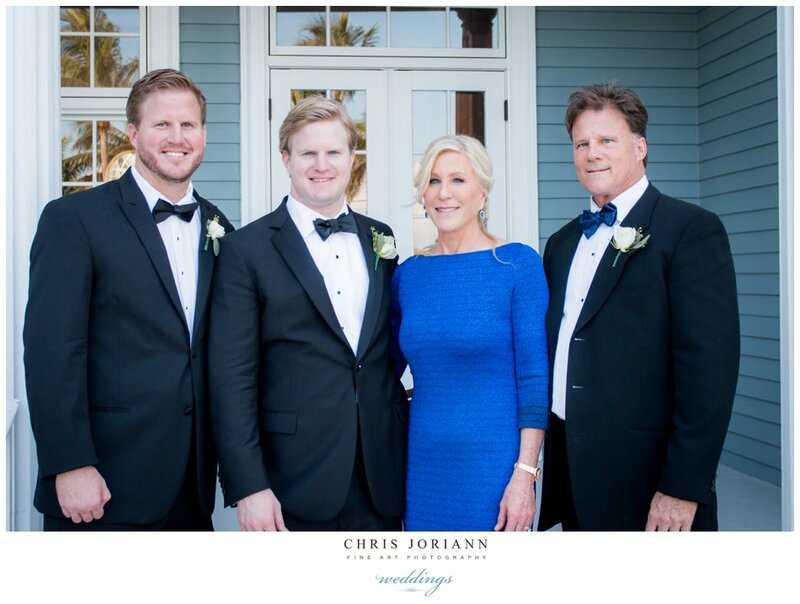 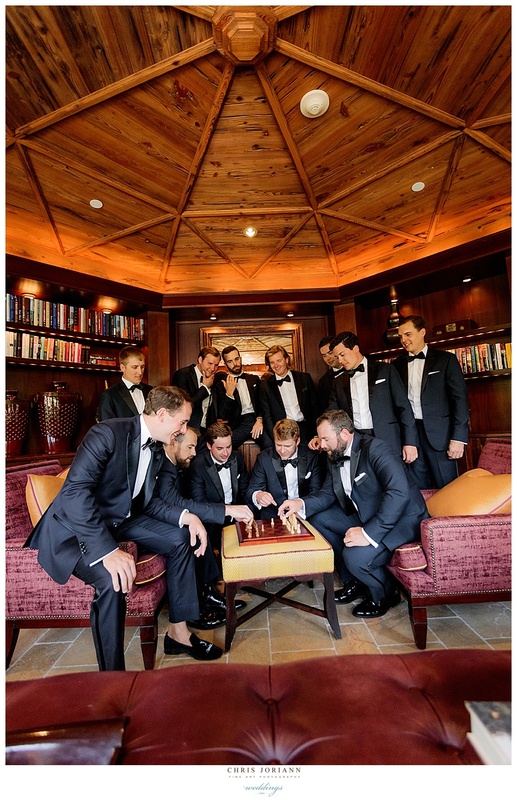 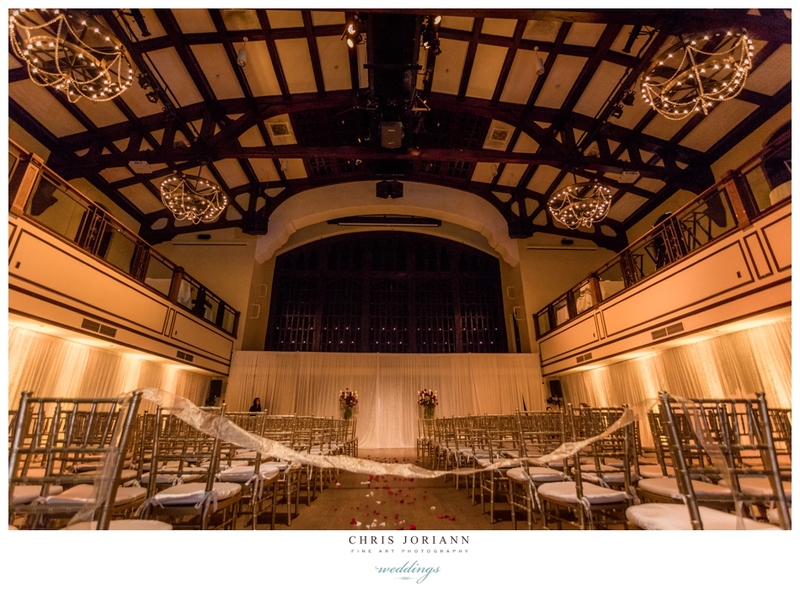 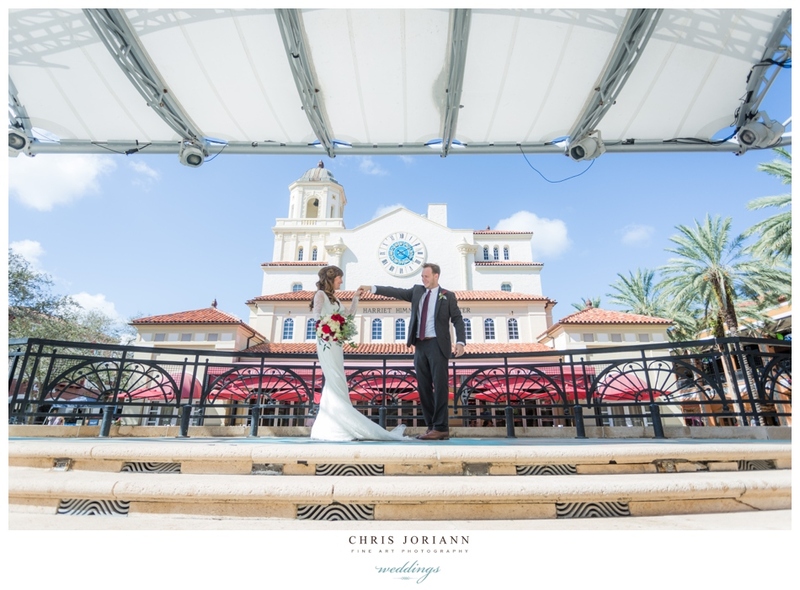 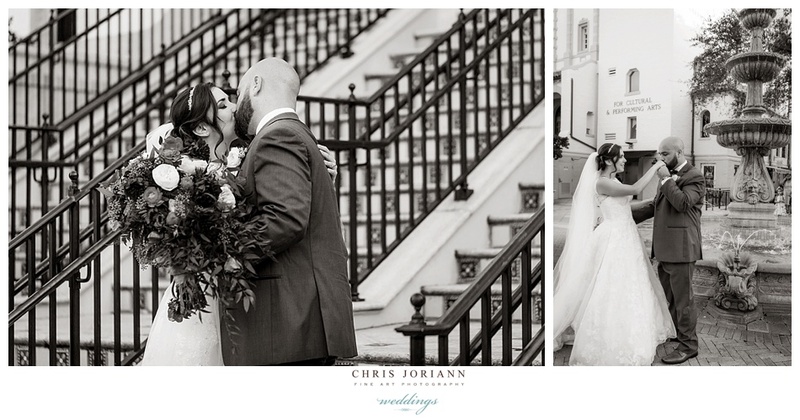 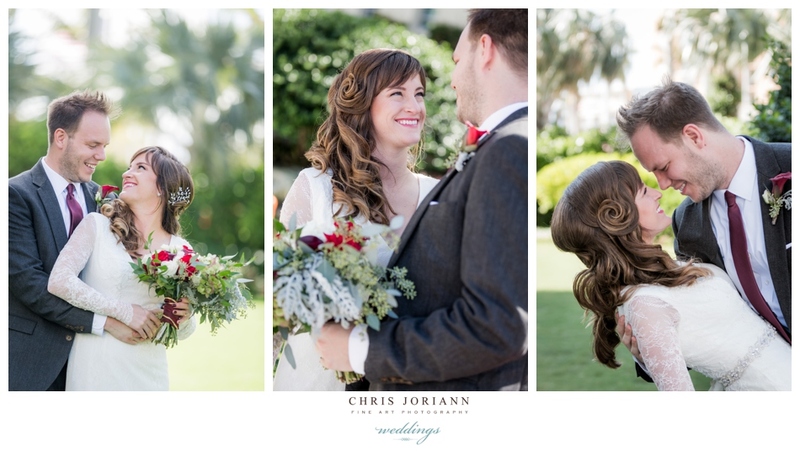 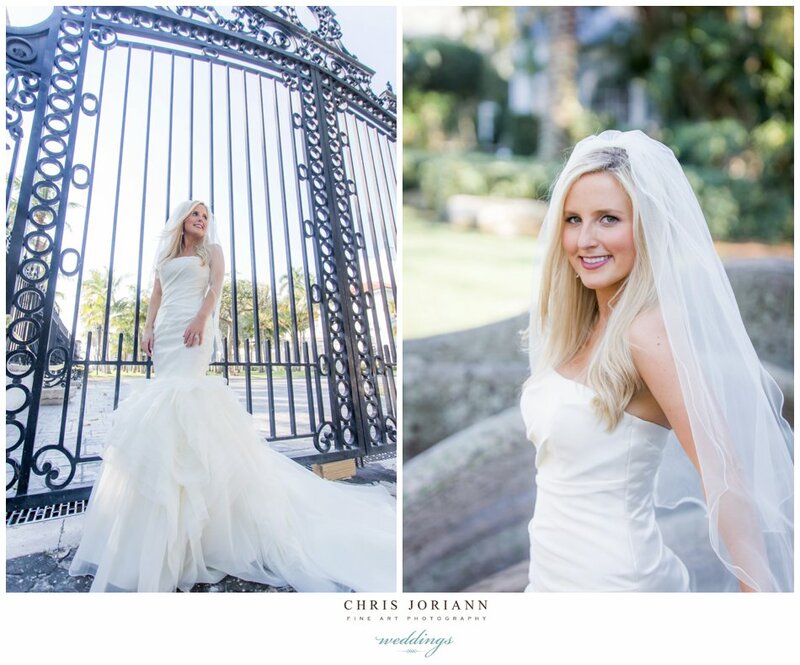 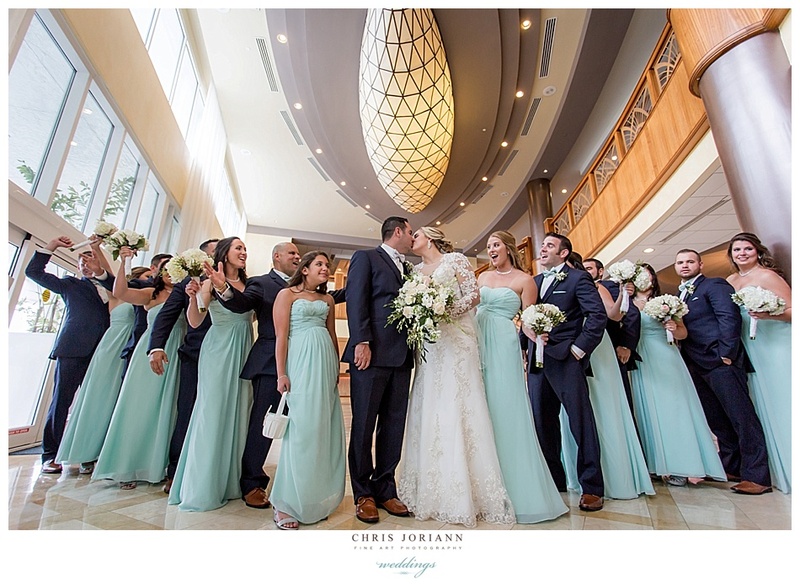 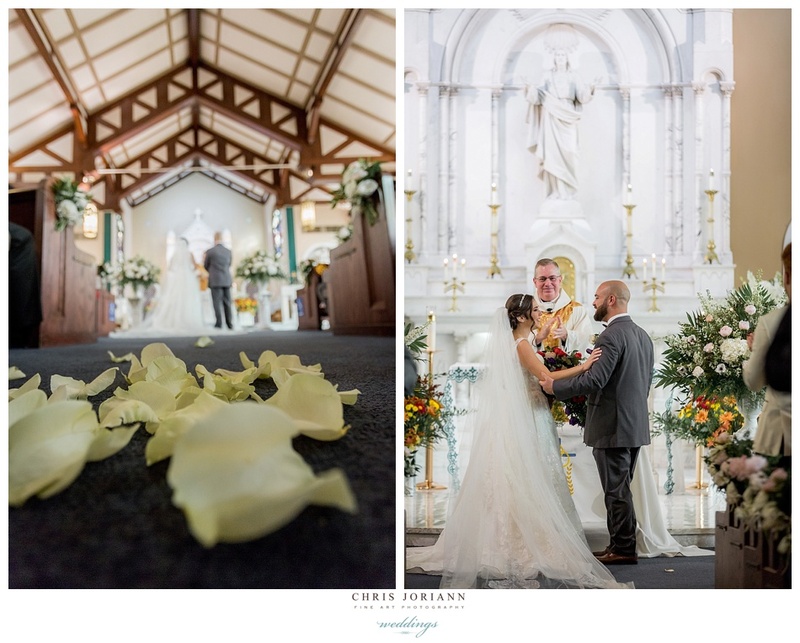 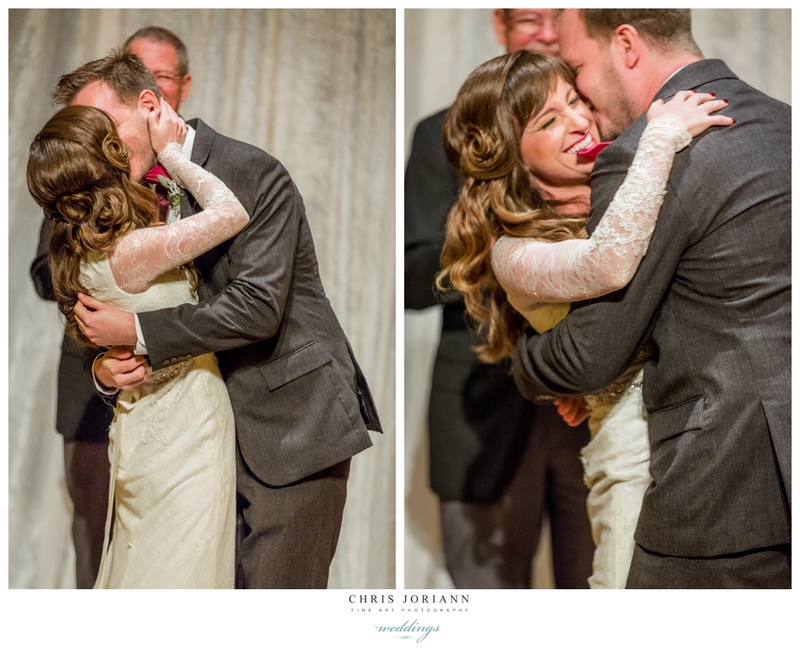 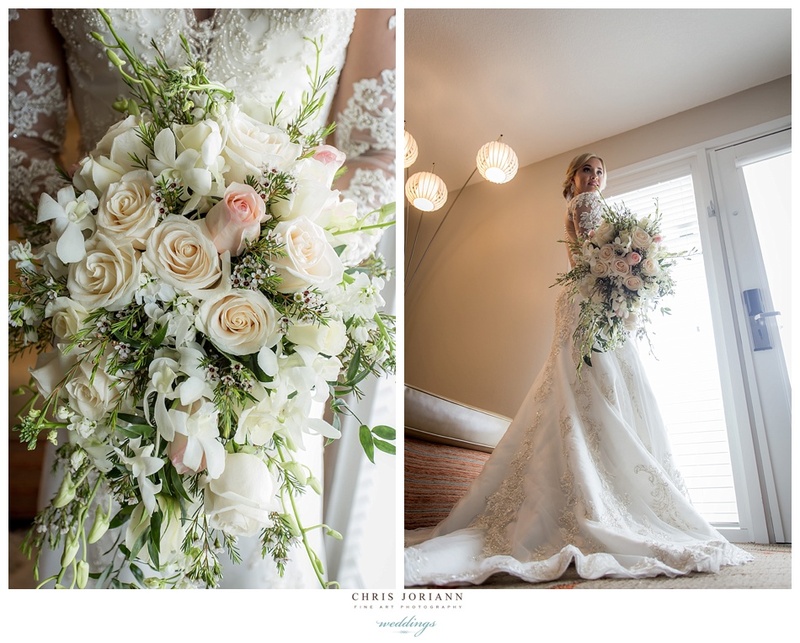 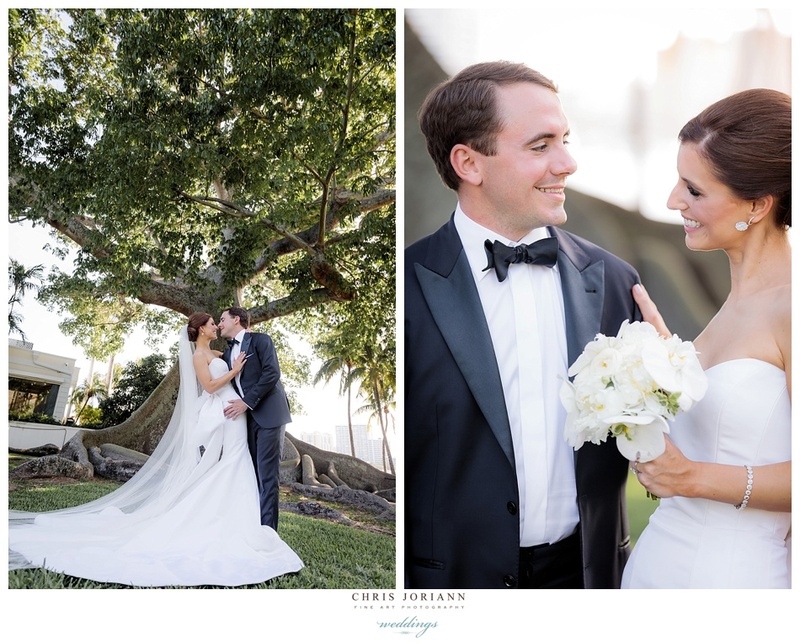 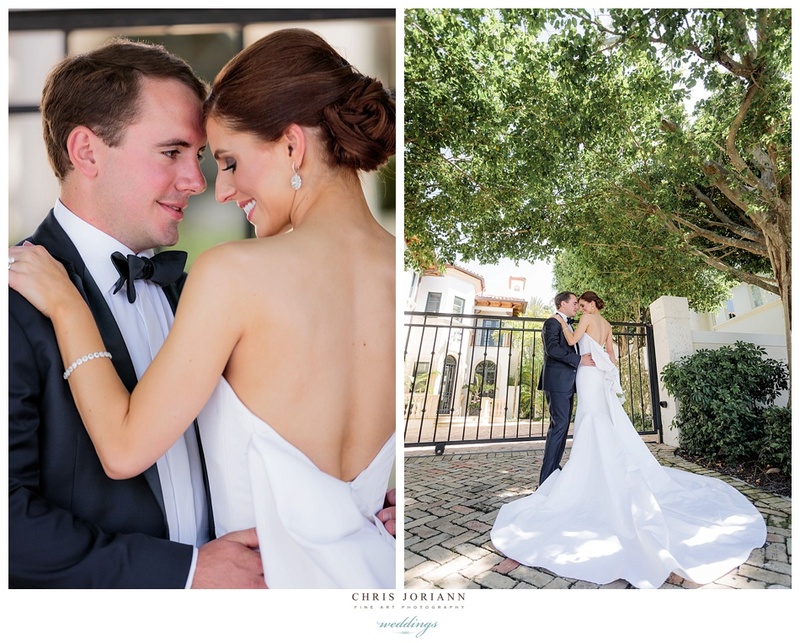 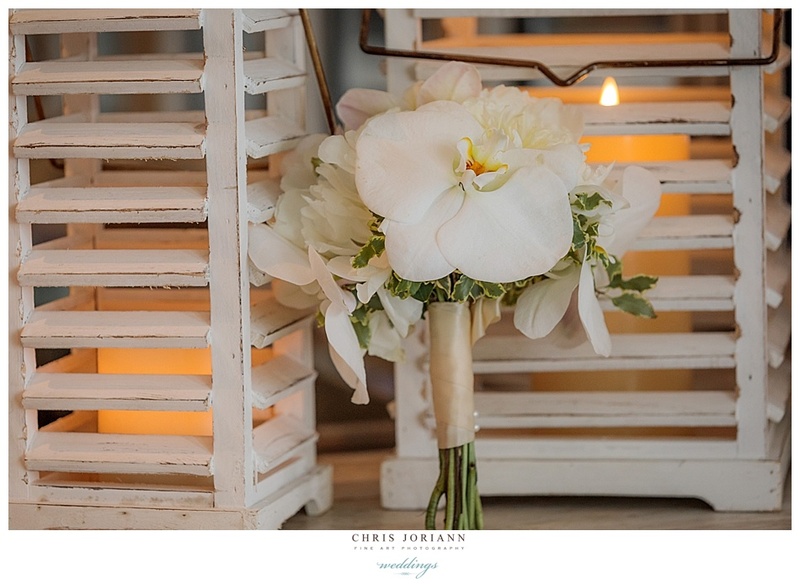 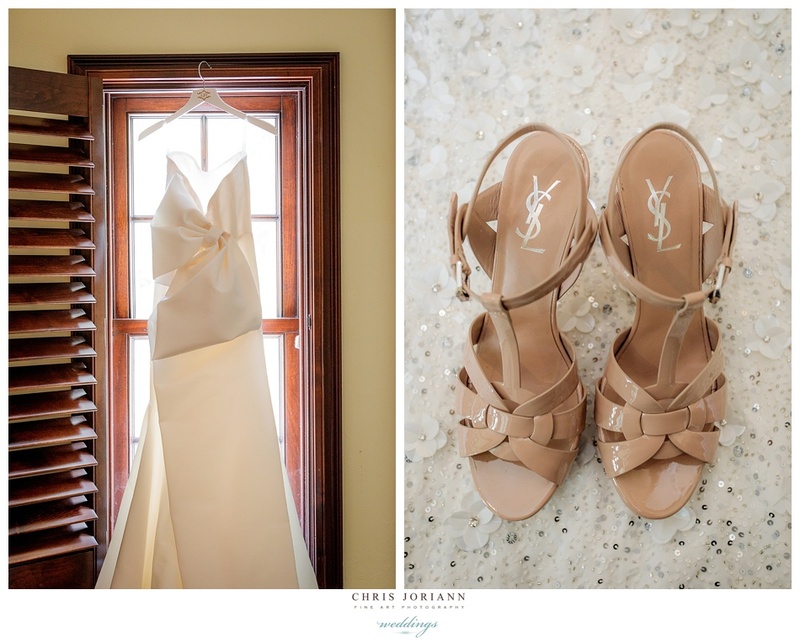 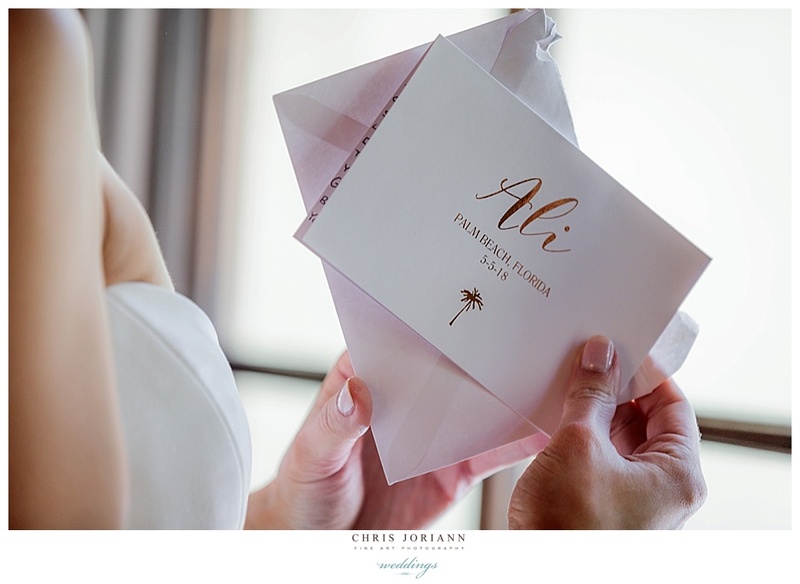 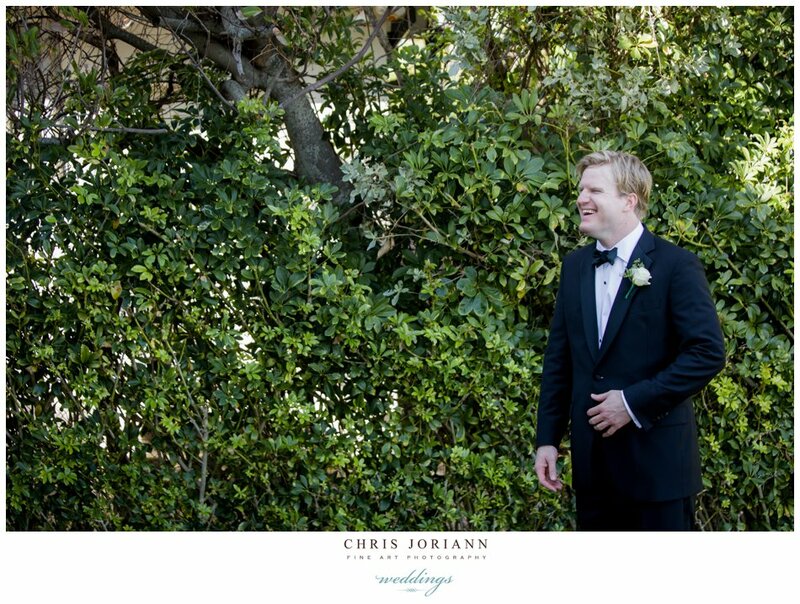 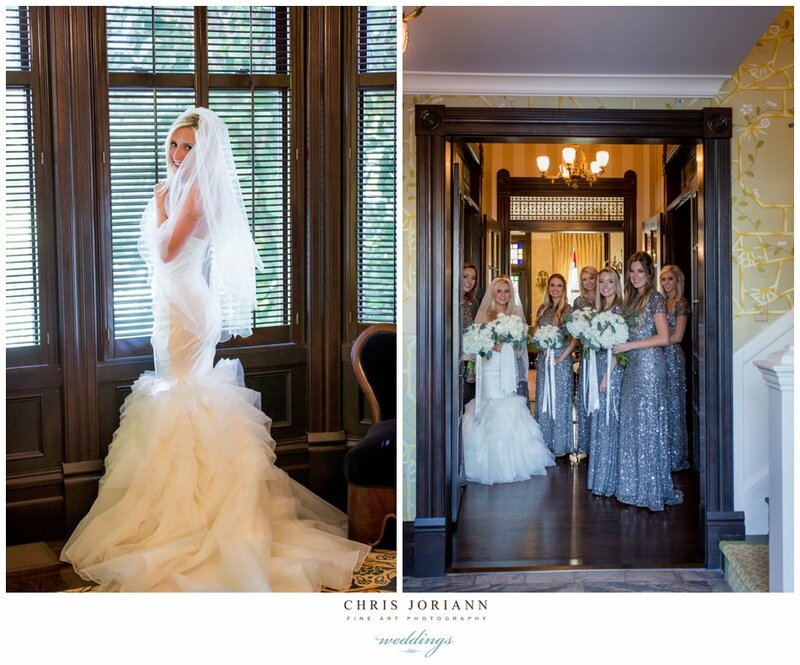 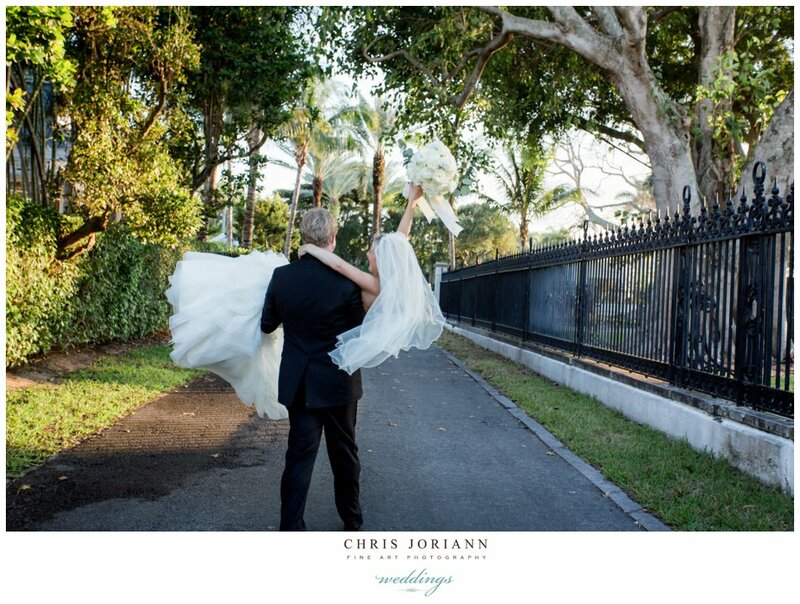 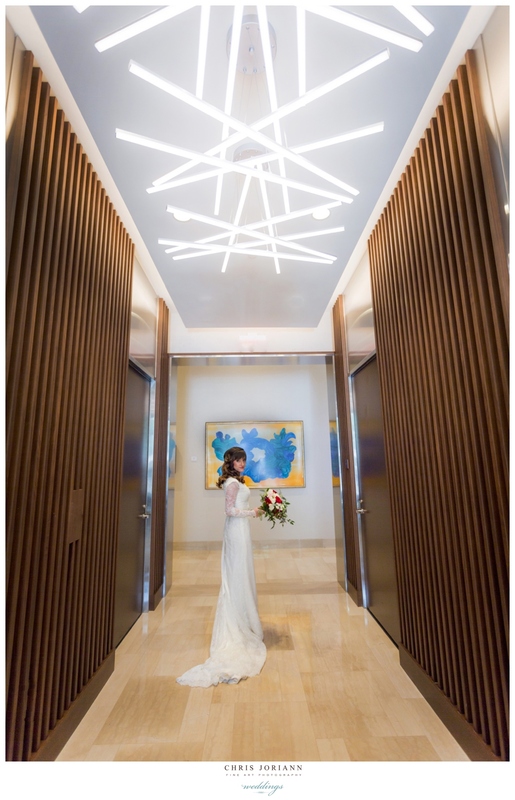 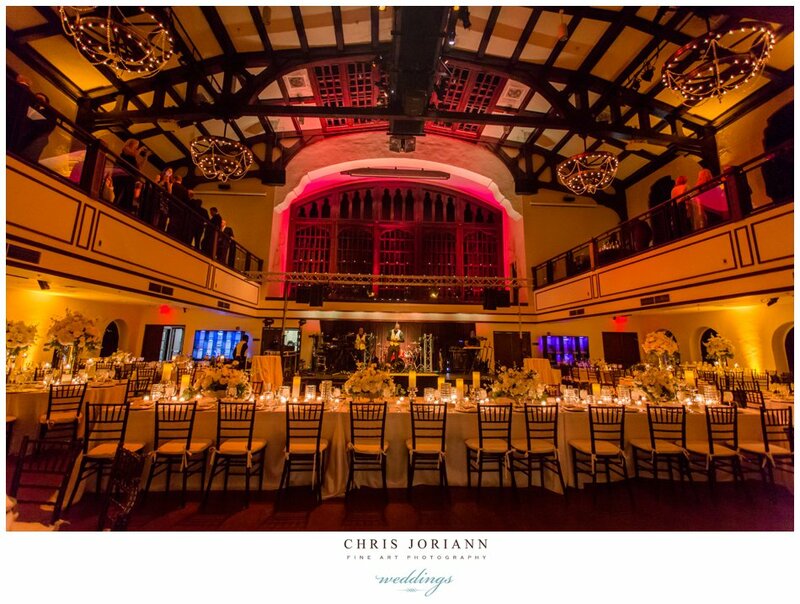 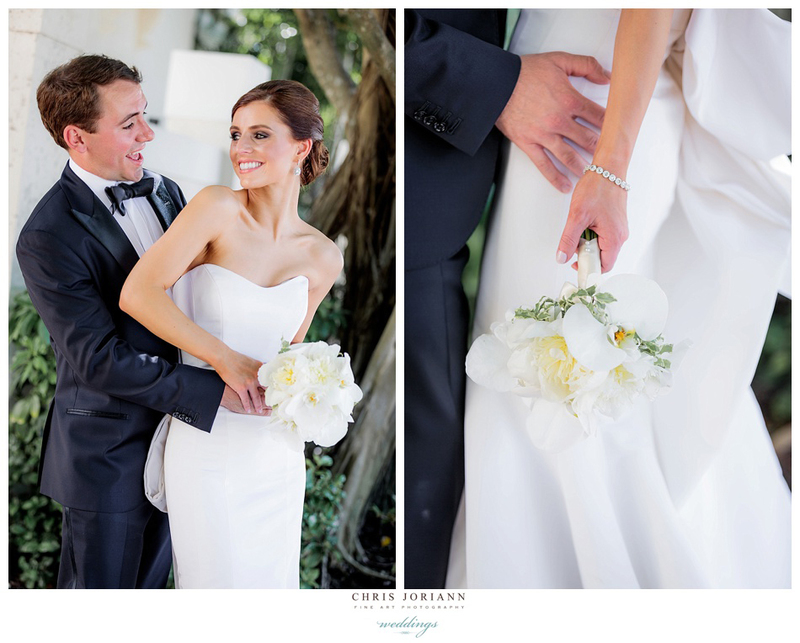 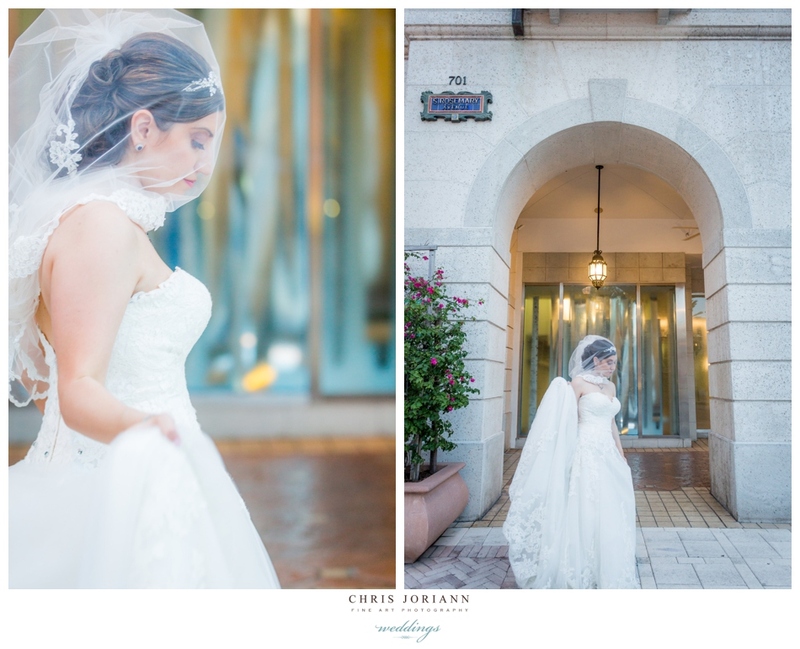 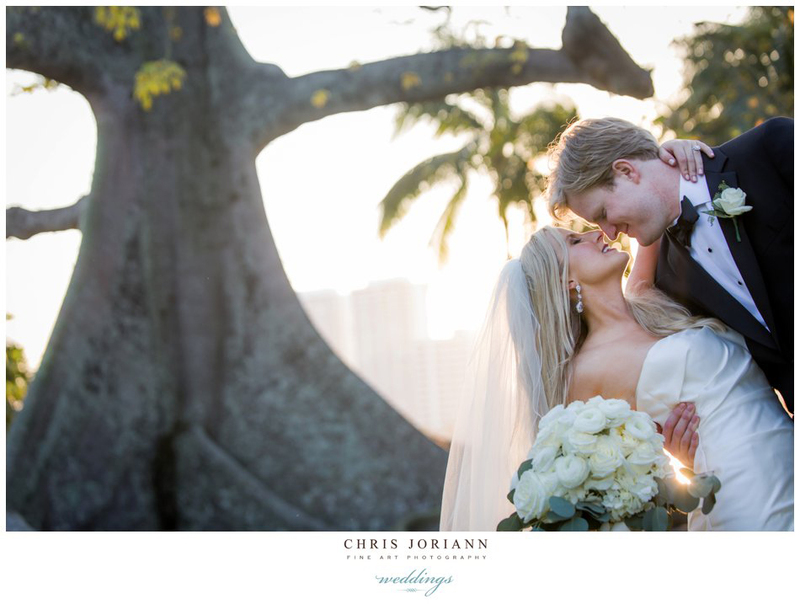 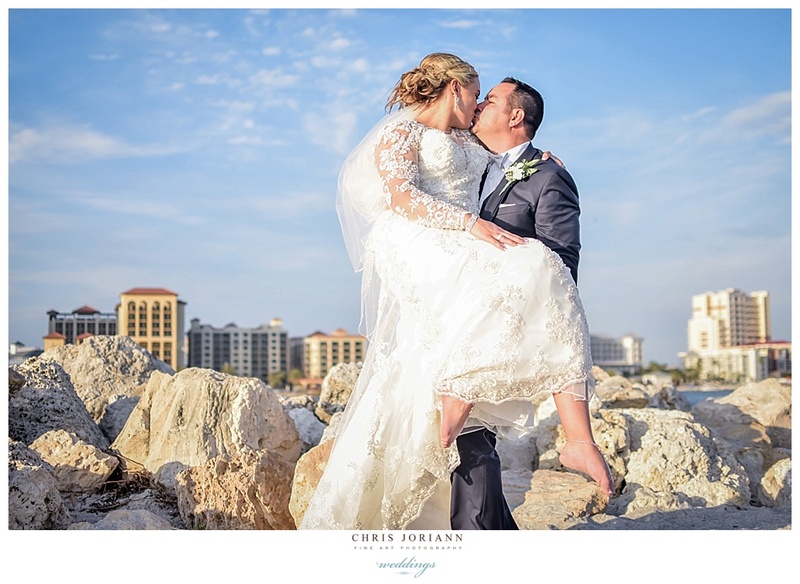 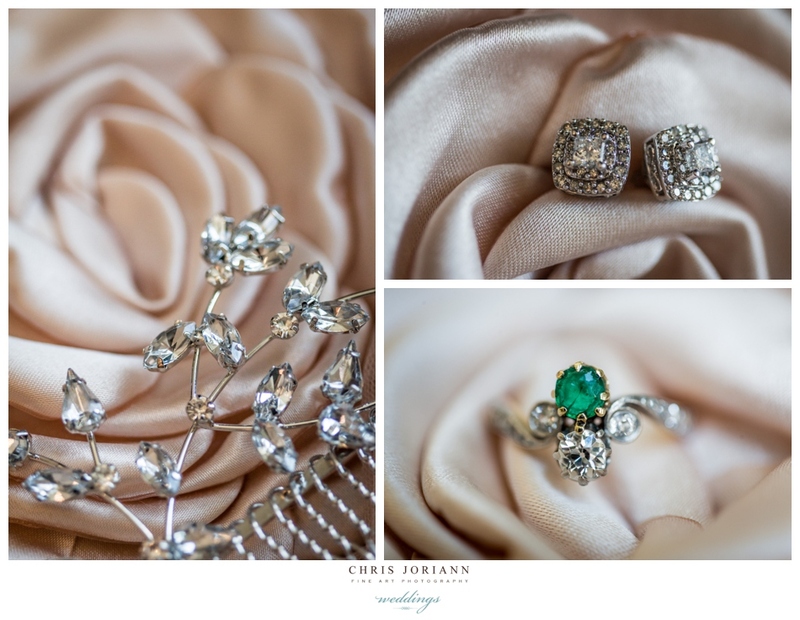 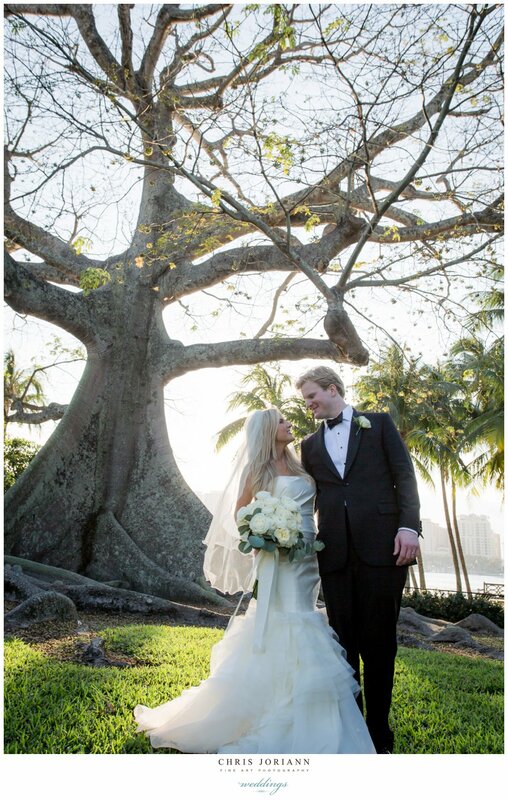 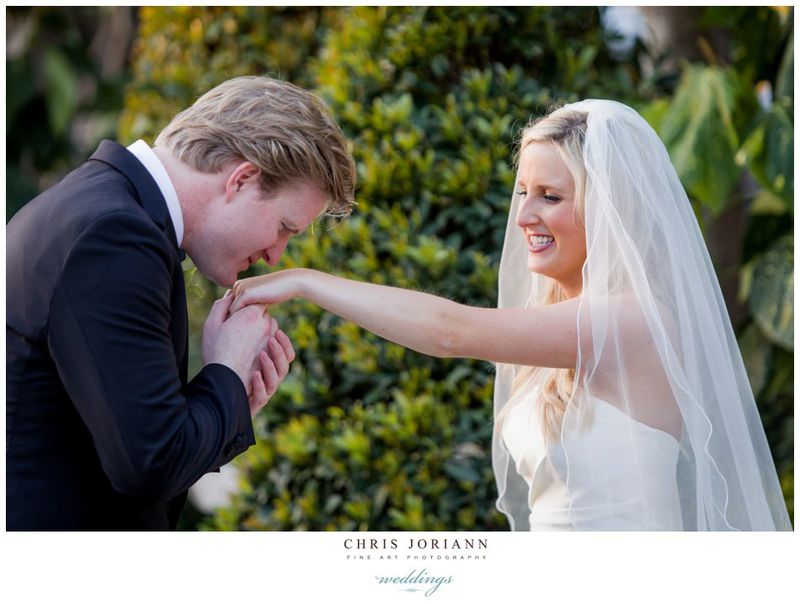 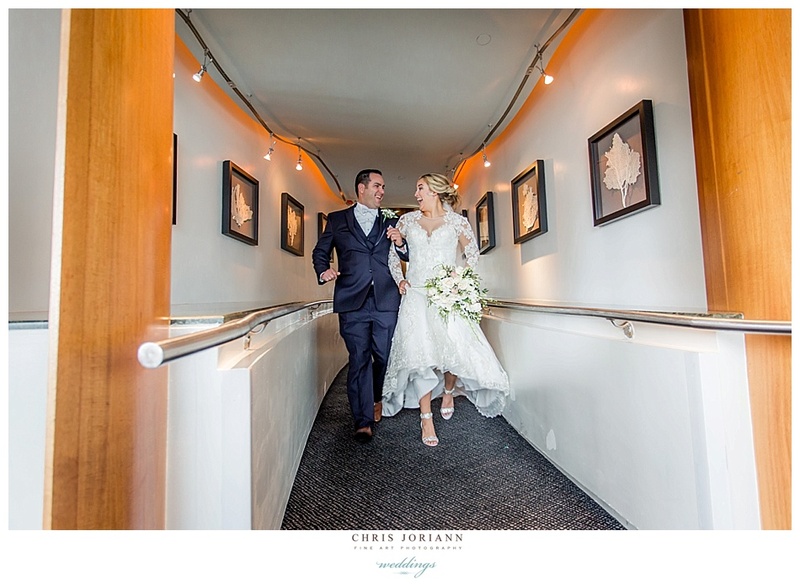 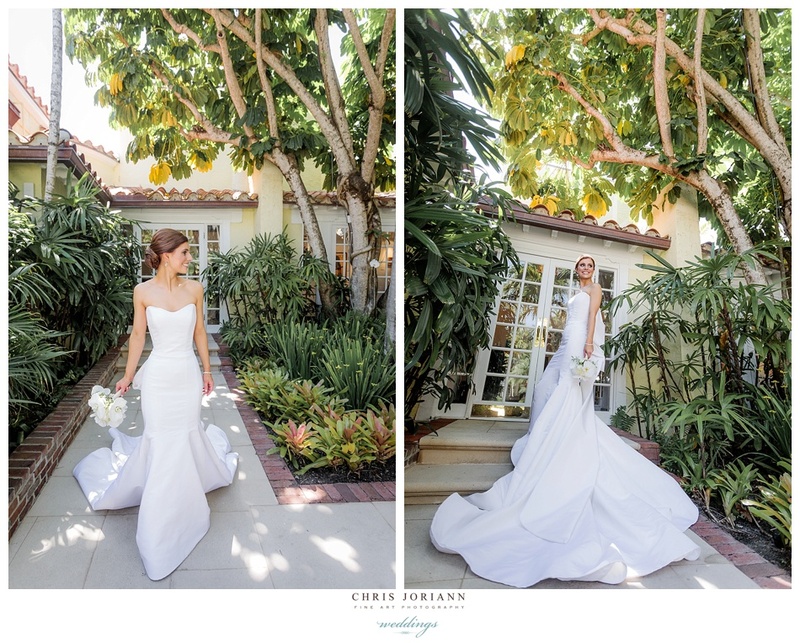 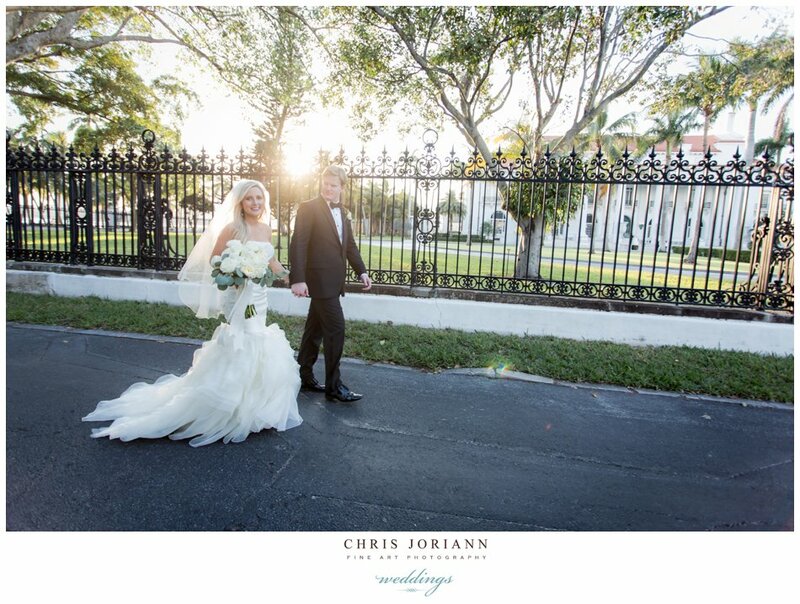 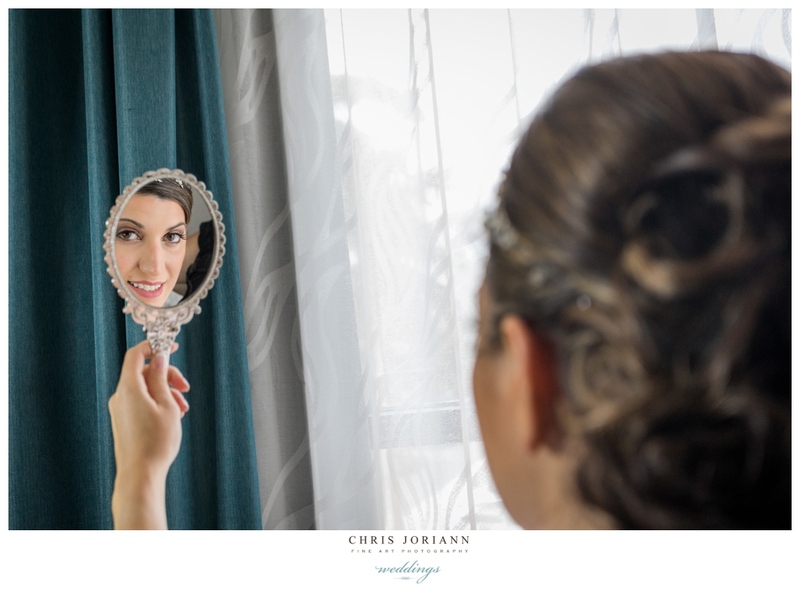 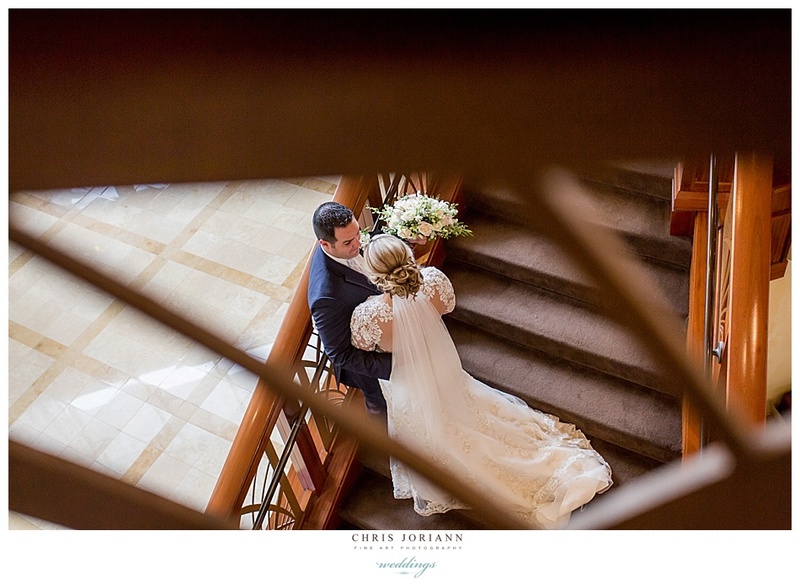 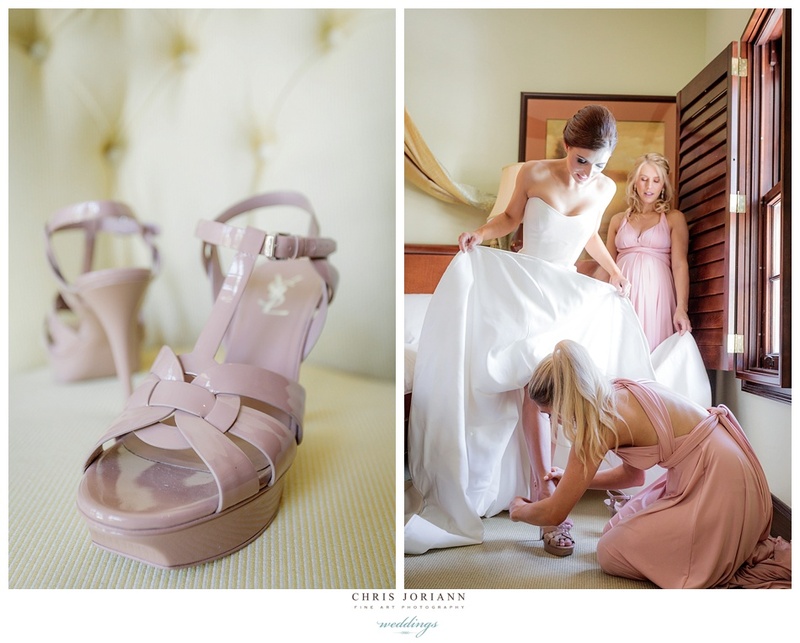 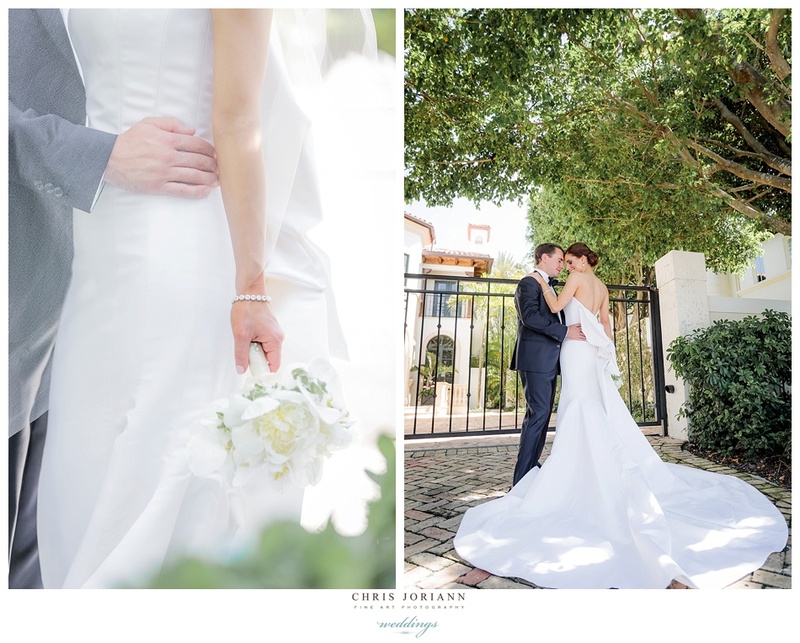 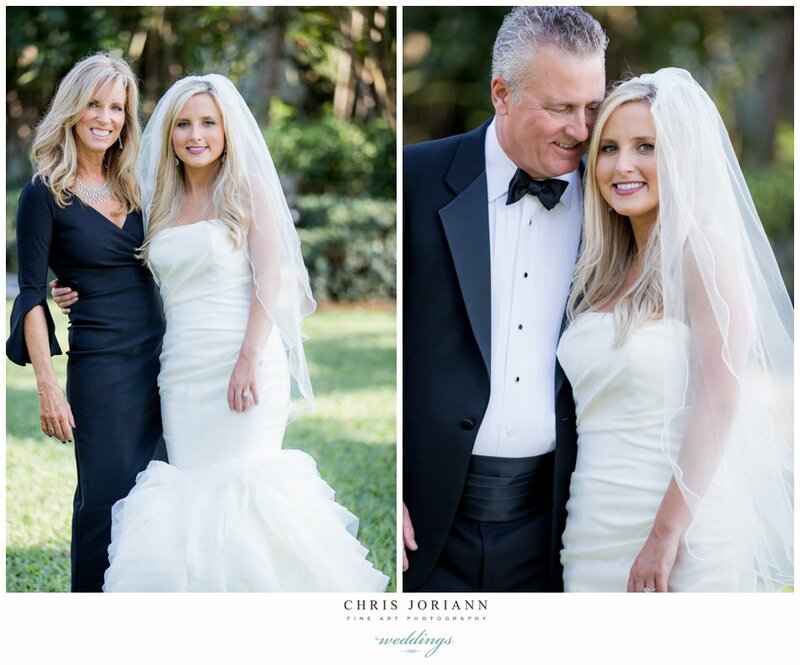 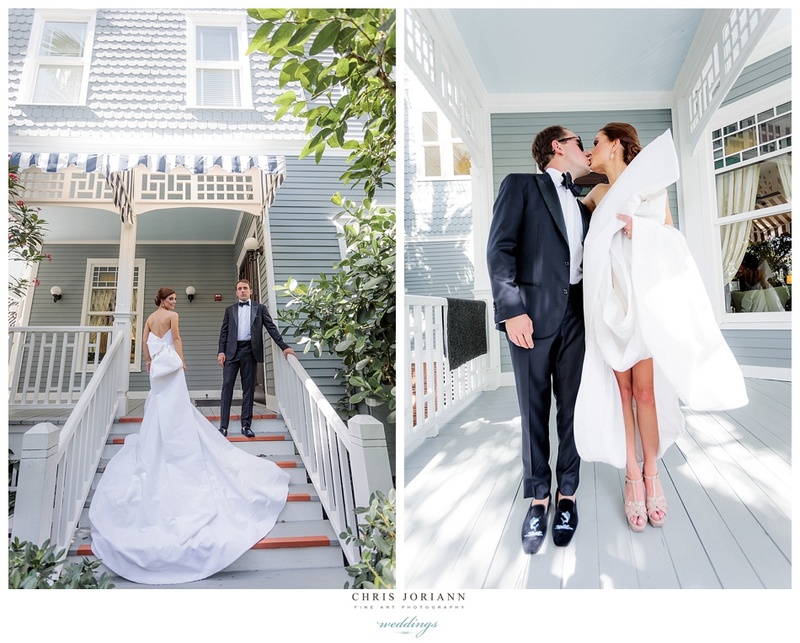 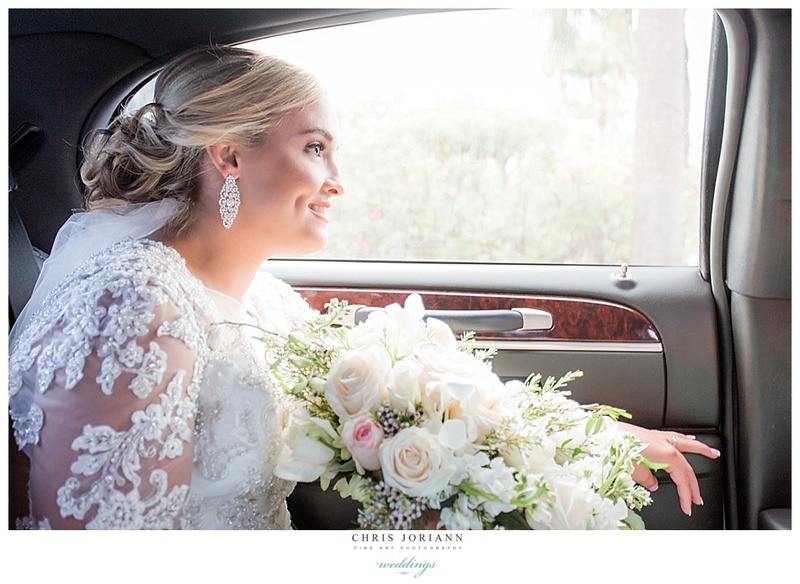 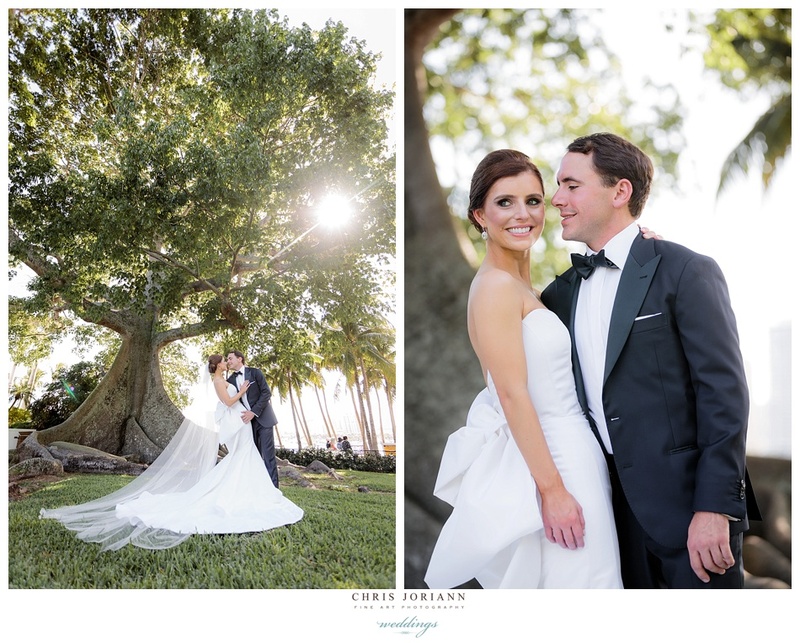 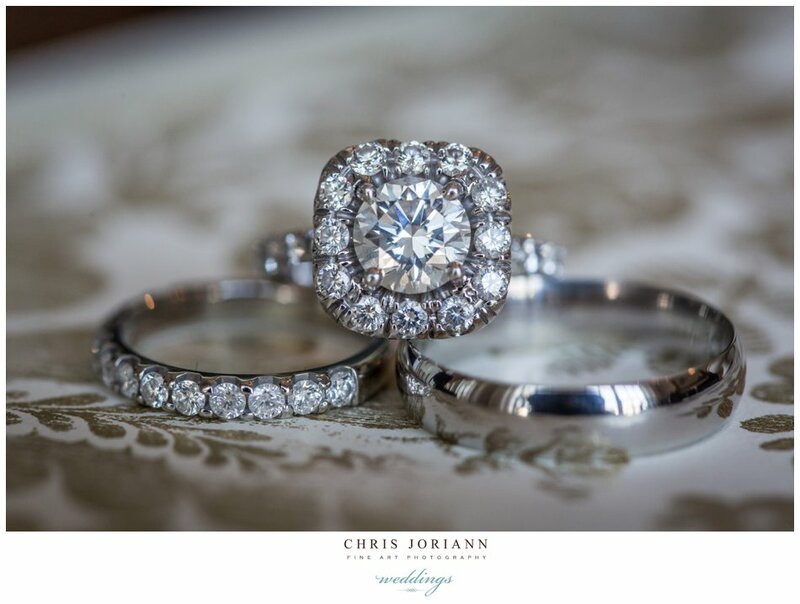 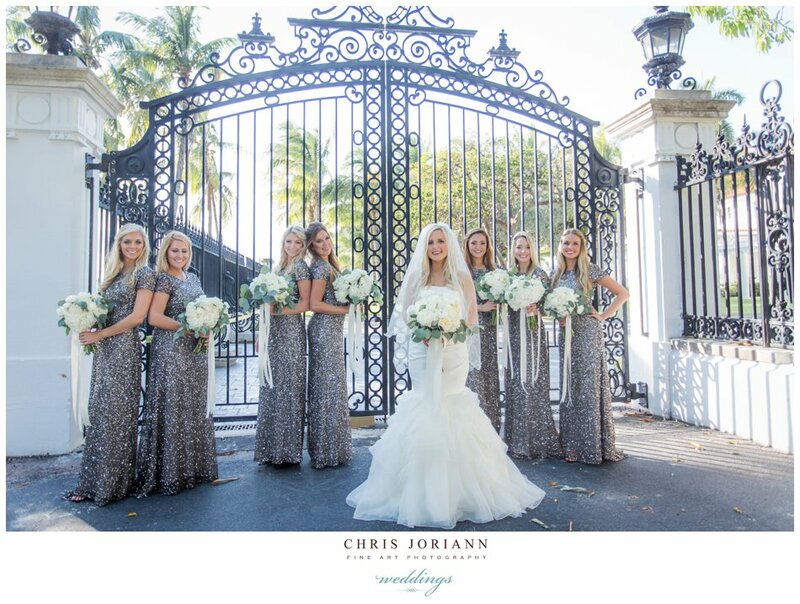 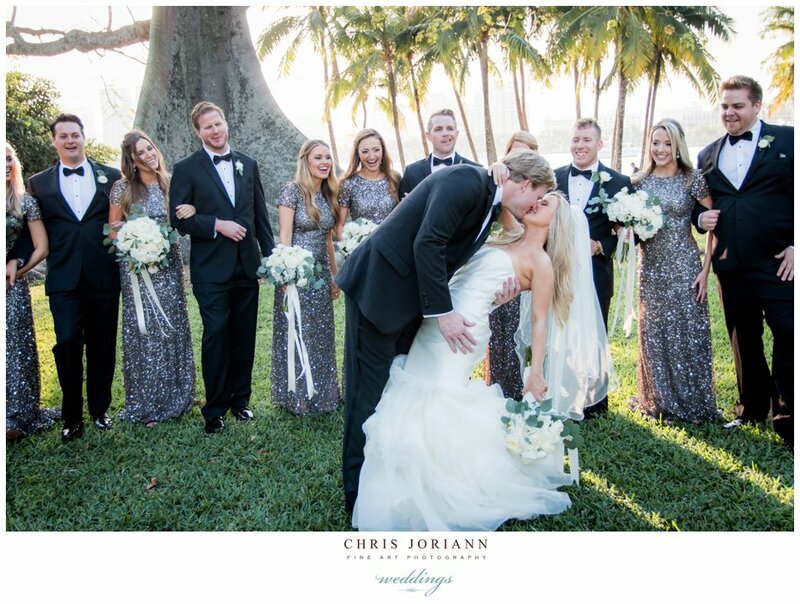 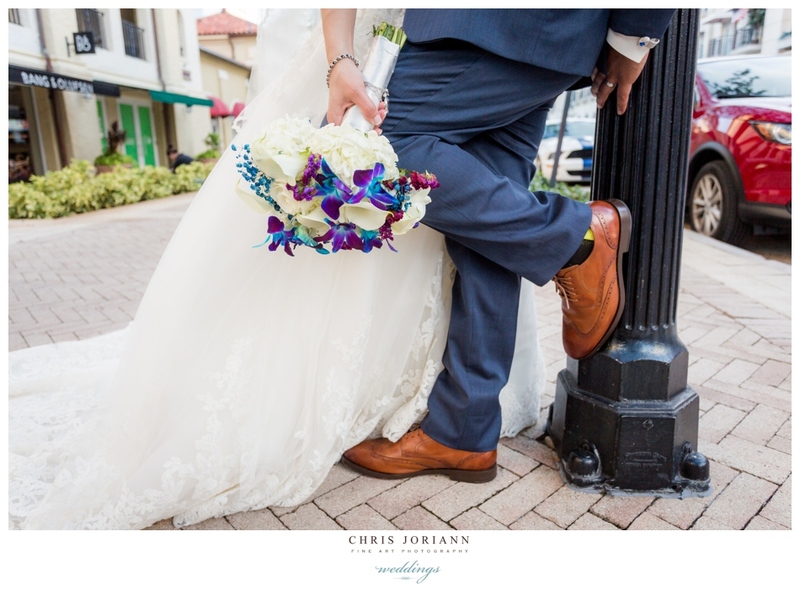 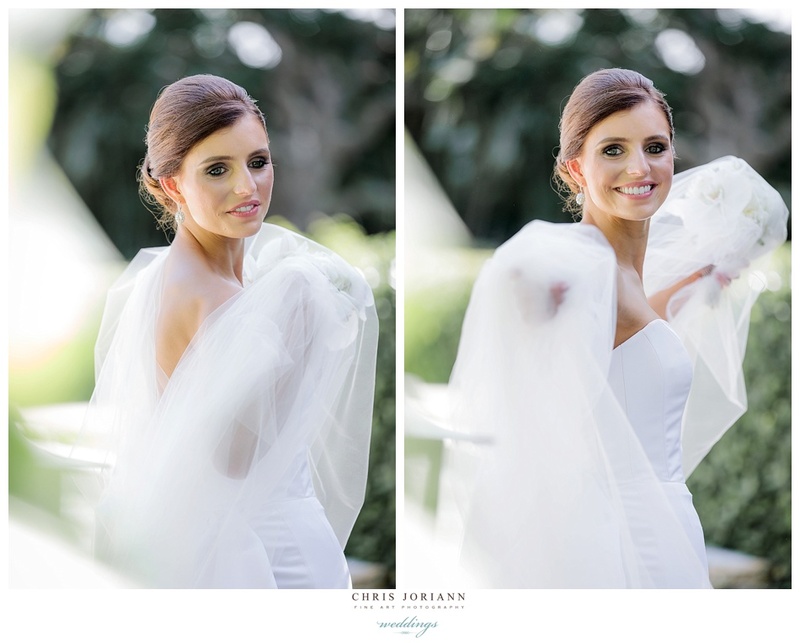 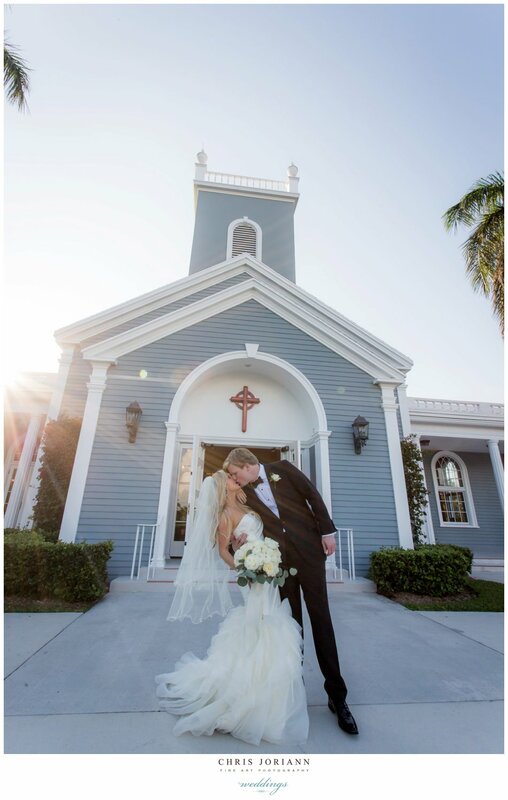 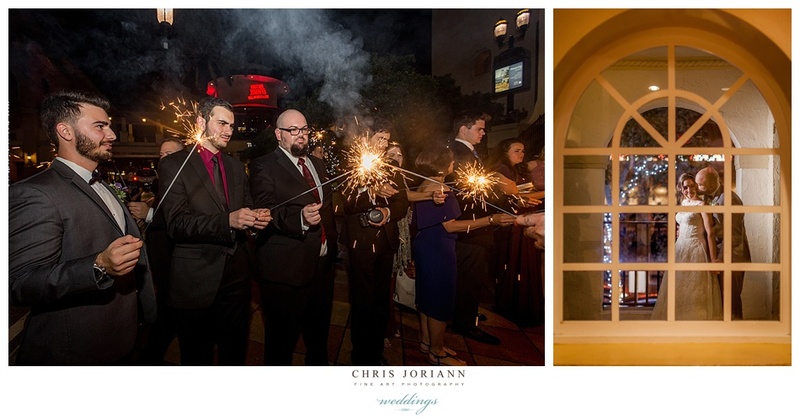 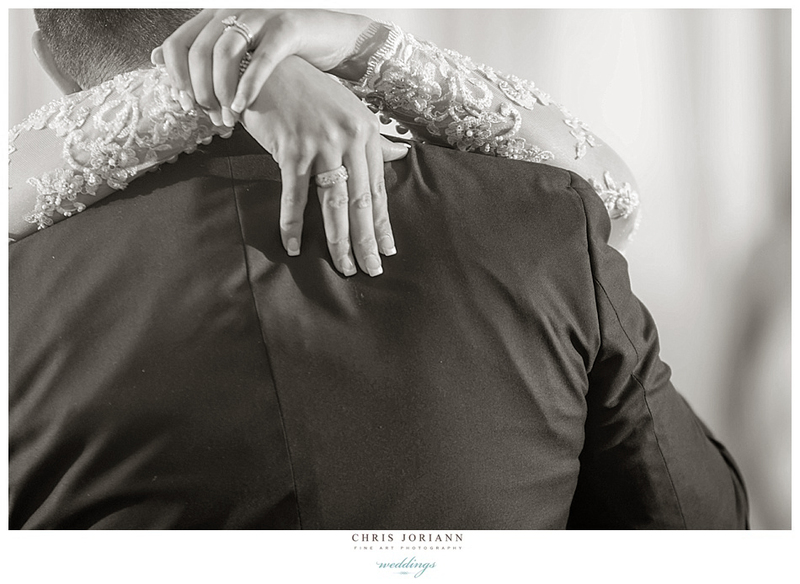 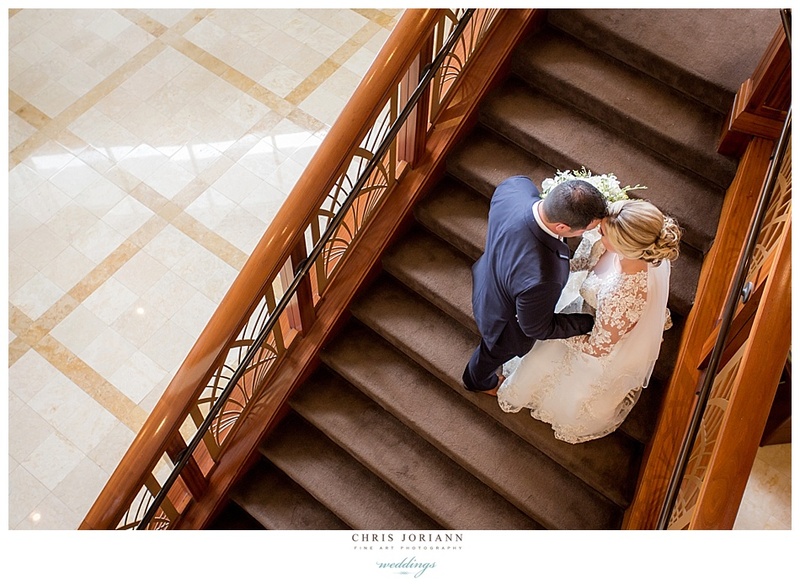 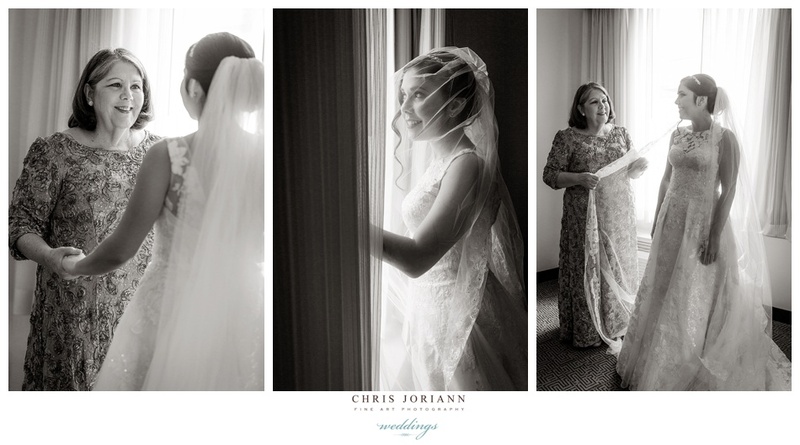 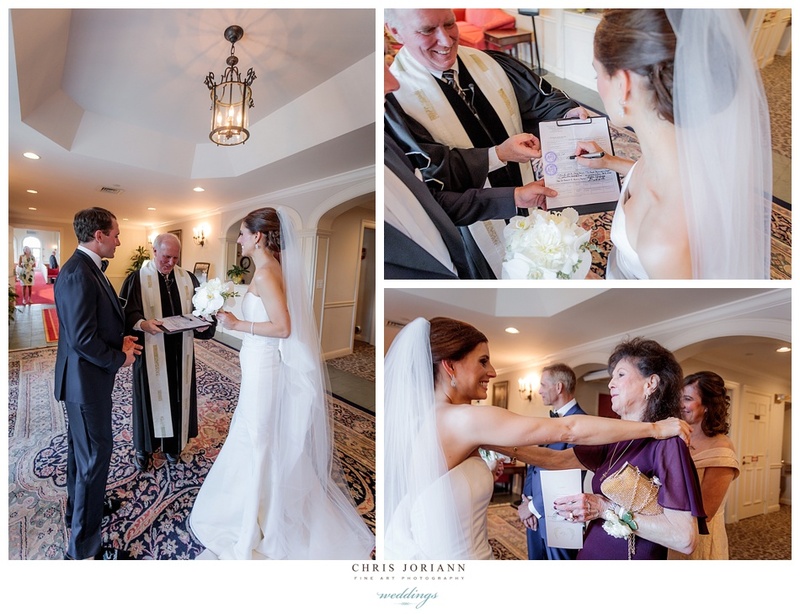 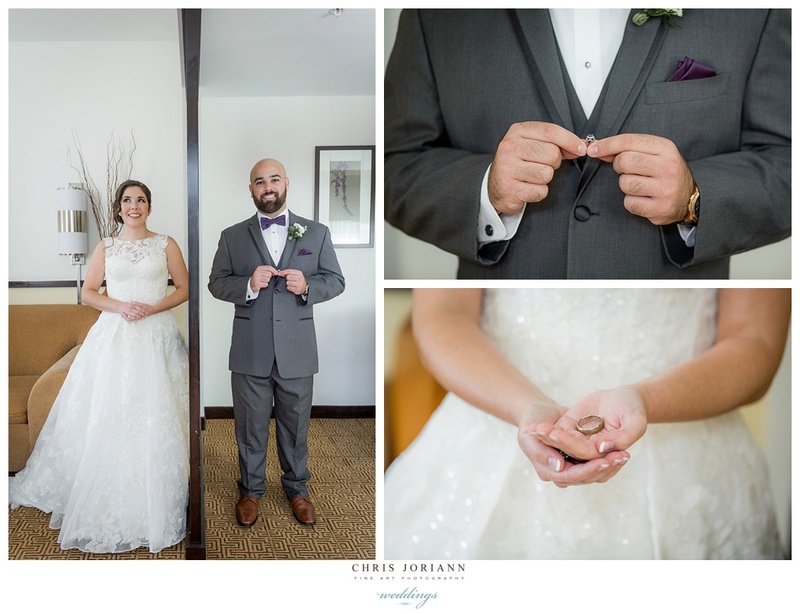 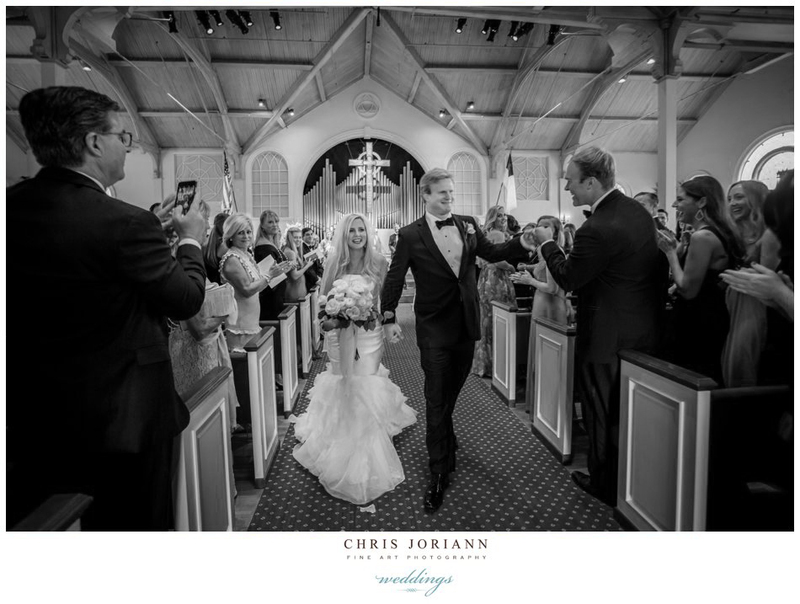 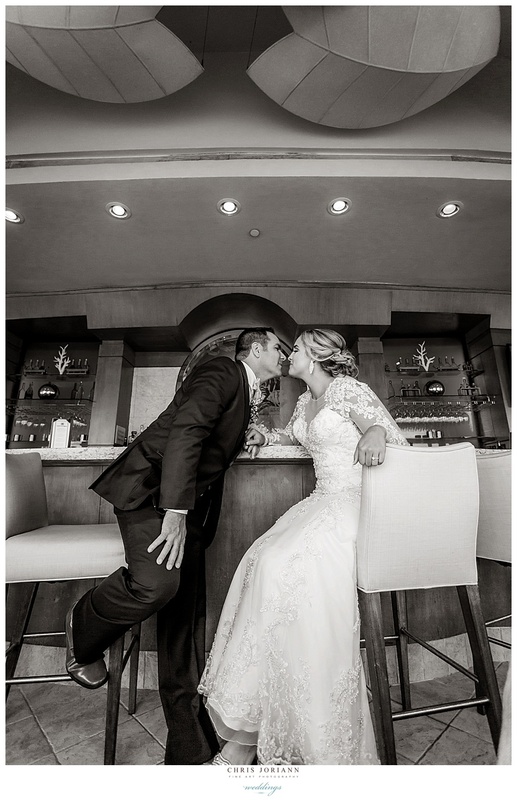 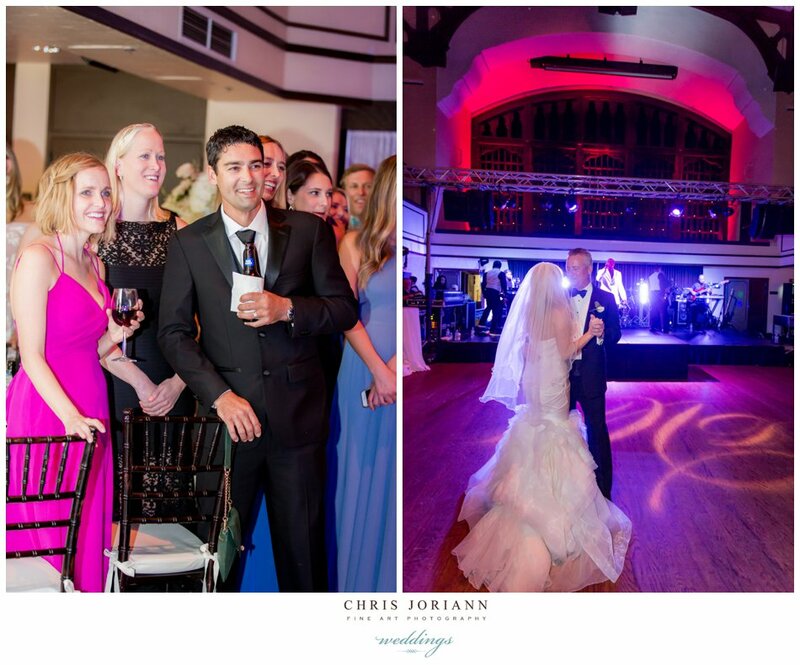 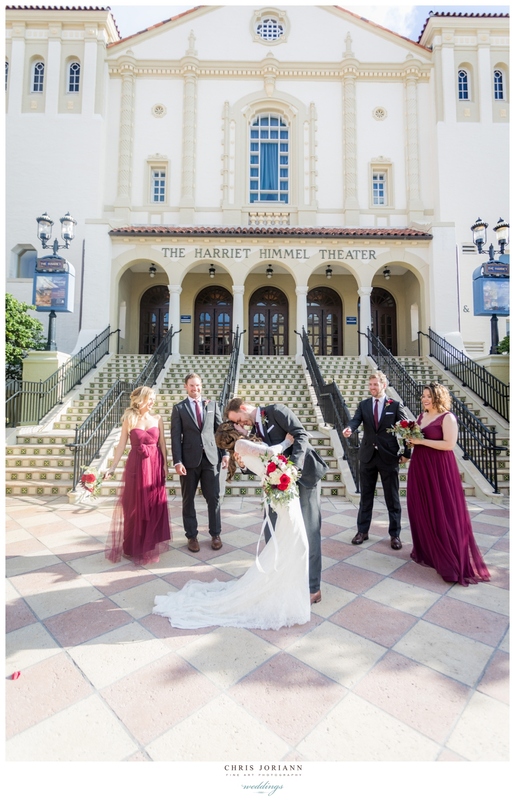 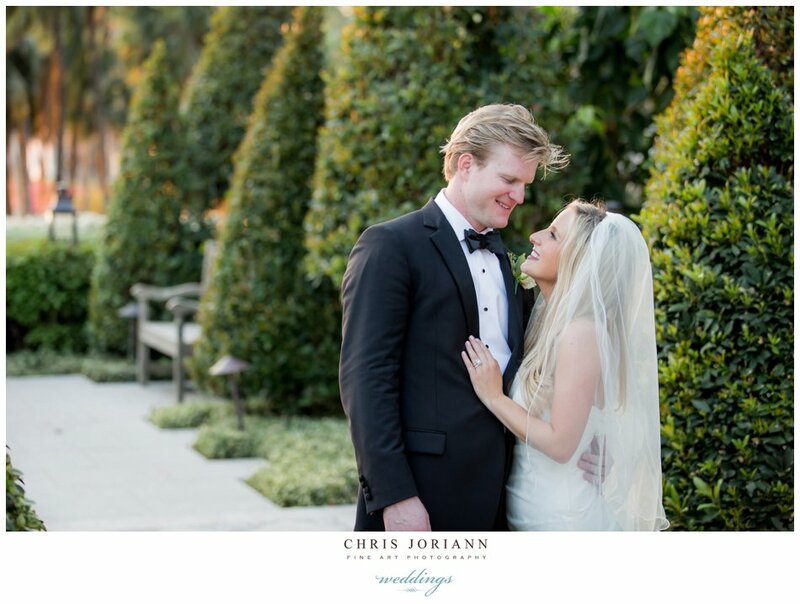 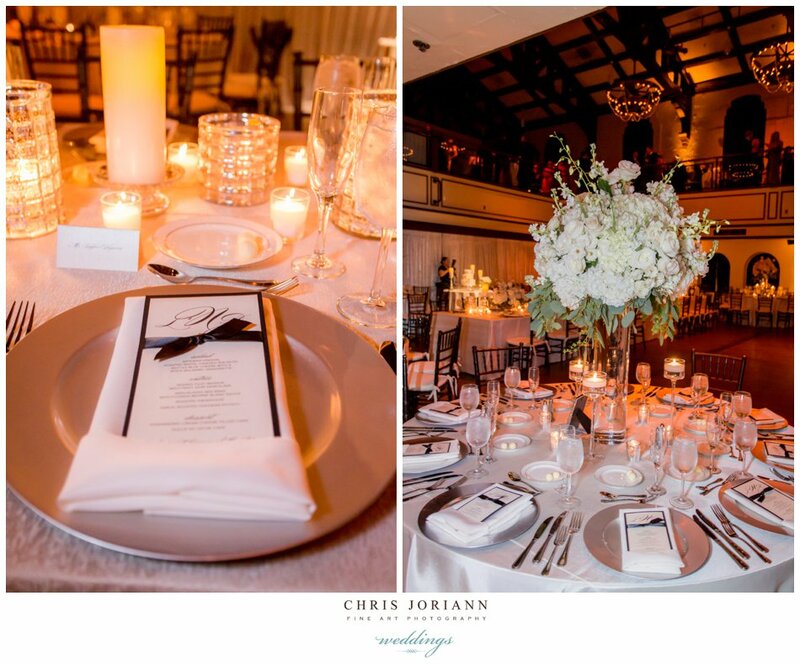 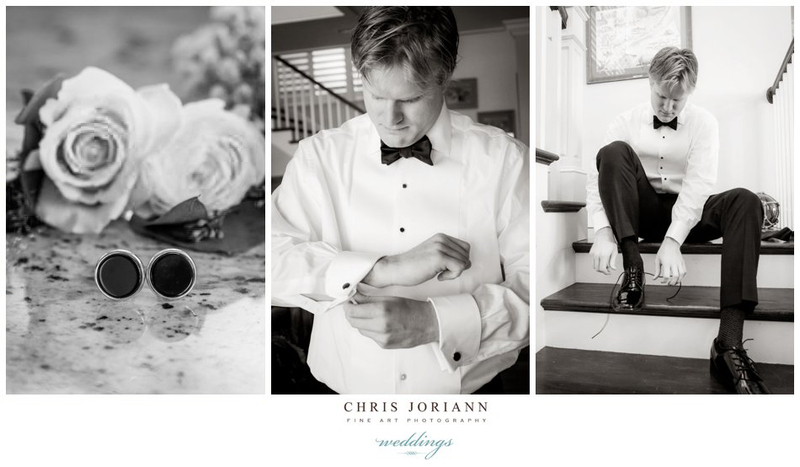 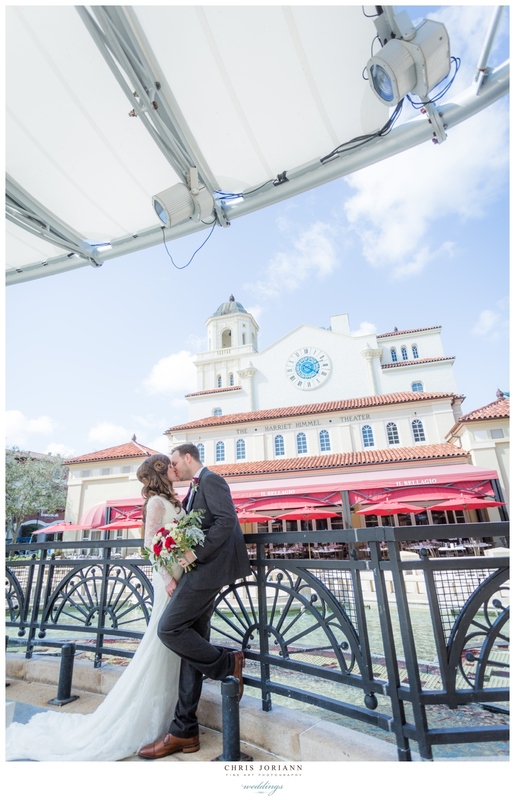 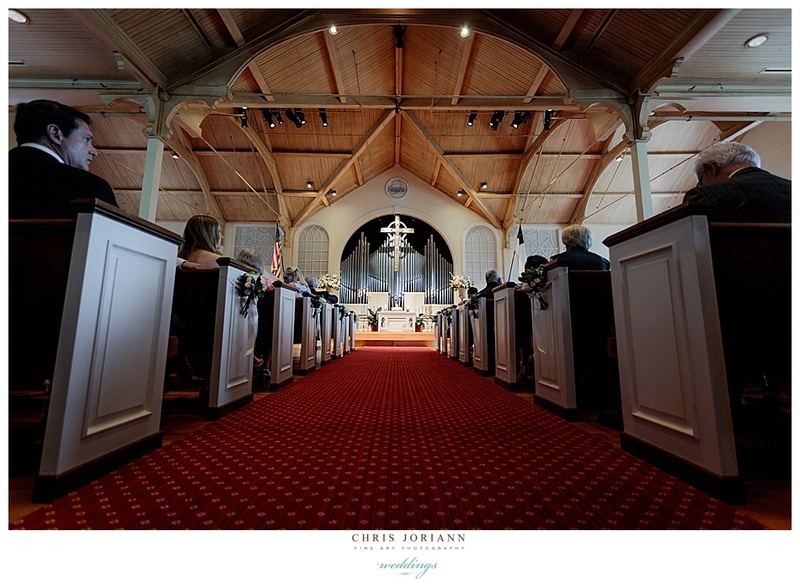 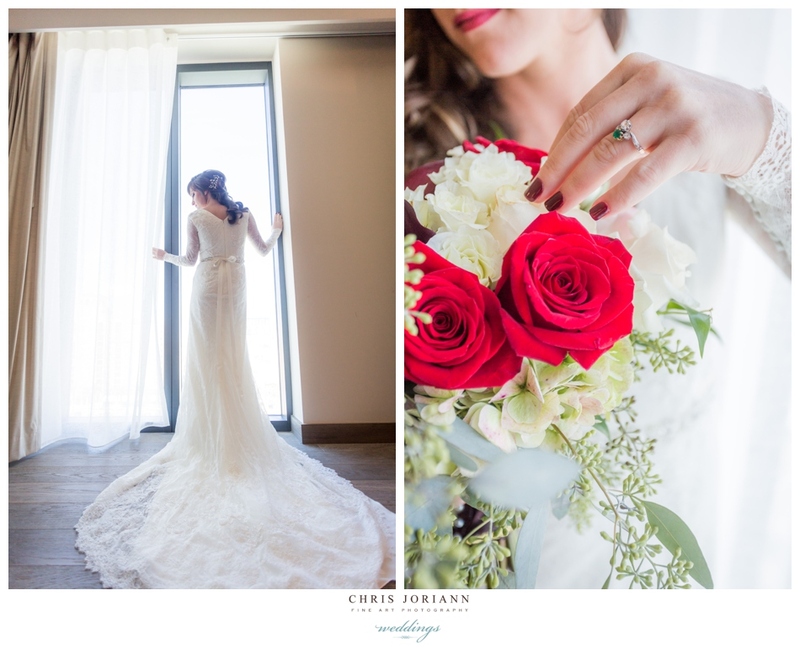 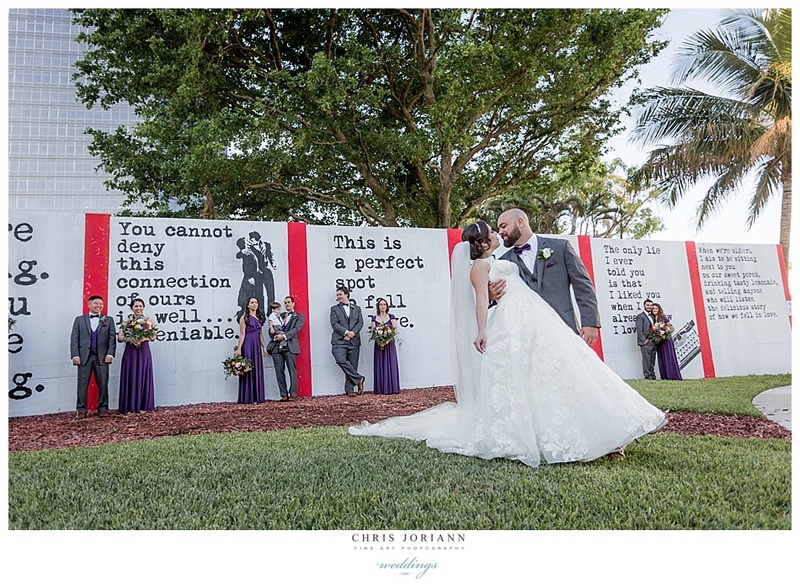 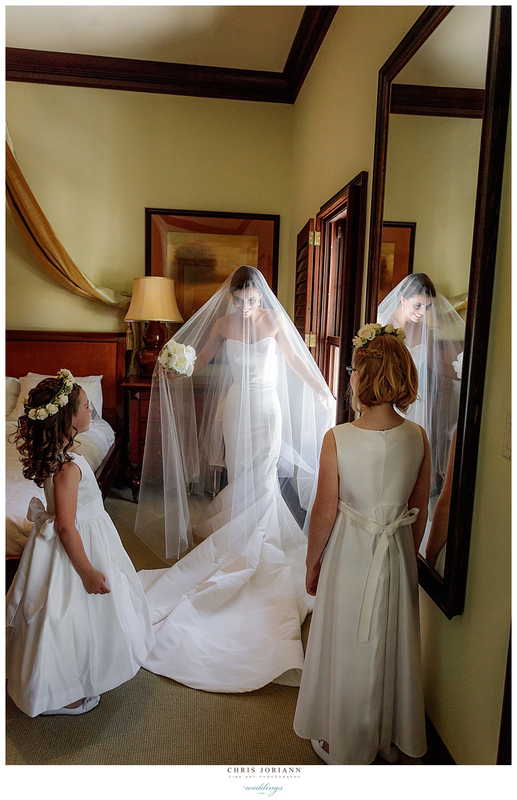 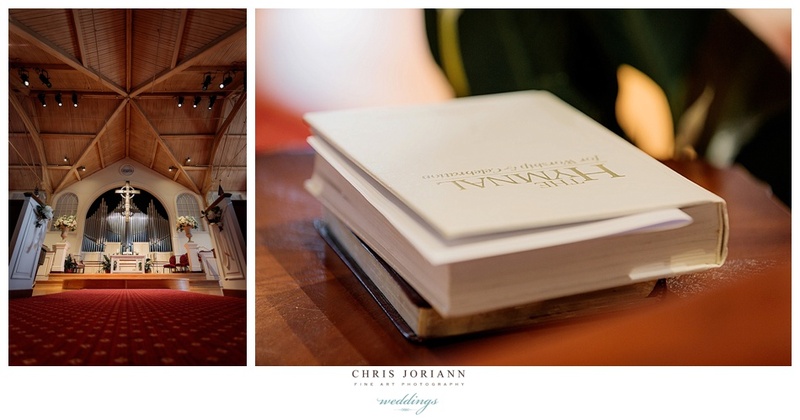 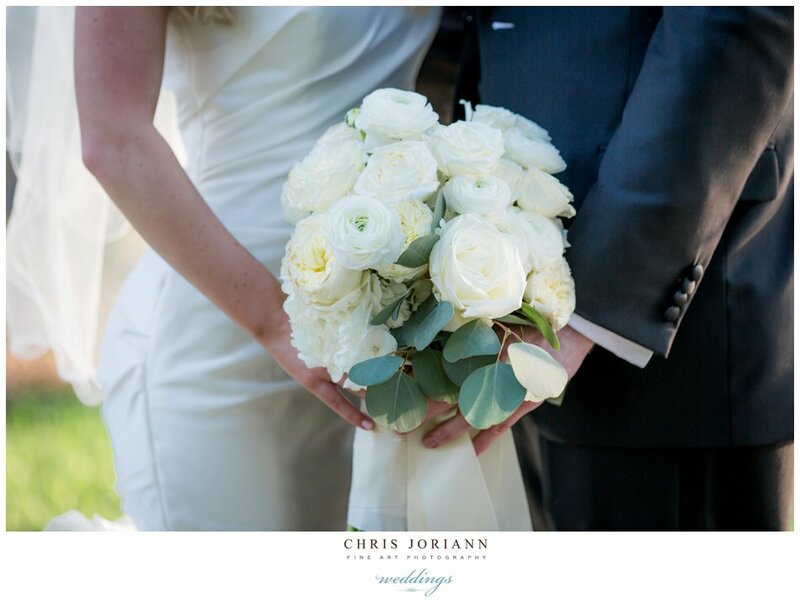 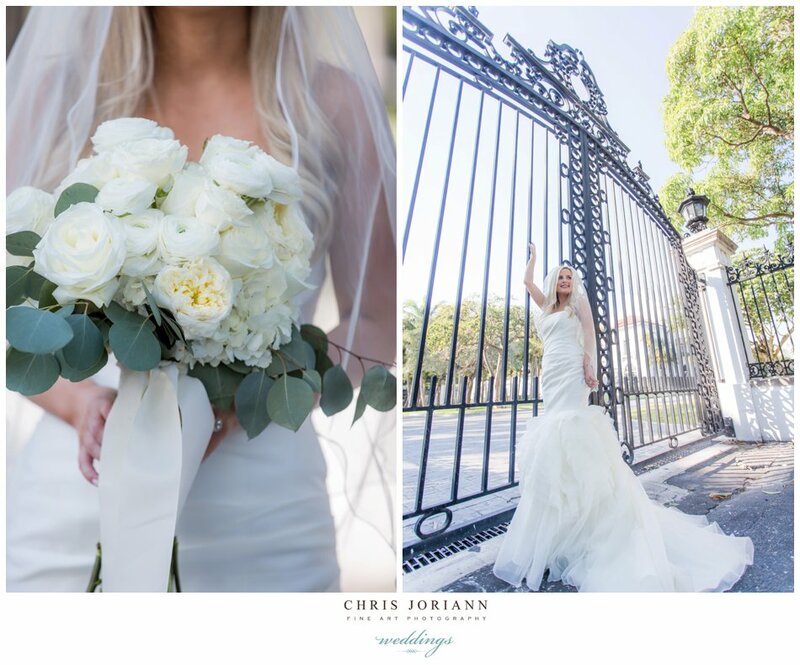 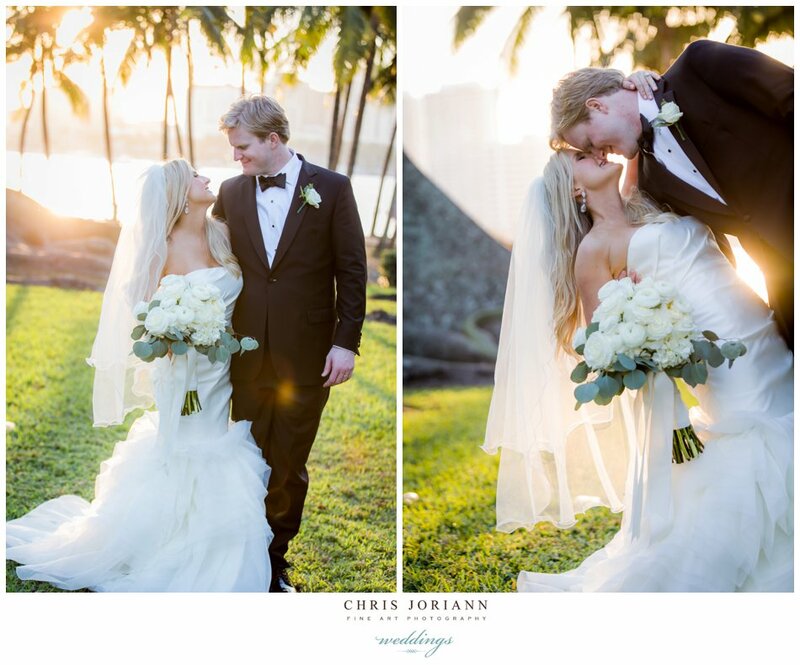 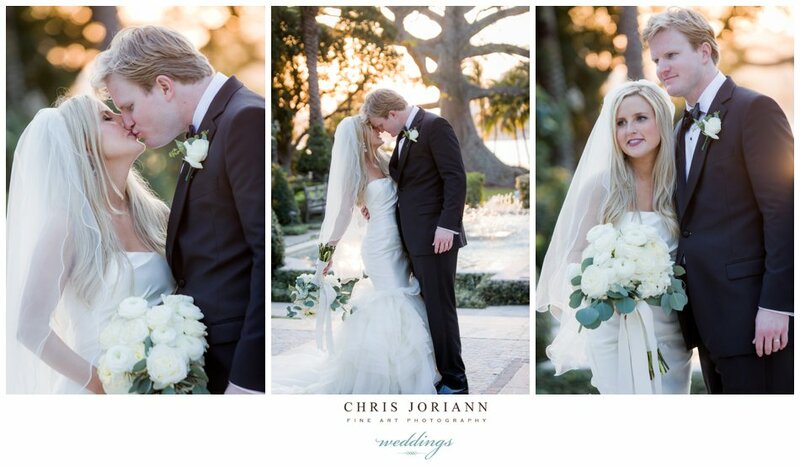 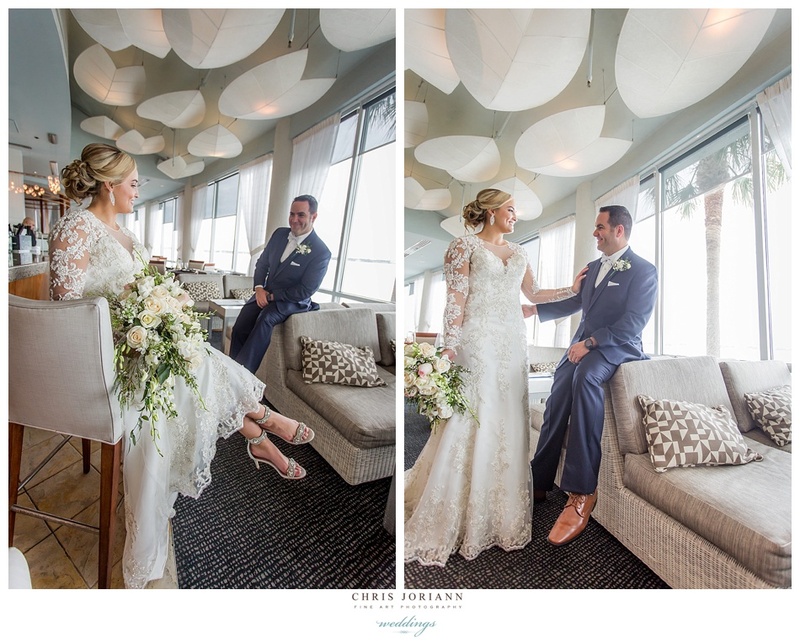 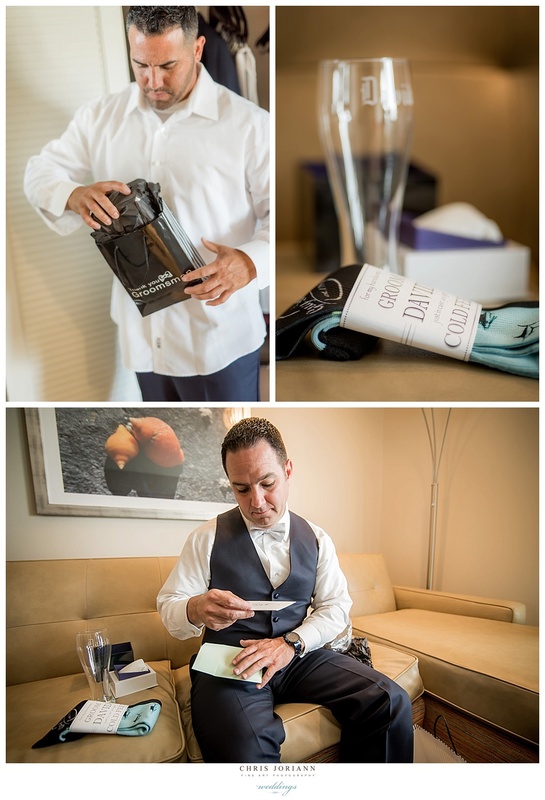 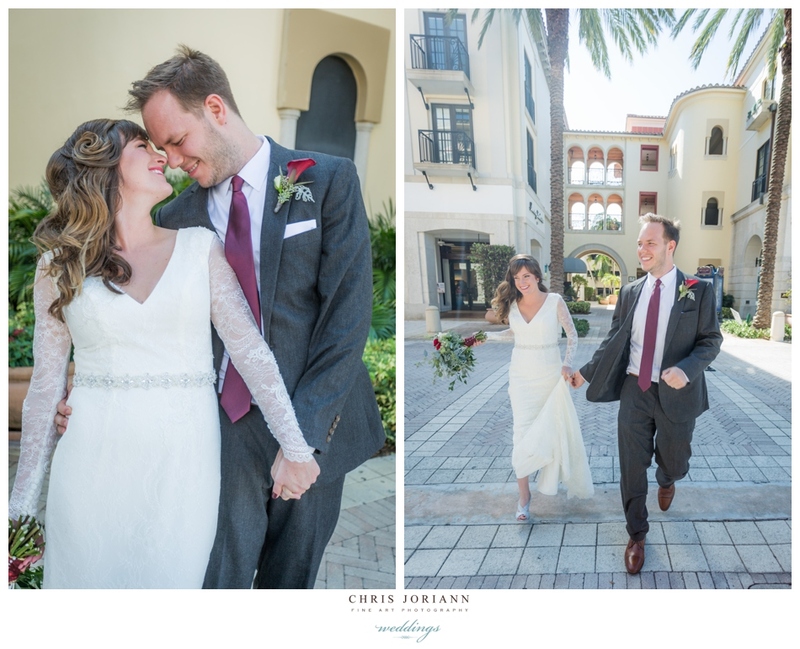 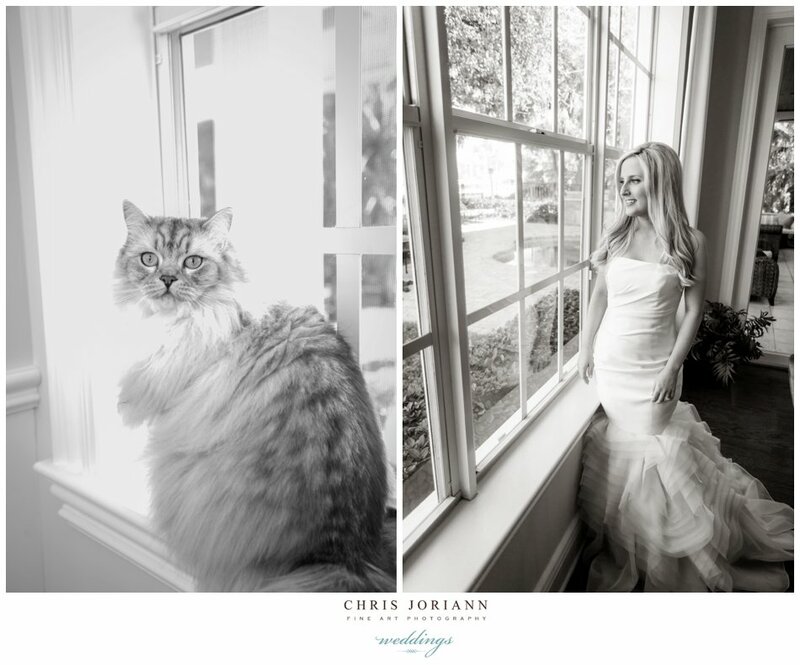 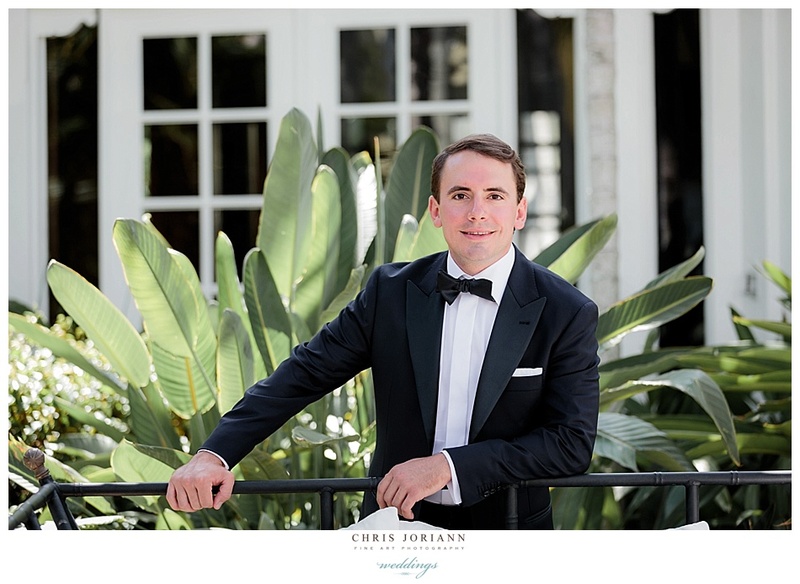 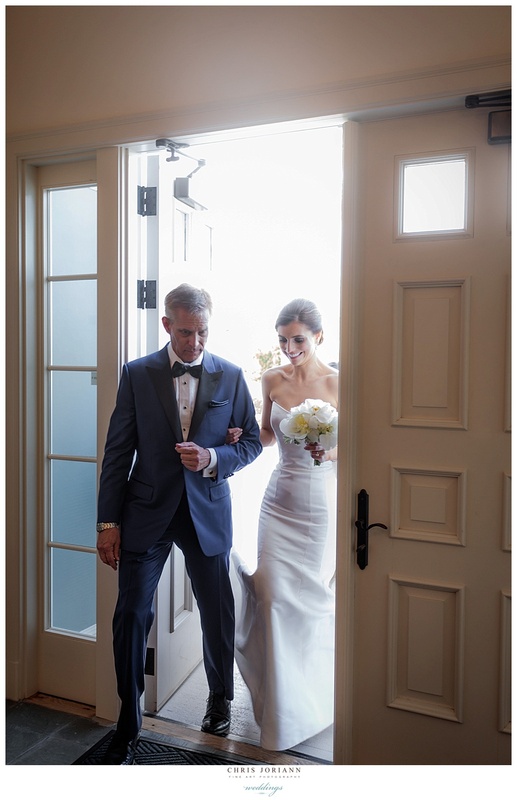 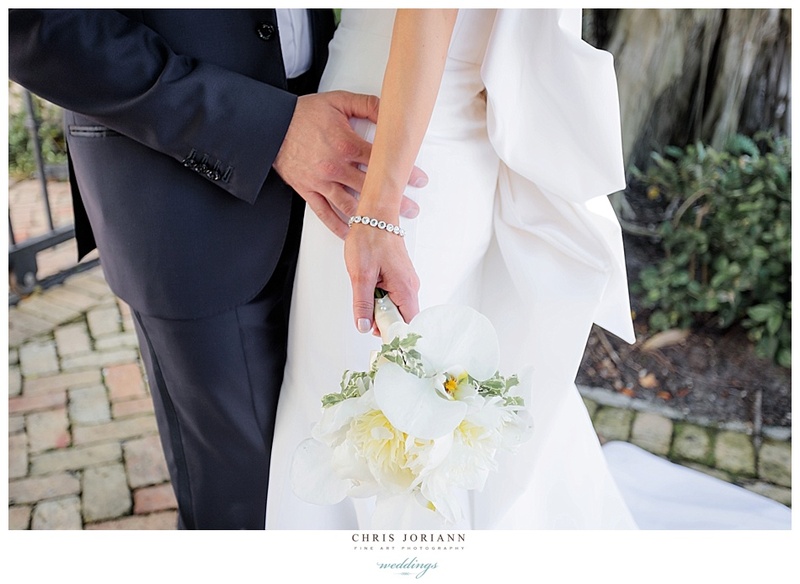 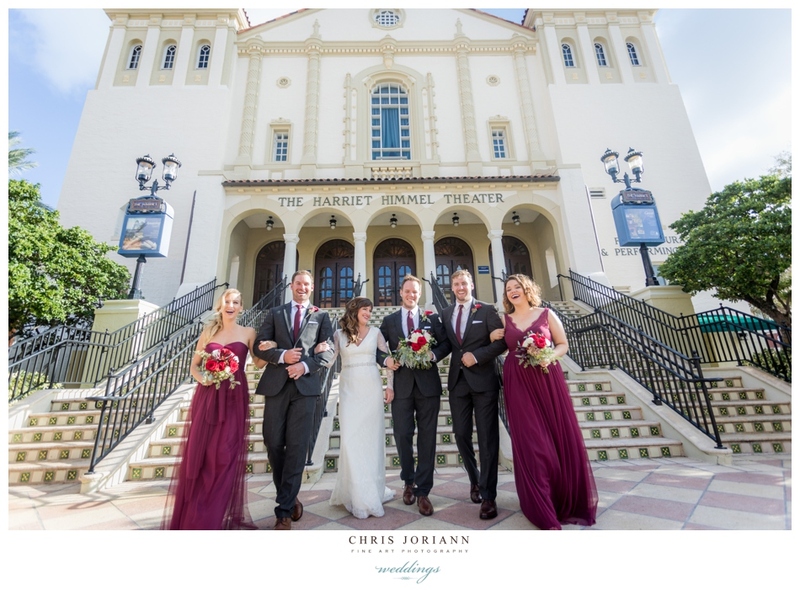 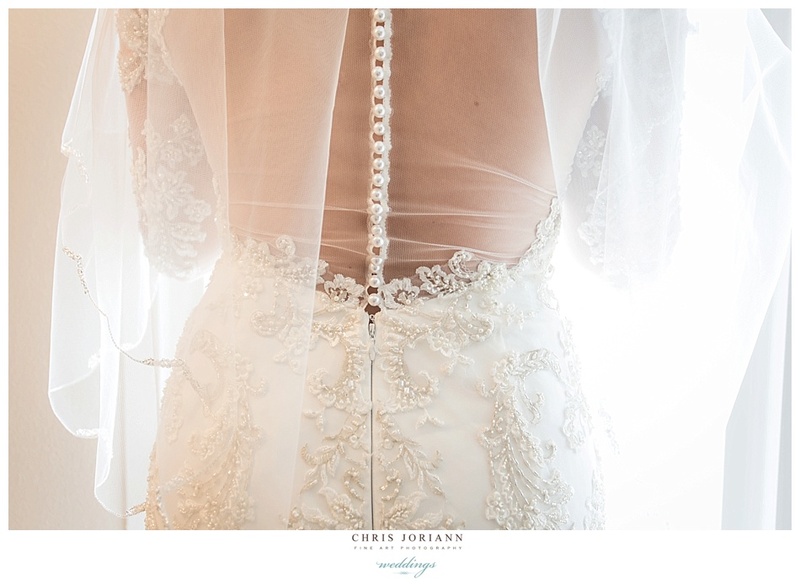 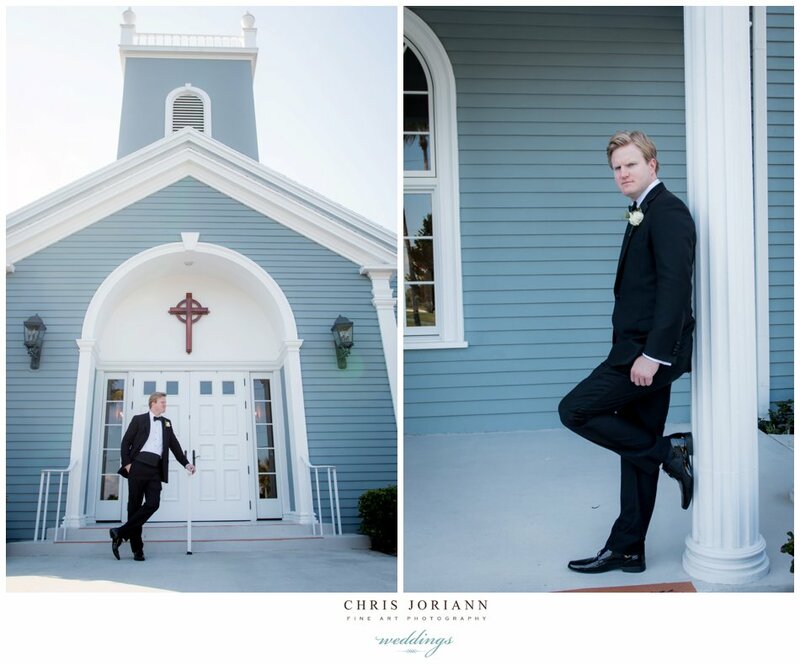 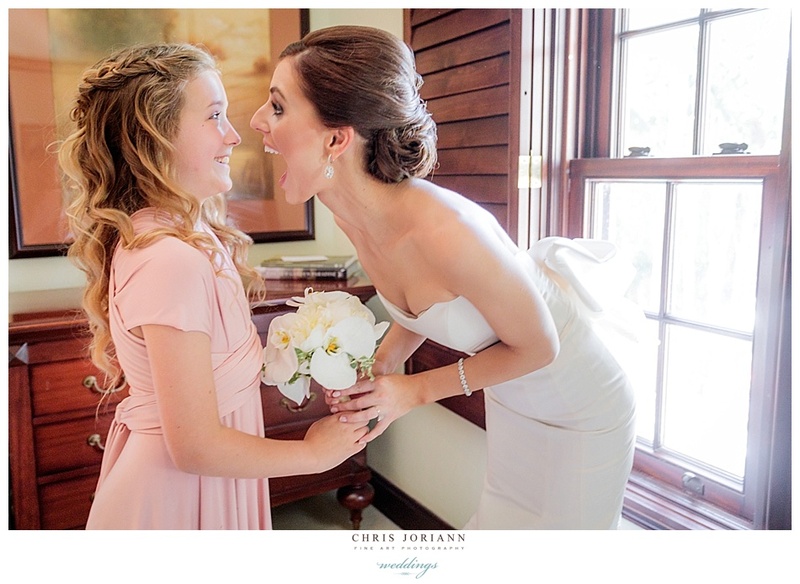 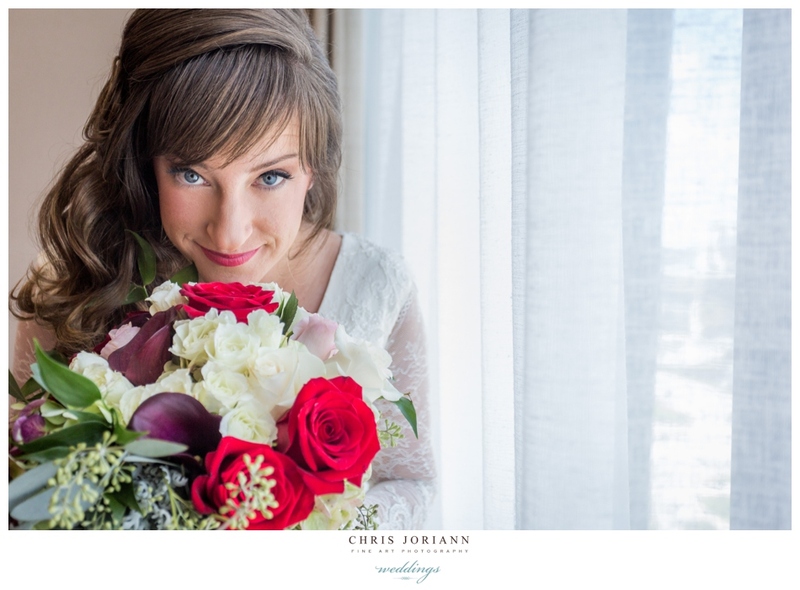 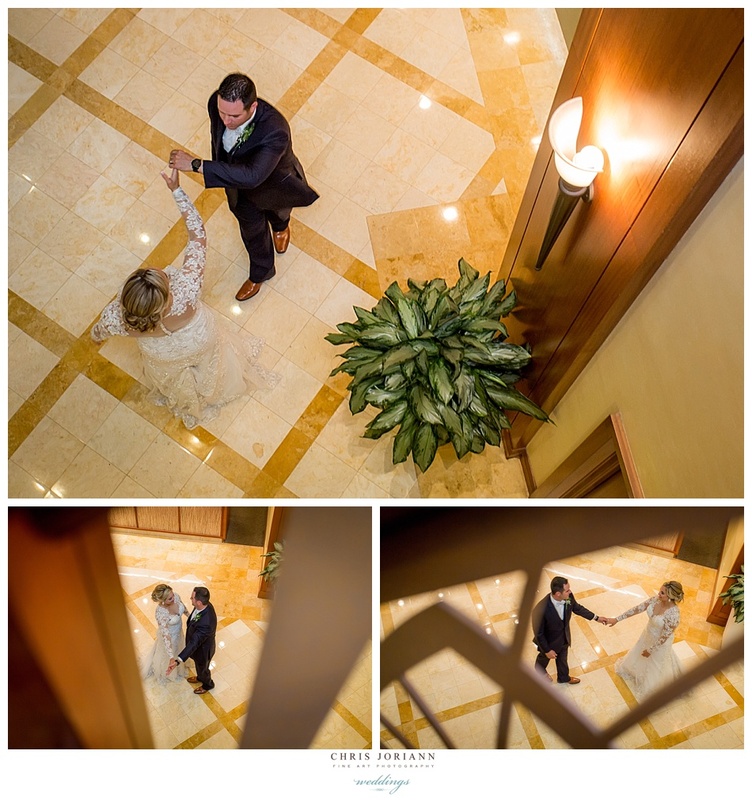 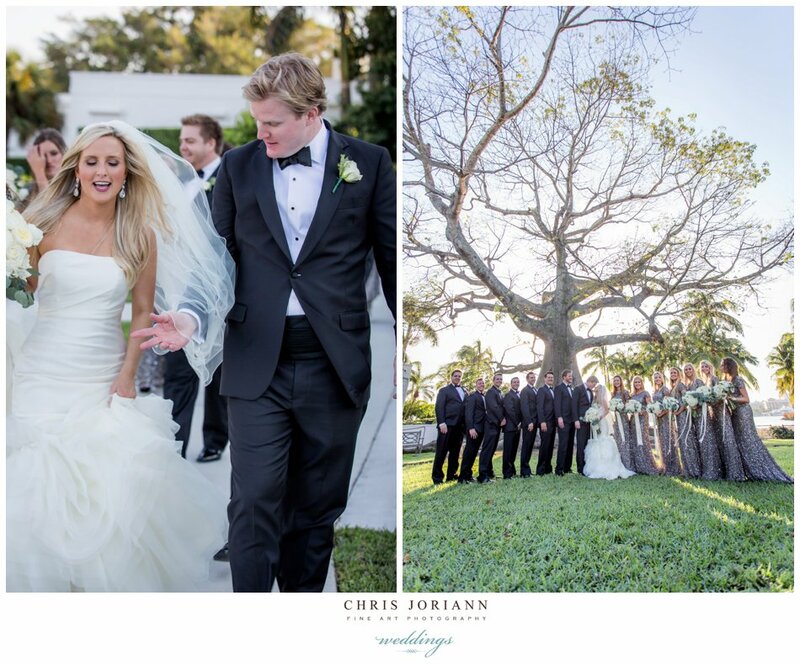 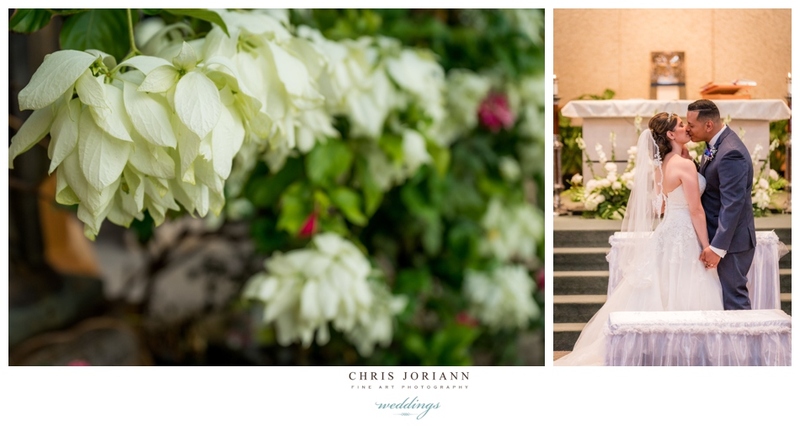 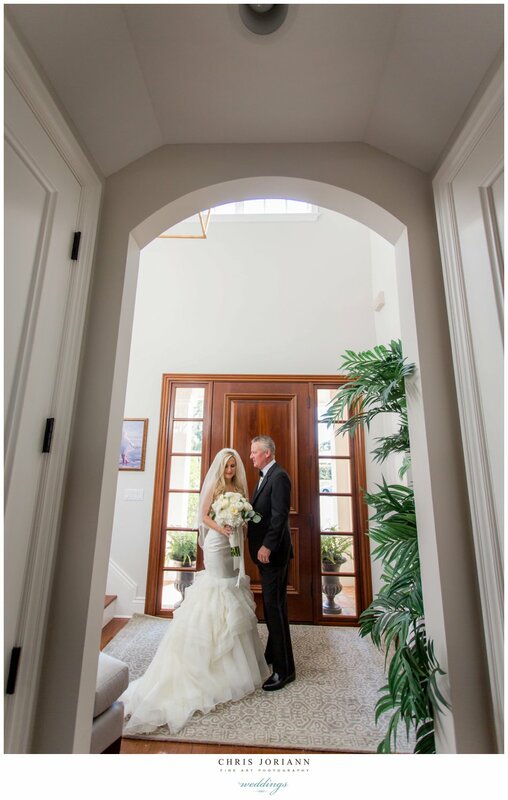 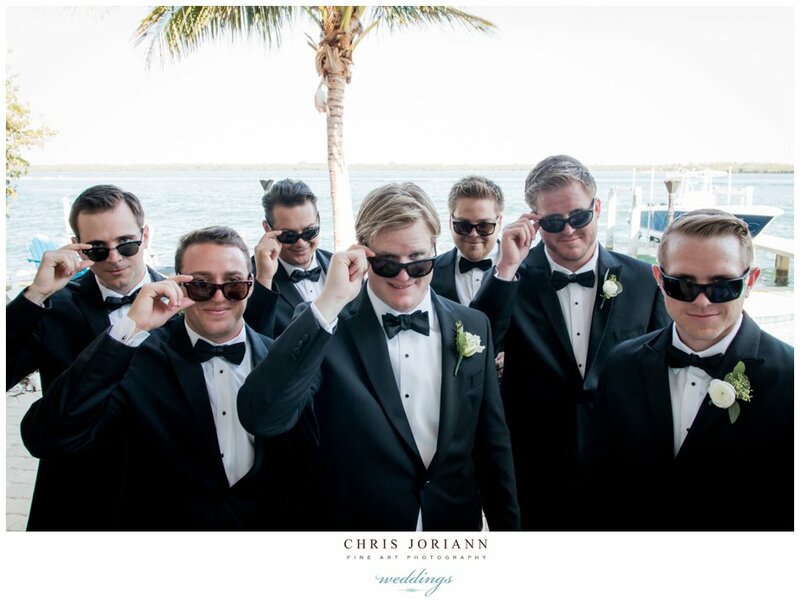 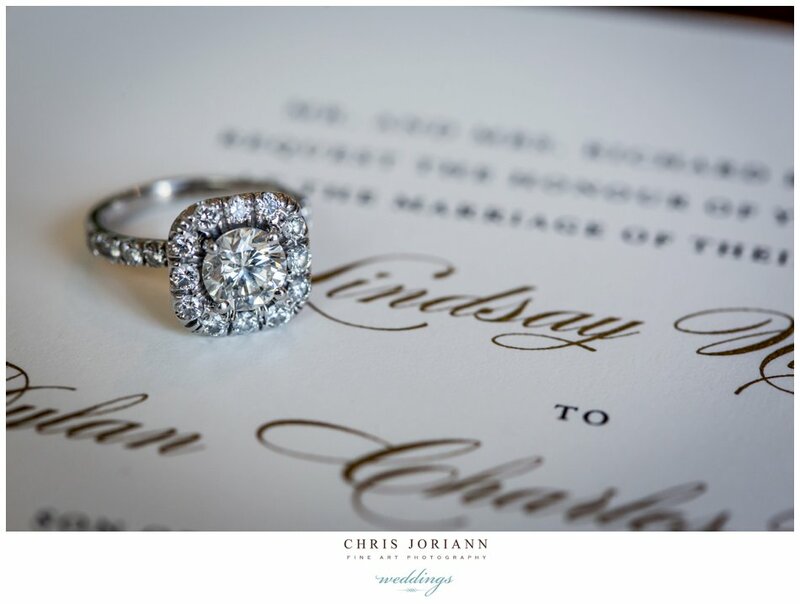 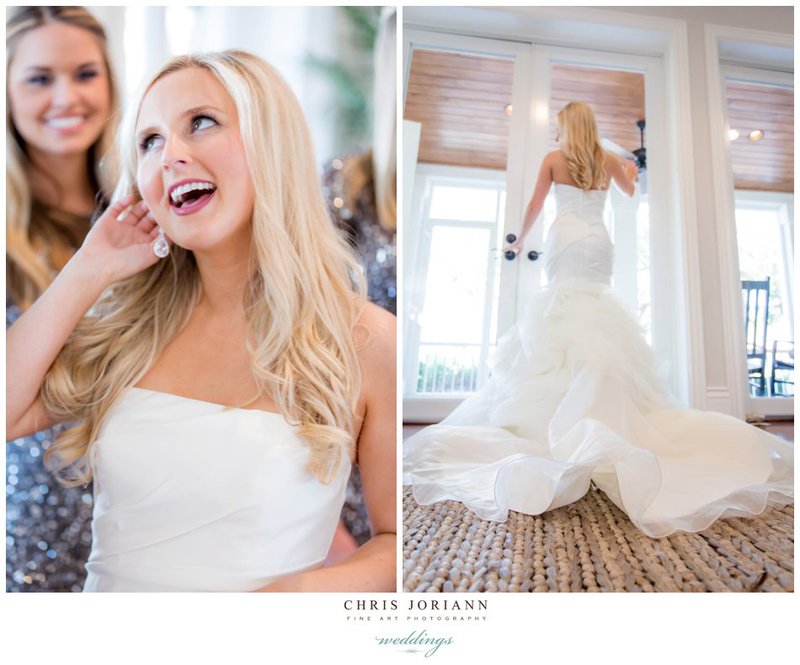 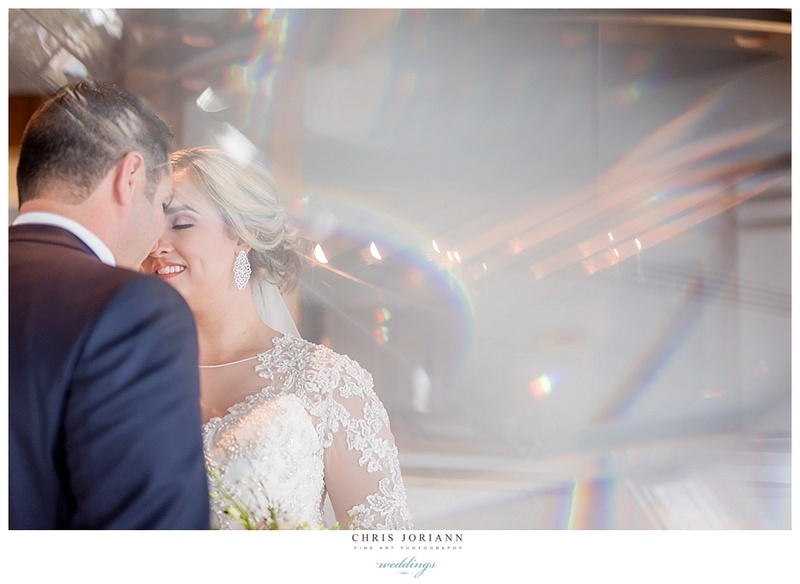 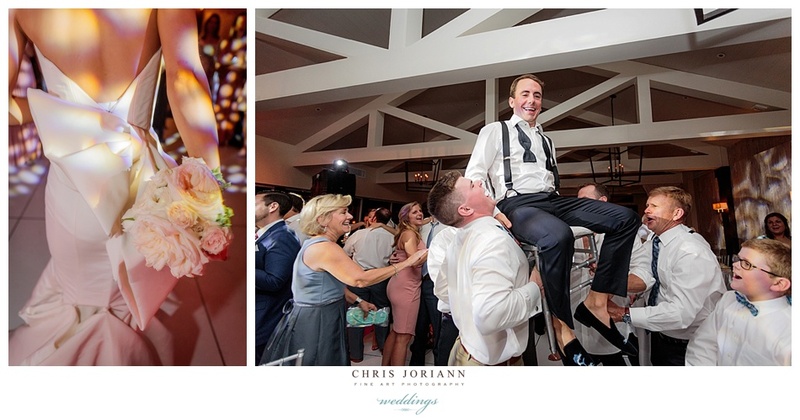 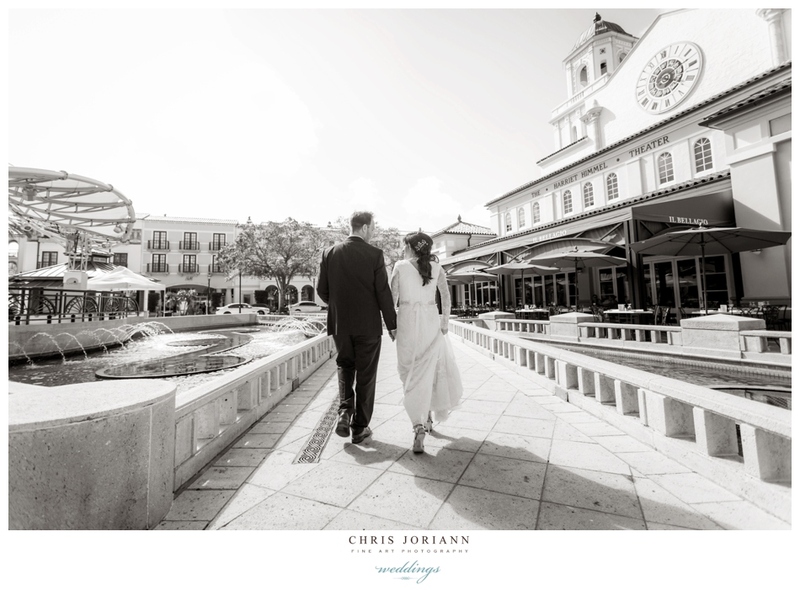 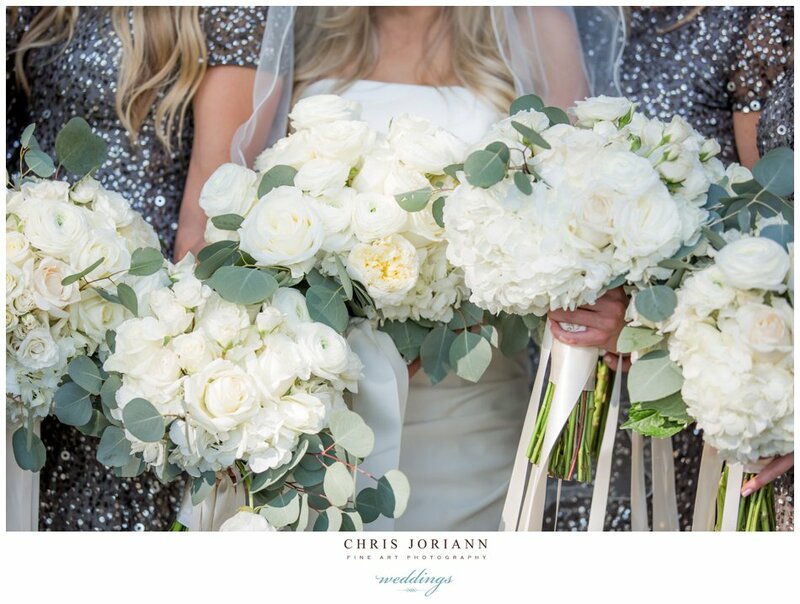 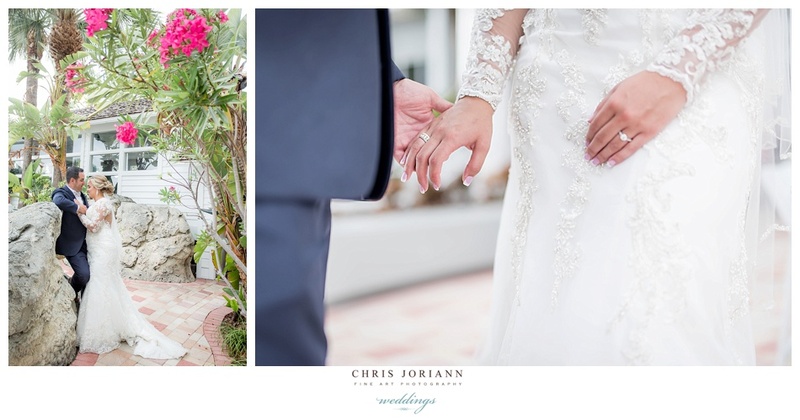 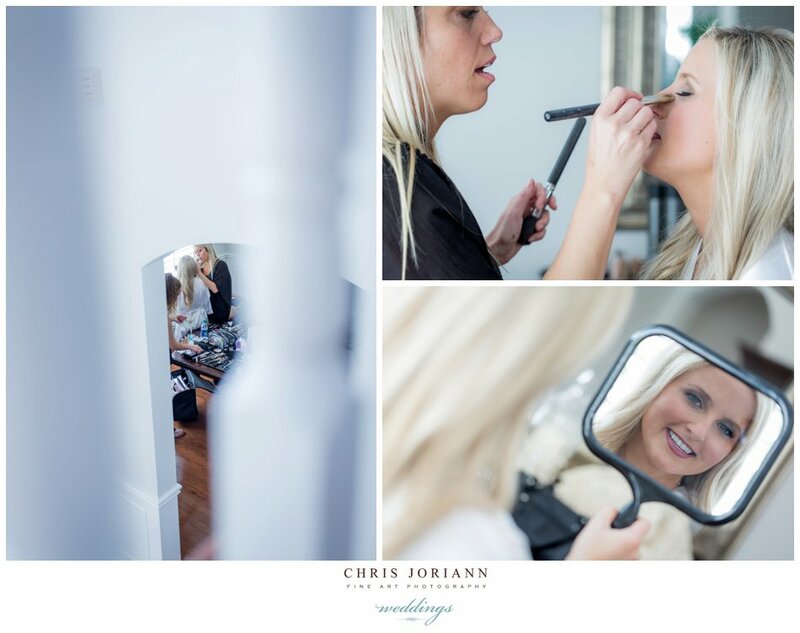 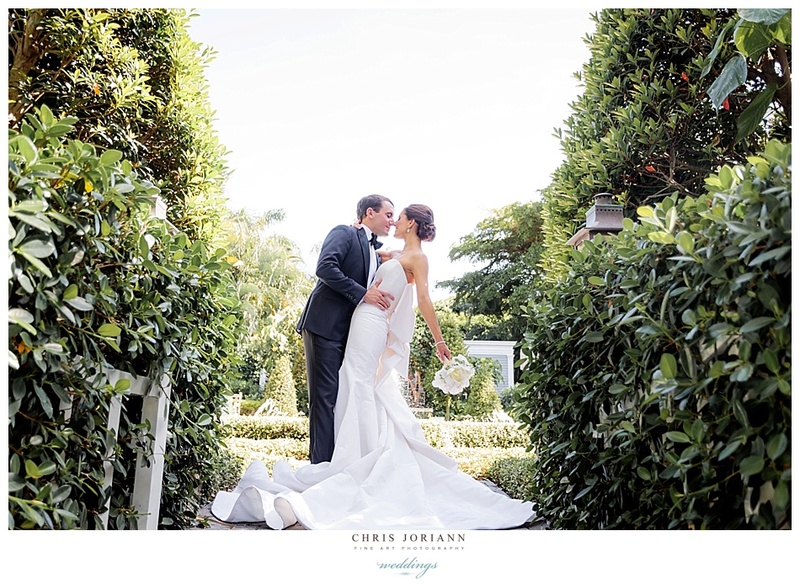 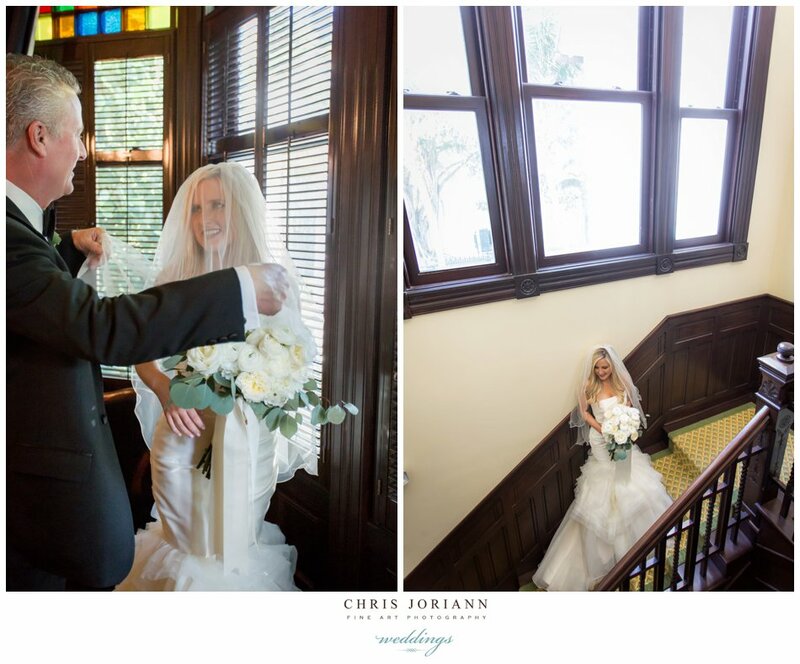 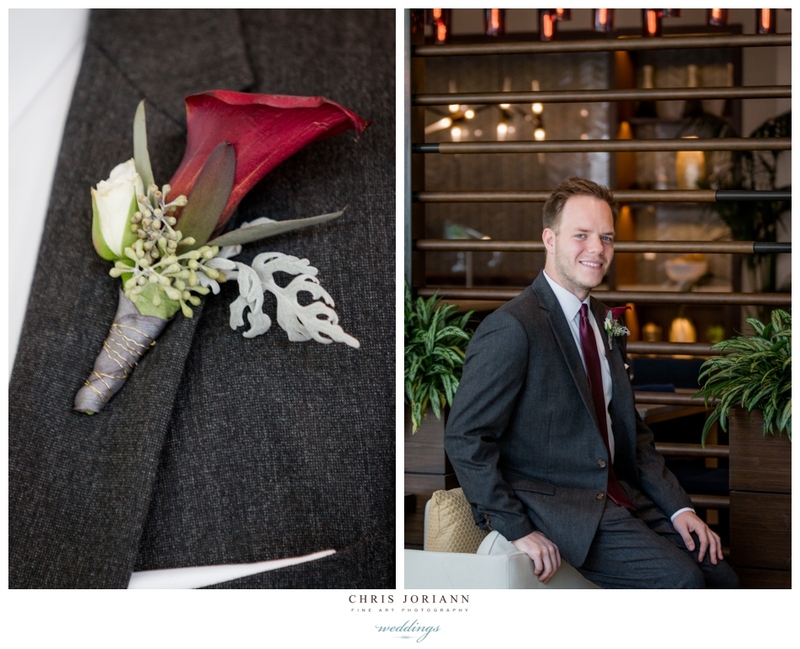 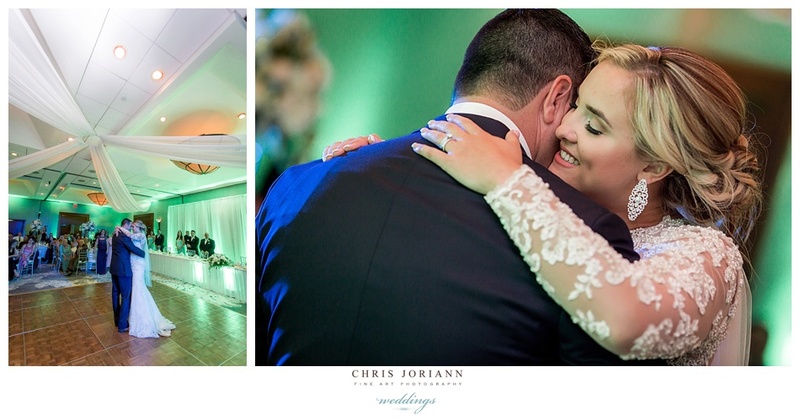 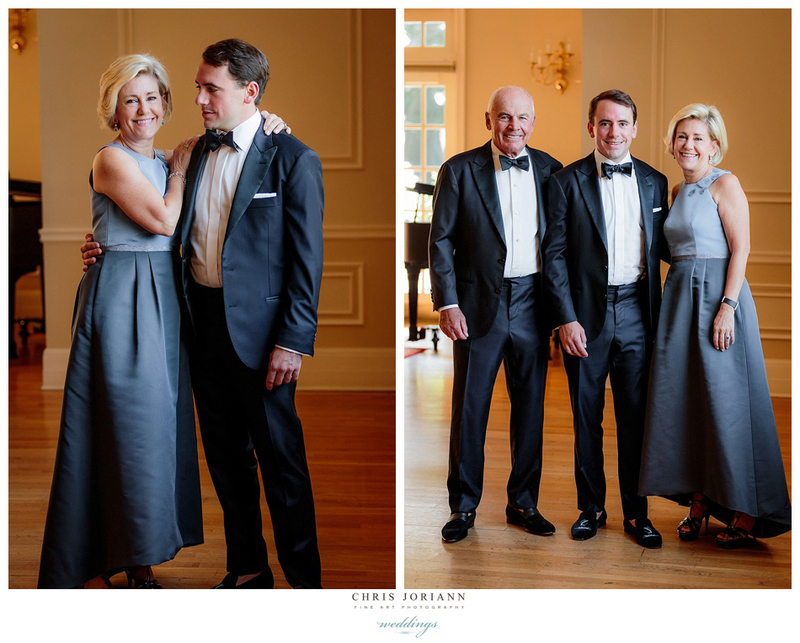 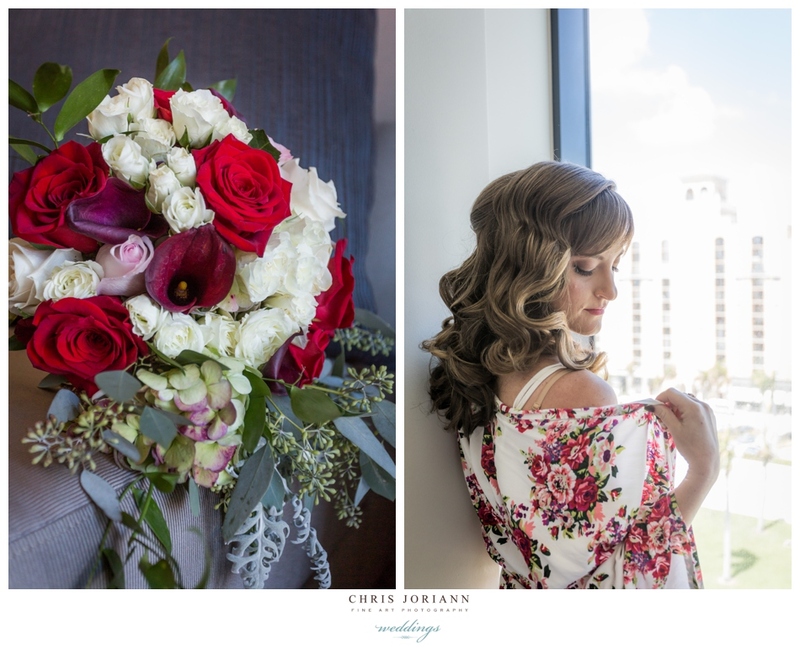 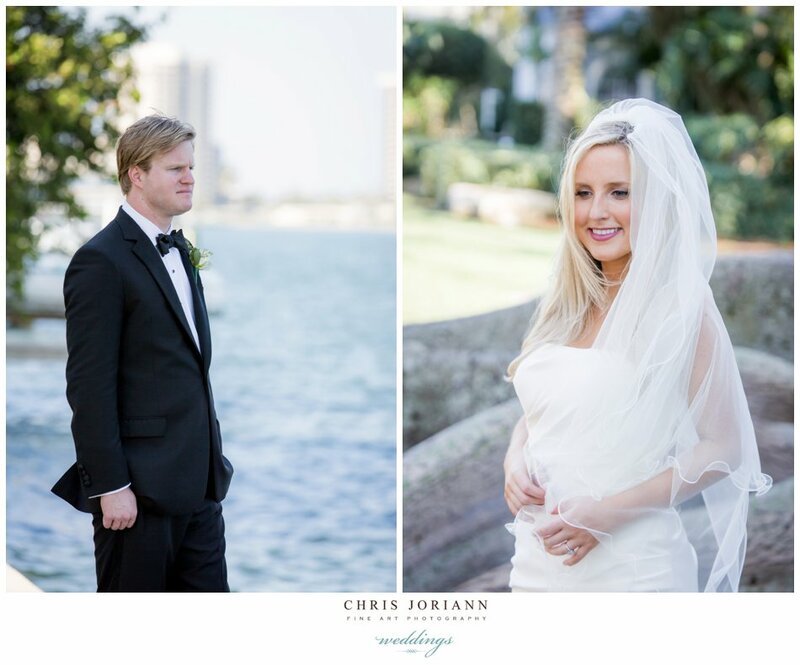 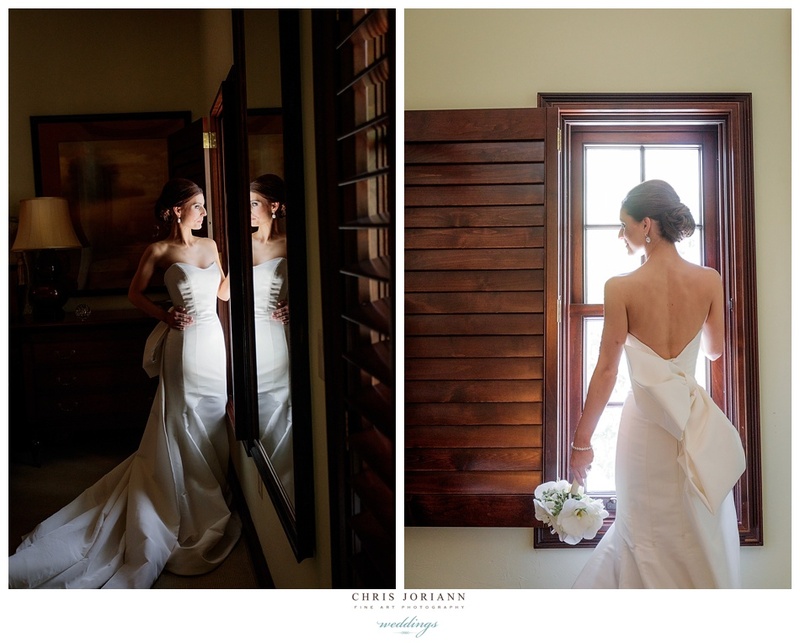 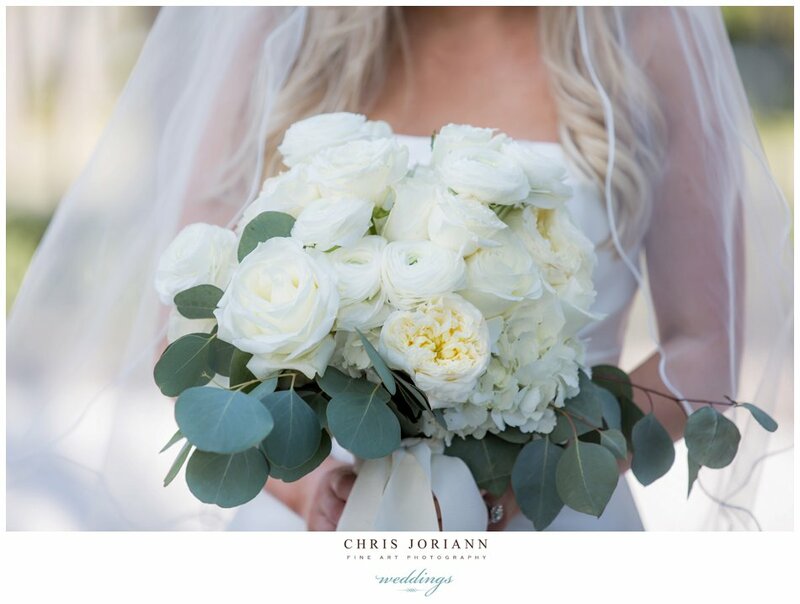 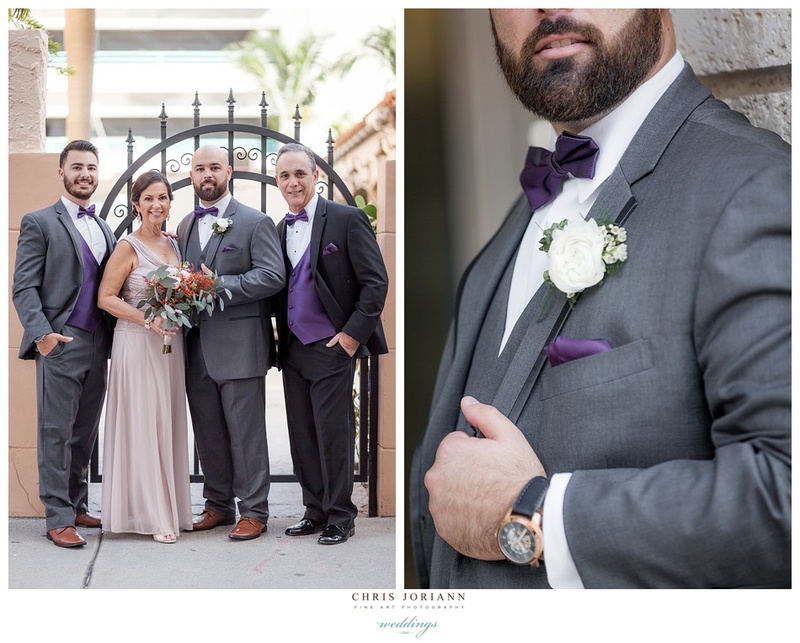 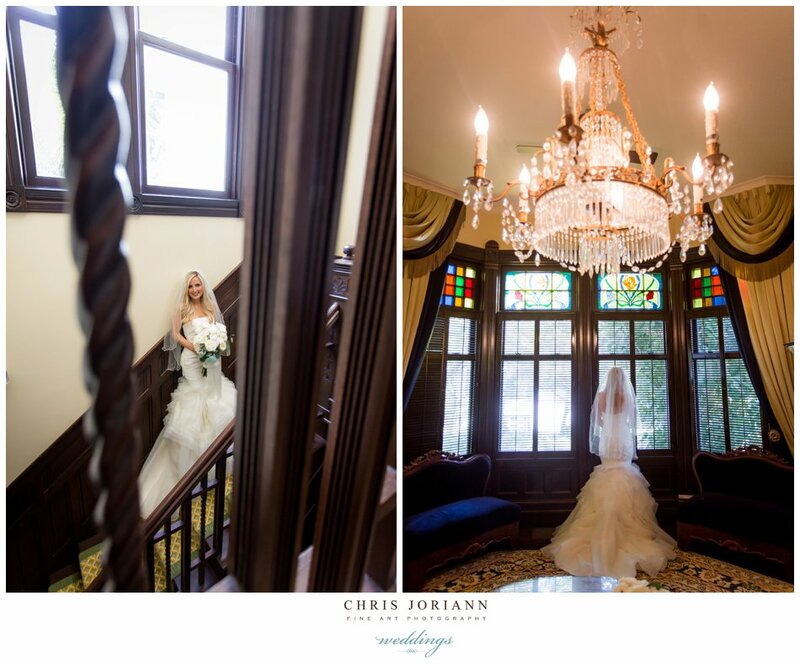 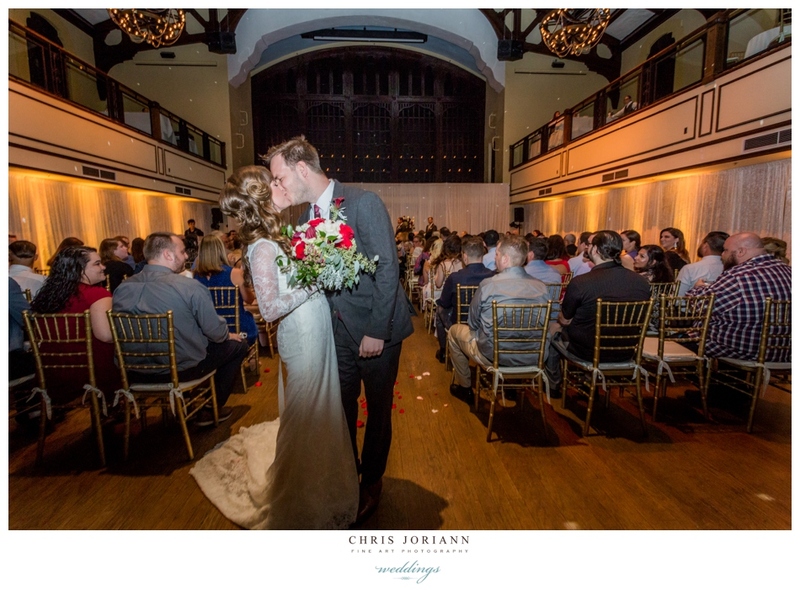 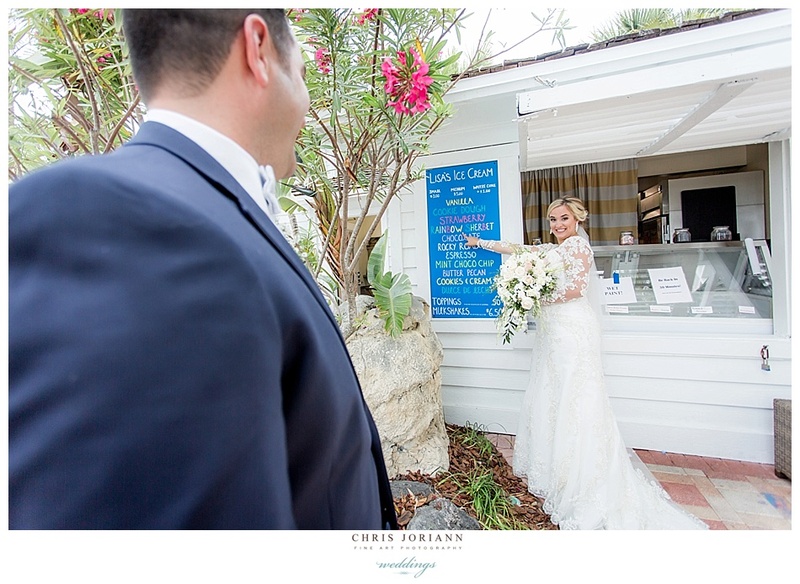 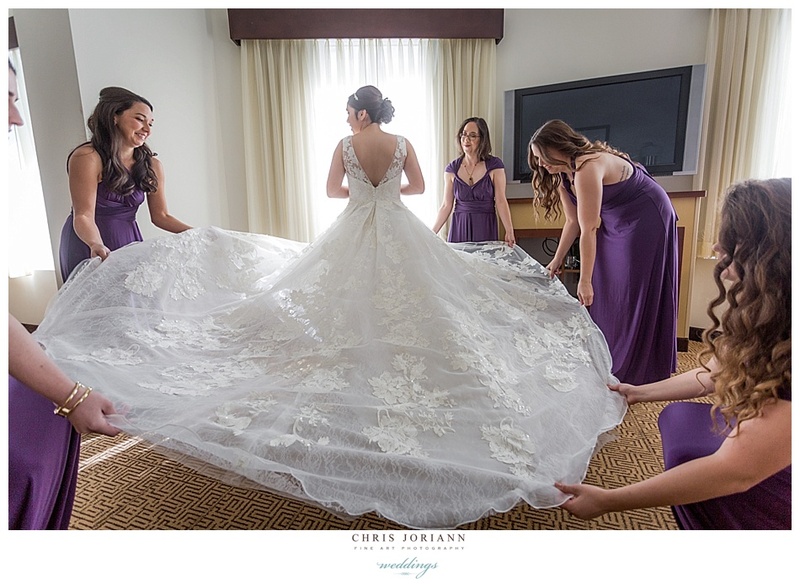 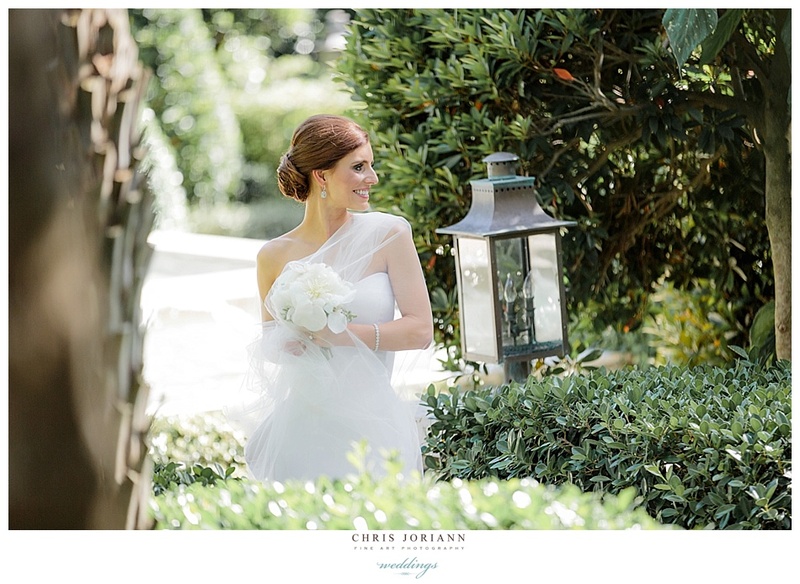 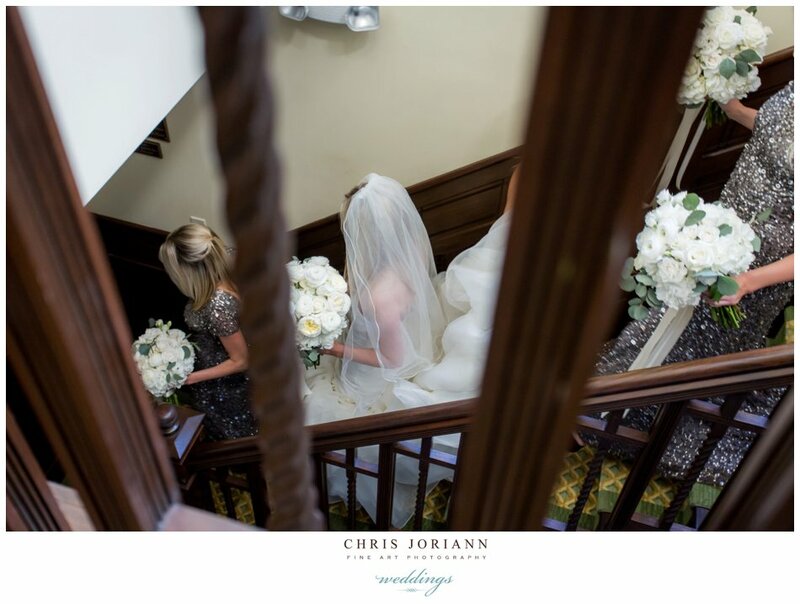 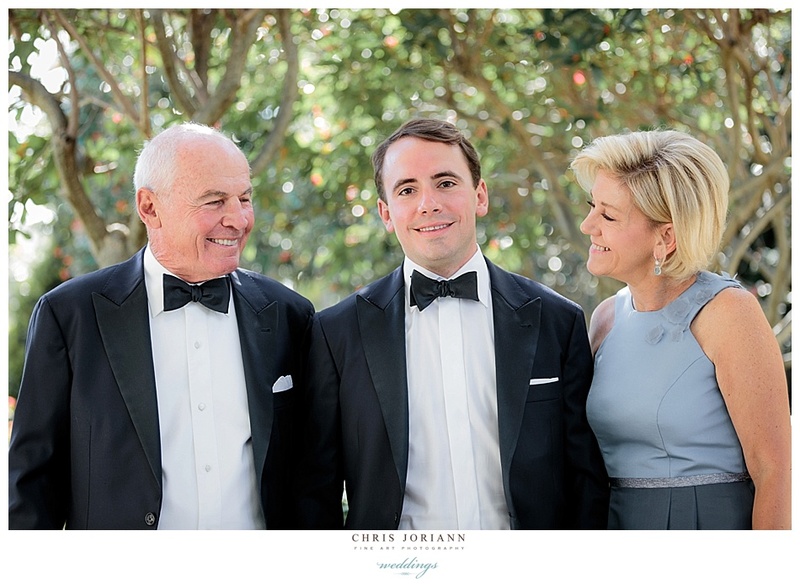 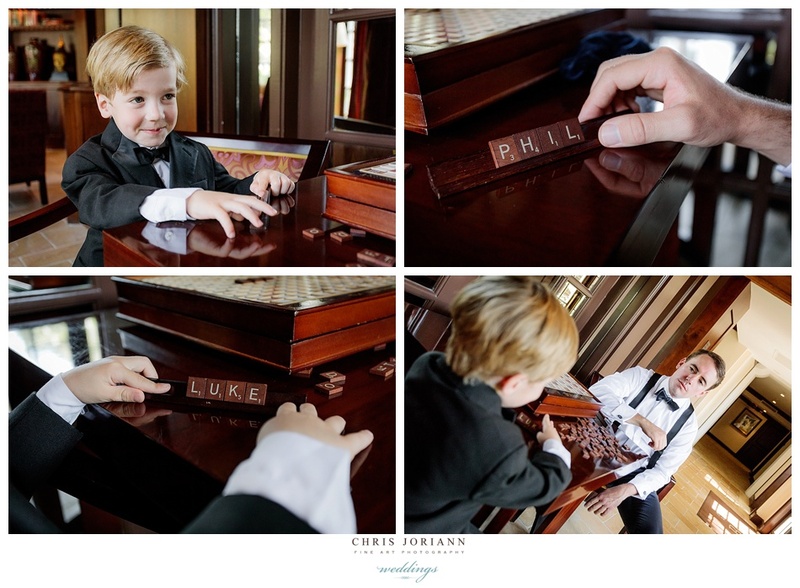 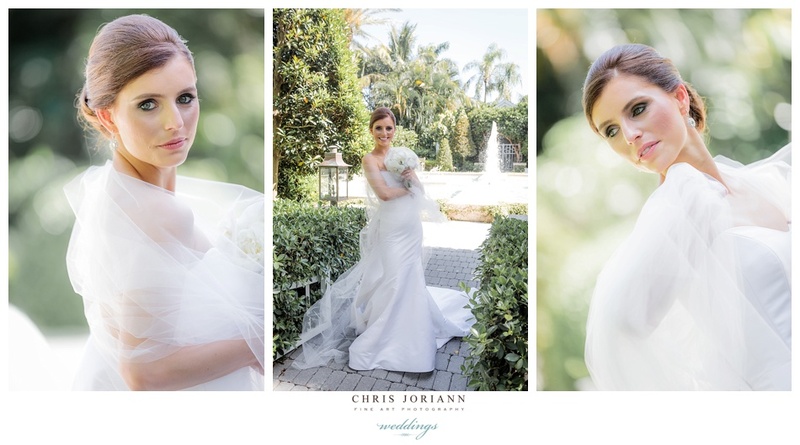 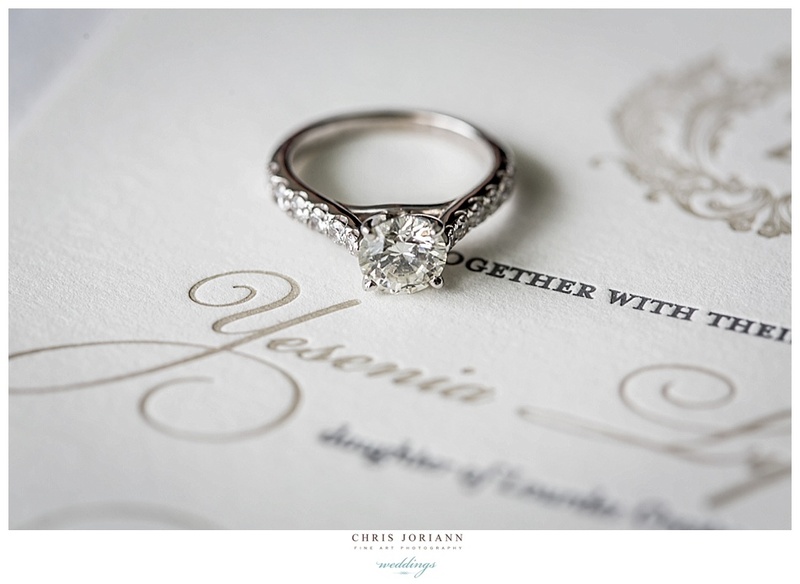 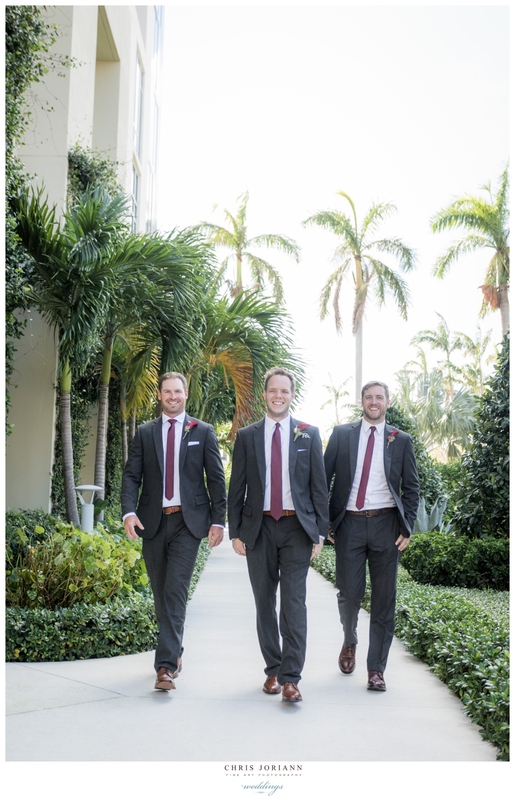 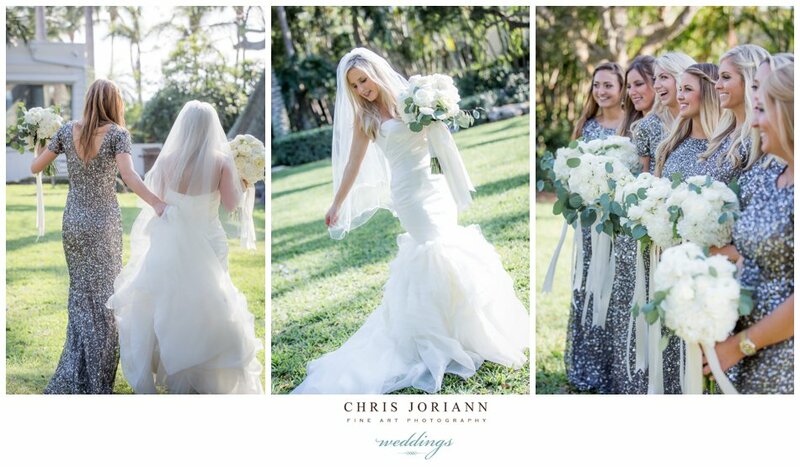 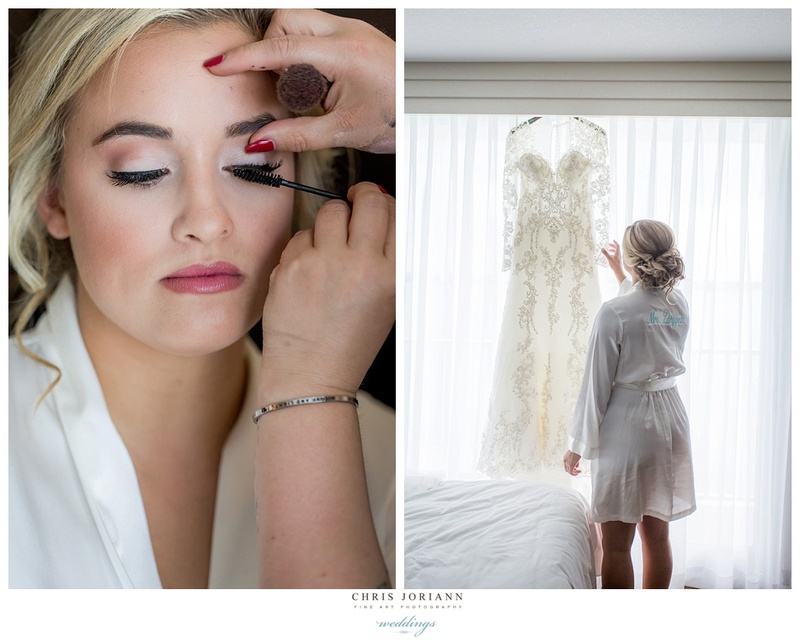 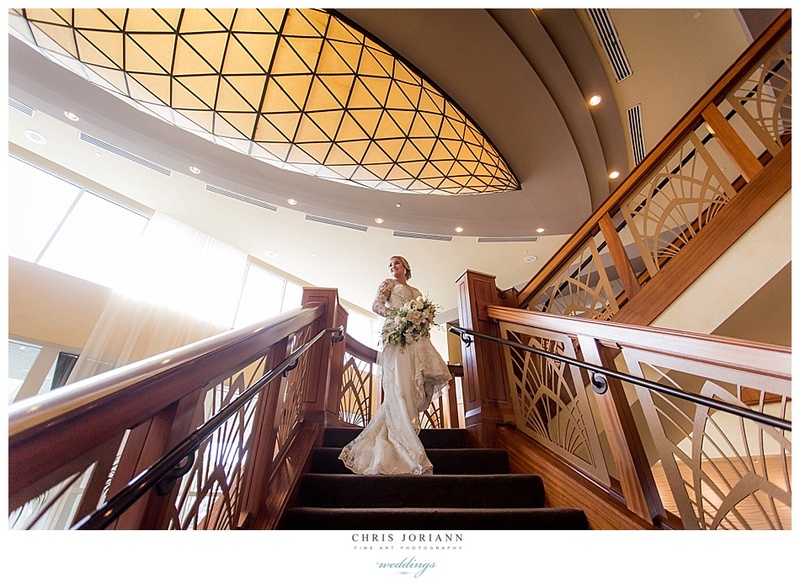 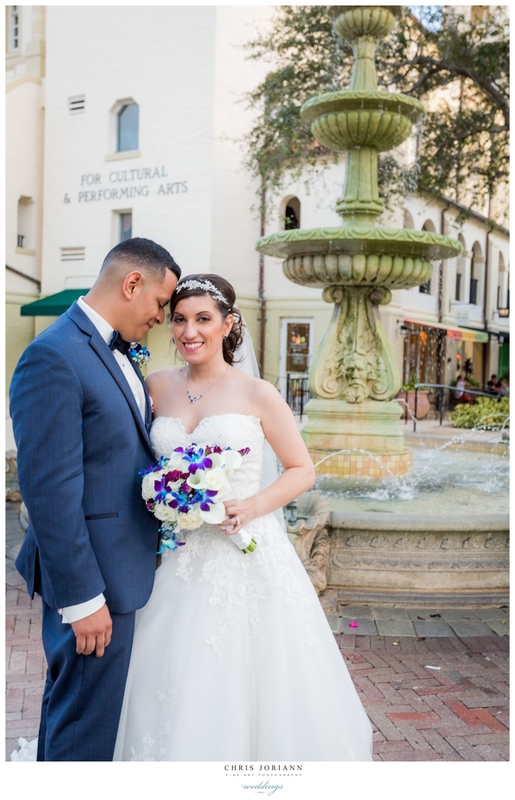 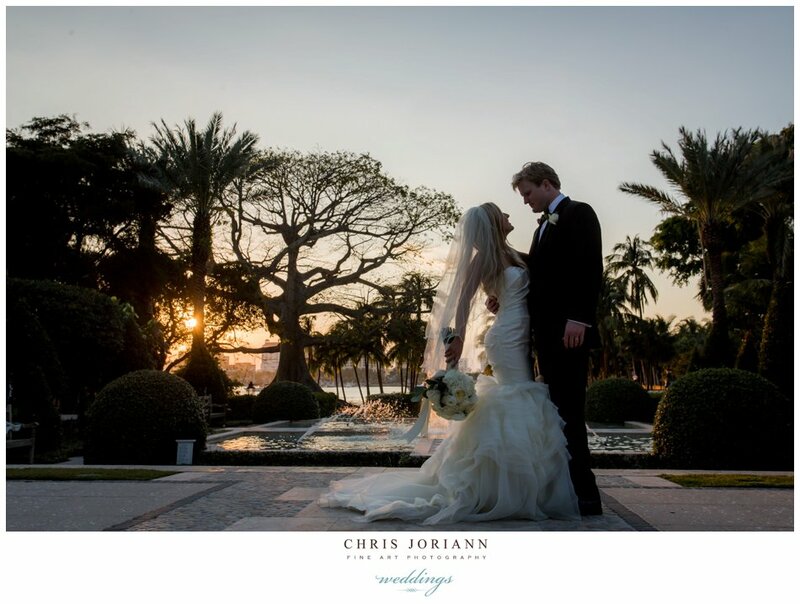 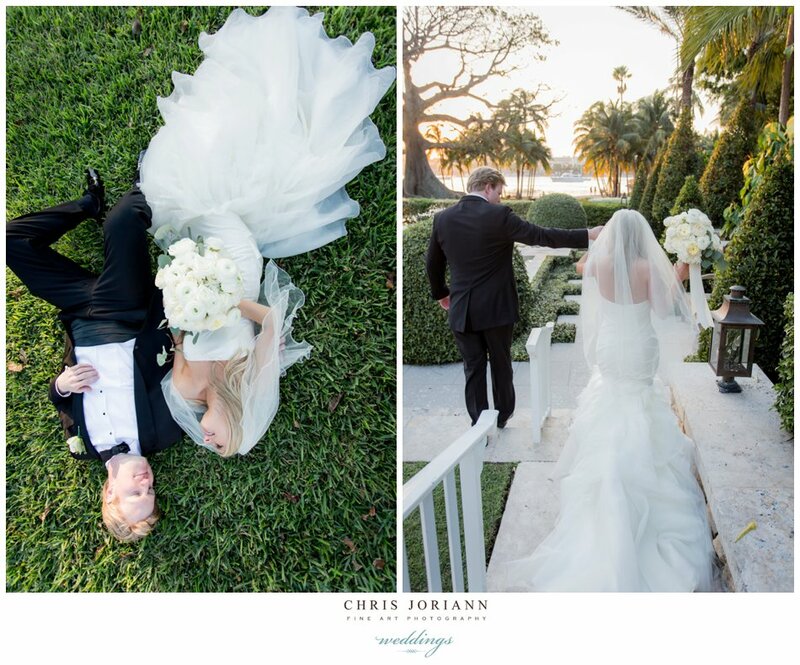 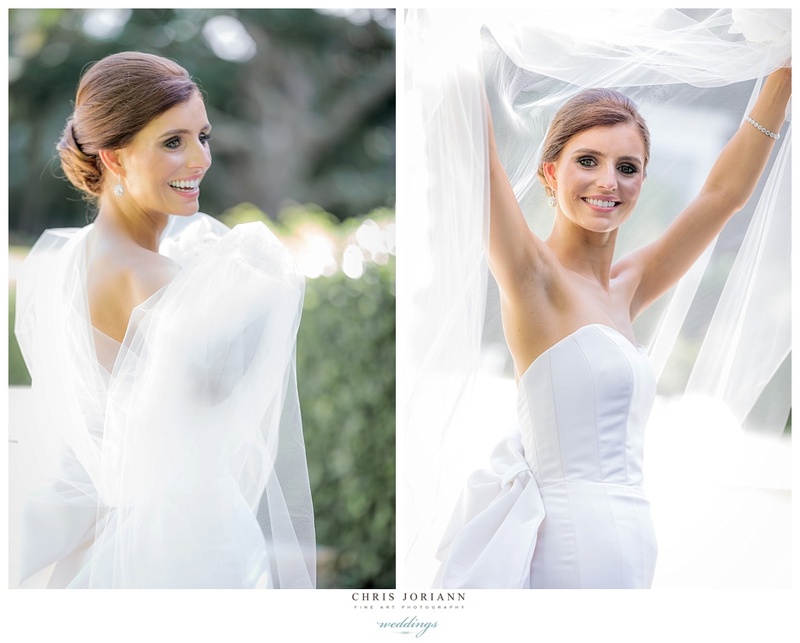 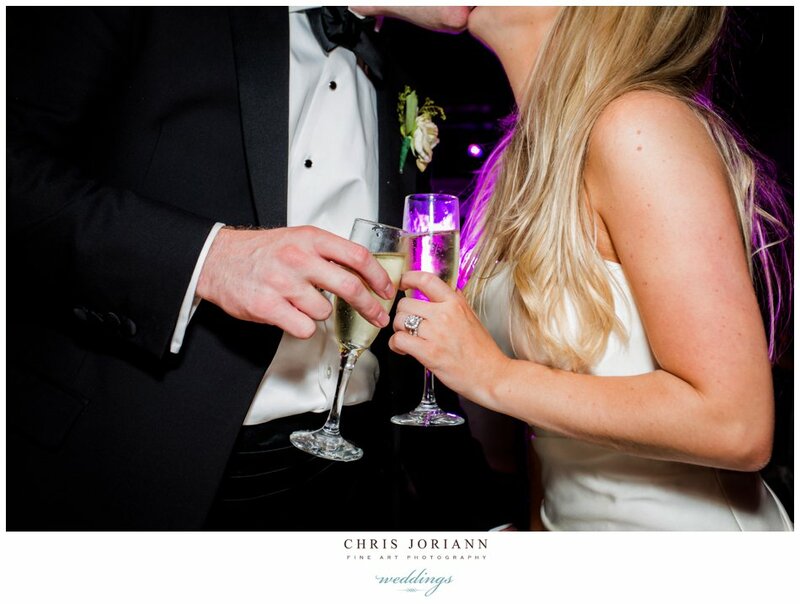 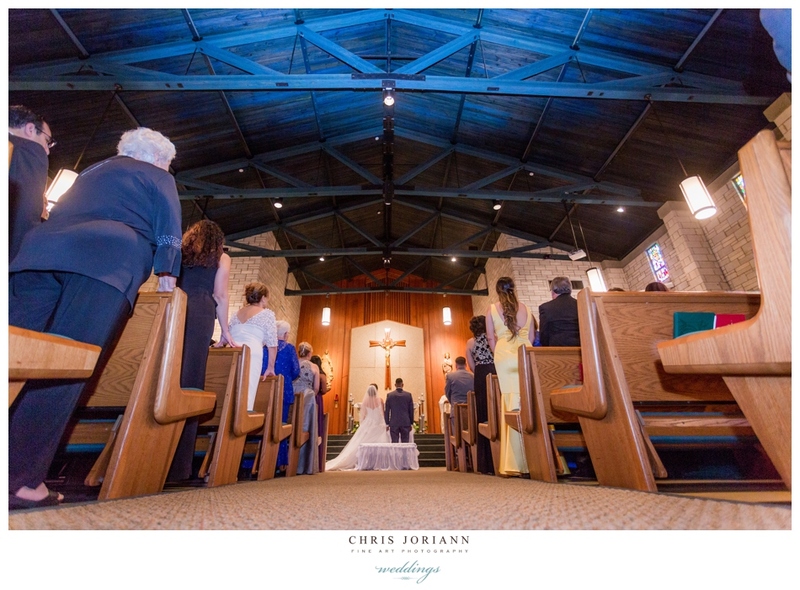 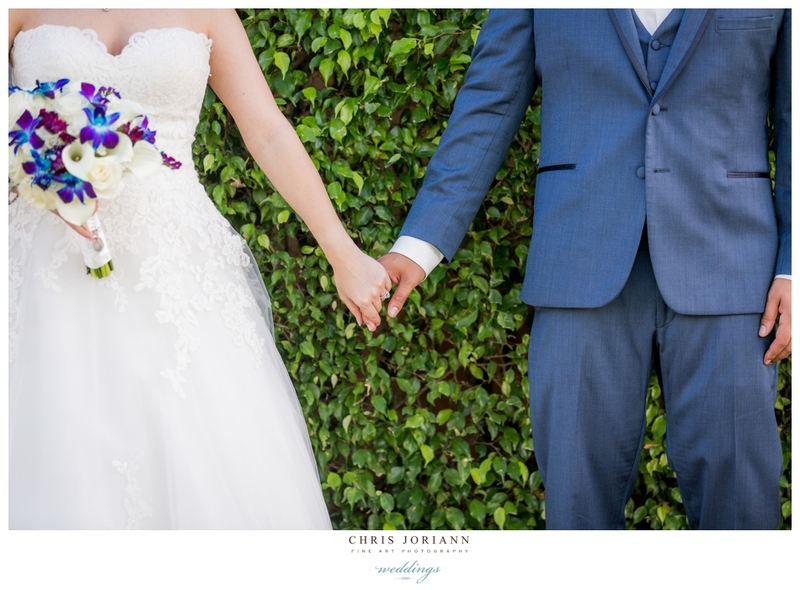 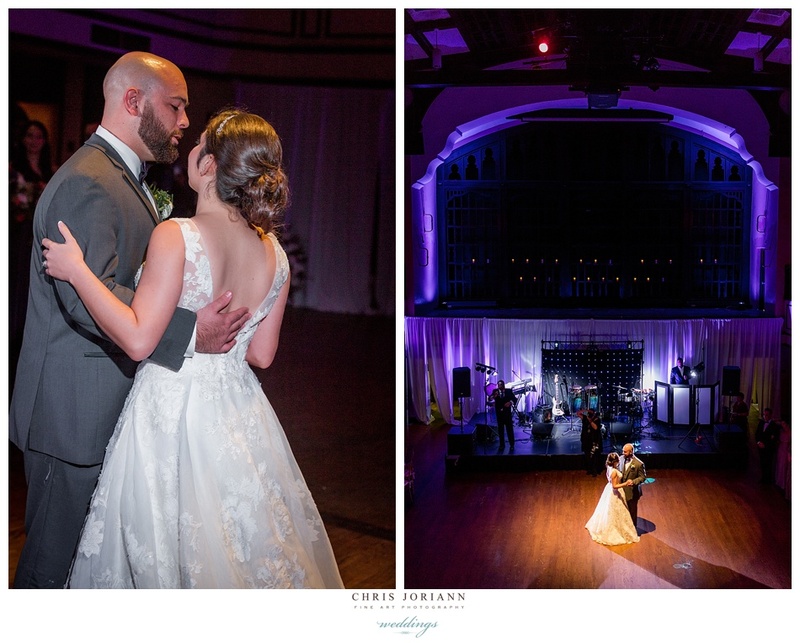 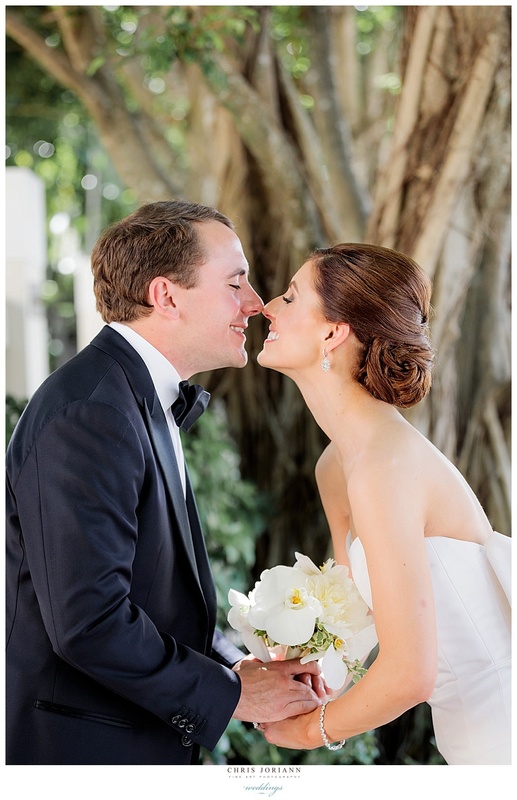 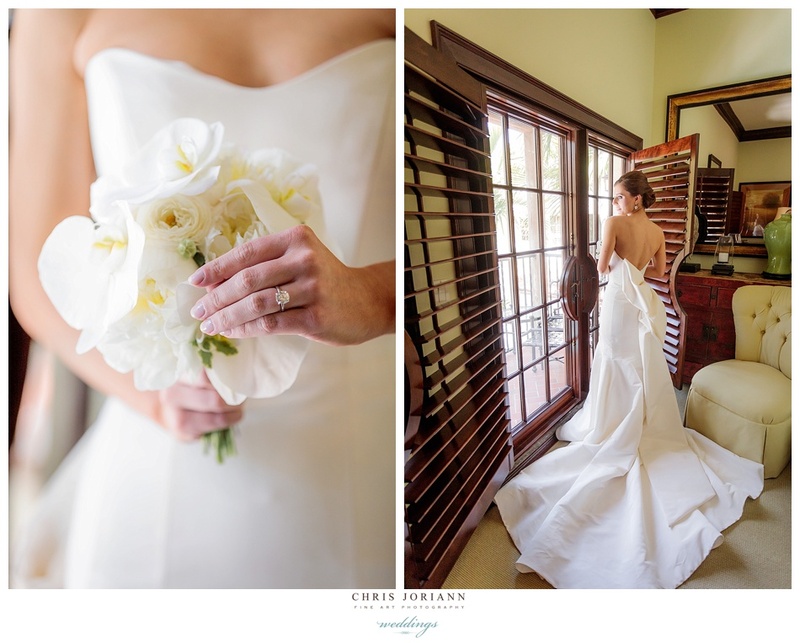 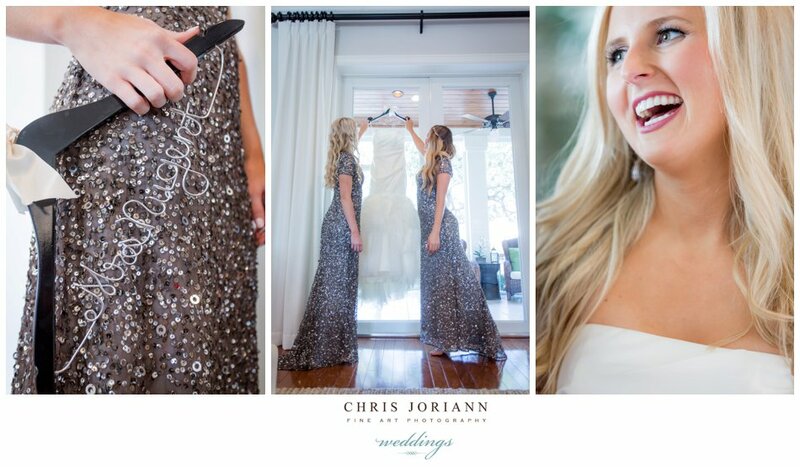 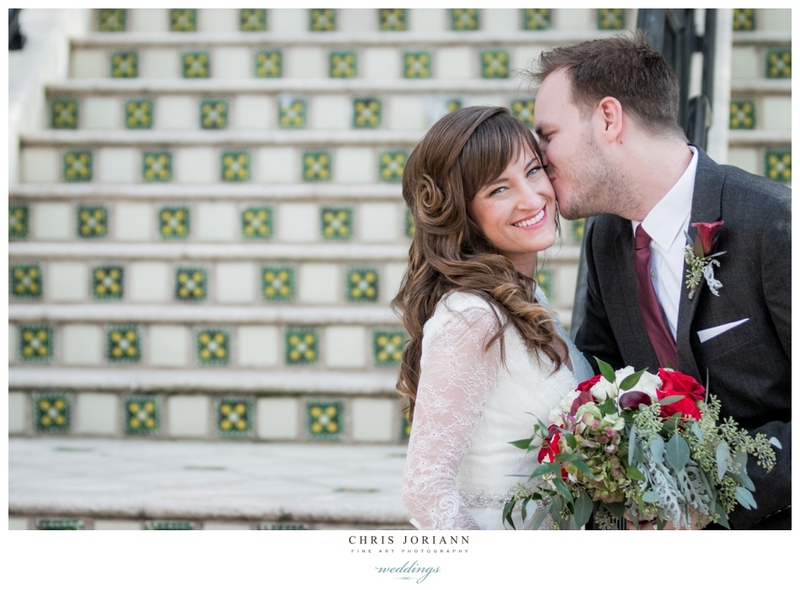 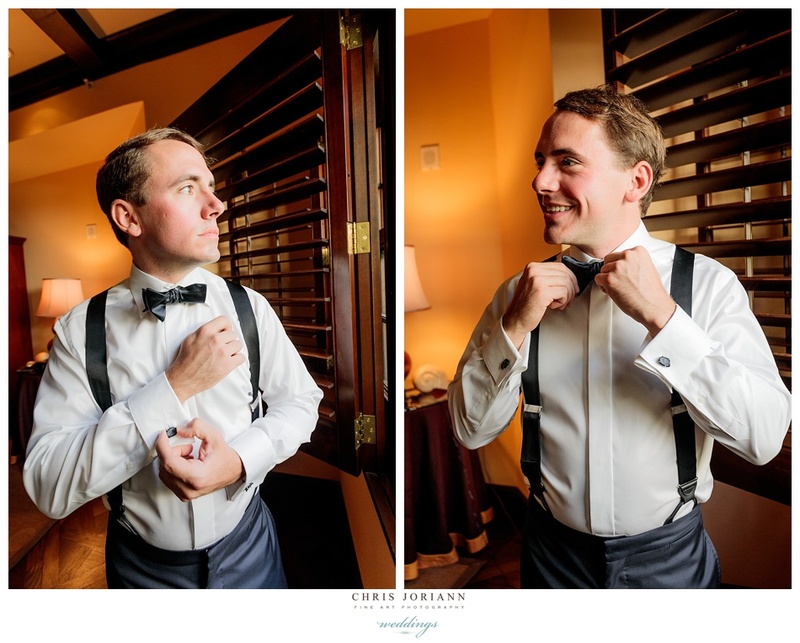 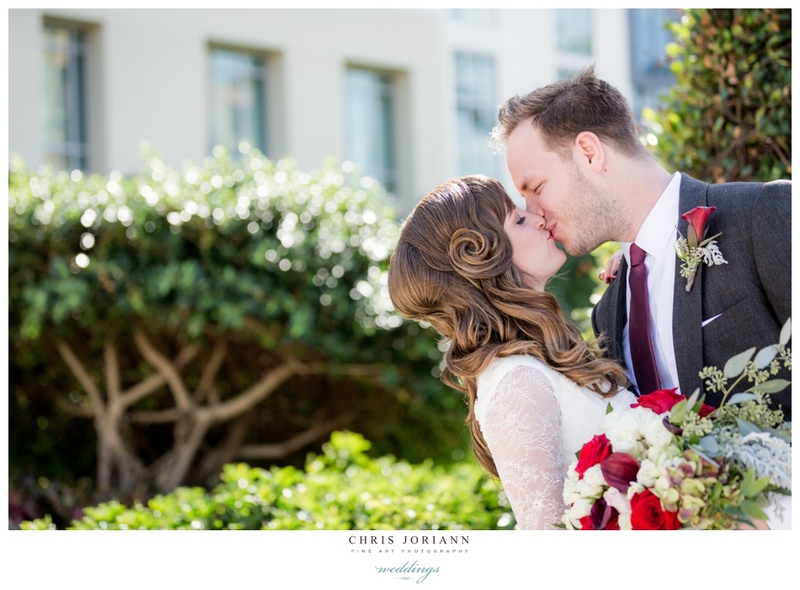 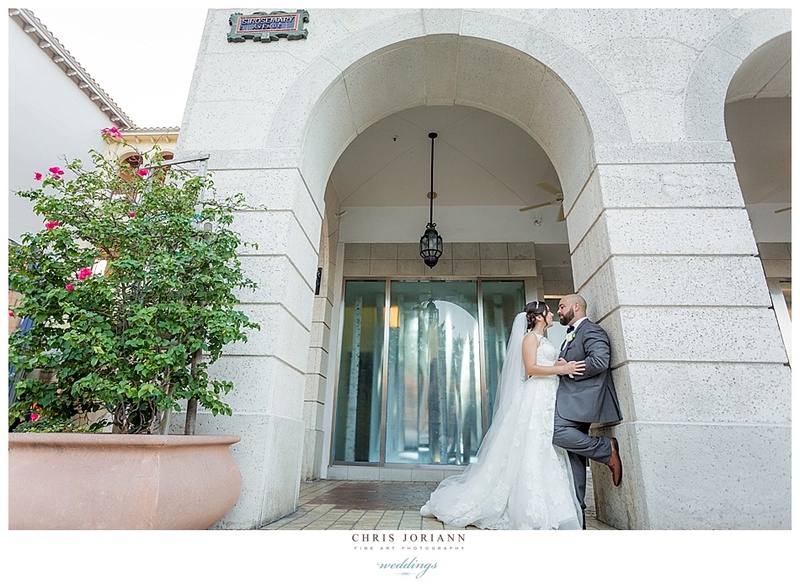 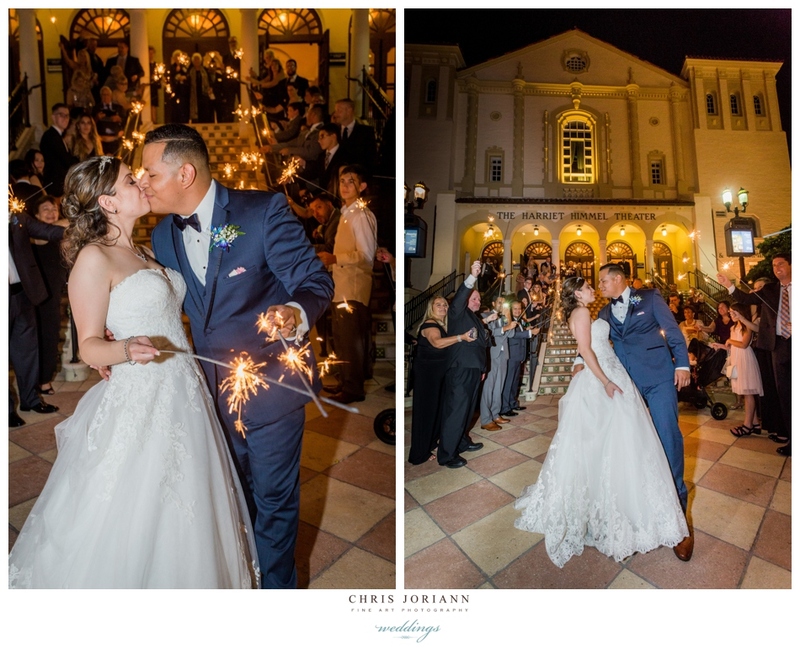 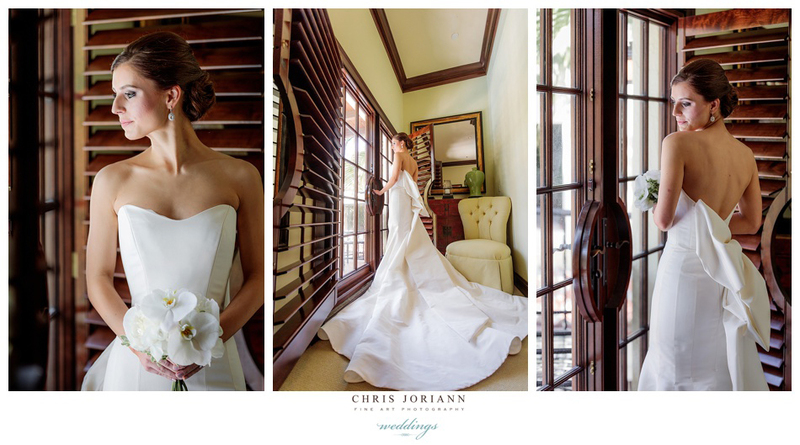 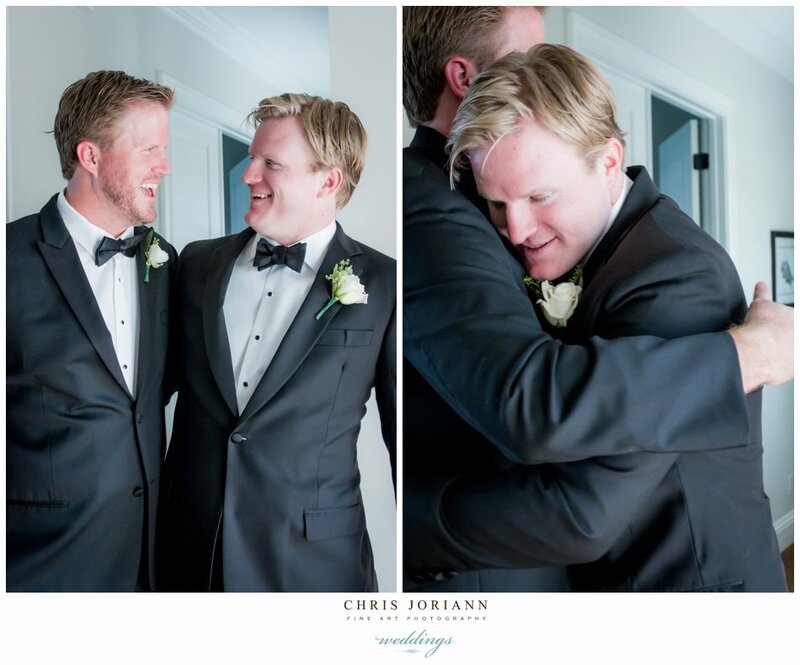 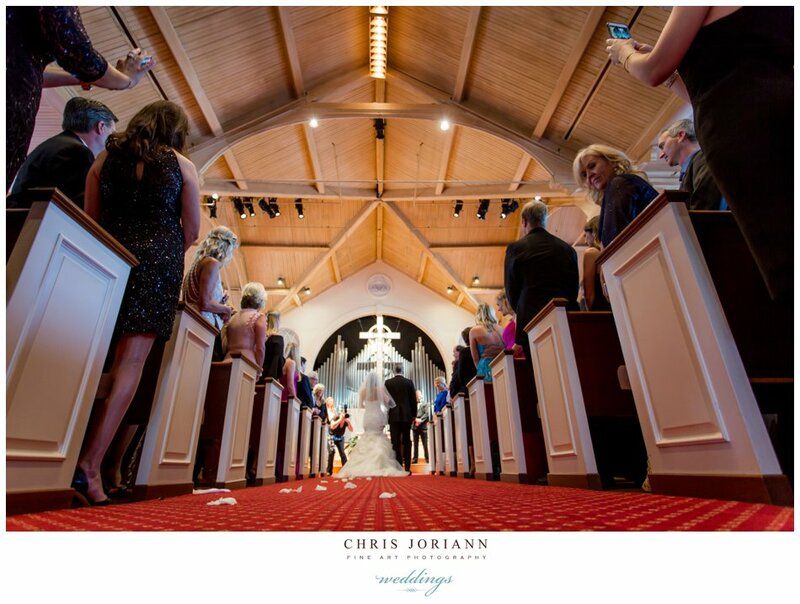 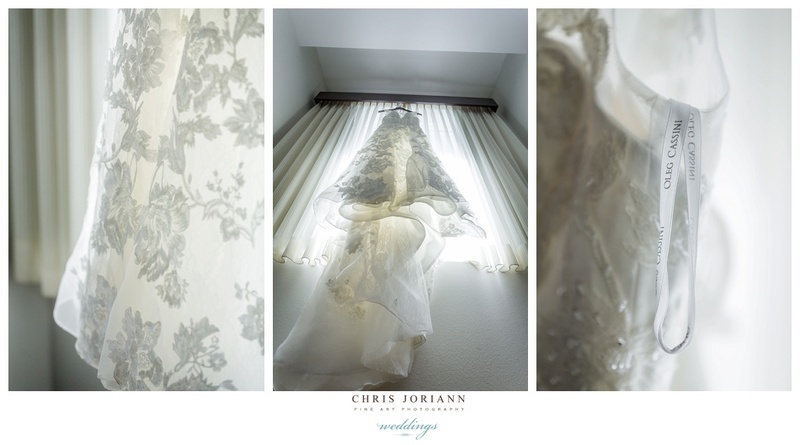 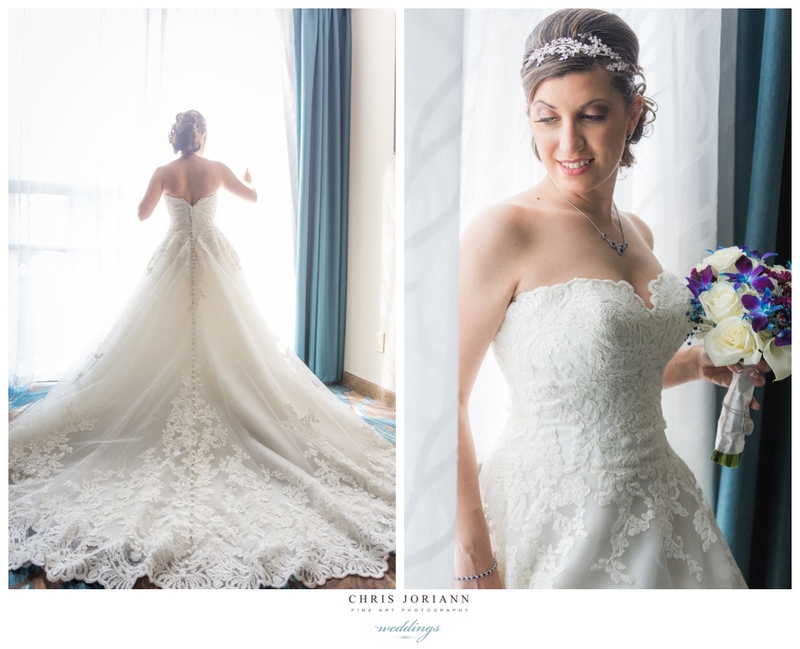 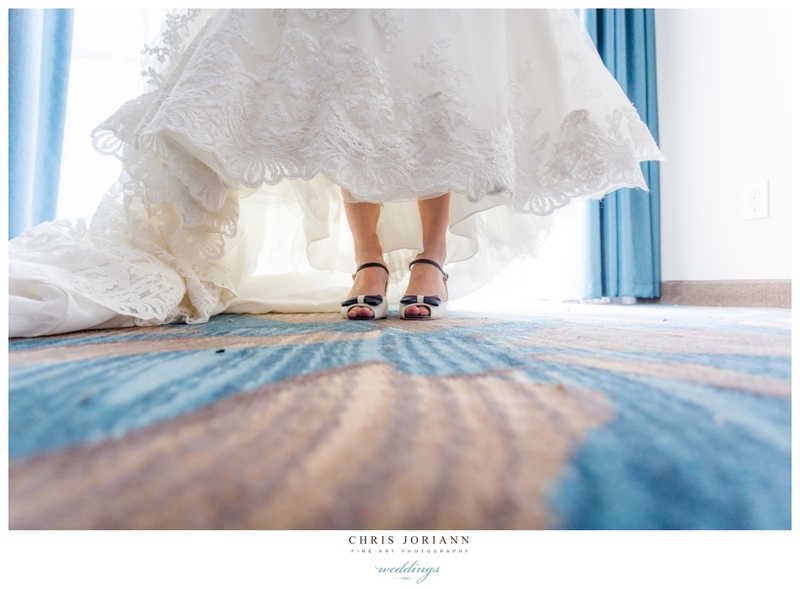 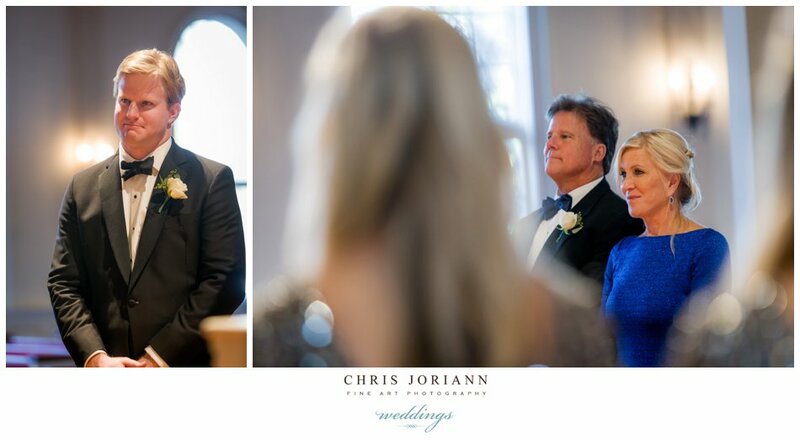 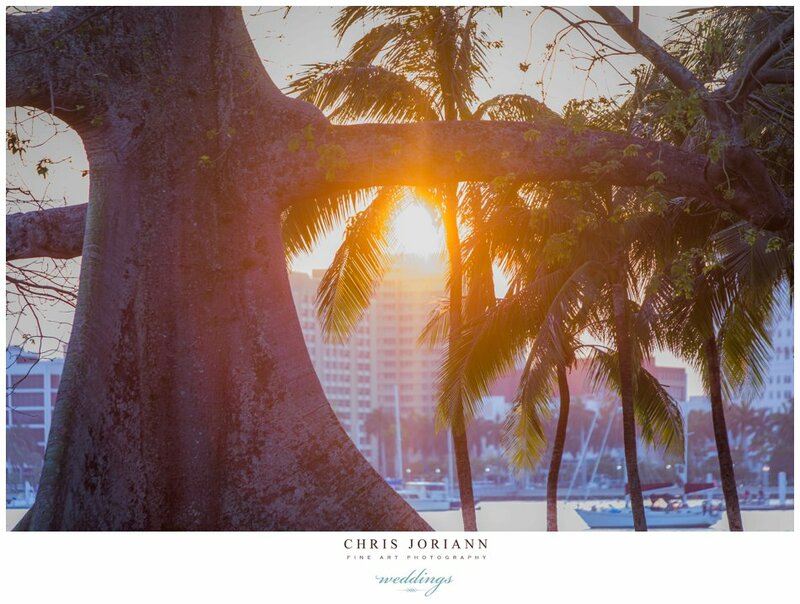 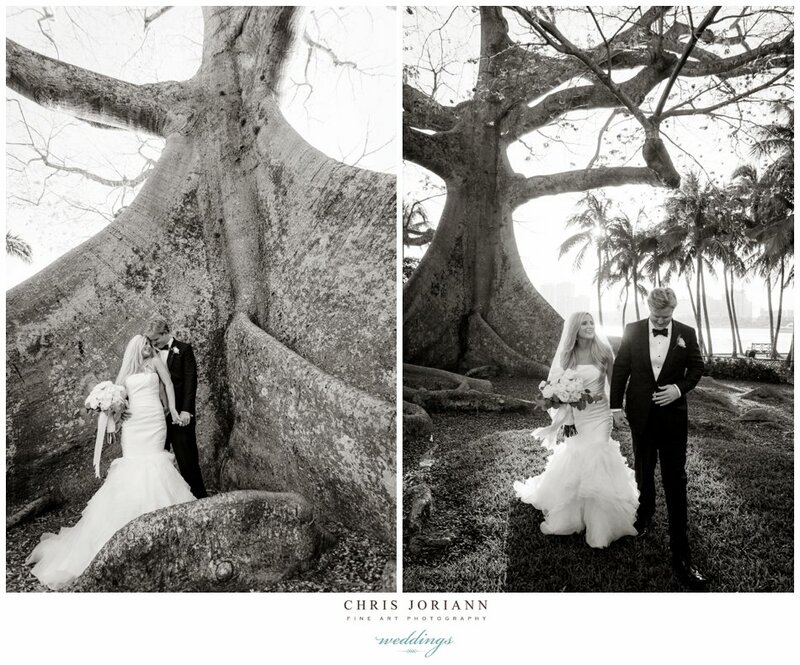 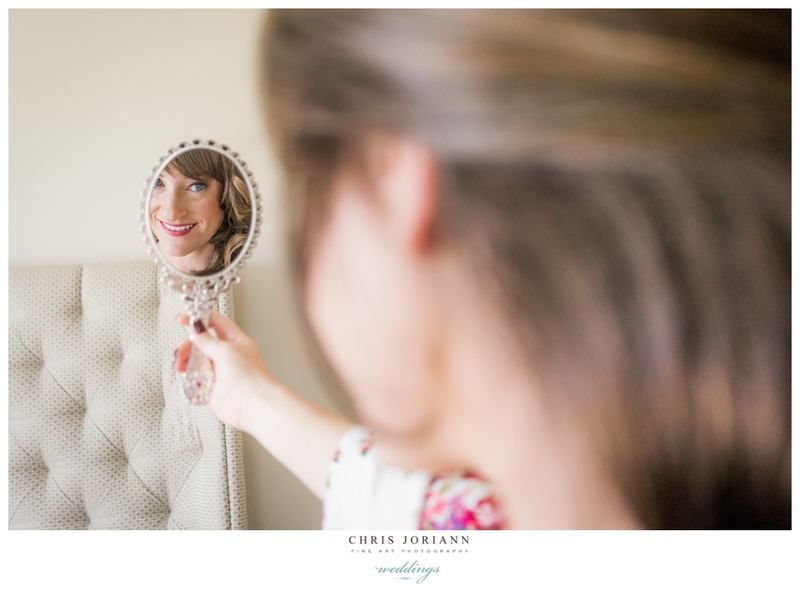 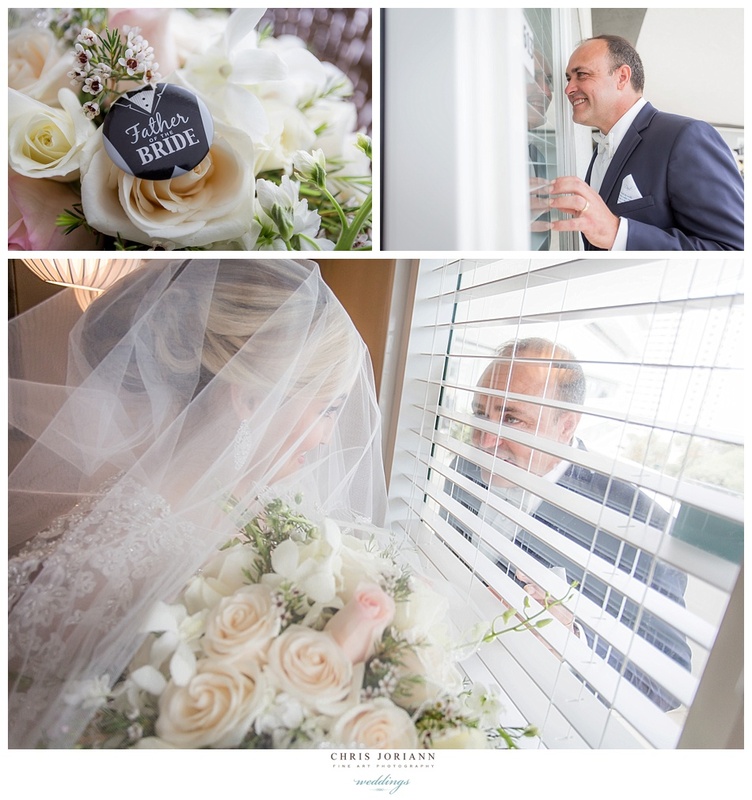 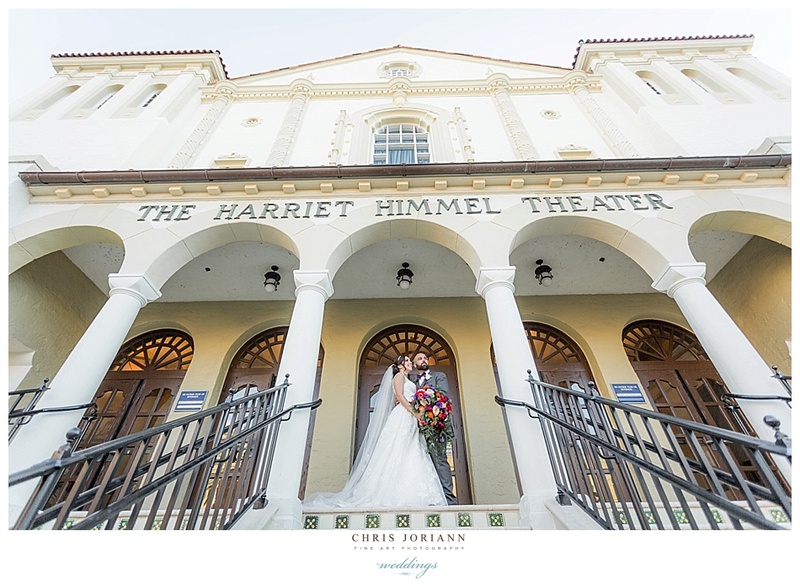 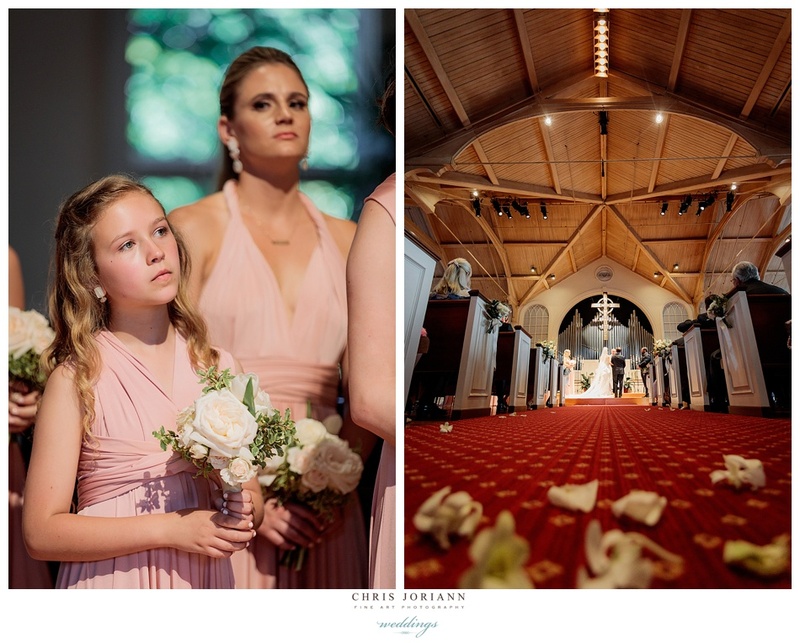 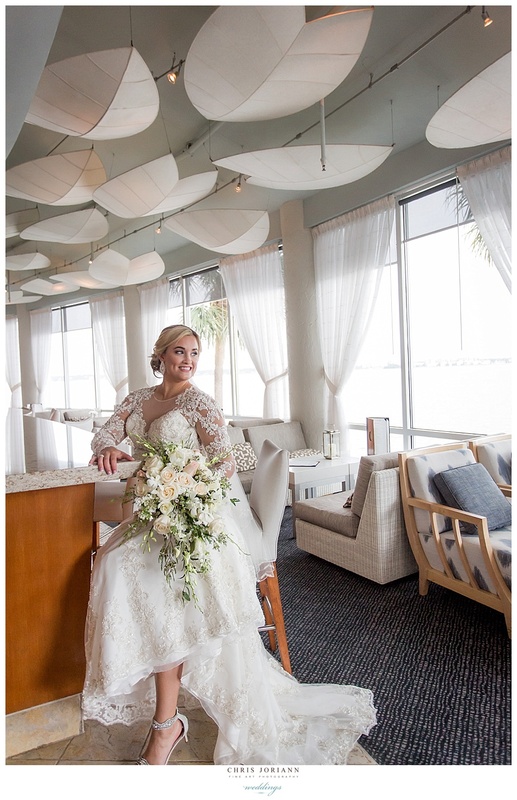 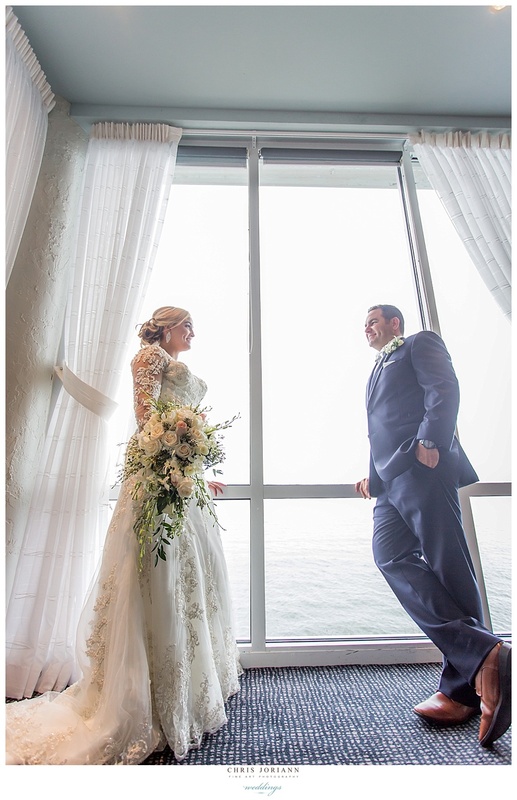 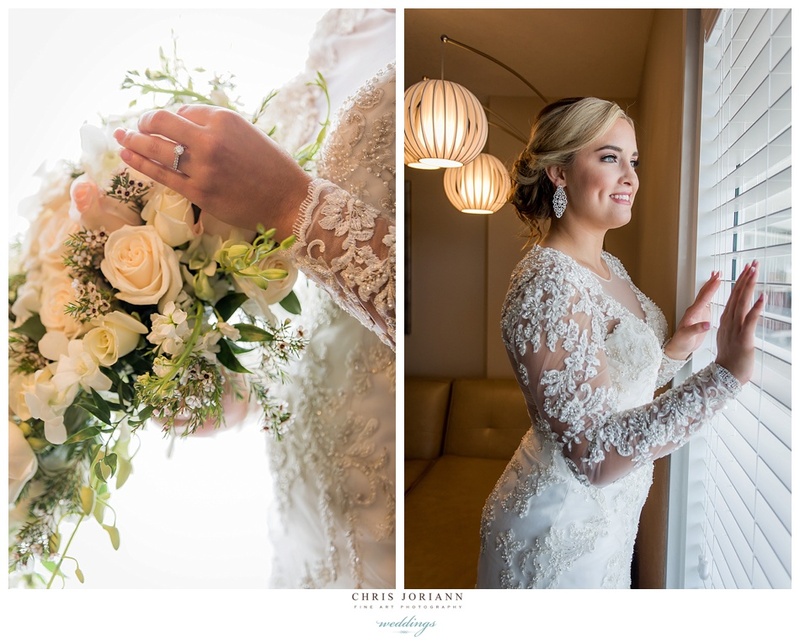 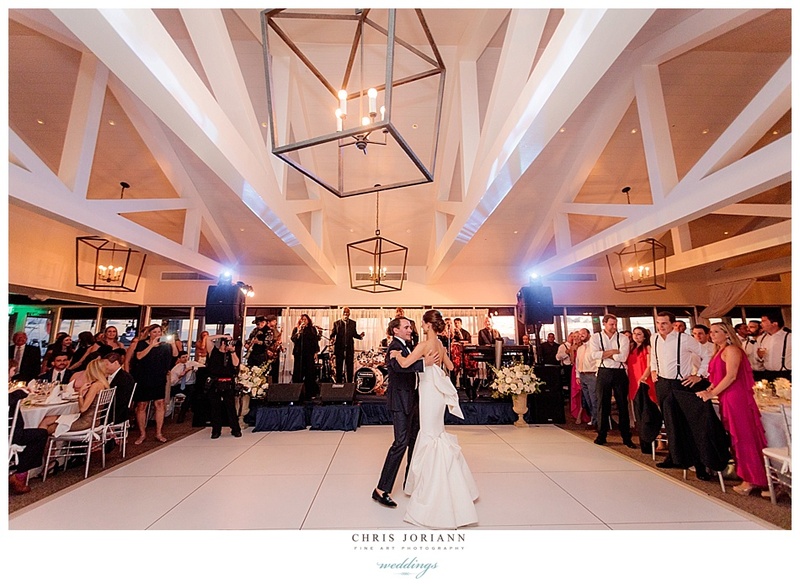 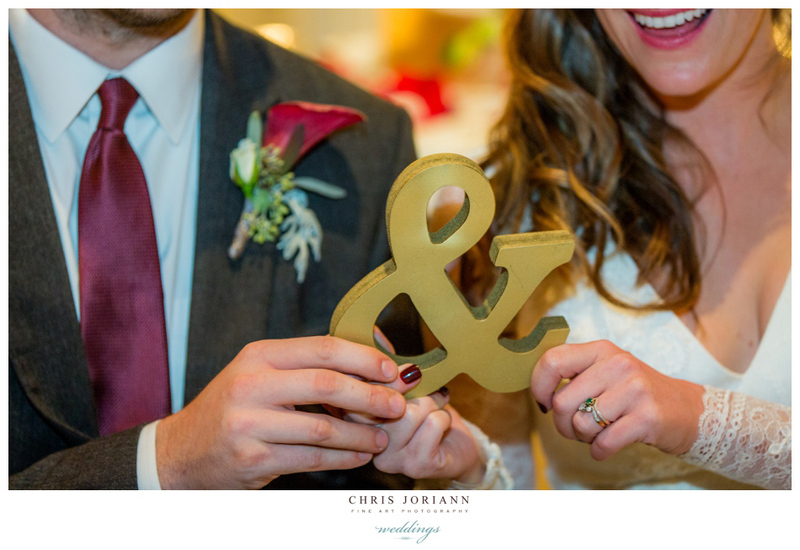 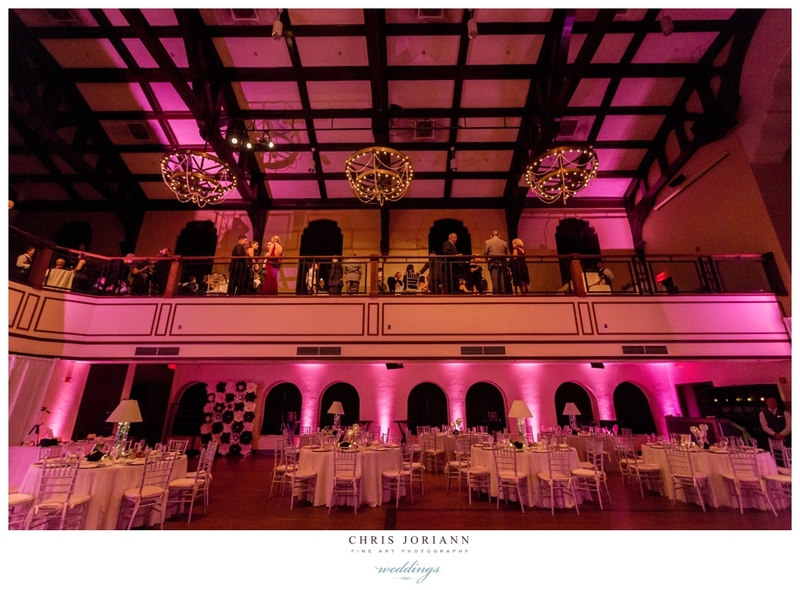 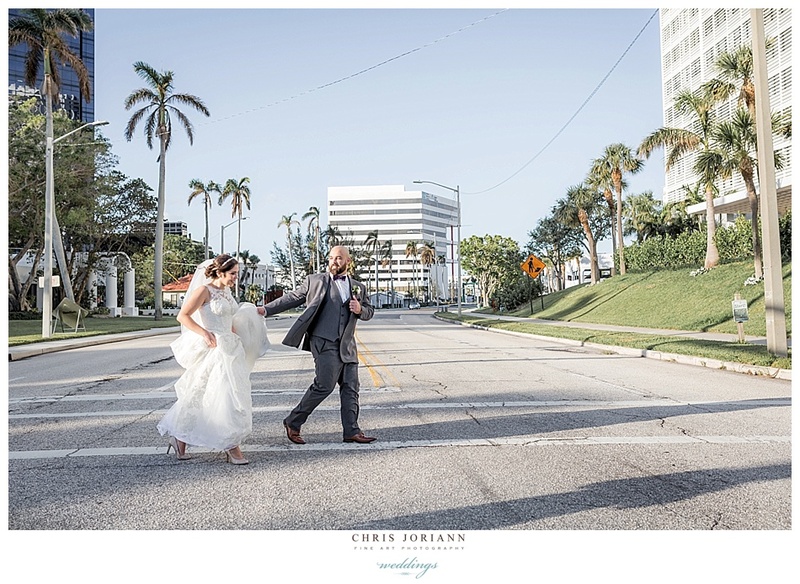 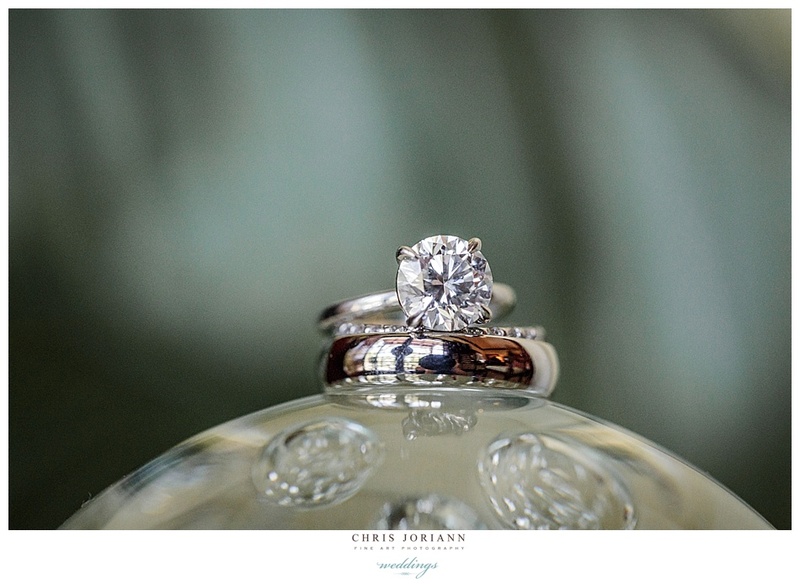 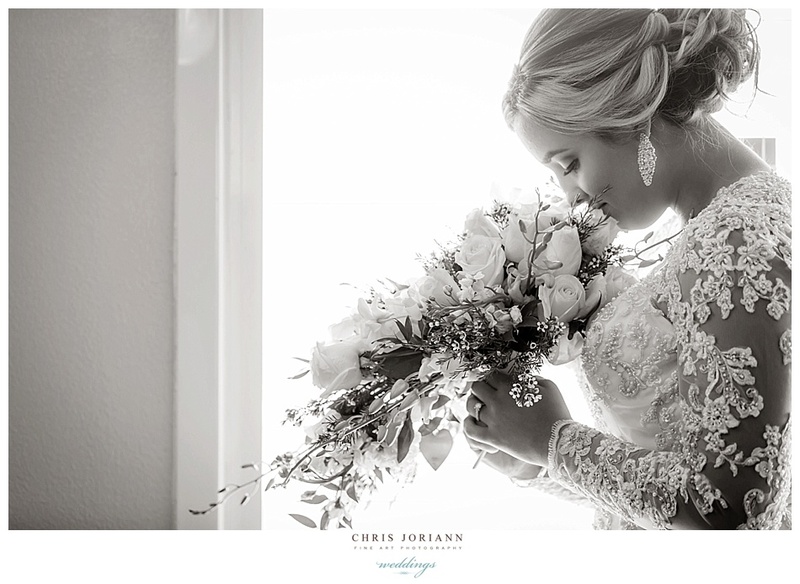 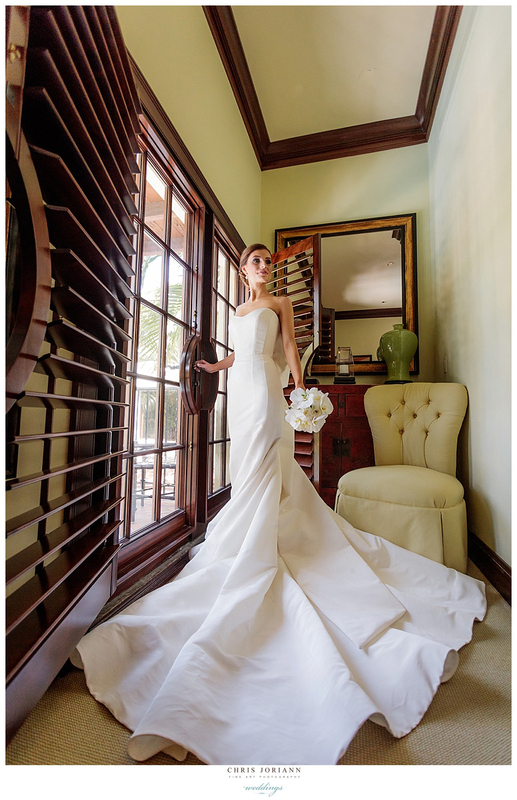 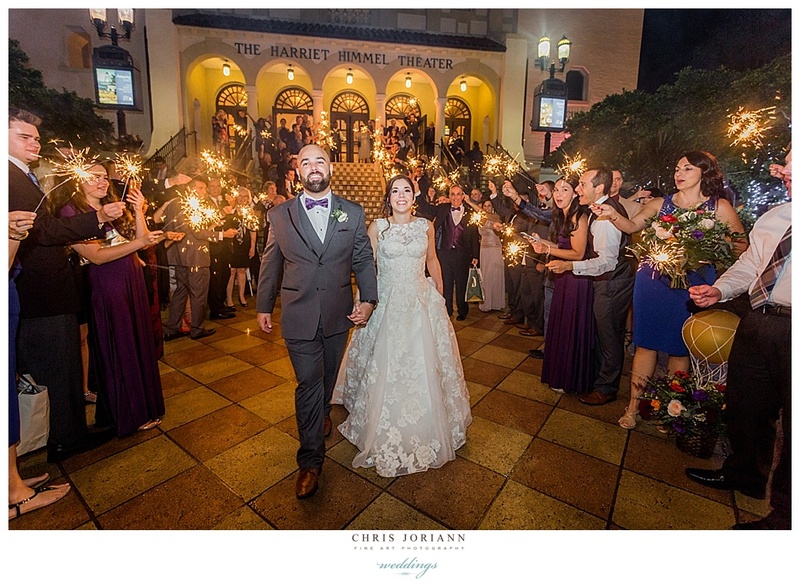 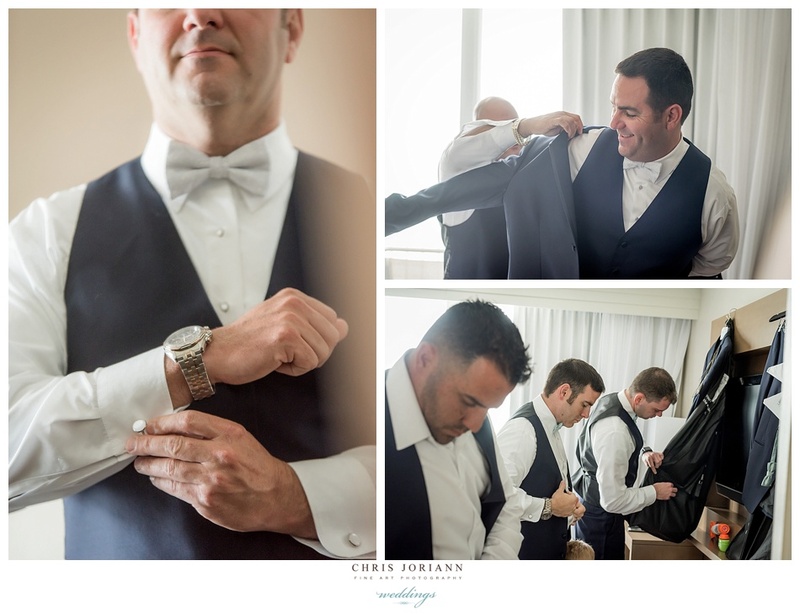 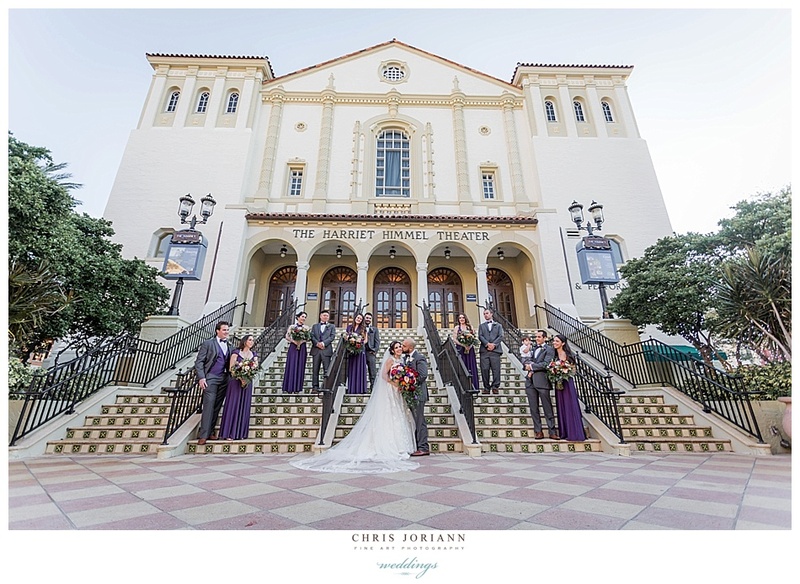 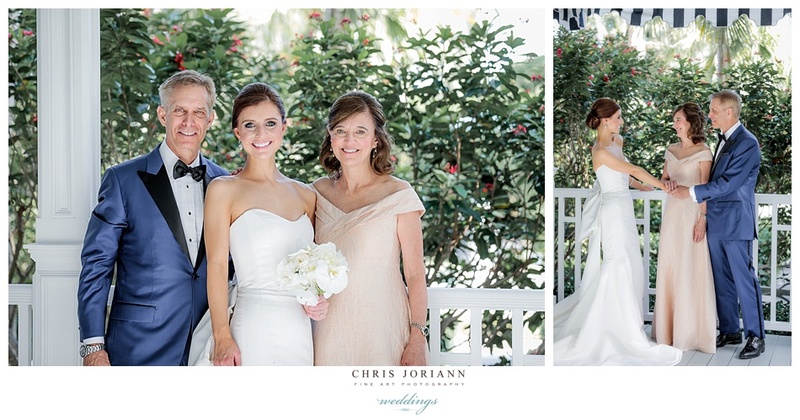 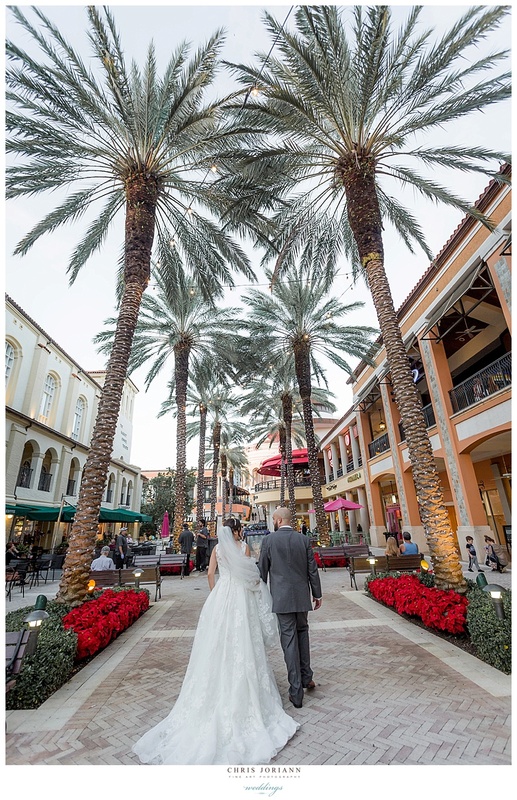 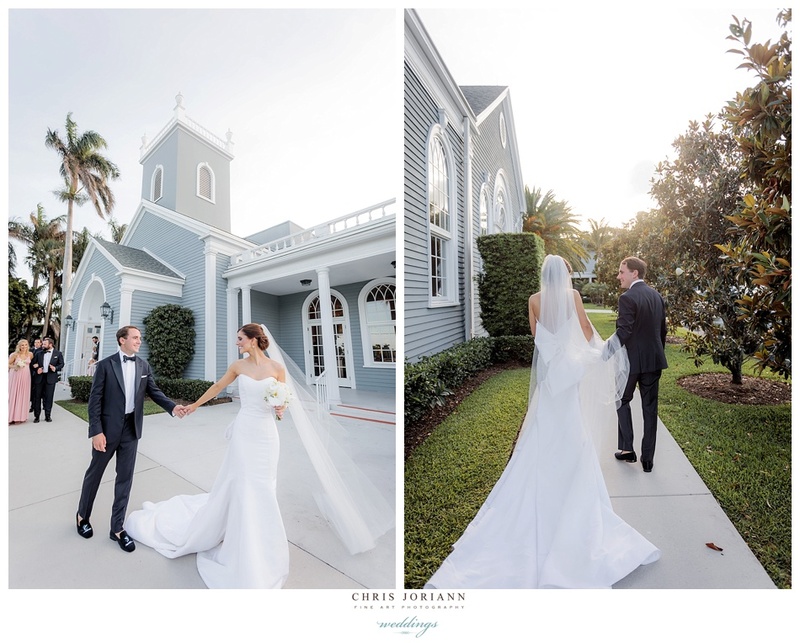 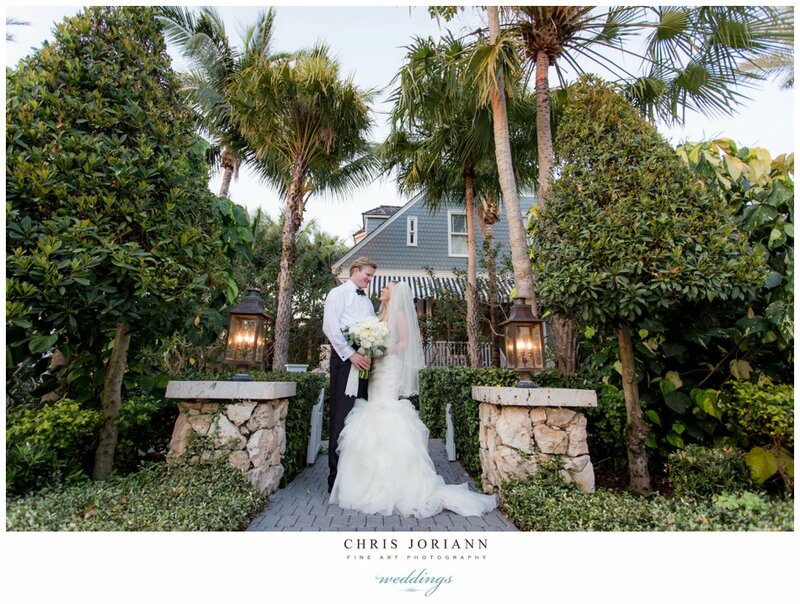 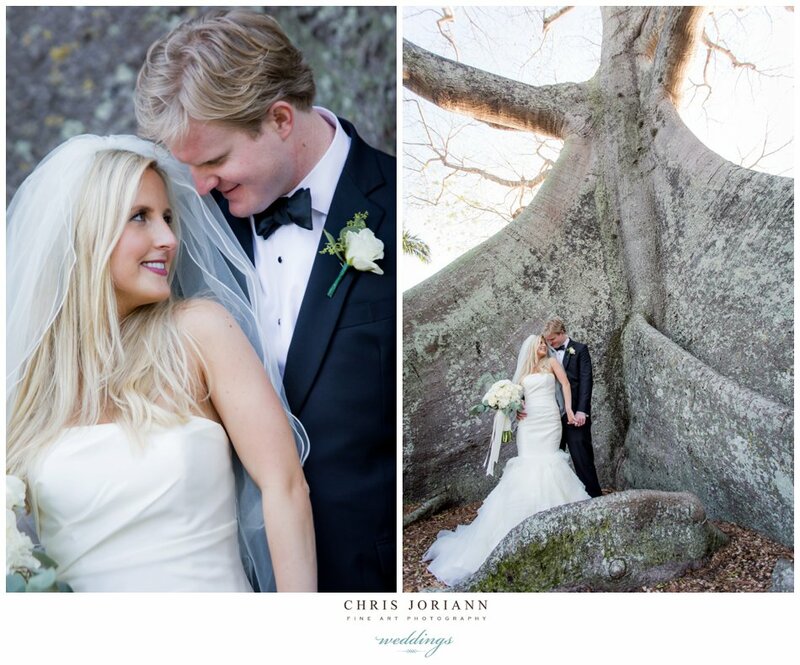 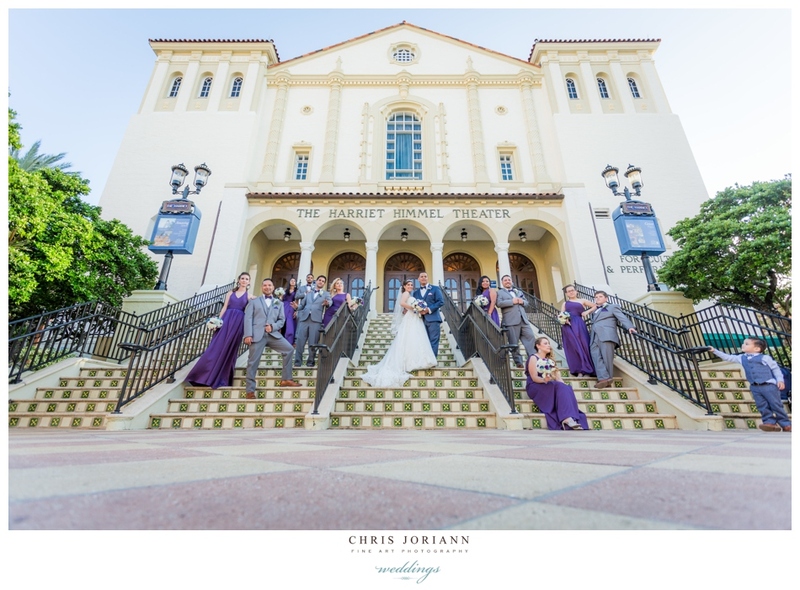 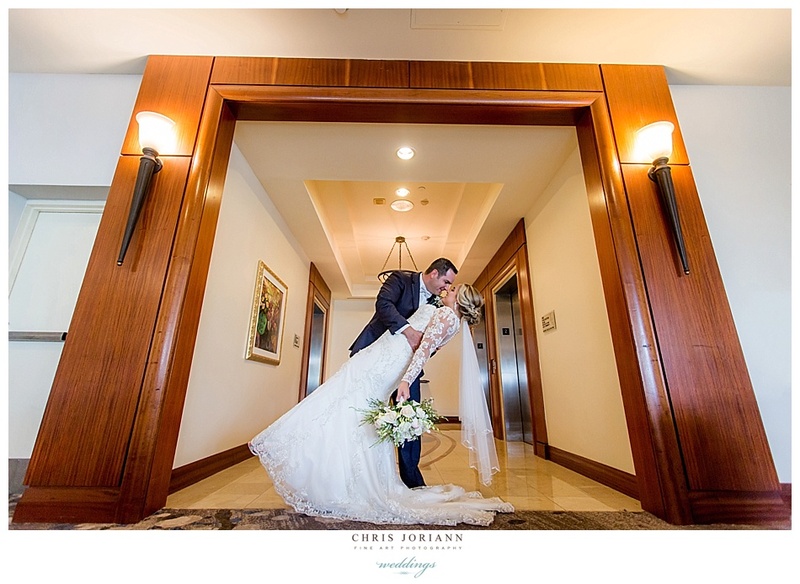 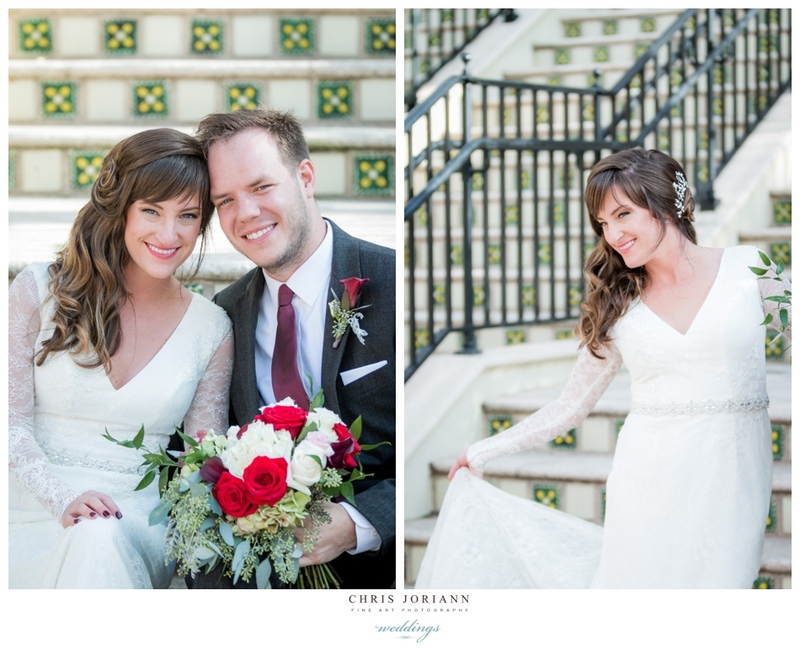 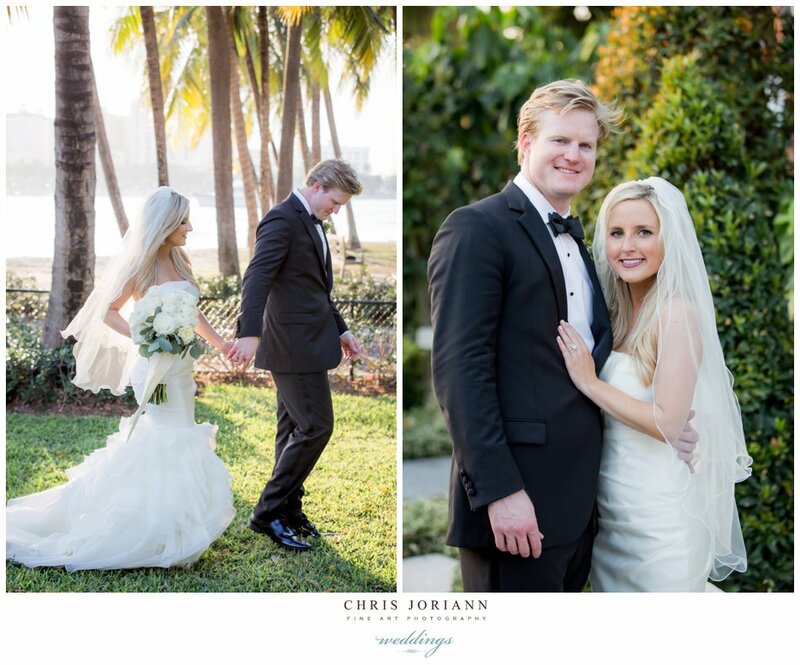 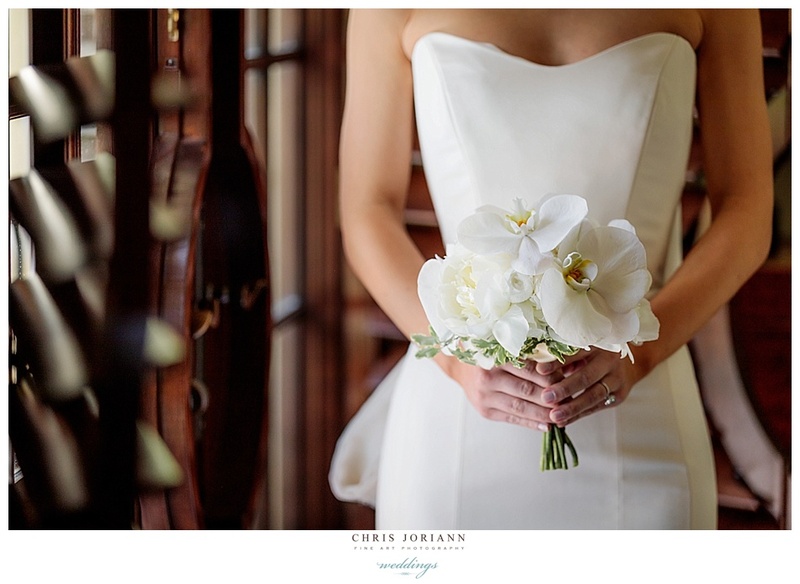 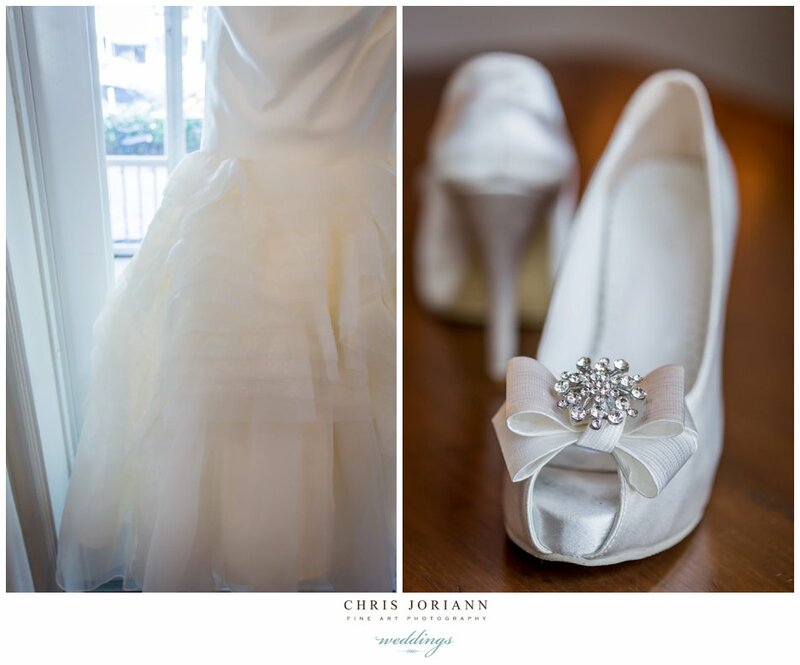 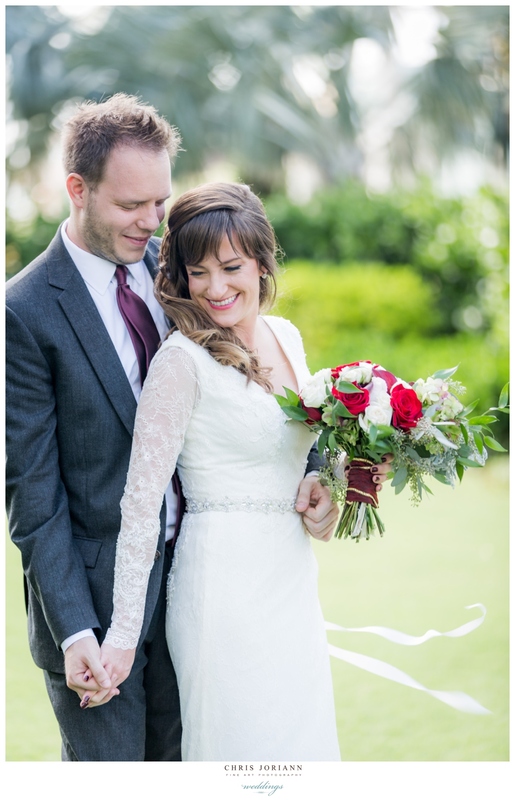 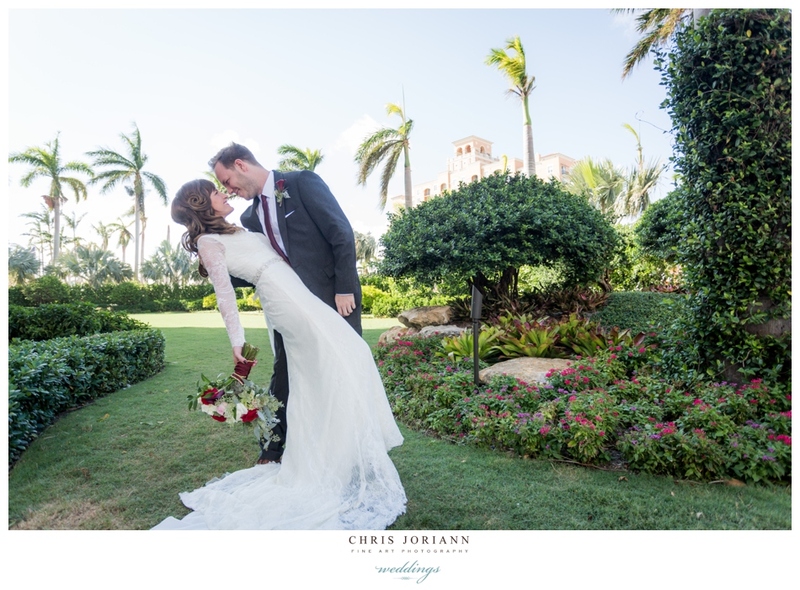 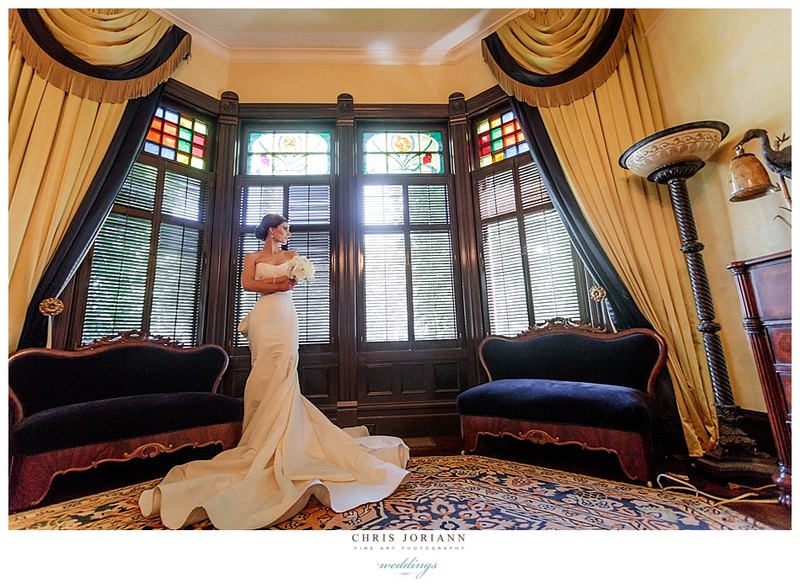 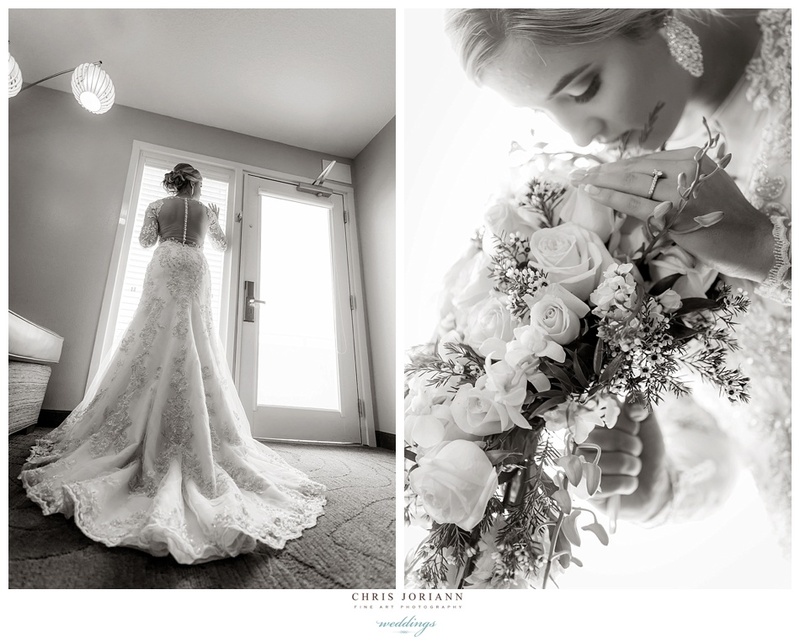 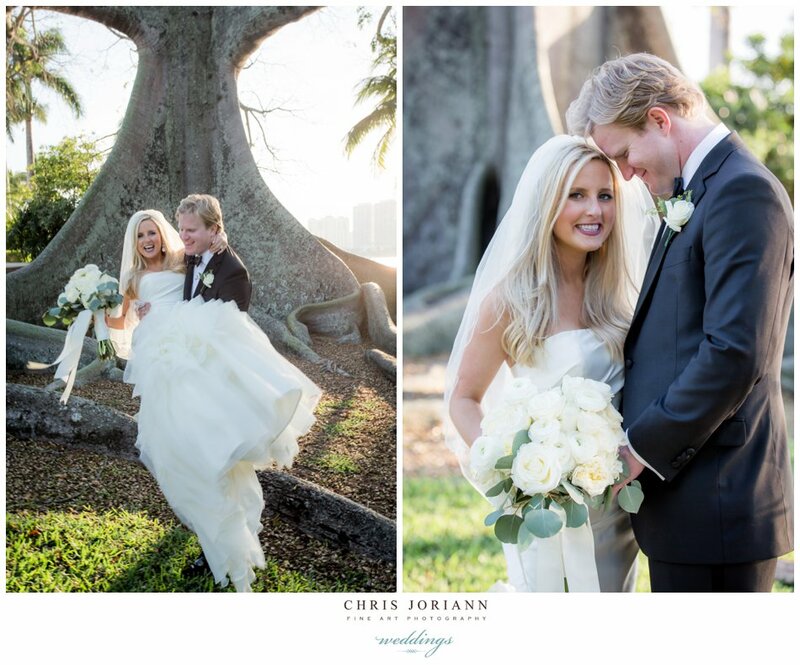 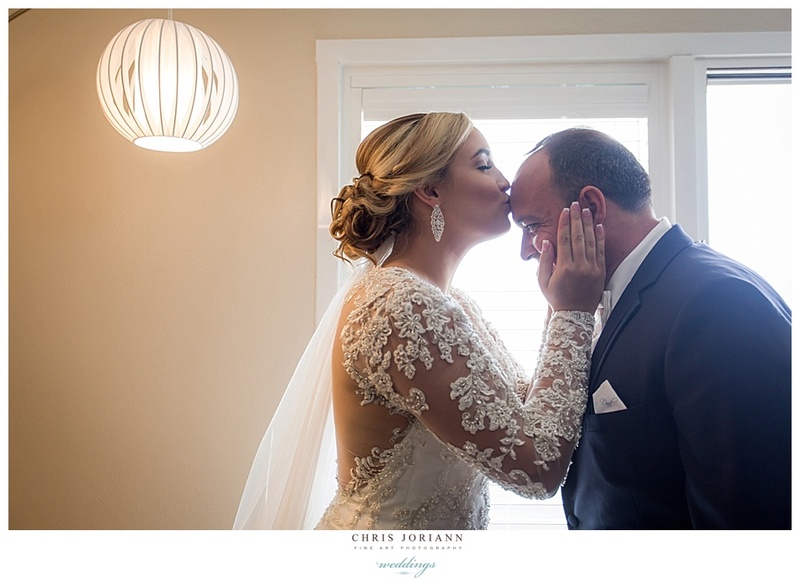 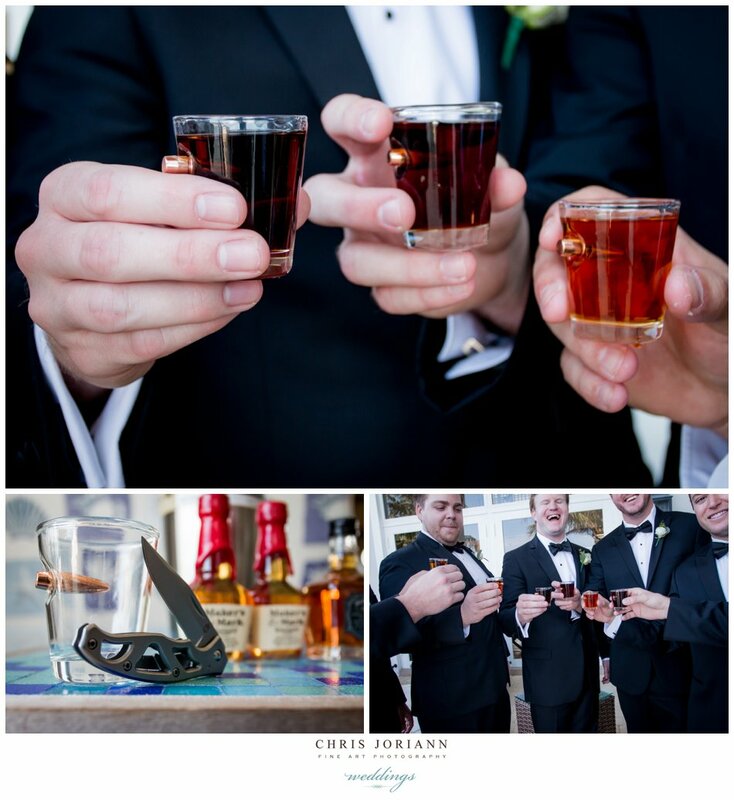 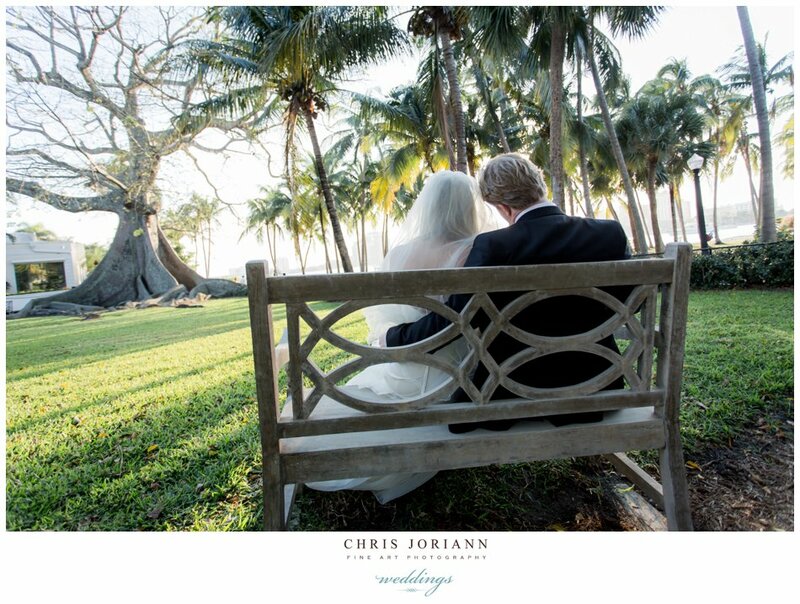 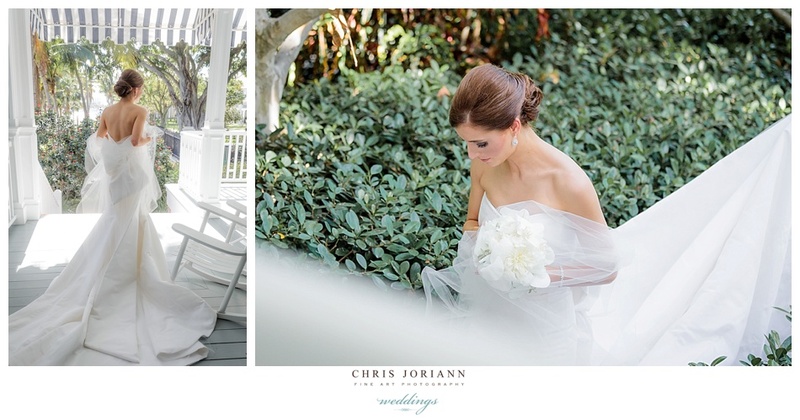 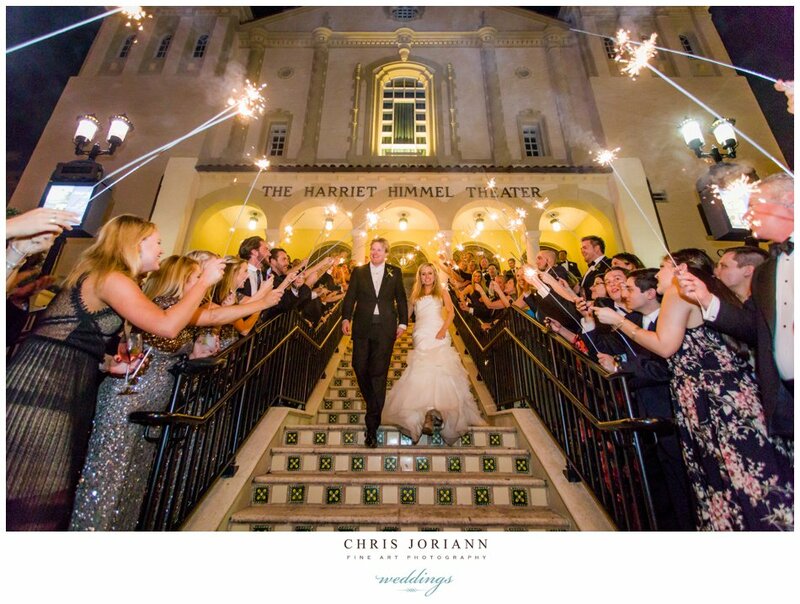 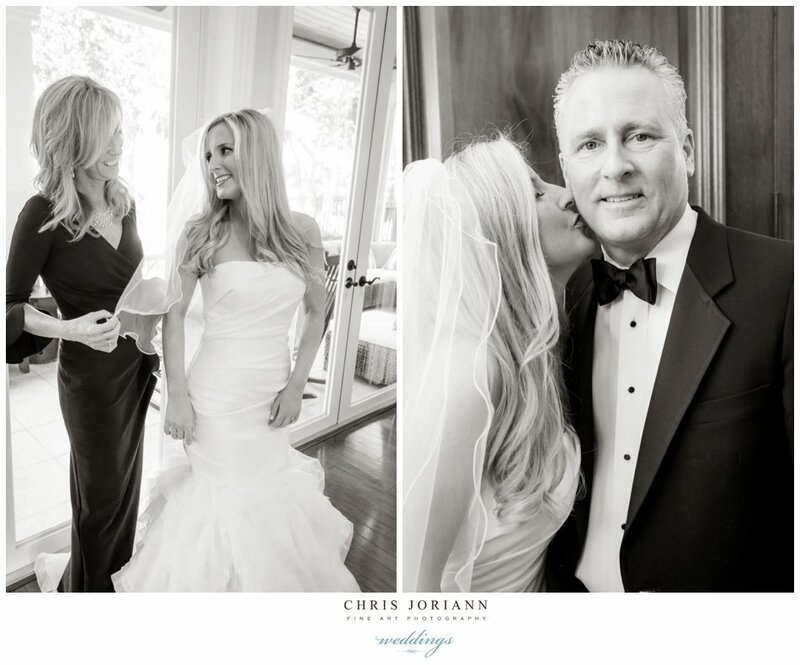 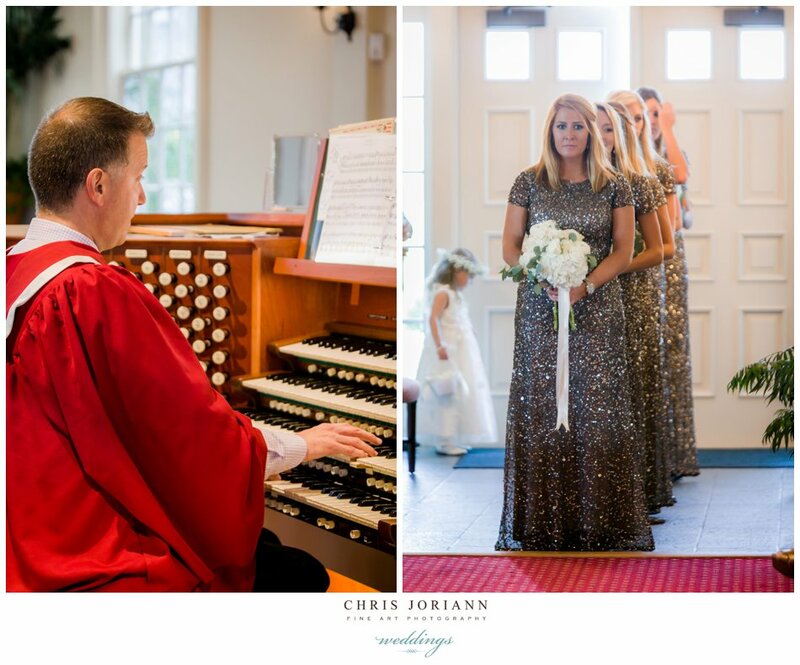 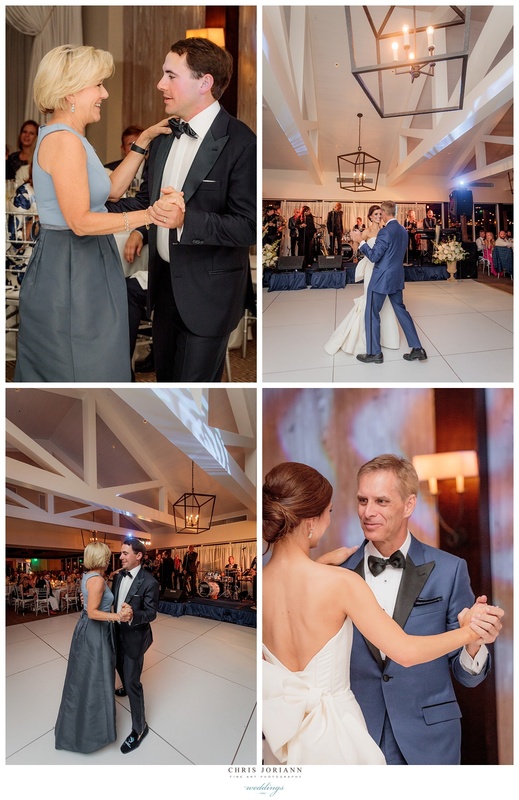 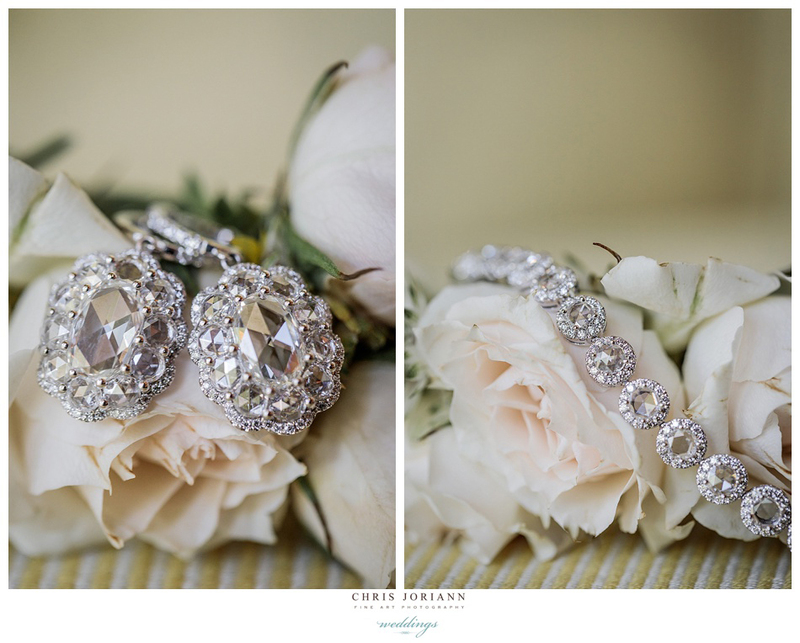 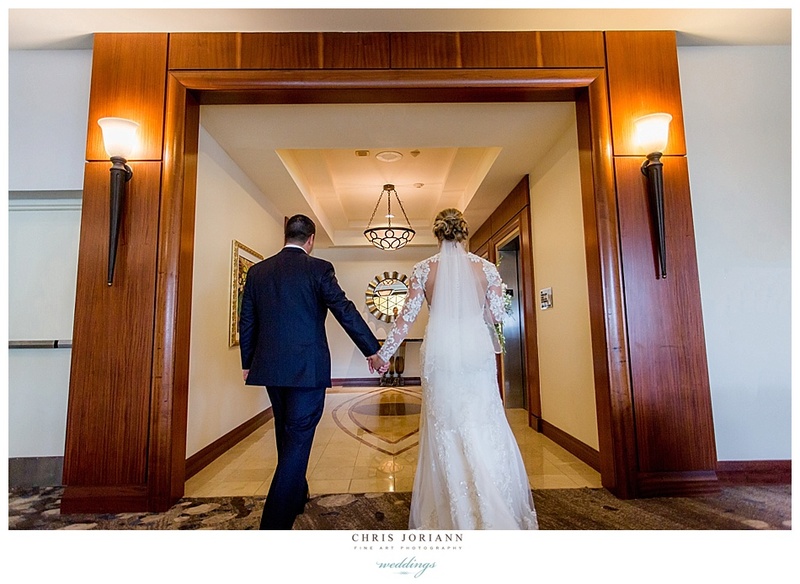 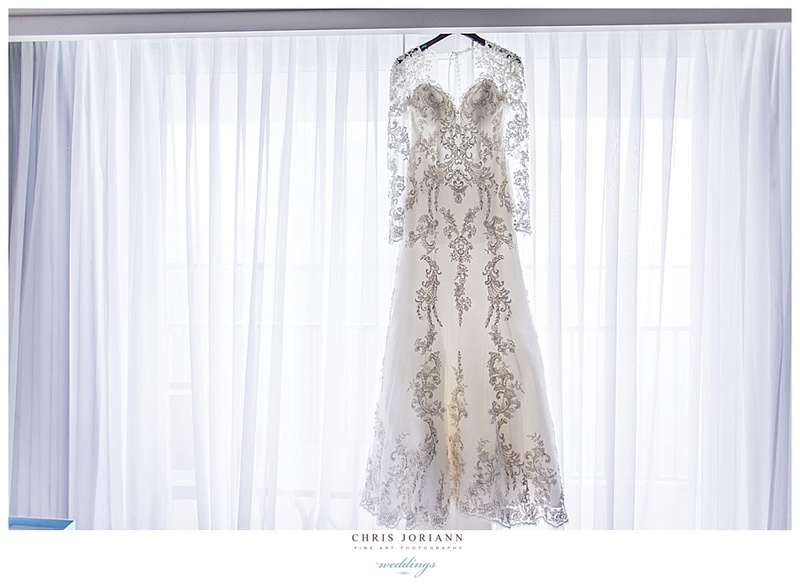 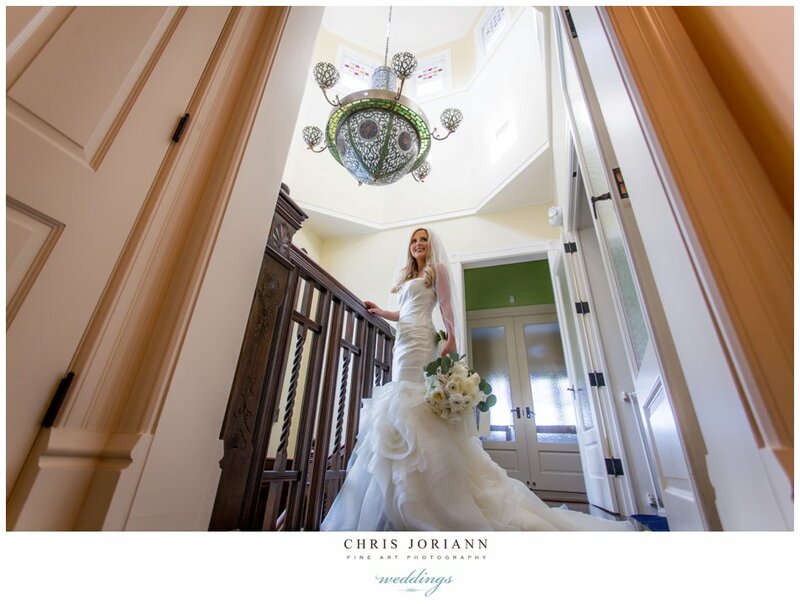 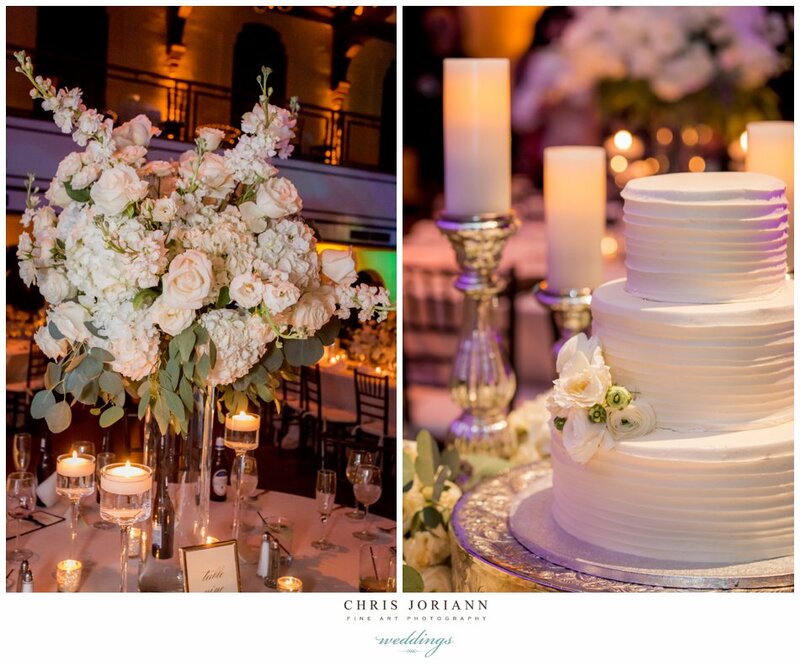 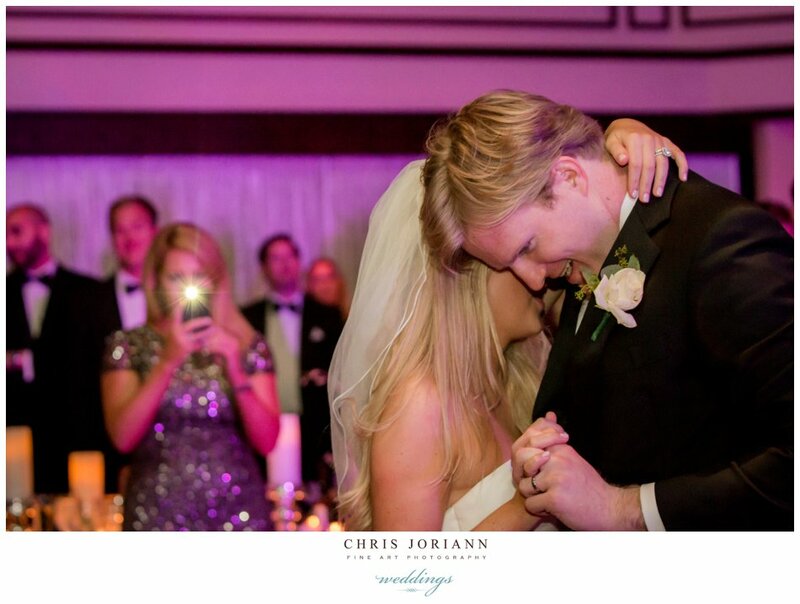 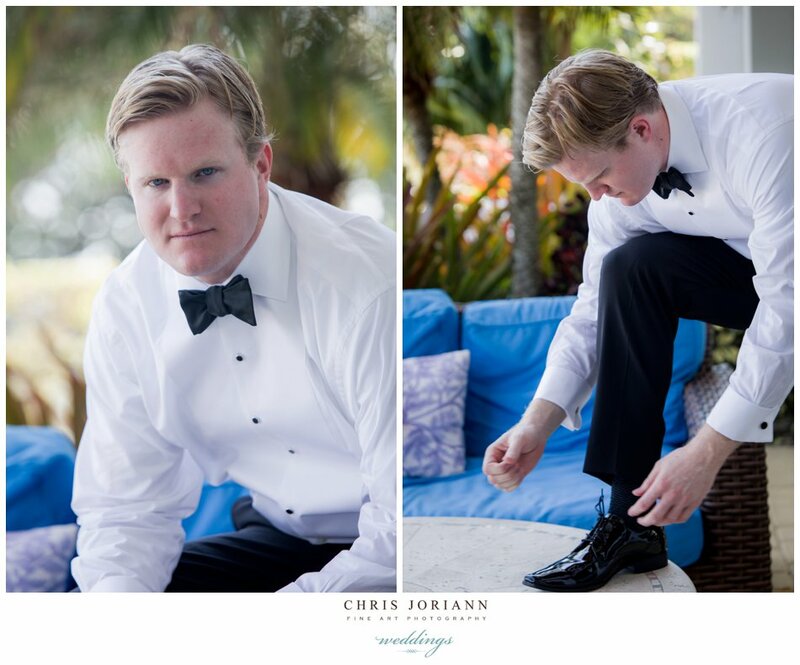 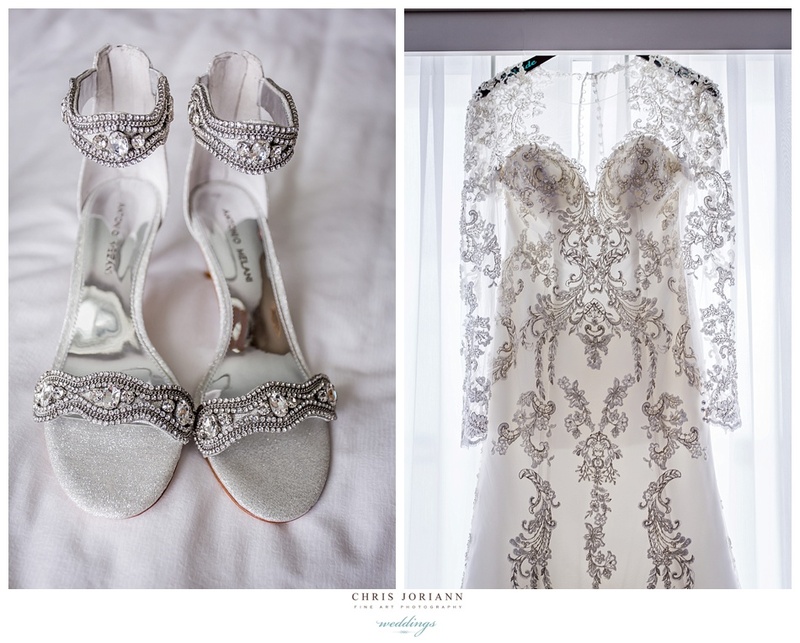 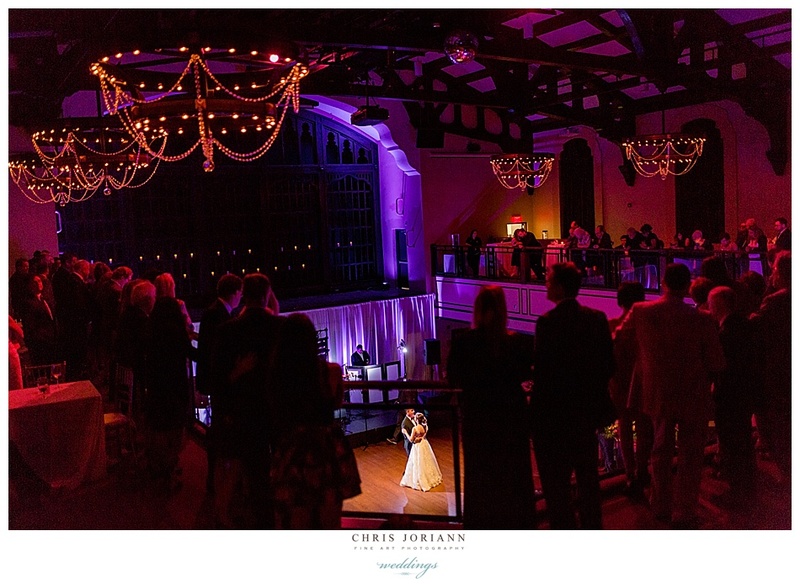 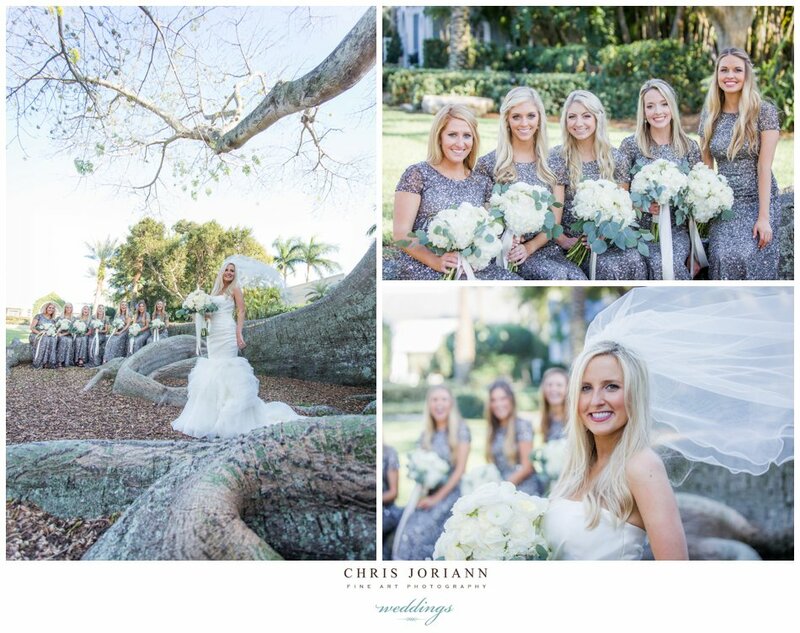 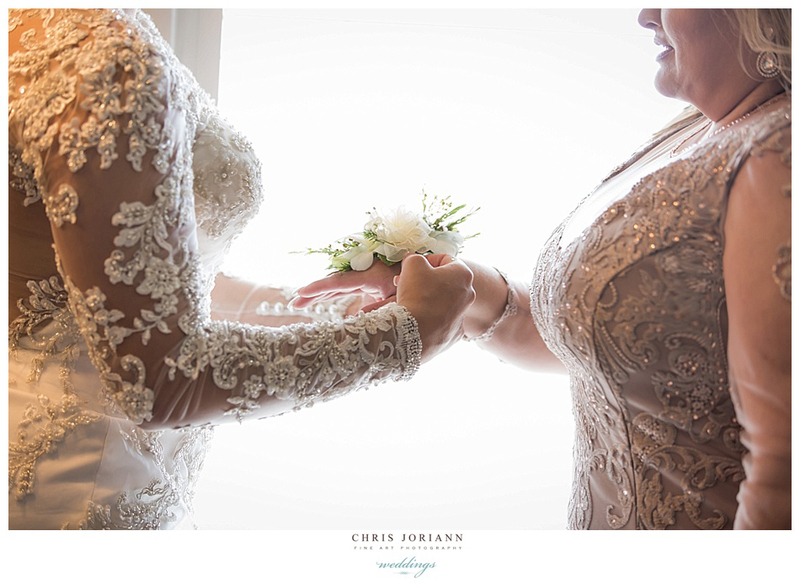 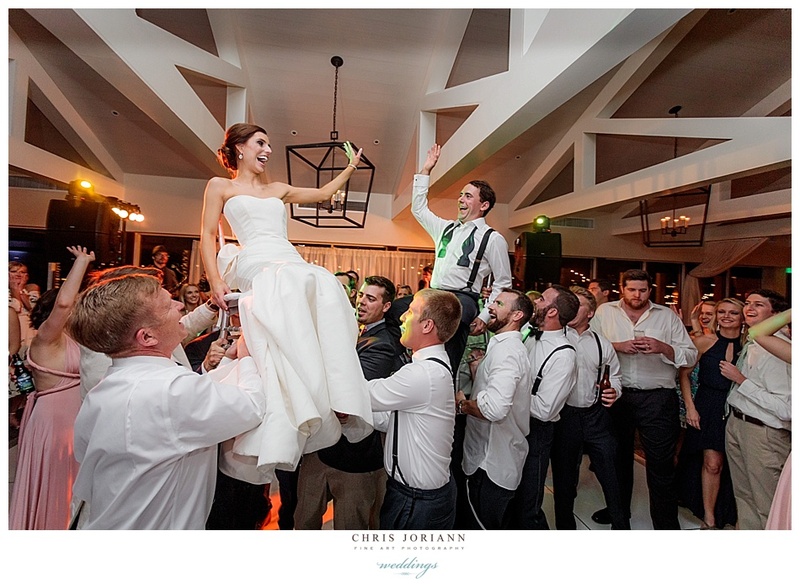 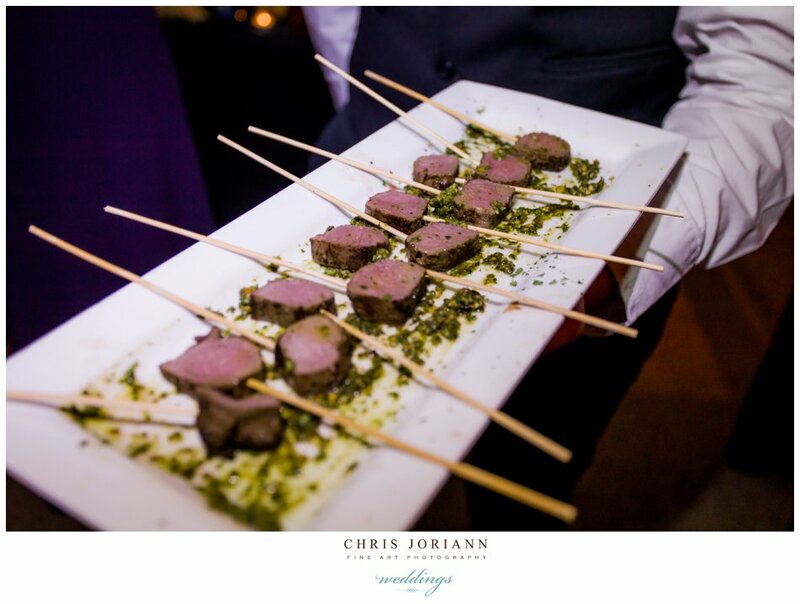 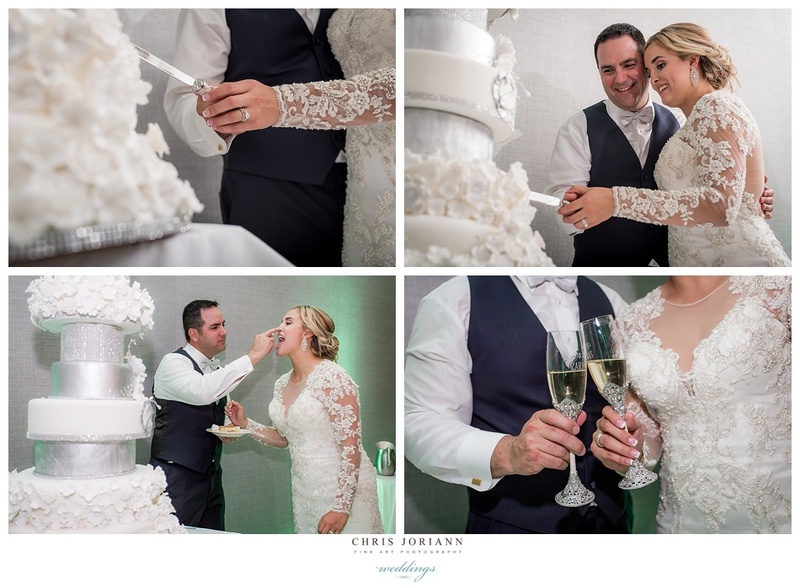 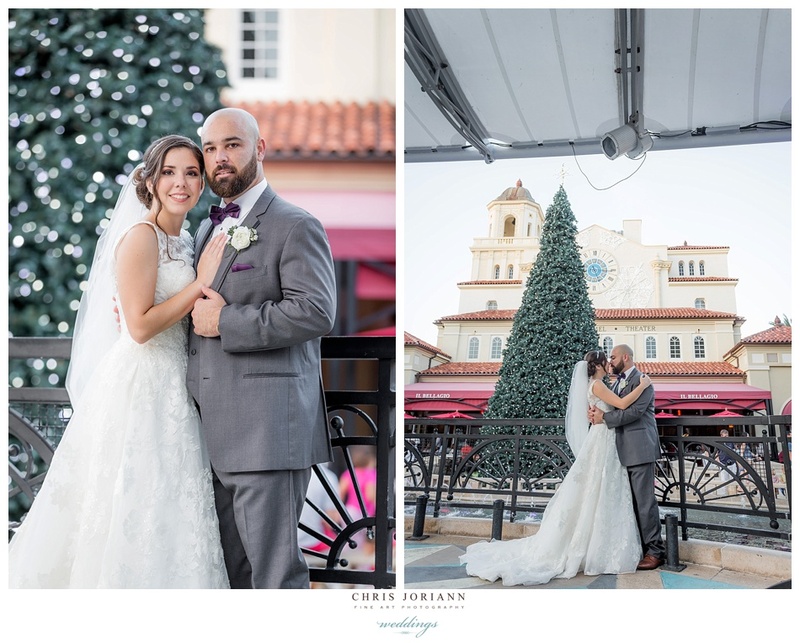 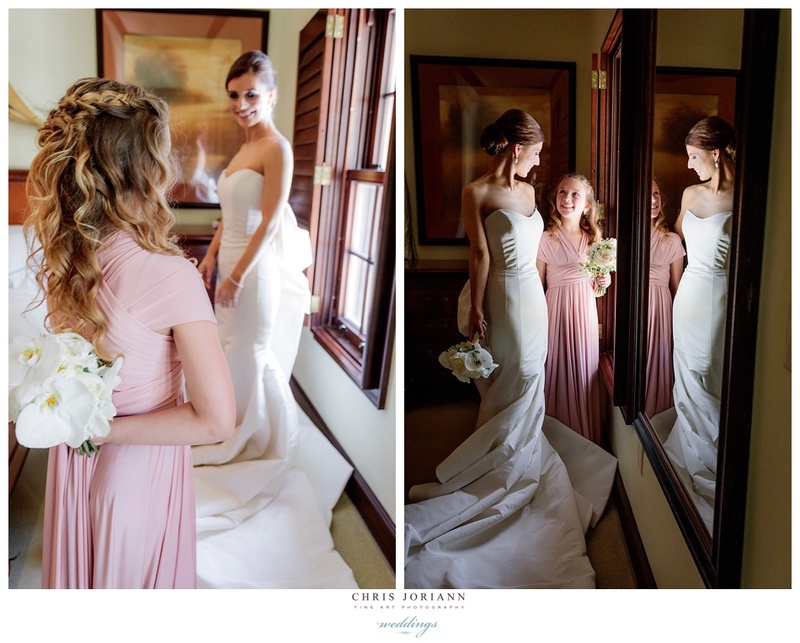 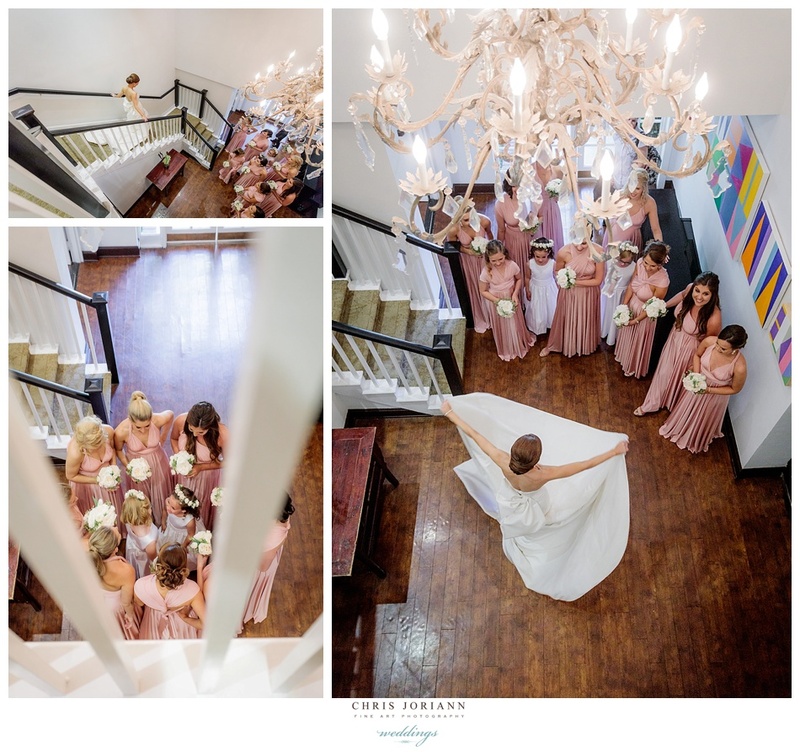 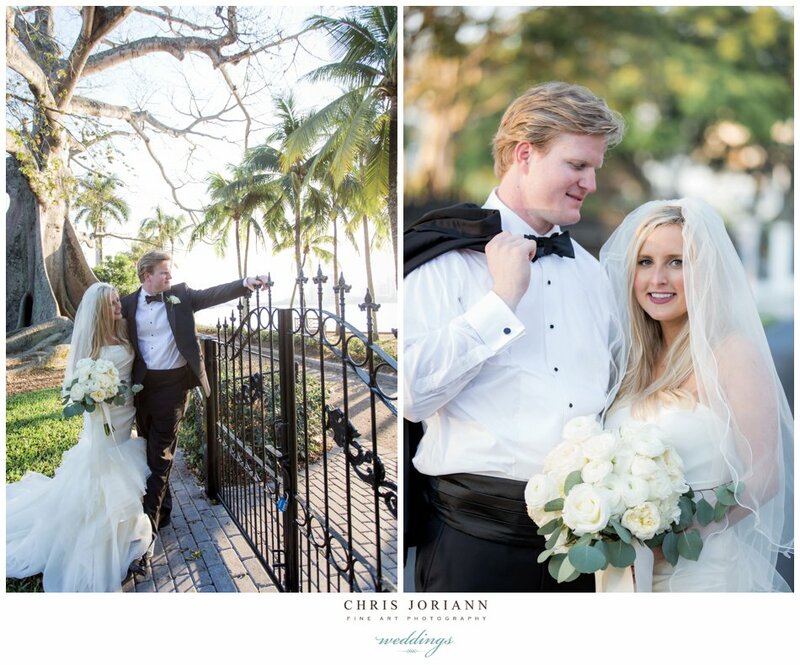 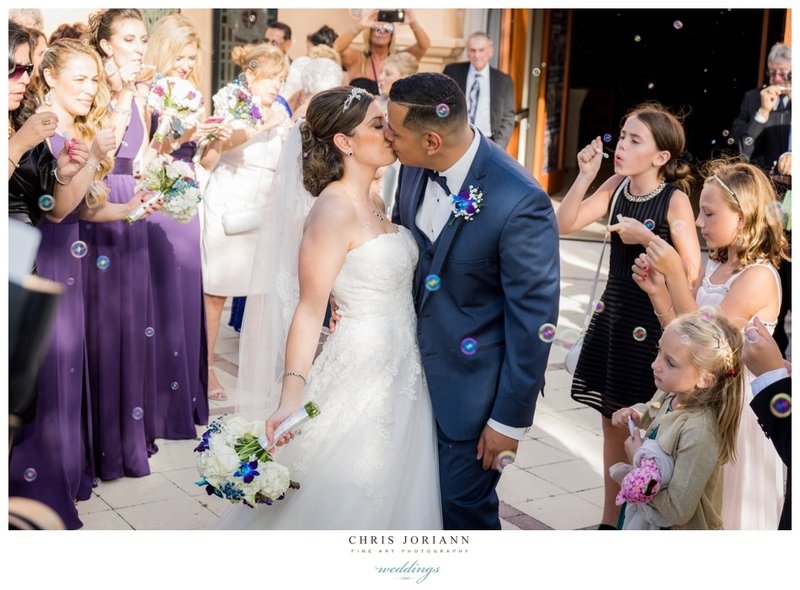 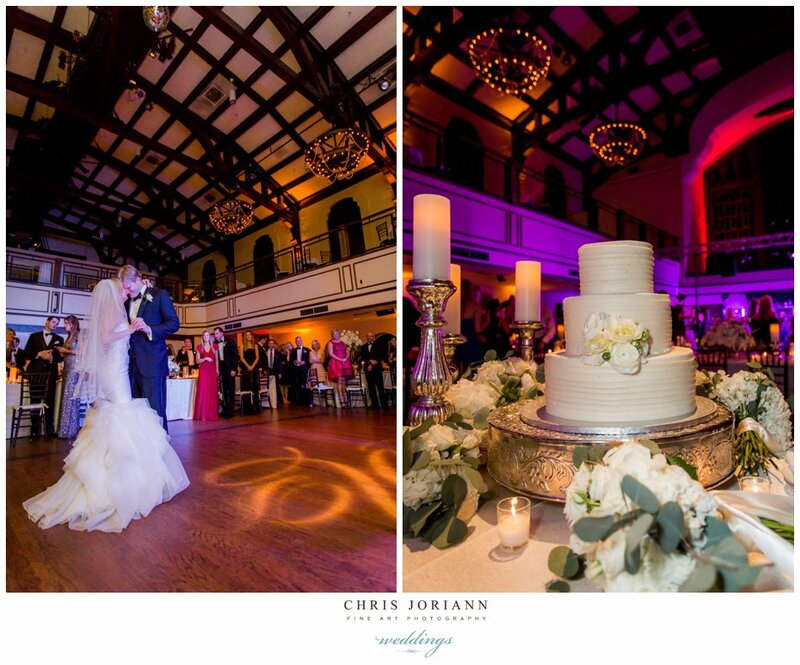 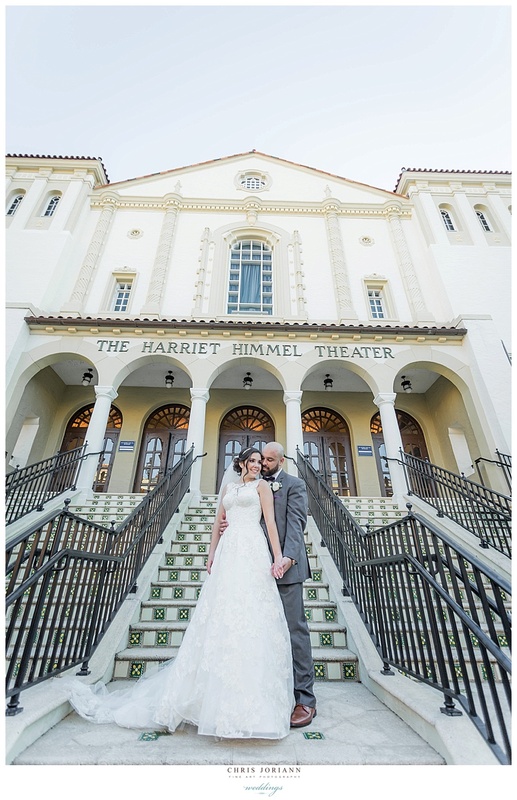 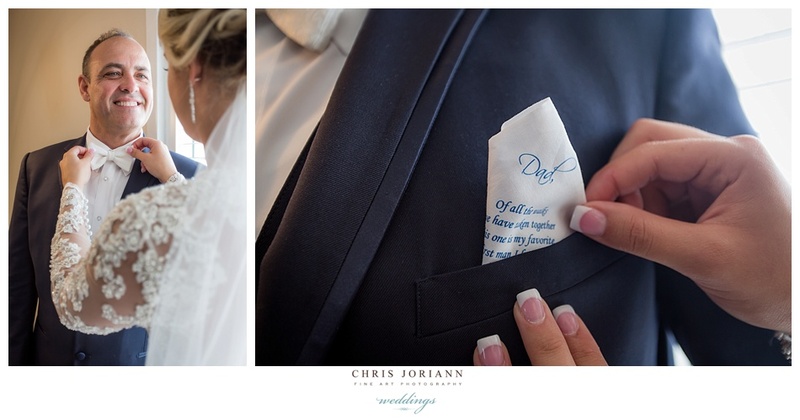 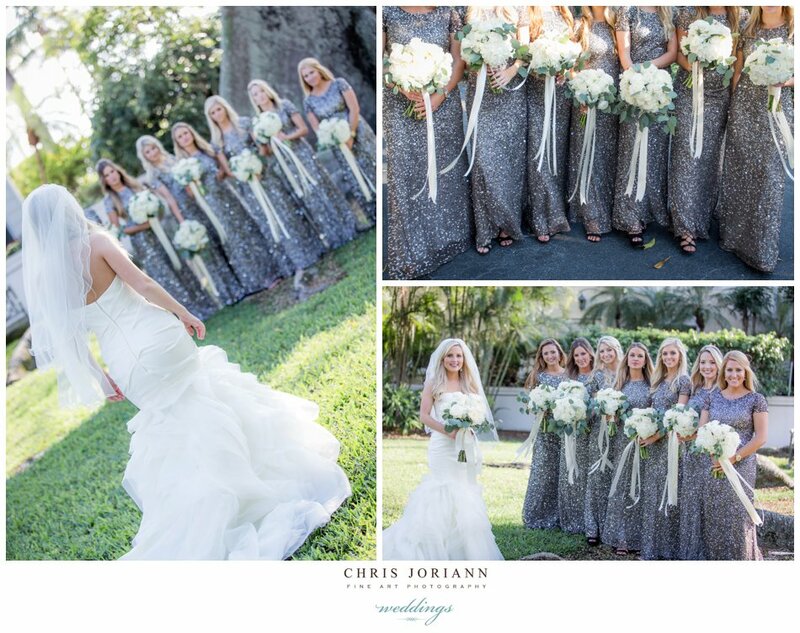 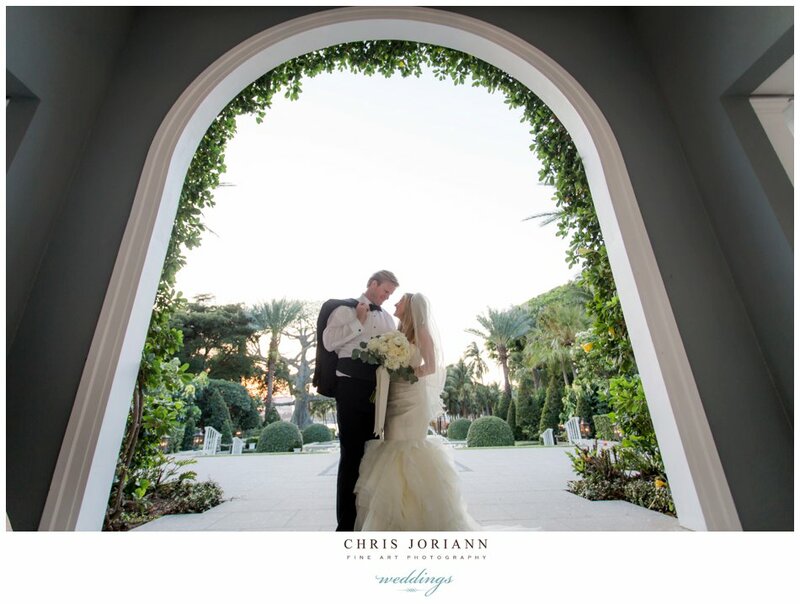 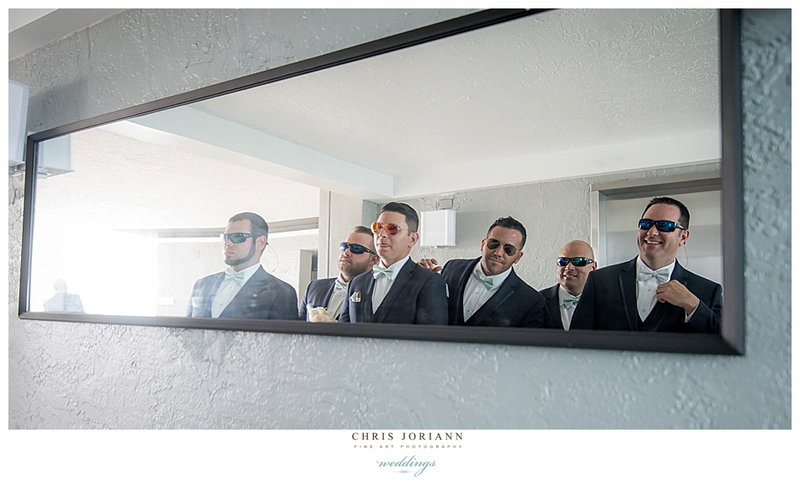 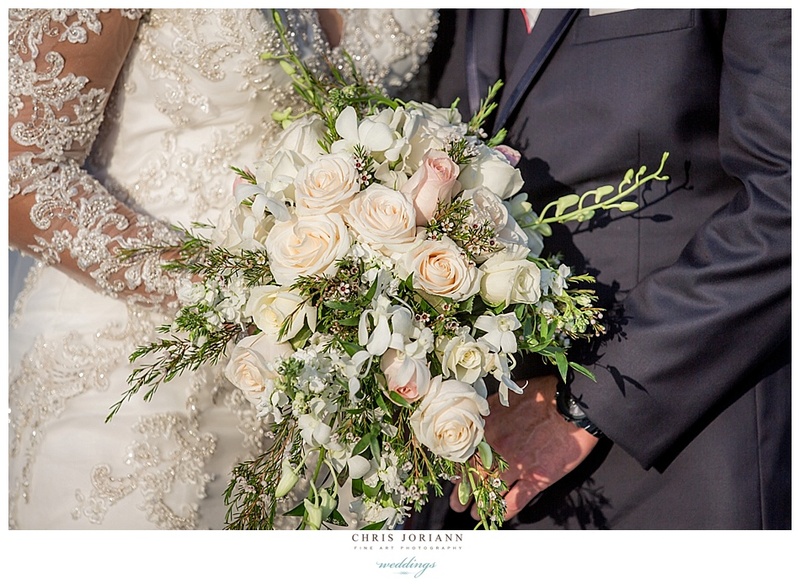 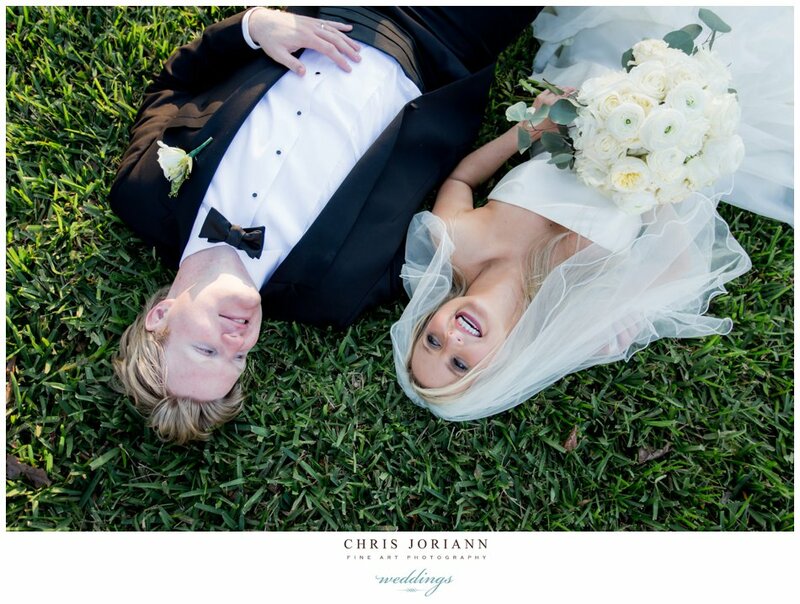 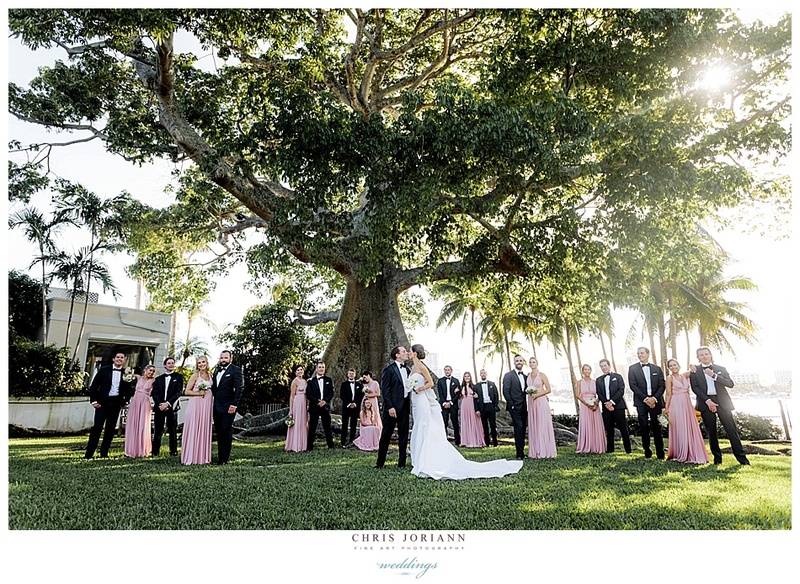 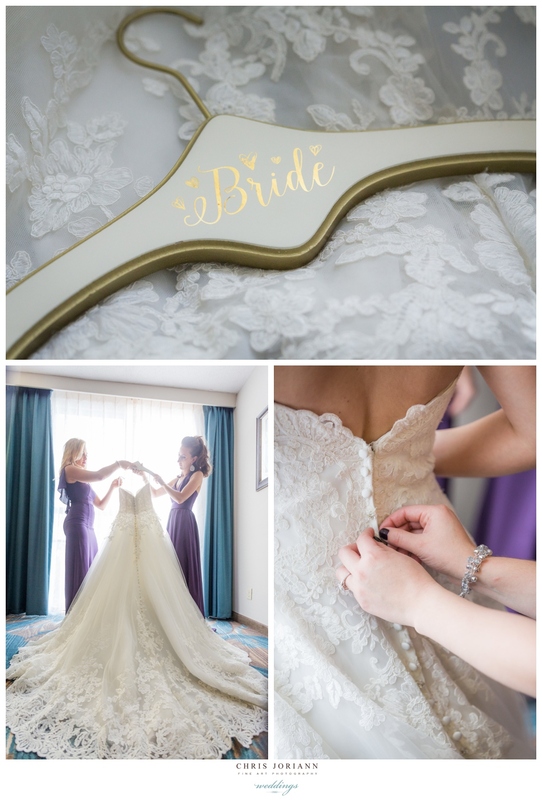 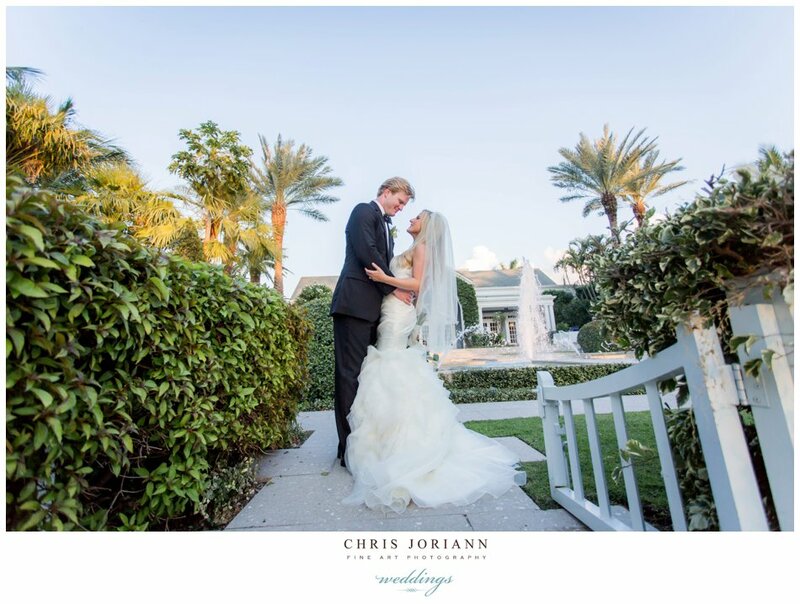 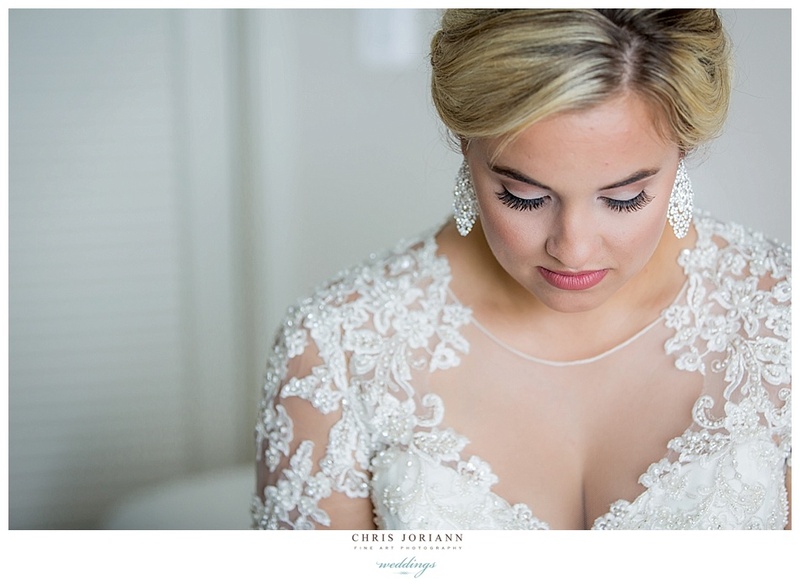 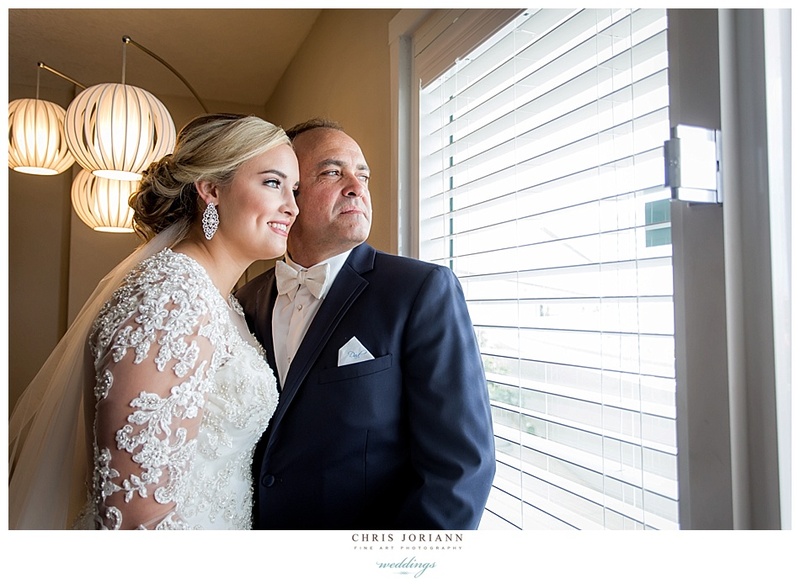 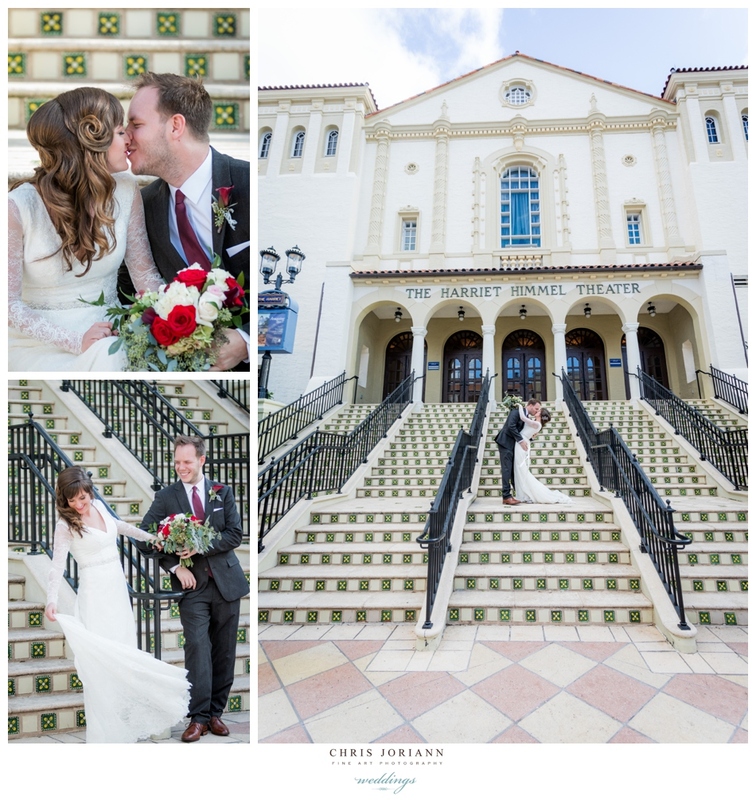 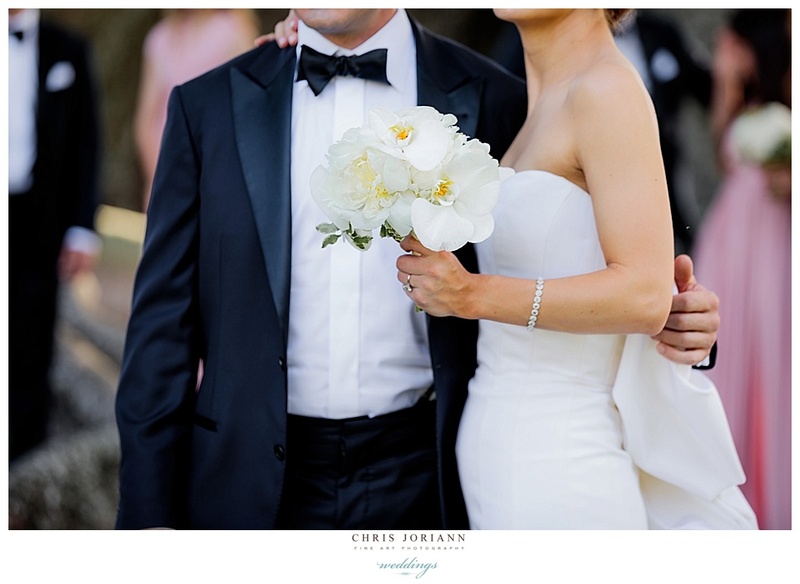 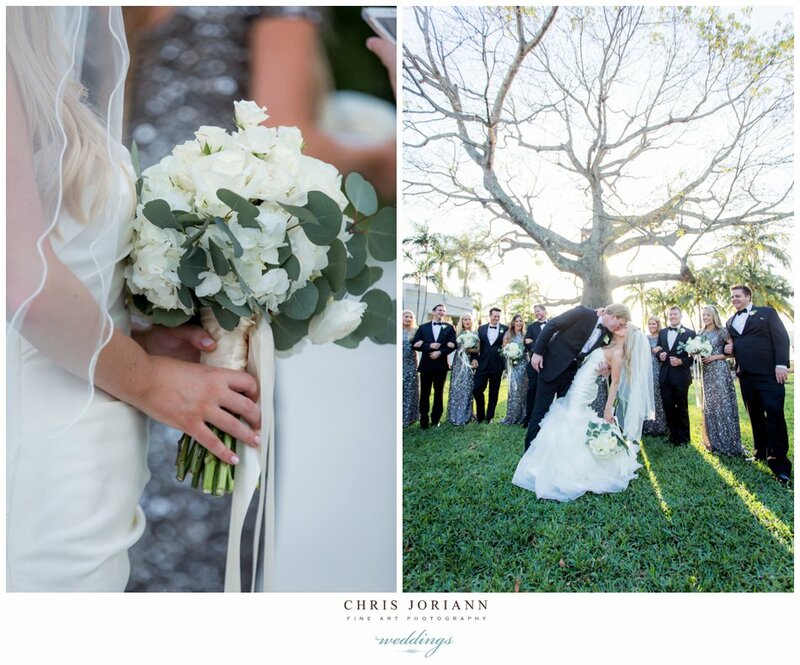 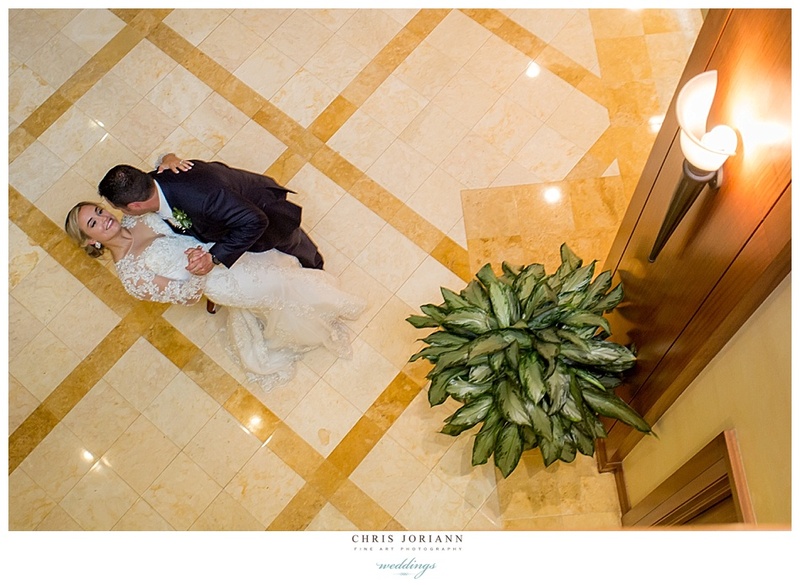 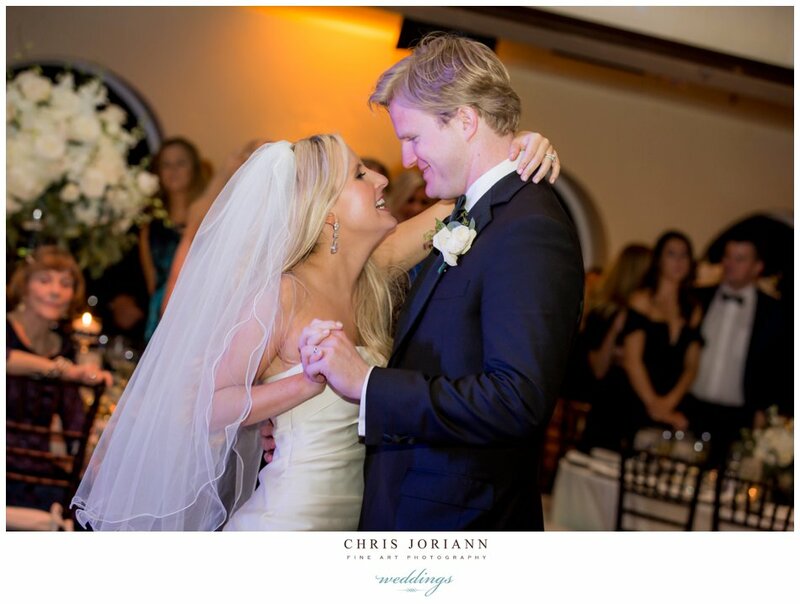 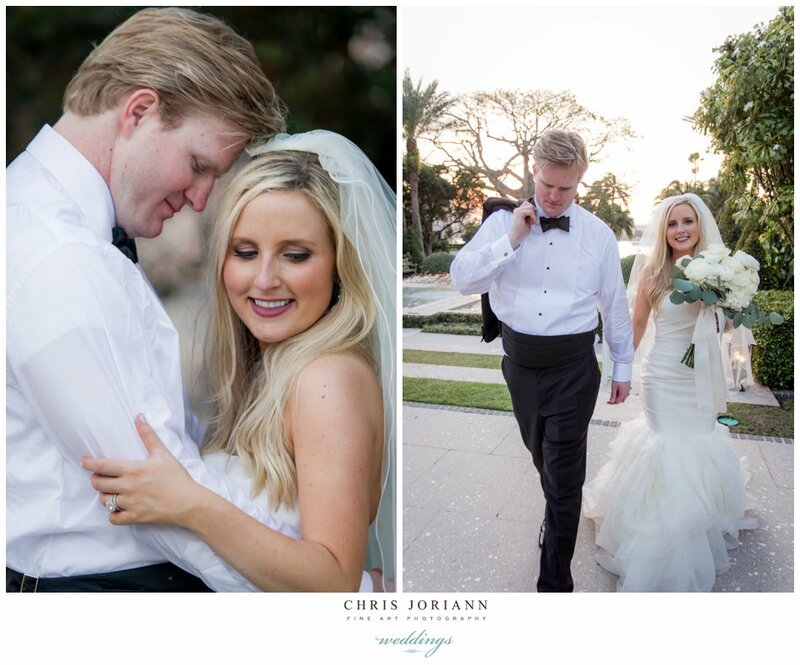 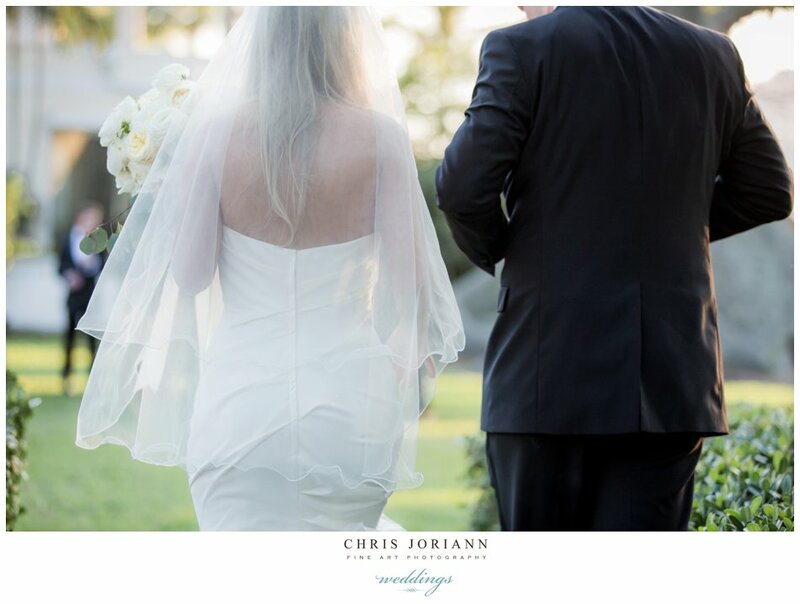 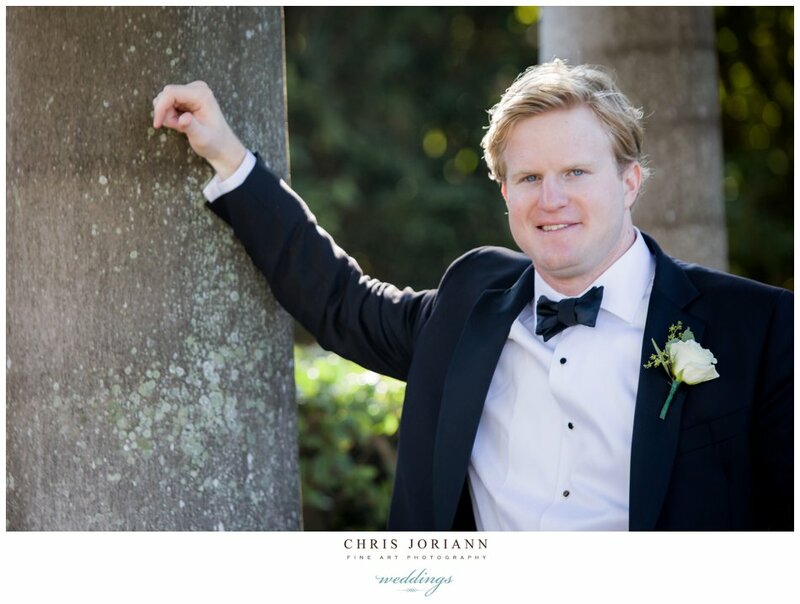 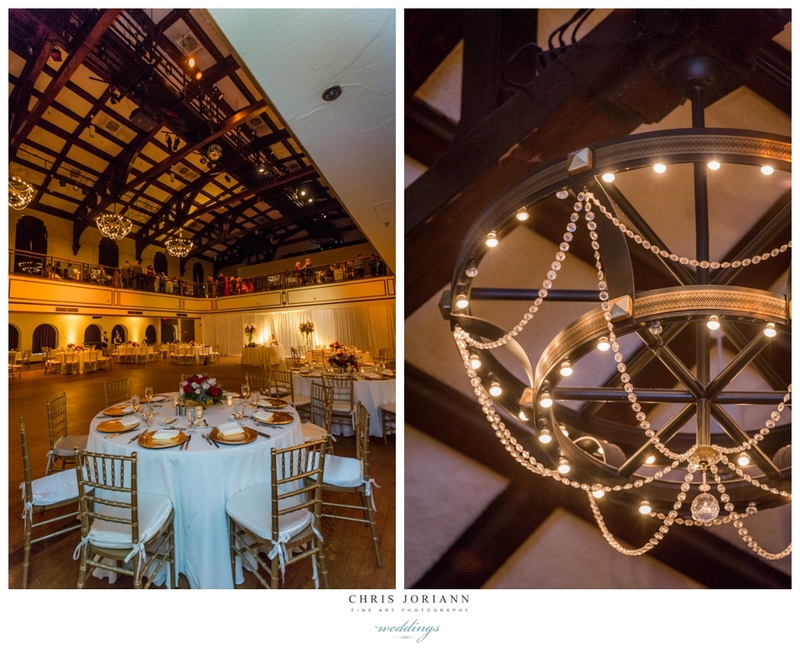 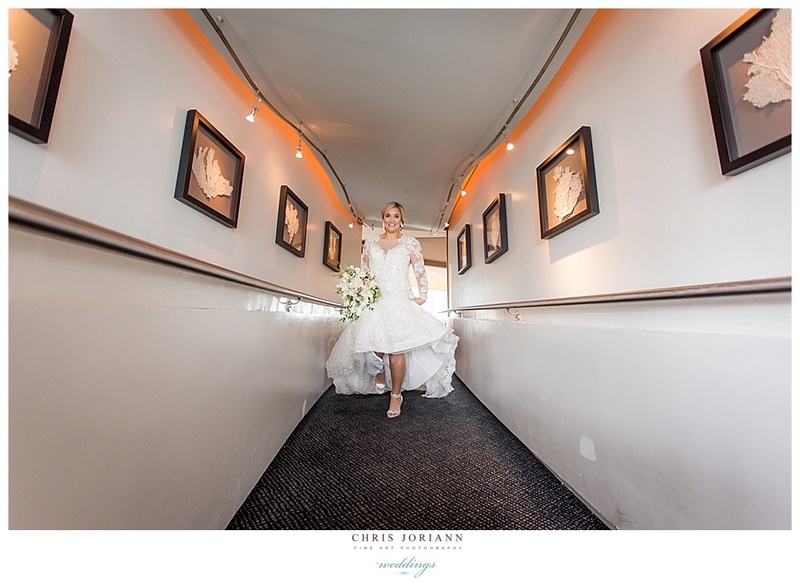 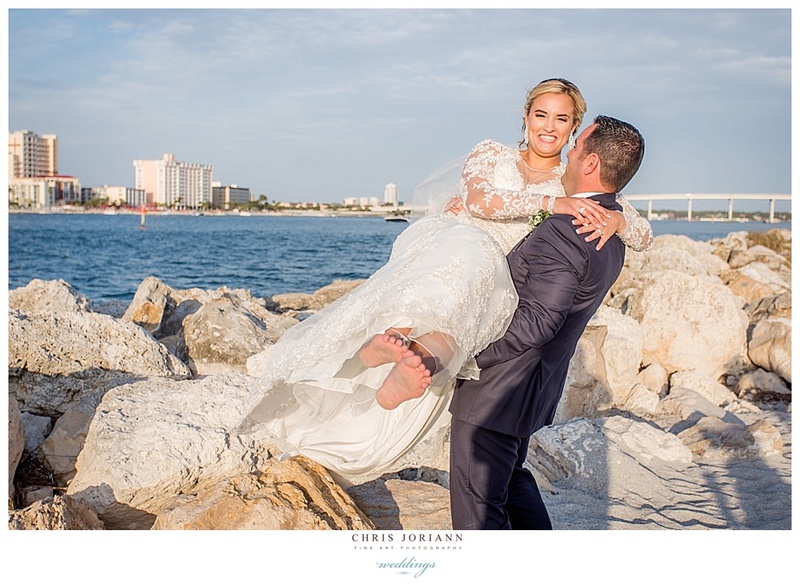 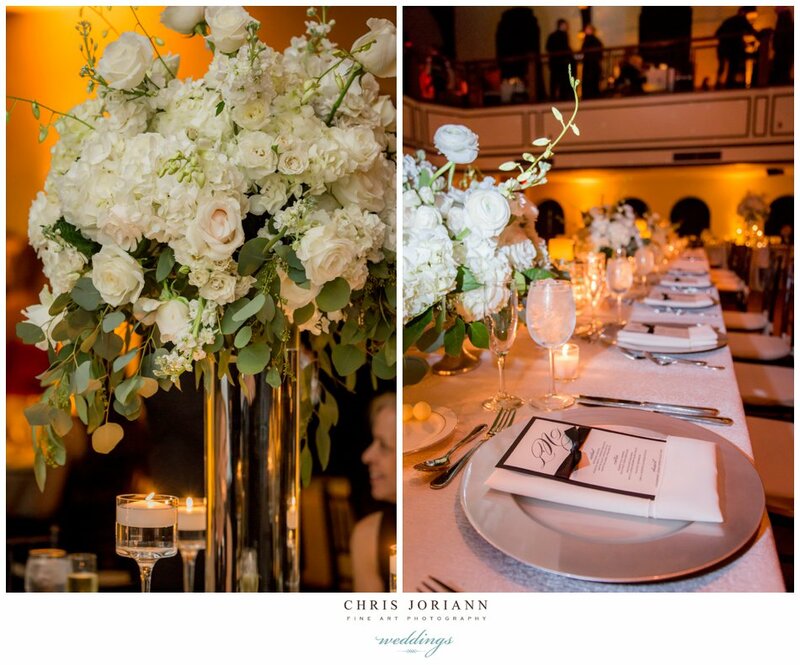 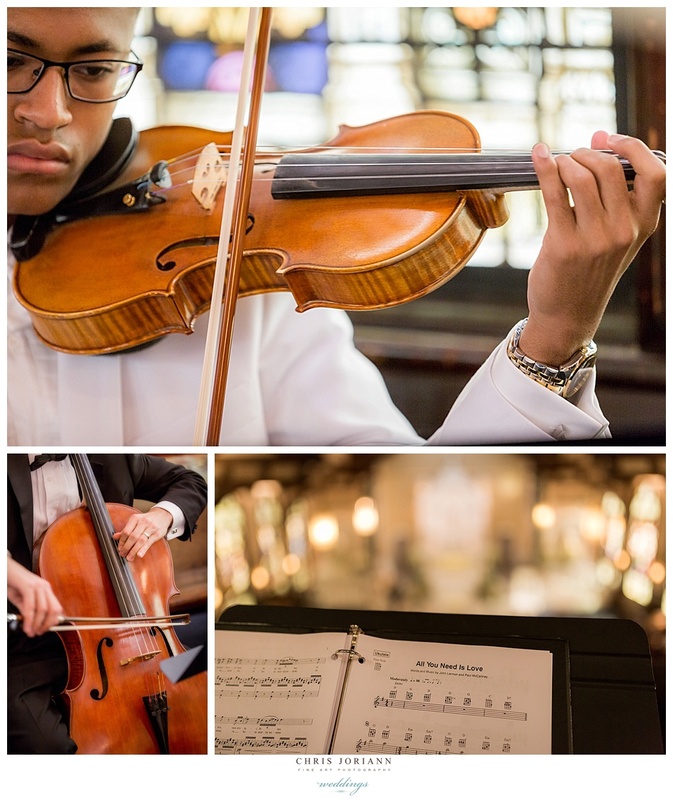 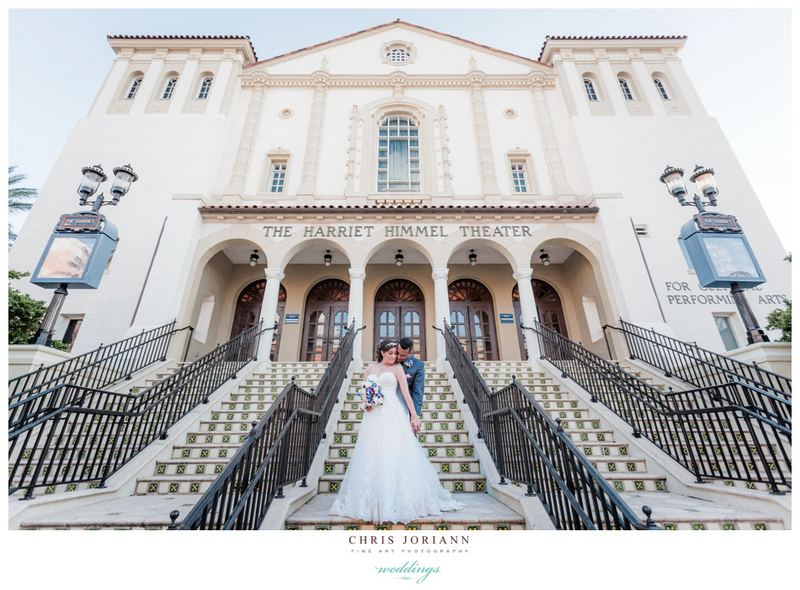 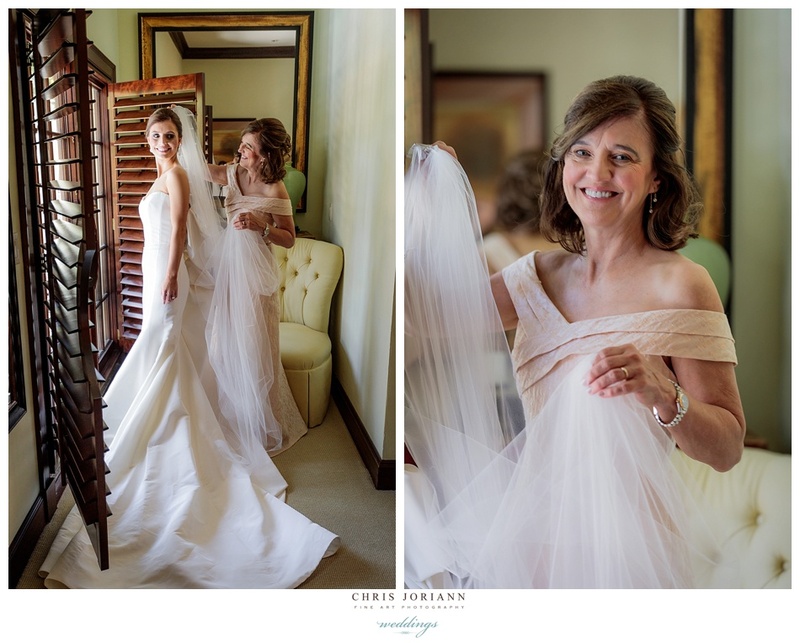 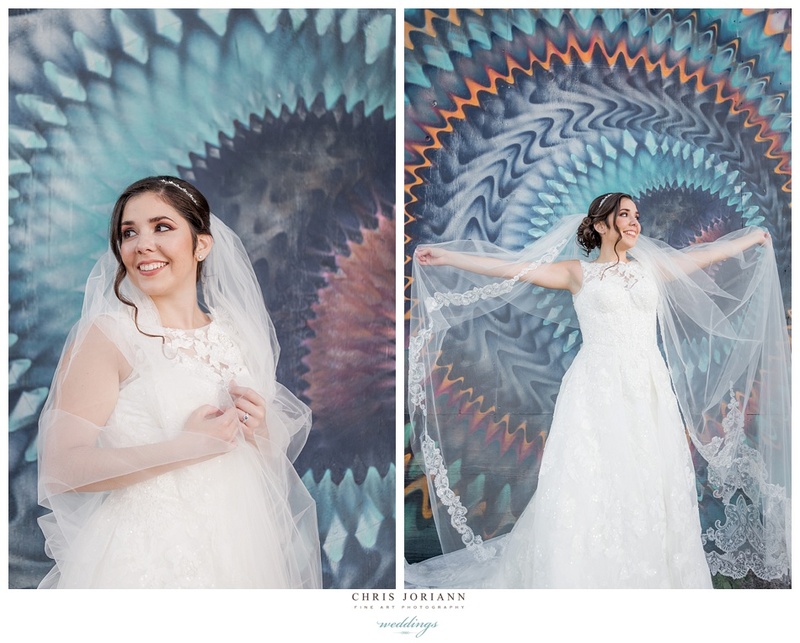 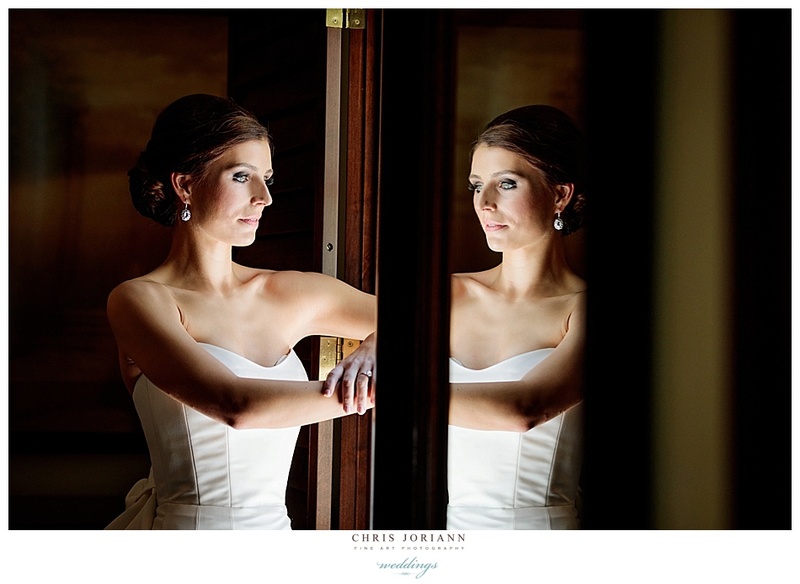 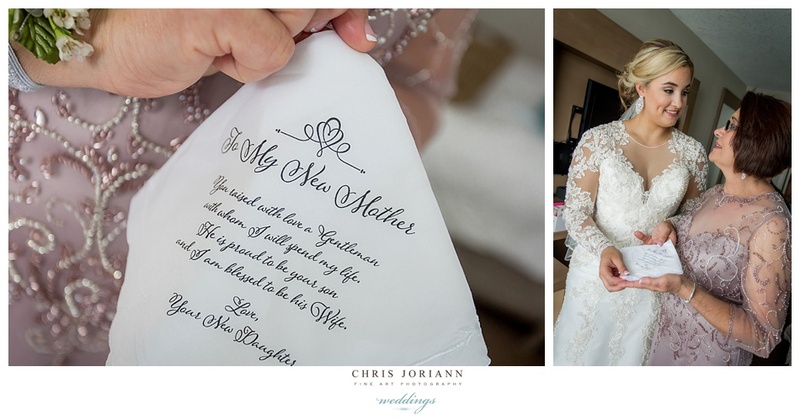 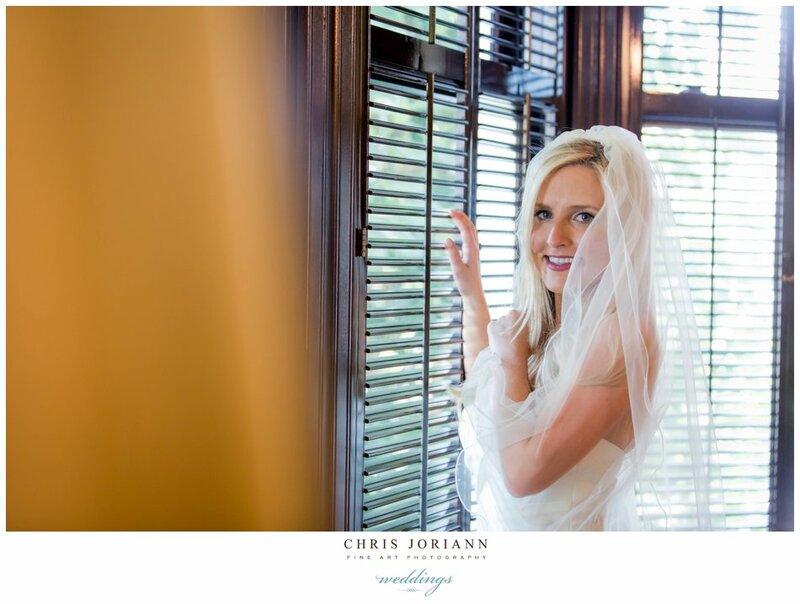 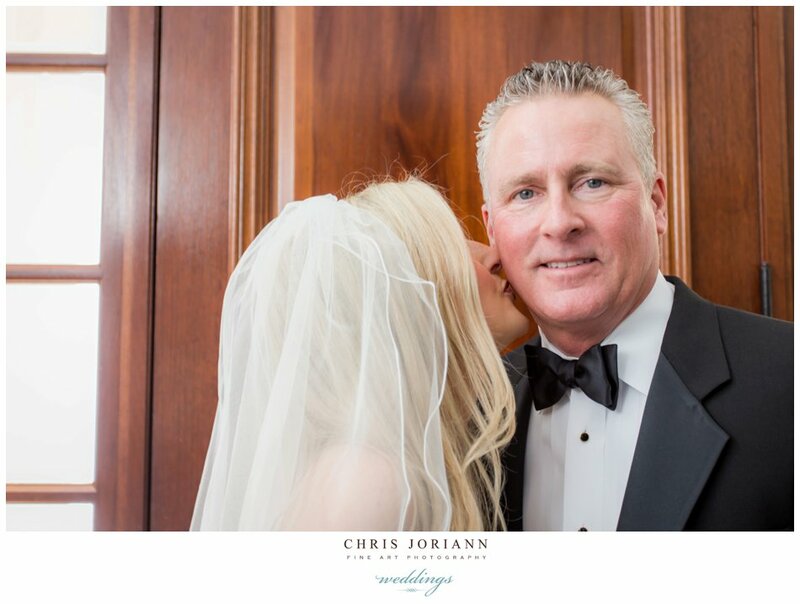 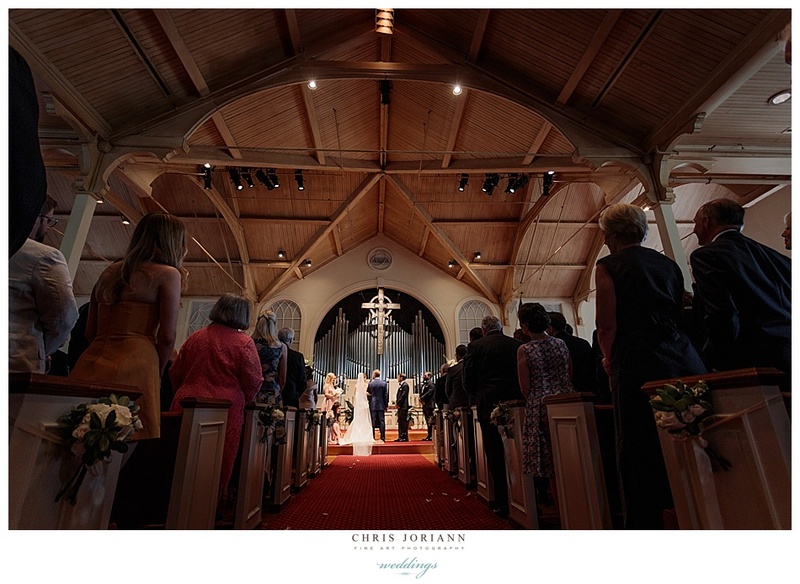 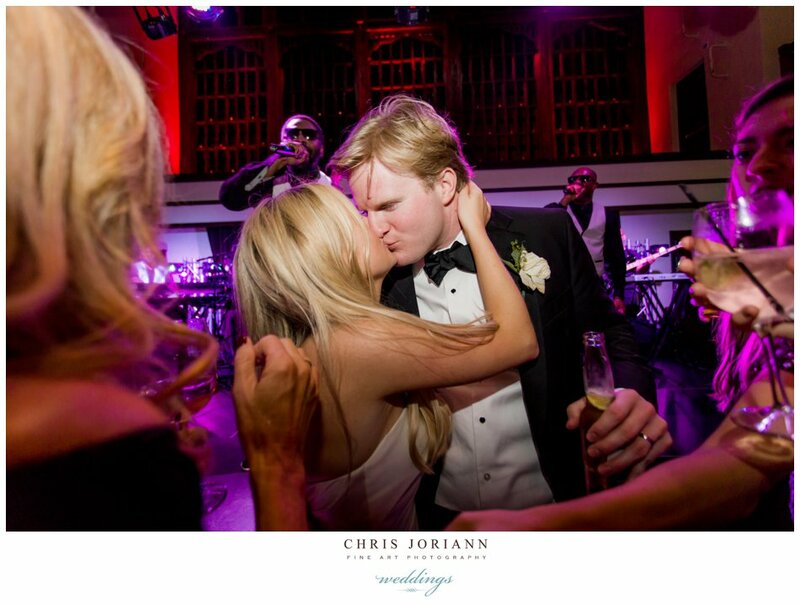 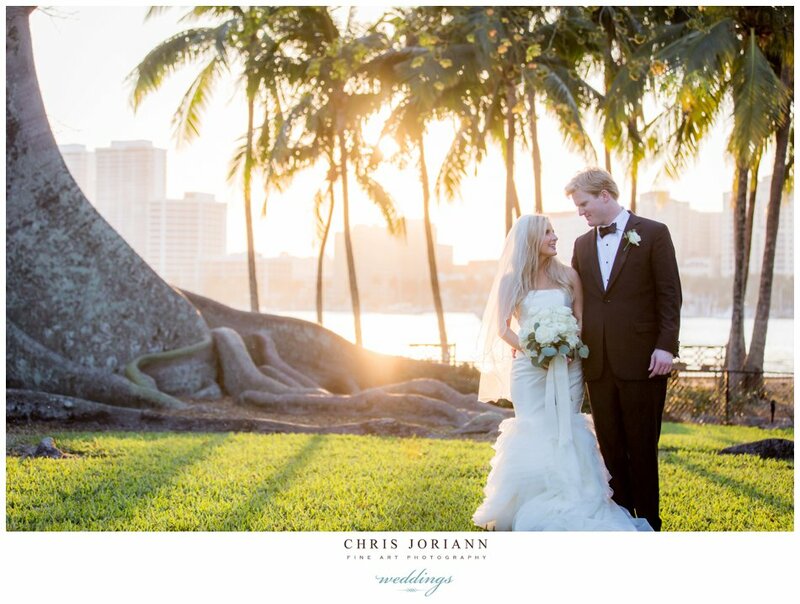 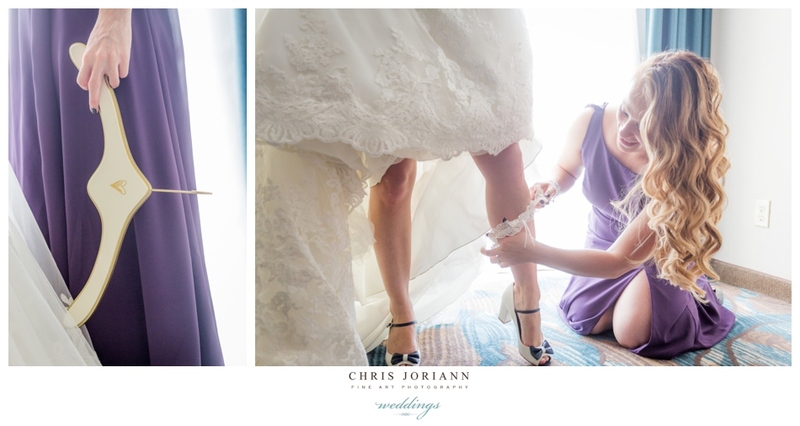 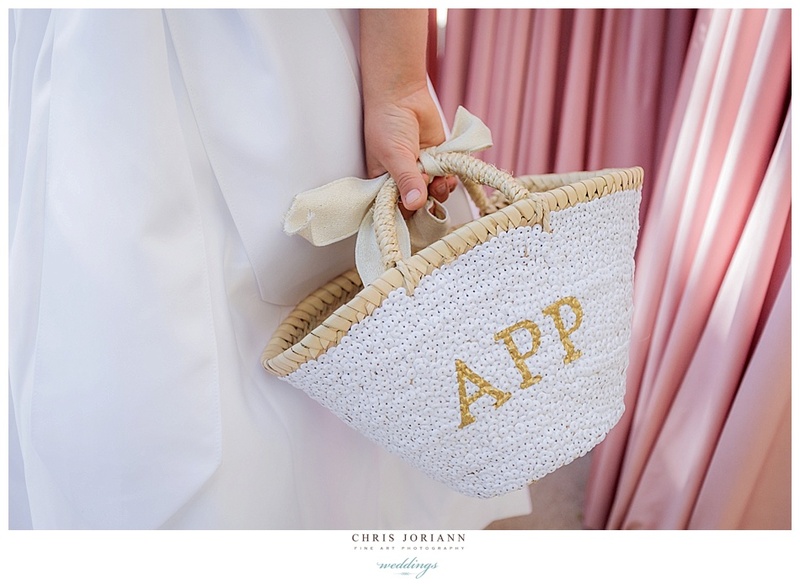 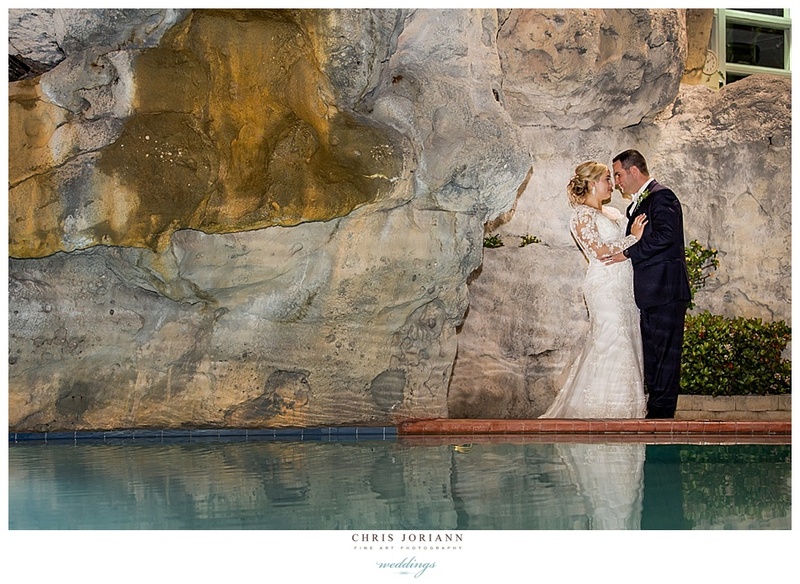 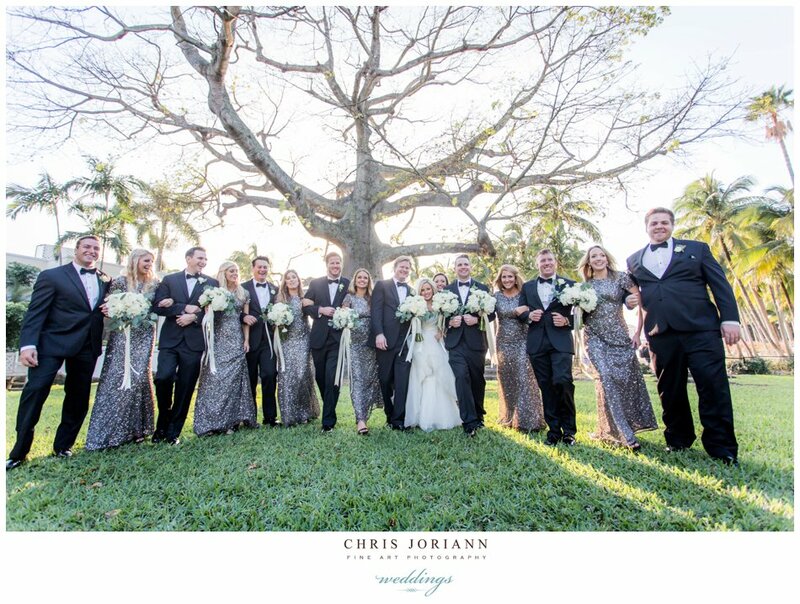 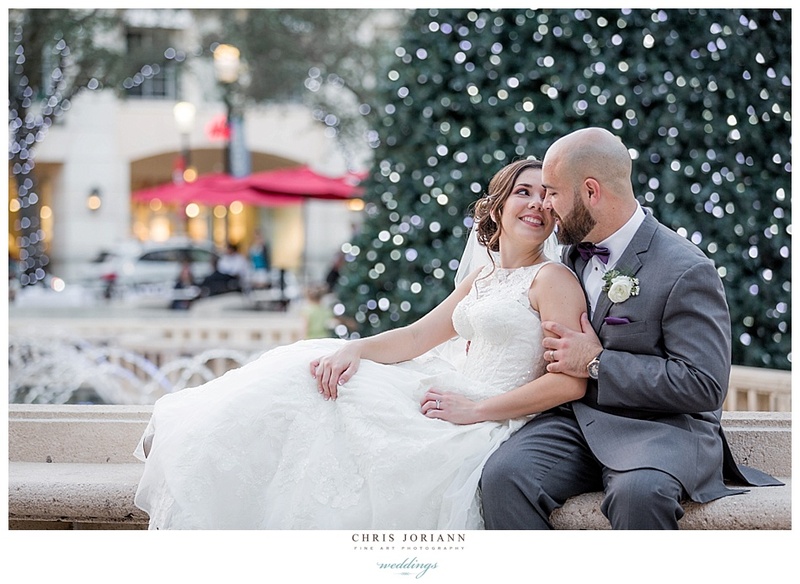 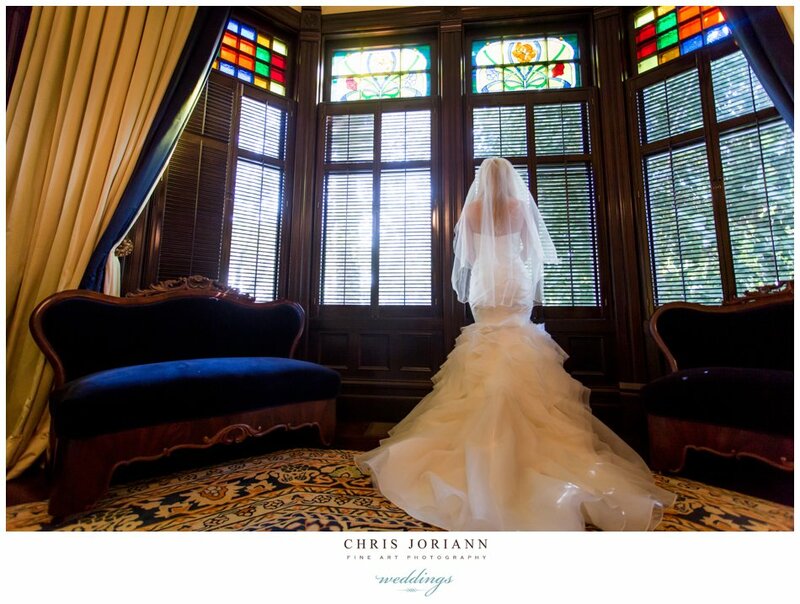 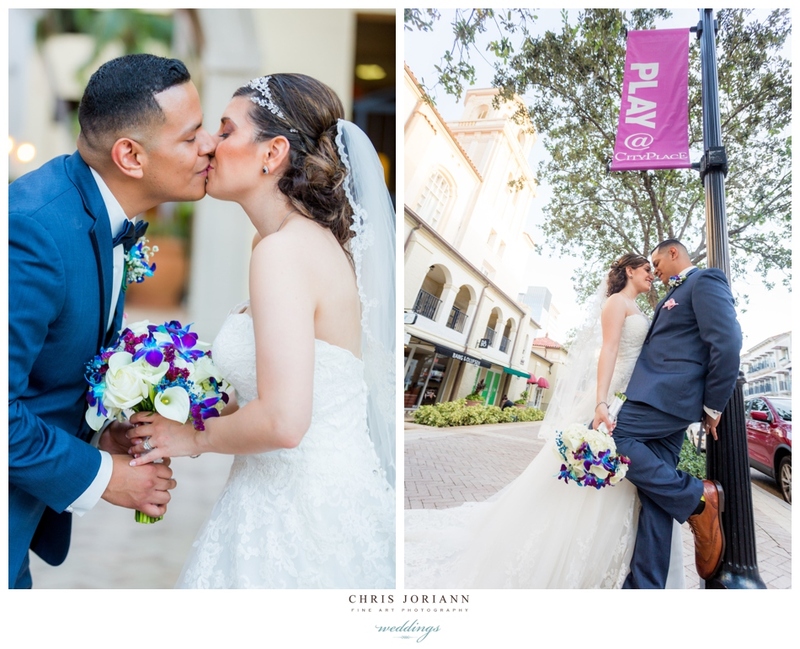 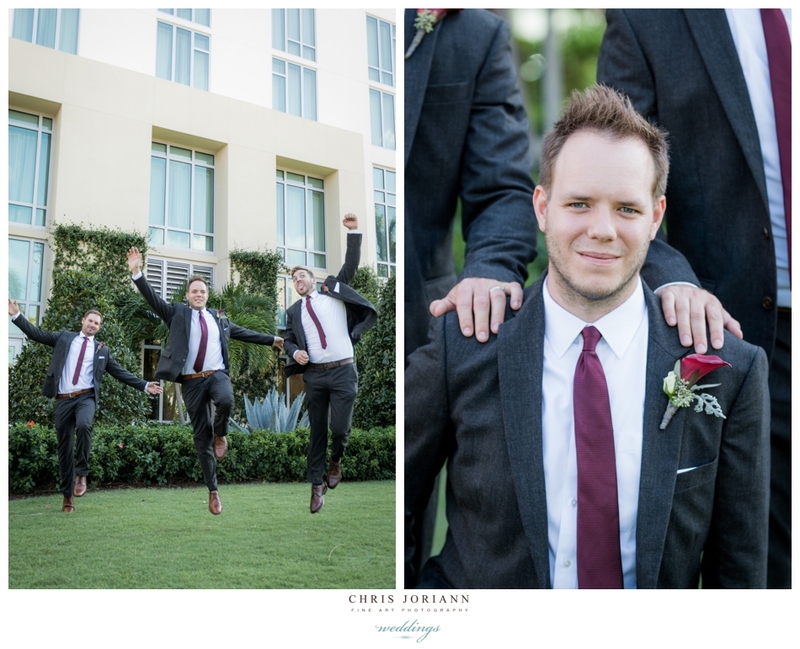 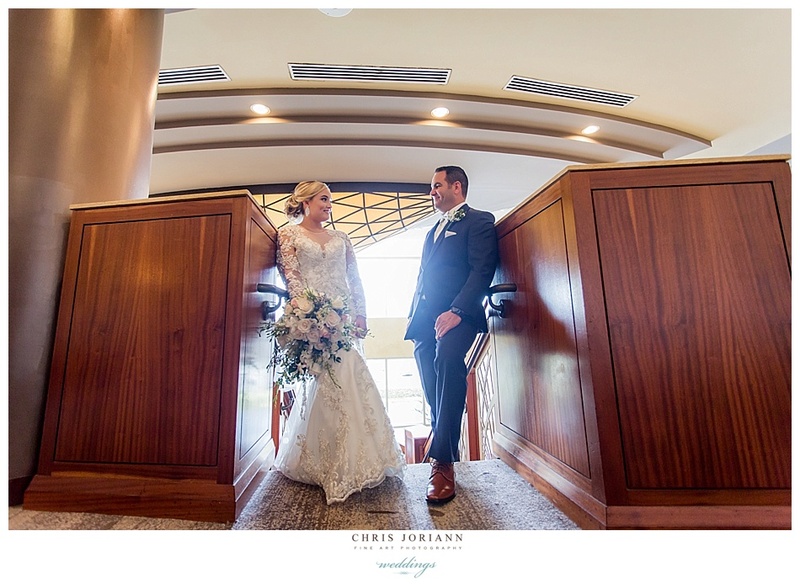 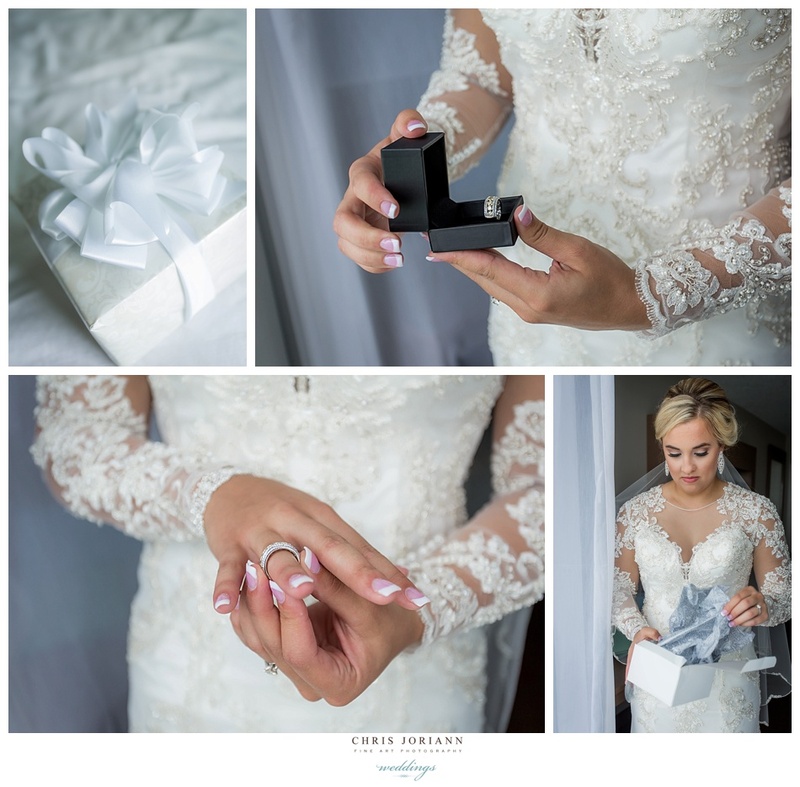 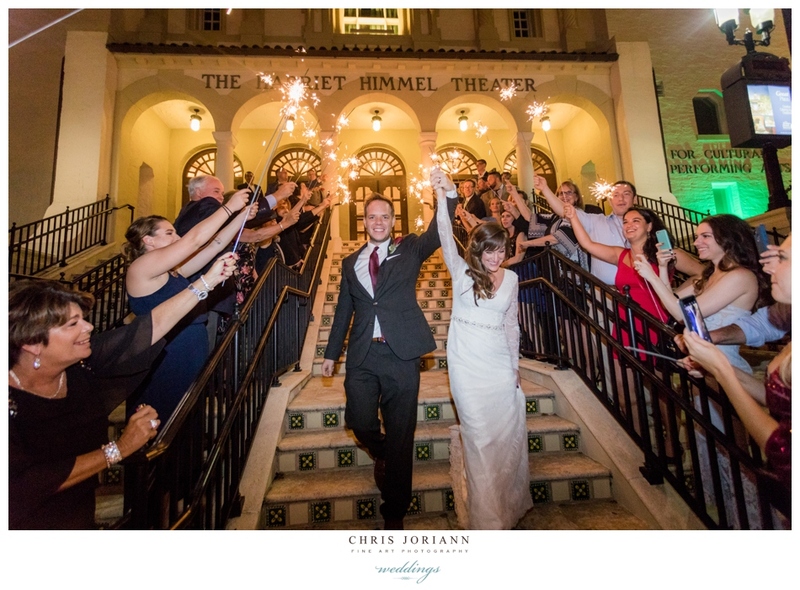 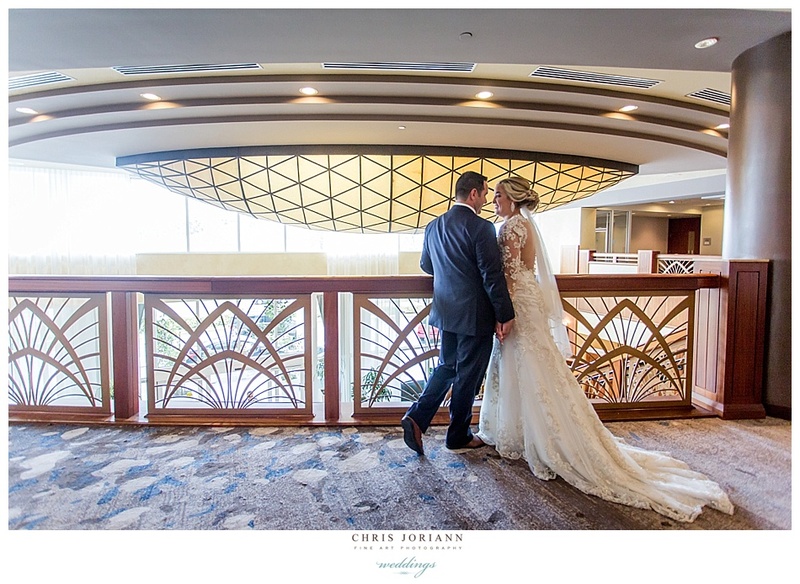 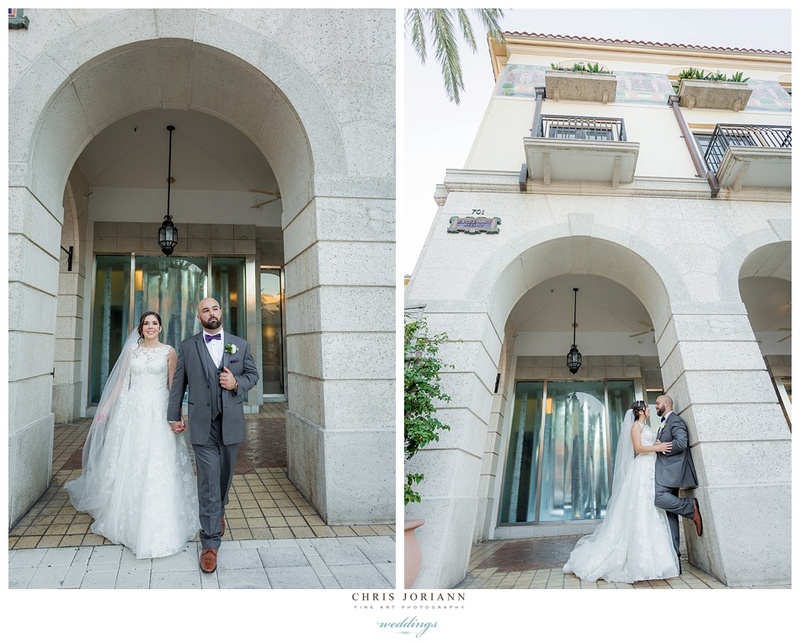 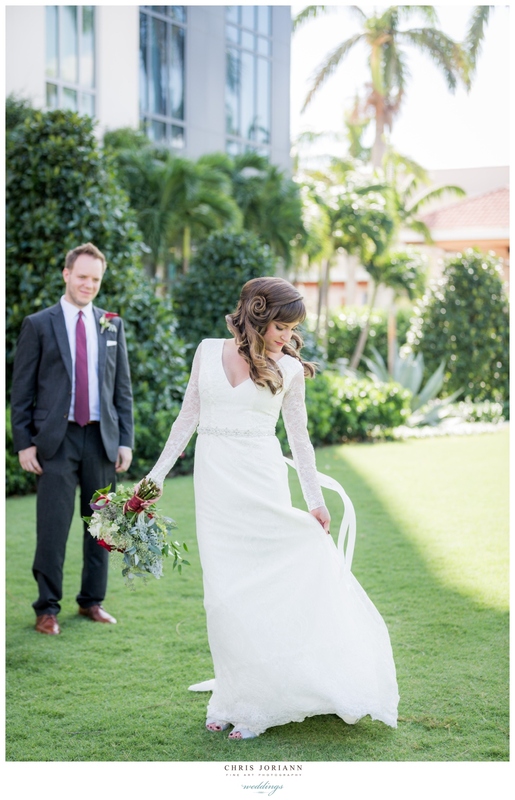 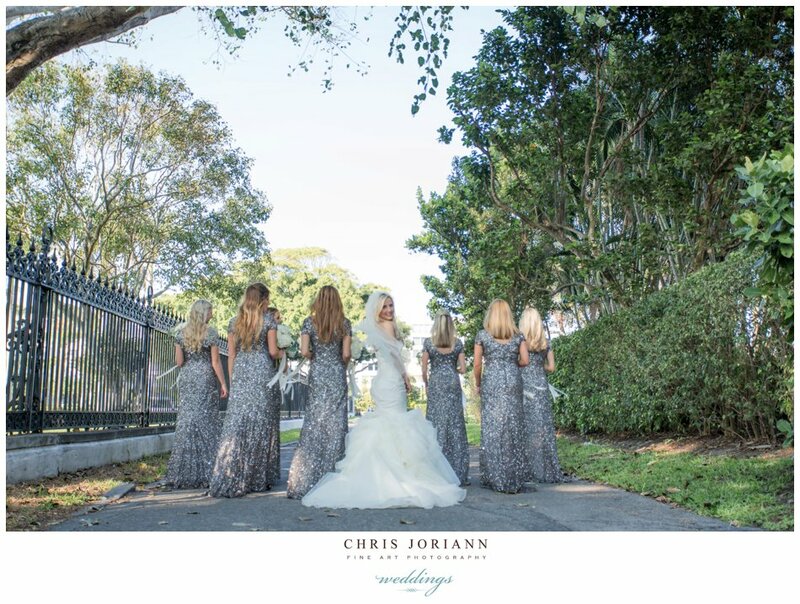 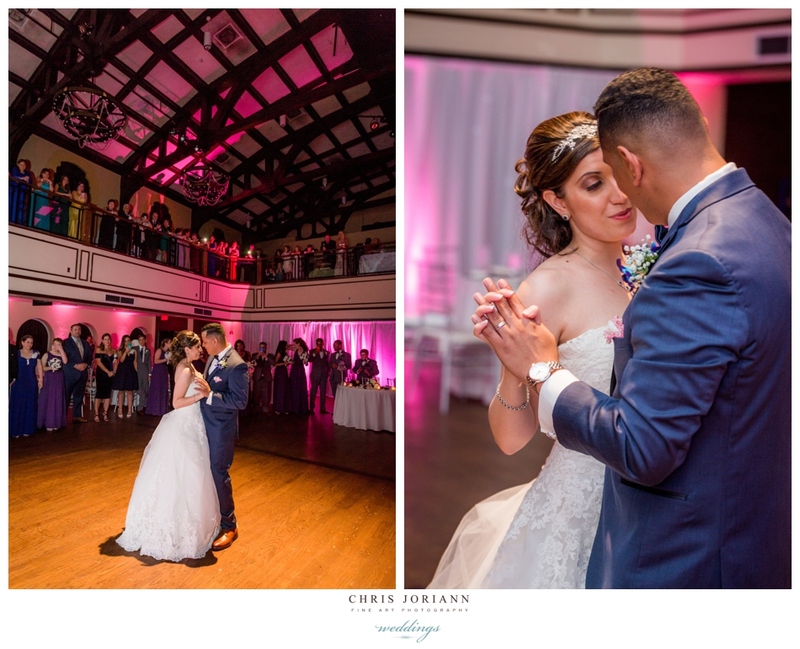 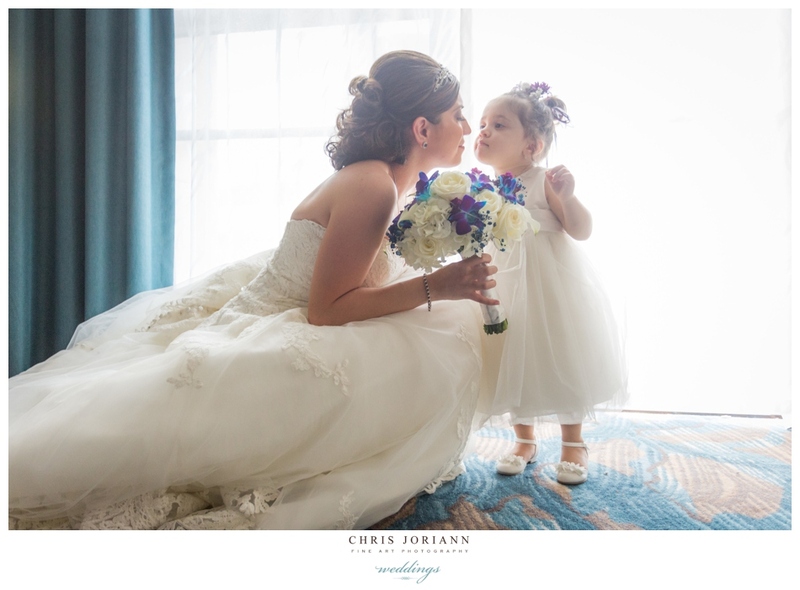 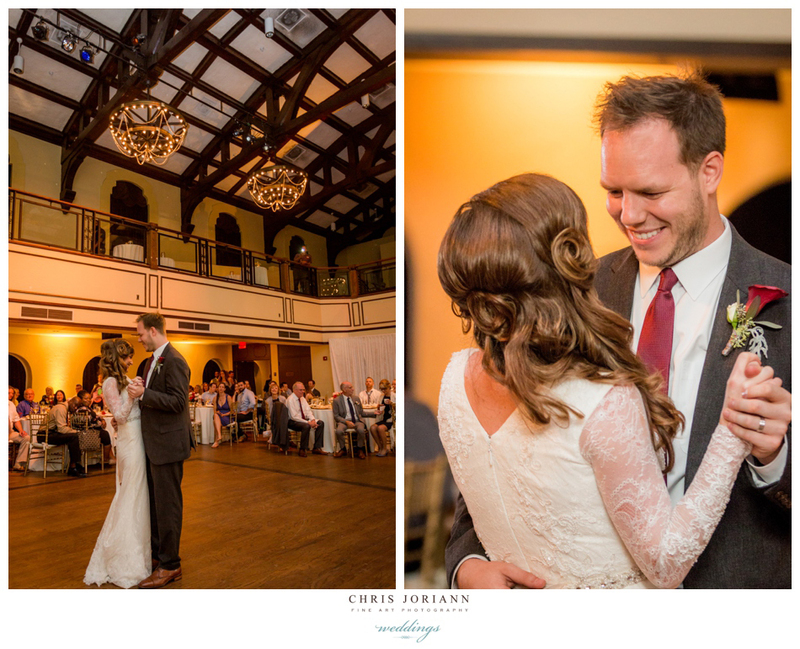 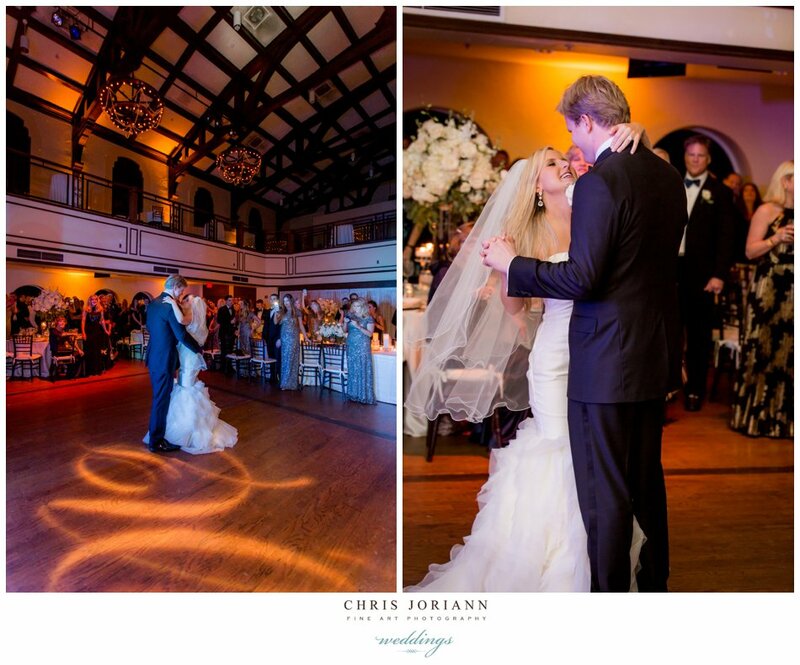 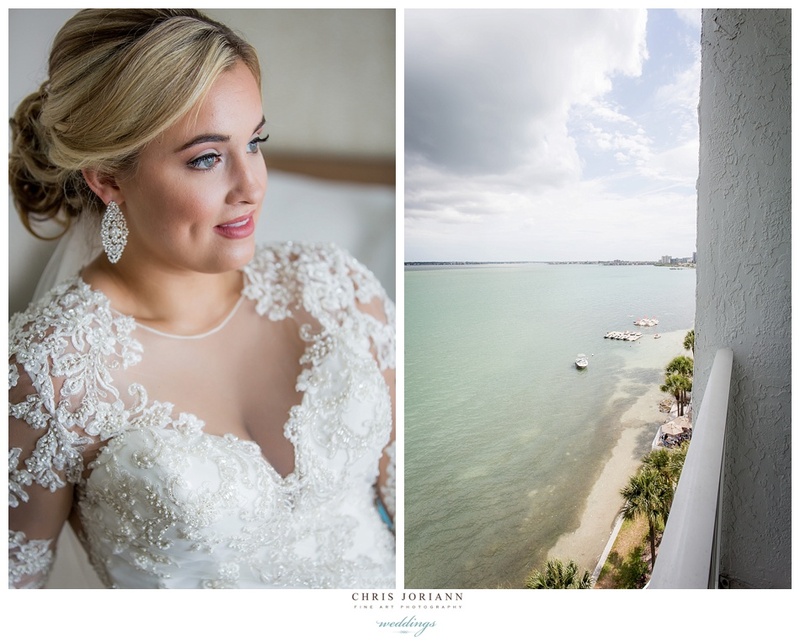 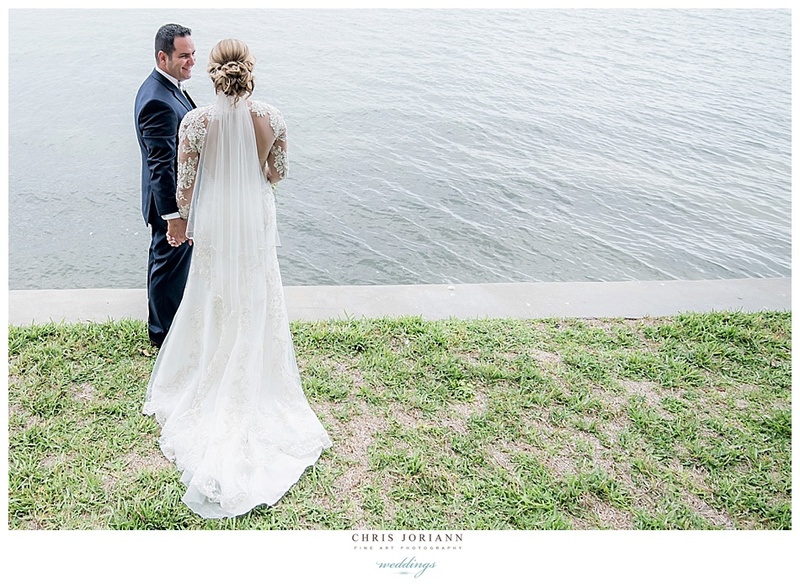 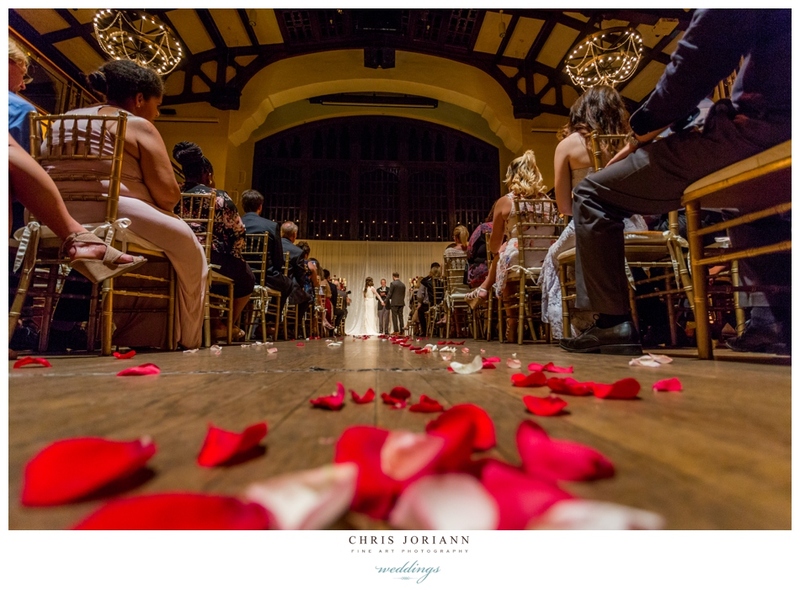 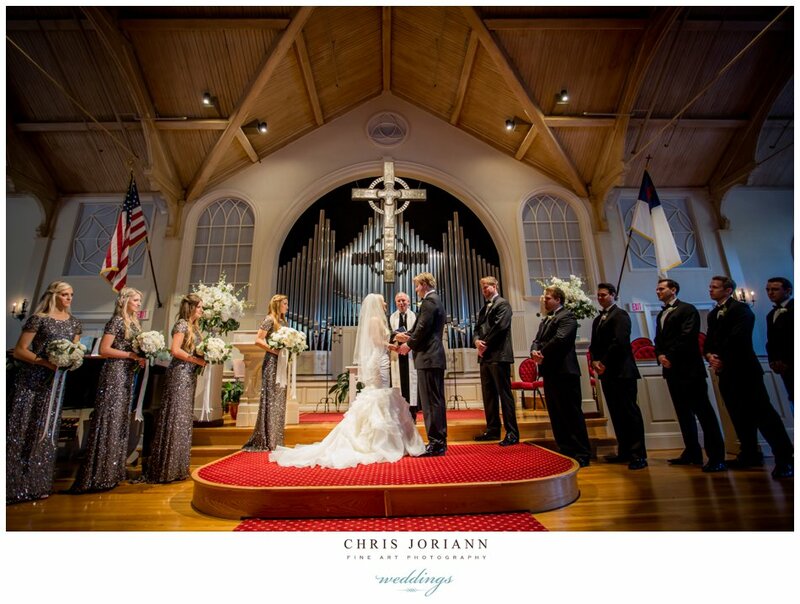 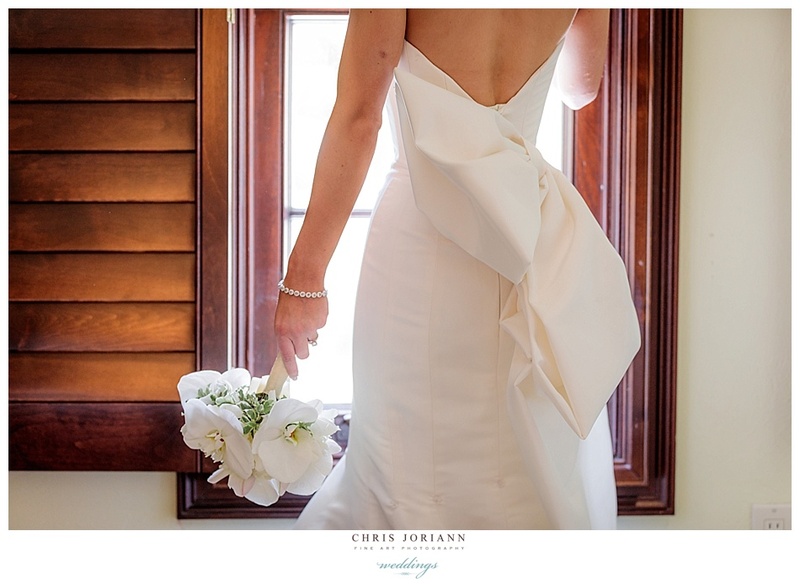 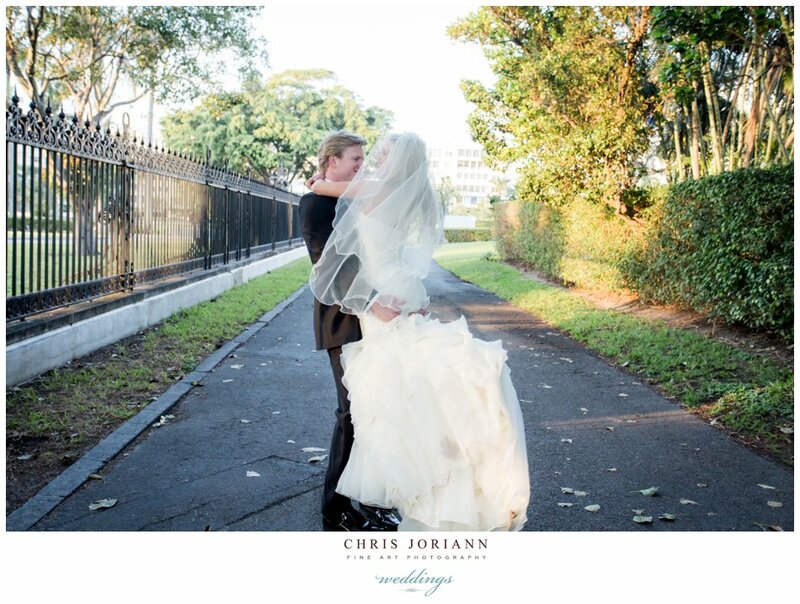 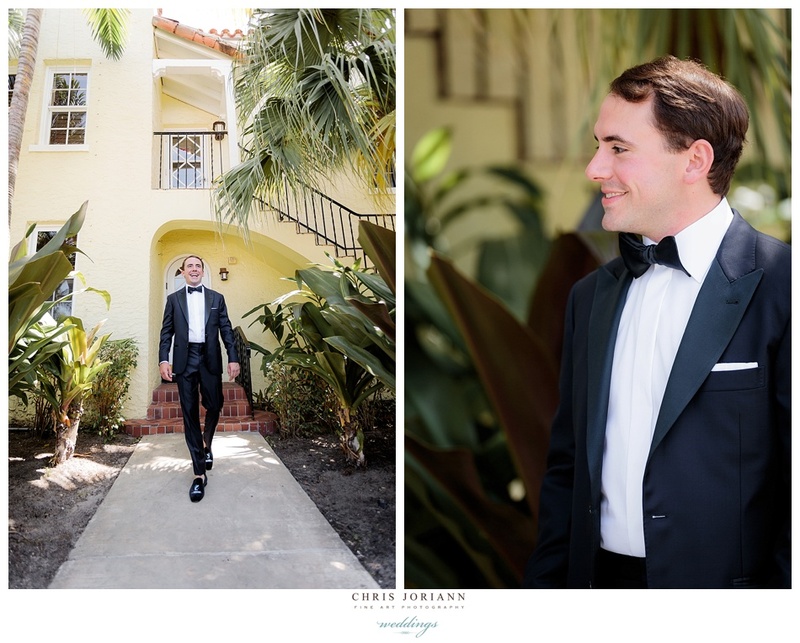 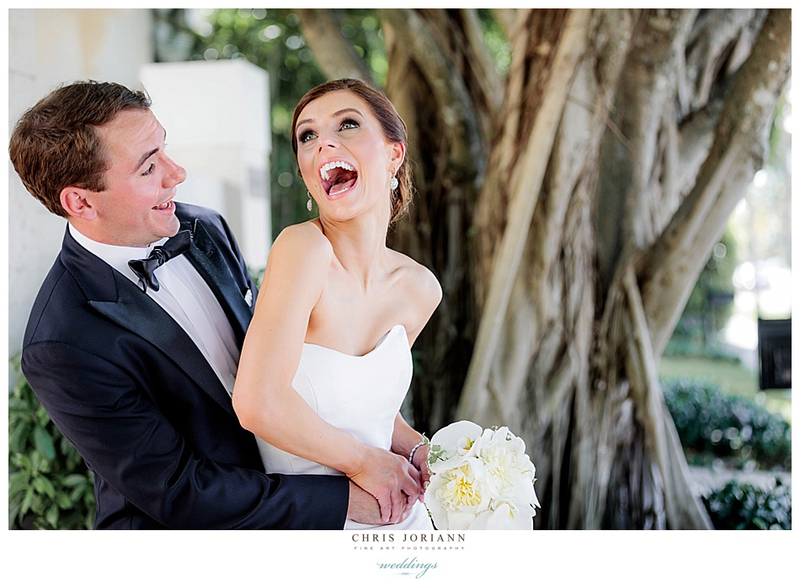 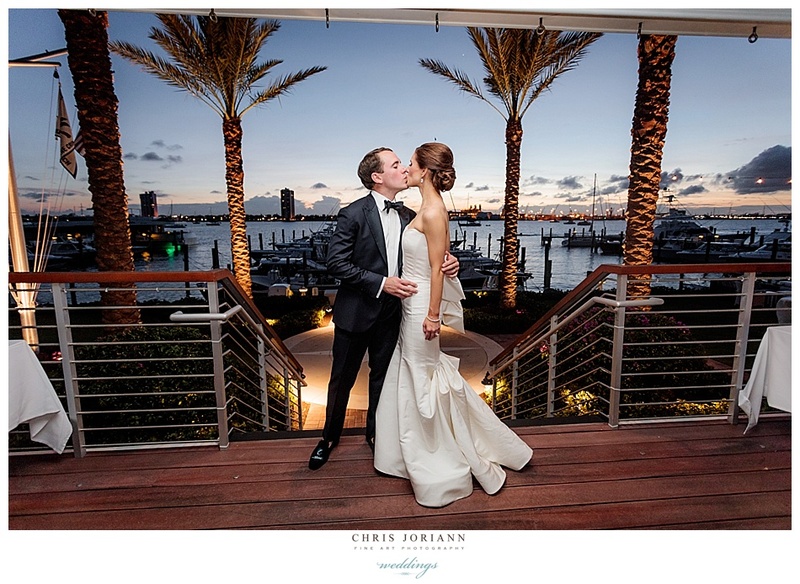 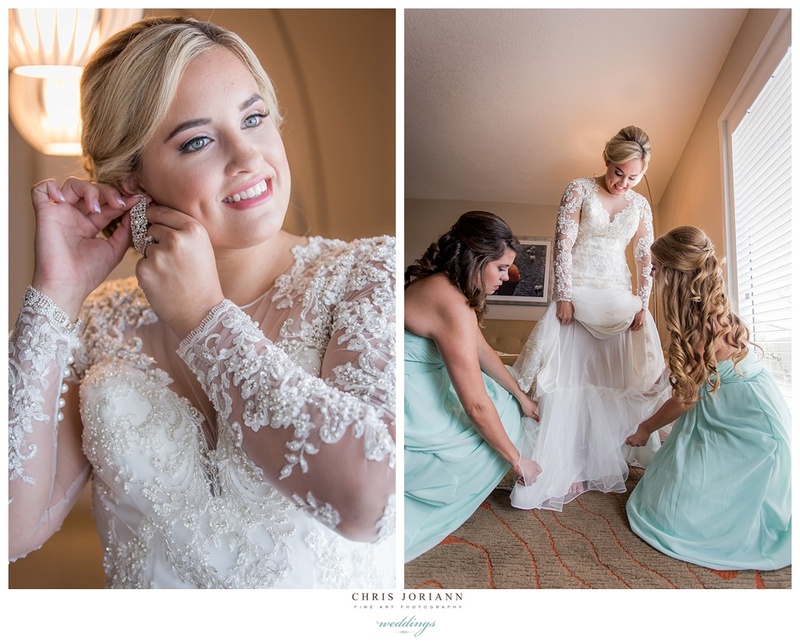 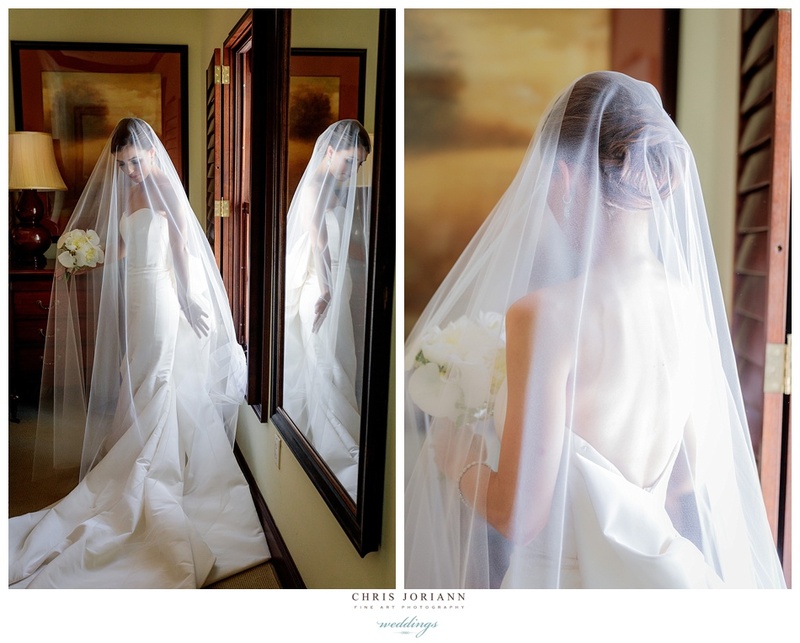 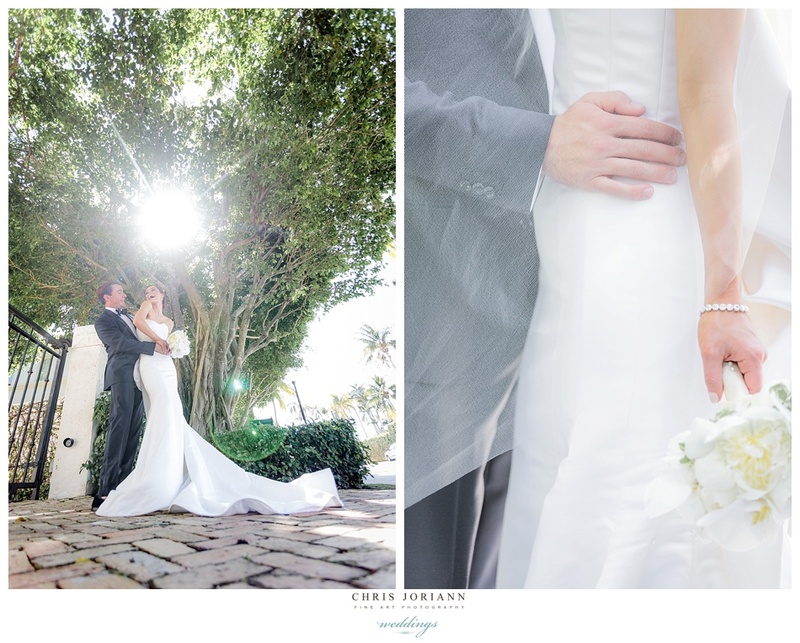 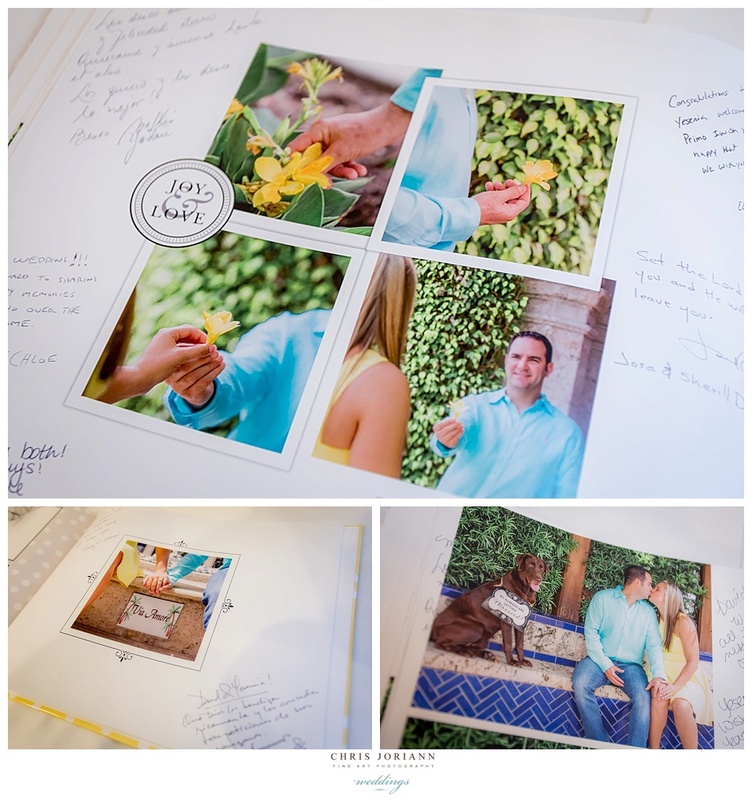 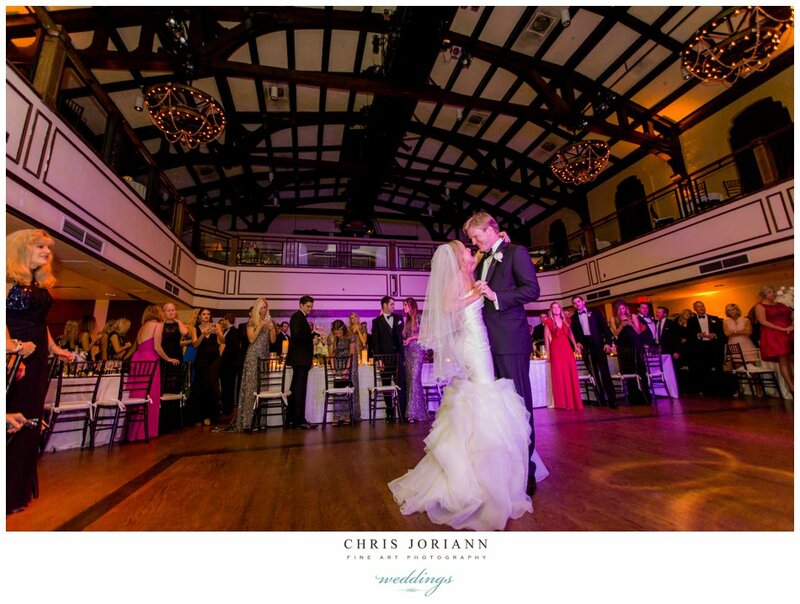 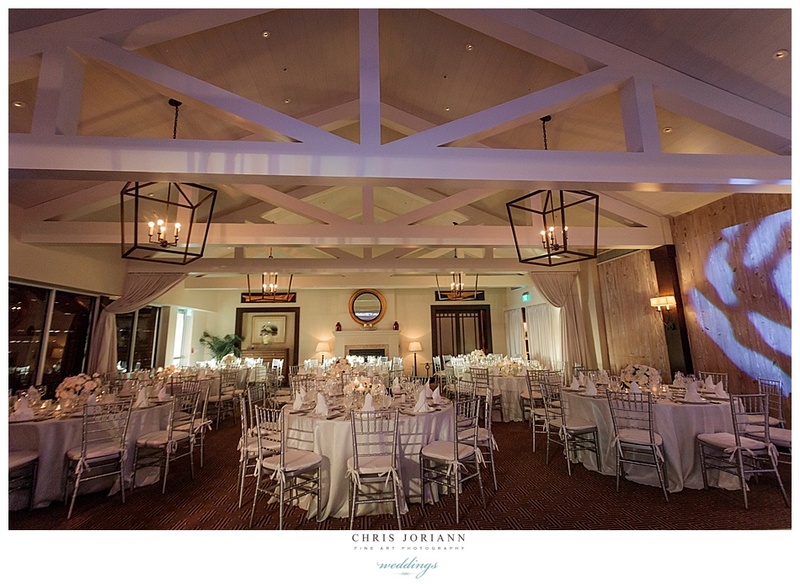 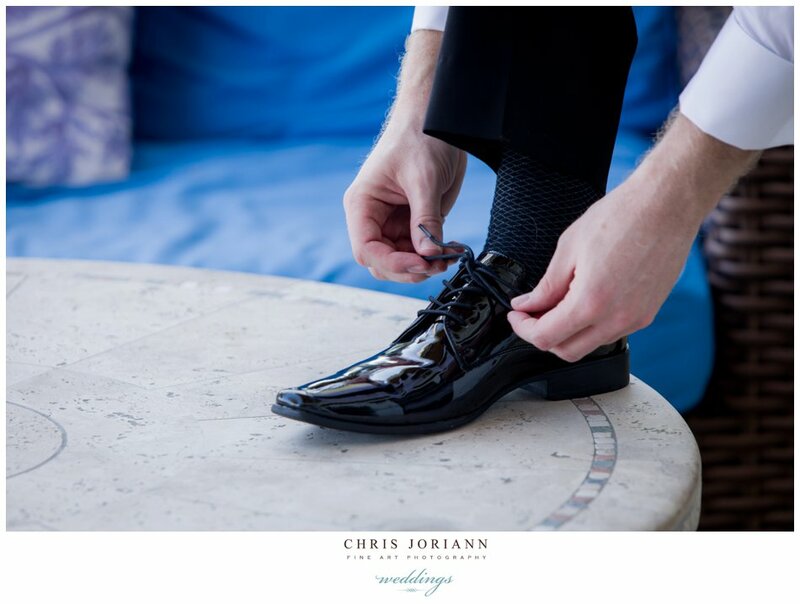 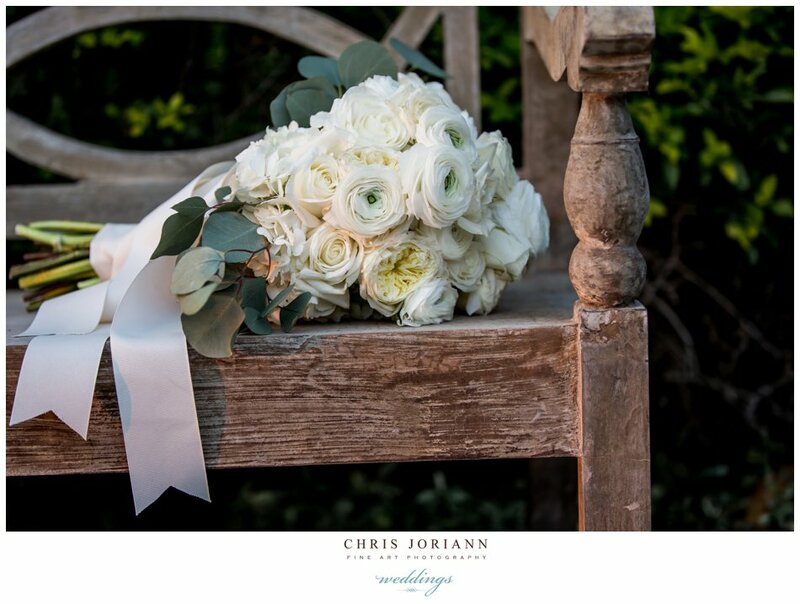 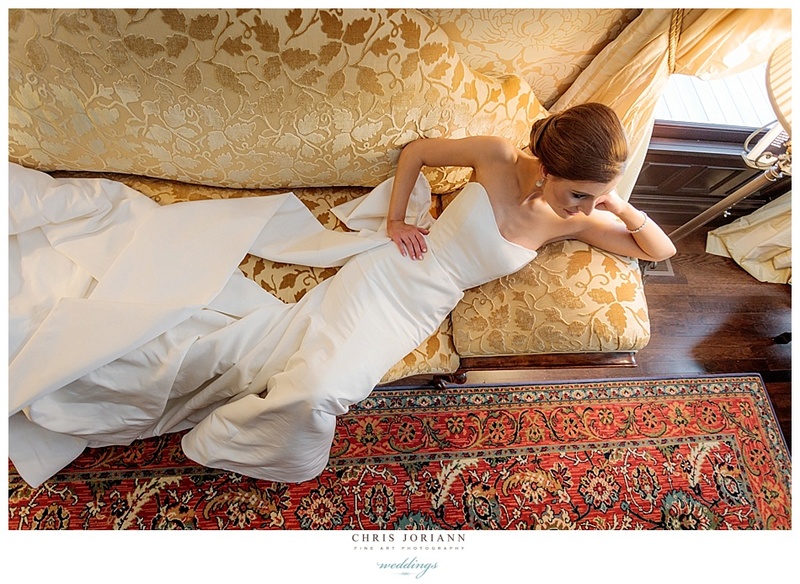 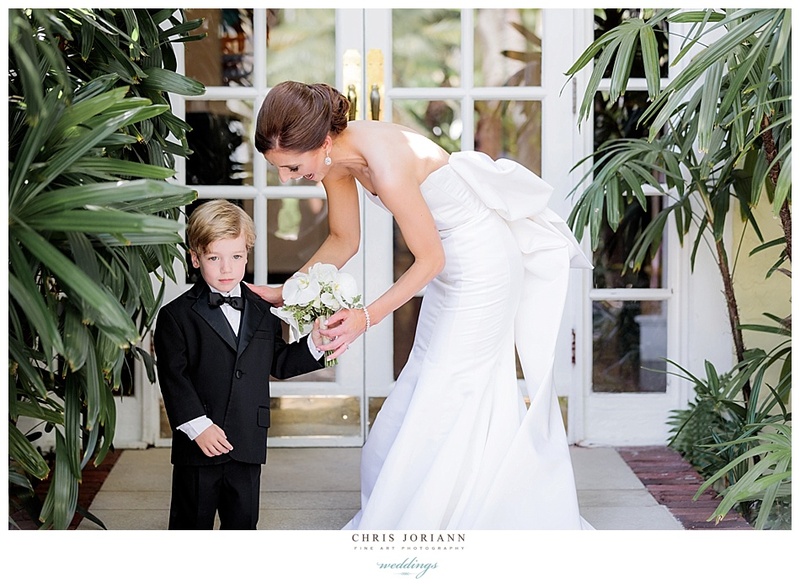 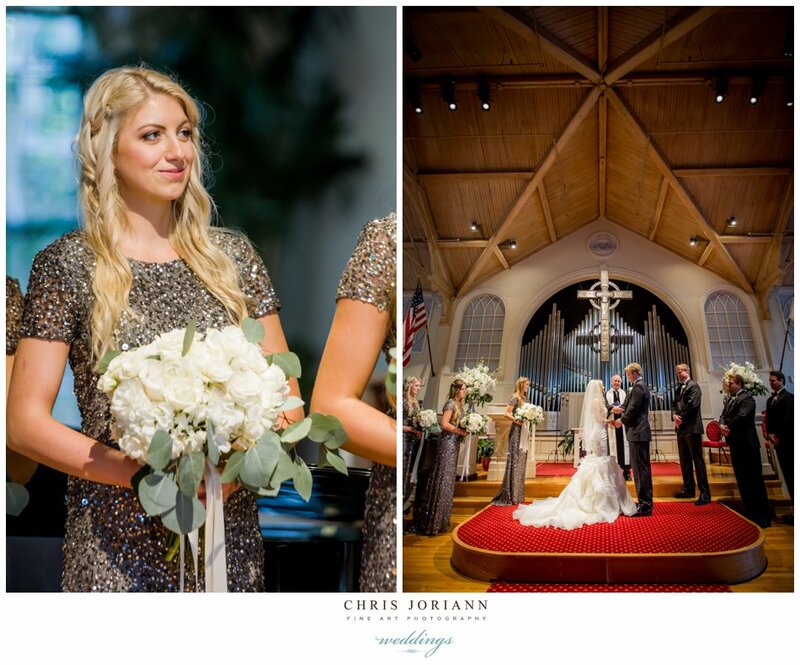 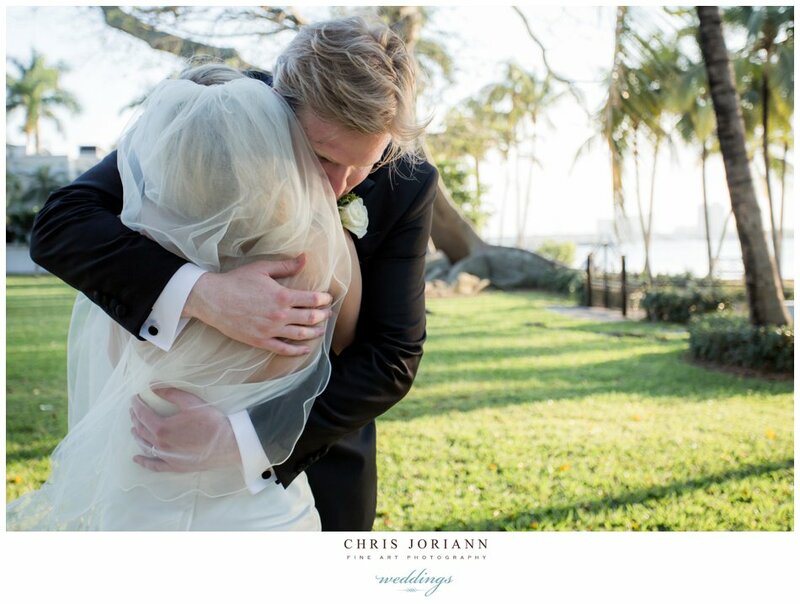 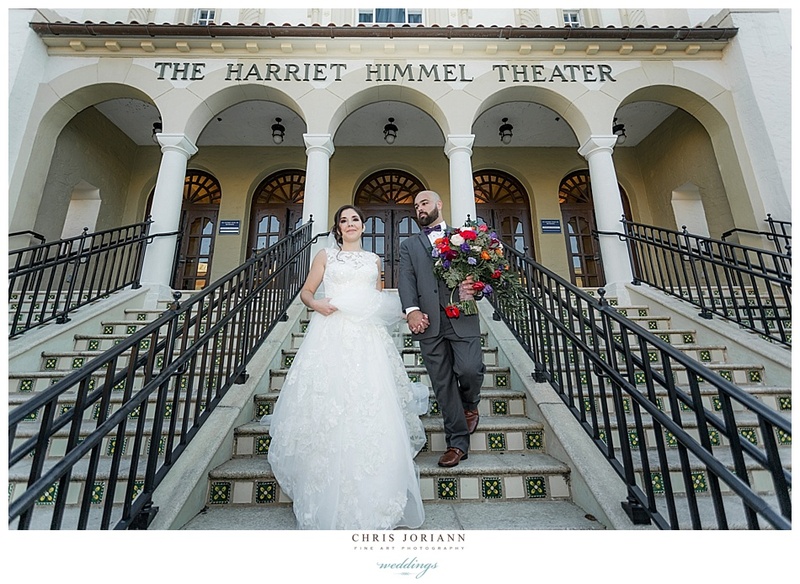 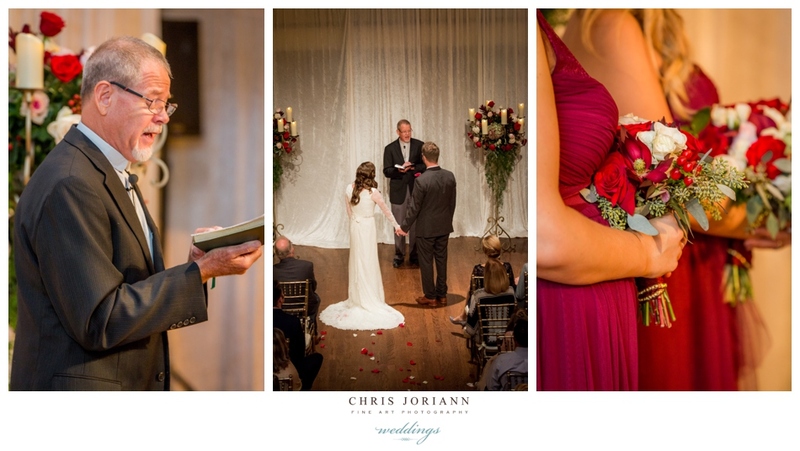 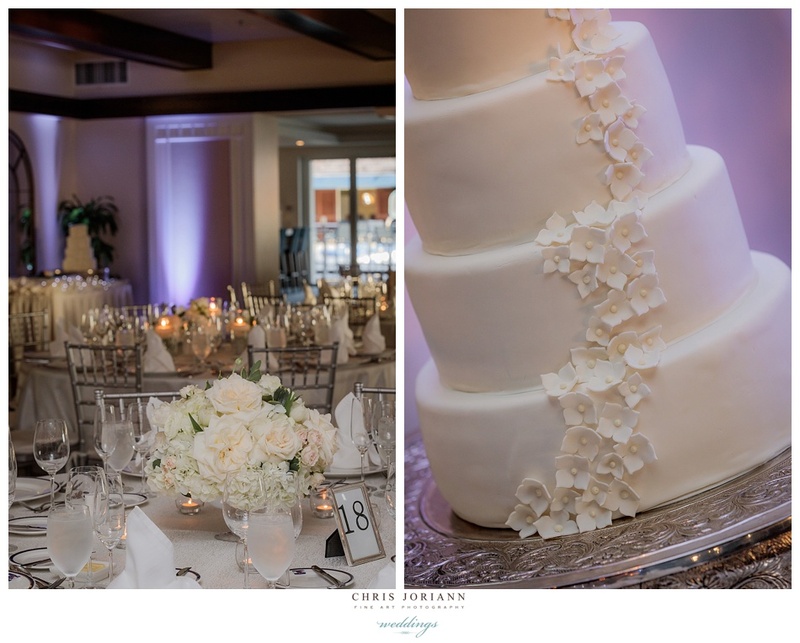 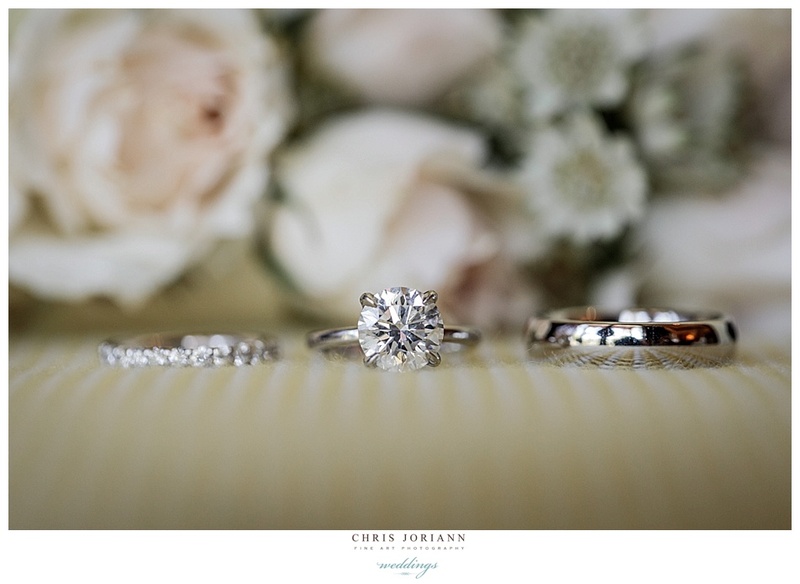 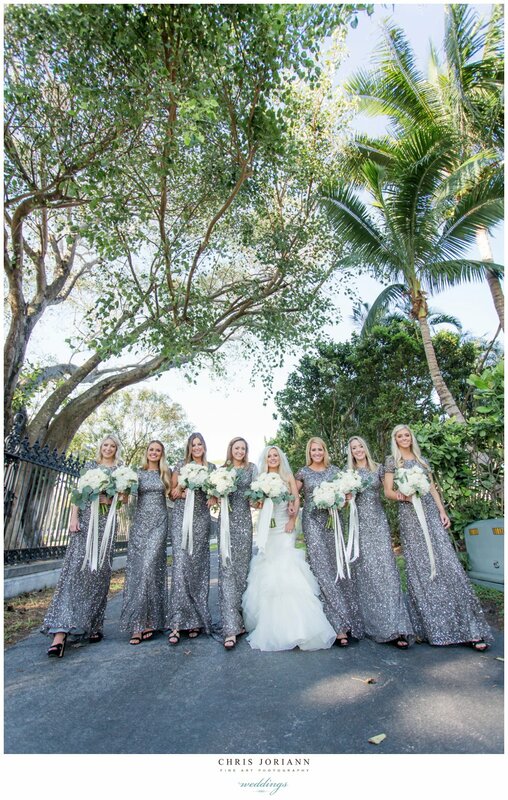 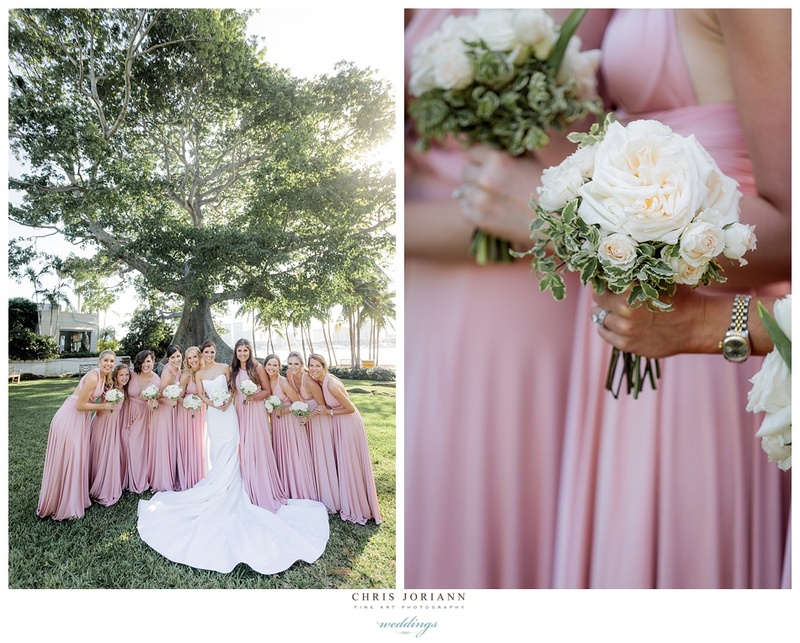 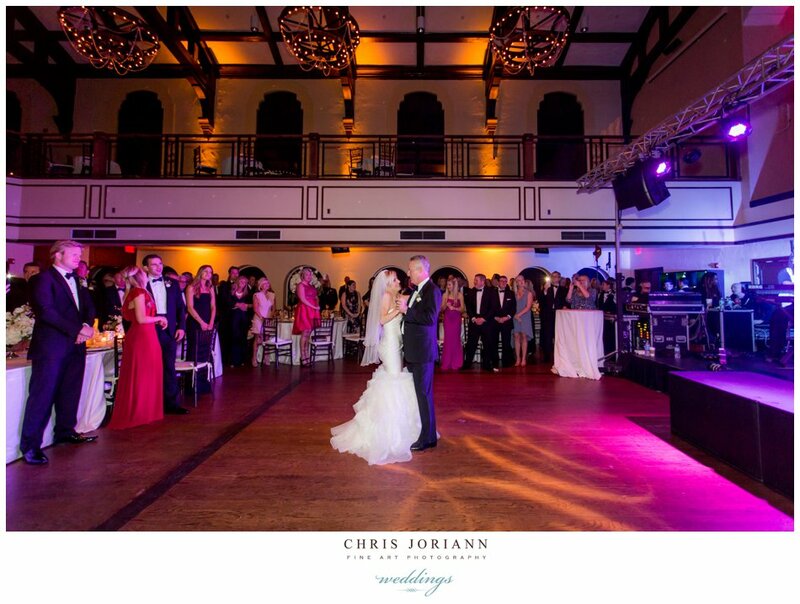 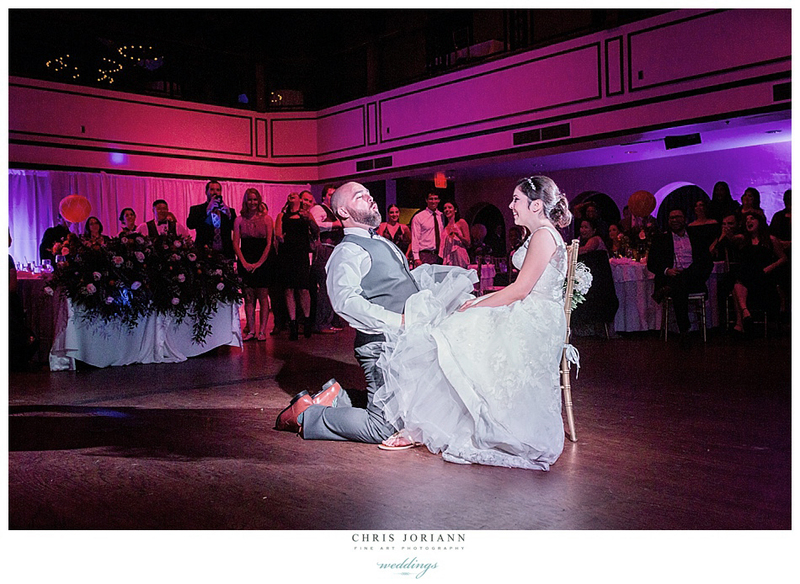 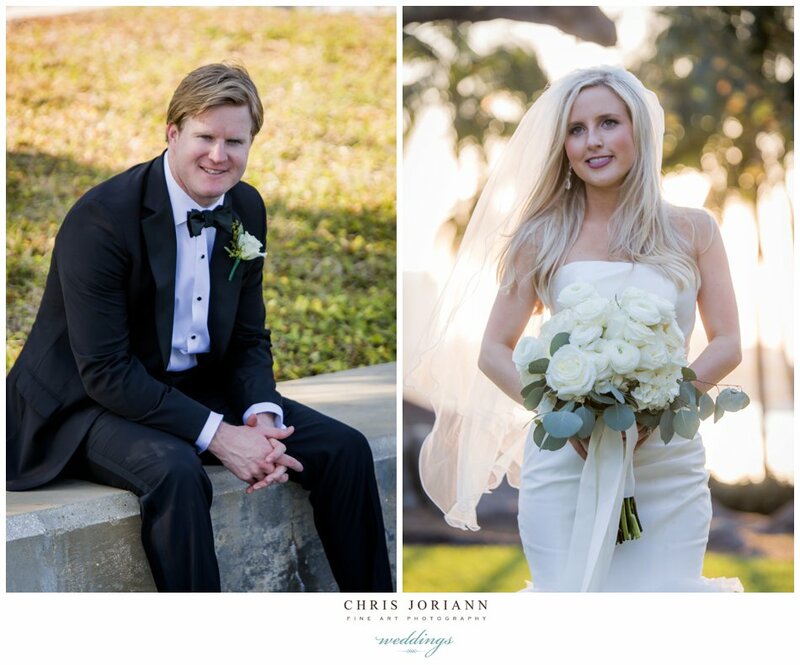 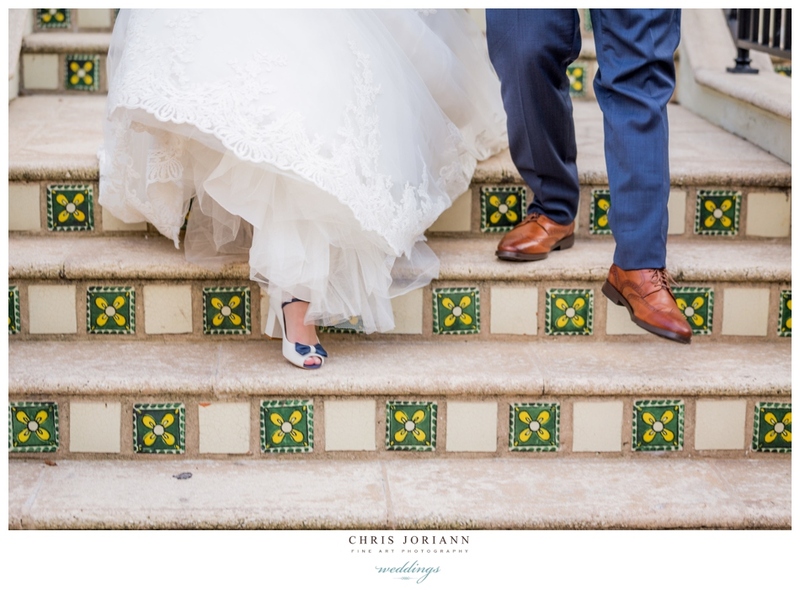 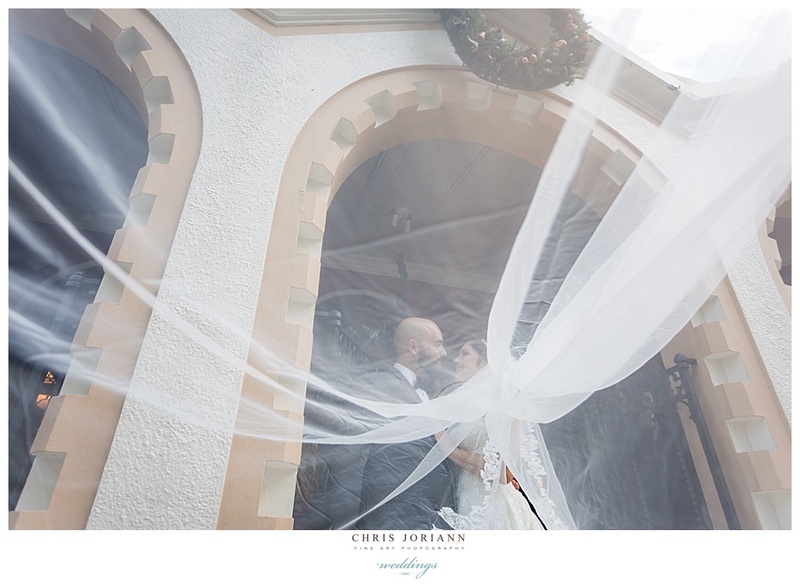 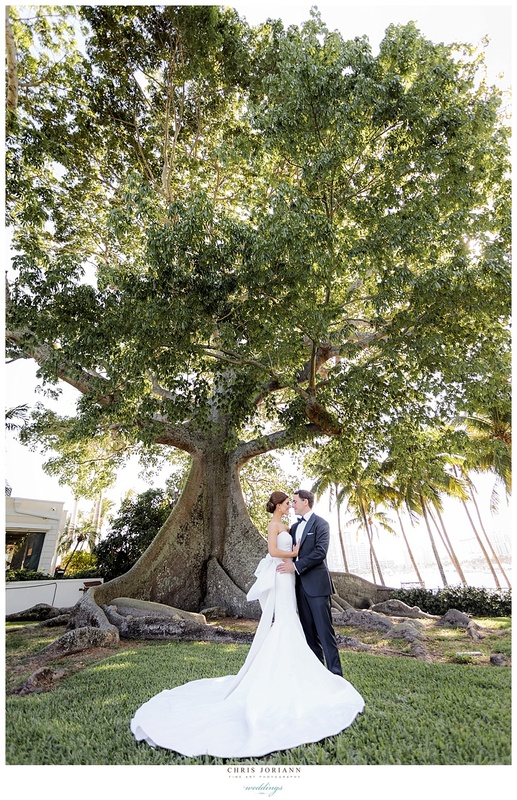 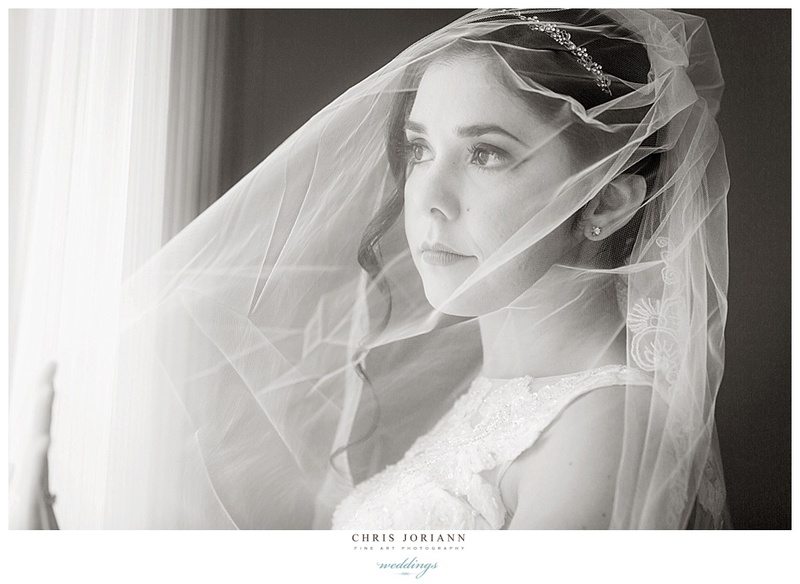 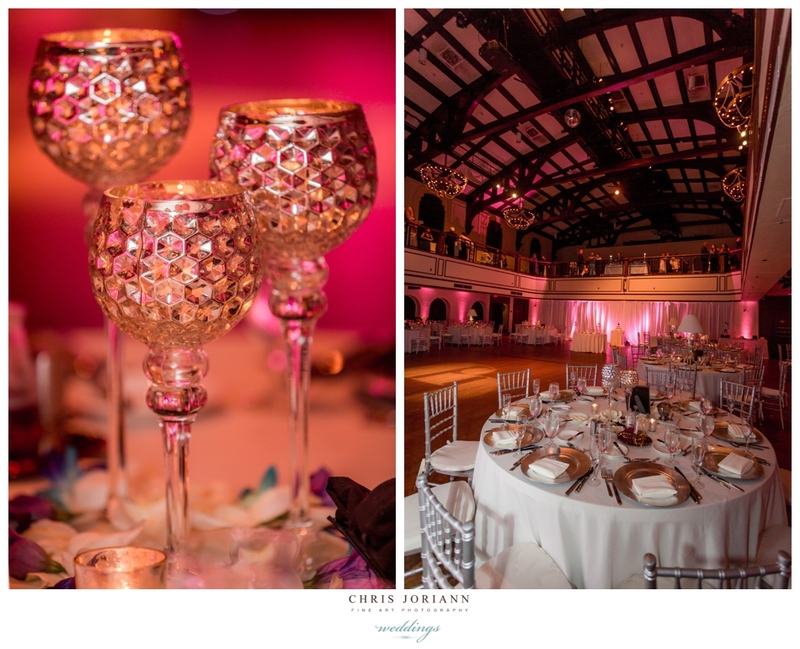 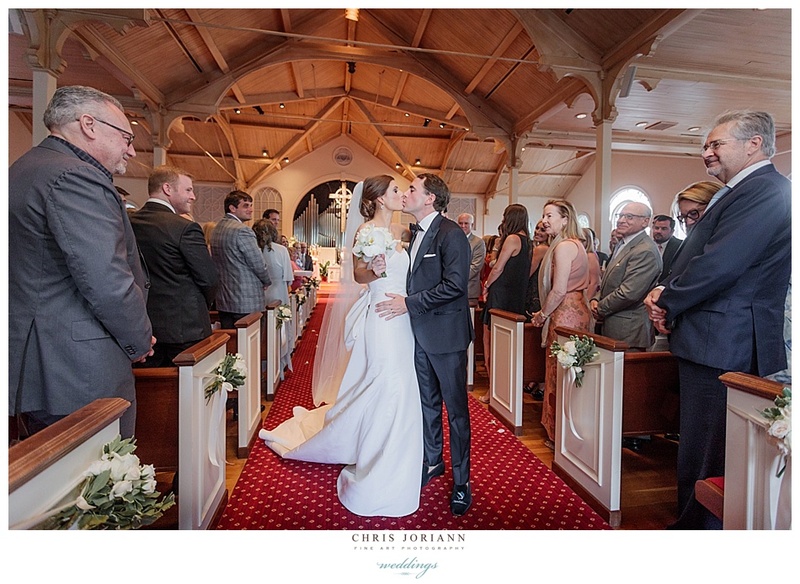 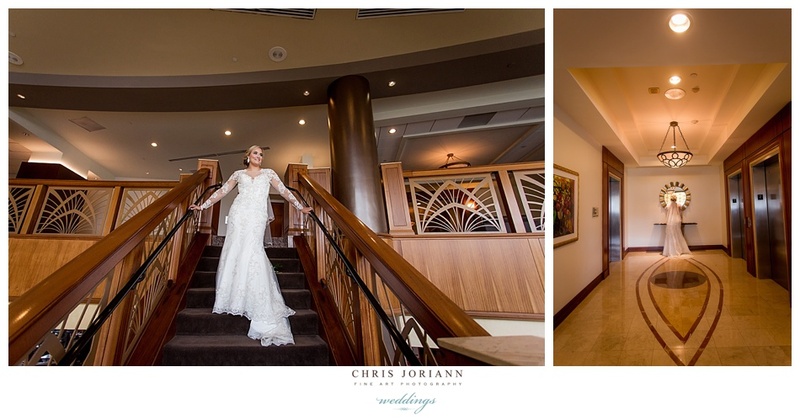 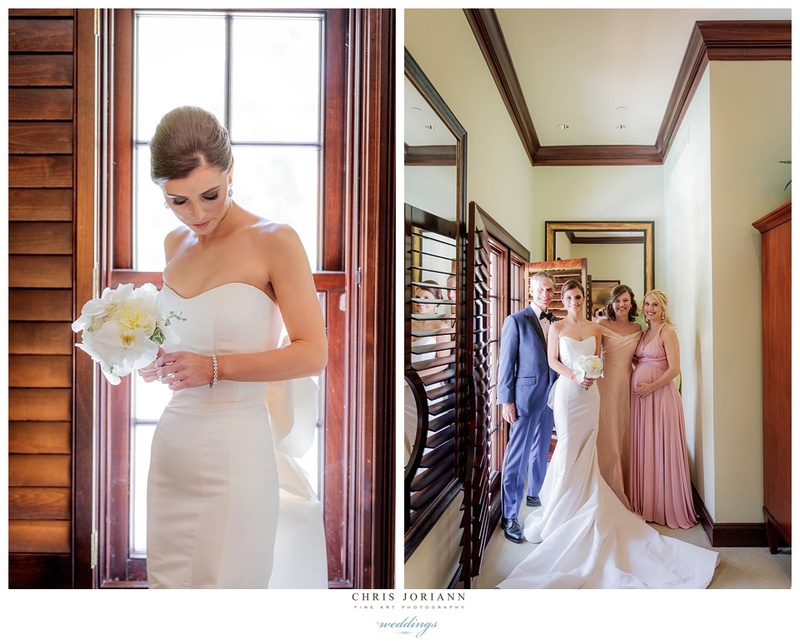 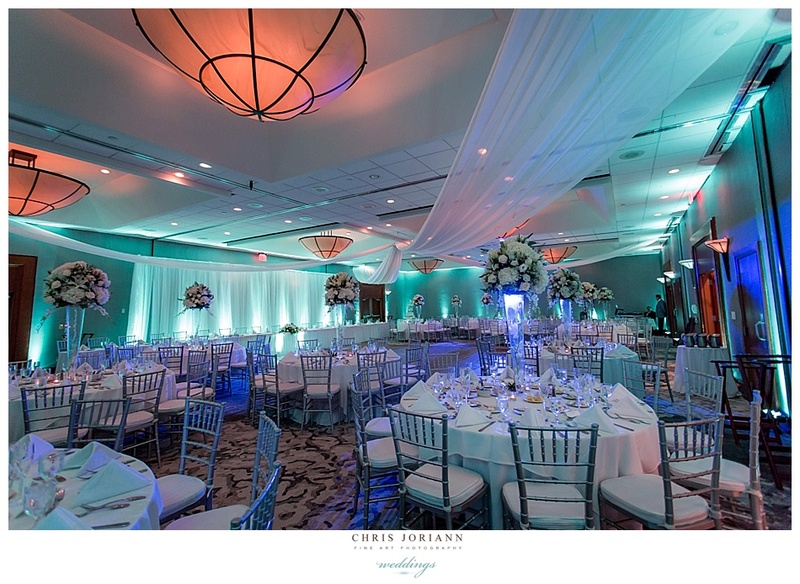 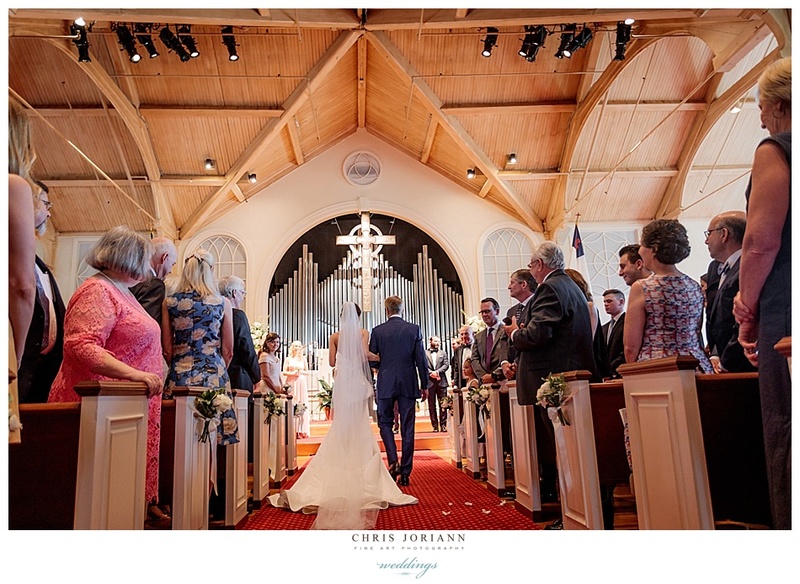 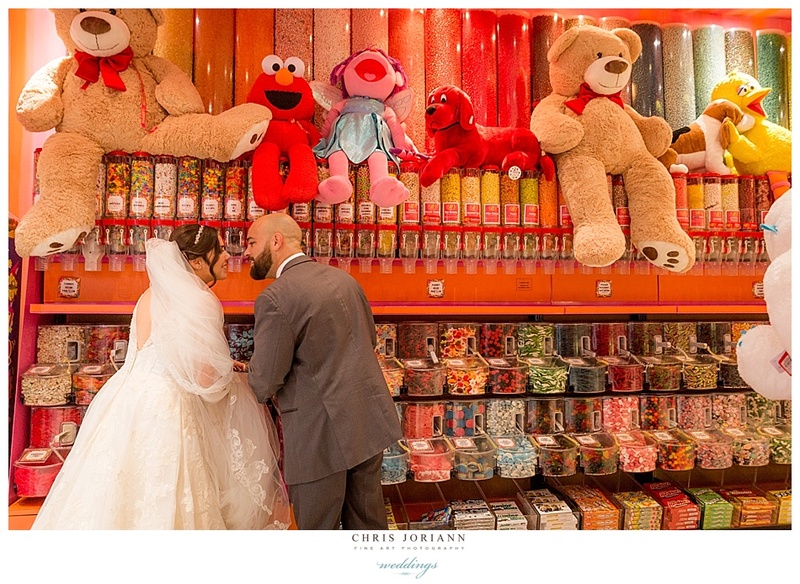 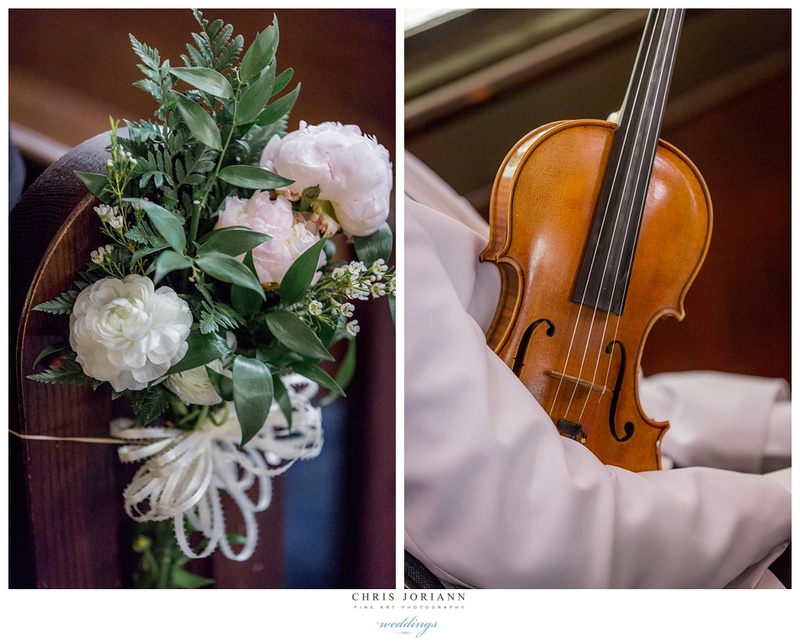 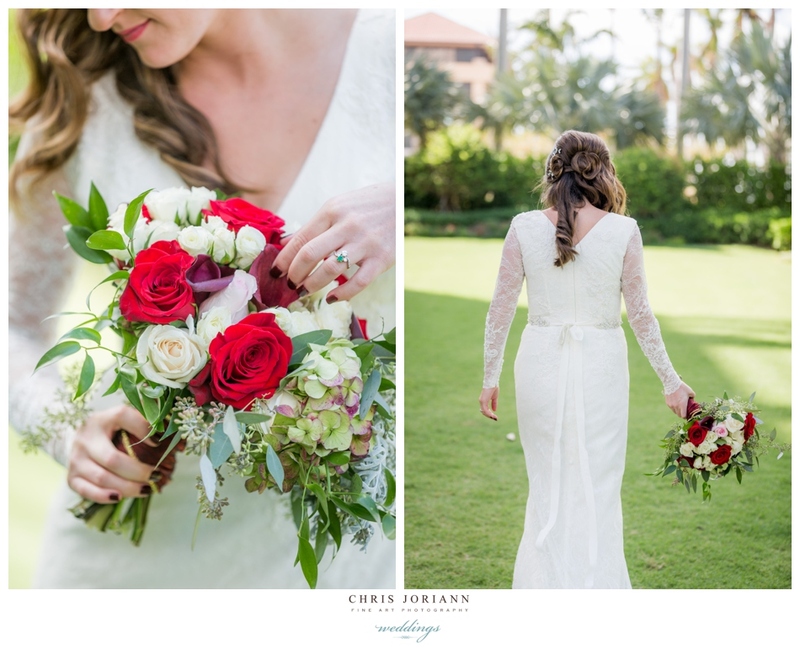 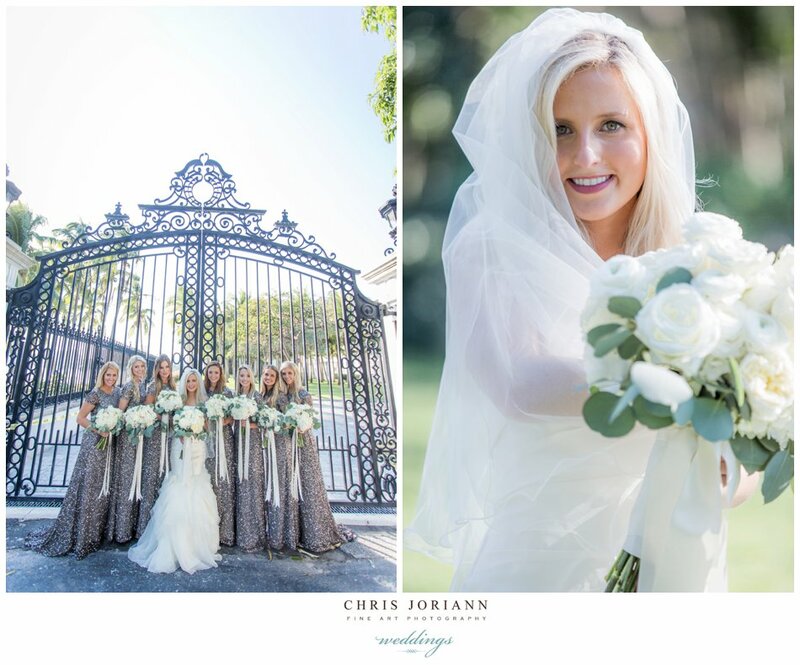 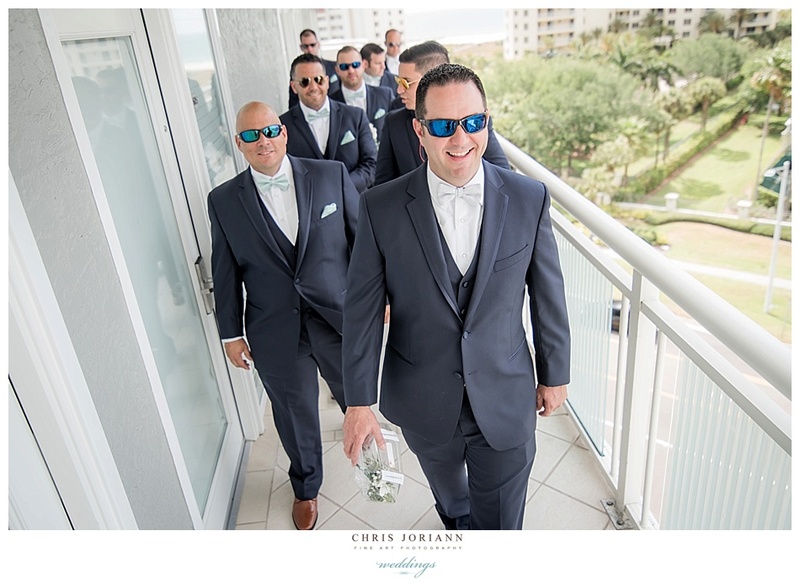 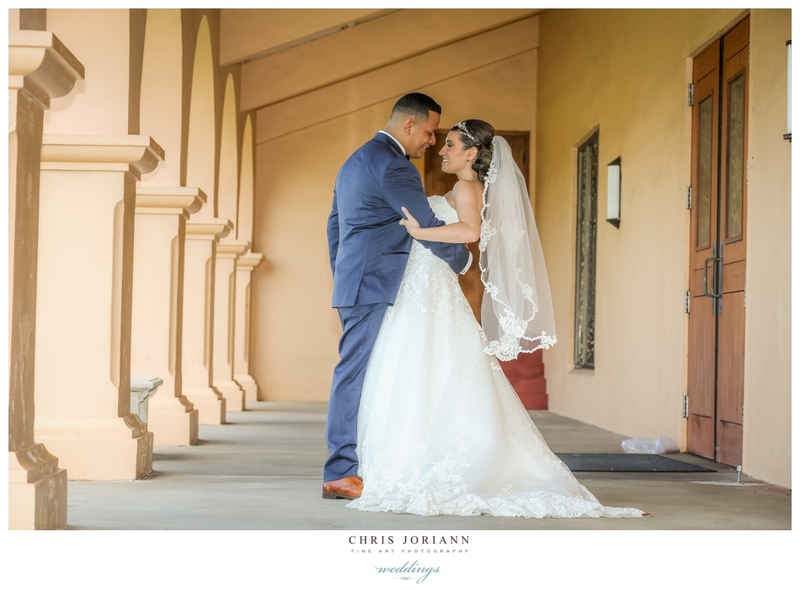 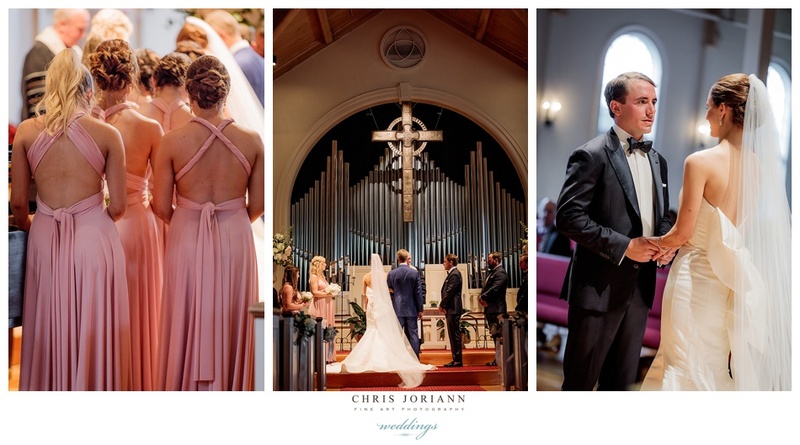 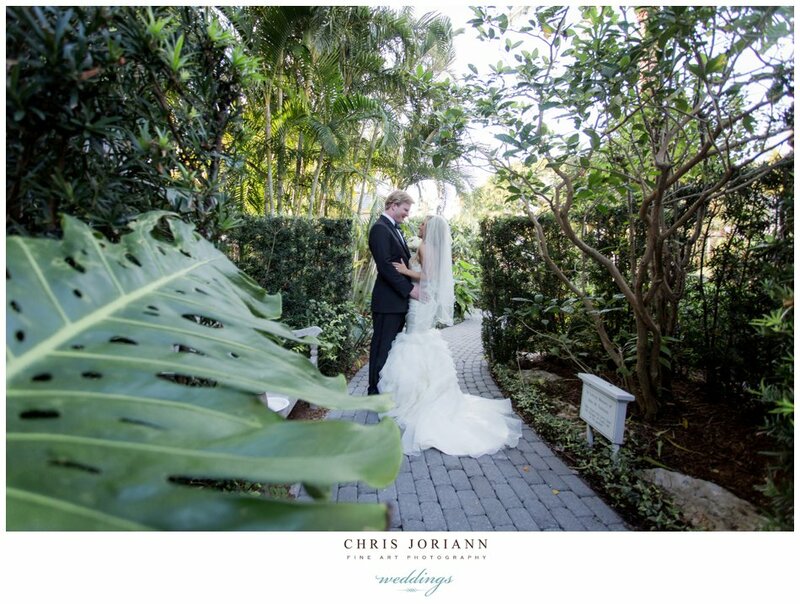 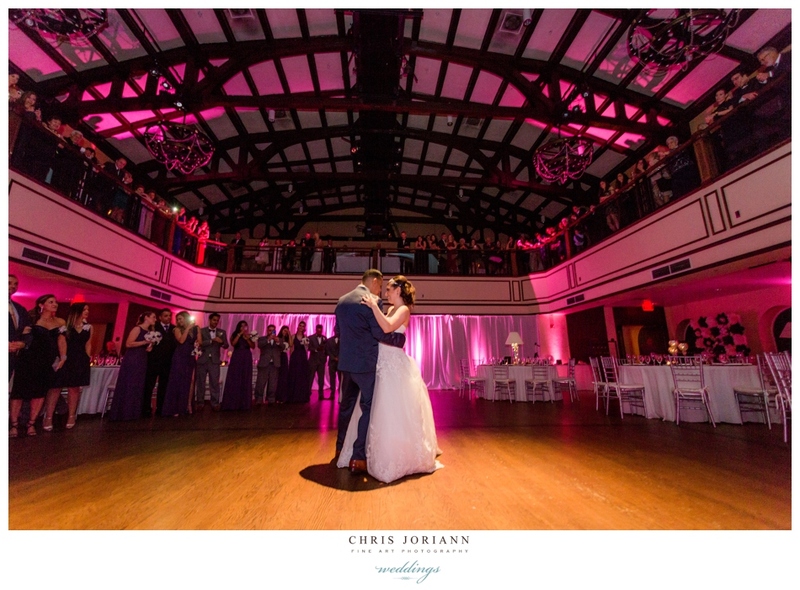 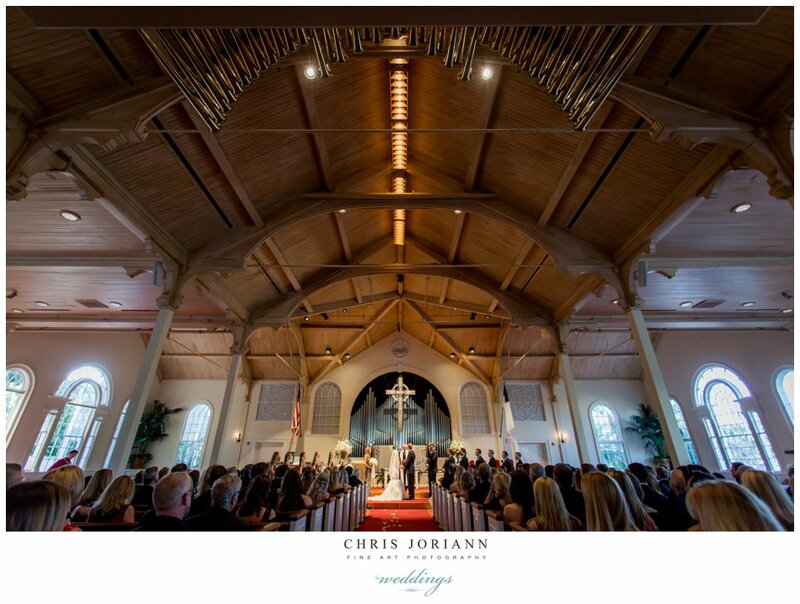 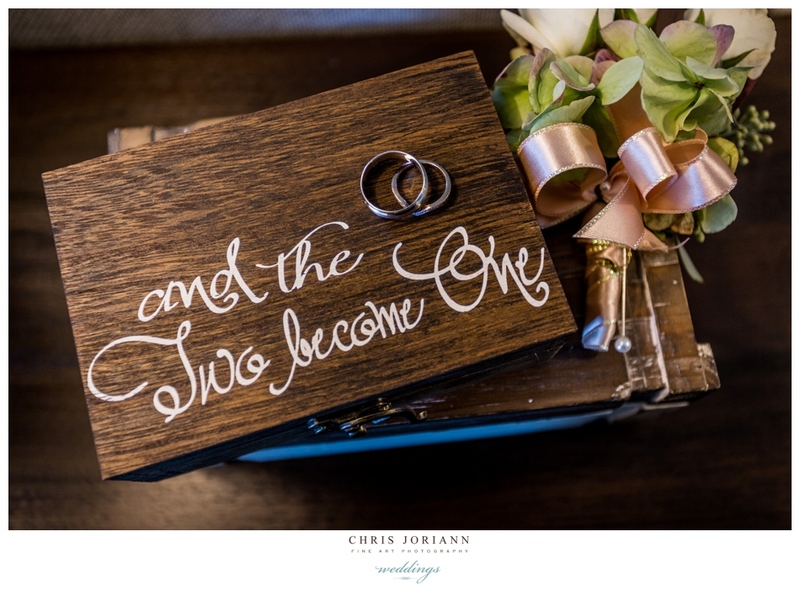 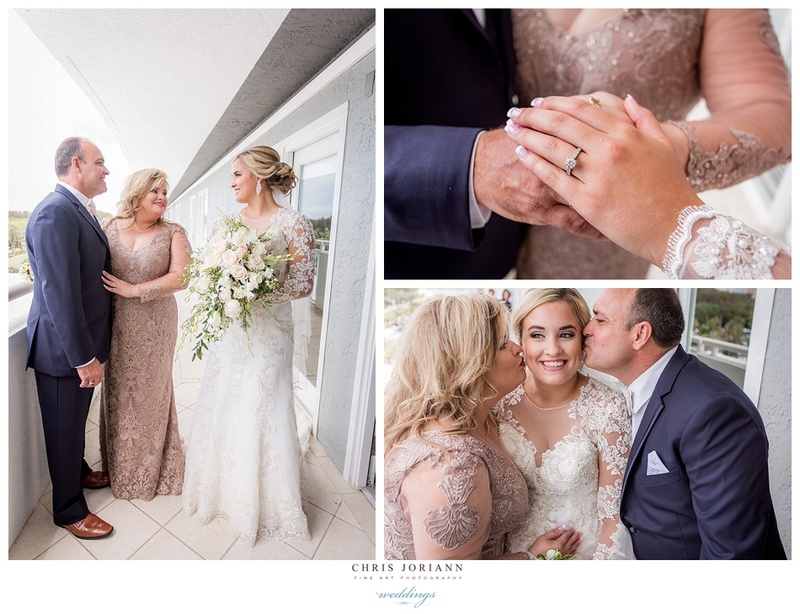 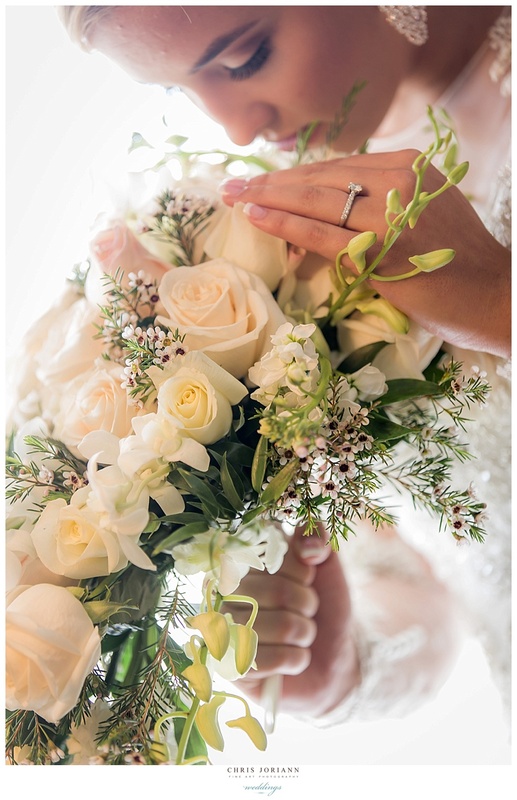 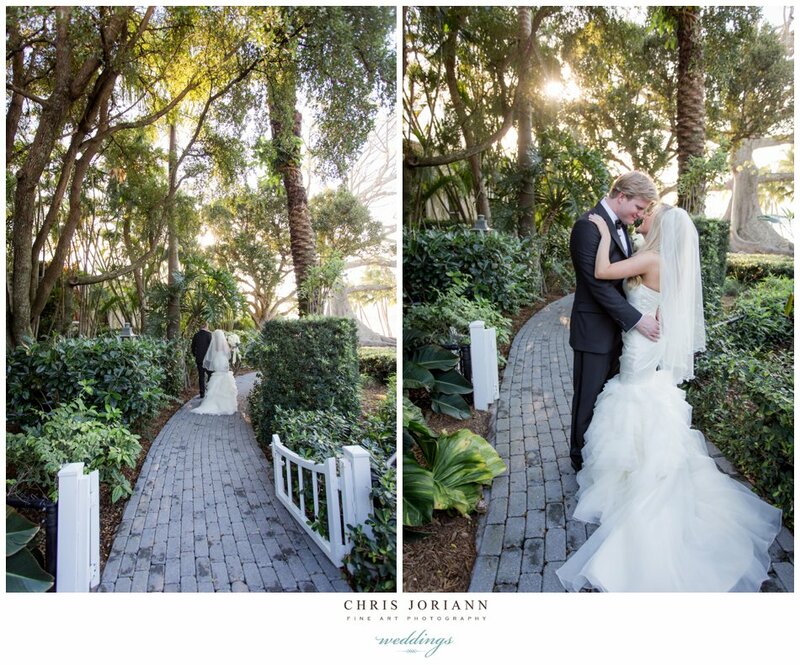 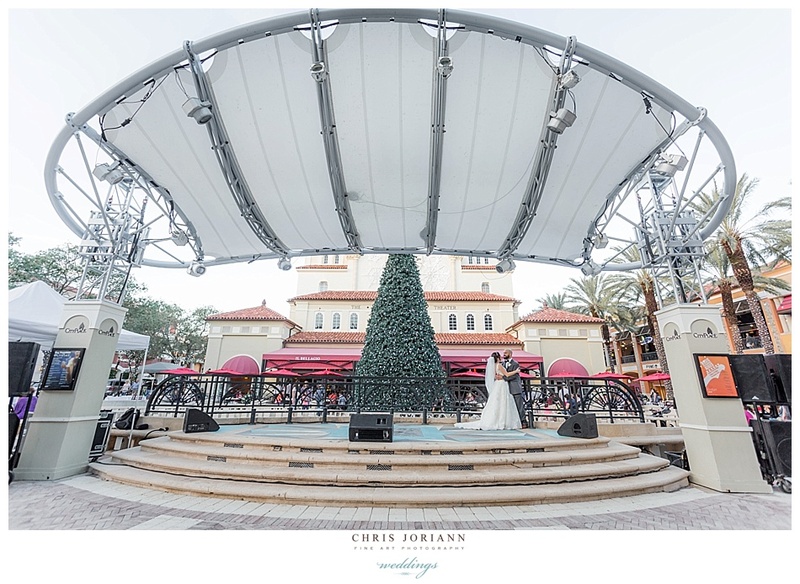 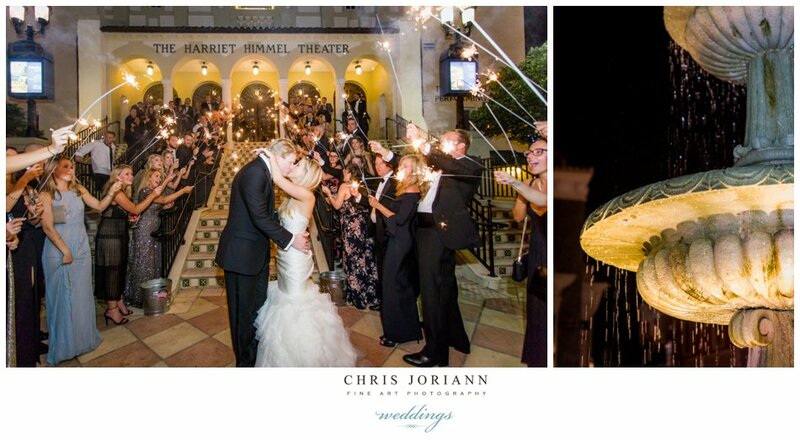 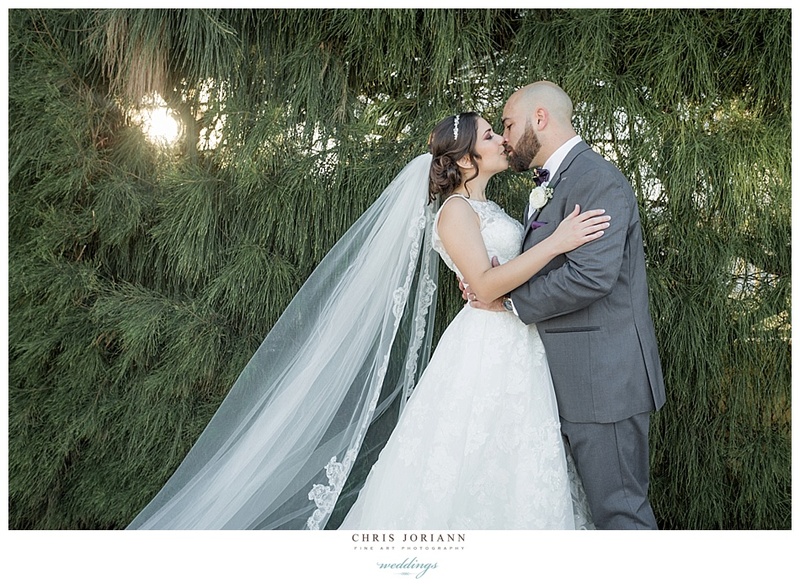 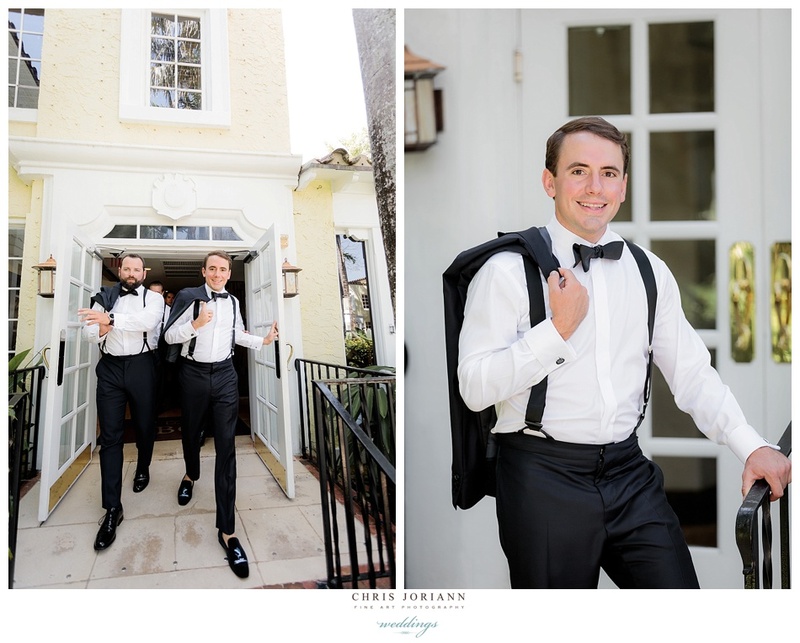 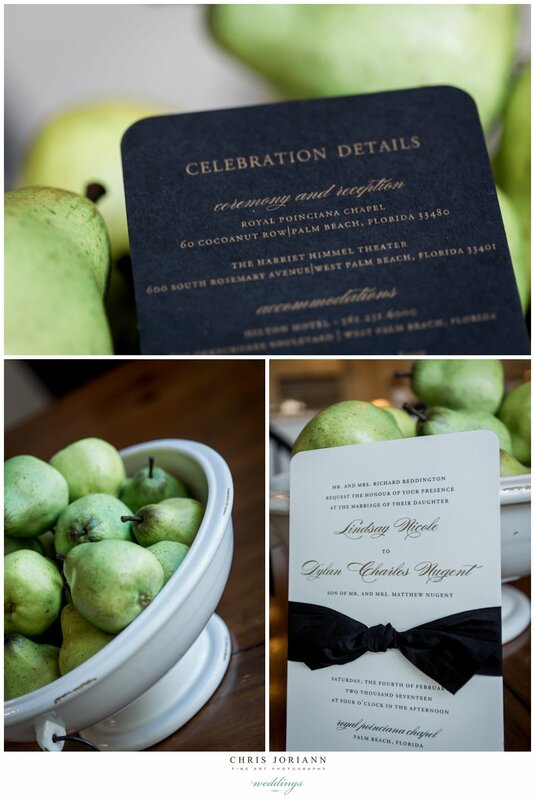 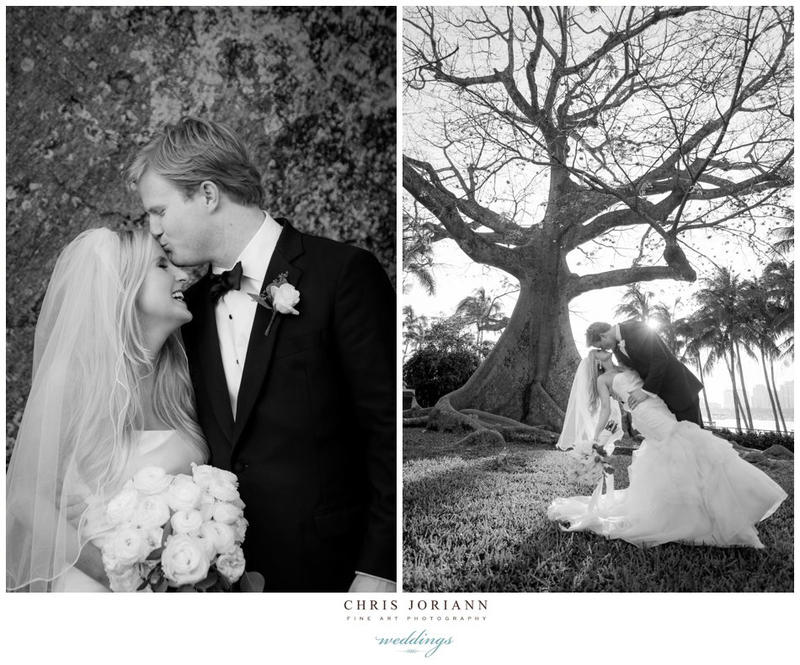 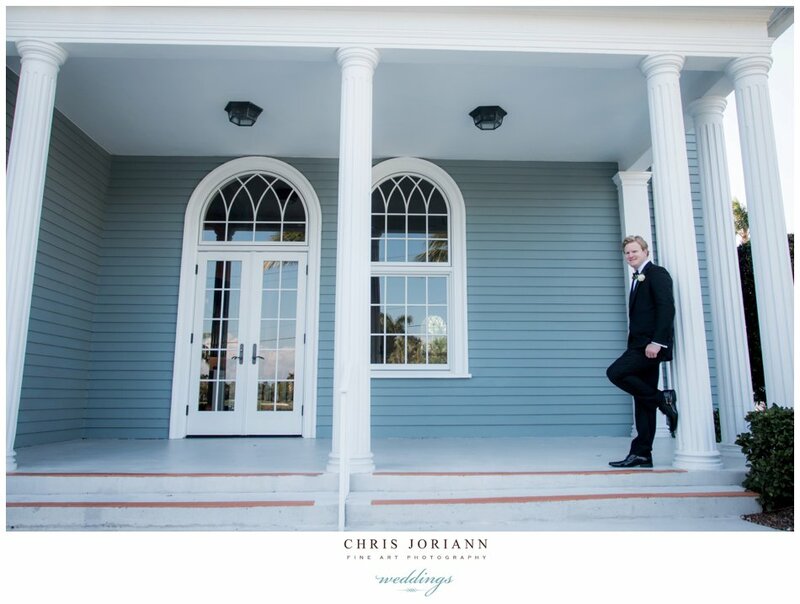 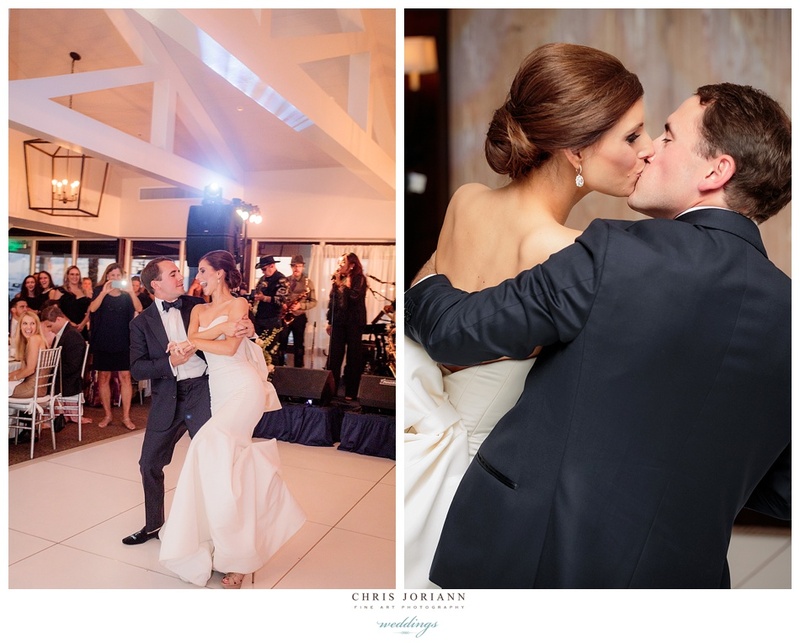 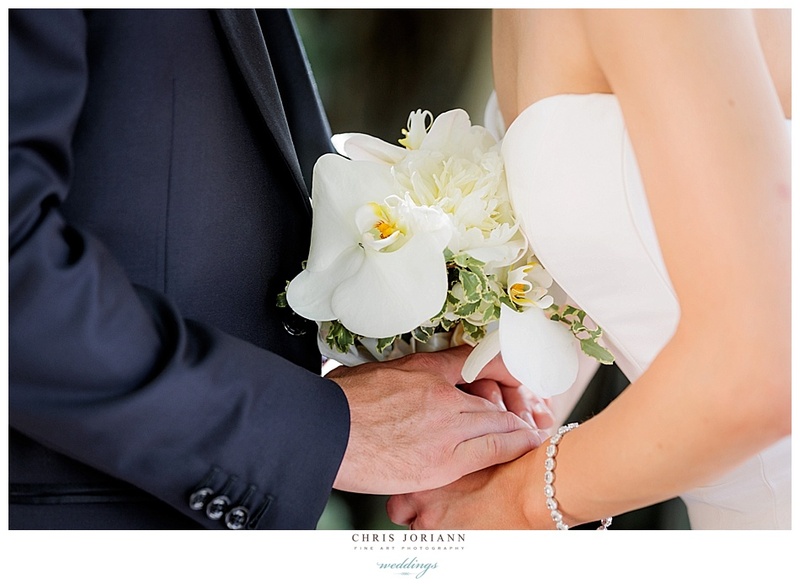 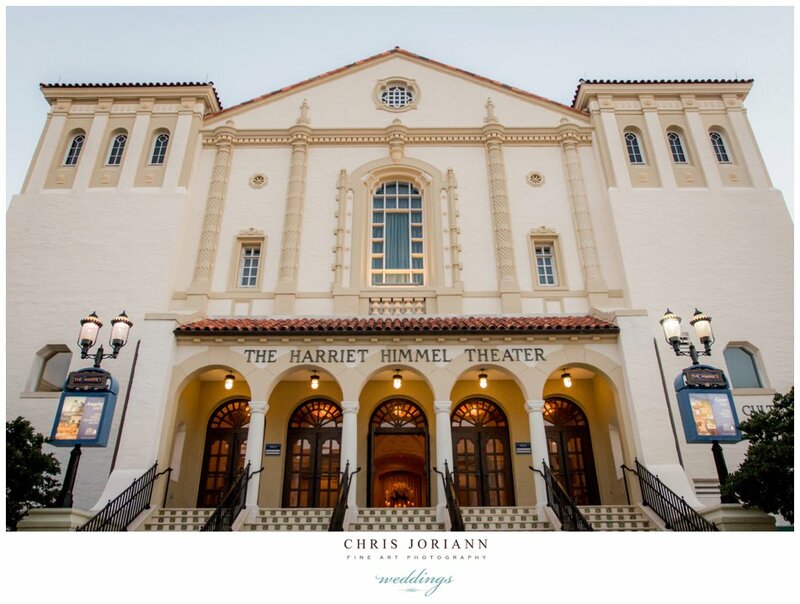 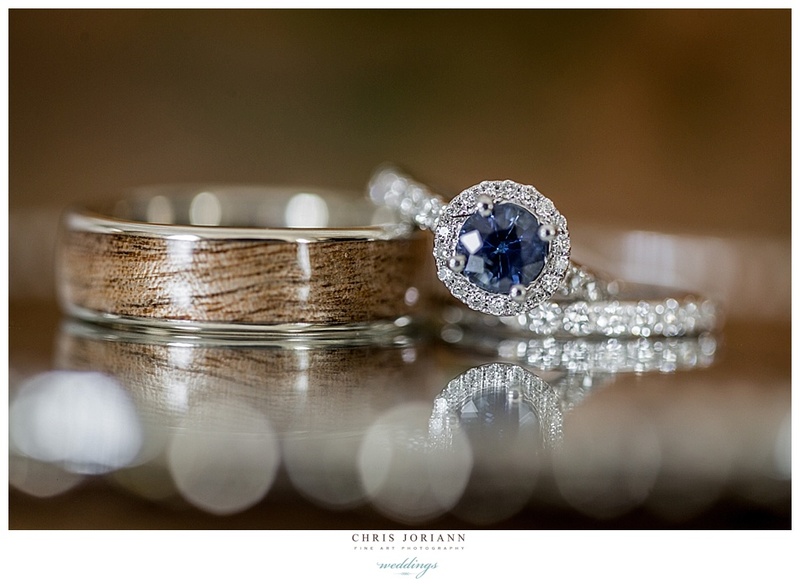 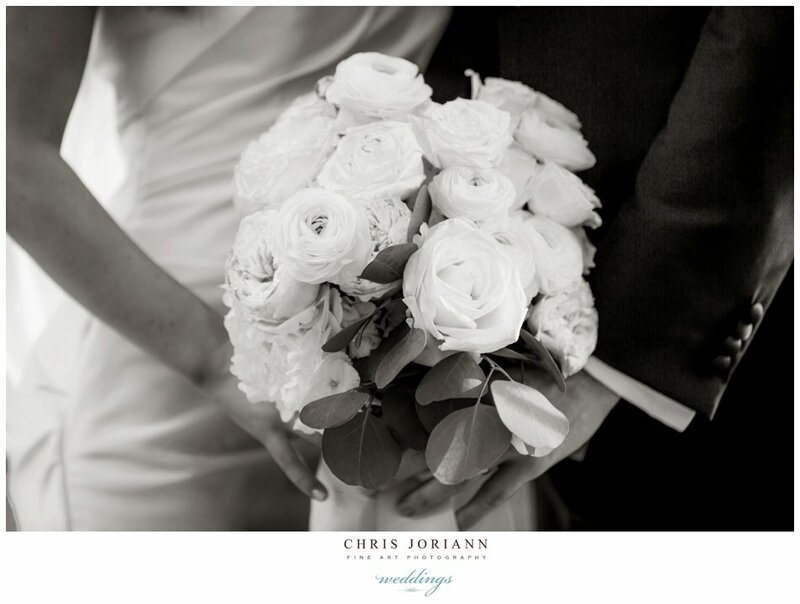 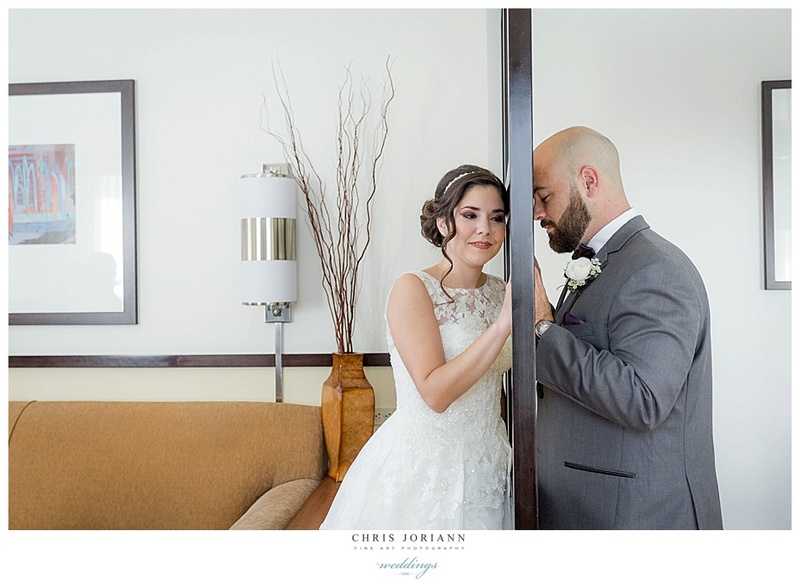 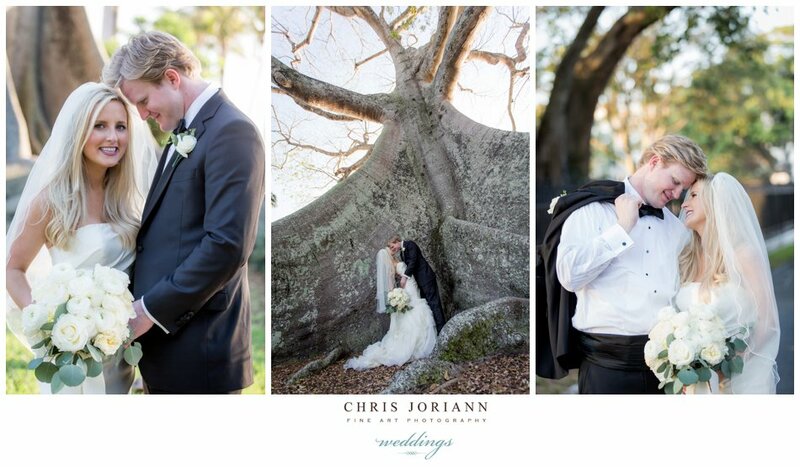 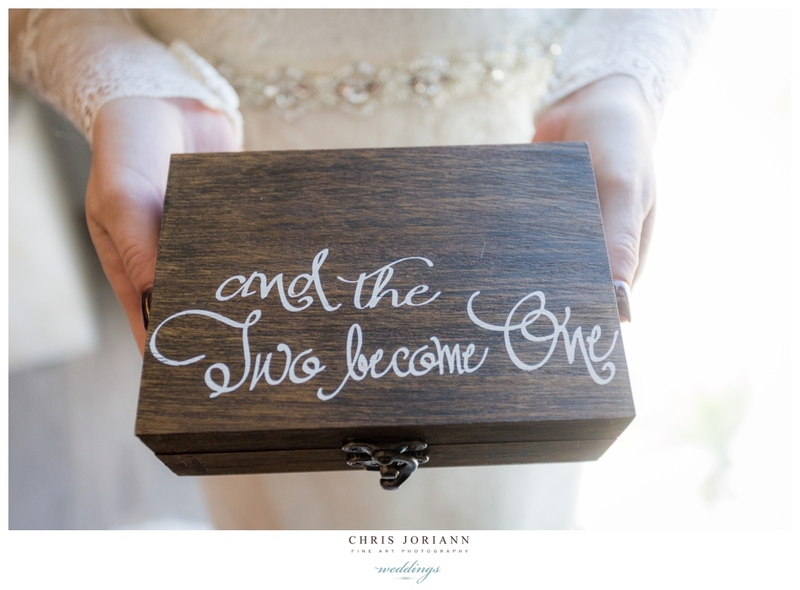 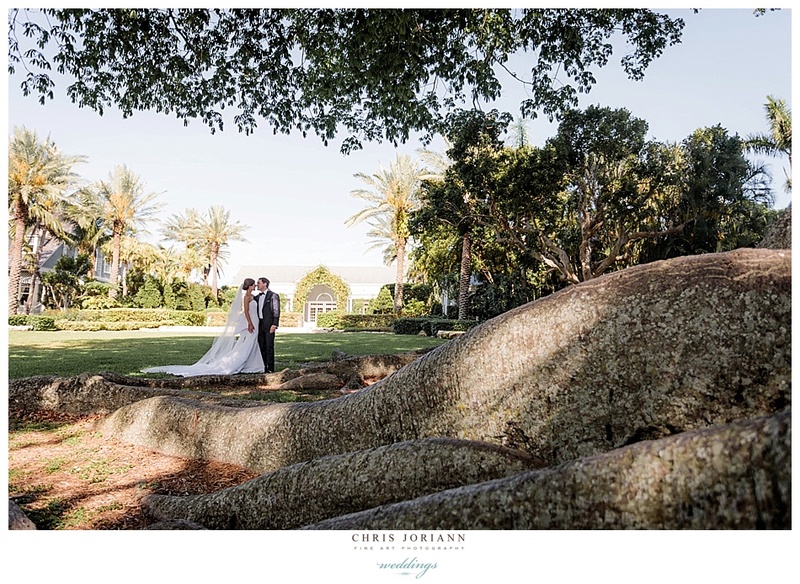 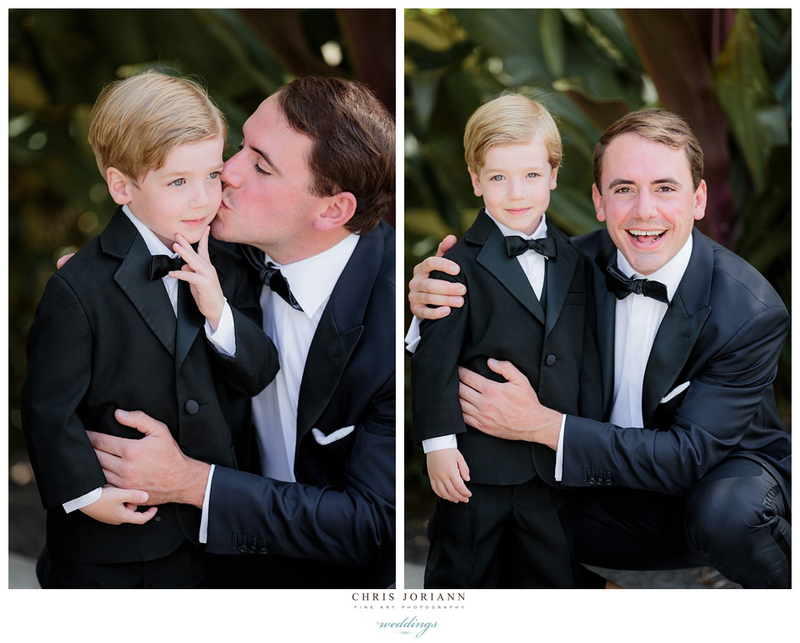 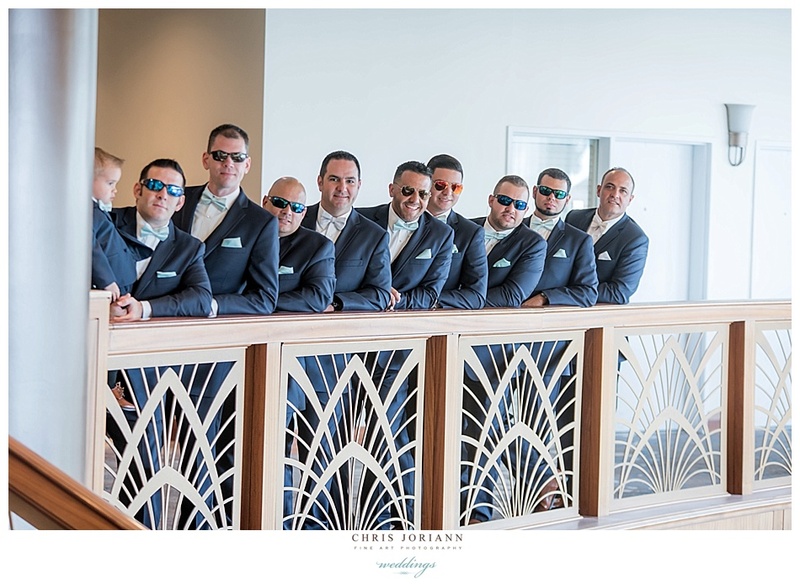 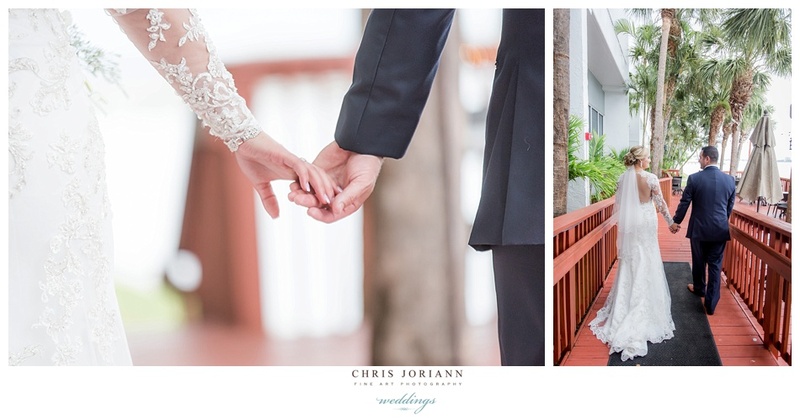 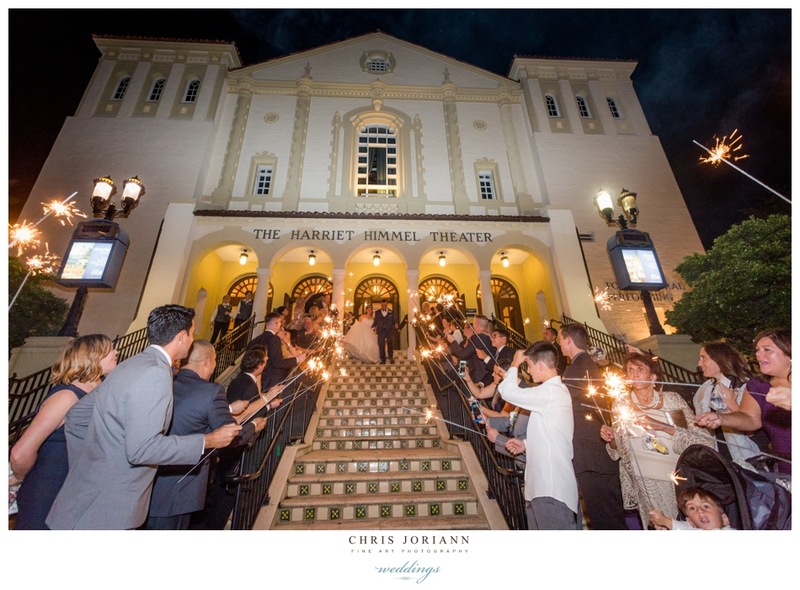 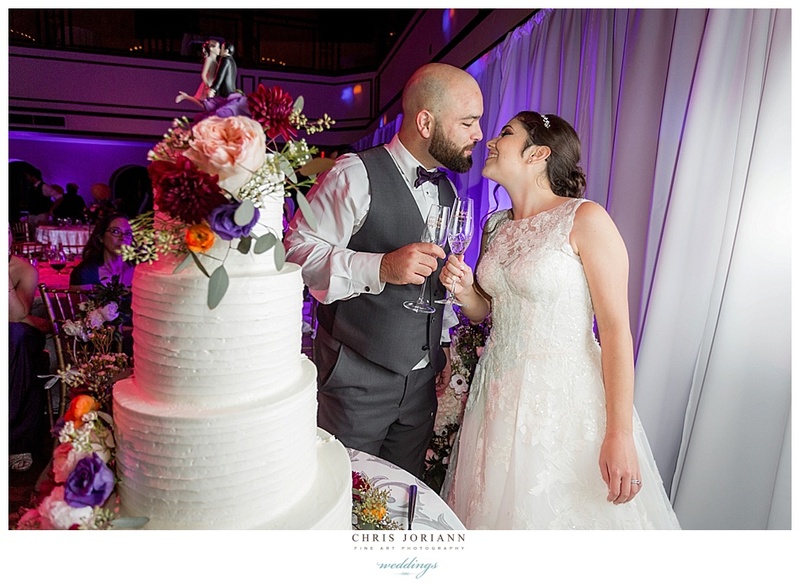 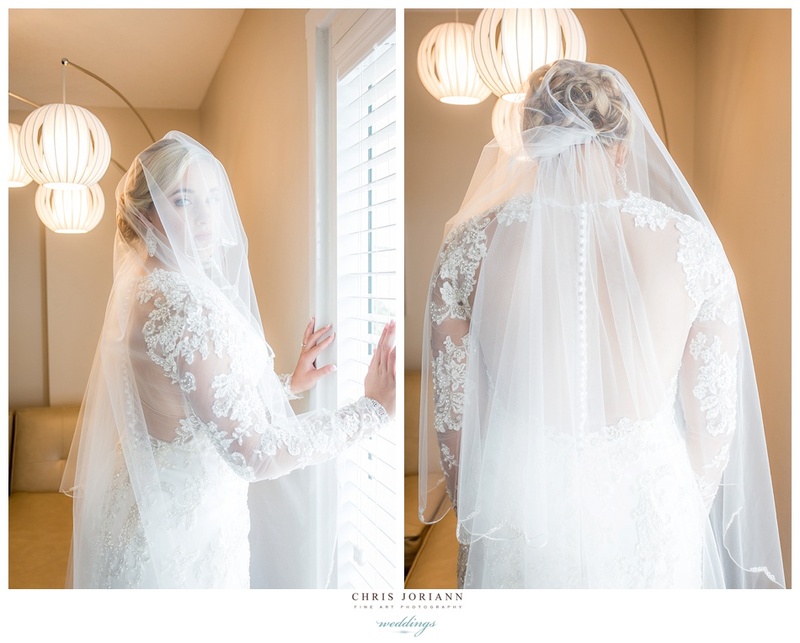 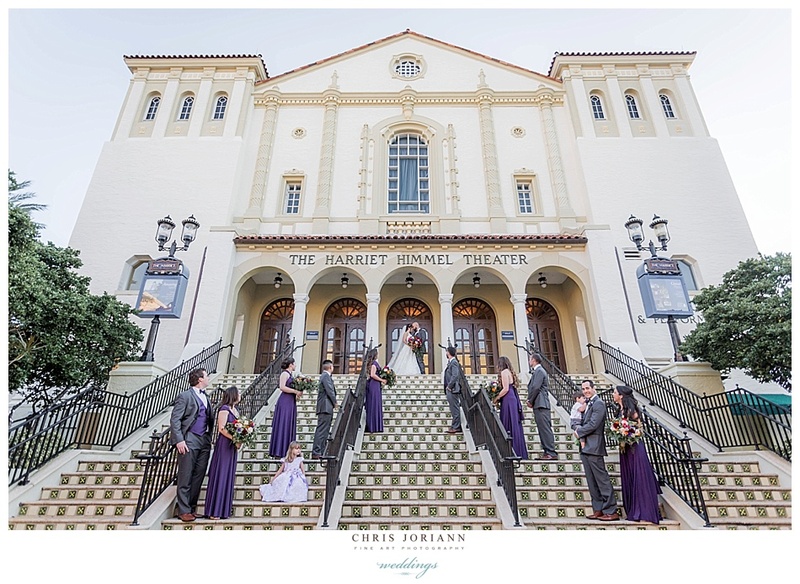 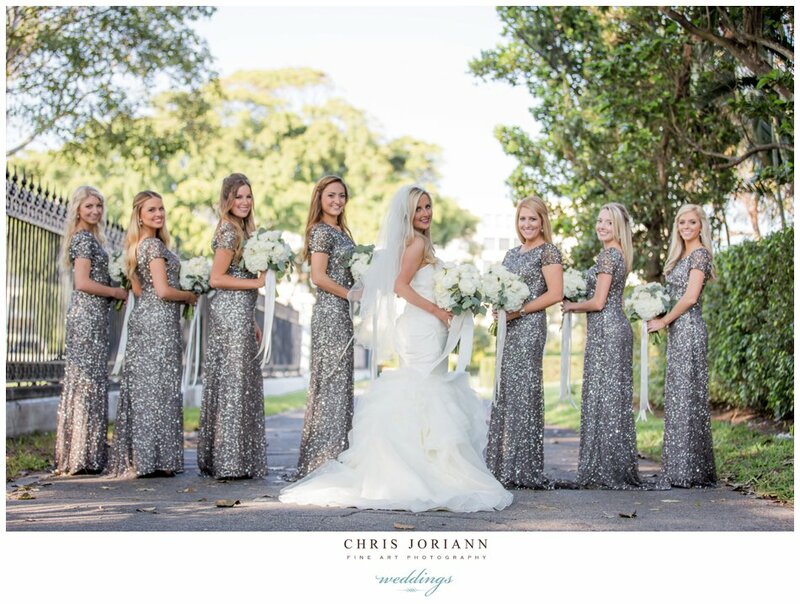 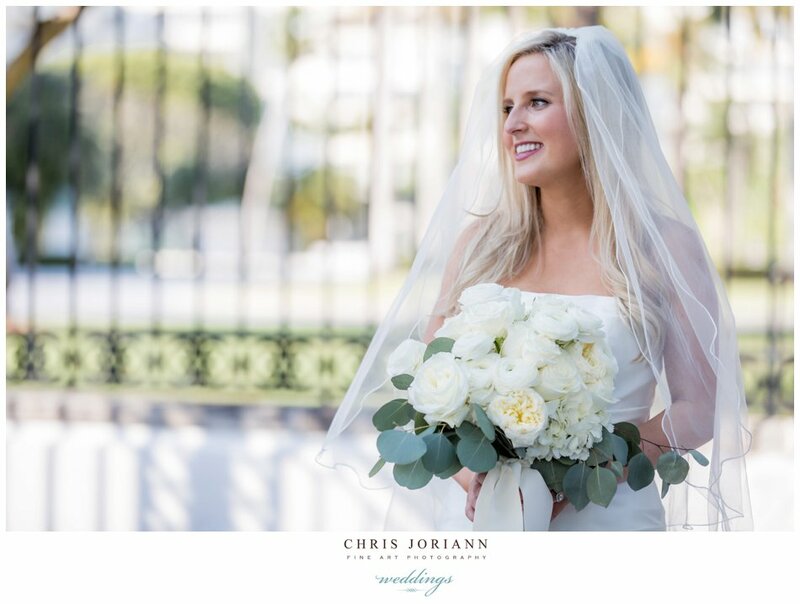 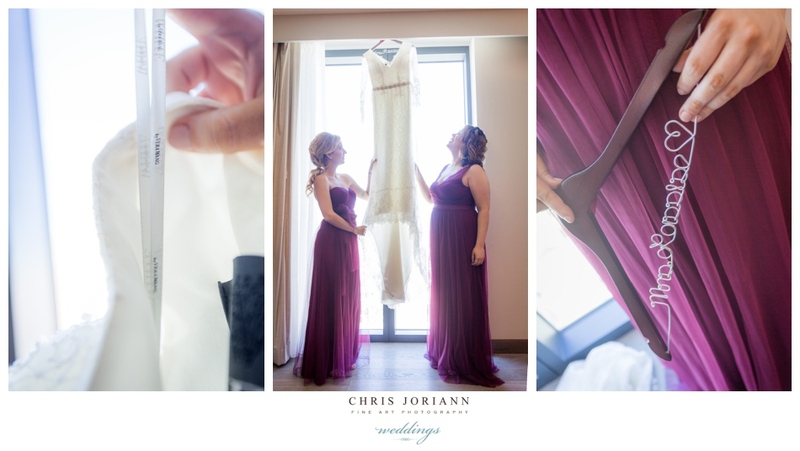 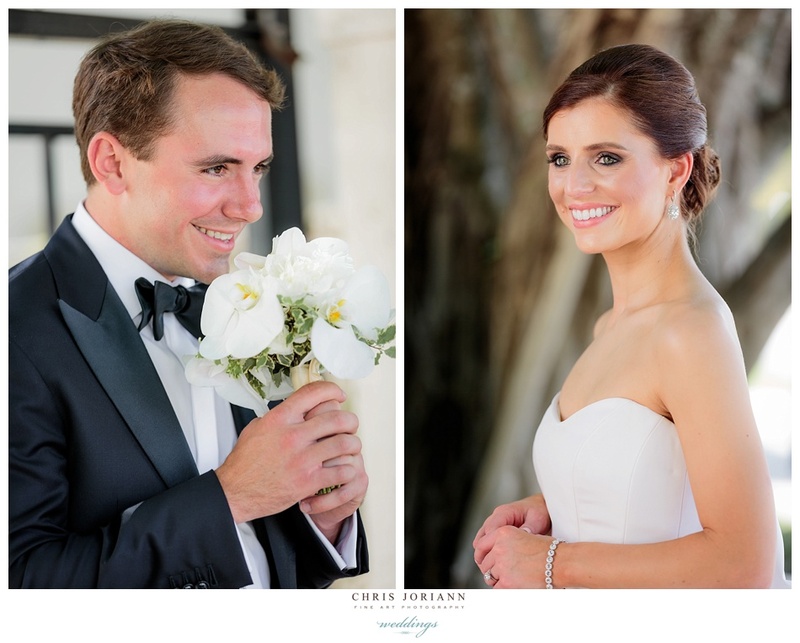 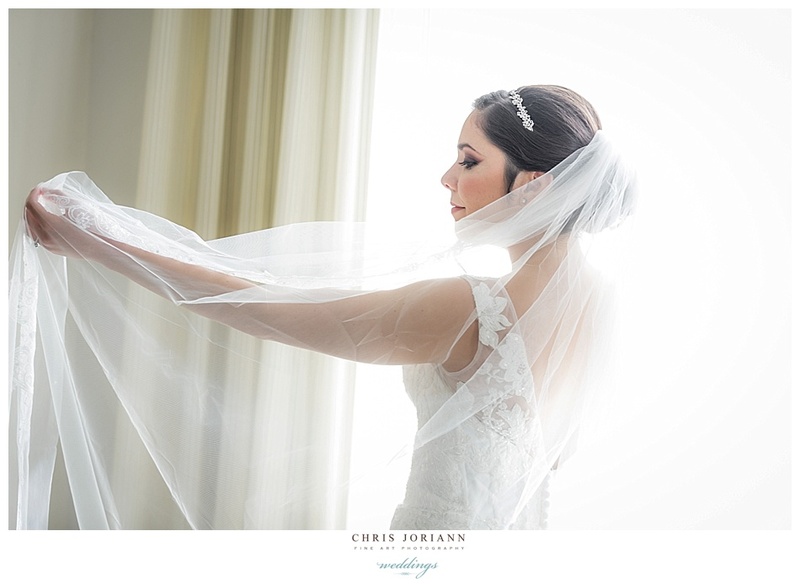 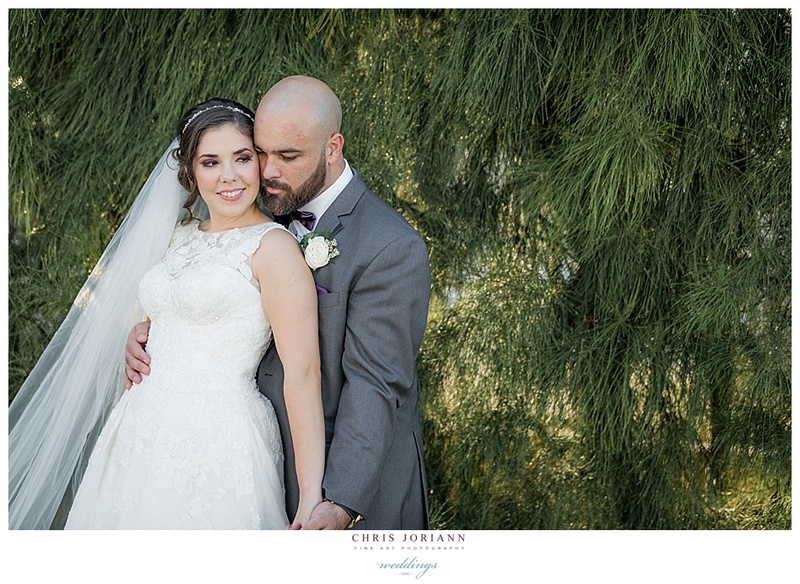 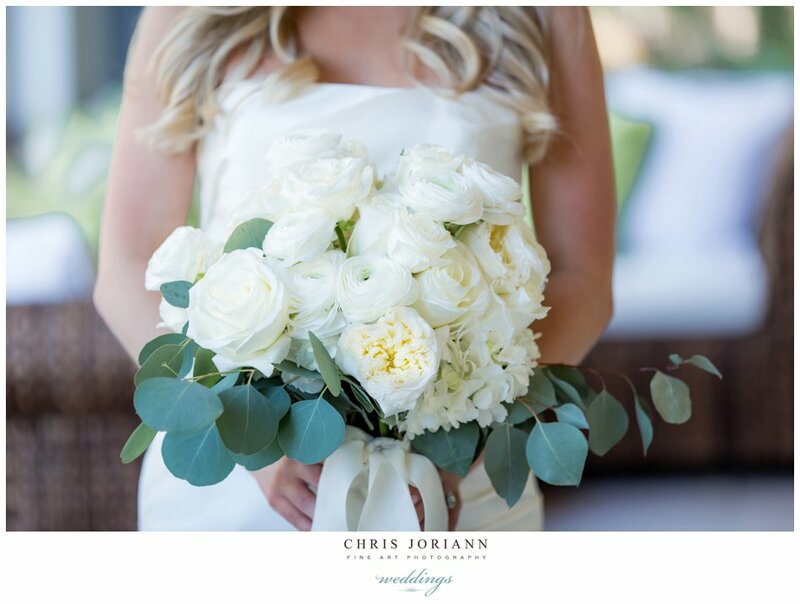 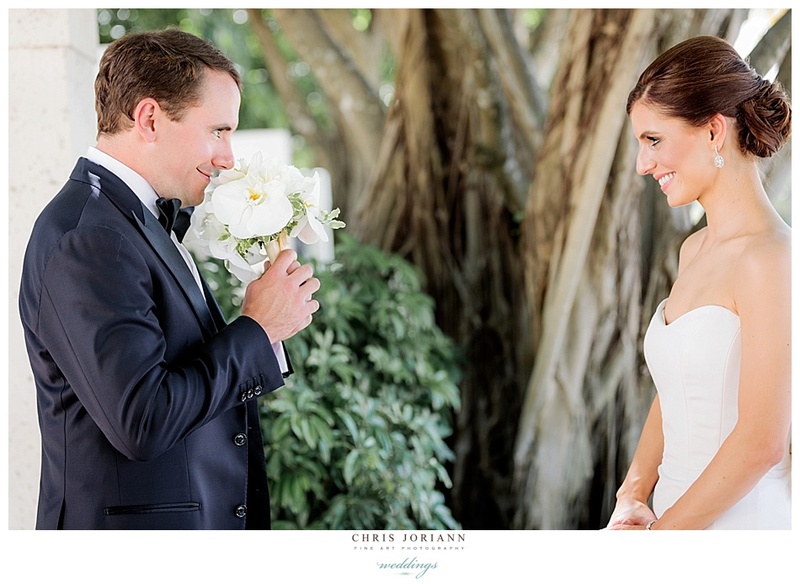 Emma + Andrew’s wedding took place at the historic Harriet Himmel Theater in West Palm Beach. 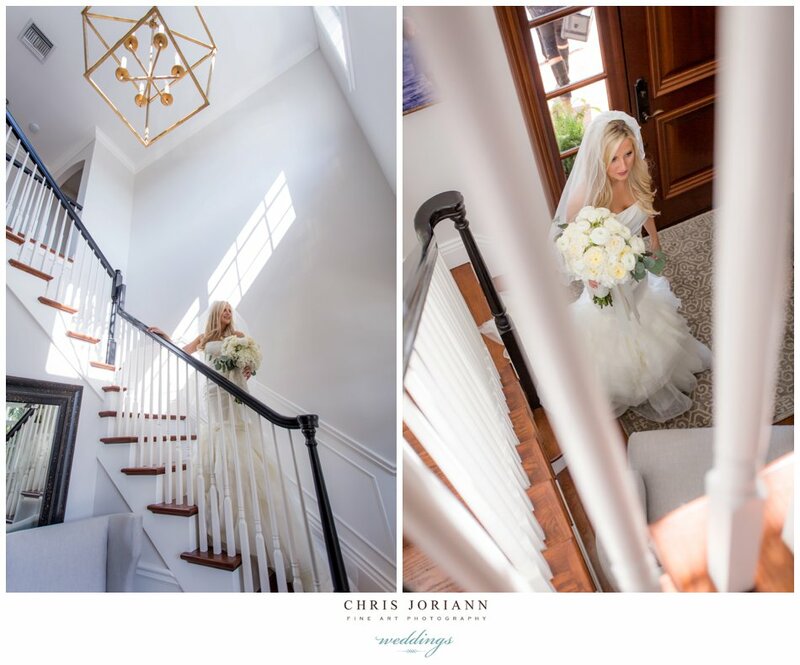 The bride wore a sleeved lace couture gown by Vera Wang, paired with sparkling strappy Michael Kors shoes, and a fabulous fall bouquet. 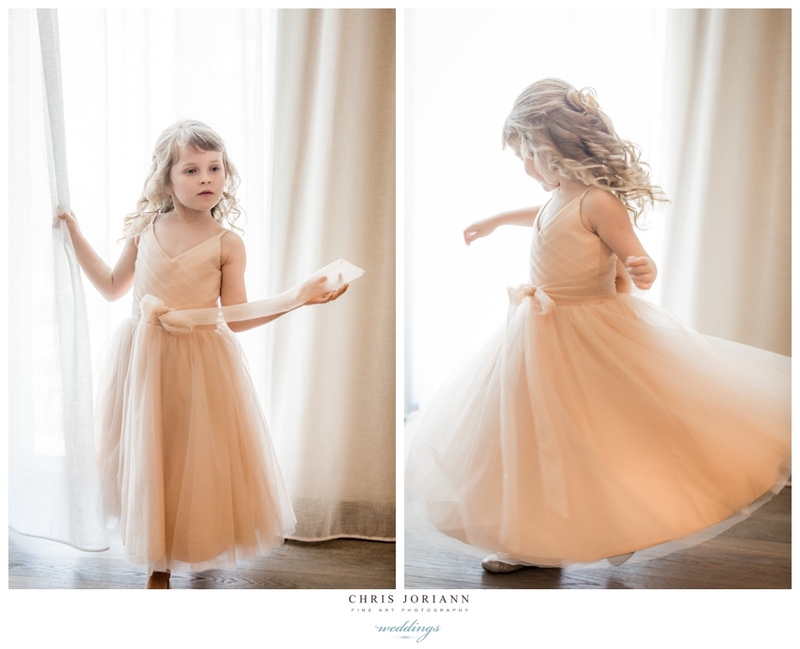 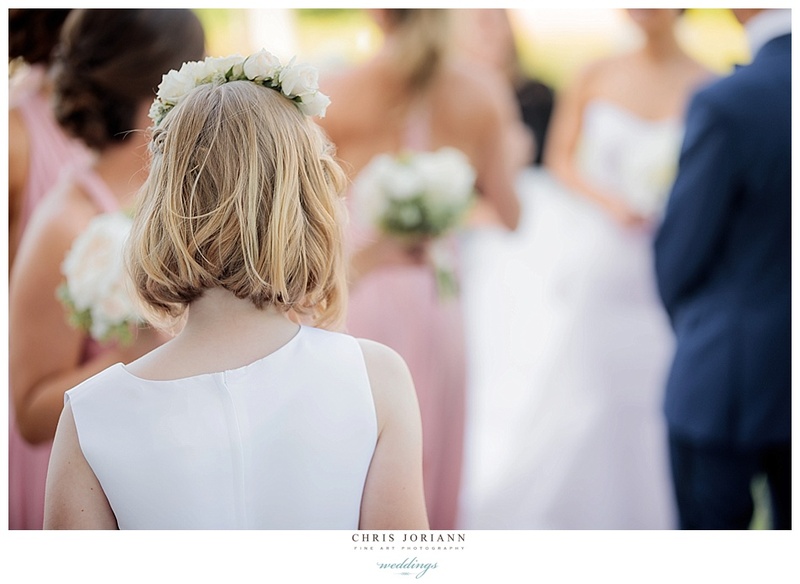 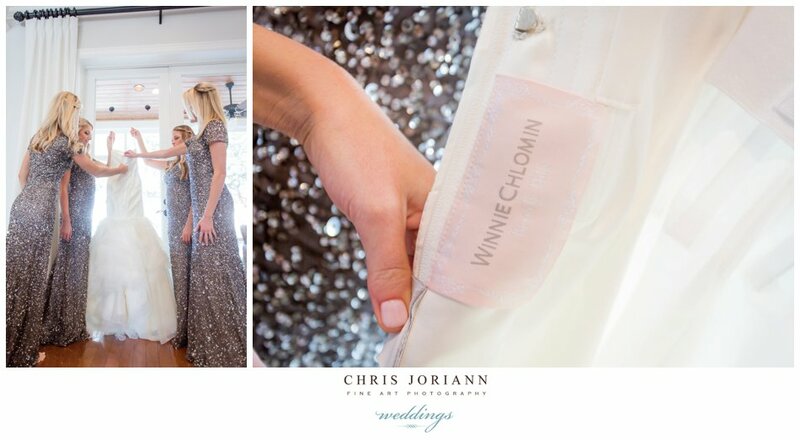 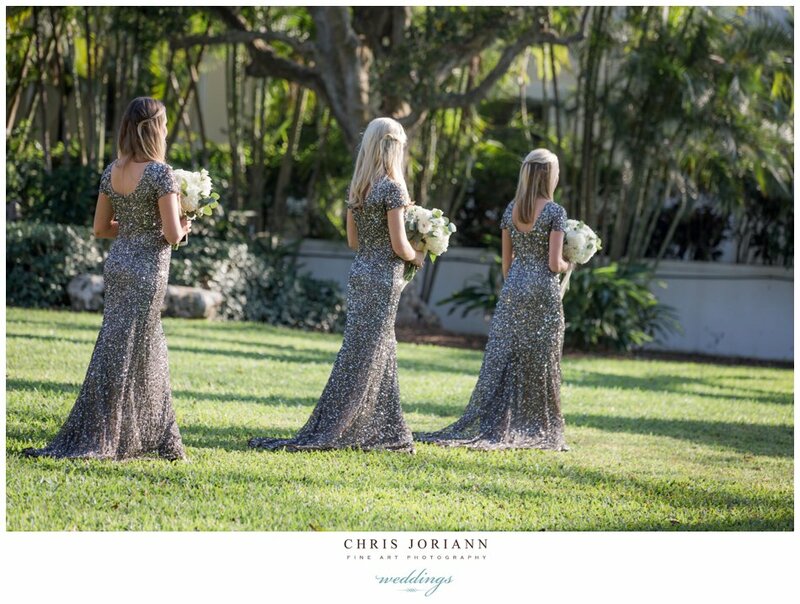 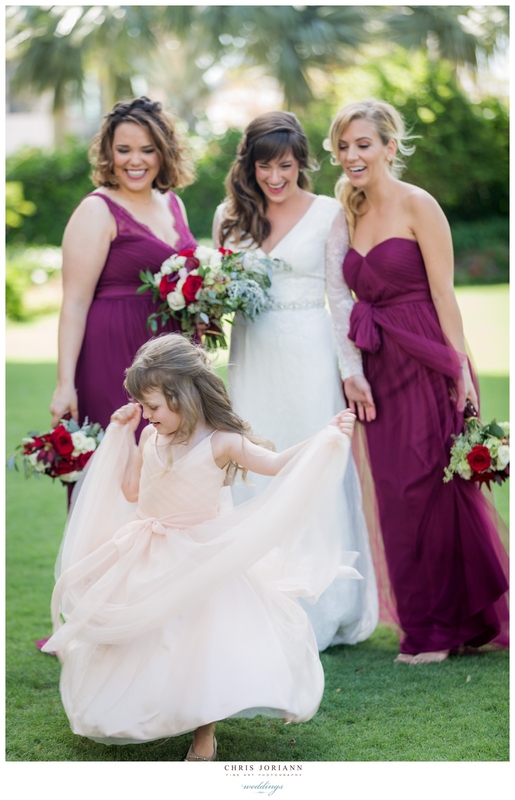 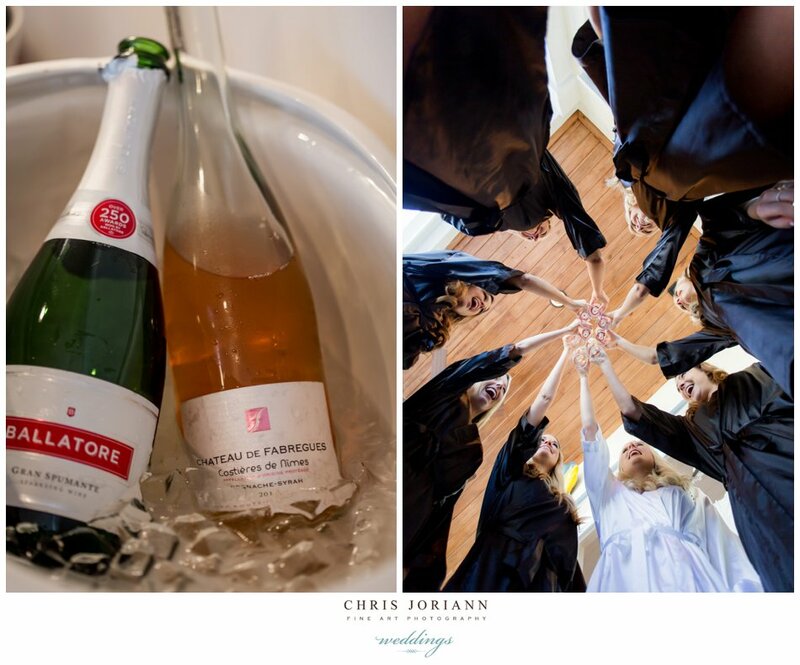 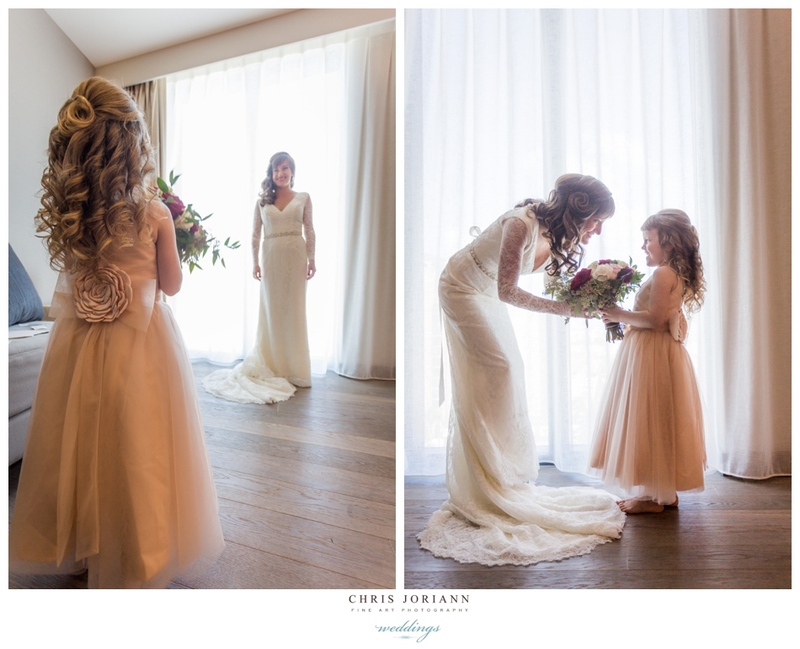 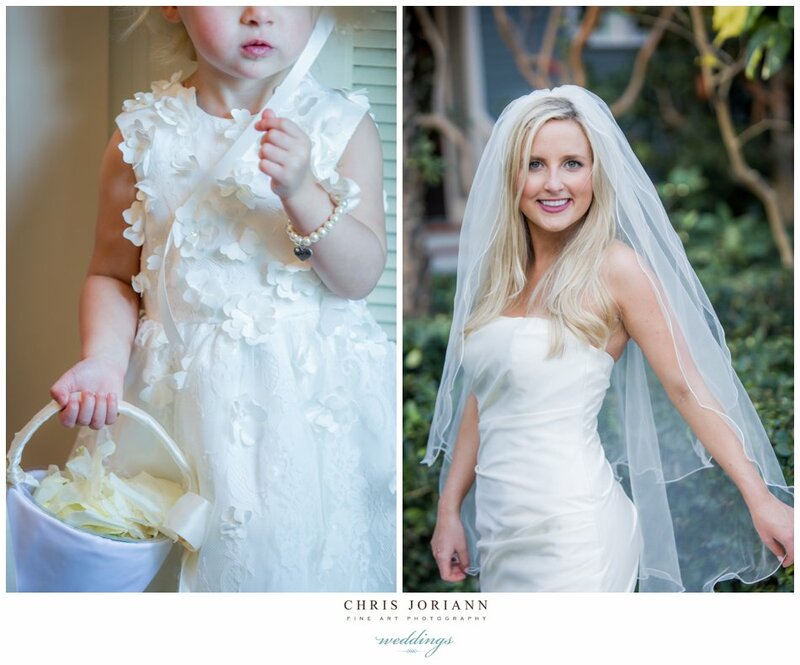 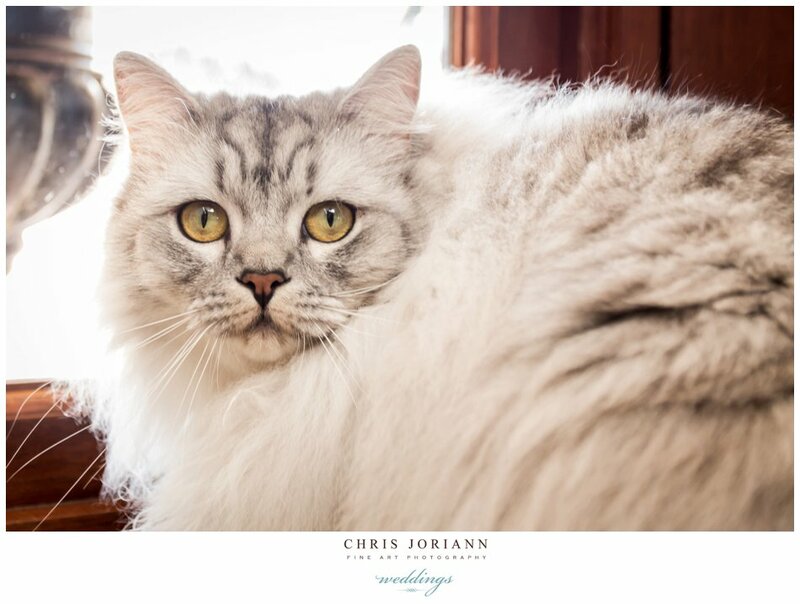 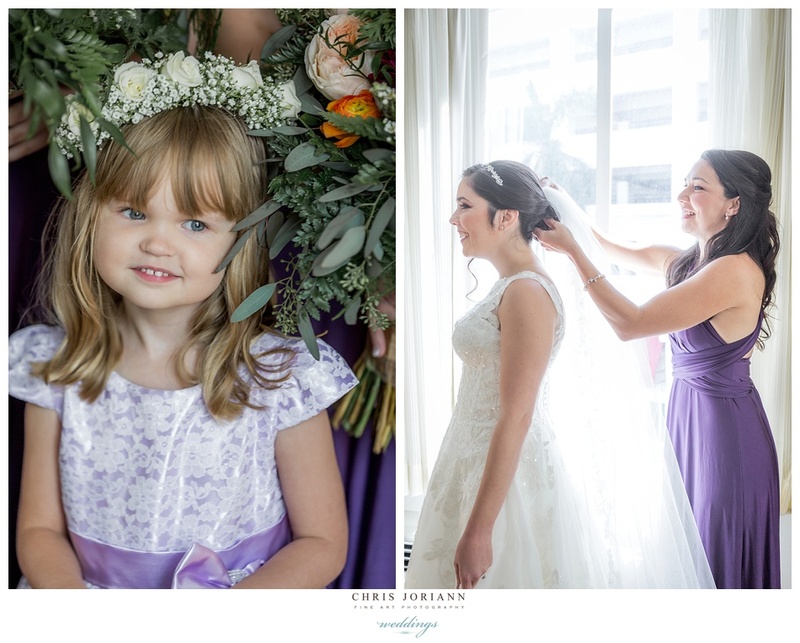 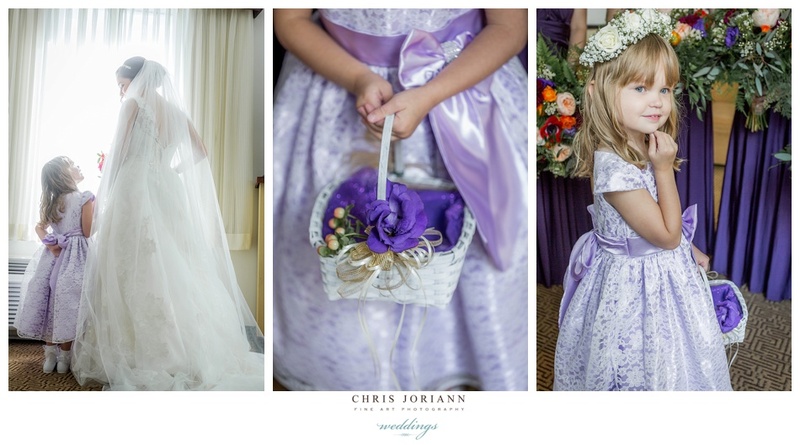 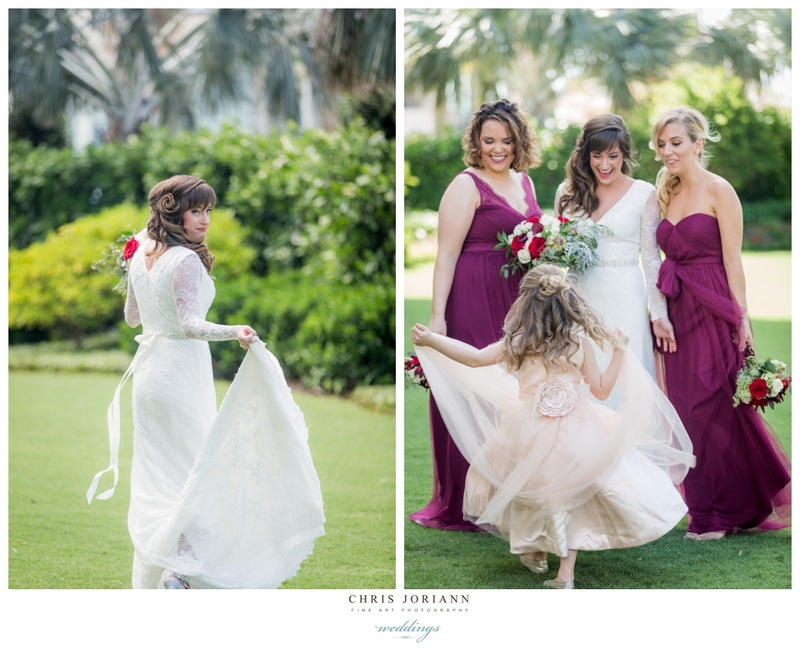 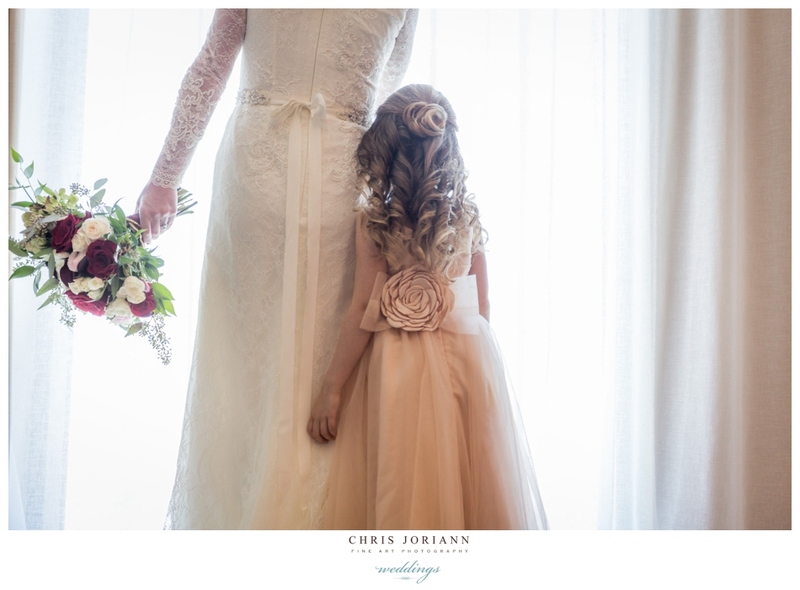 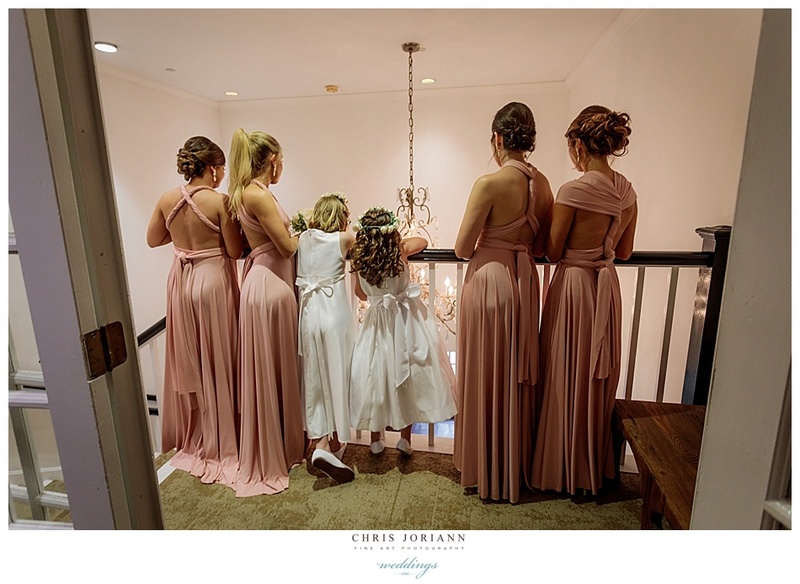 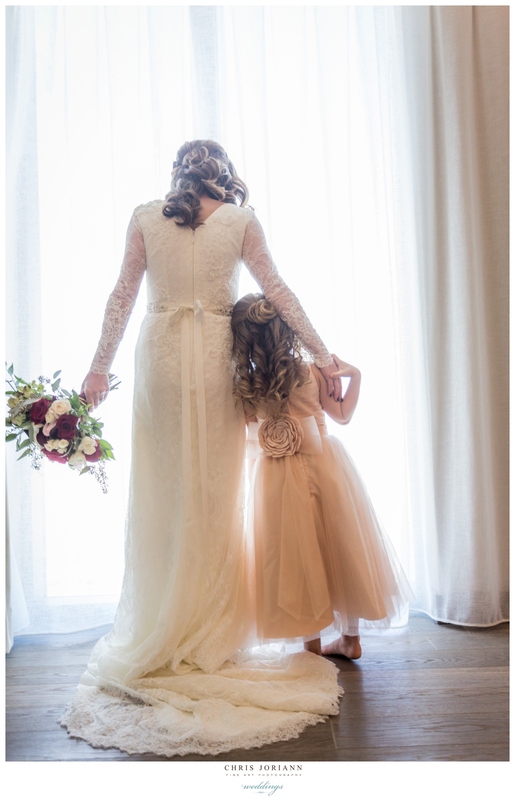 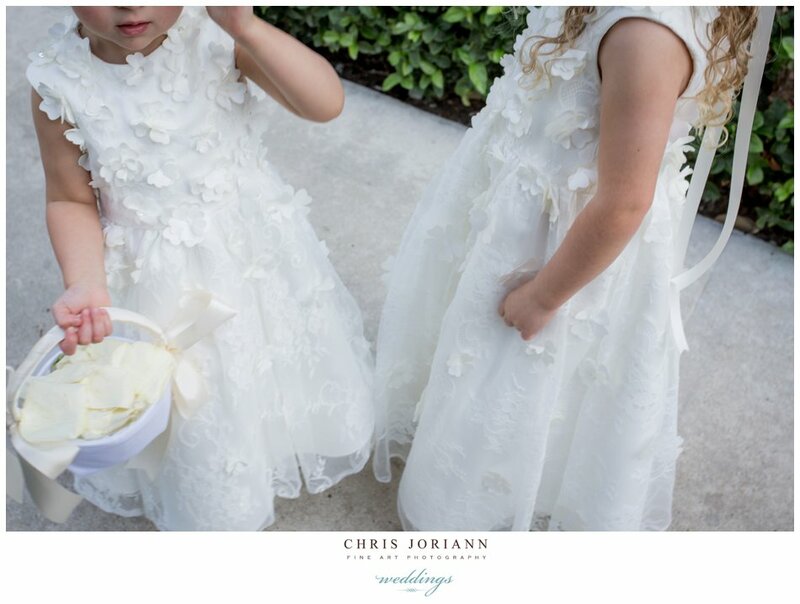 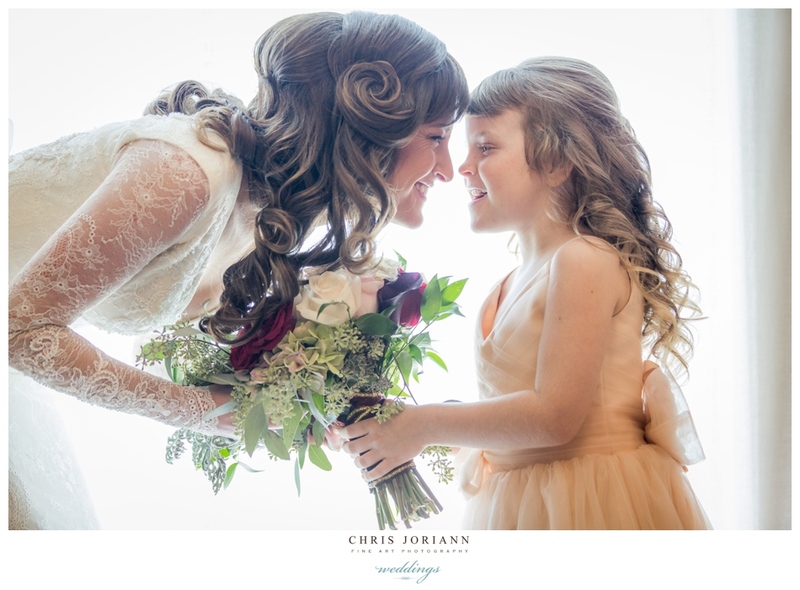 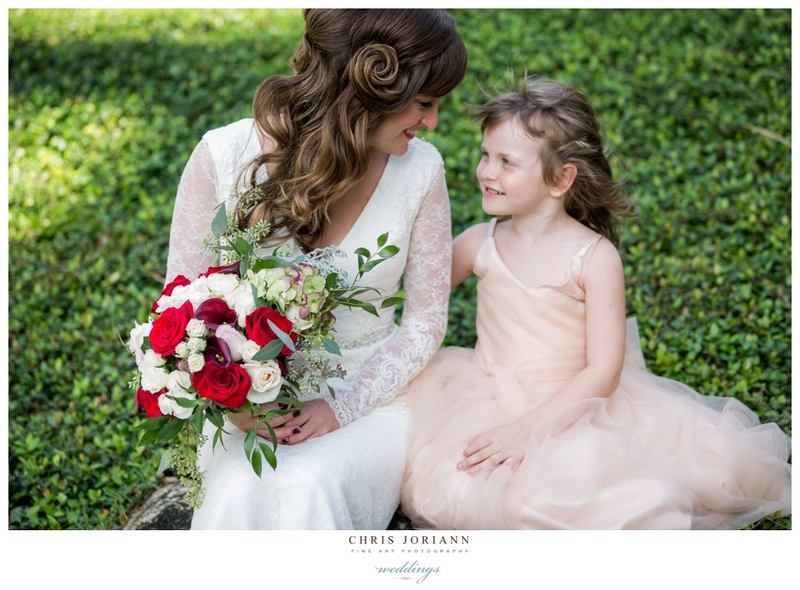 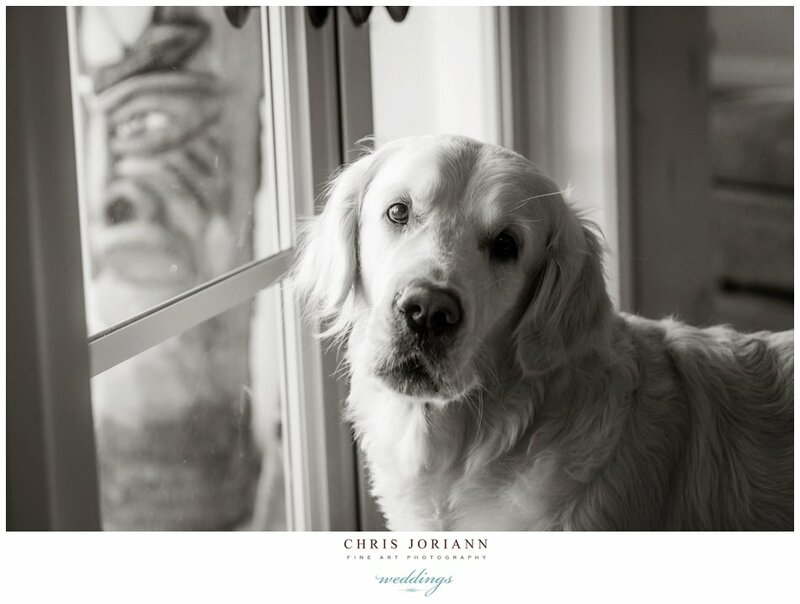 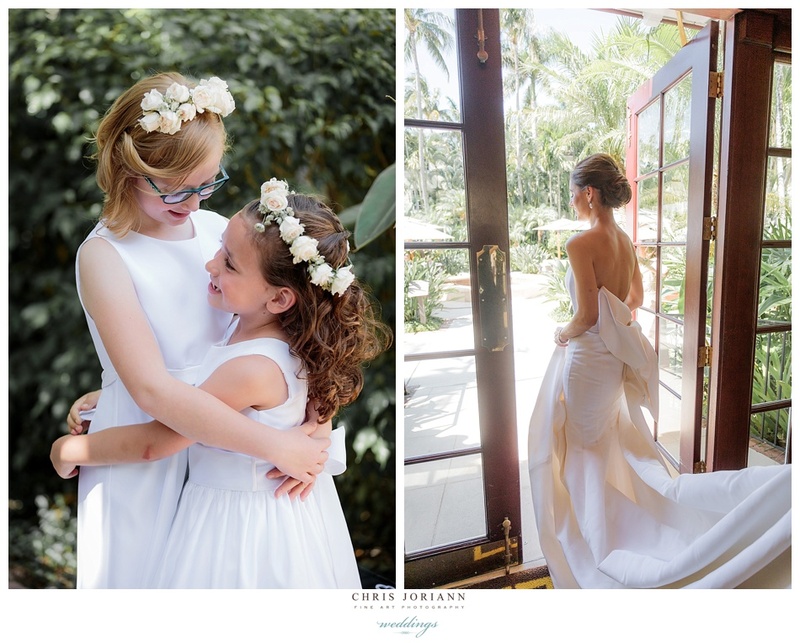 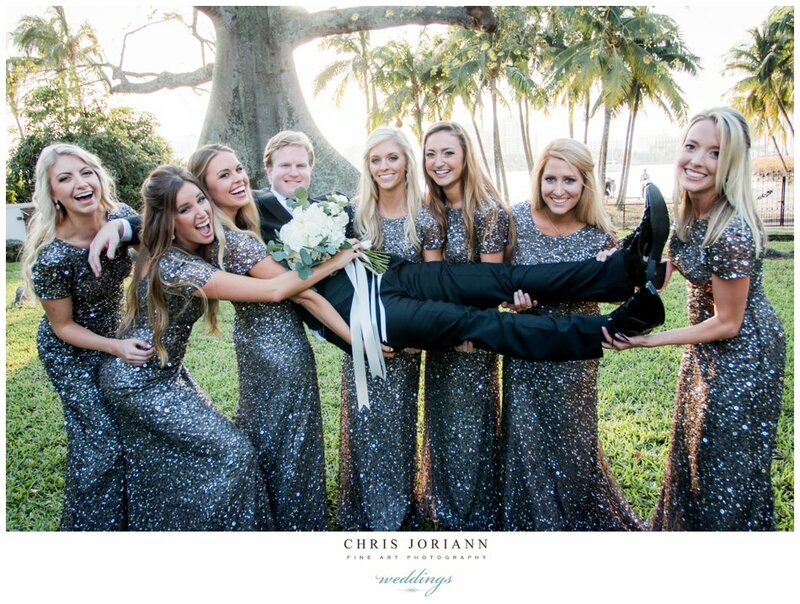 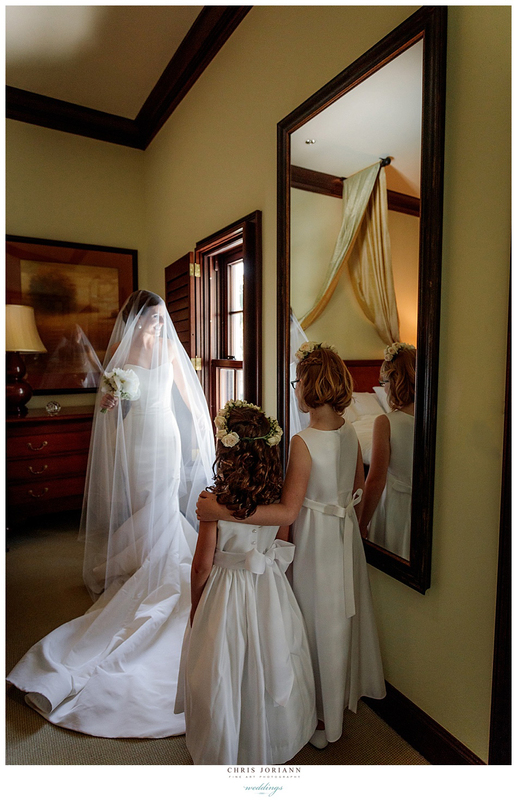 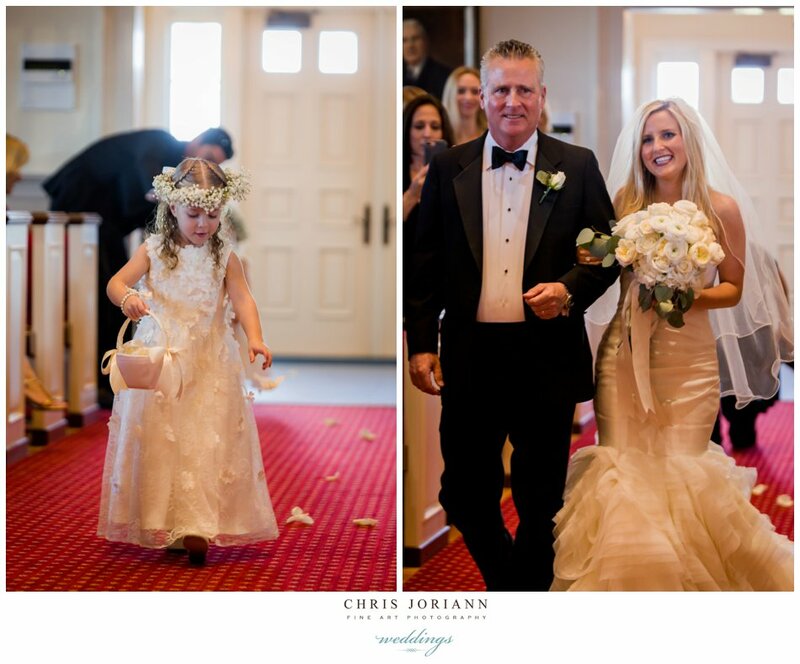 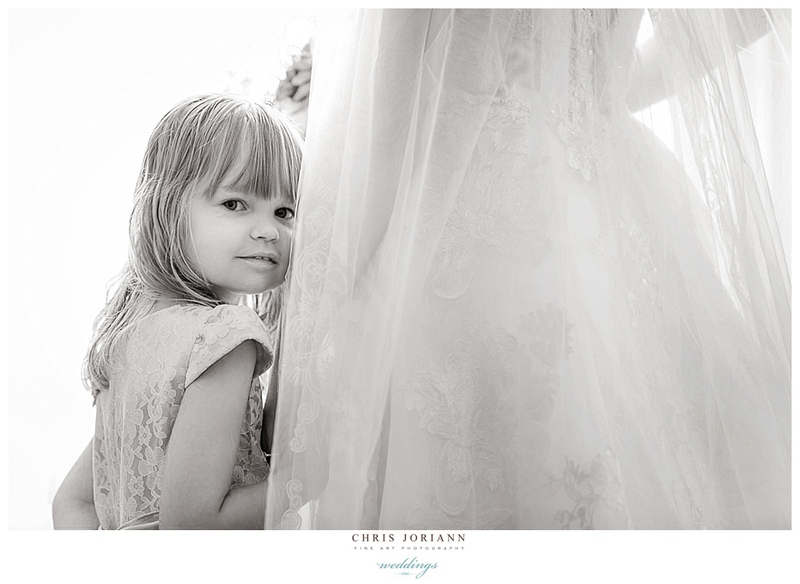 Bridesmaids wore merlot gowns, and the adorable flower girl twirled endlessly in a champagne tulle dress. 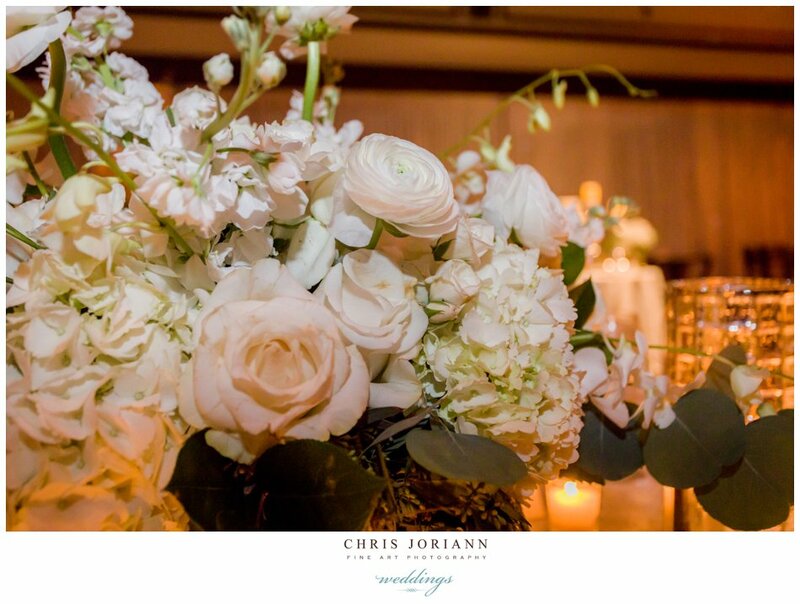 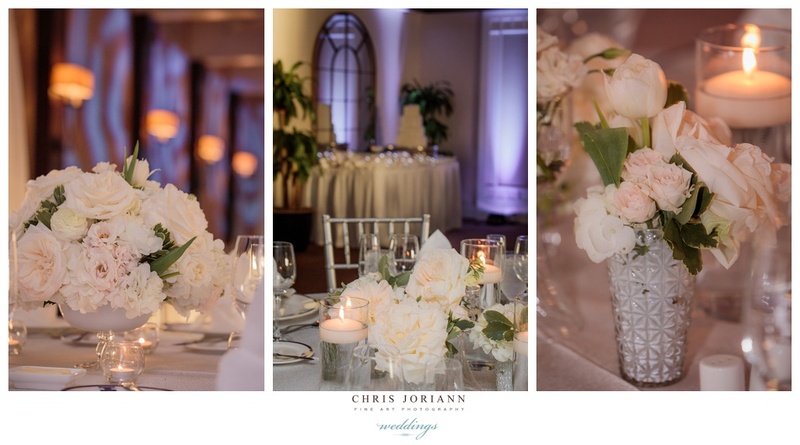 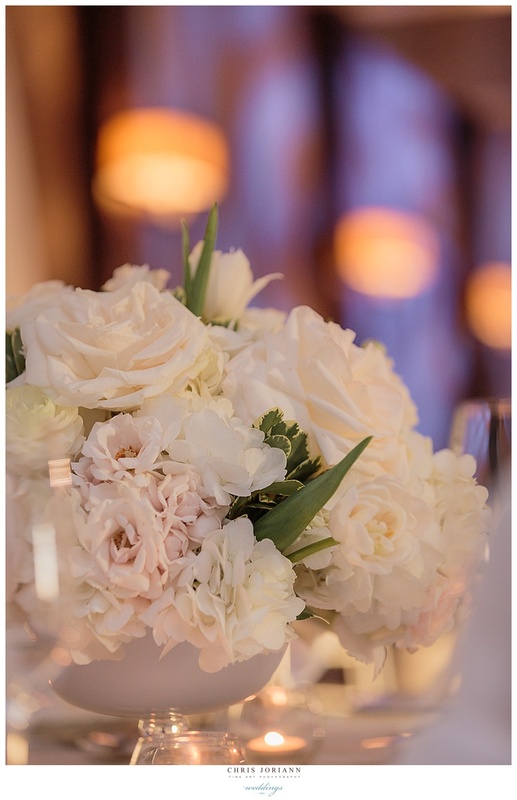 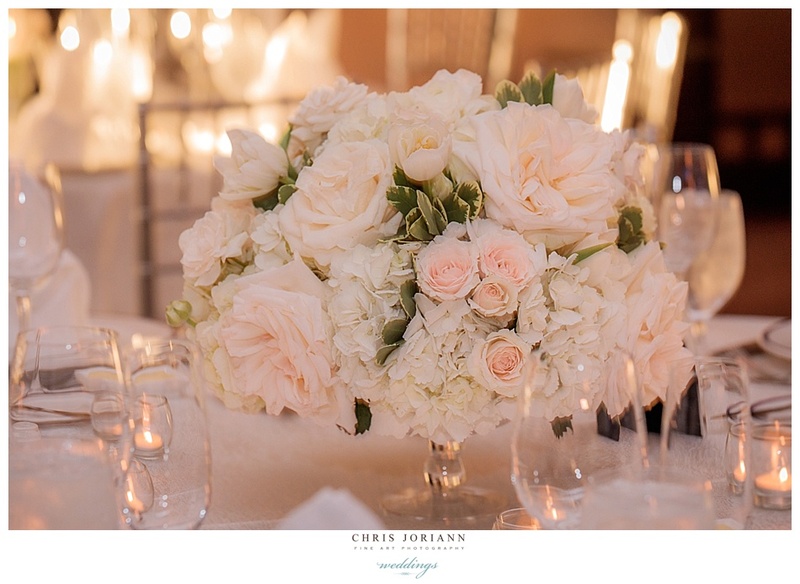 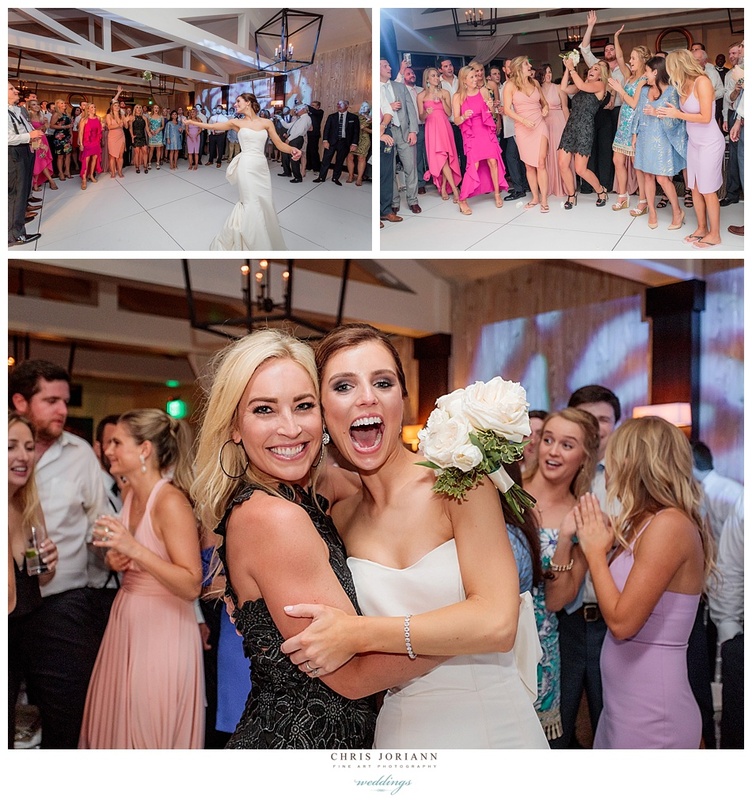 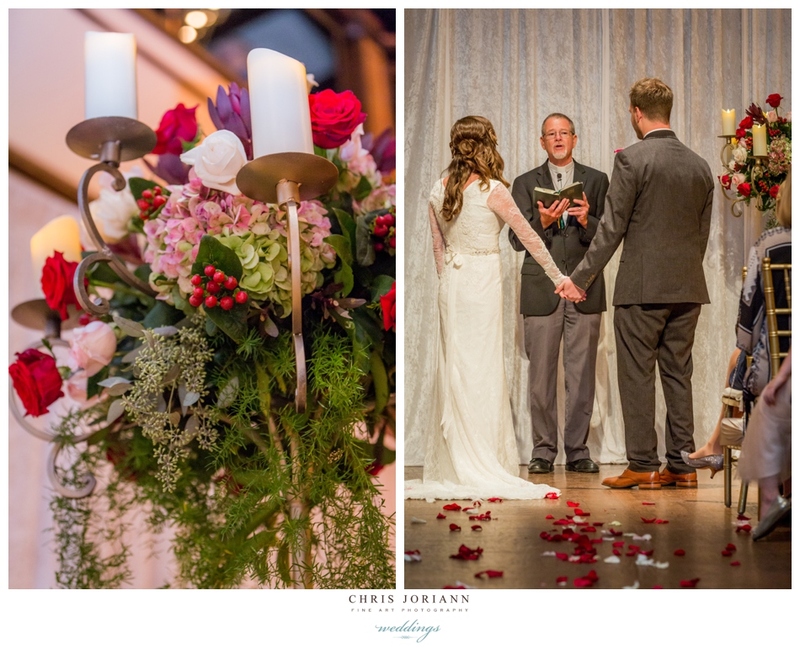 The candle-lit ceremony and reception space was awash in blush hues, with florals + décor created by MB Floral Design + Decor. 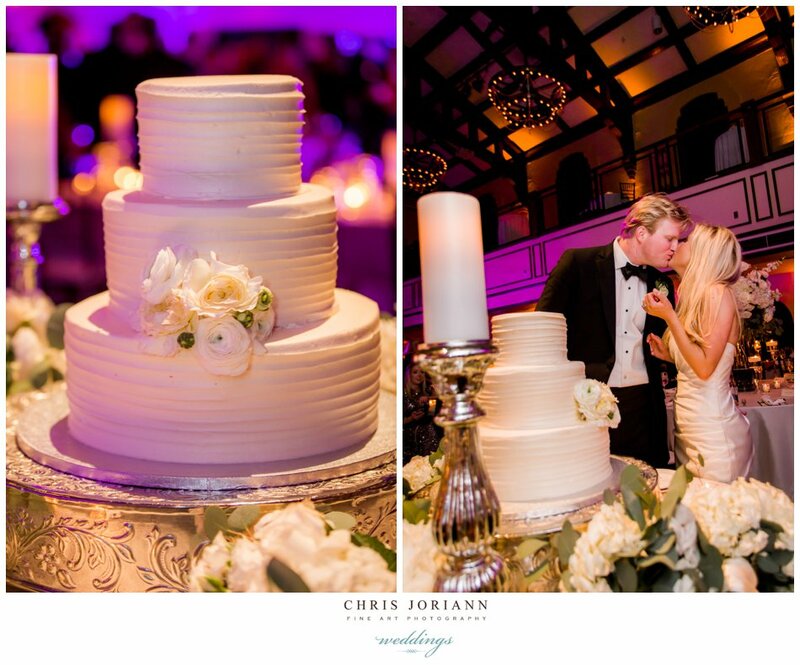 and a stunning hand painted gold and ivory 3 tiered cake by Johnson’s Custom Cakes. 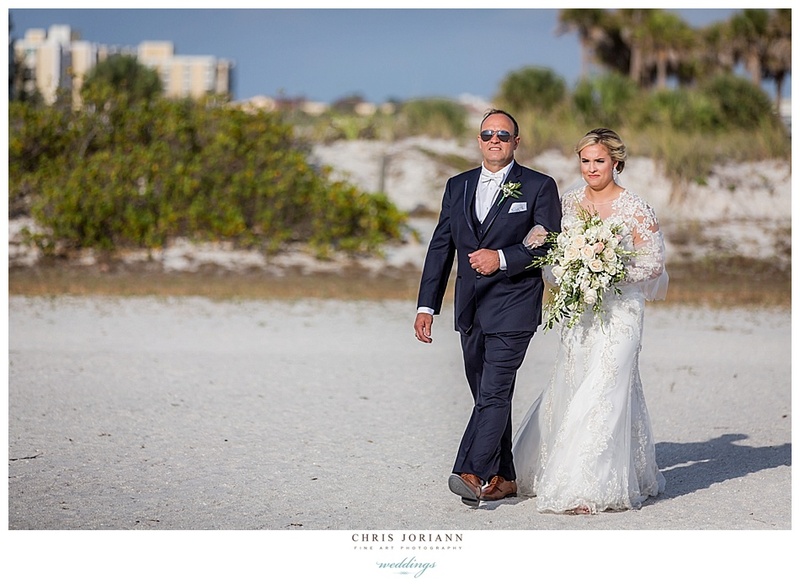 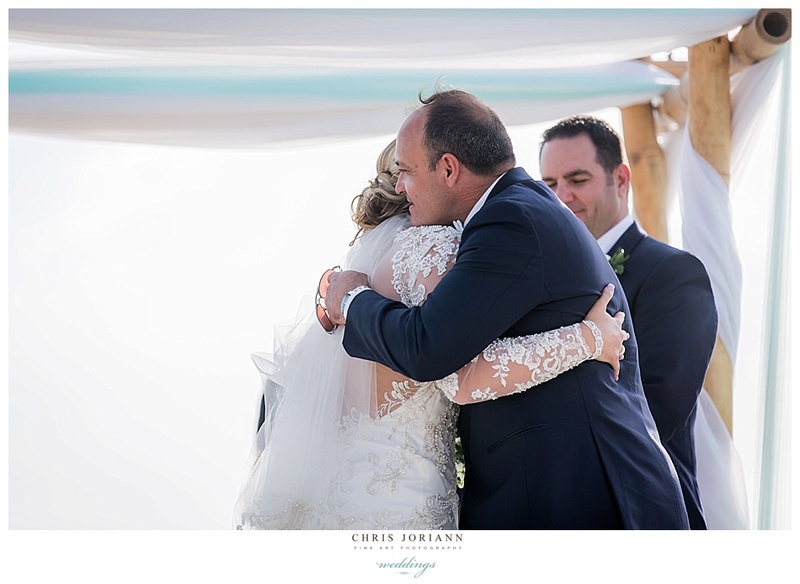 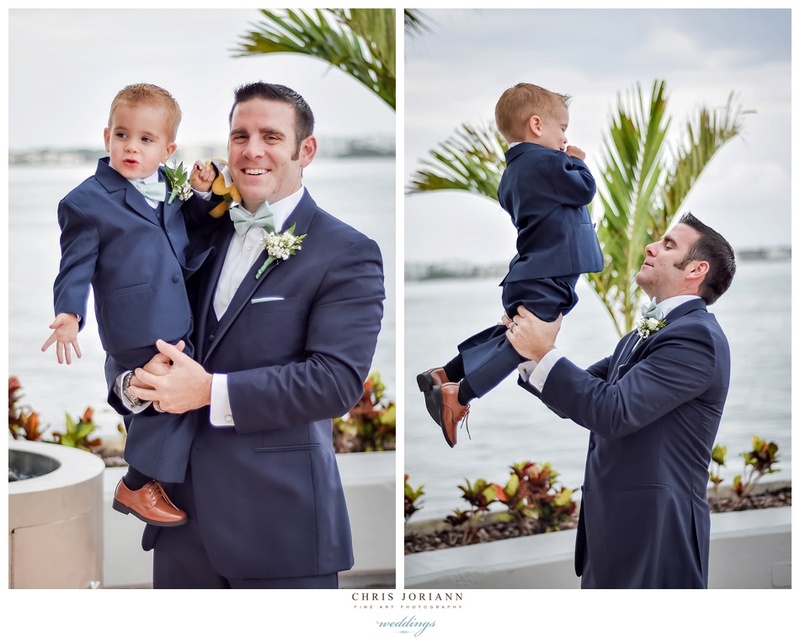 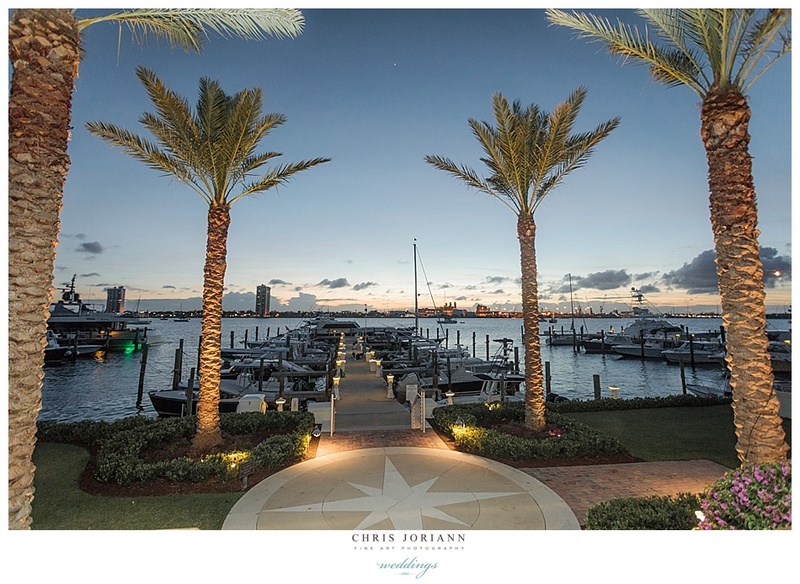 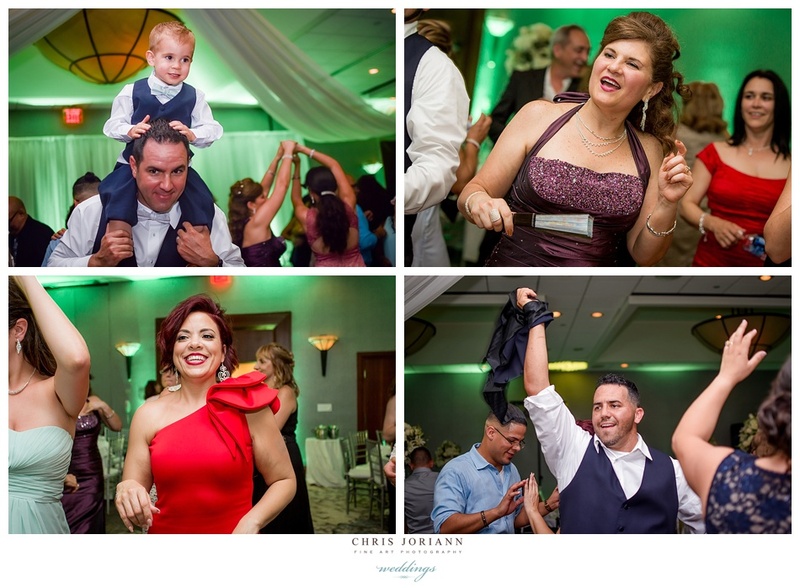 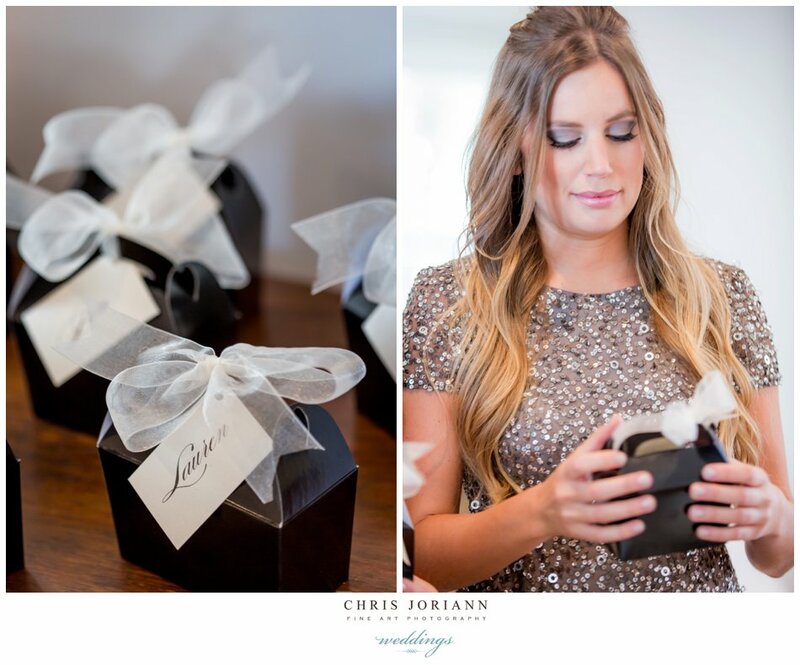 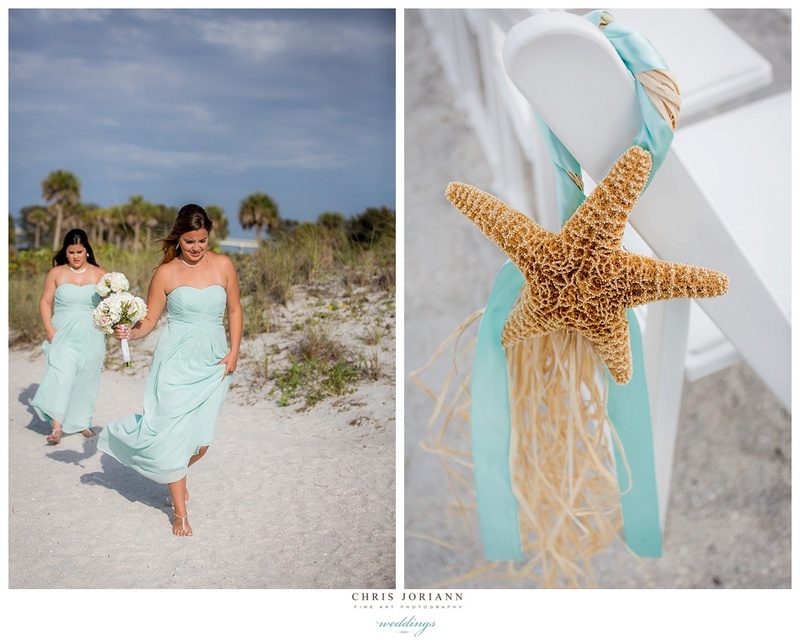 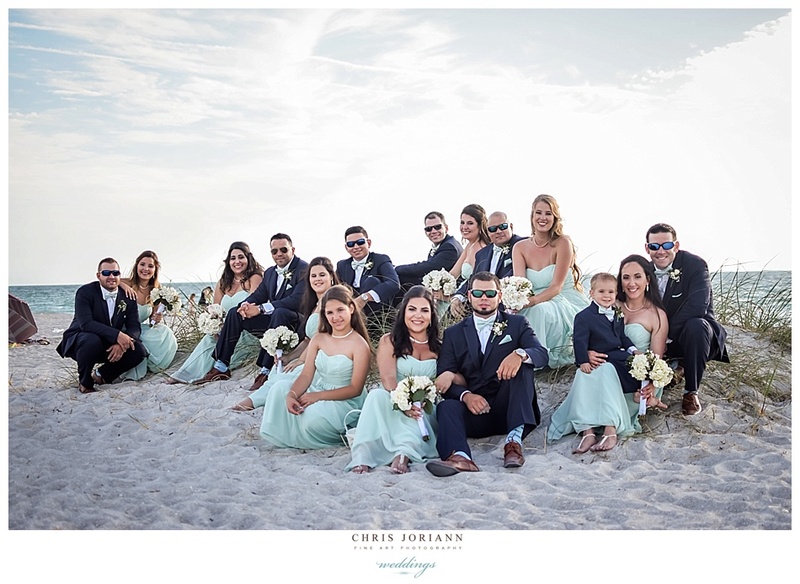 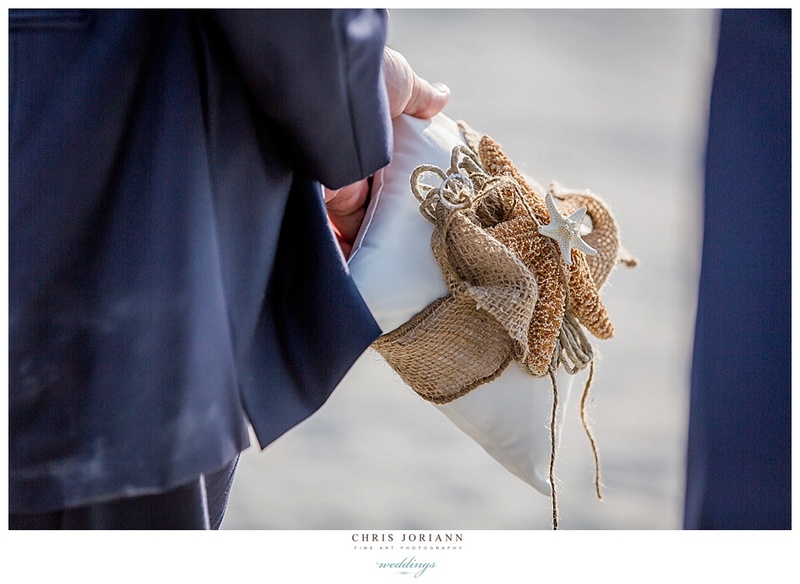 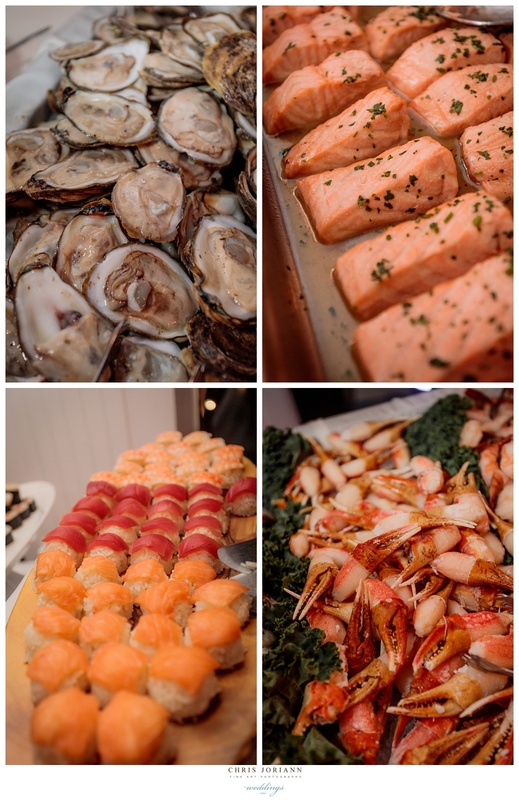 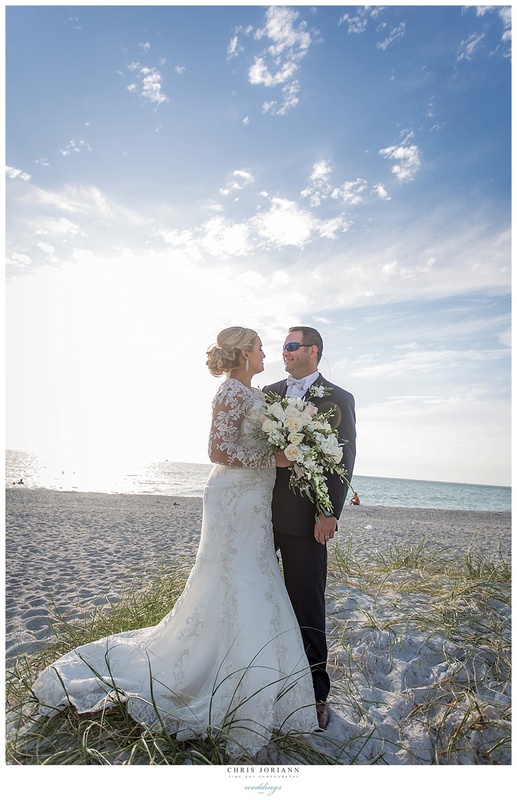 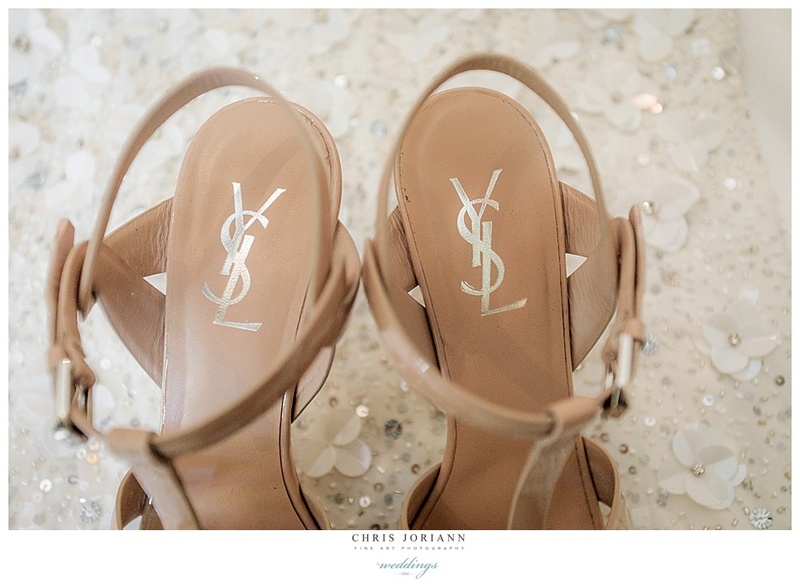 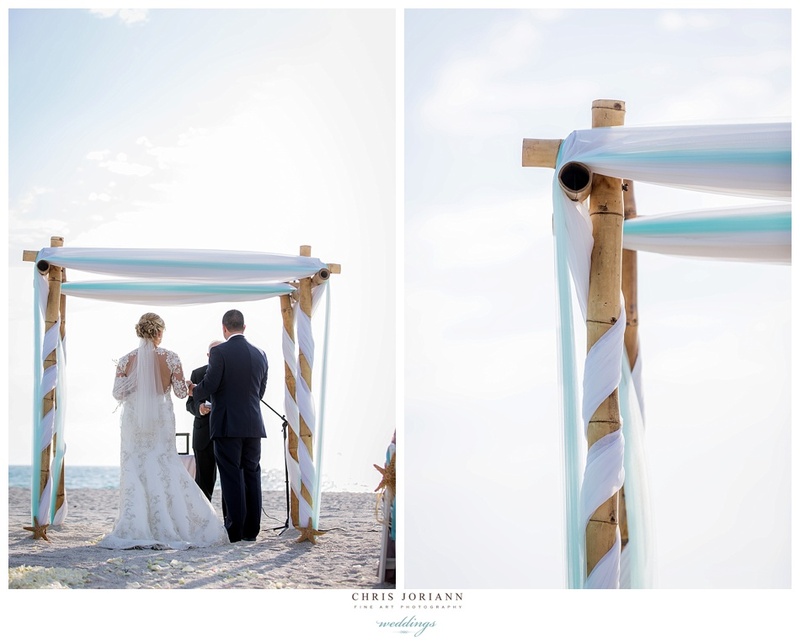 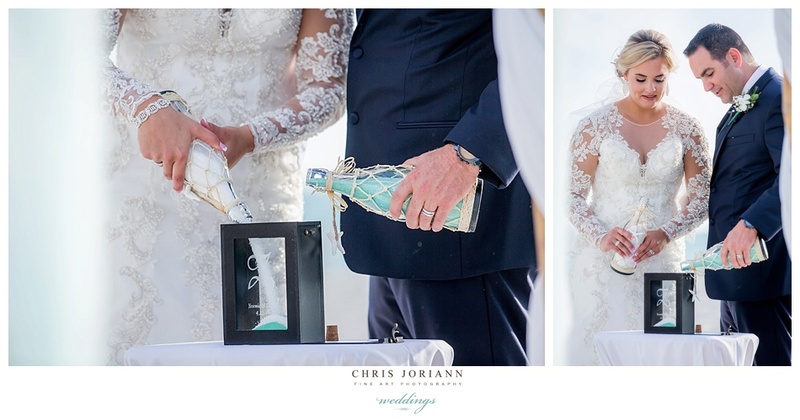 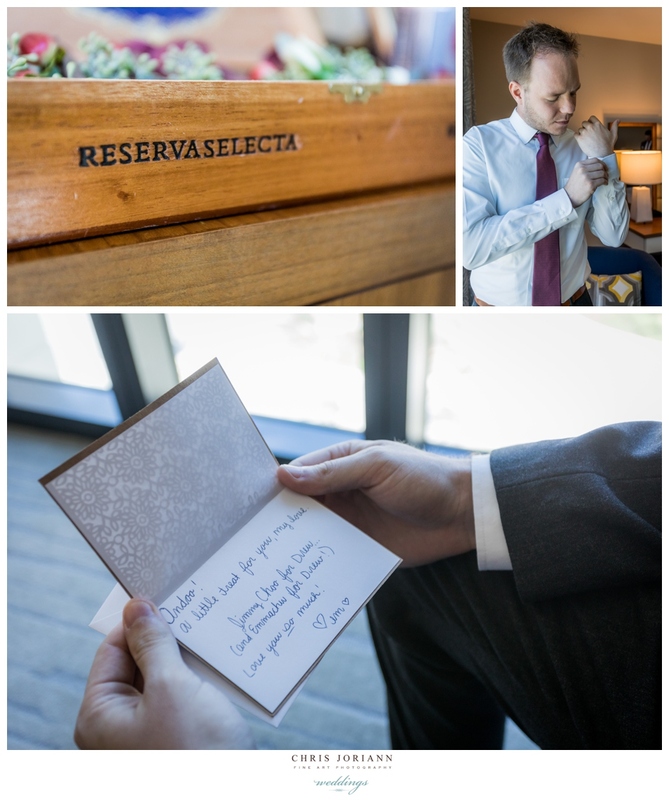 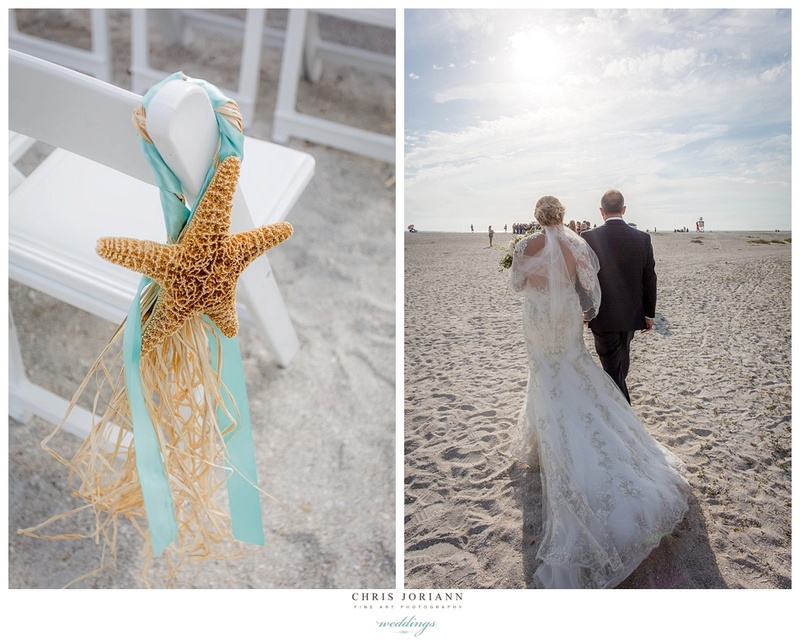 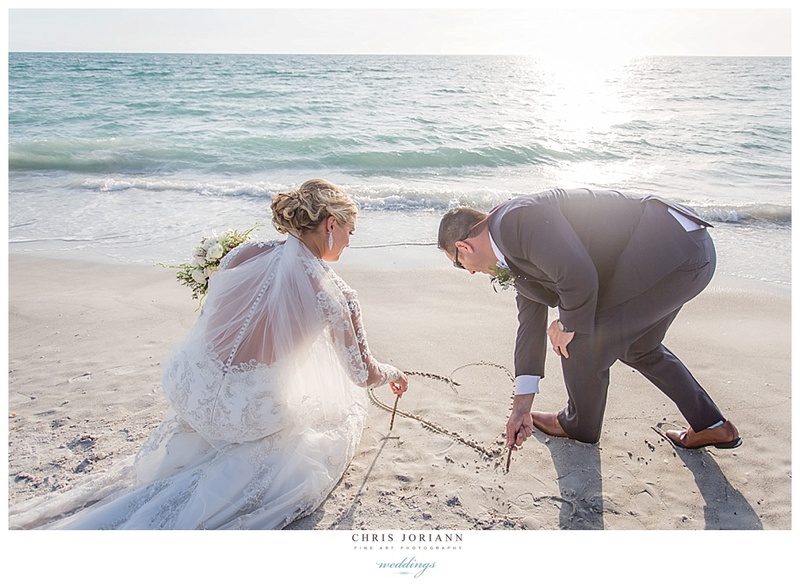 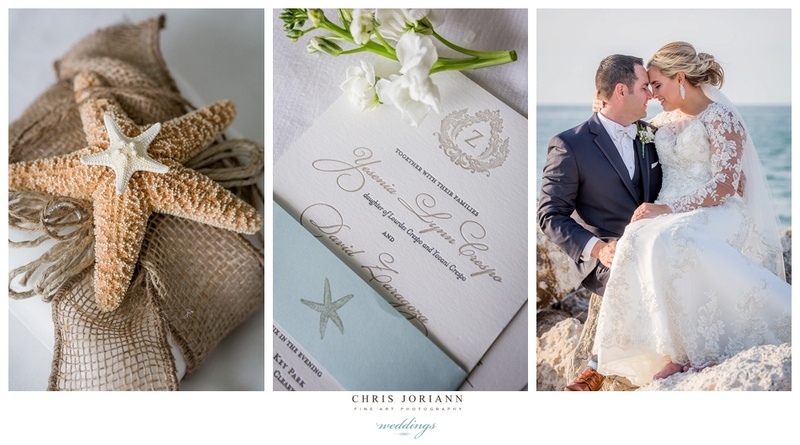 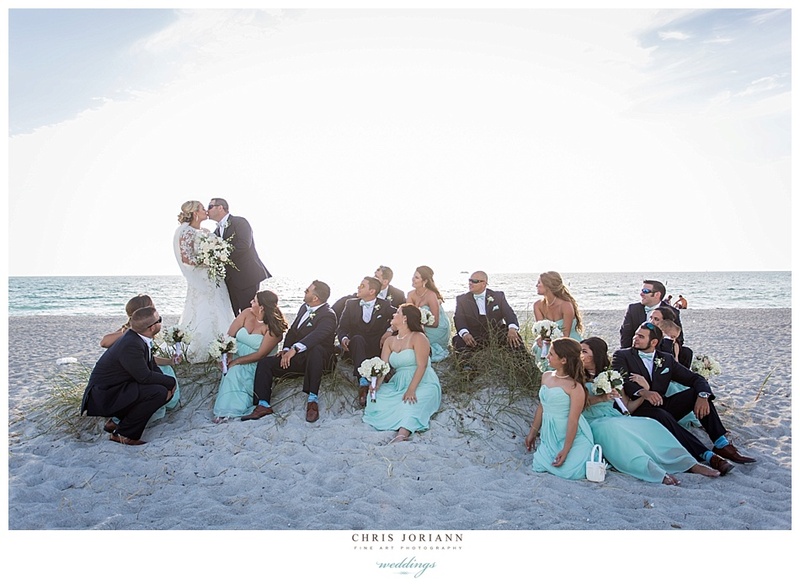 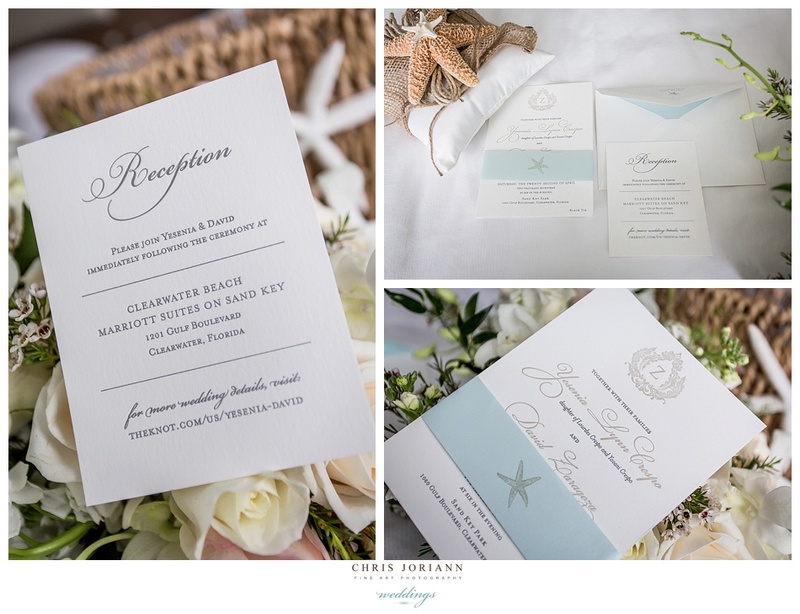 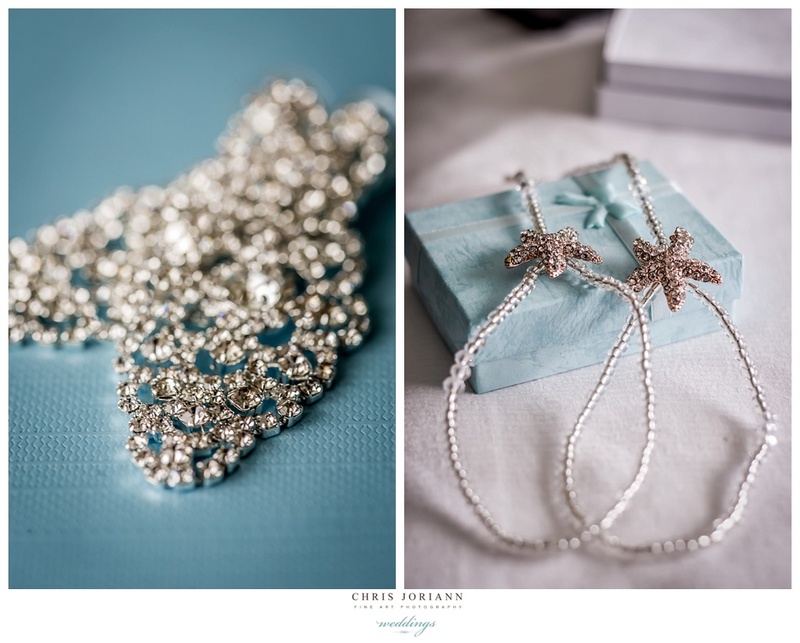 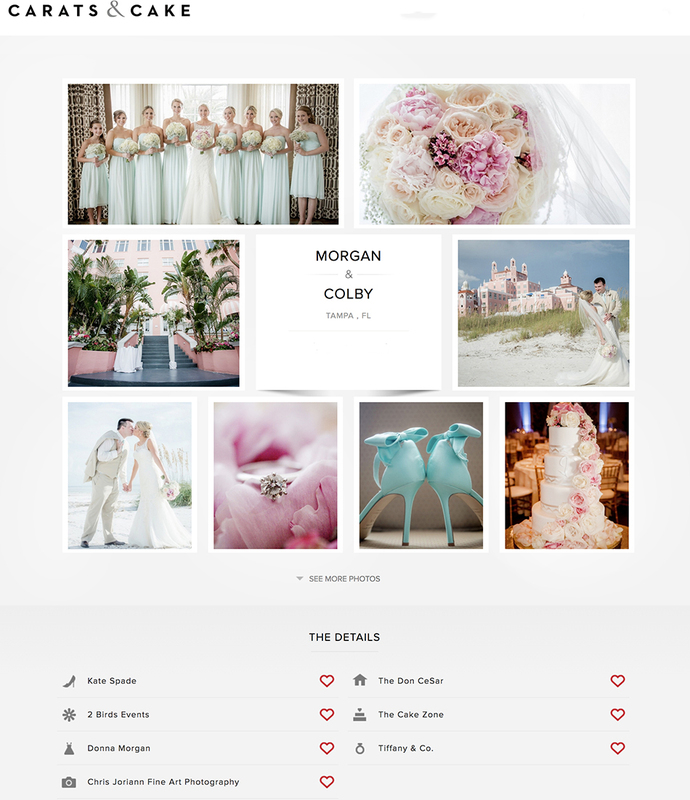 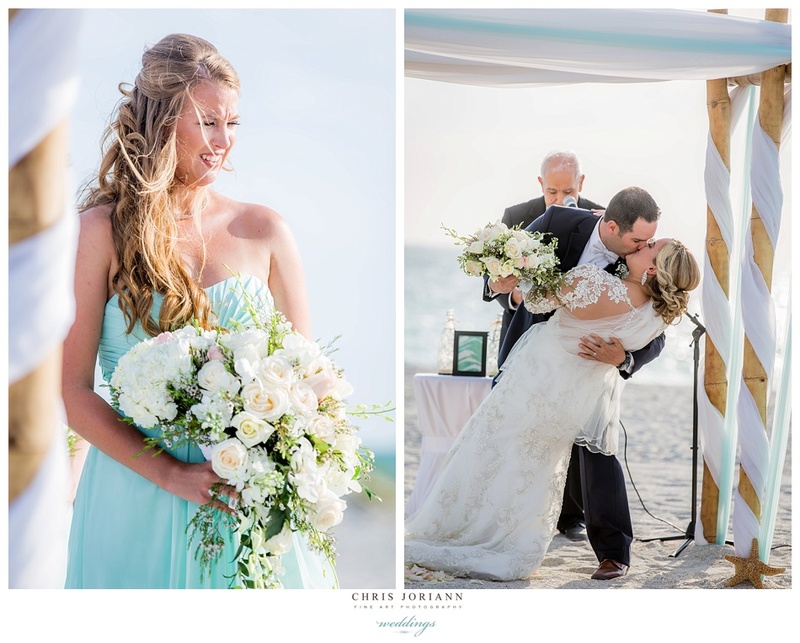 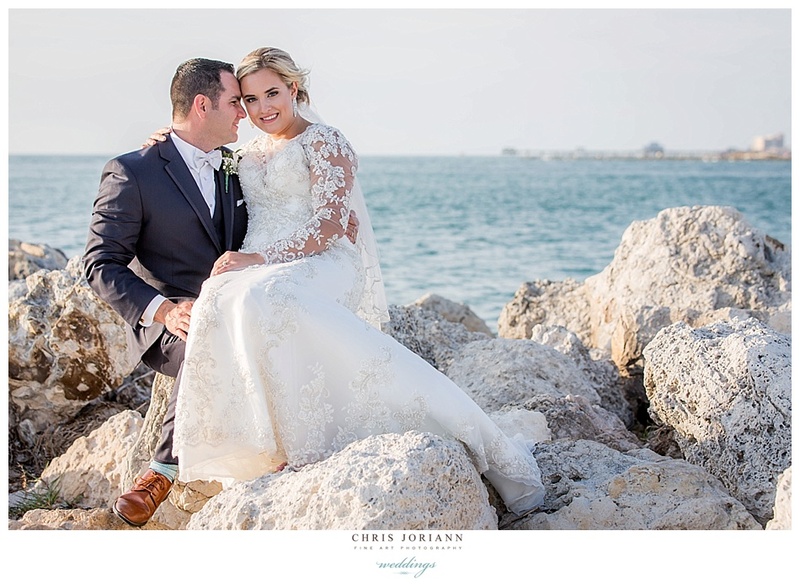 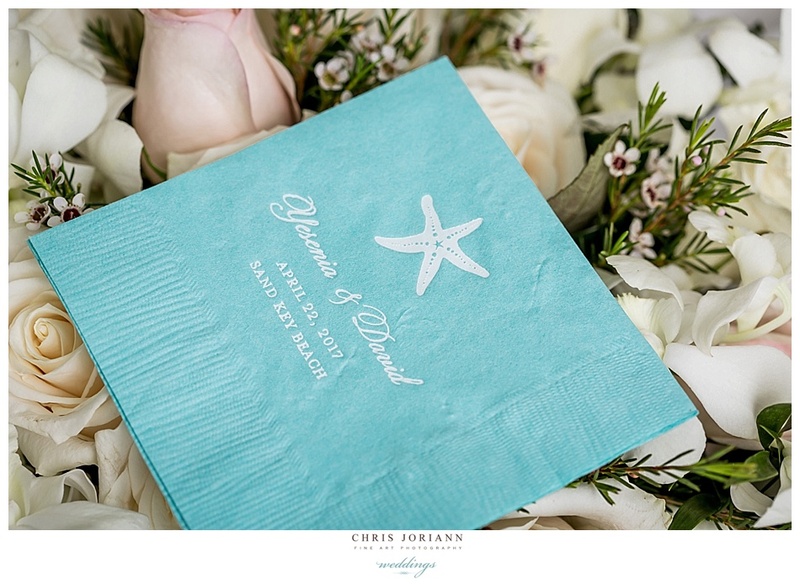 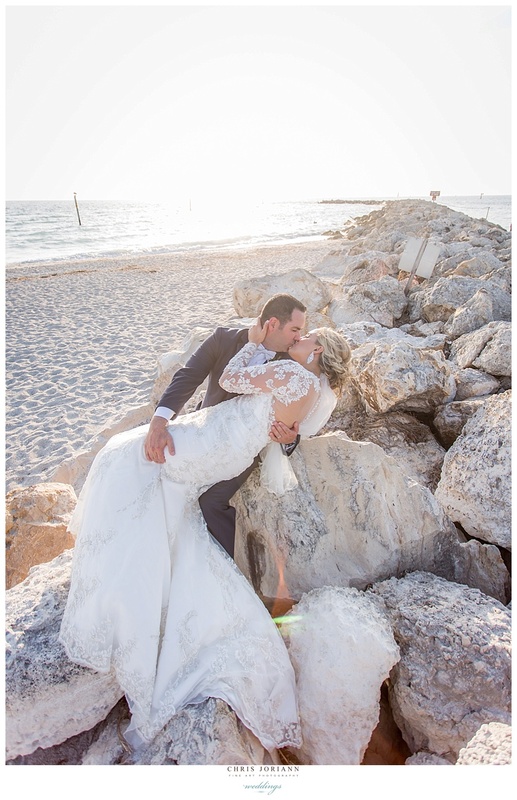 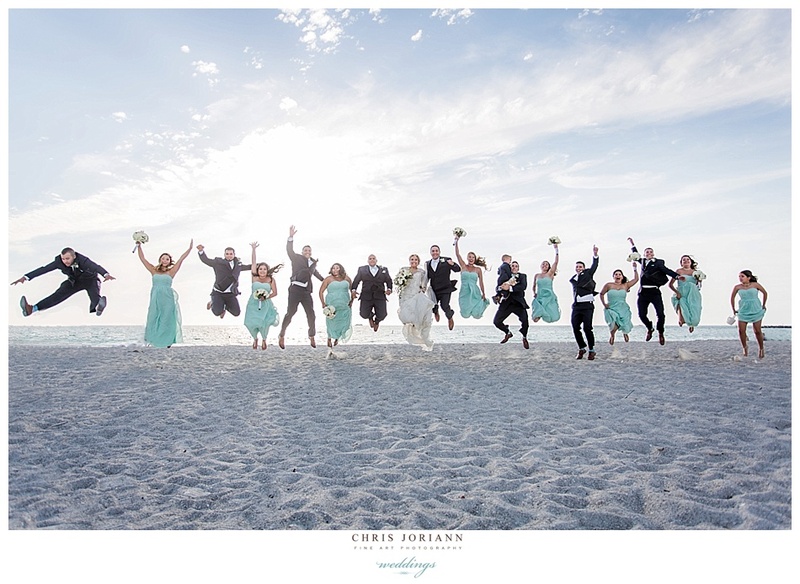 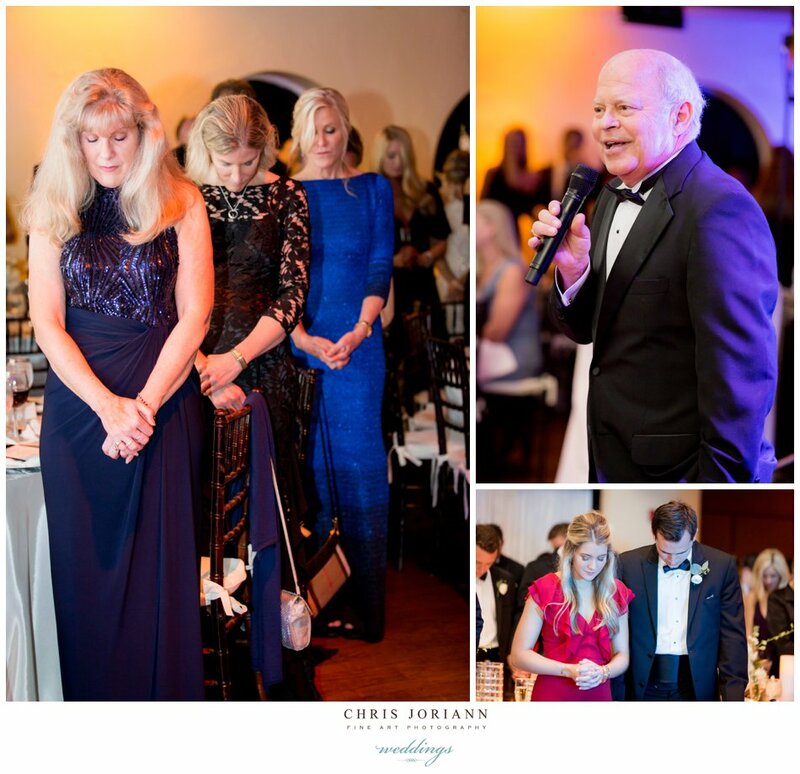 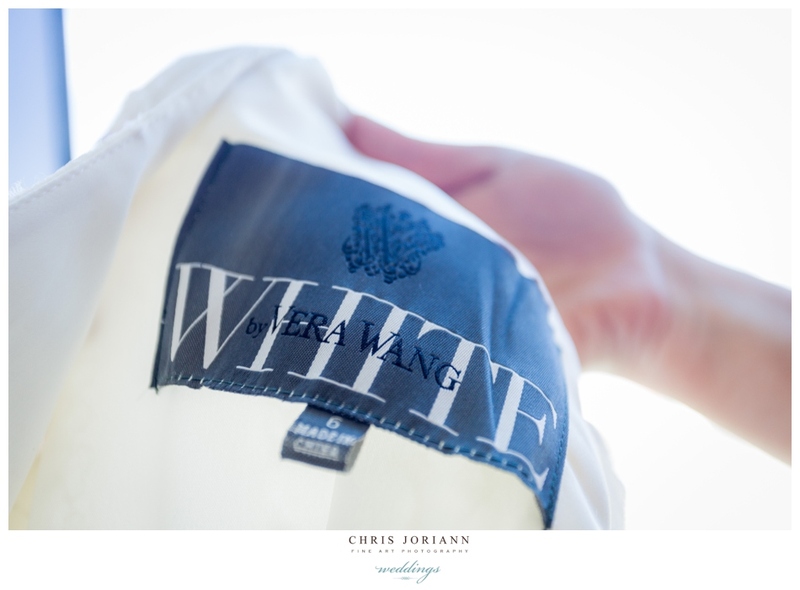 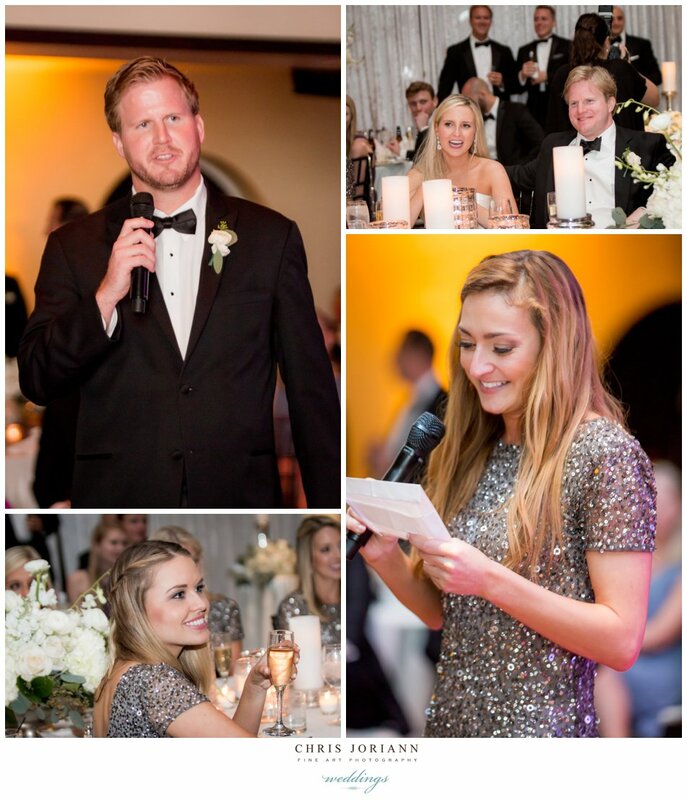 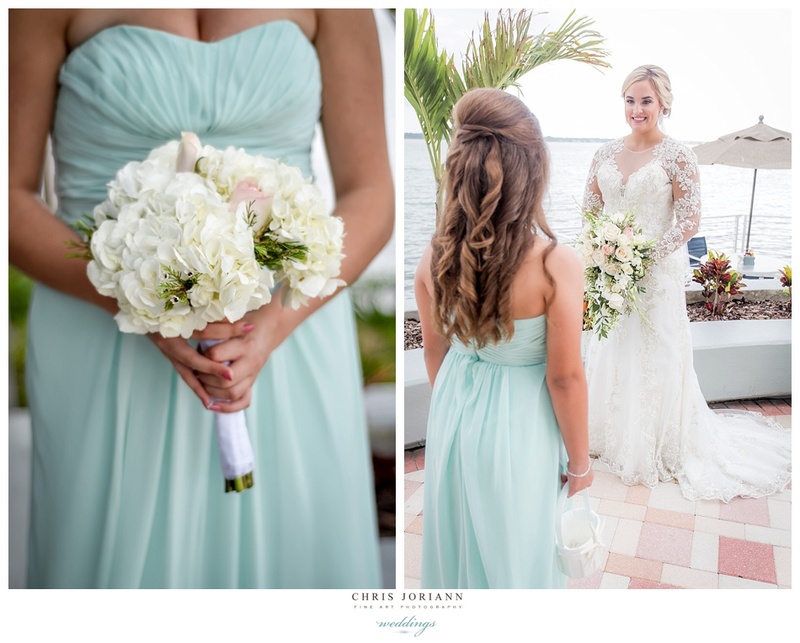 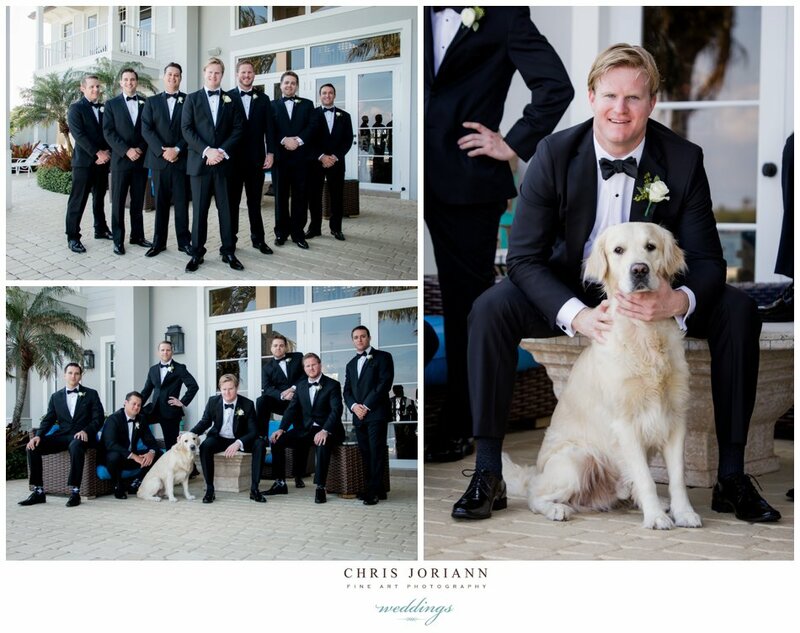 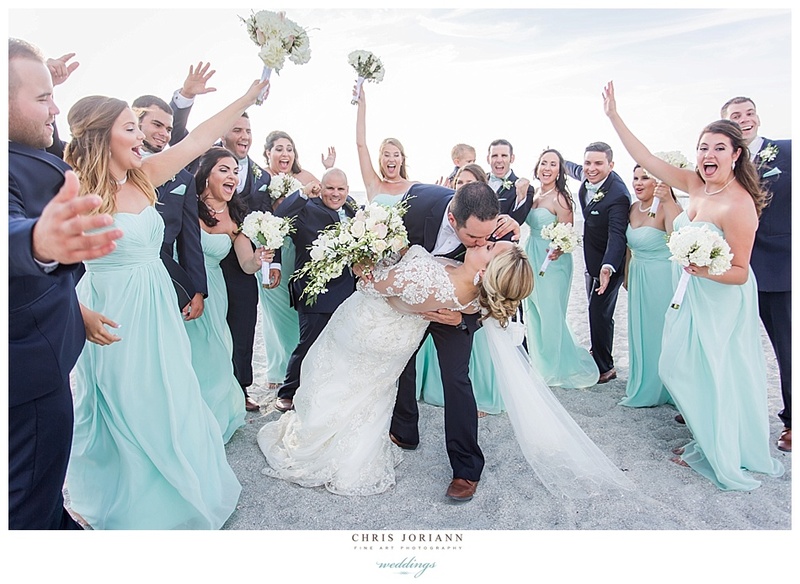 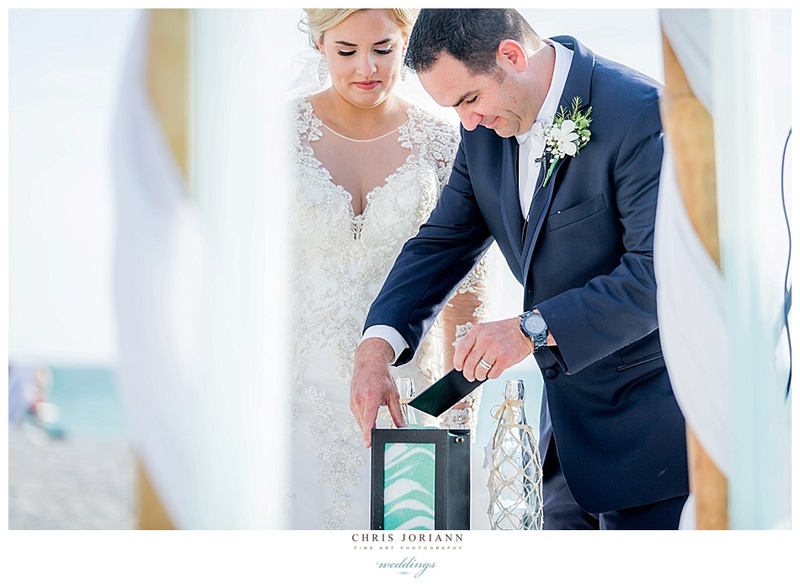 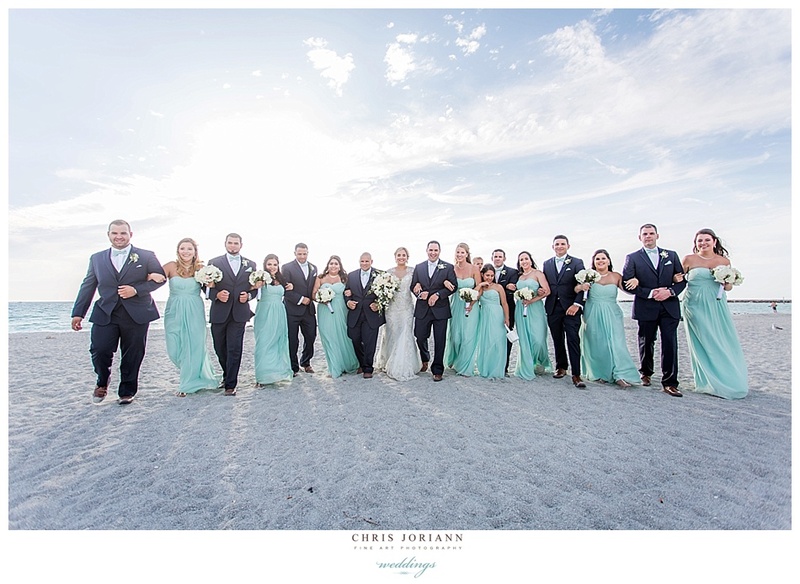 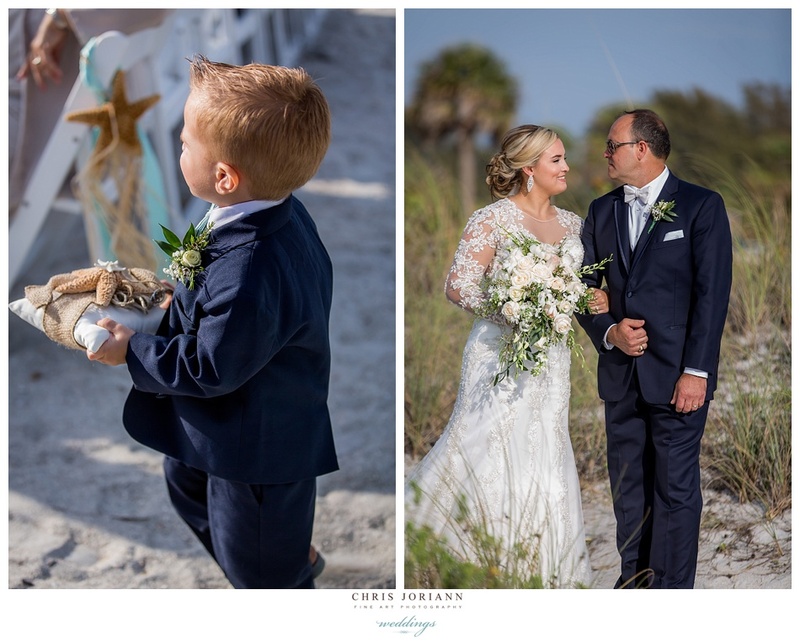 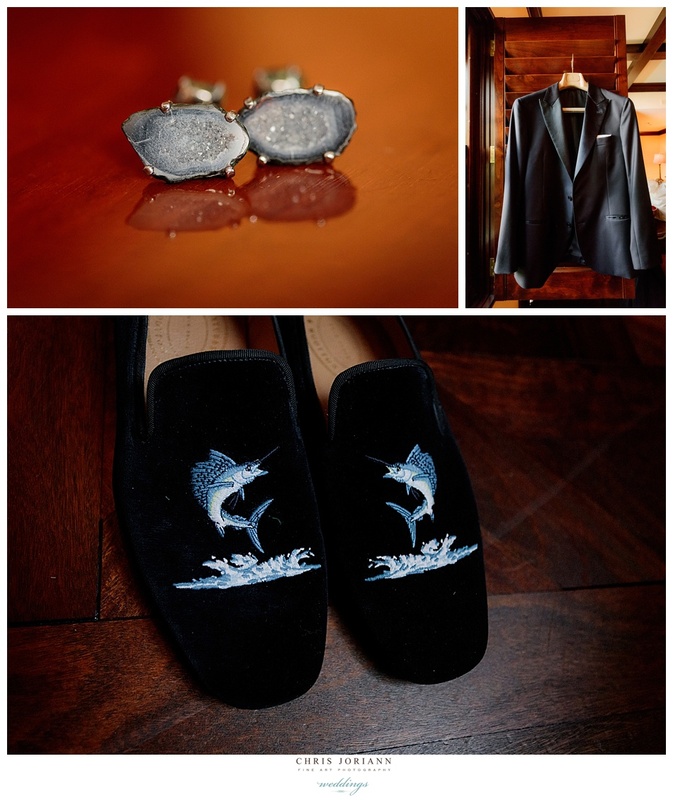 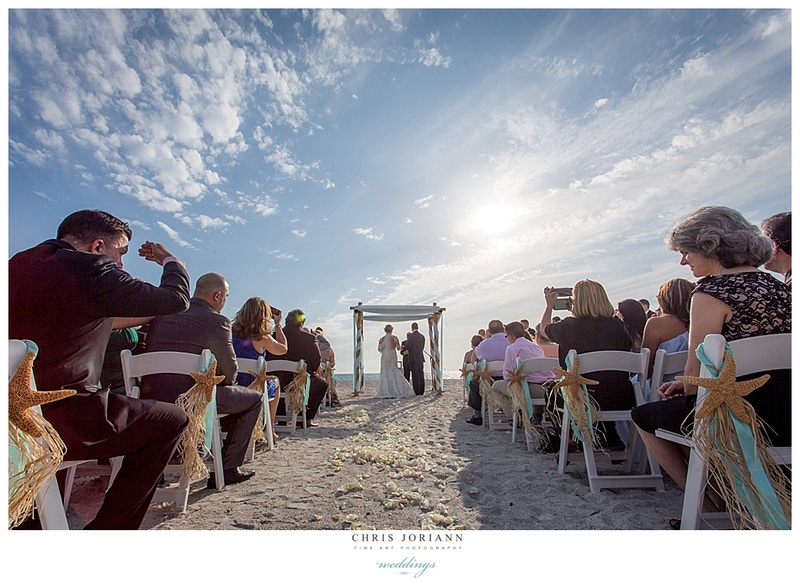 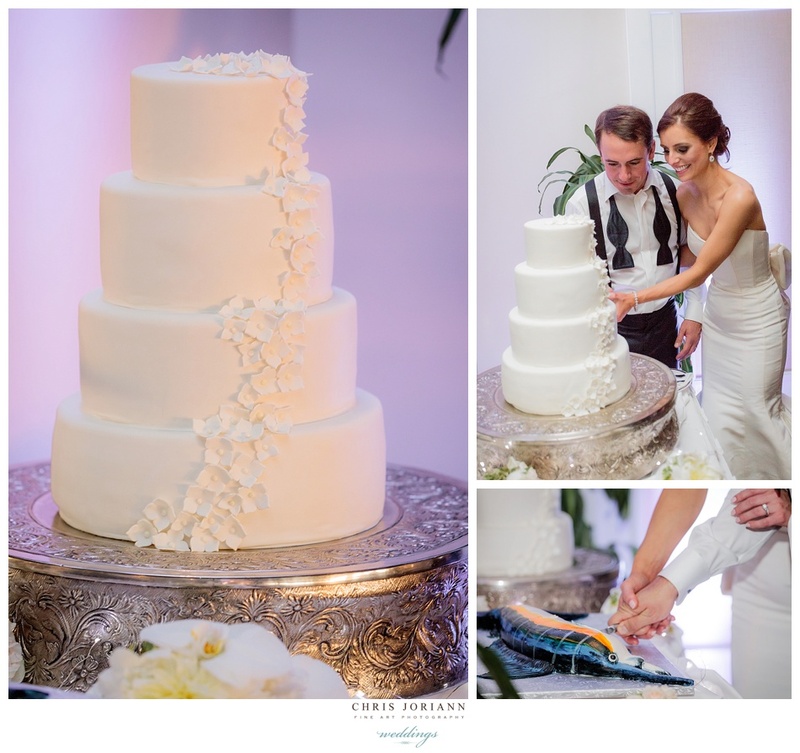 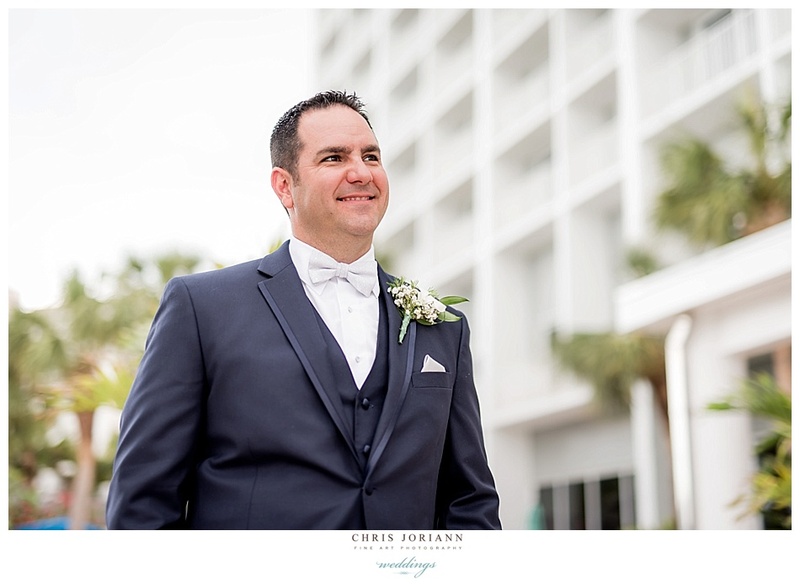 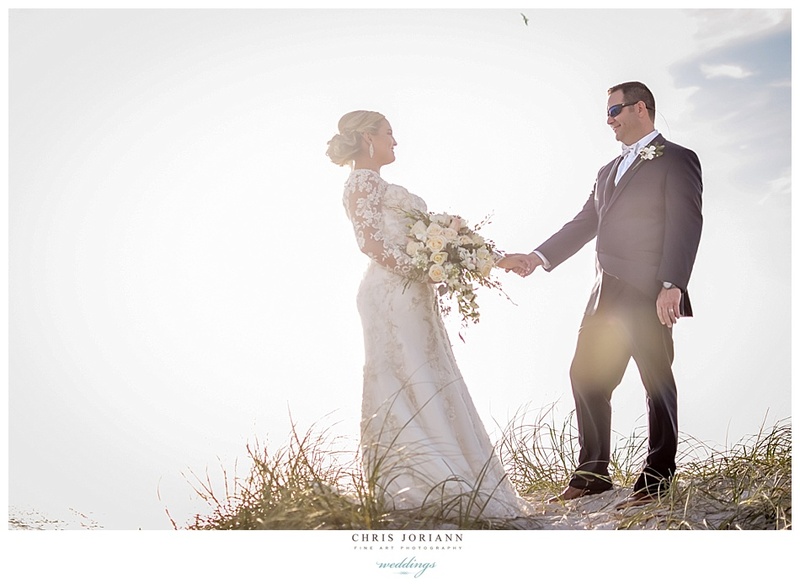 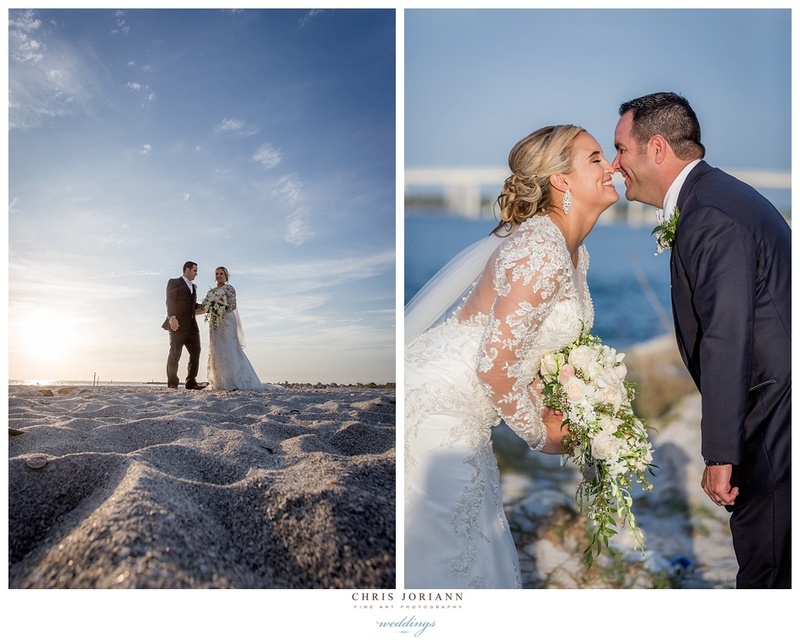 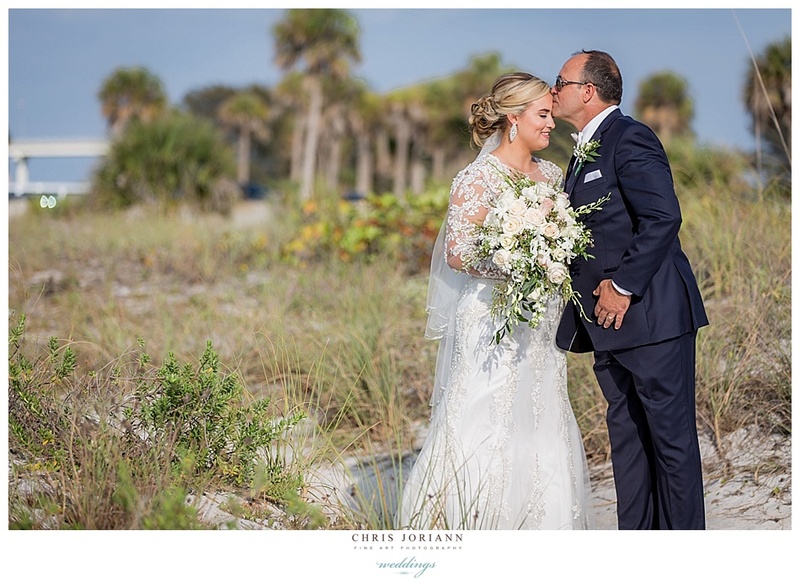 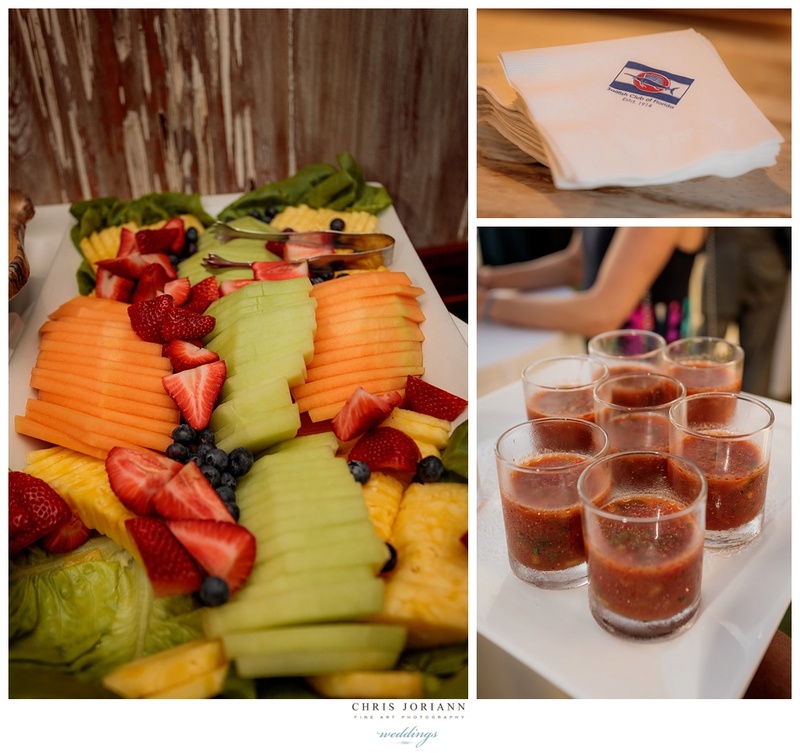 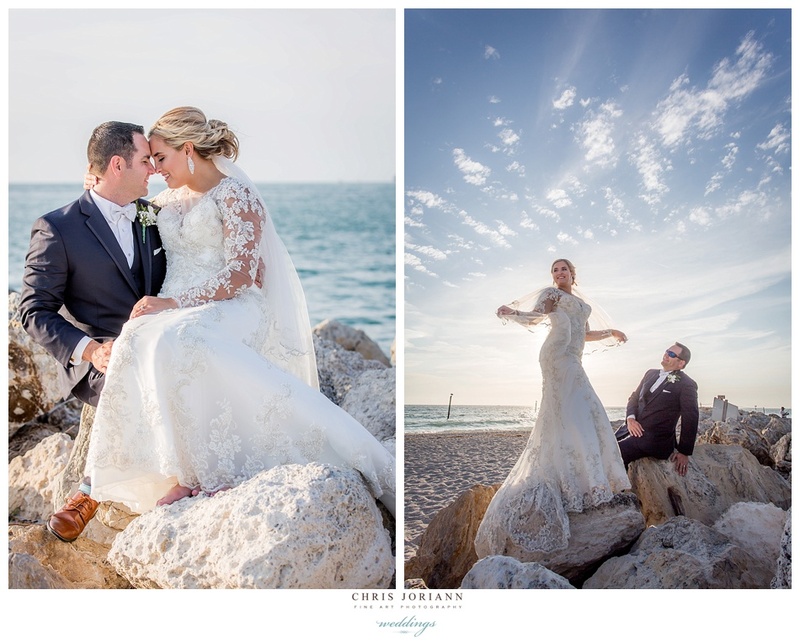 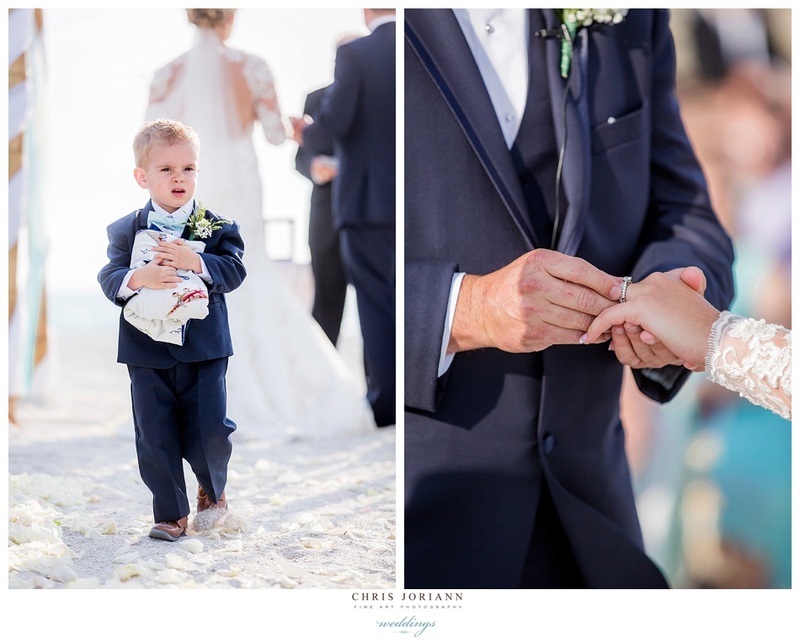 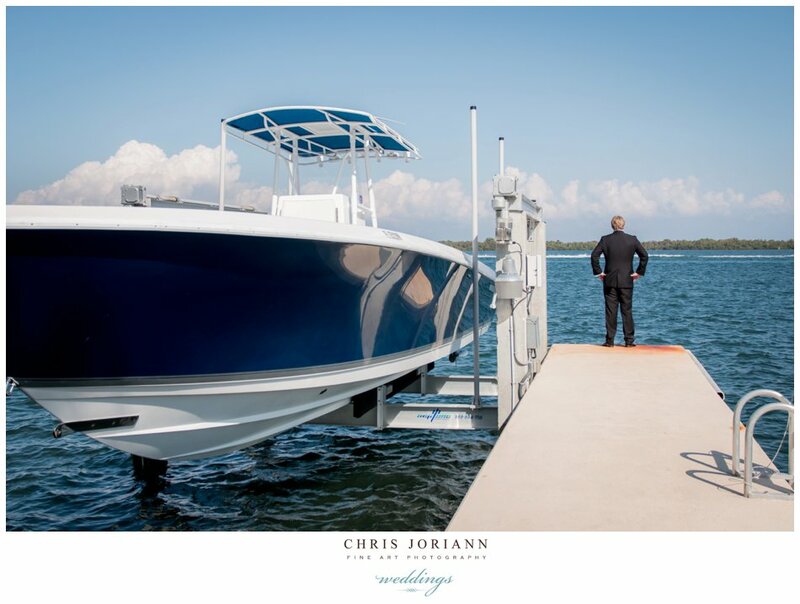 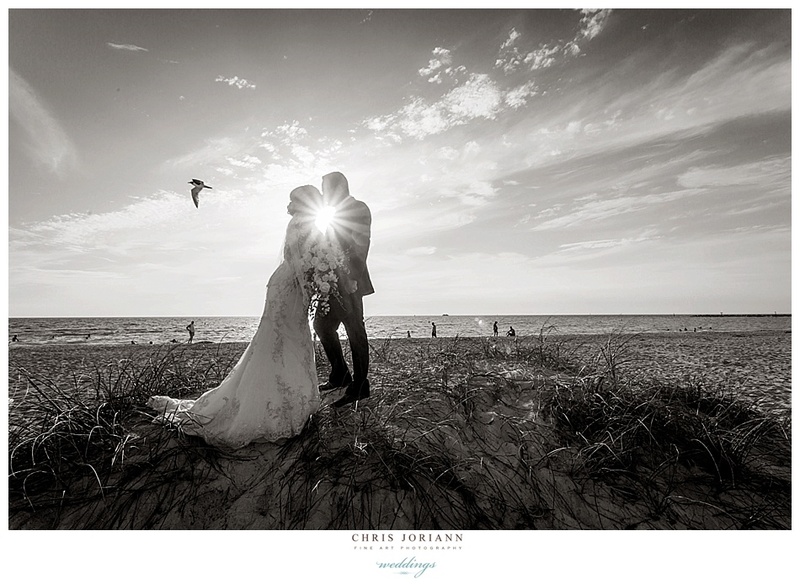 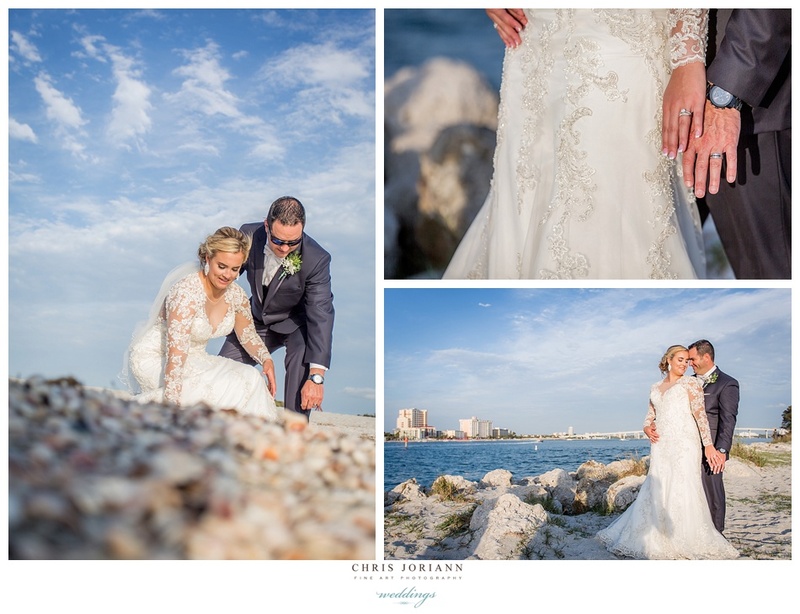 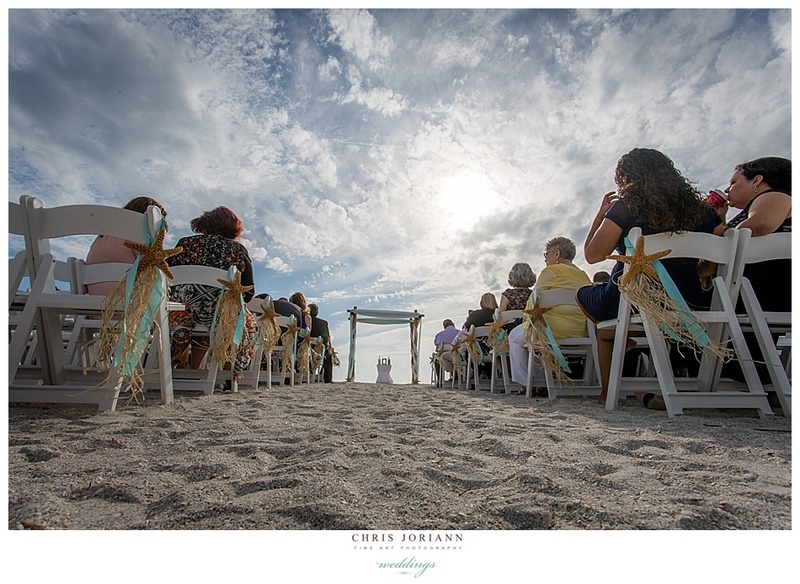 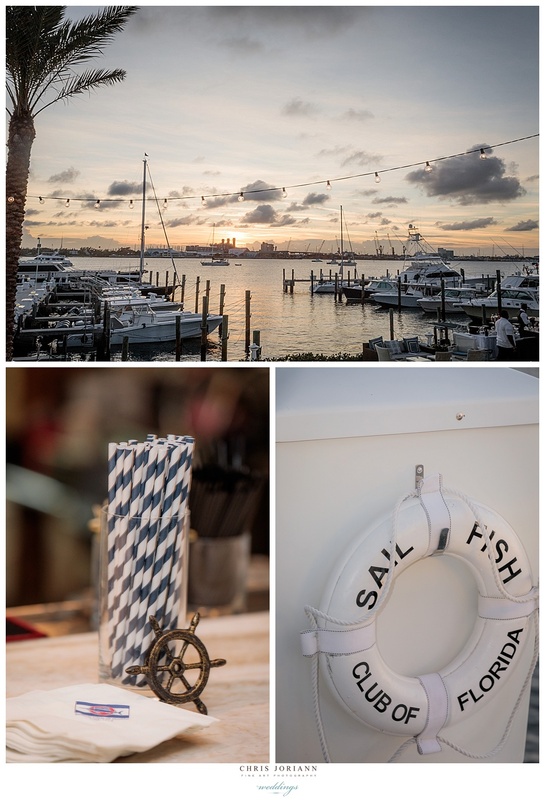 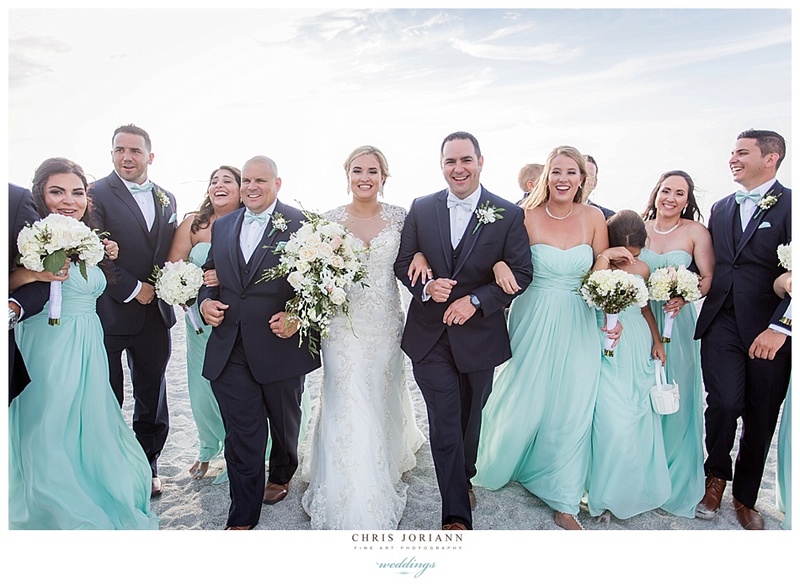 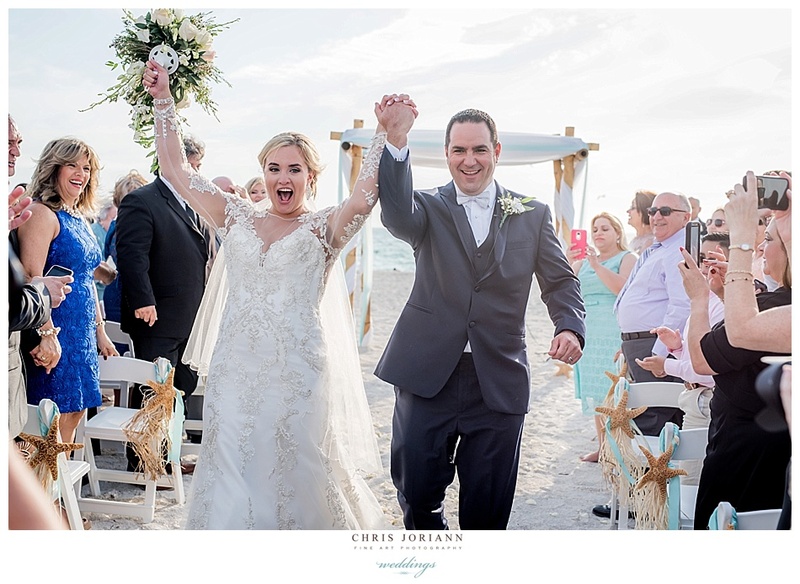 Yesenia + David’s starfish themed beach wedding took place in Sand Key. 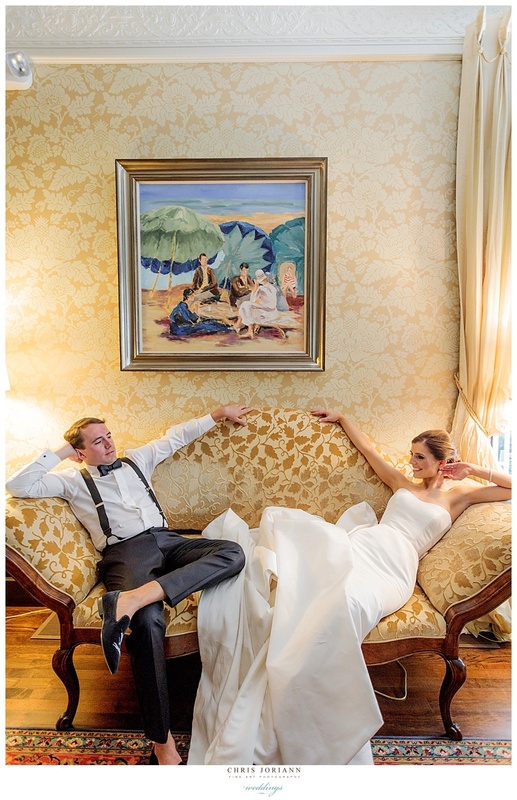 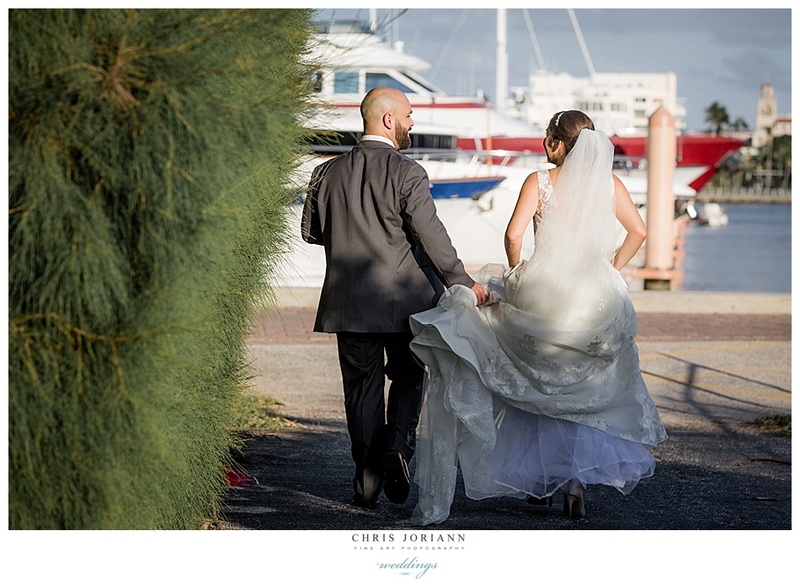 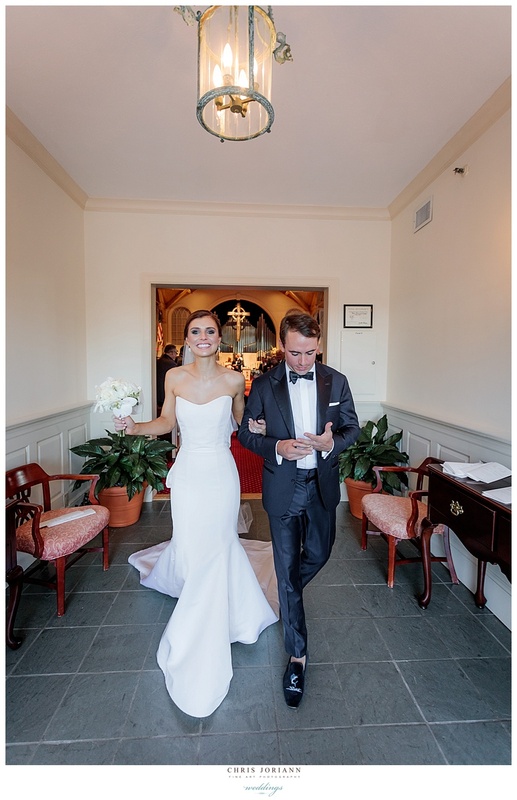 The bride wore a lace couture gown by Demetrios, with strappy rhinstone shoes by Antonio Melani. 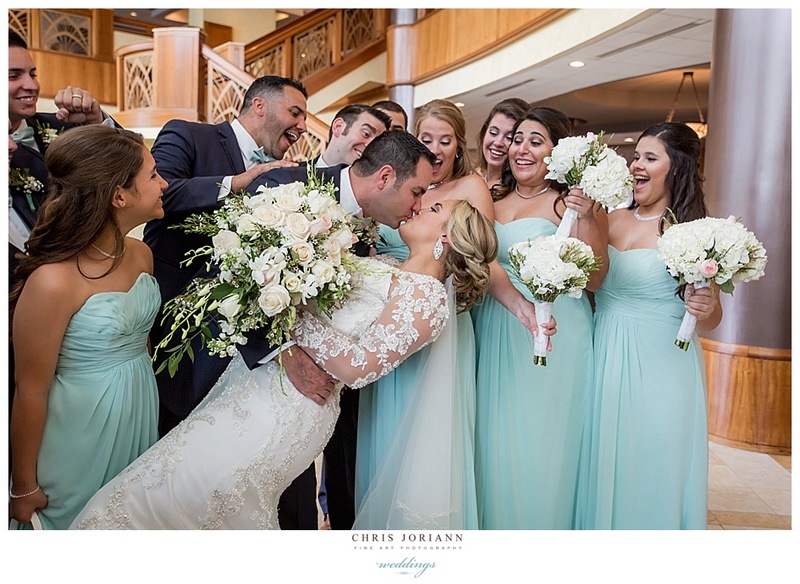 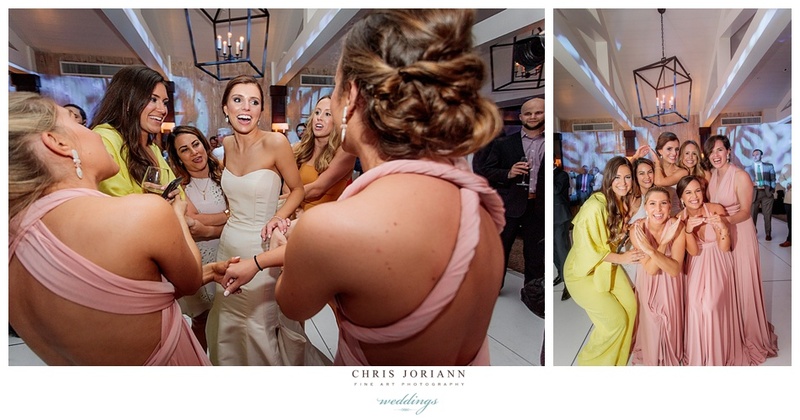 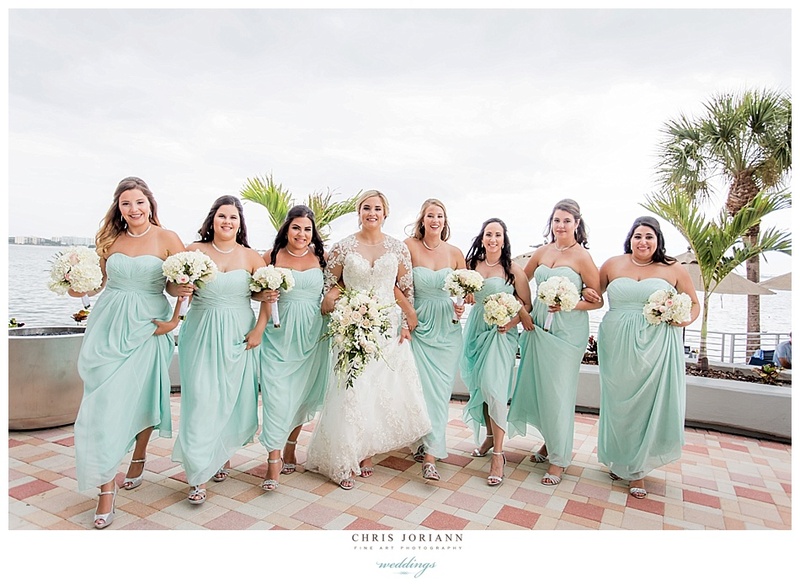 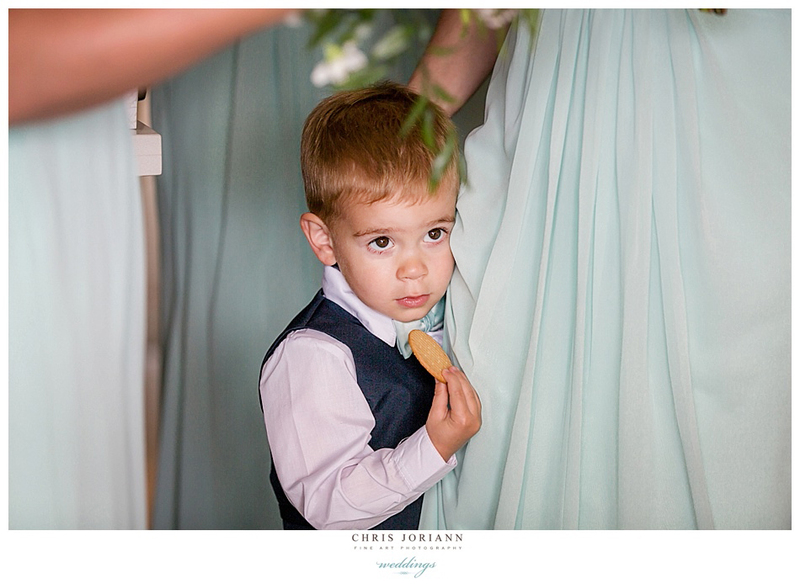 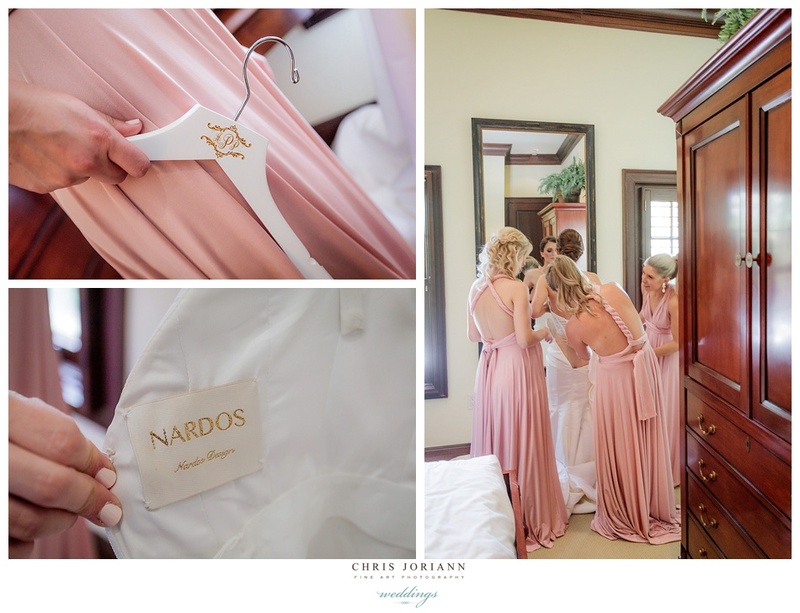 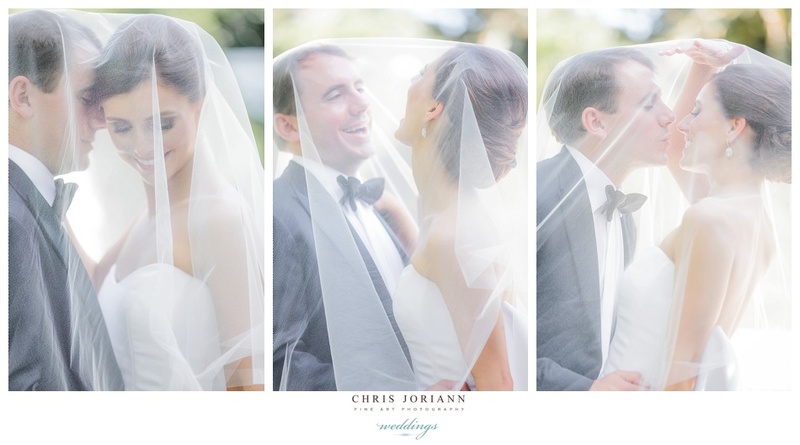 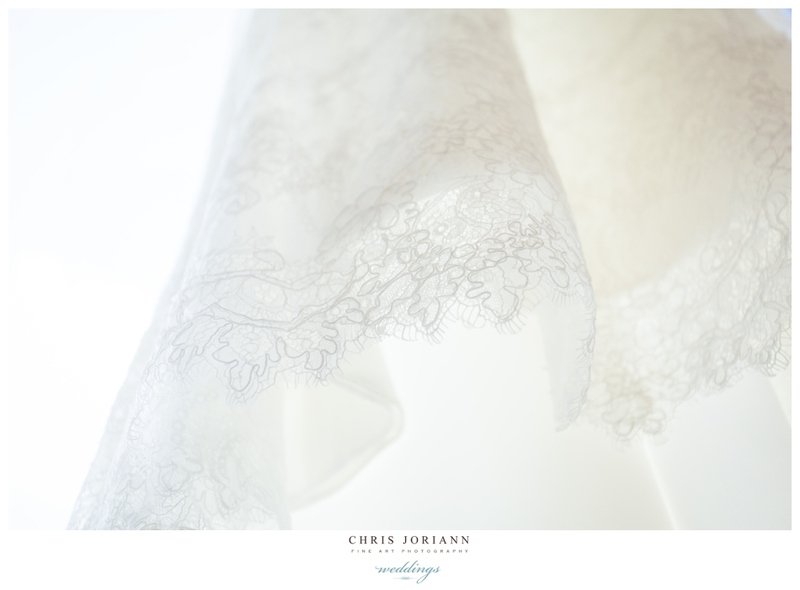 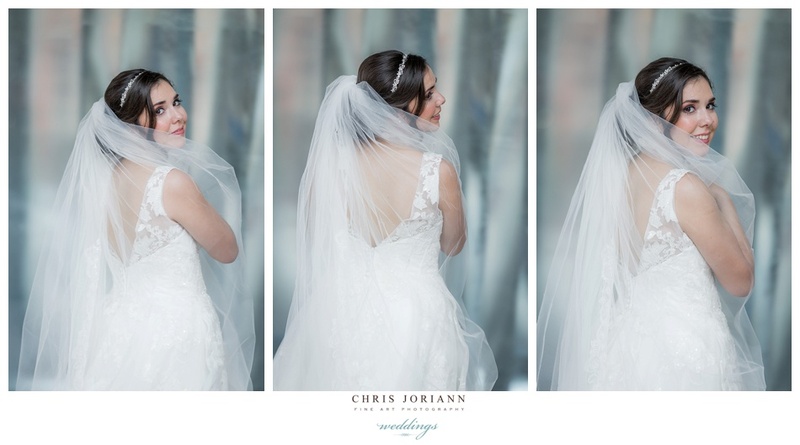 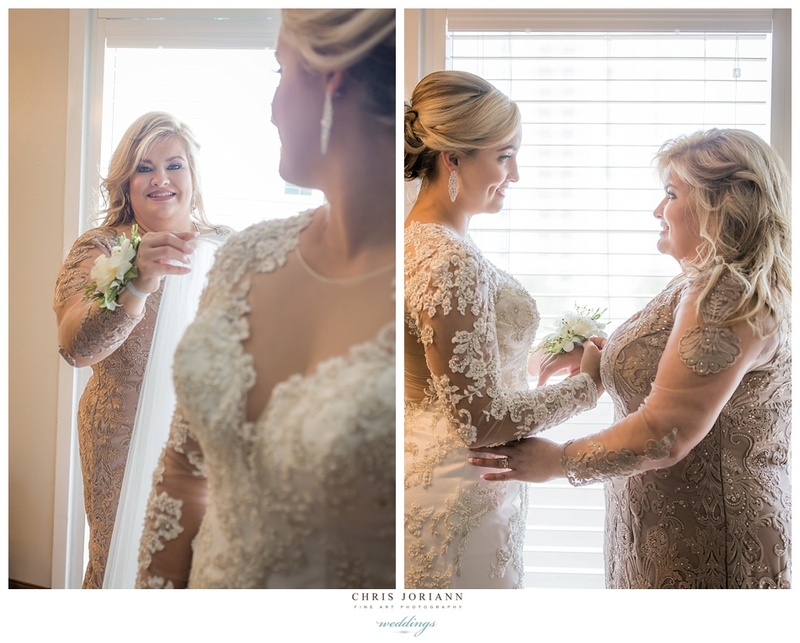 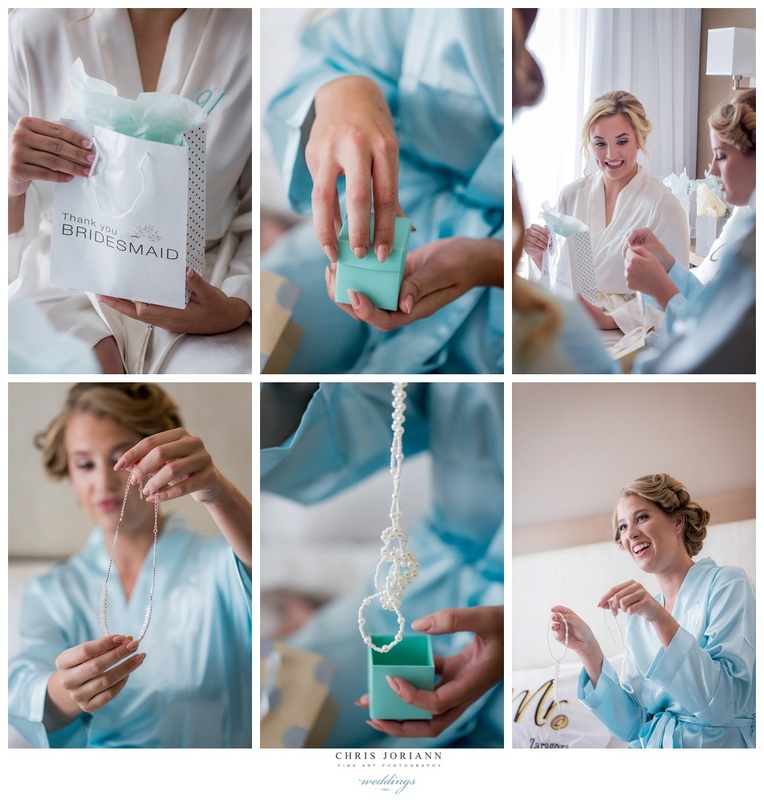 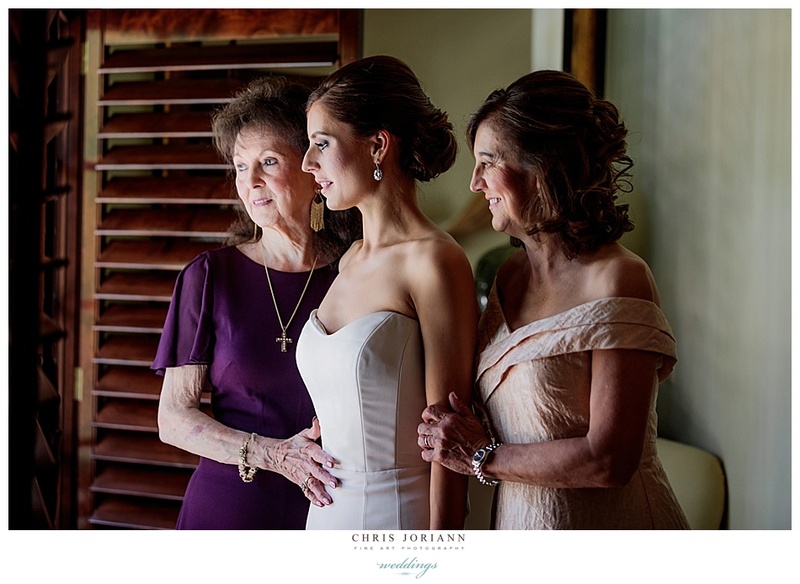 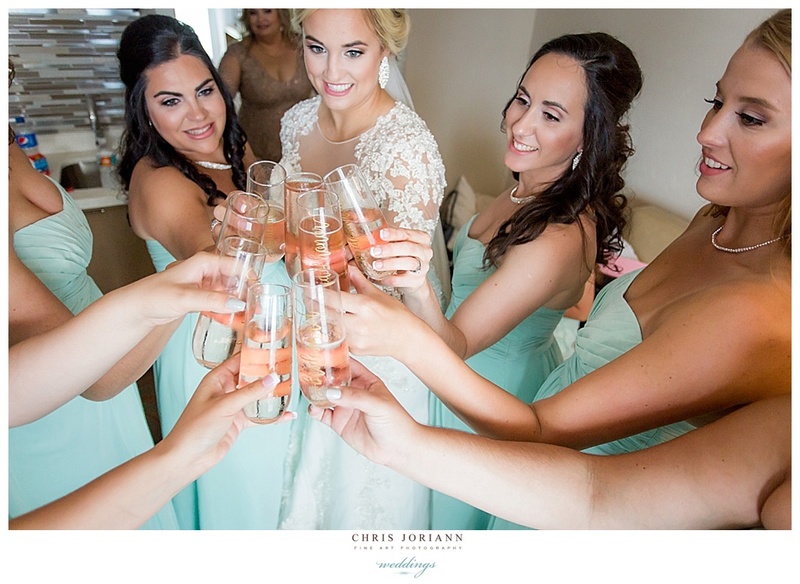 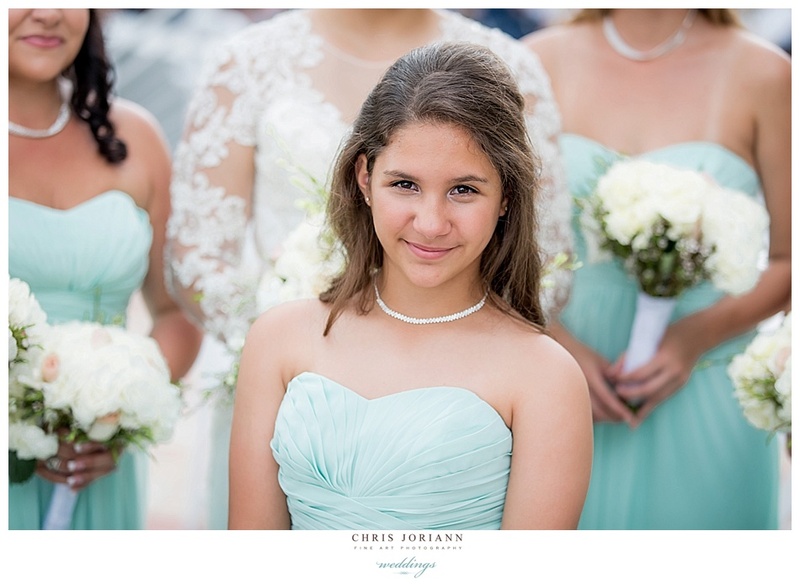 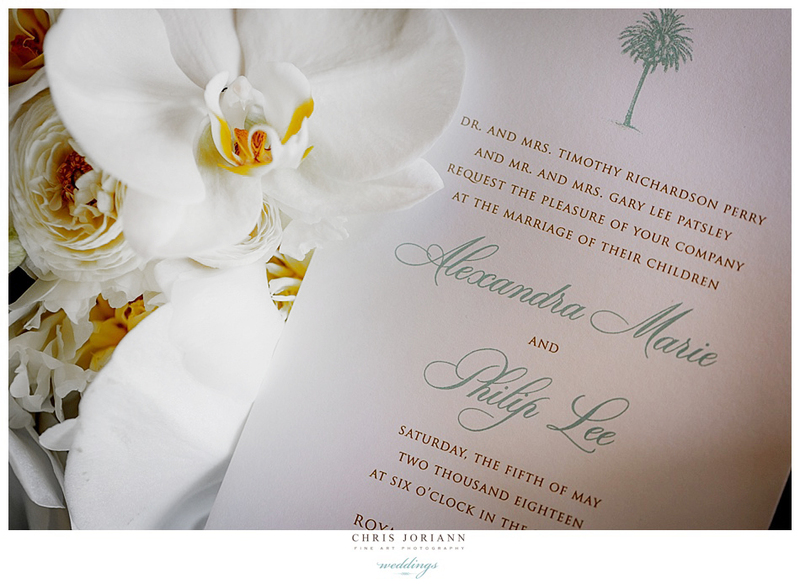 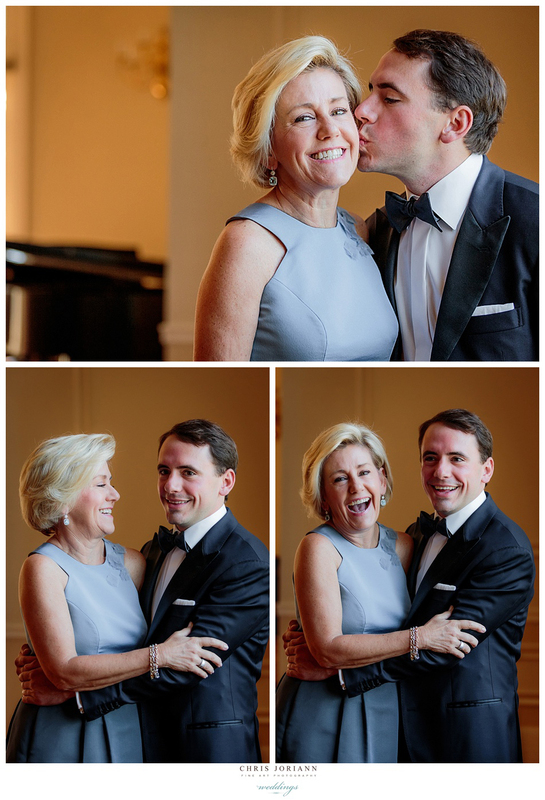 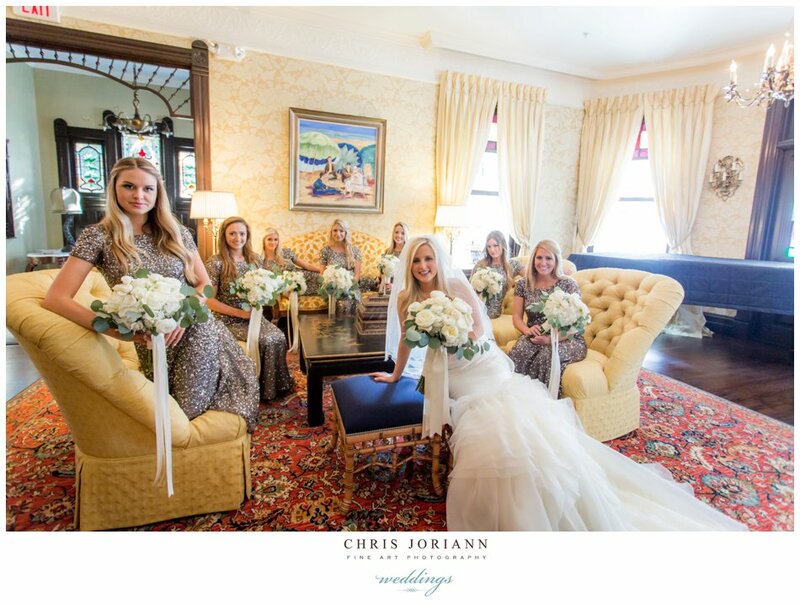 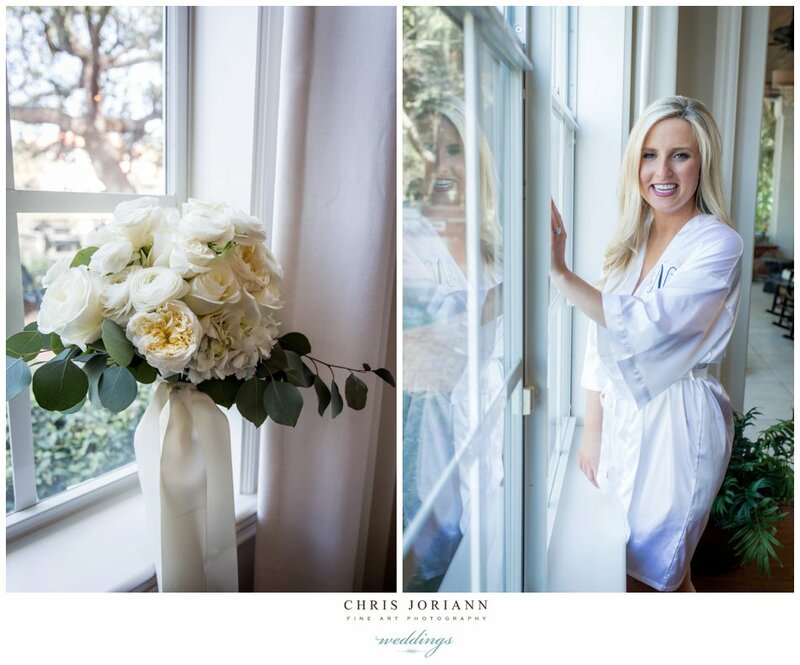 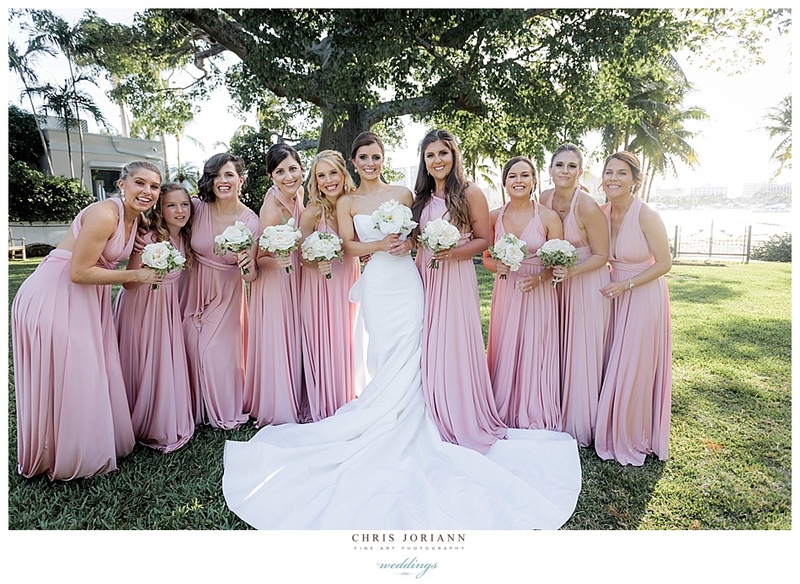 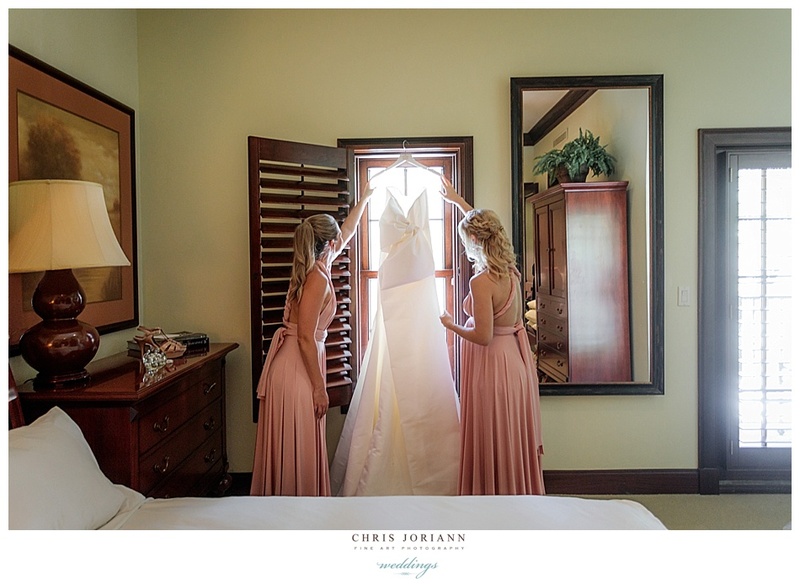 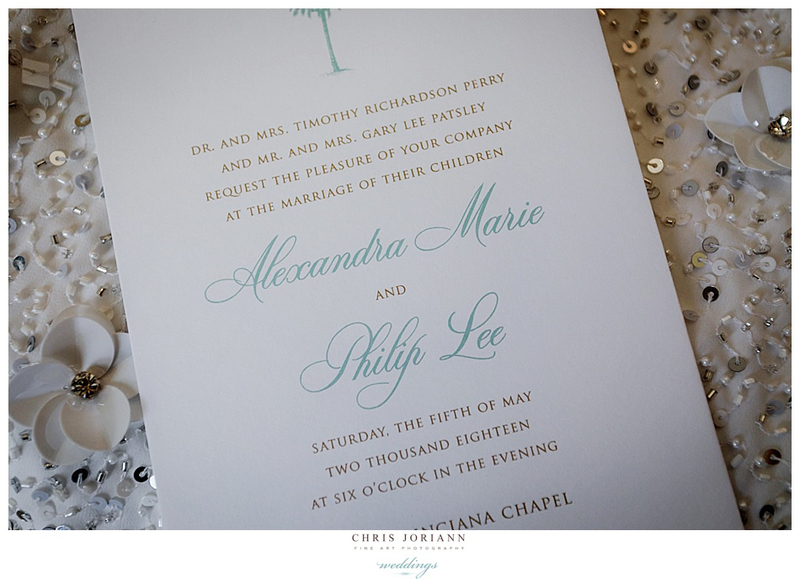 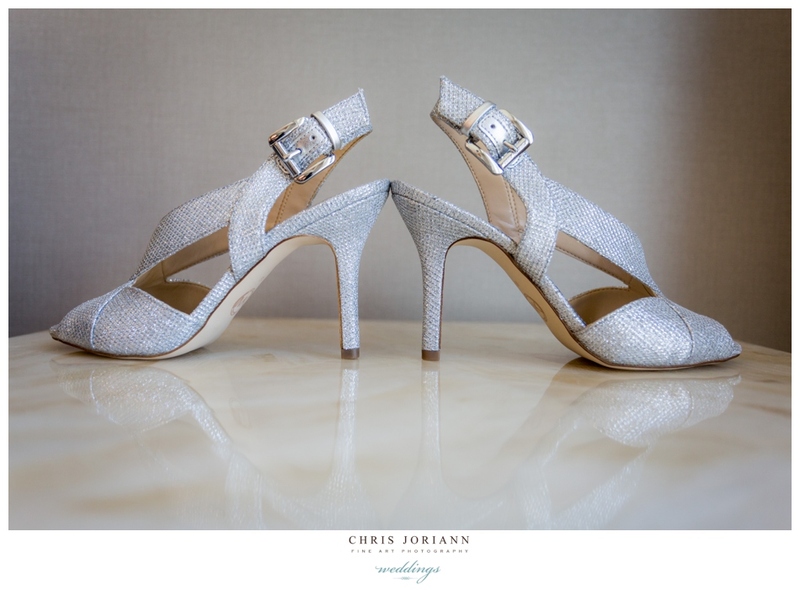 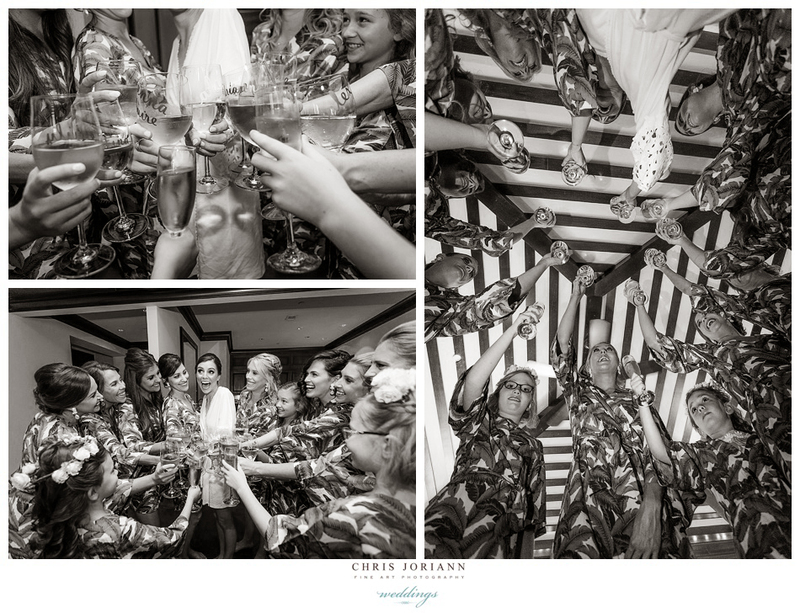 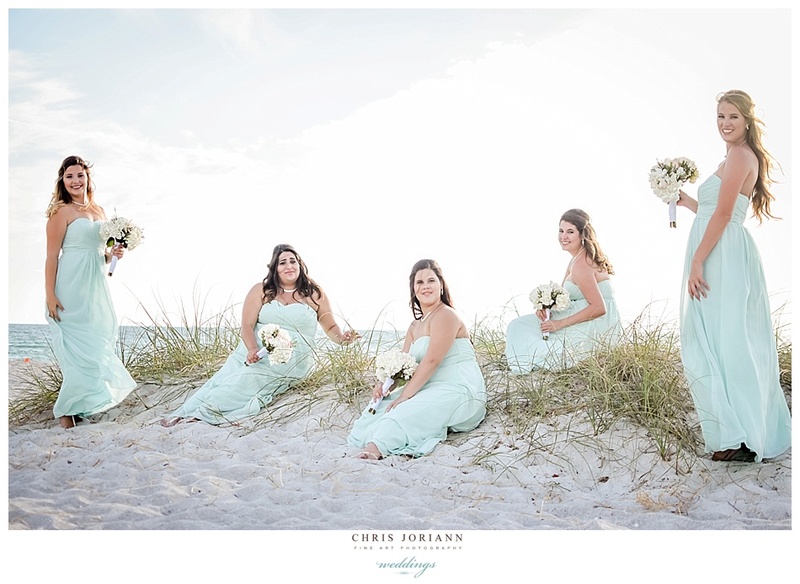 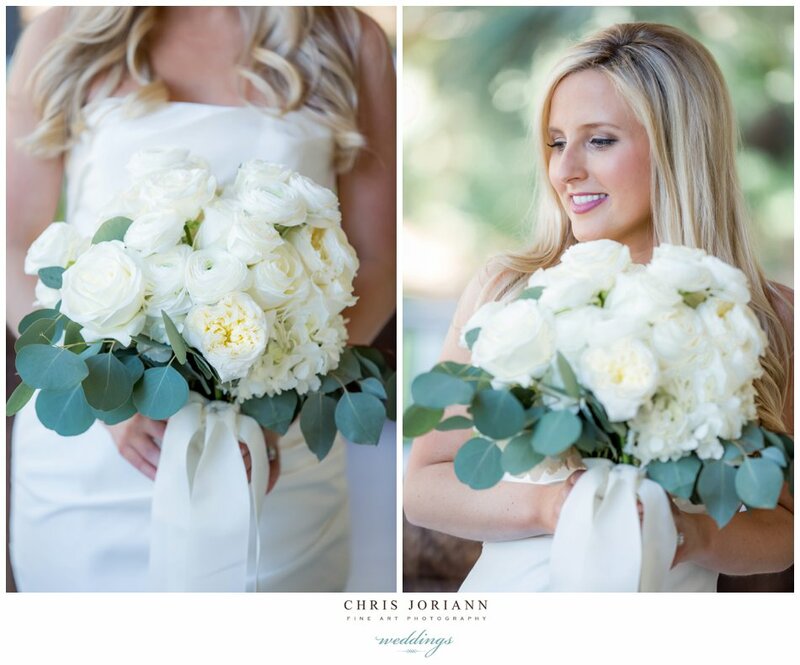 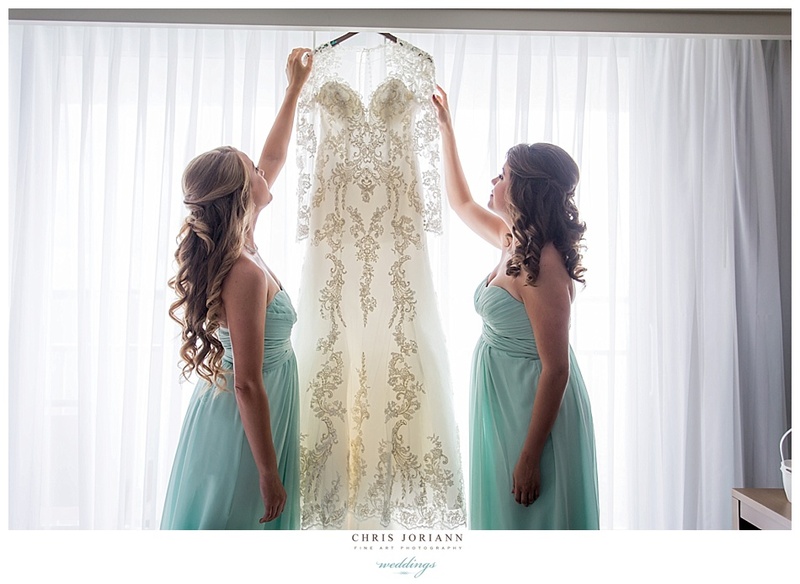 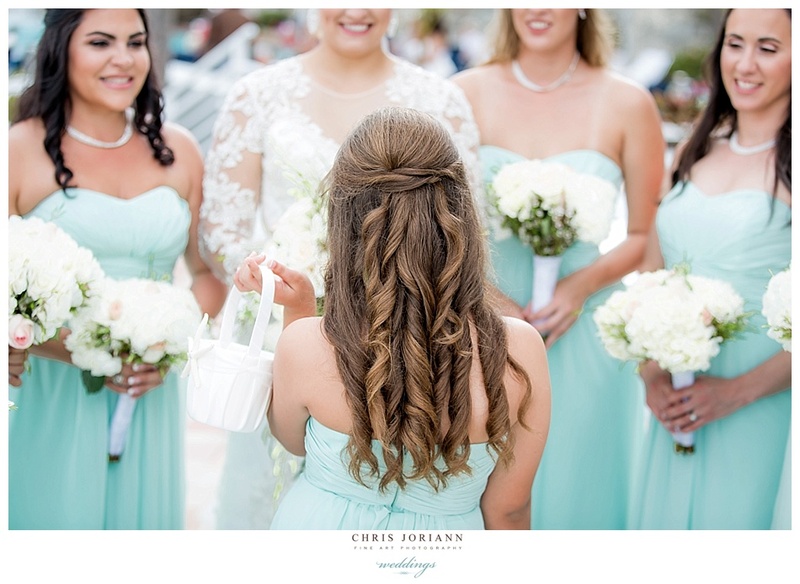 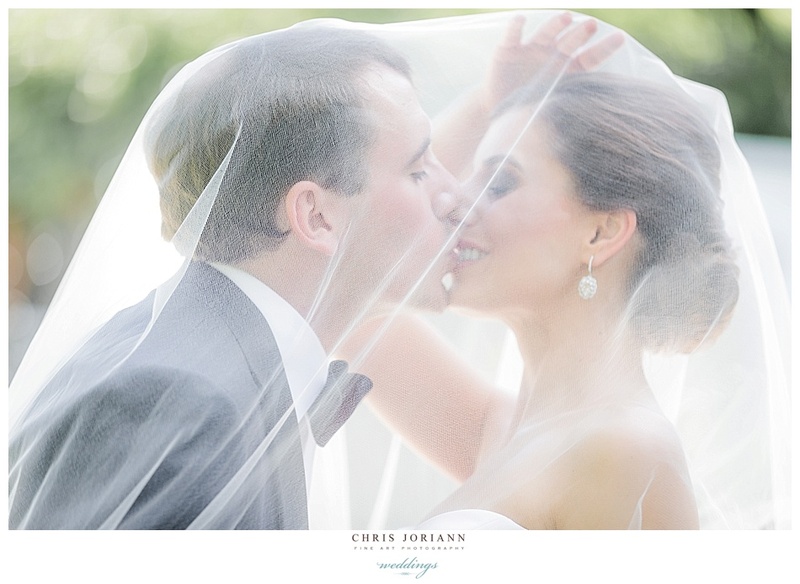 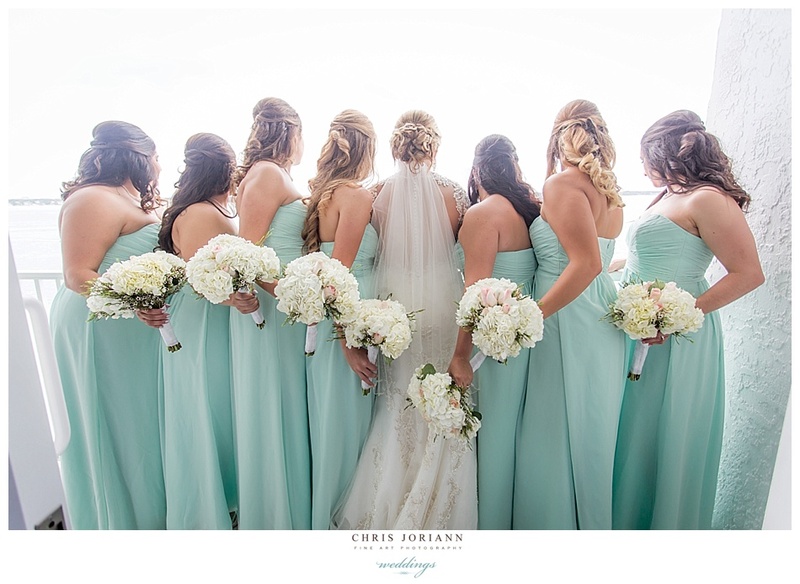 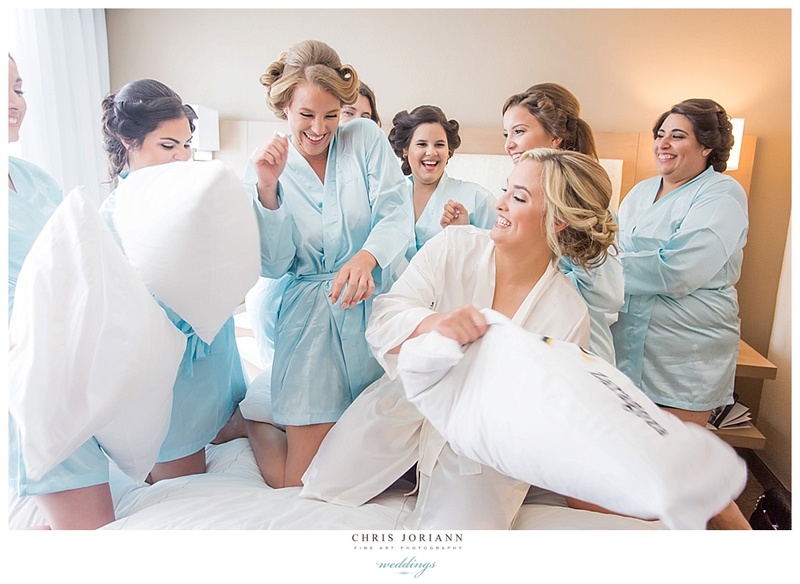 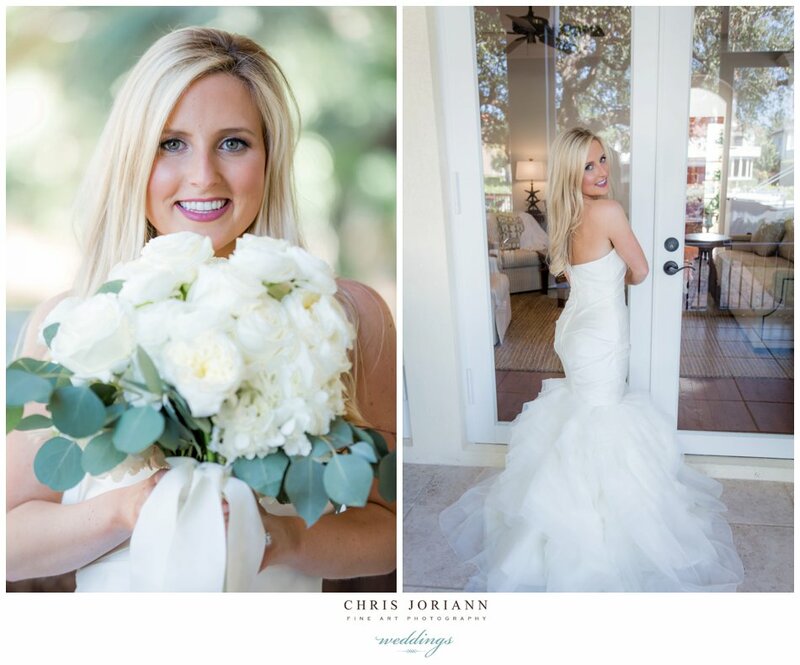 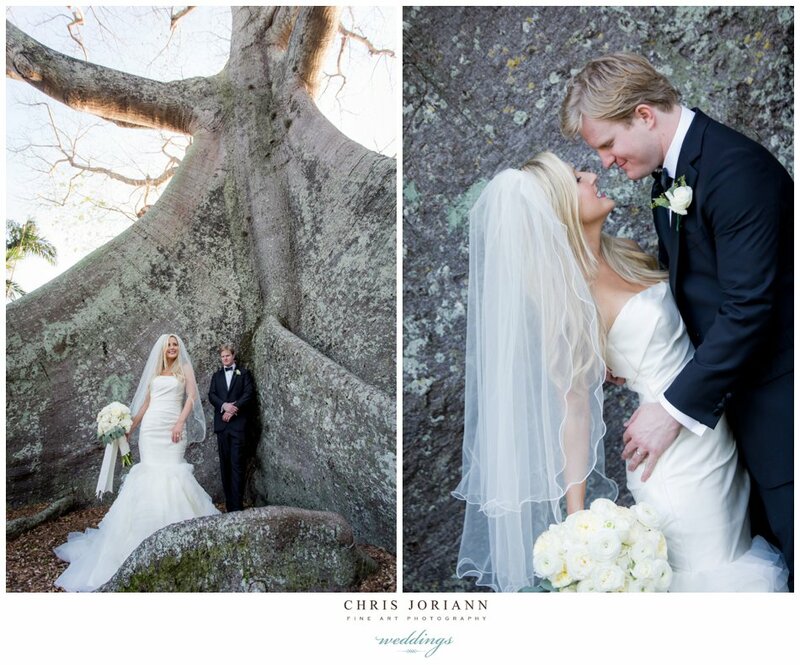 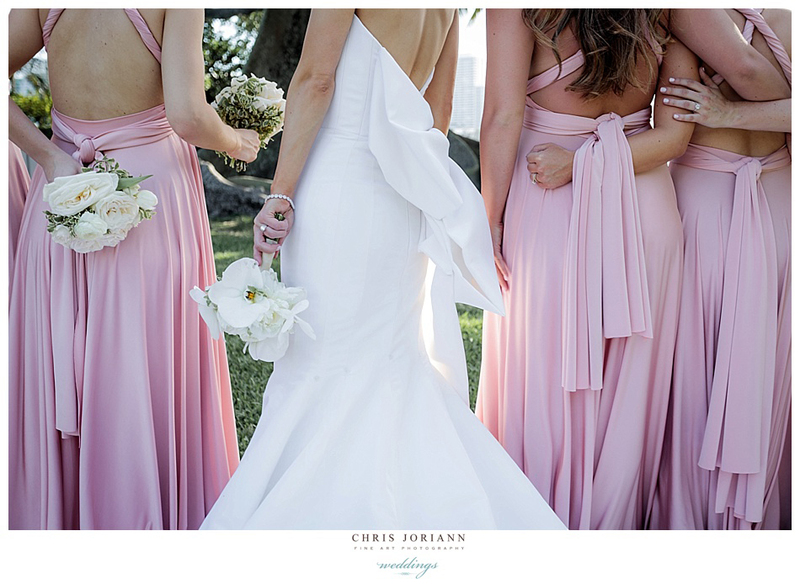 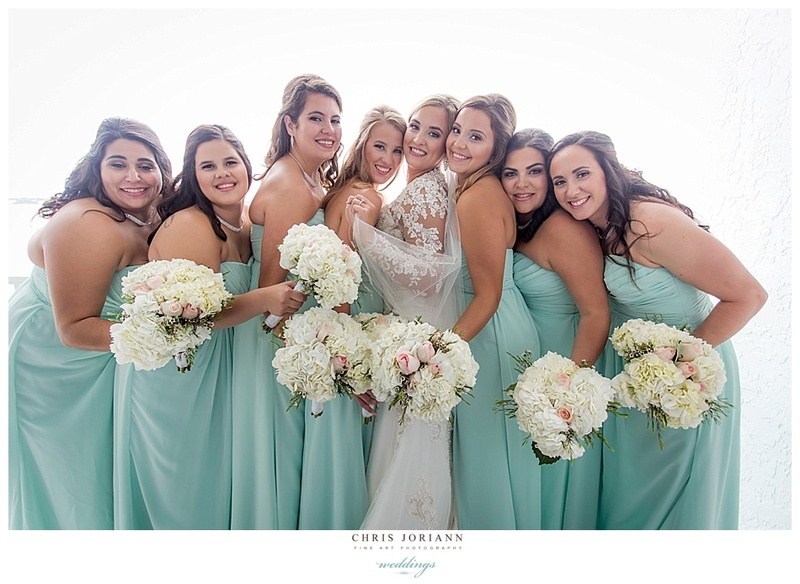 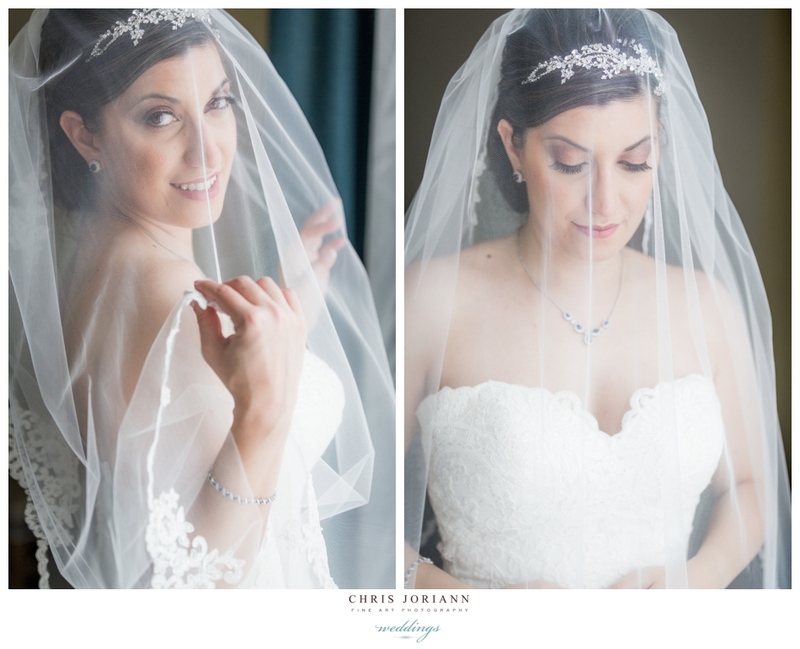 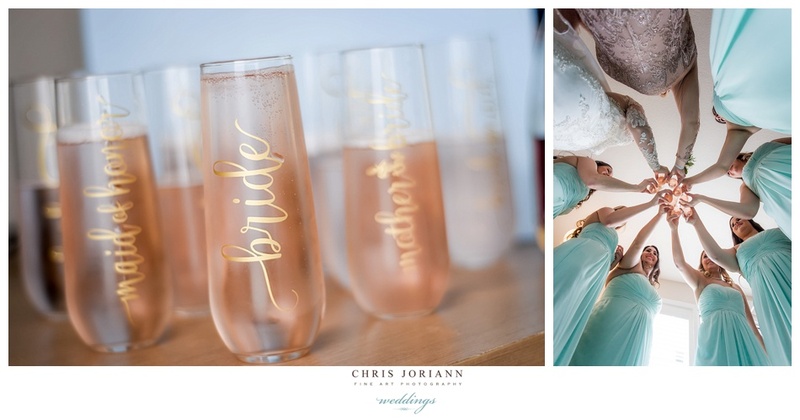 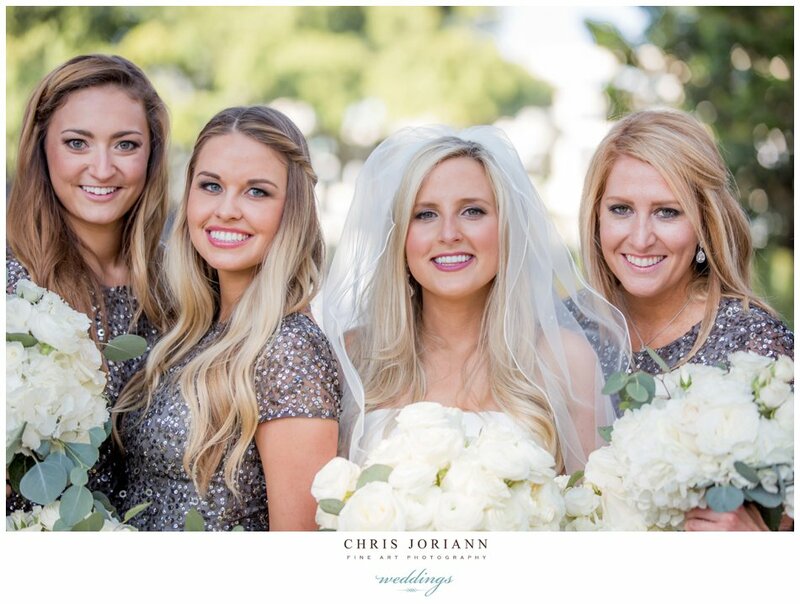 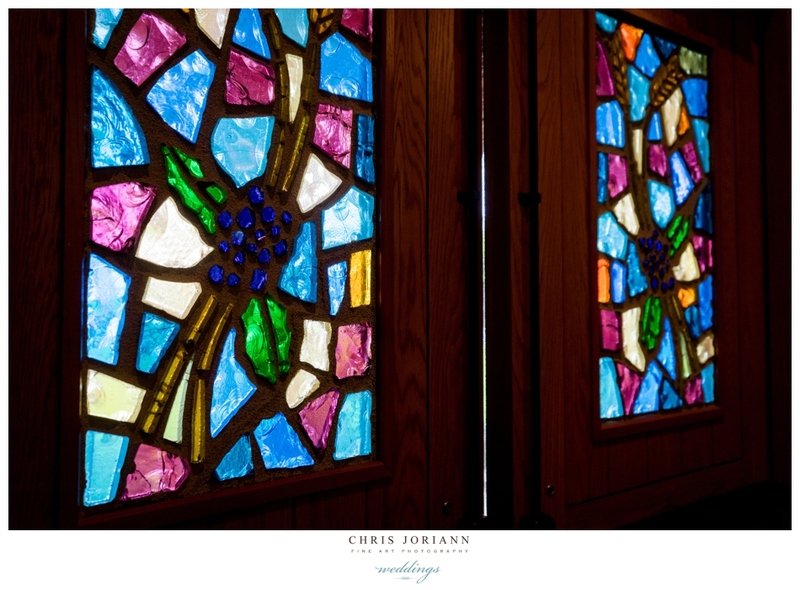 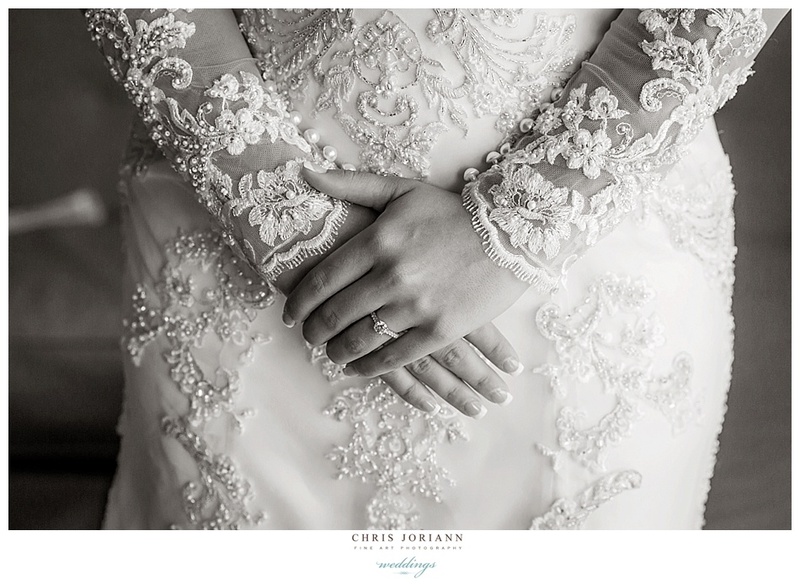 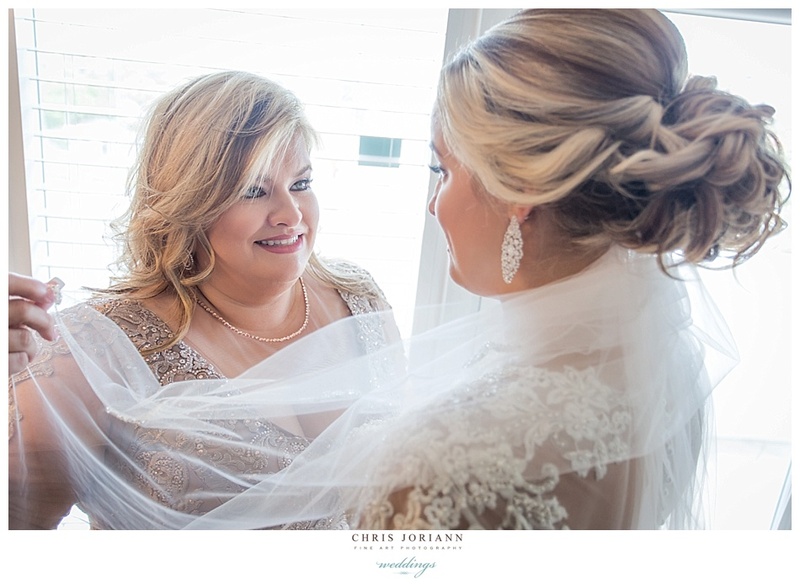 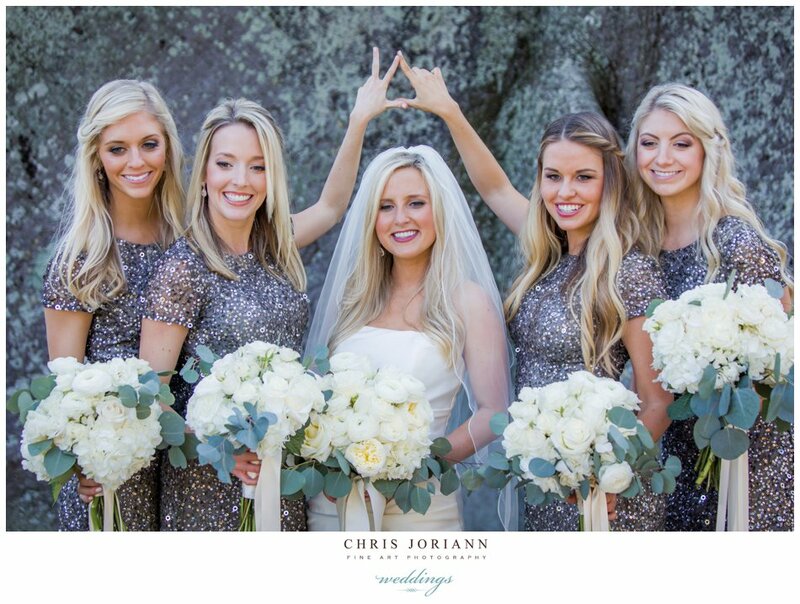 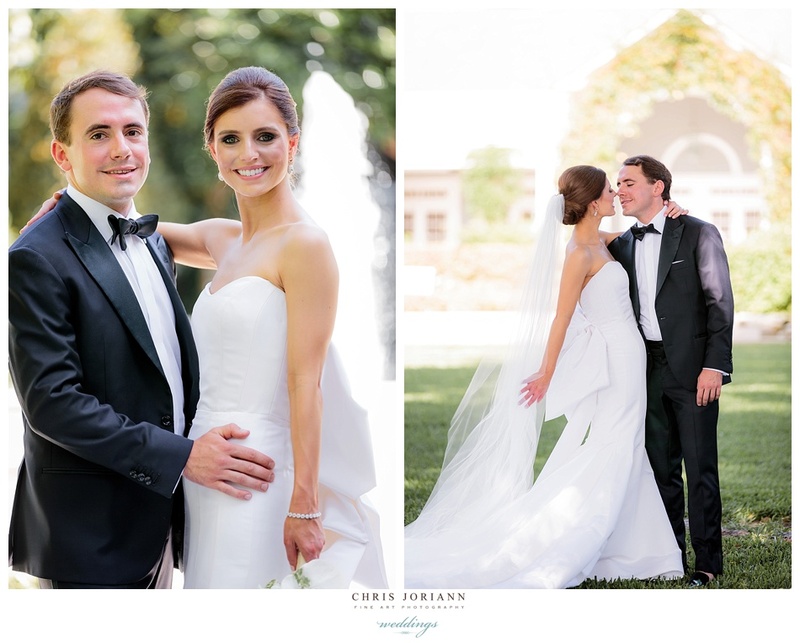 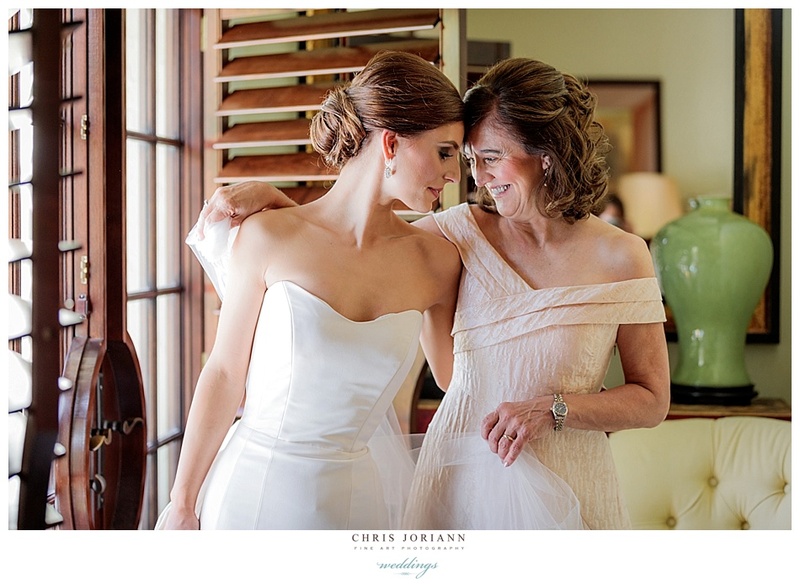 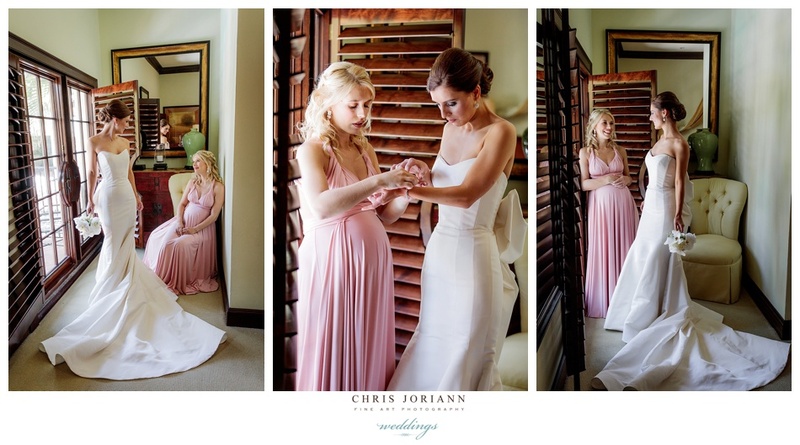 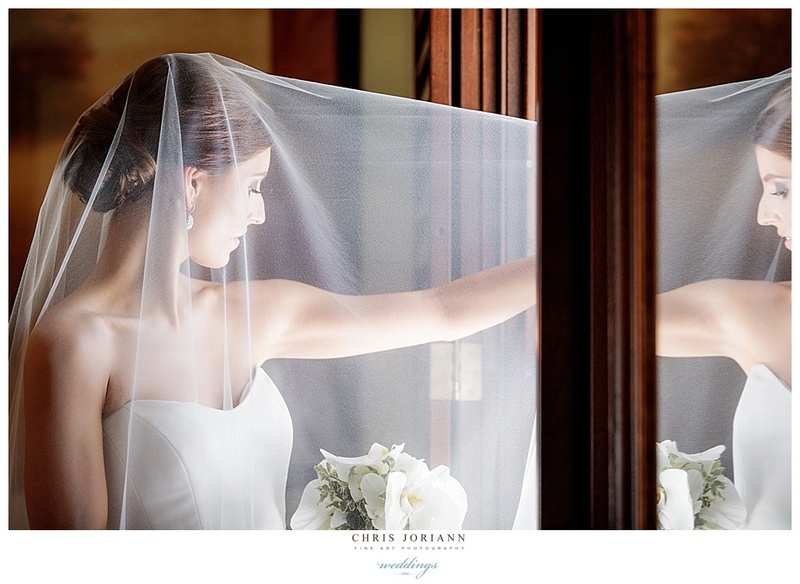 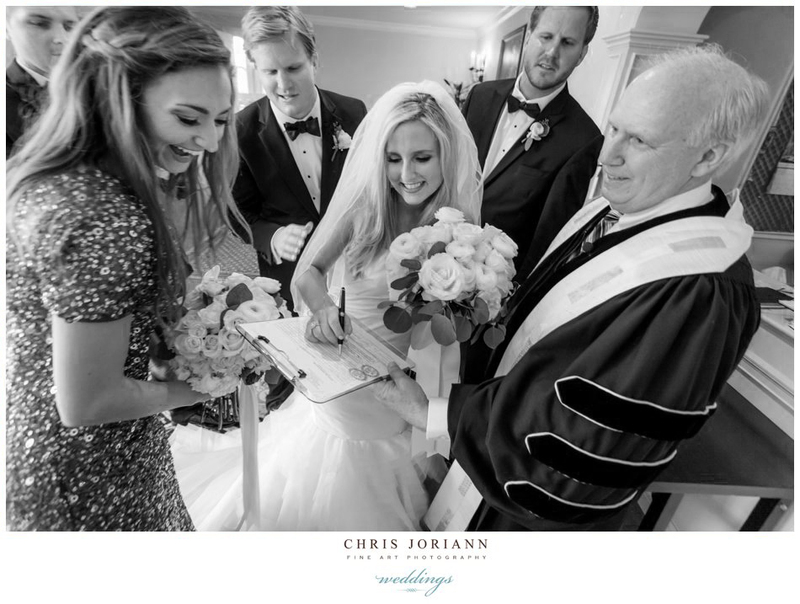 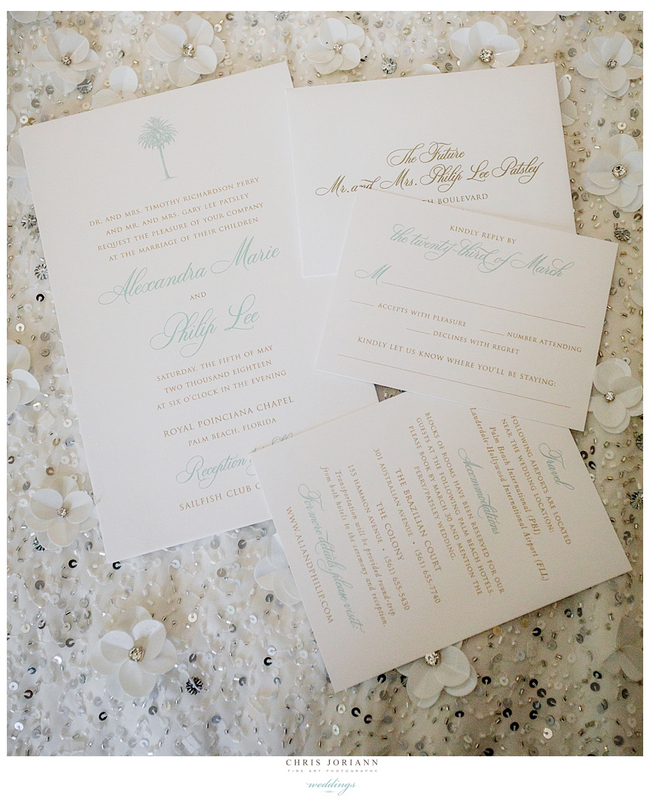 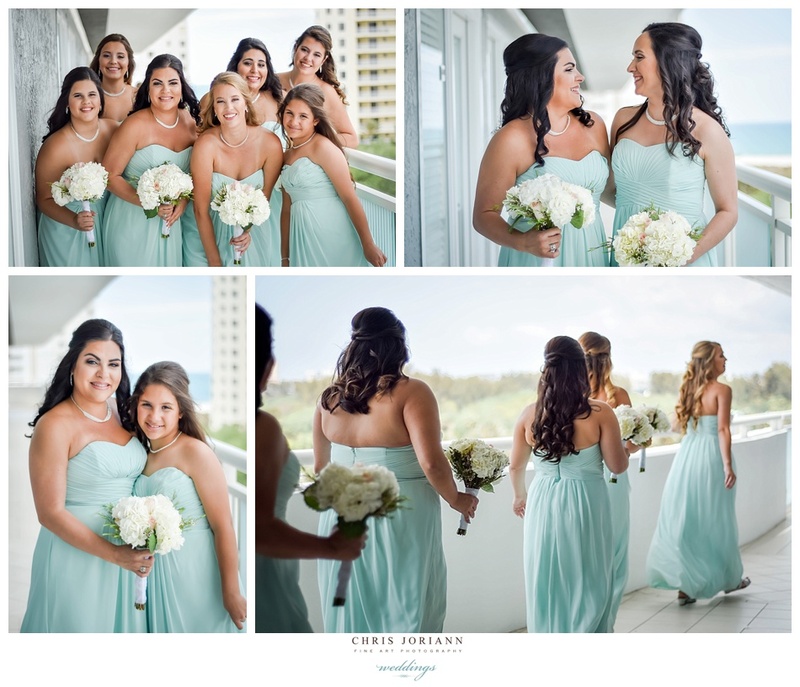 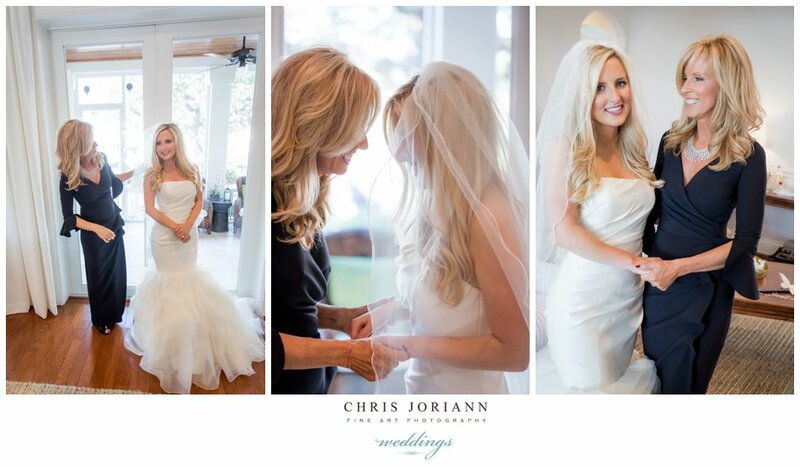 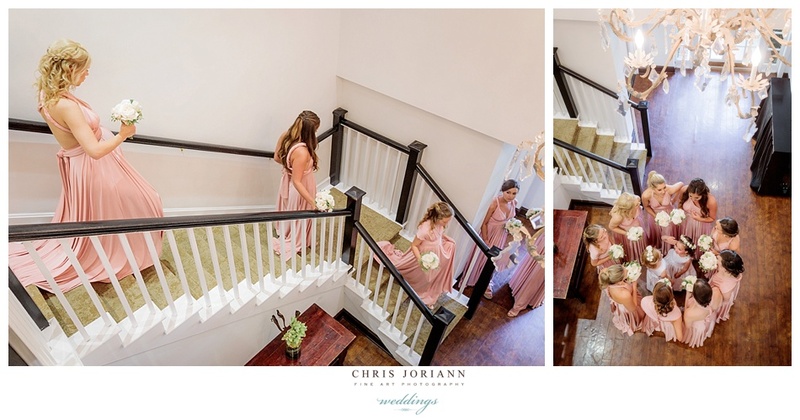 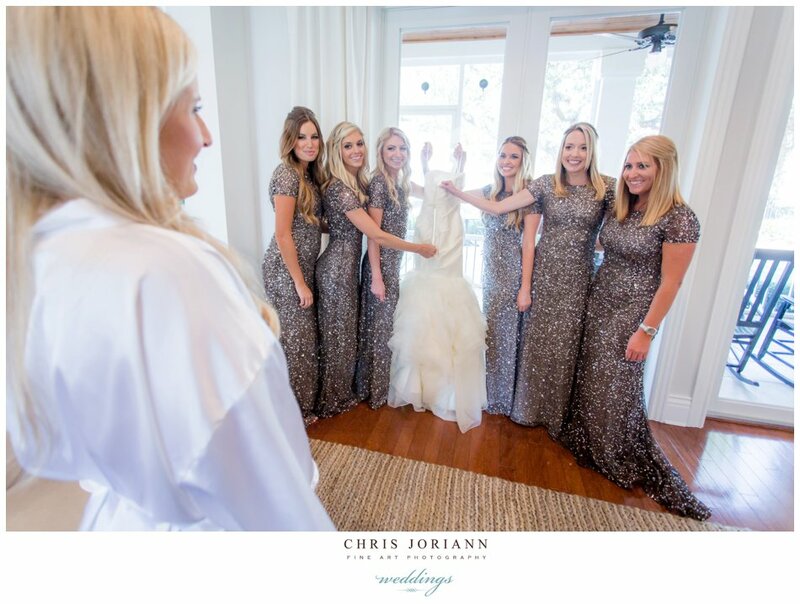 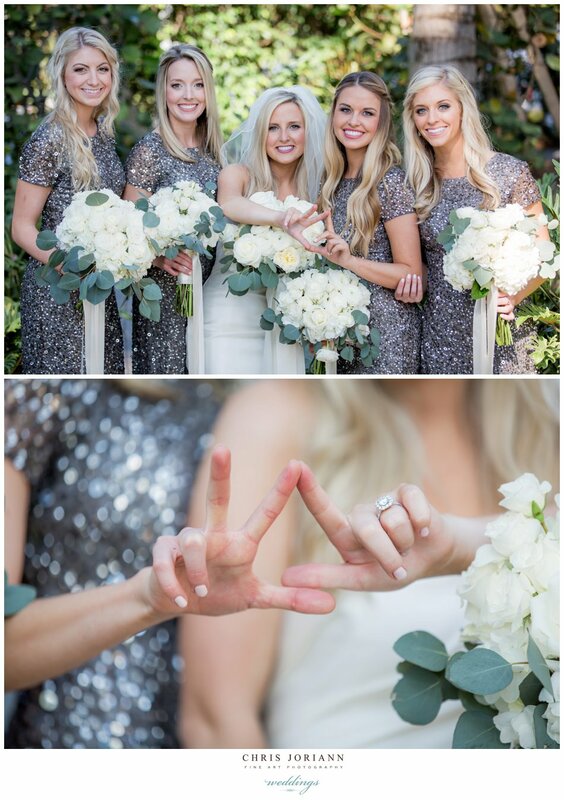 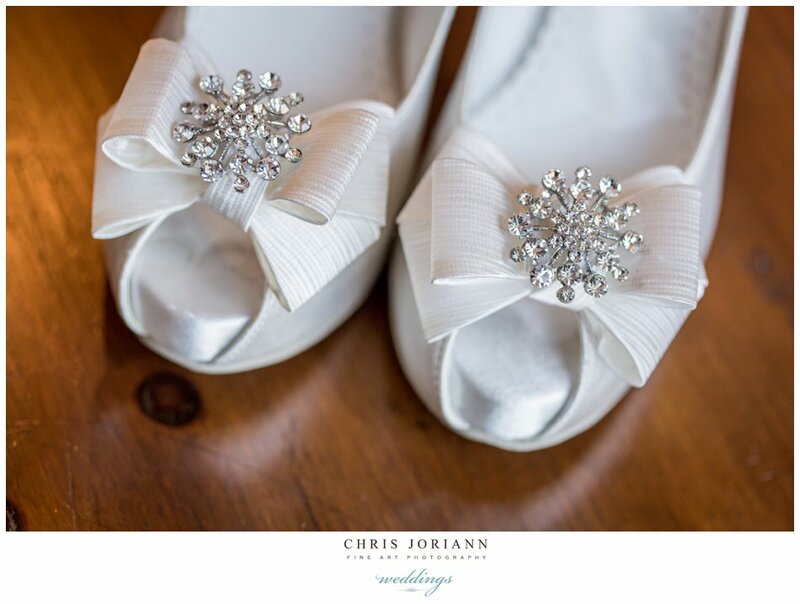 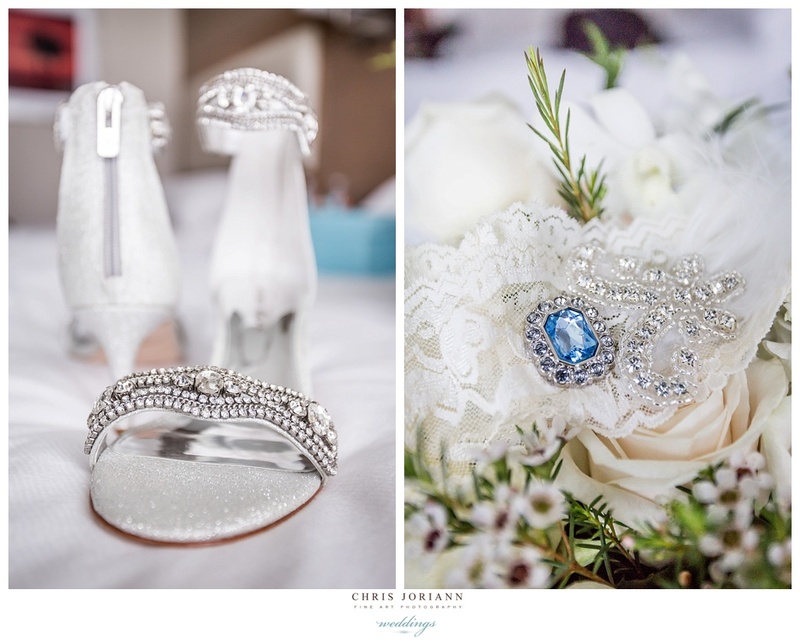 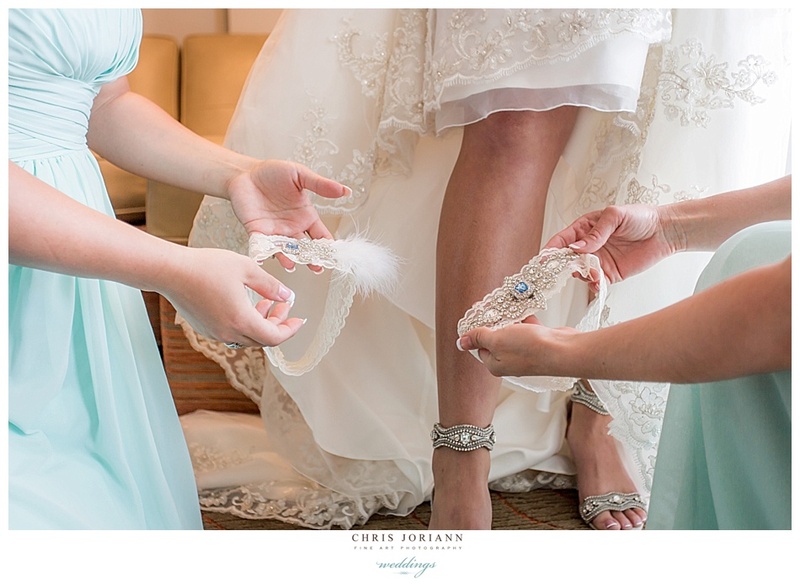 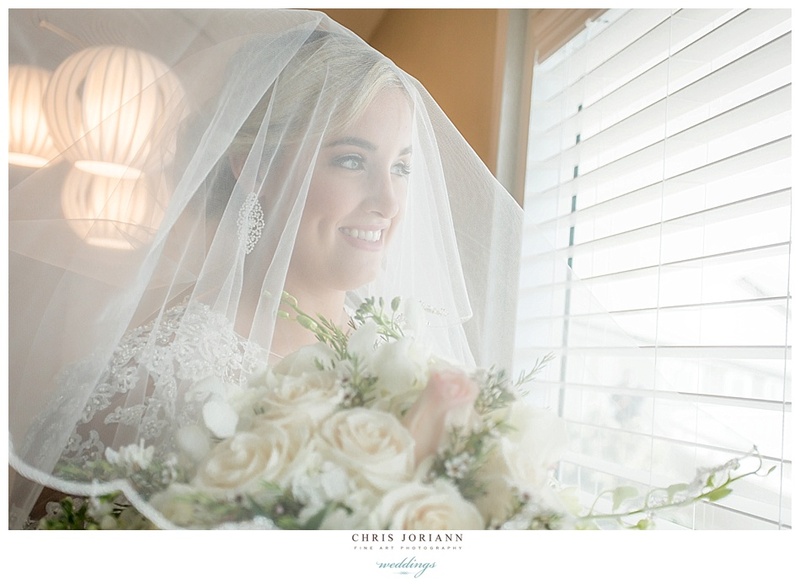 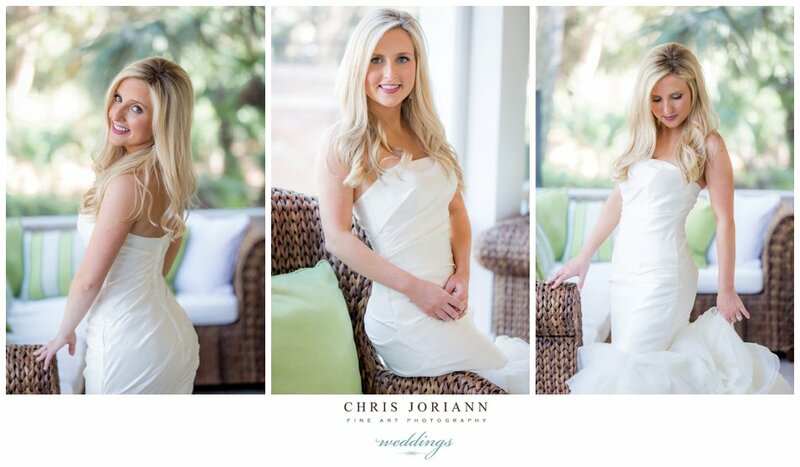 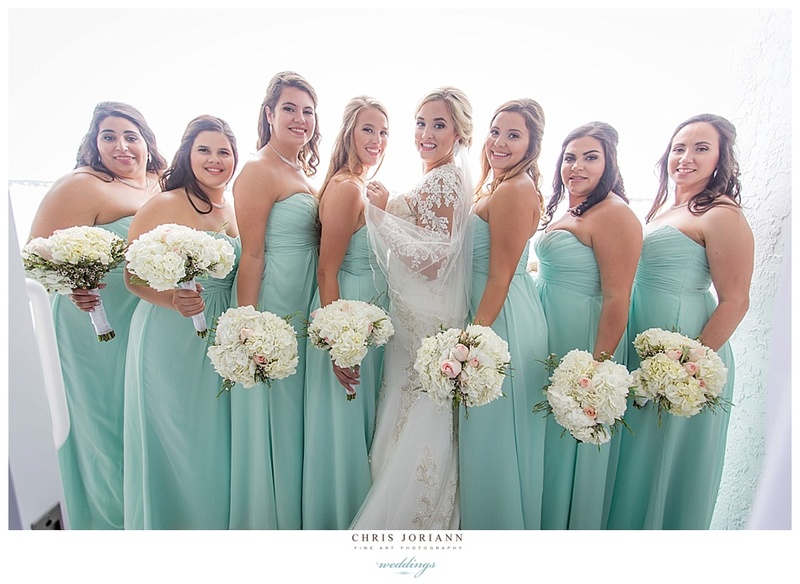 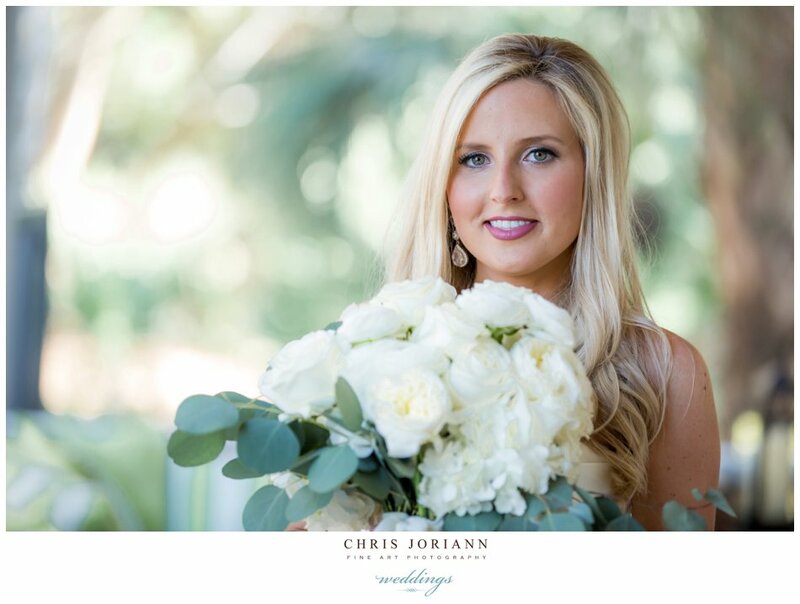 Her bridemaids wore tiffany blue chiffon gowns, with bottomless pearl sandals. 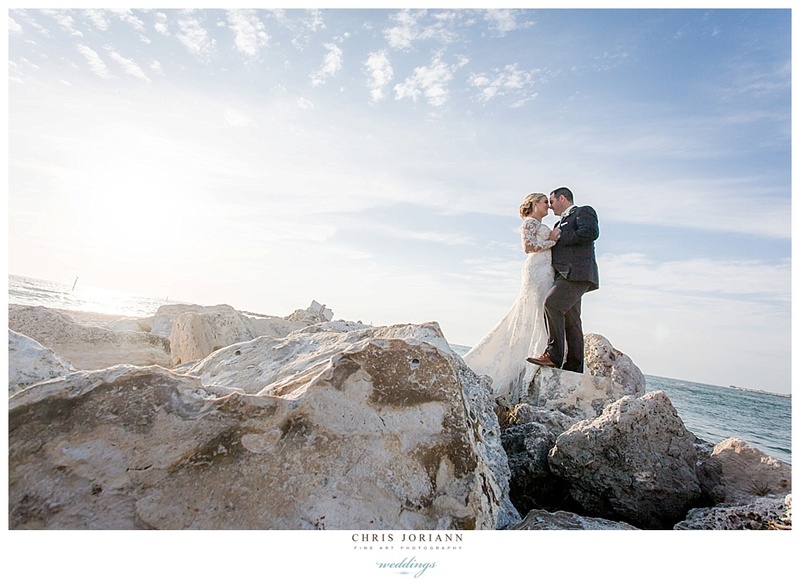 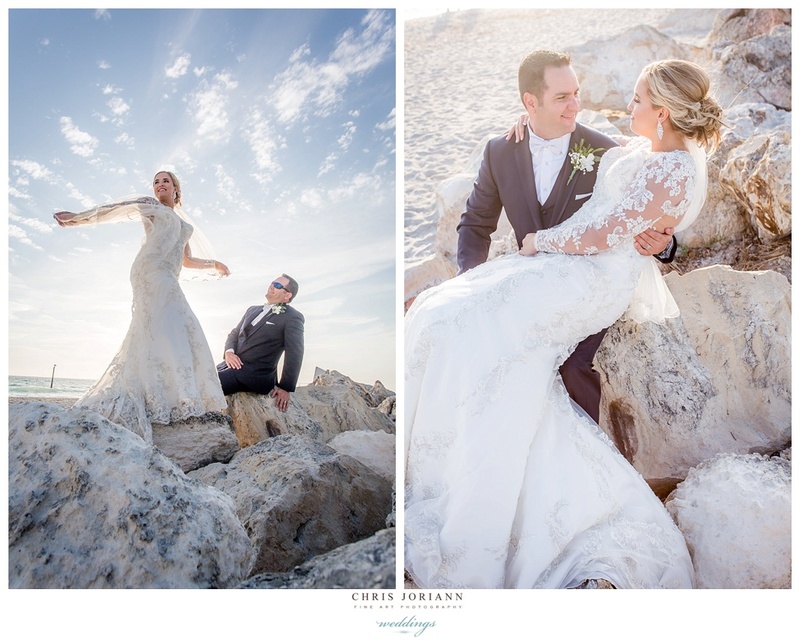 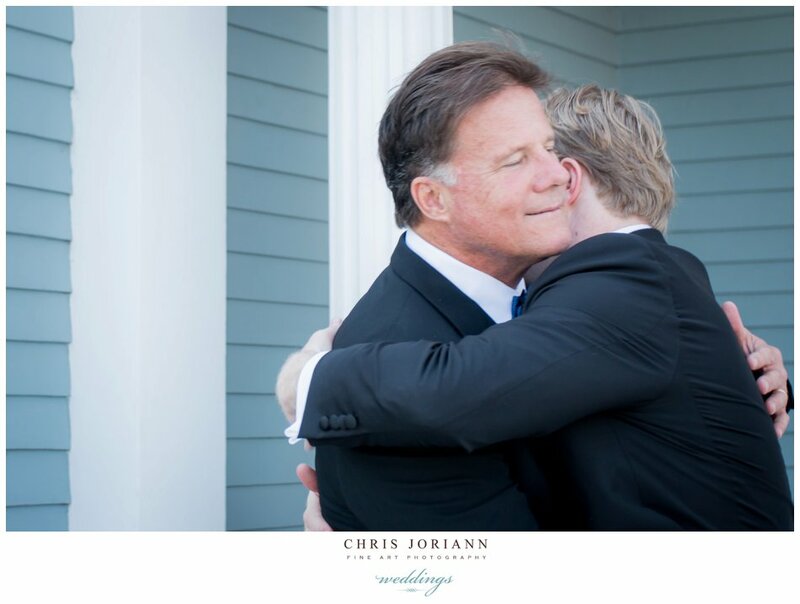 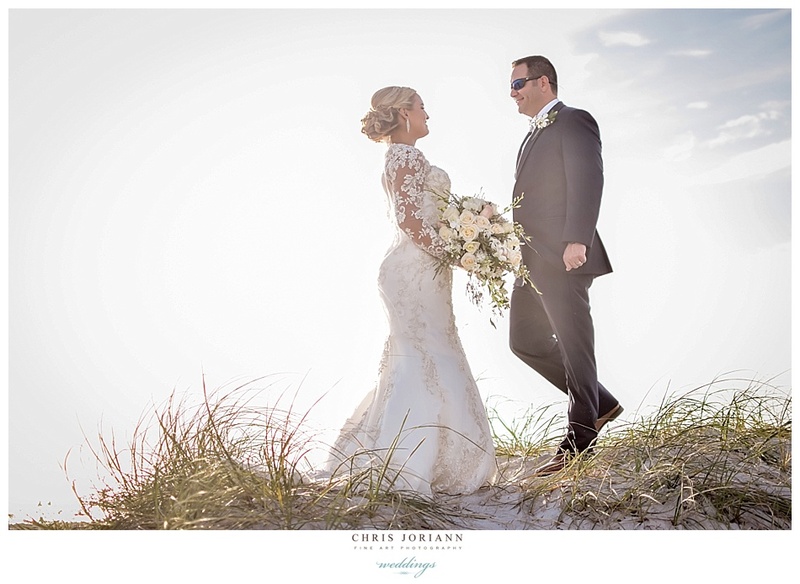 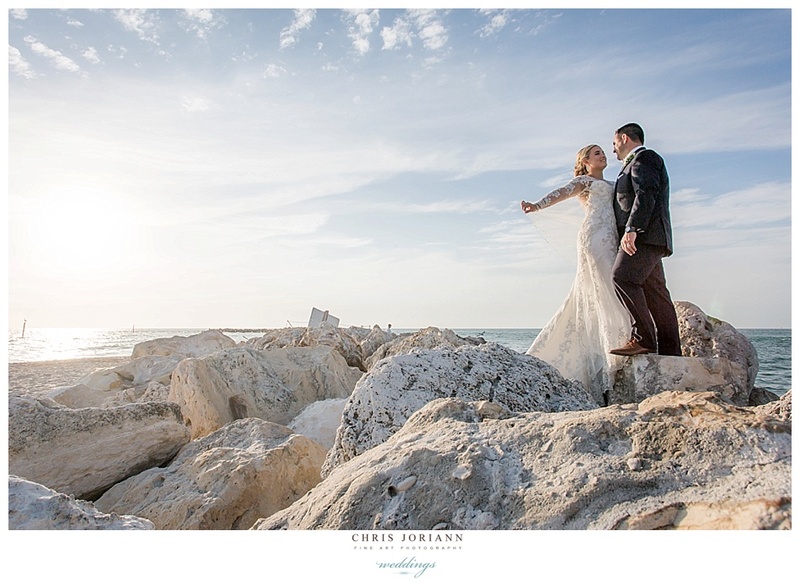 Just before sunset, the couple exchanged vows on the beach as the waves crashed against the nearby rocks. 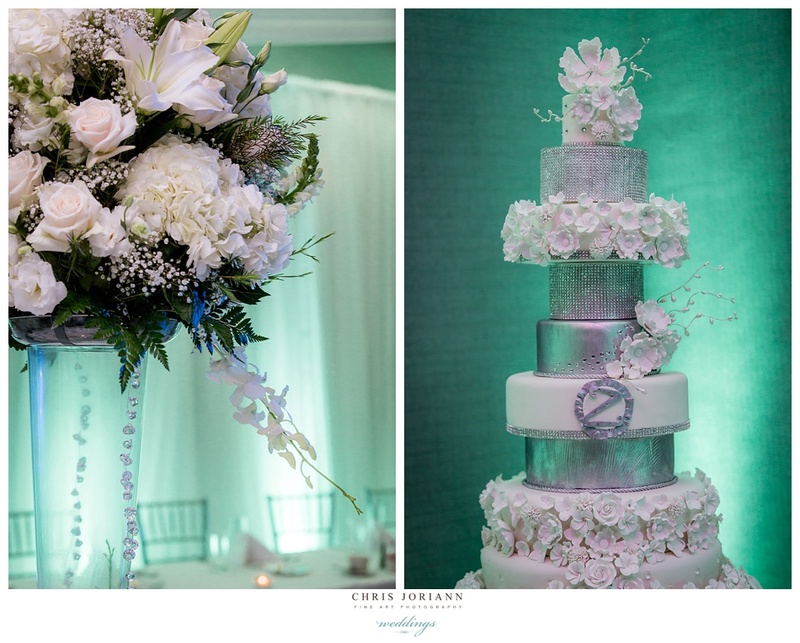 Cocktails and reception followed at The Marriott Resort on Sand Key, featuring silver chiavaris, and ivory florals, and a 10- tier silver and white fondant cake with sugar spun flowers and rhinestones, in a candlelit room uplit in tiffany.